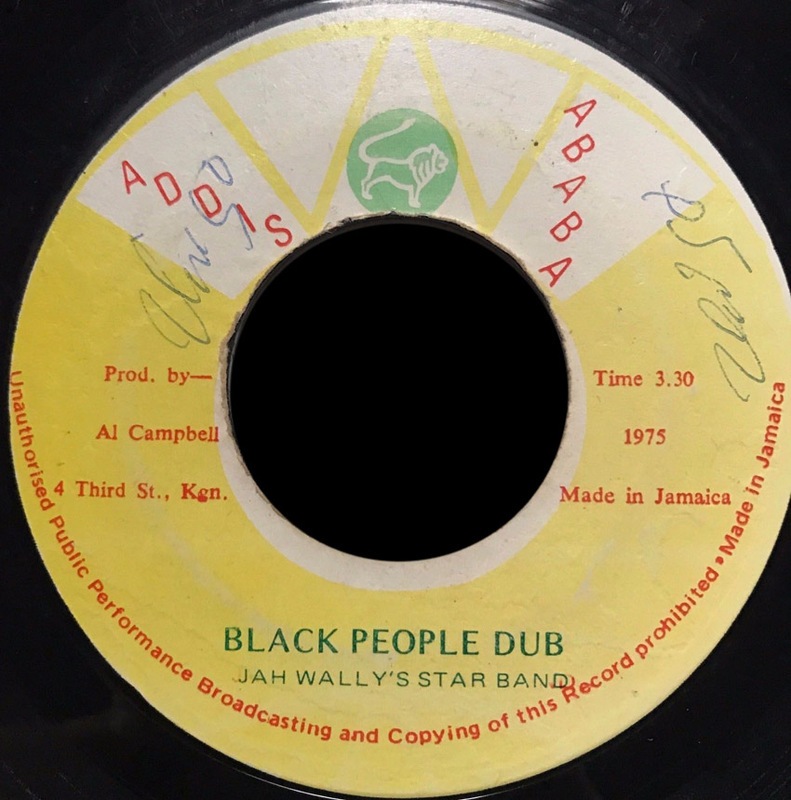 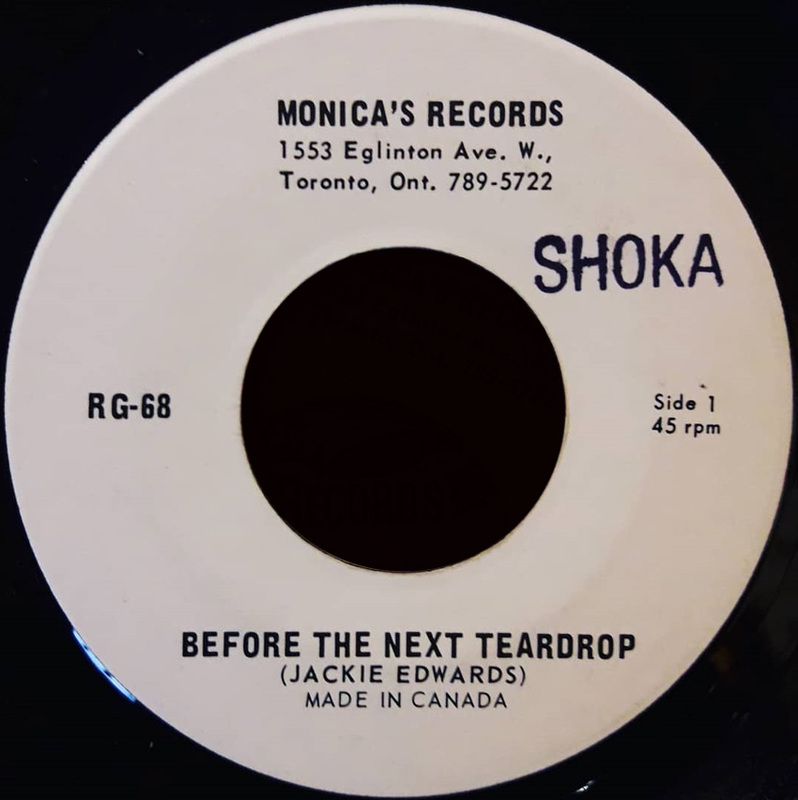 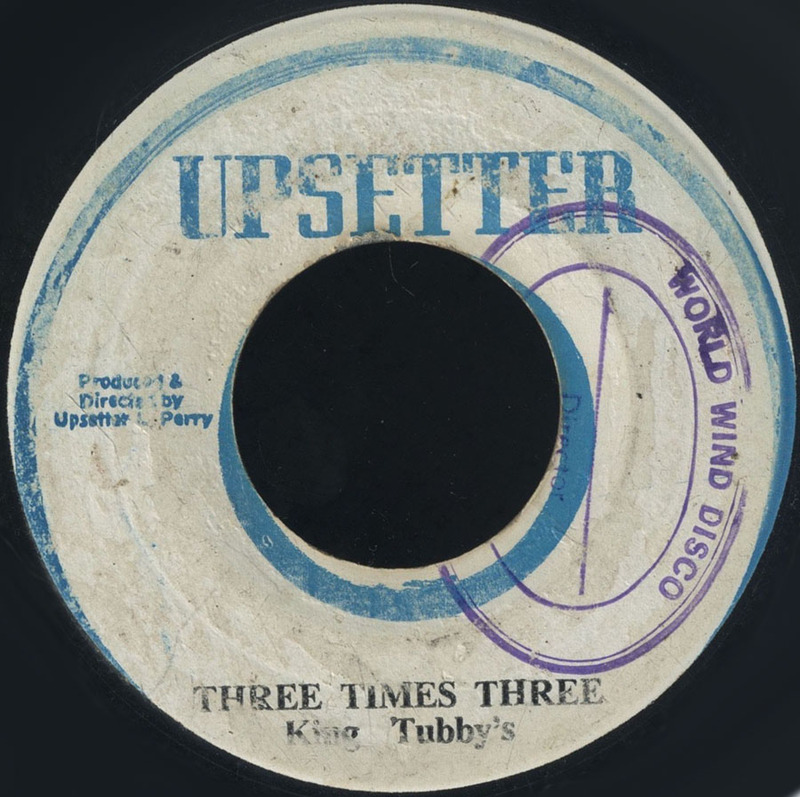 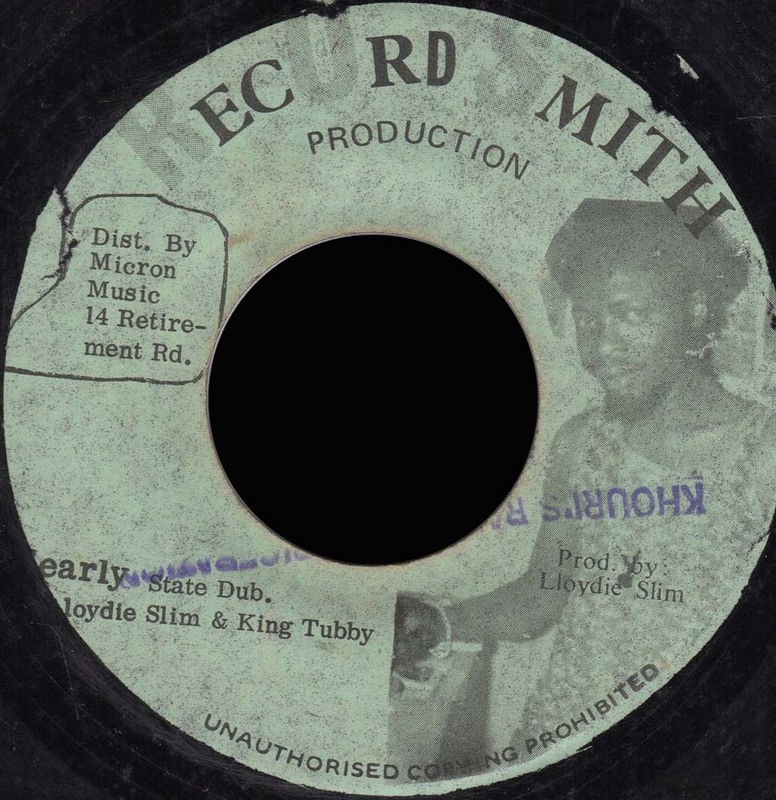 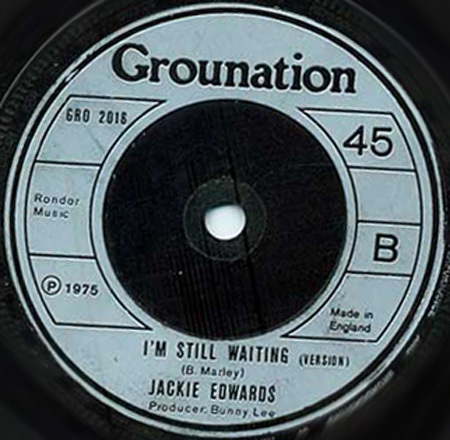 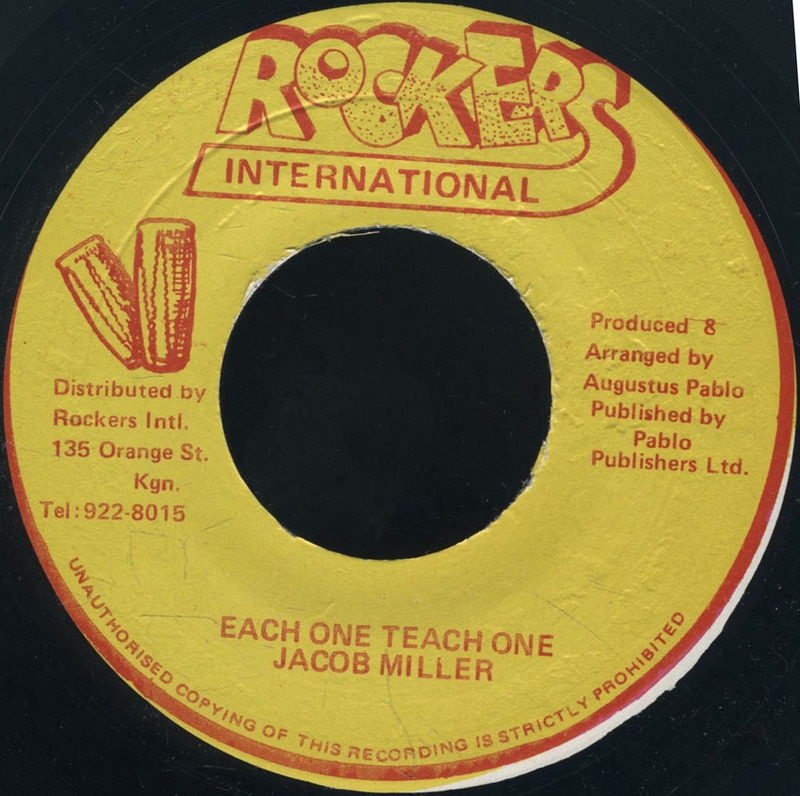 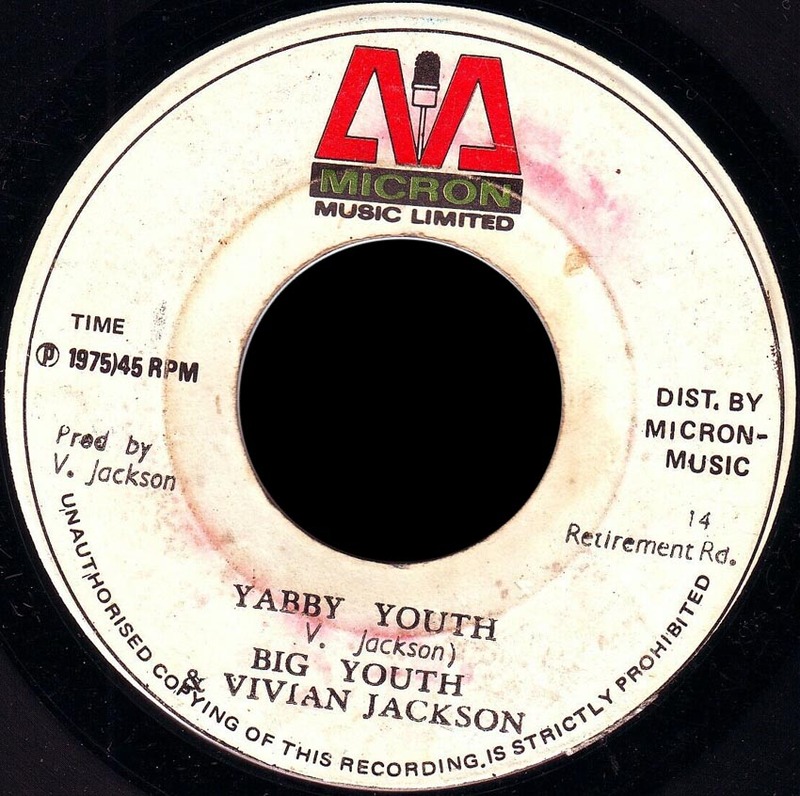 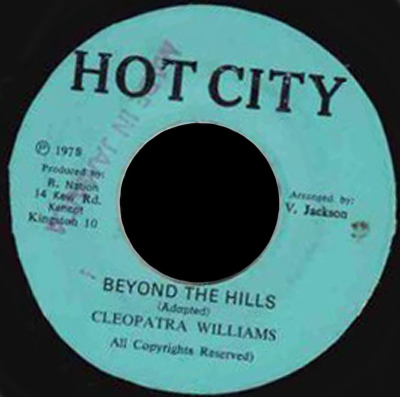 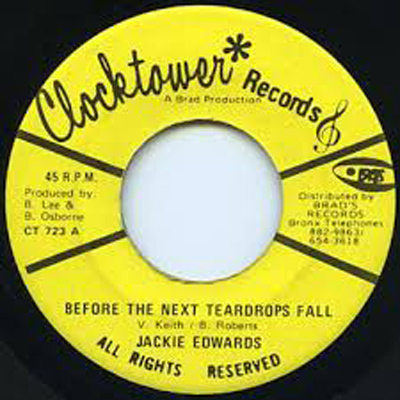 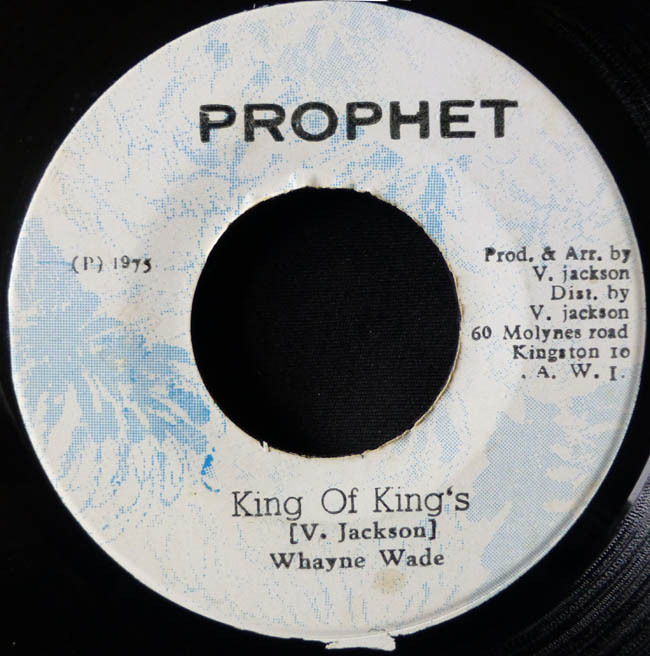 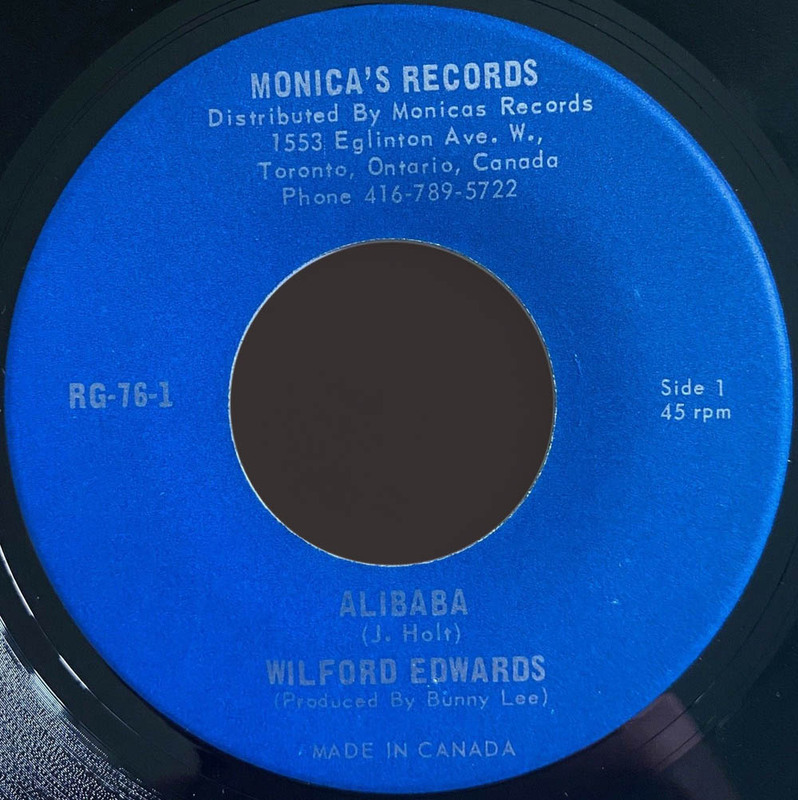 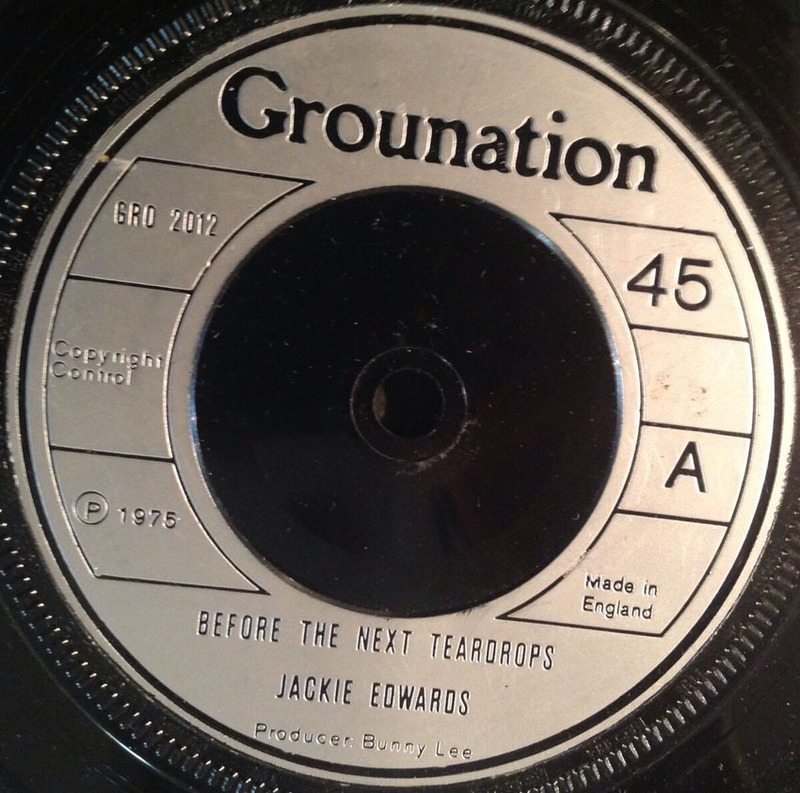 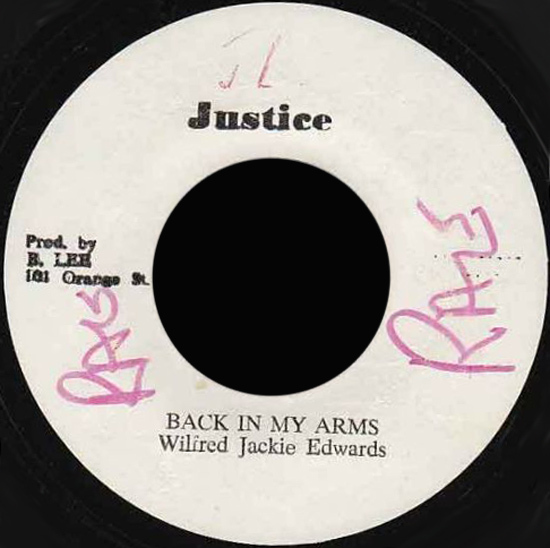 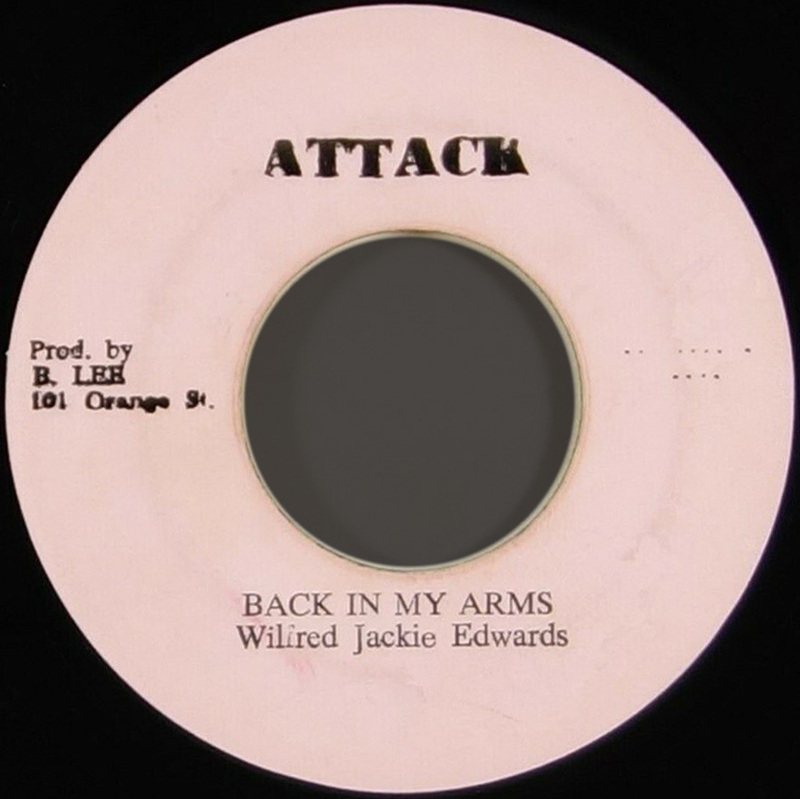 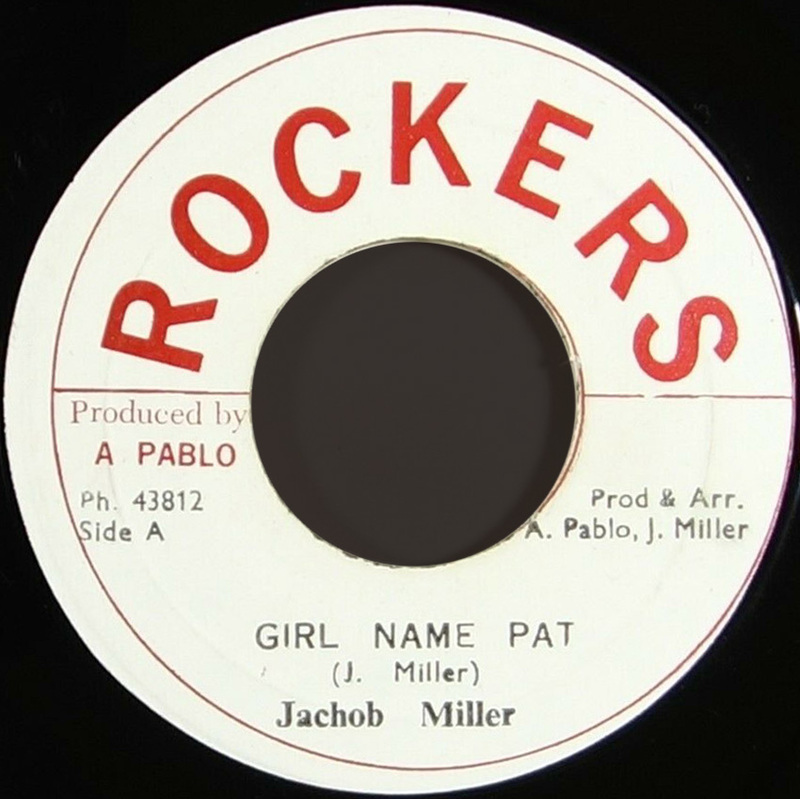 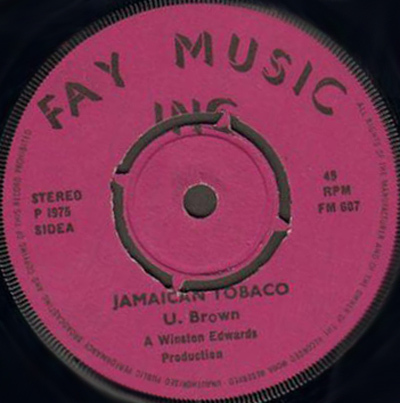 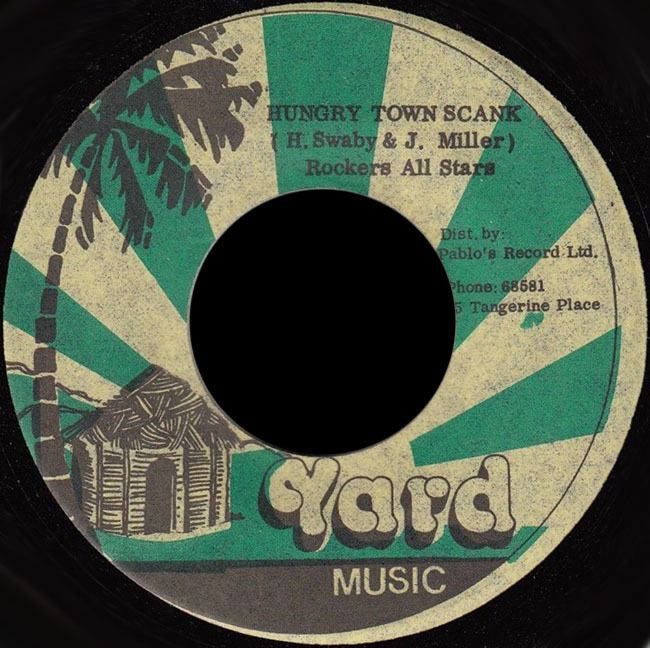 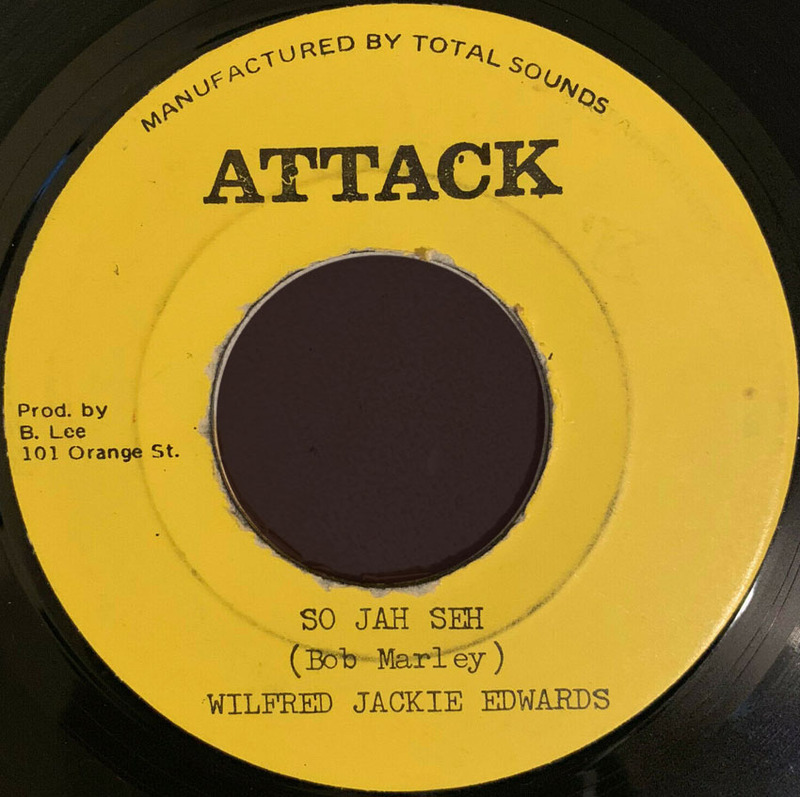 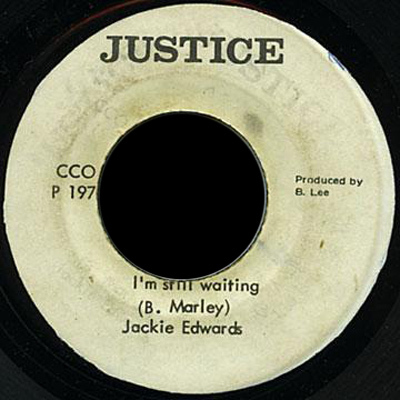 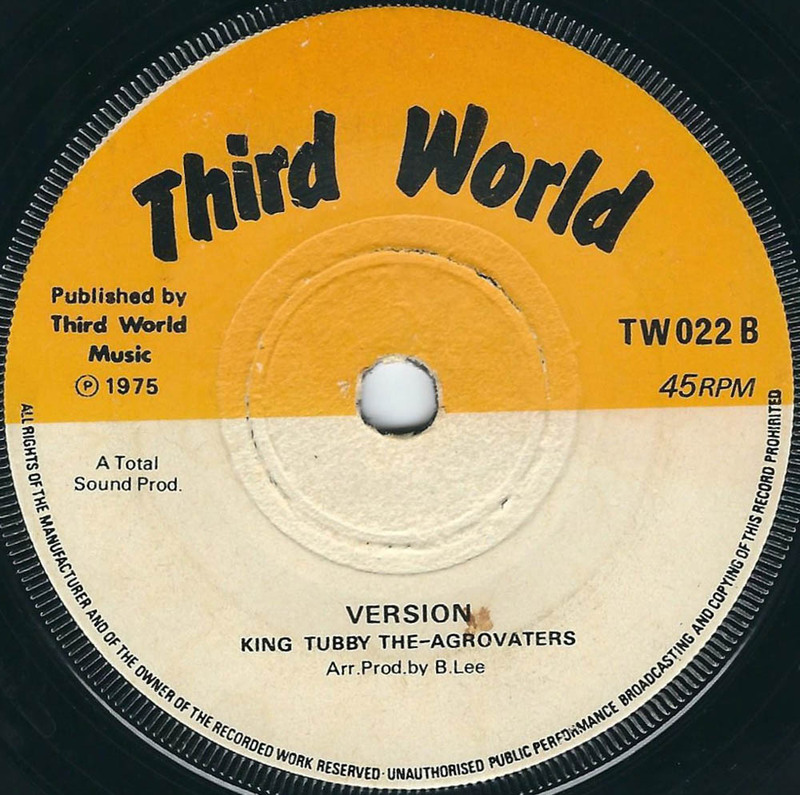 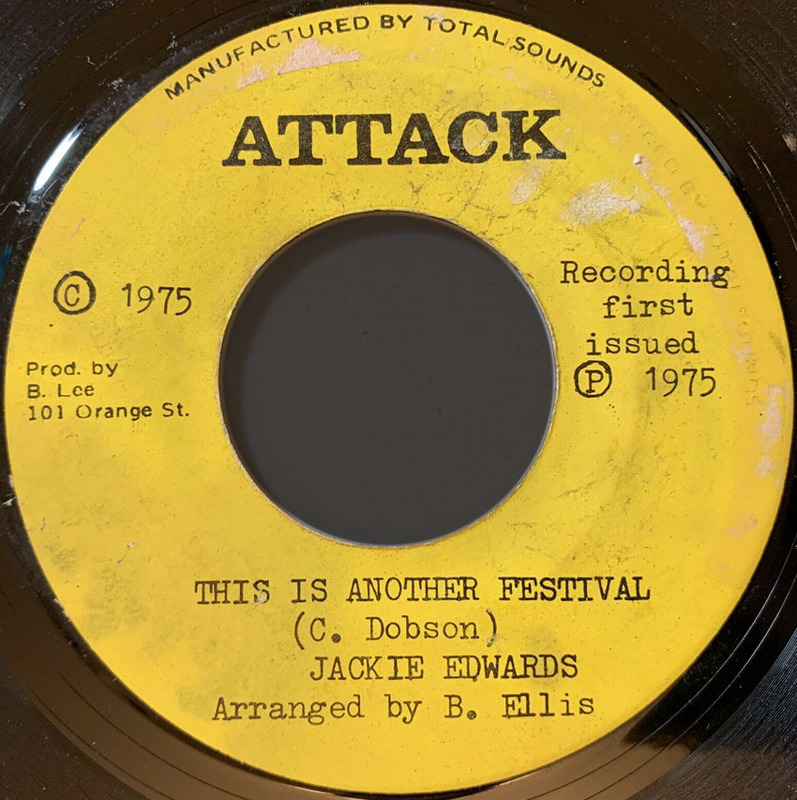 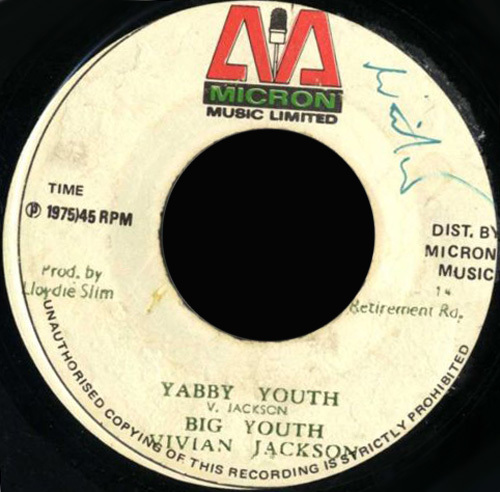 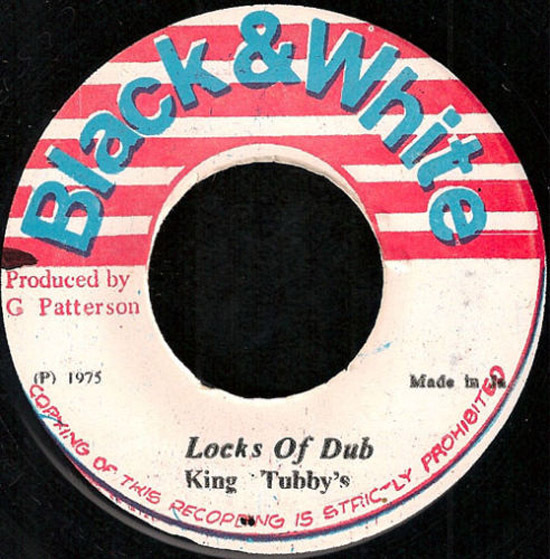 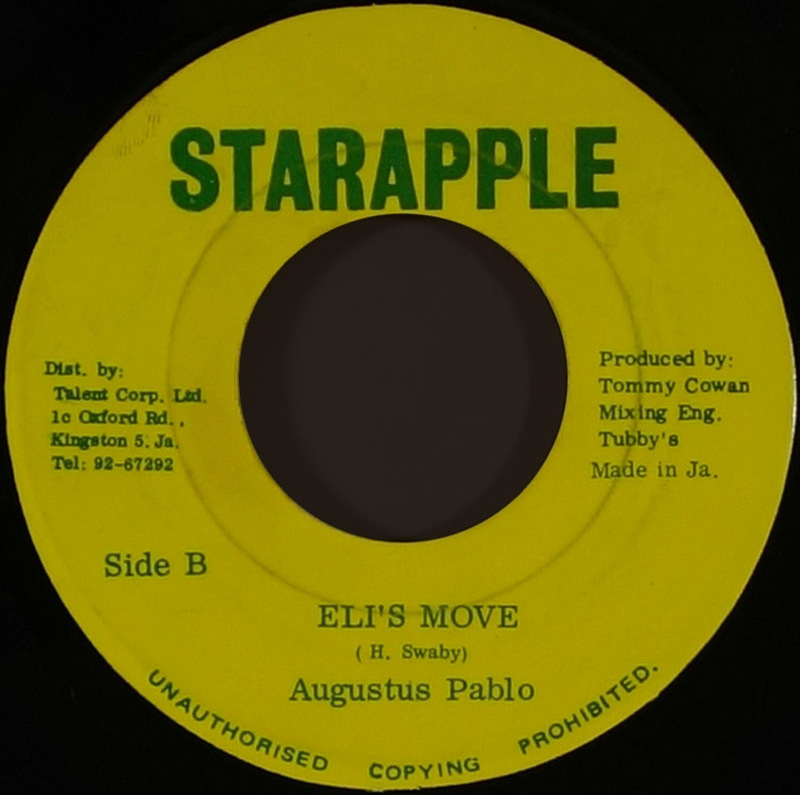 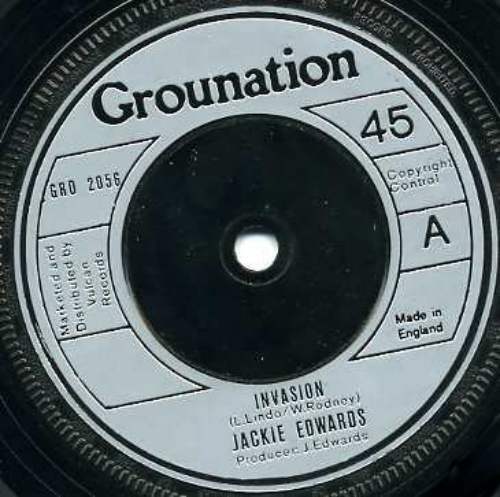 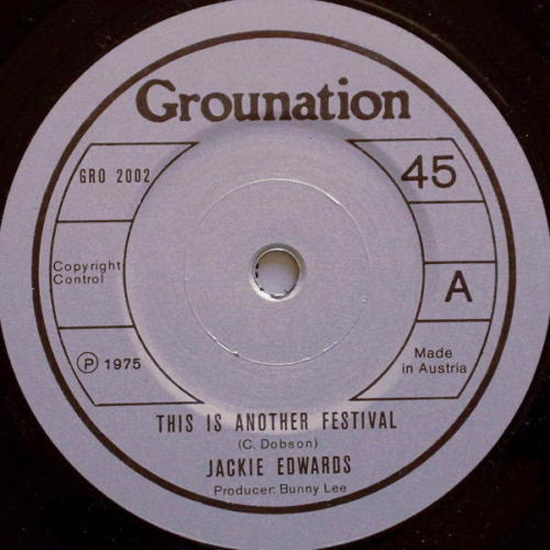 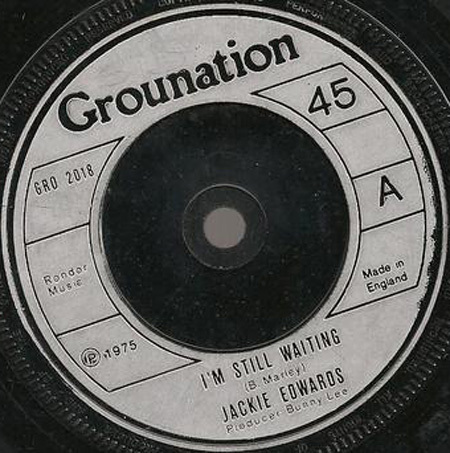 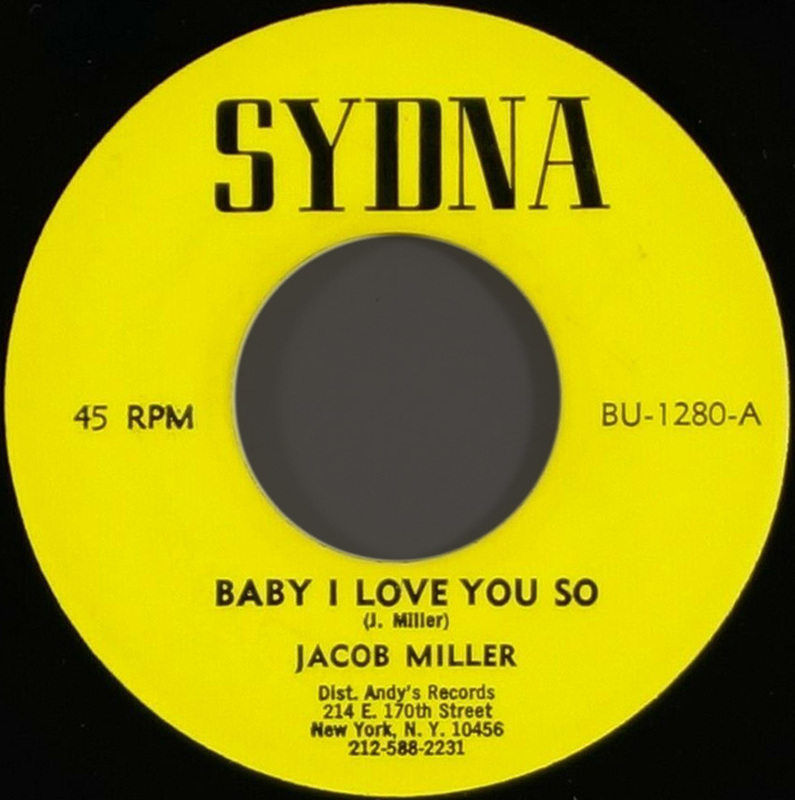 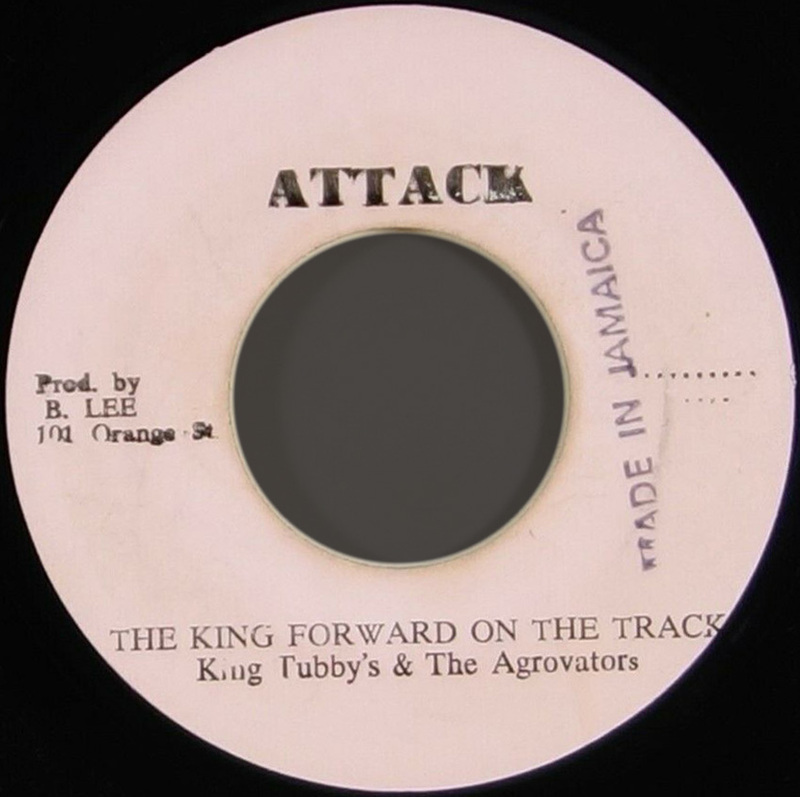 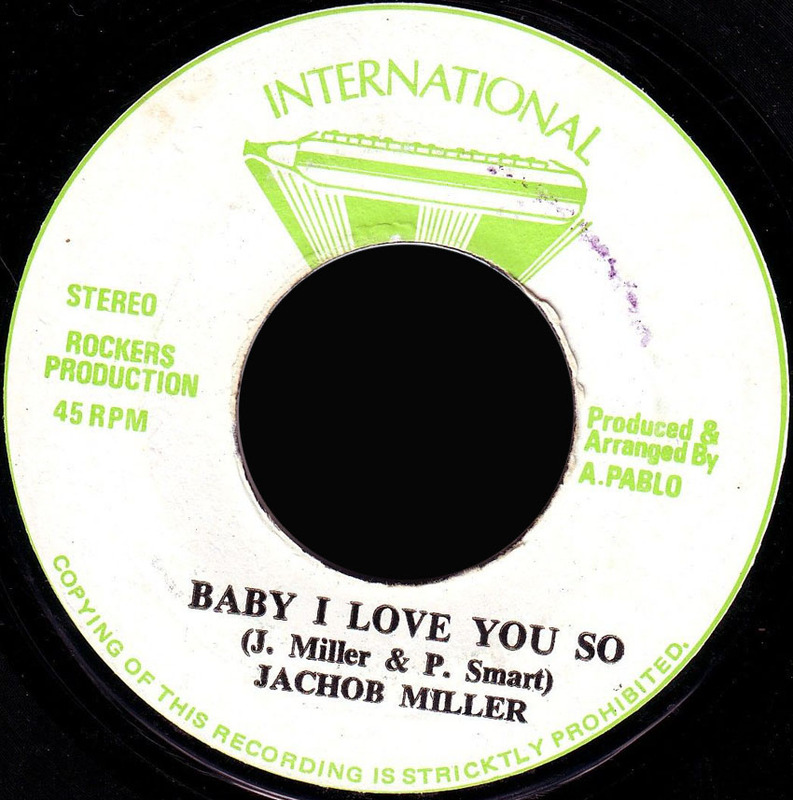 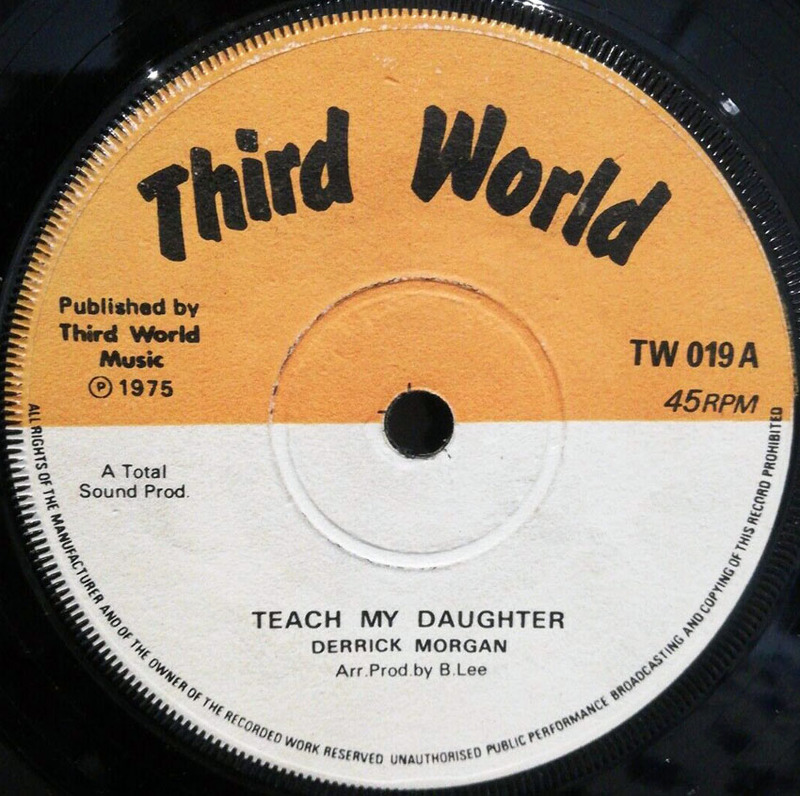 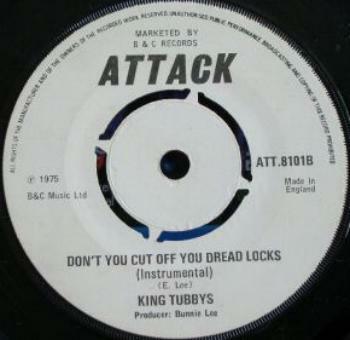 1975 7" Back In My Arms Wilfred Jackie Edwards The King Forward On The Track King Tubby's JA. 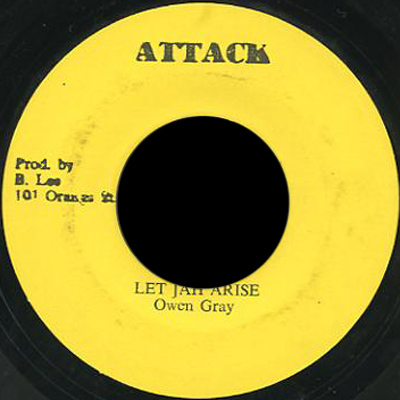 Attack Bunny Lee Pr. 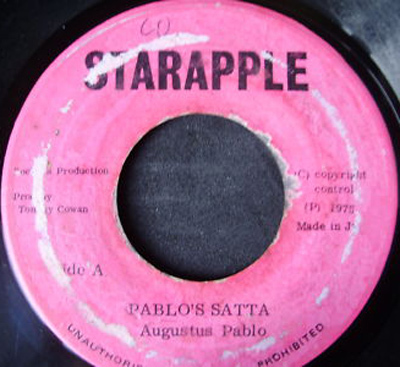 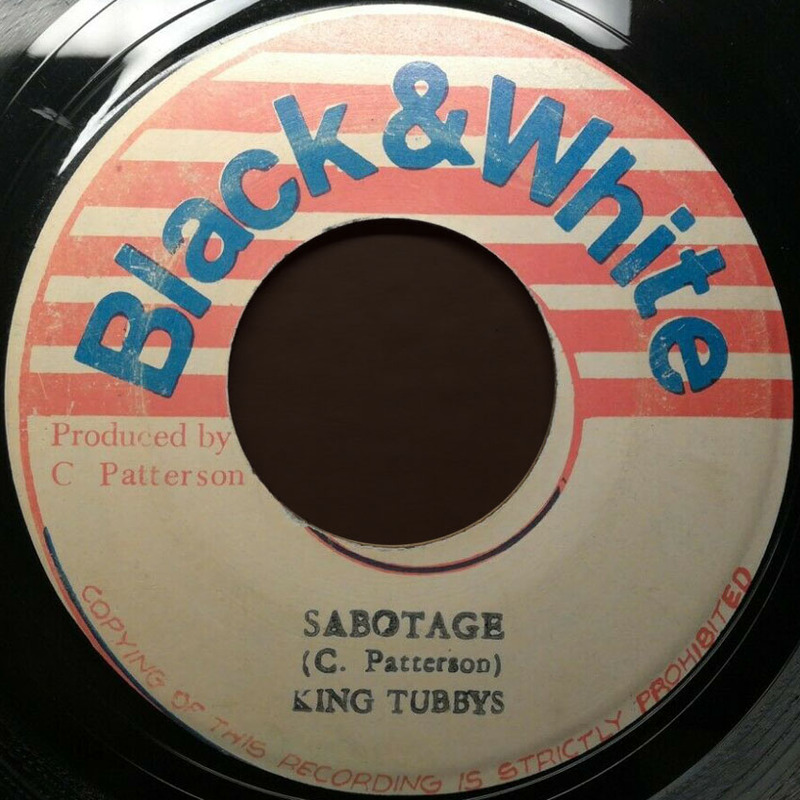 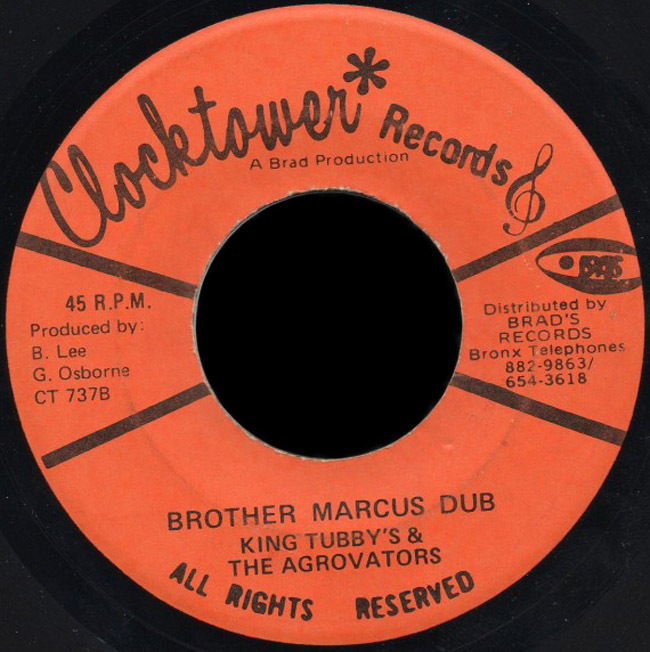 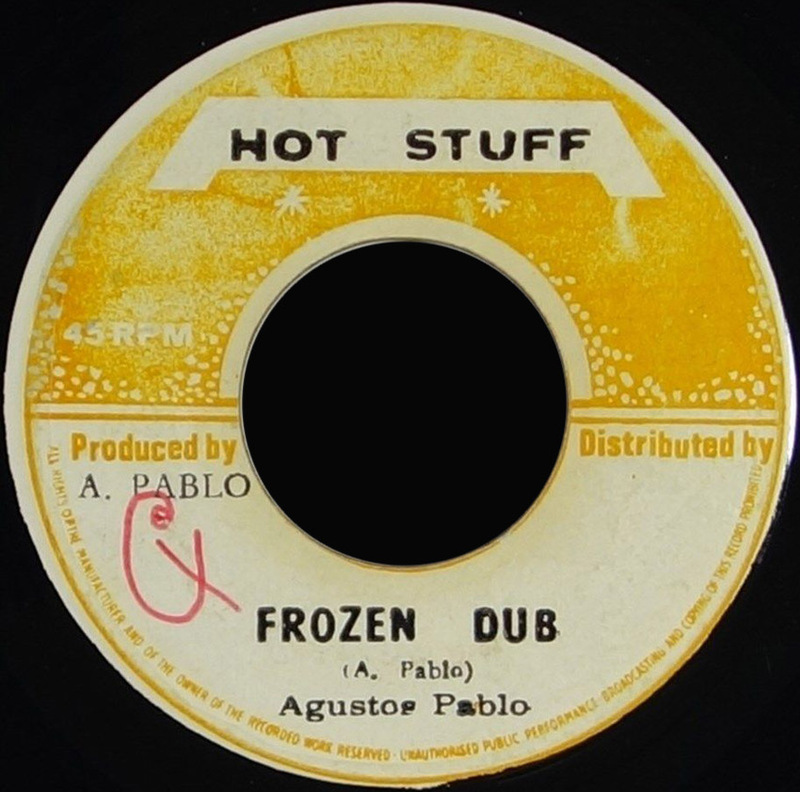 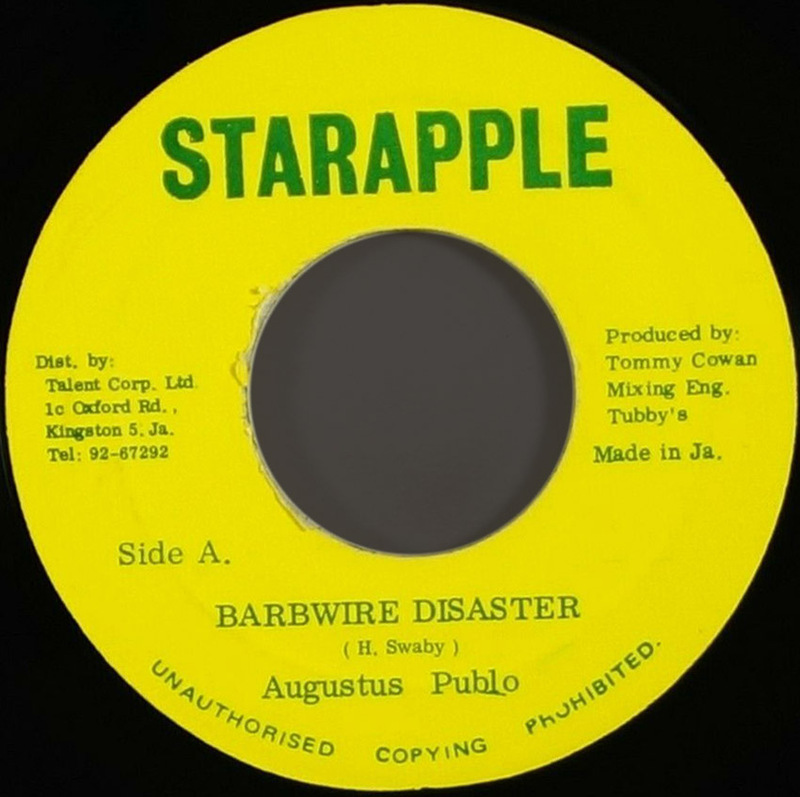 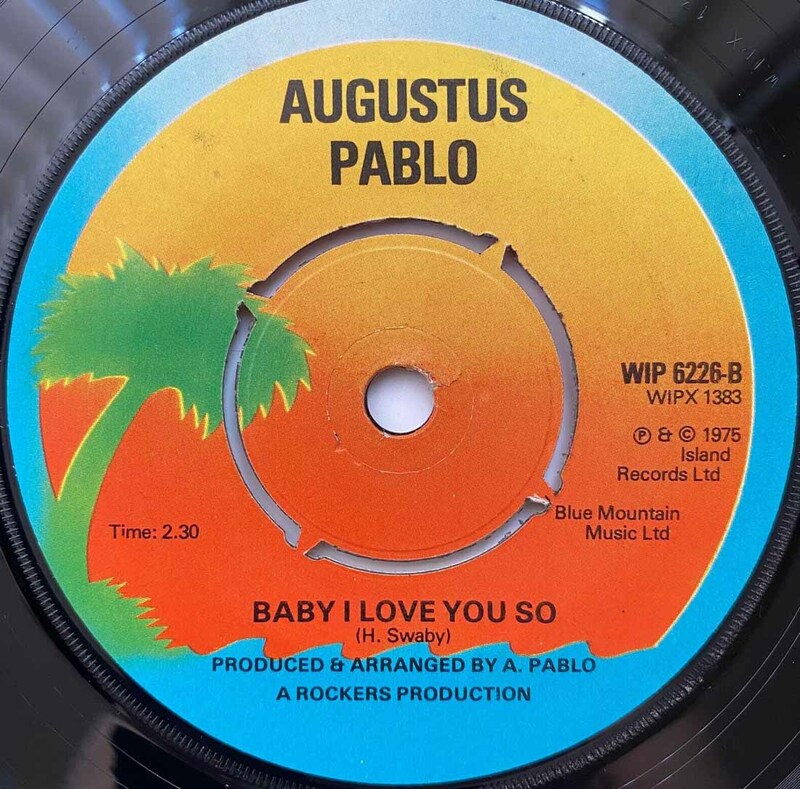 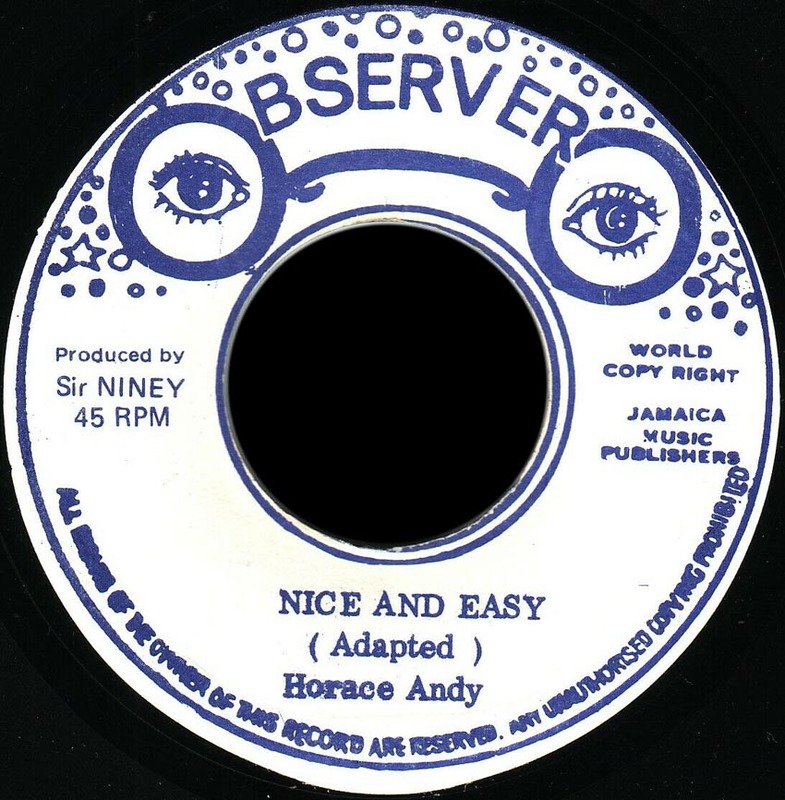 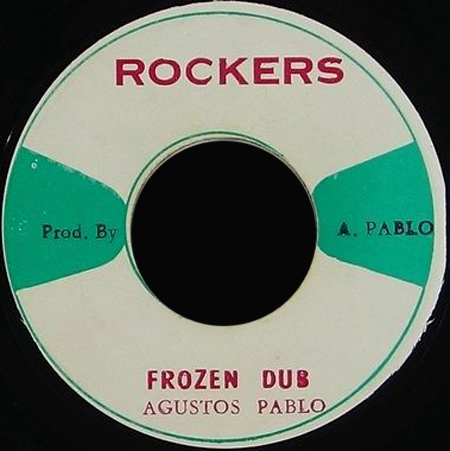 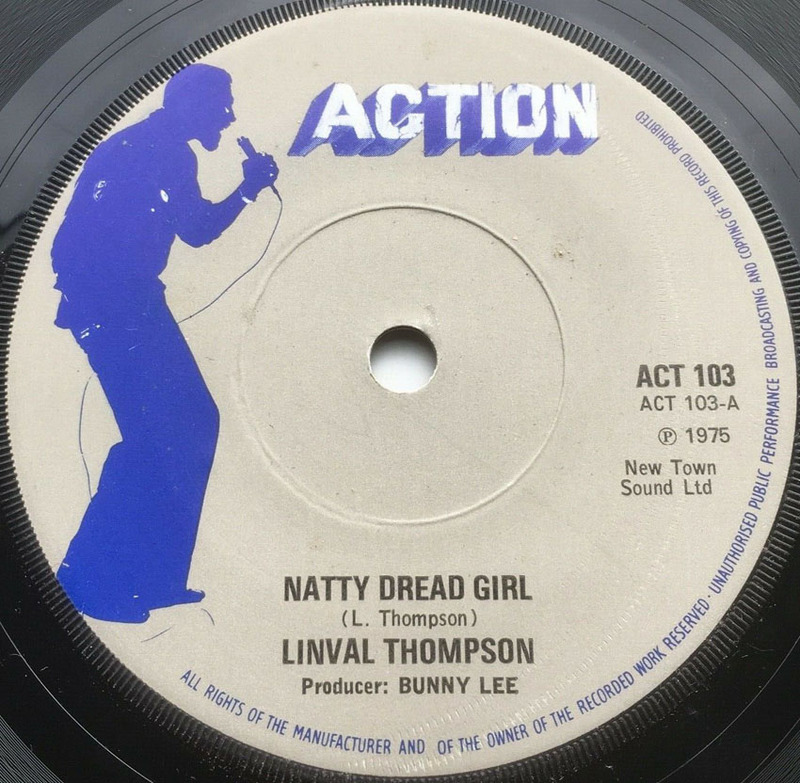 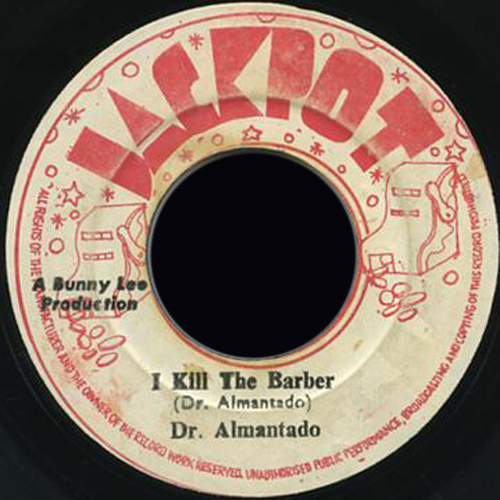 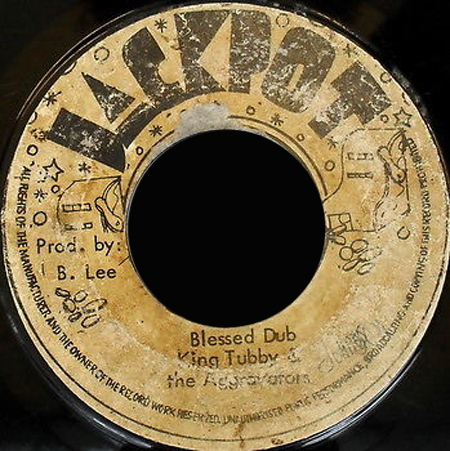 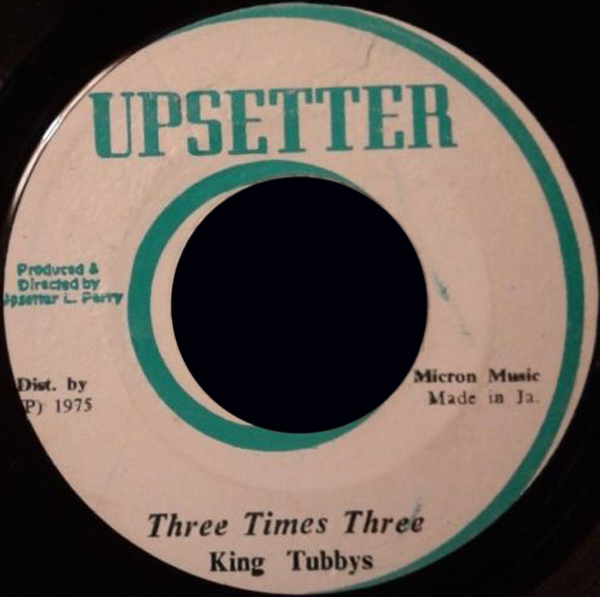 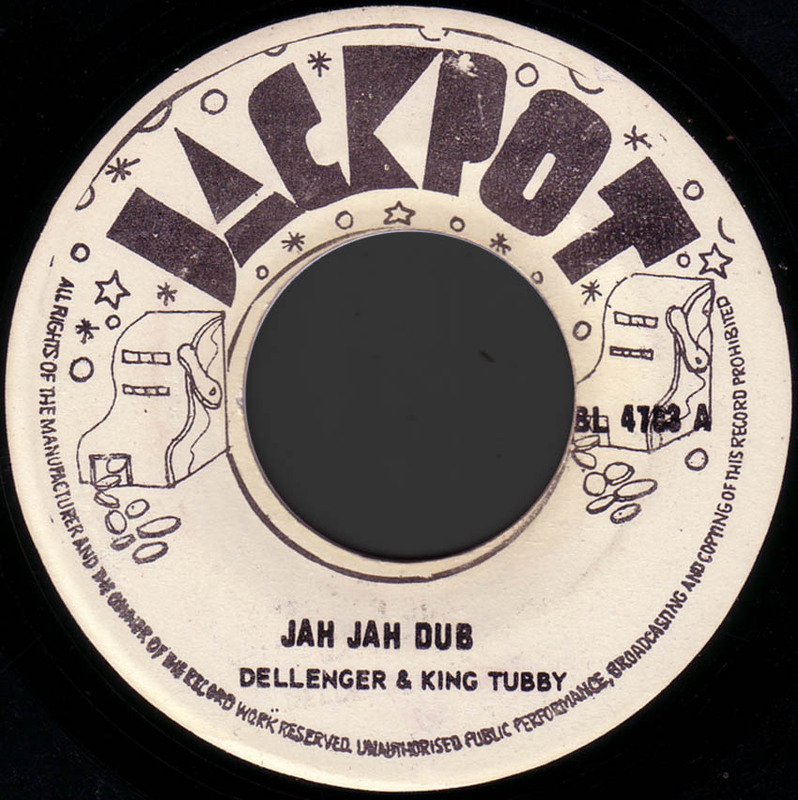 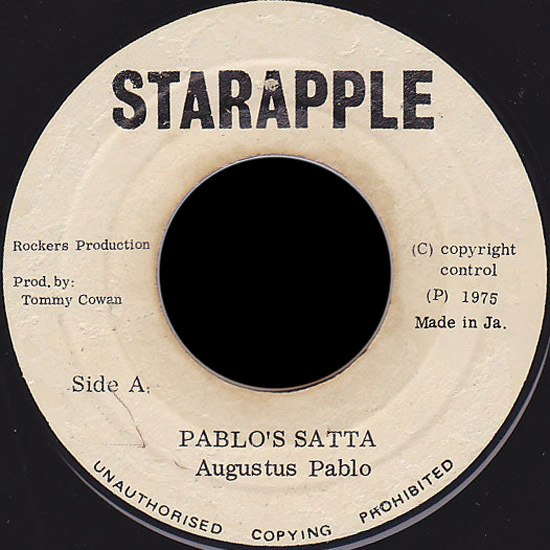 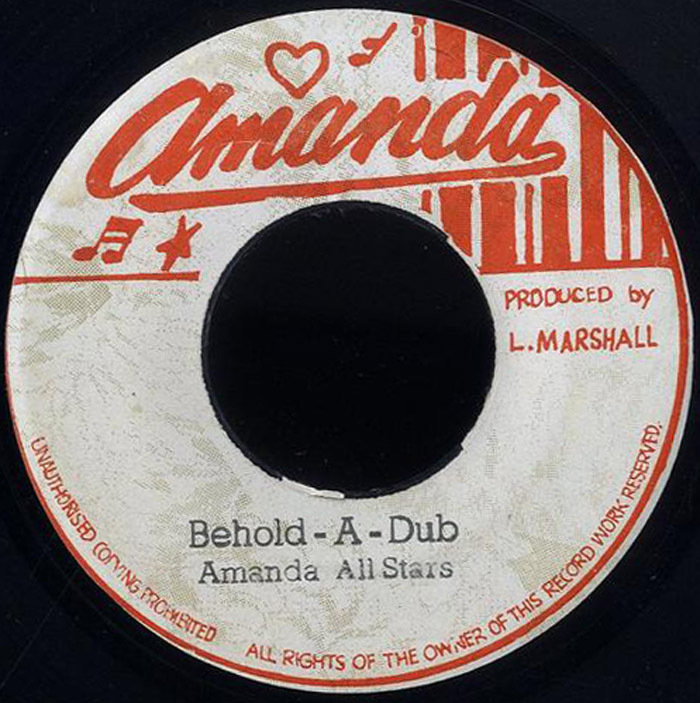 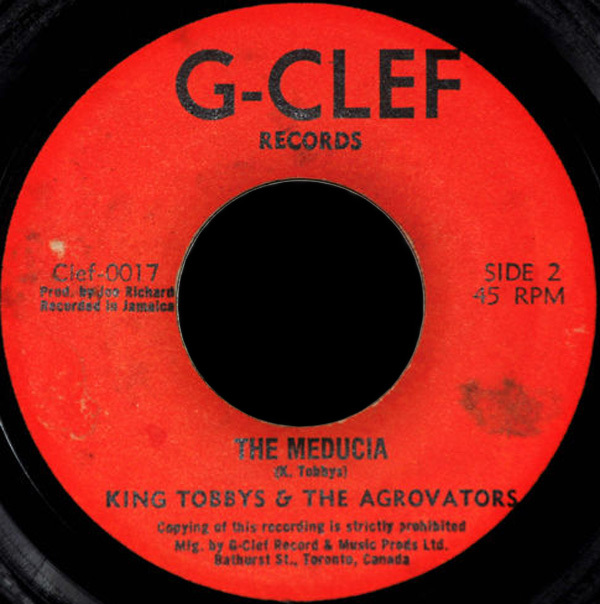 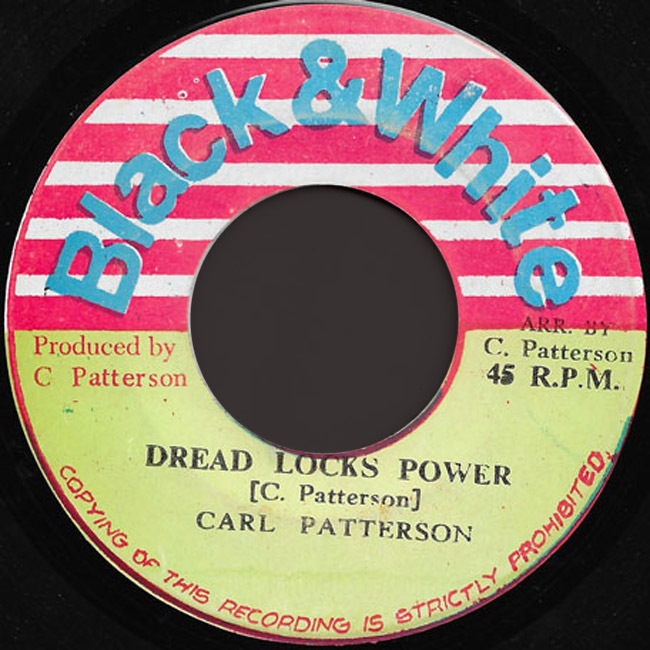 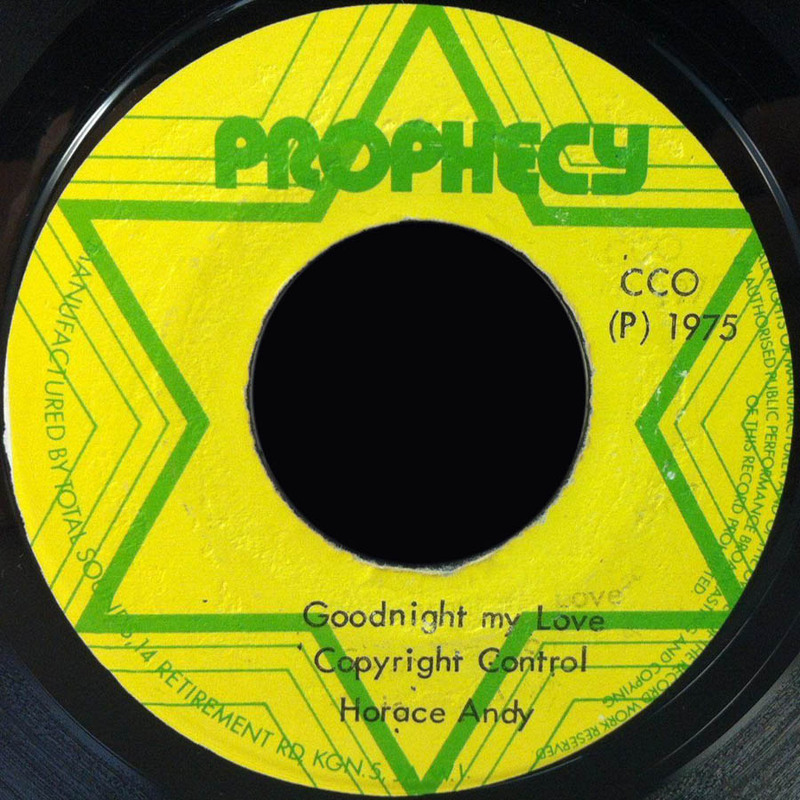 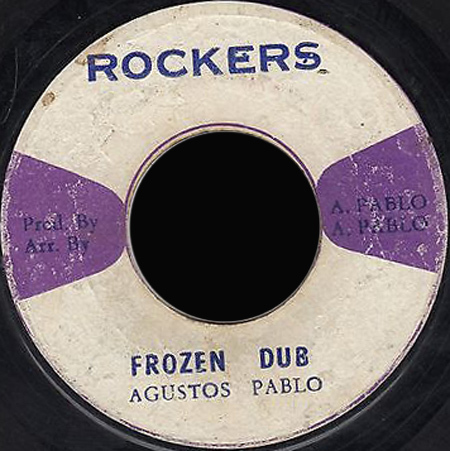 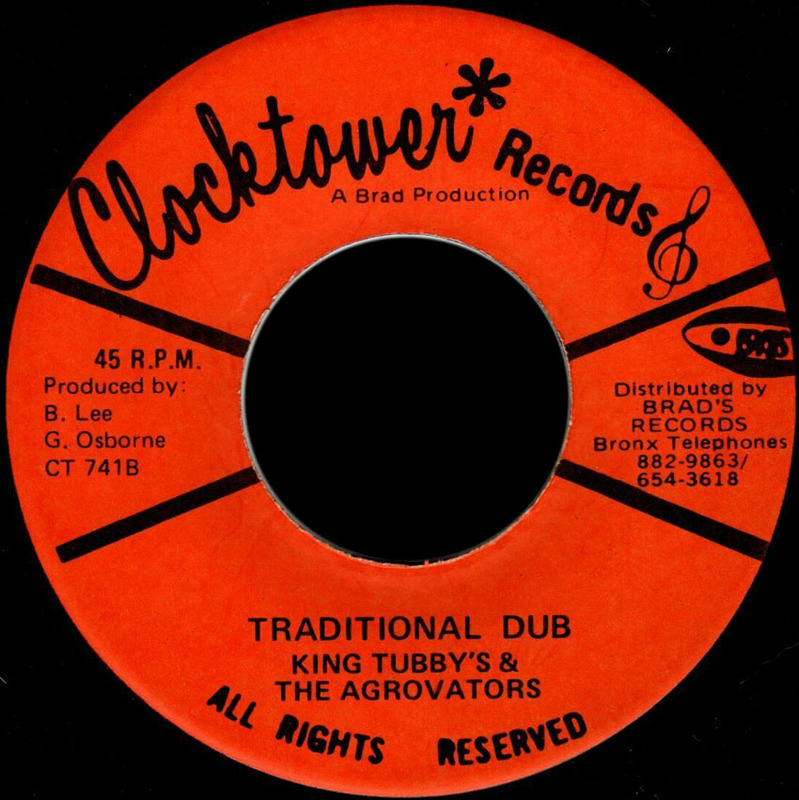 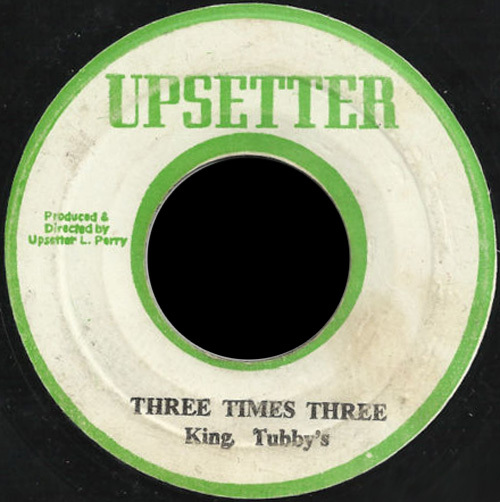 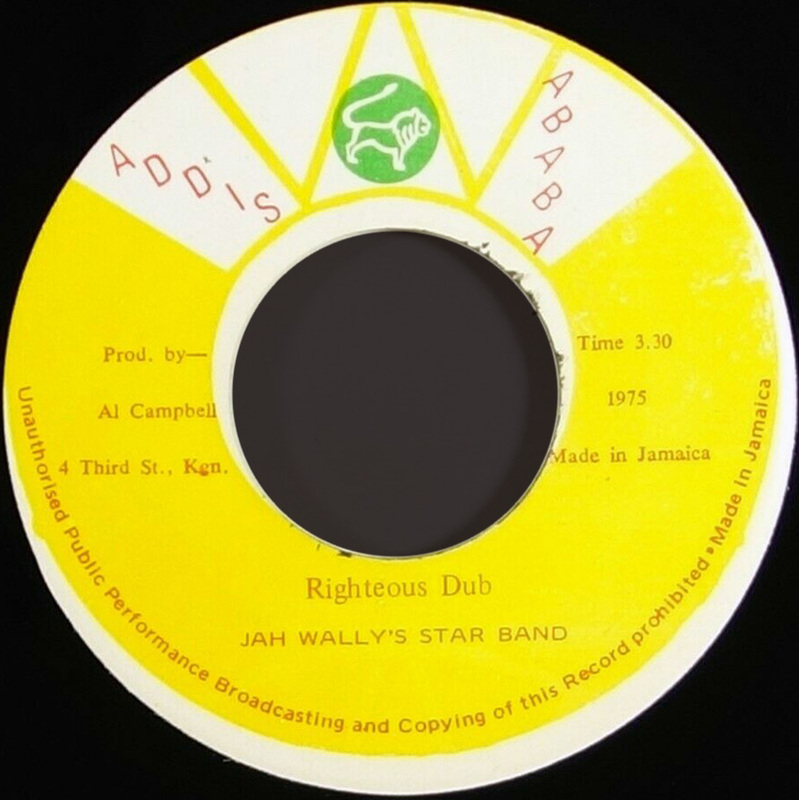 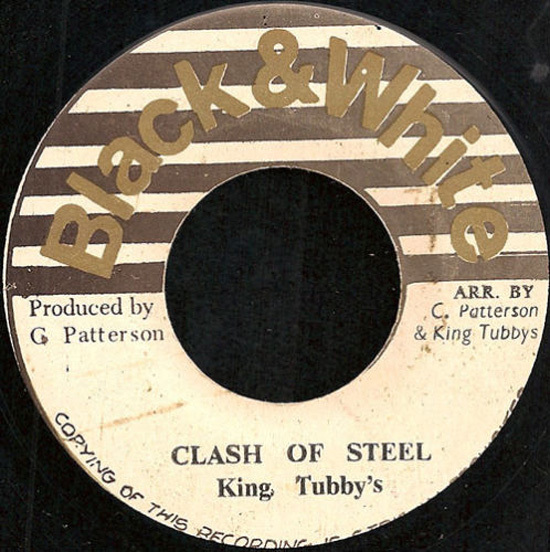 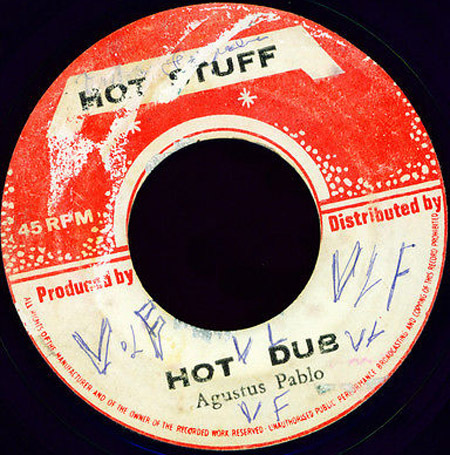 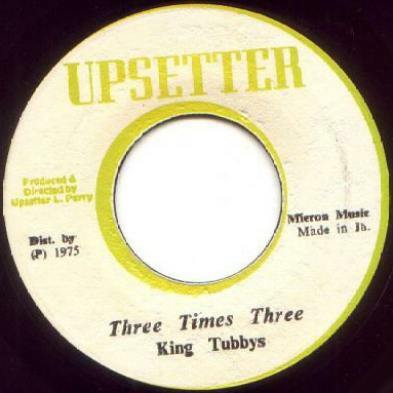 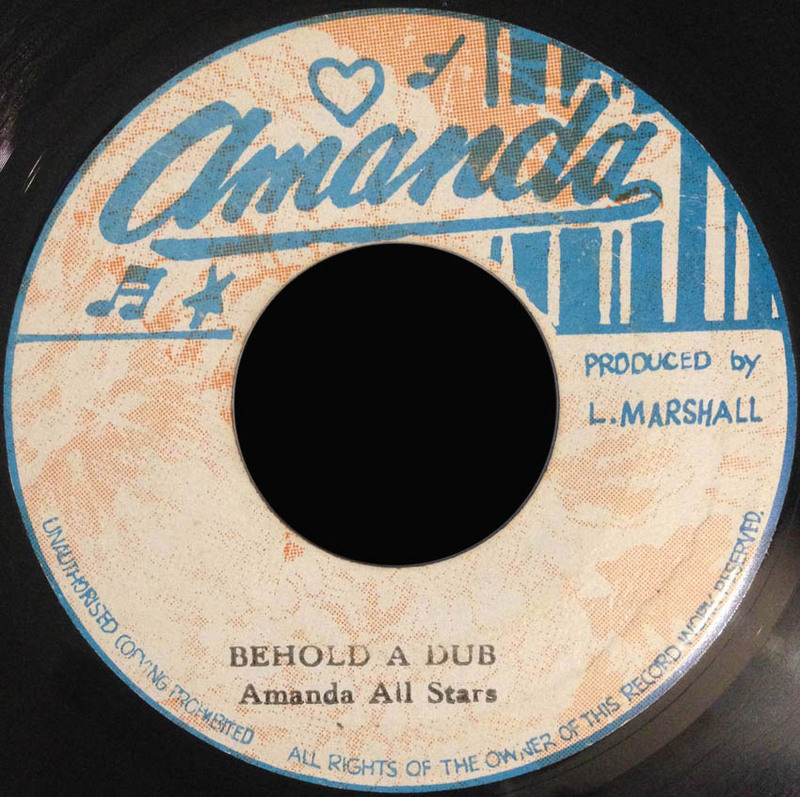 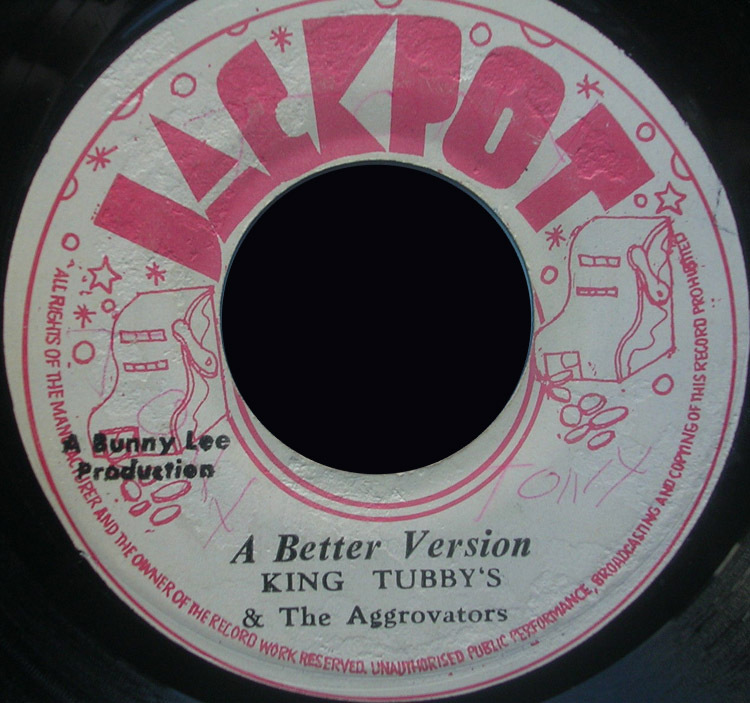 1975 7" Better Collie Horace Andy A Better Version King Tubby And Aggrovators JA. ? 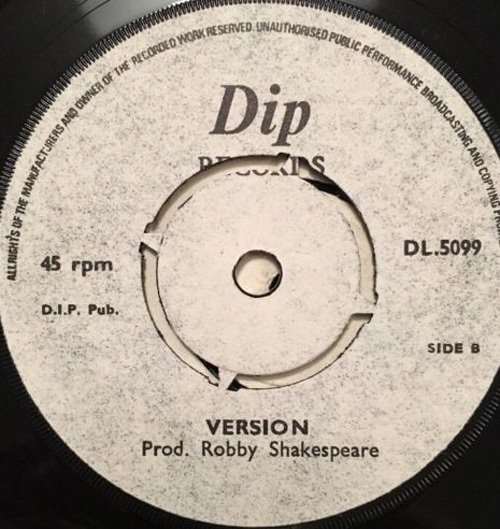 197? 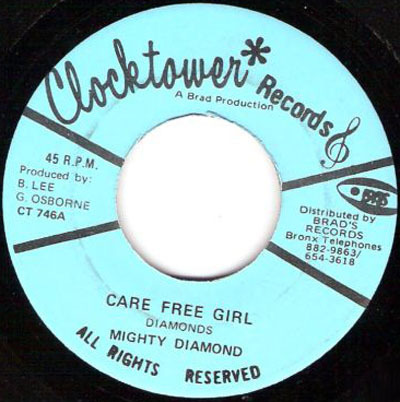 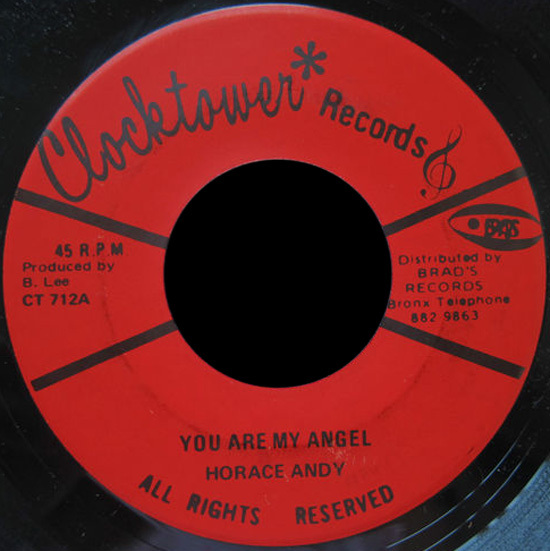 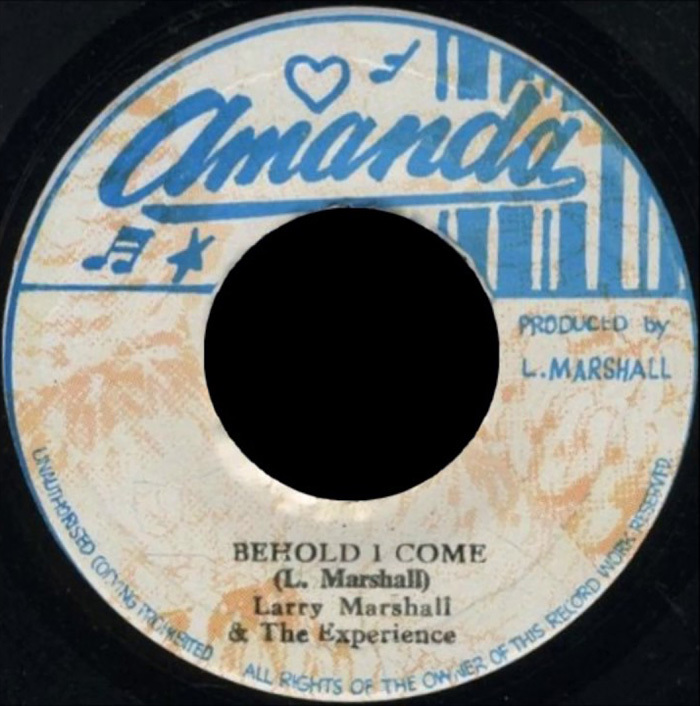 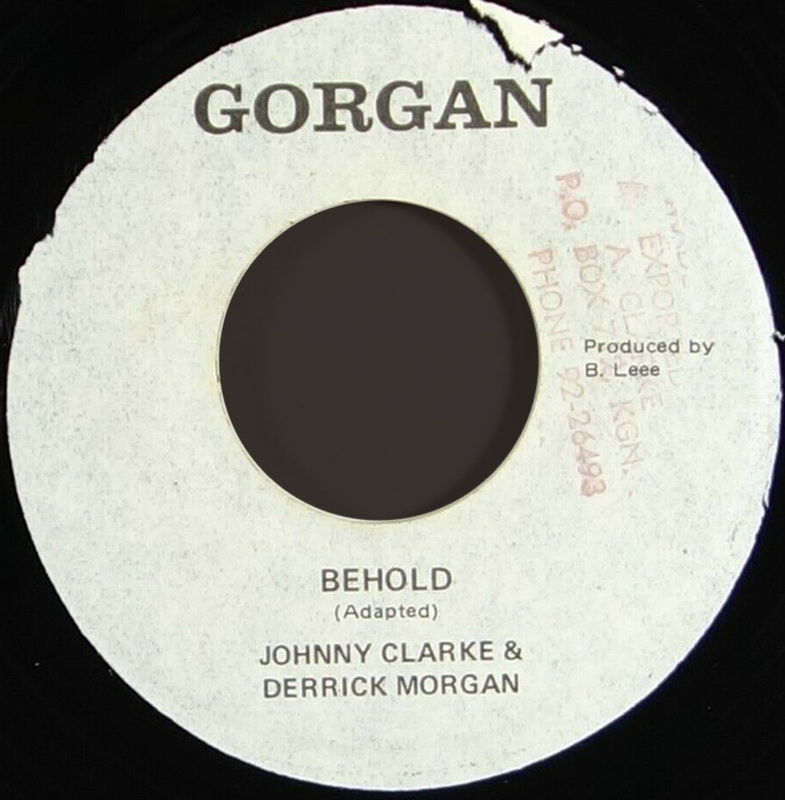 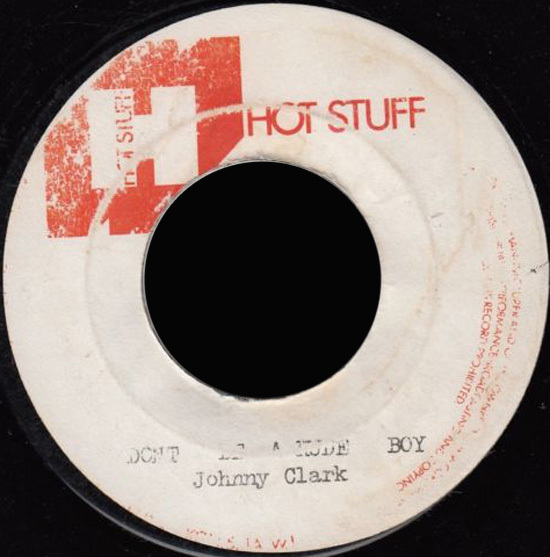 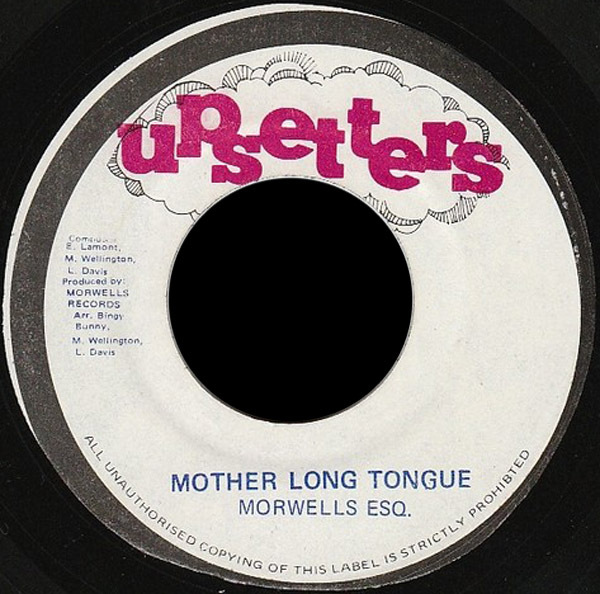 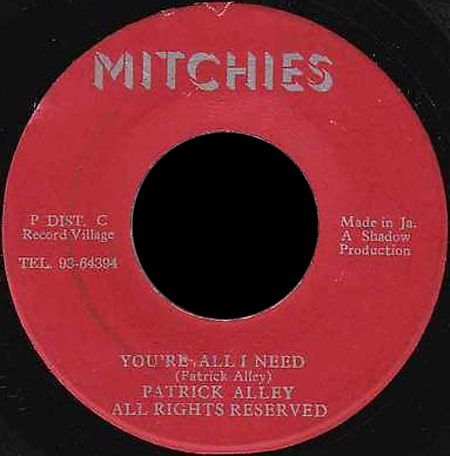 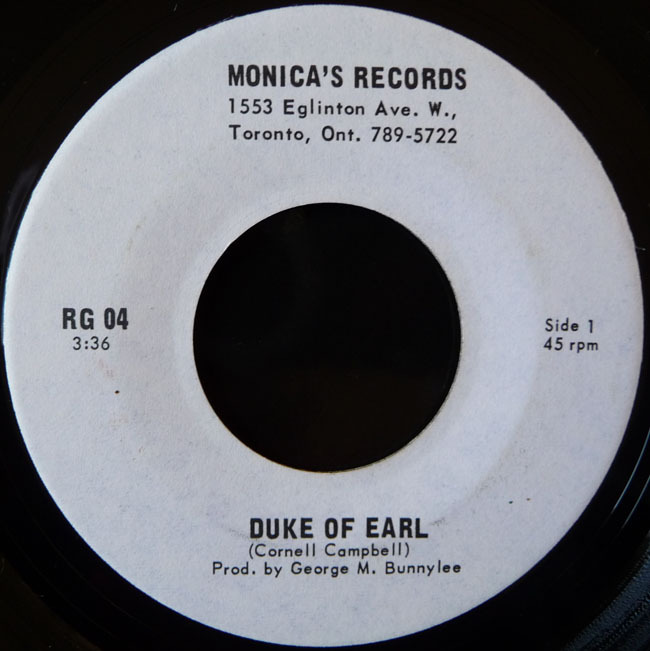 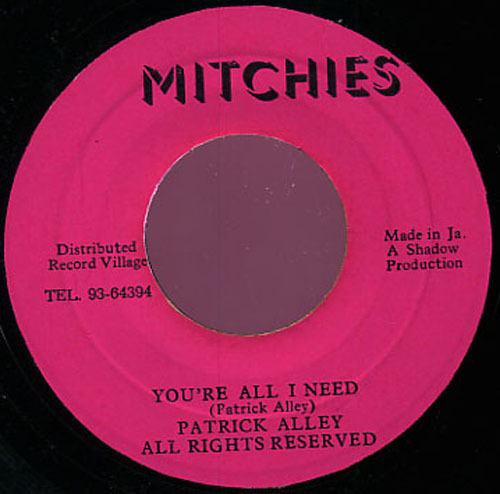 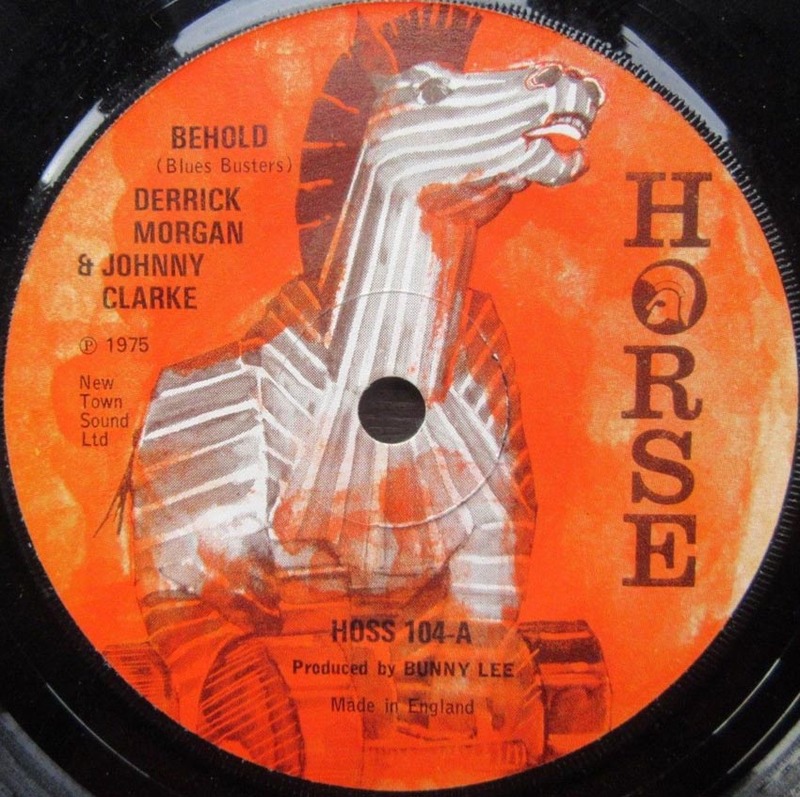 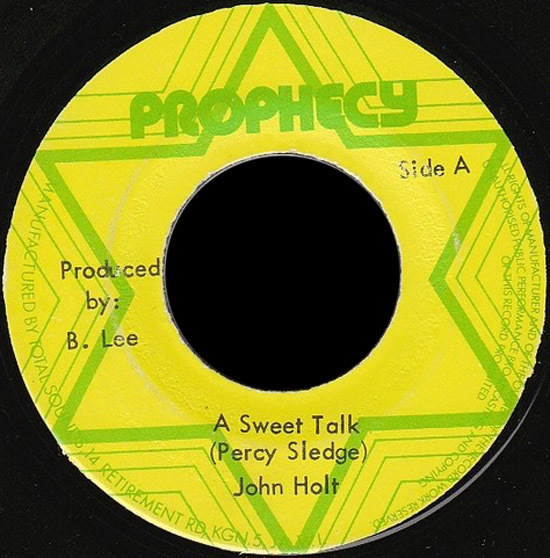 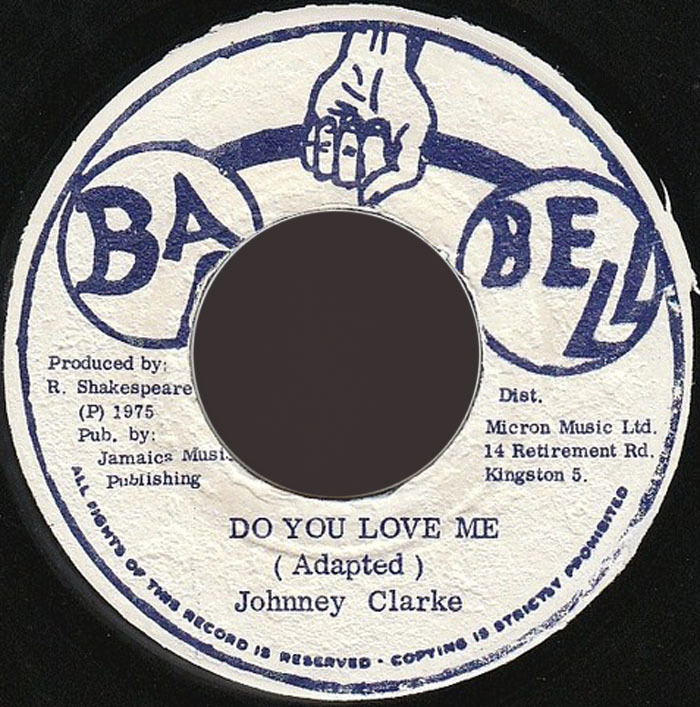 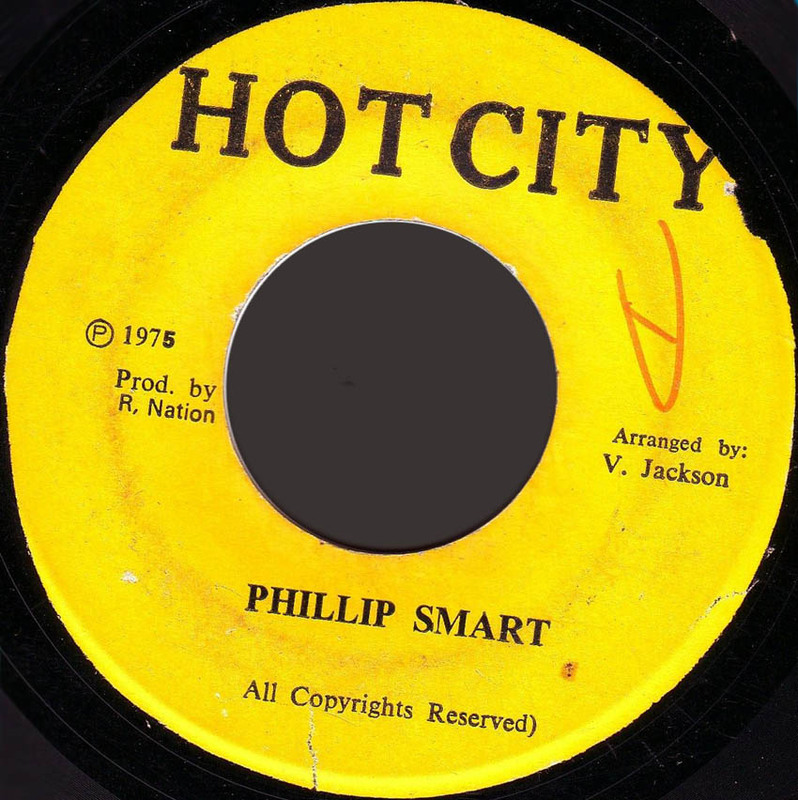 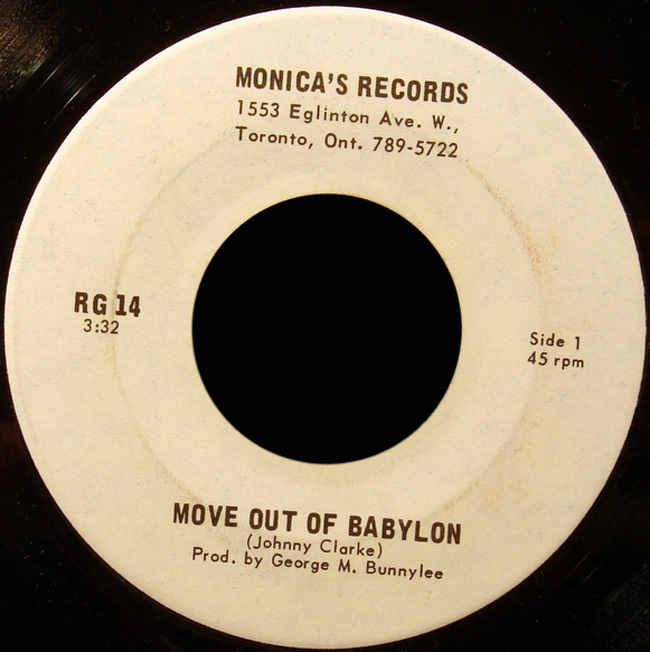 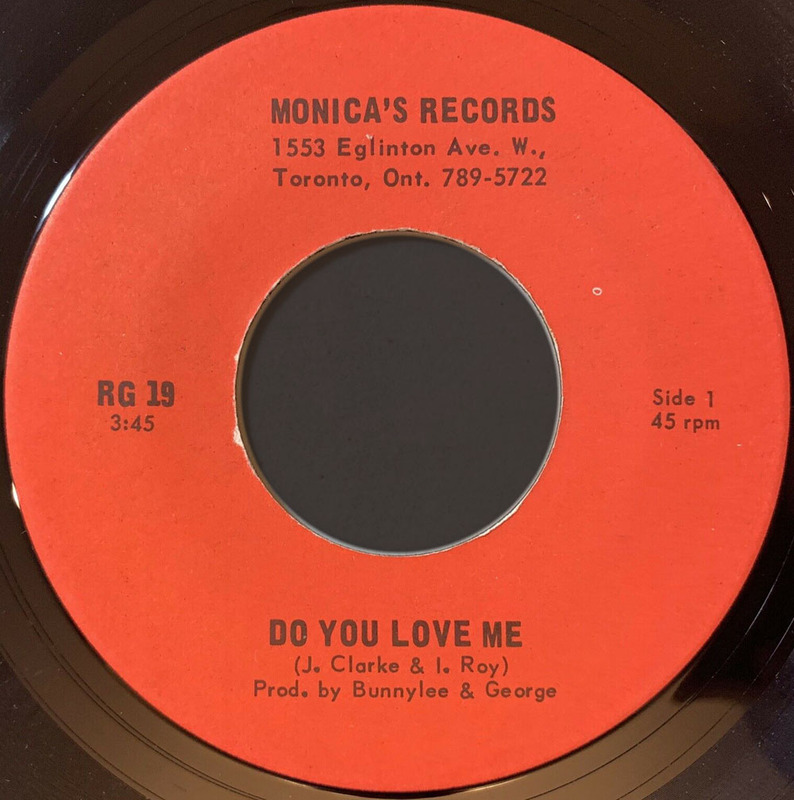 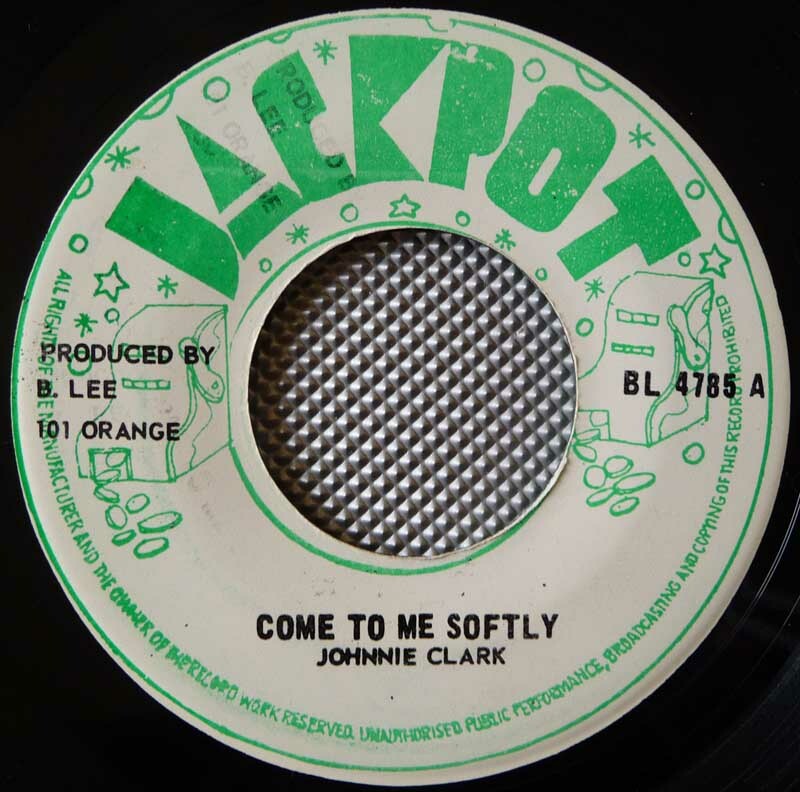 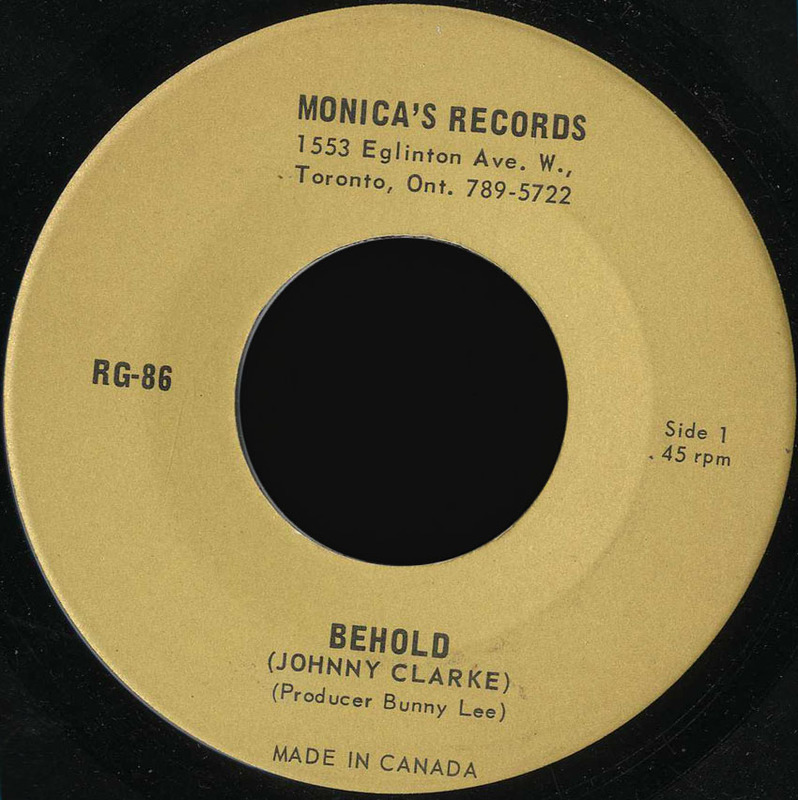 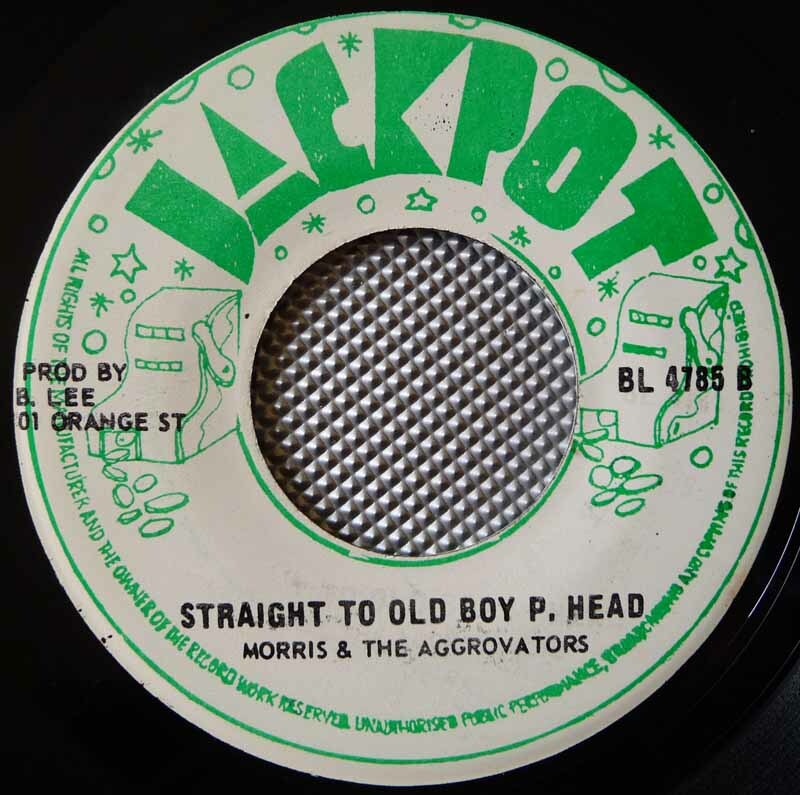 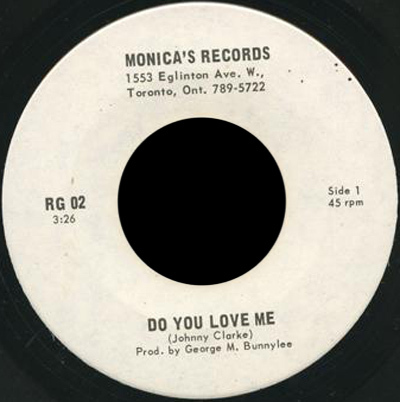 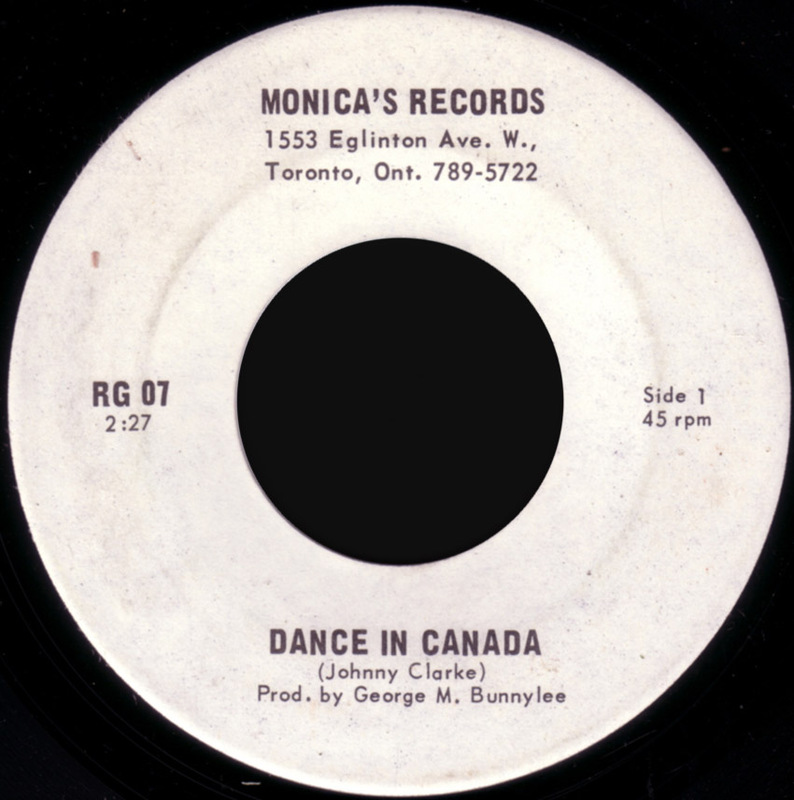 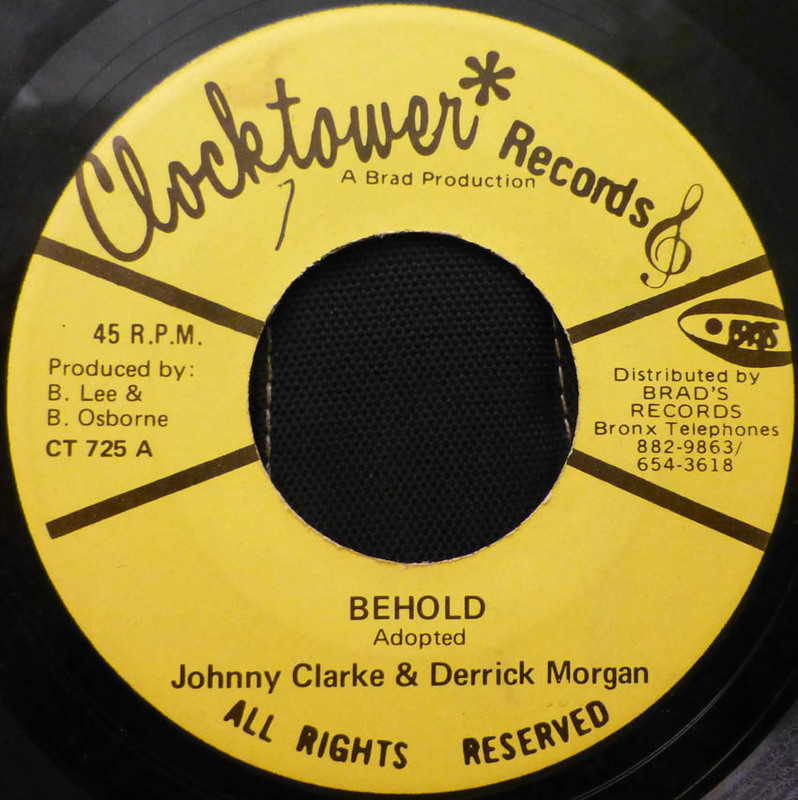 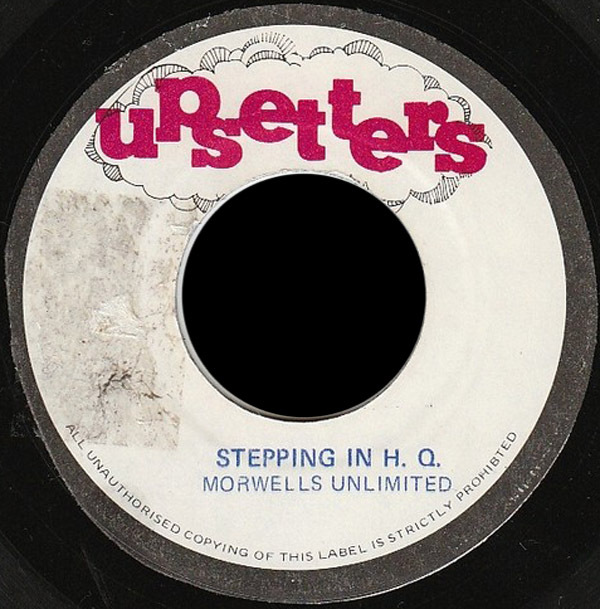 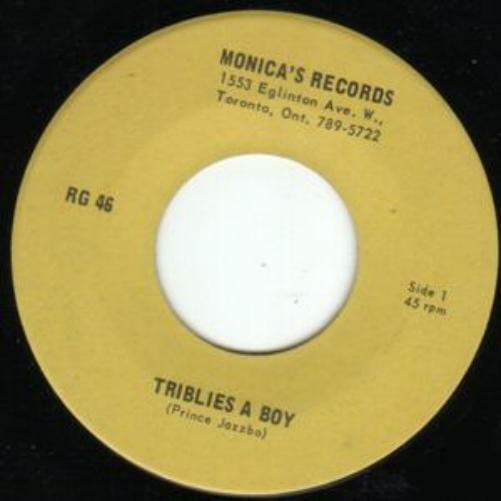 7" Come To Me Softly Johnny Clarke 3.31 3.34 Straight To Old Boy P. Head Morris & Aggravators JA. 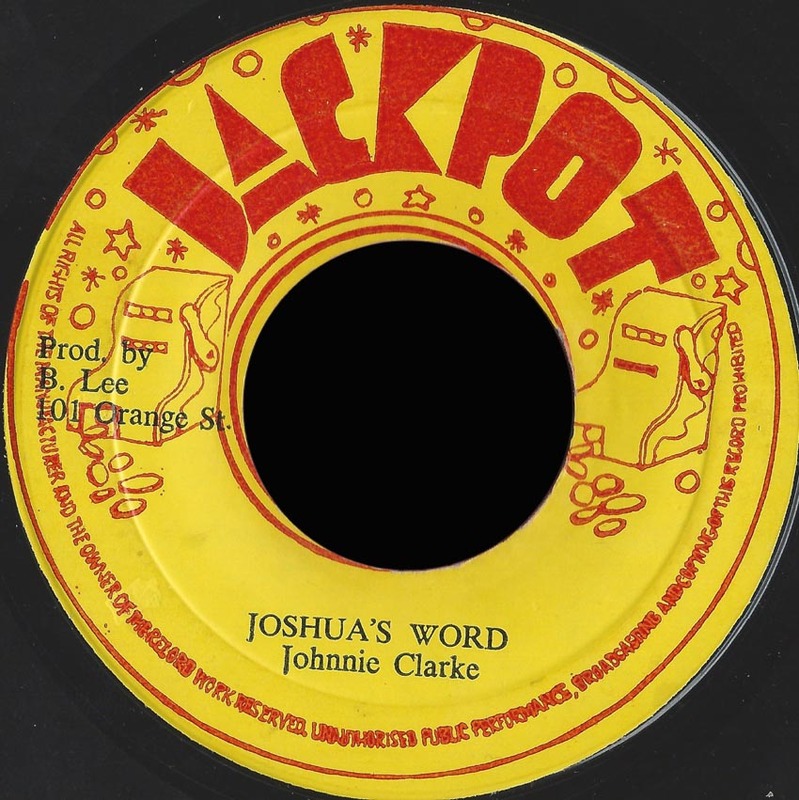 Jackpot BL4785 re? 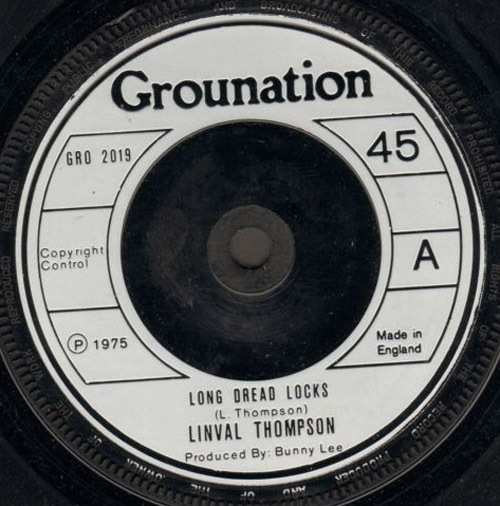 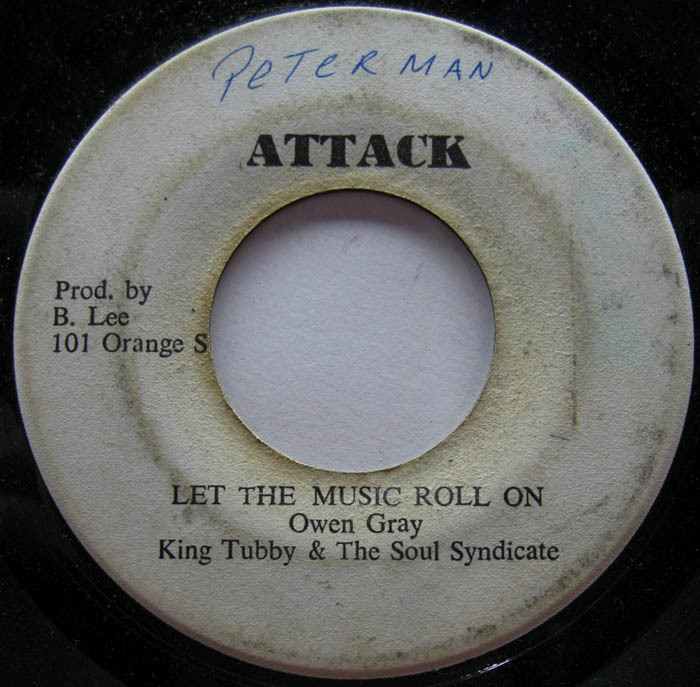 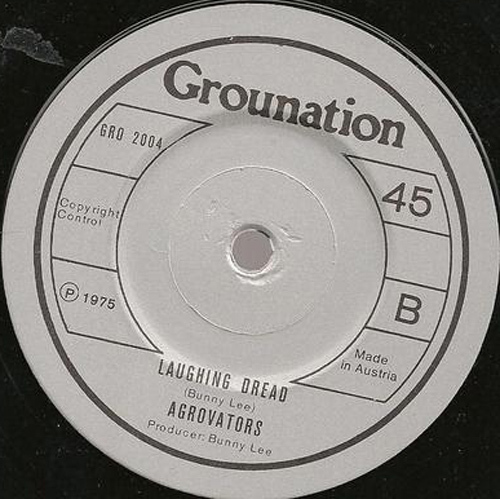 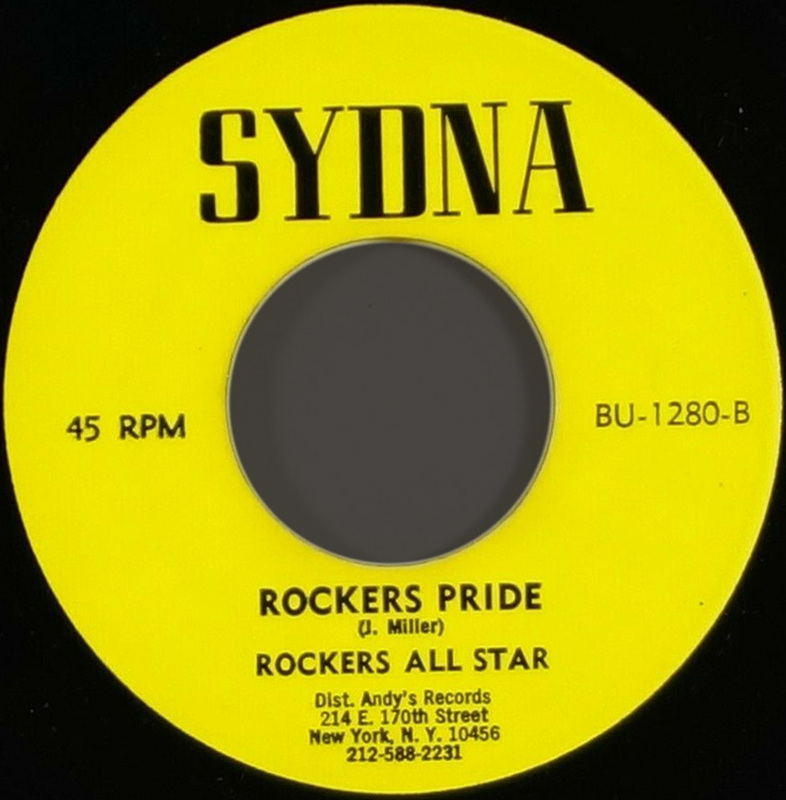 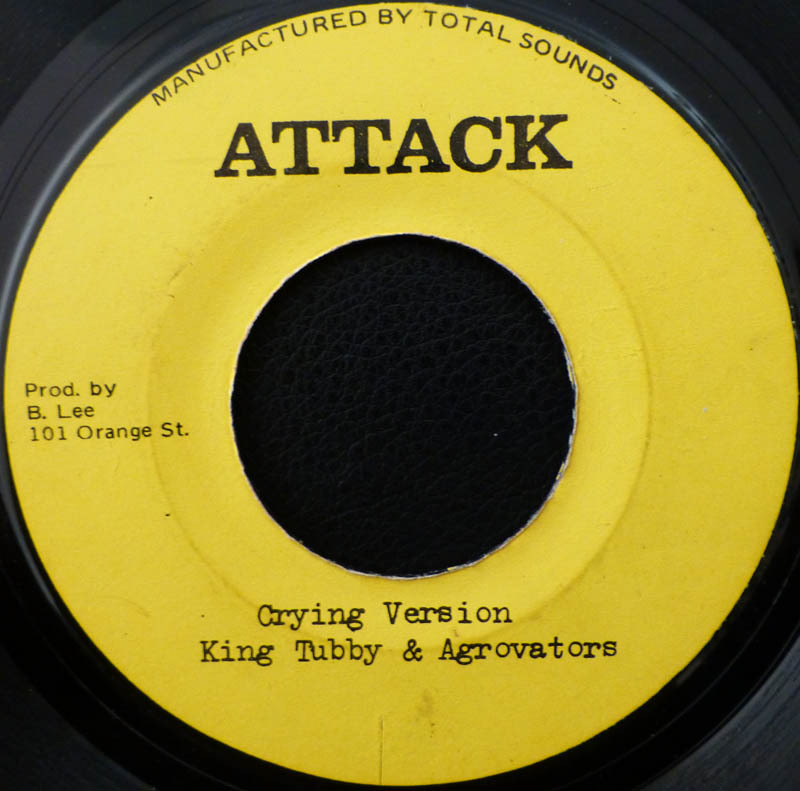 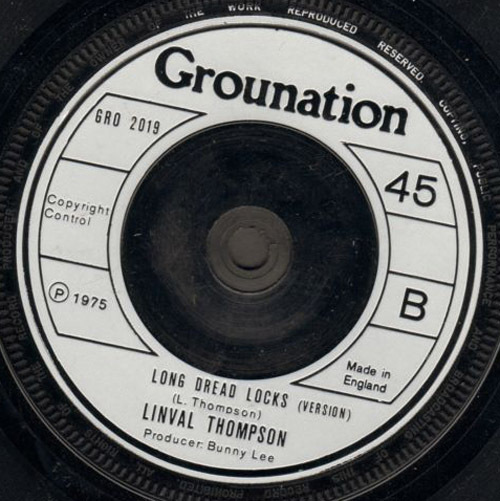 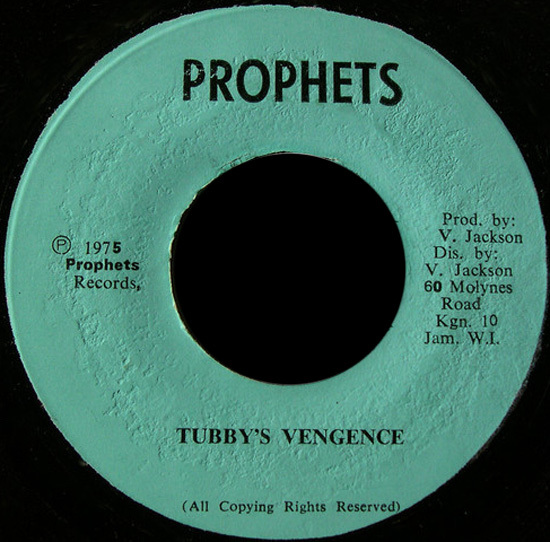 1975 7" Cry Me A River Of Tears Owen Gray Bitter Dub King Tubby And Aggrovators ? 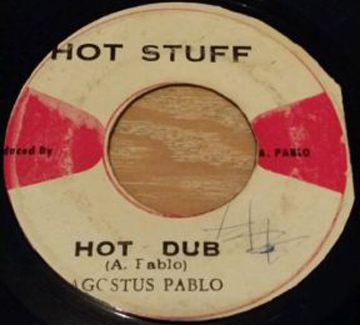 197? 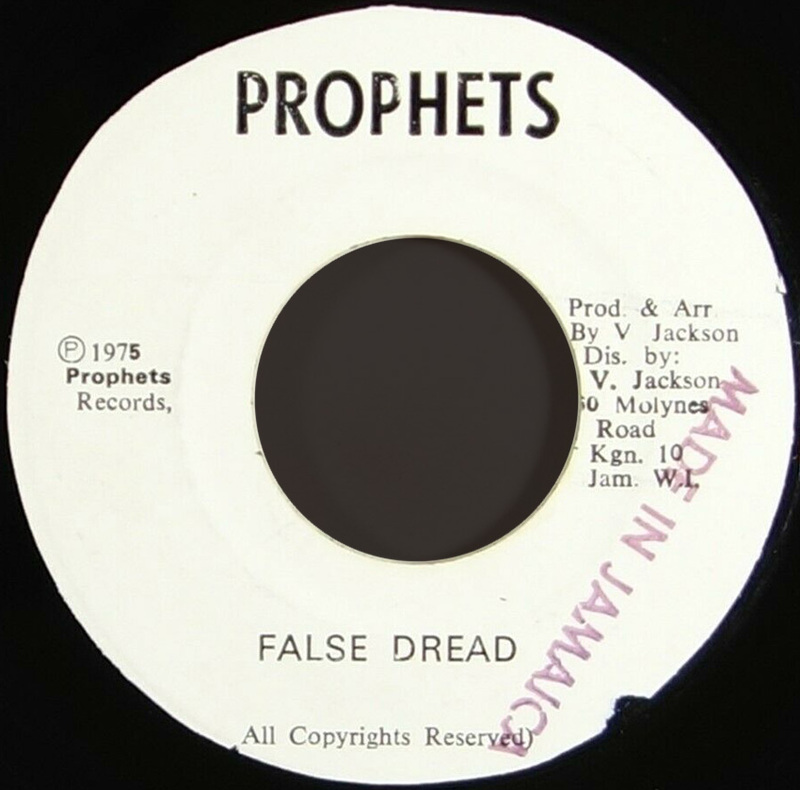 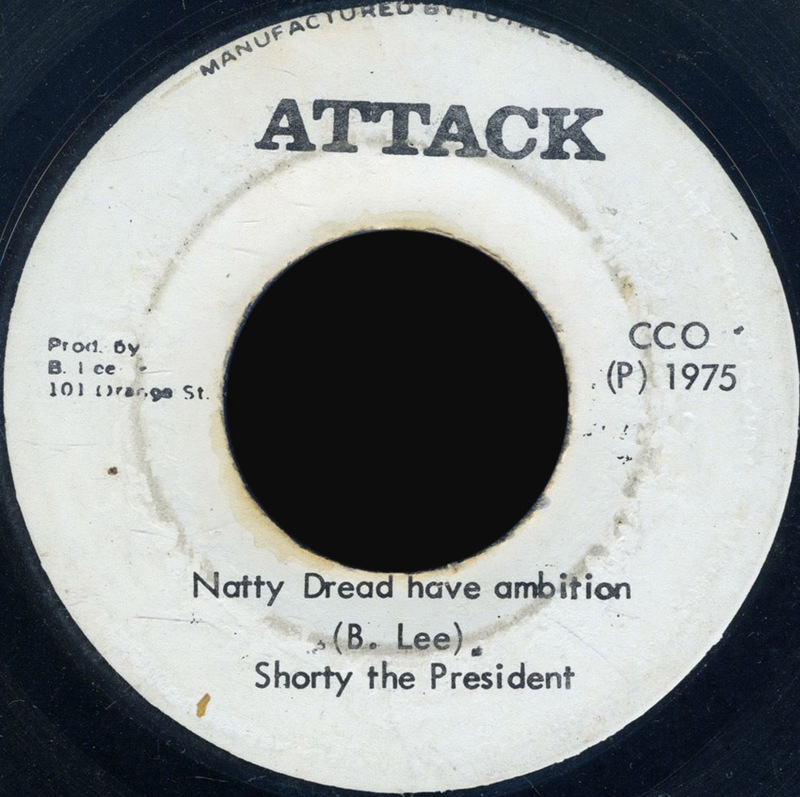 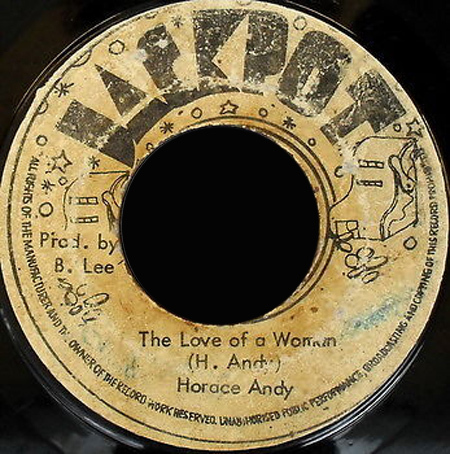 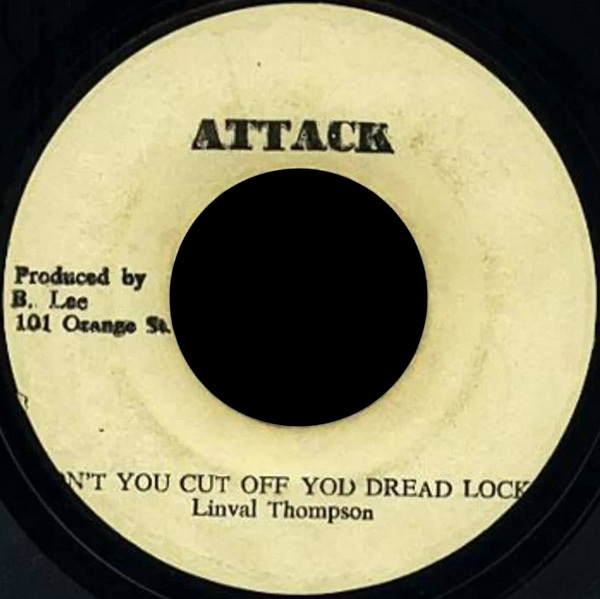 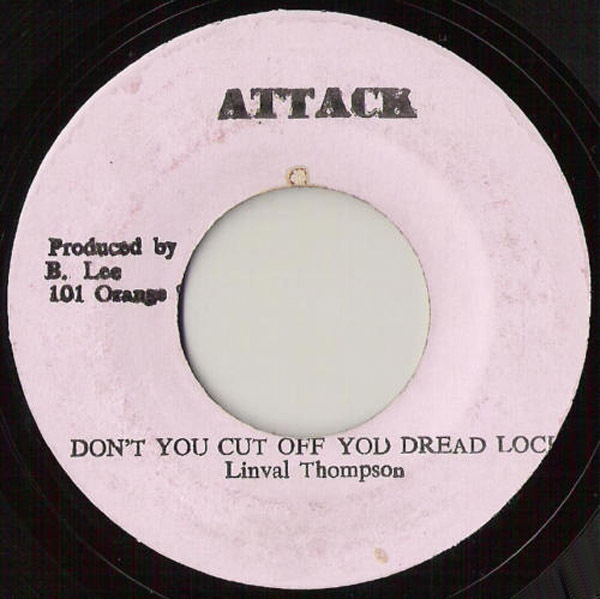 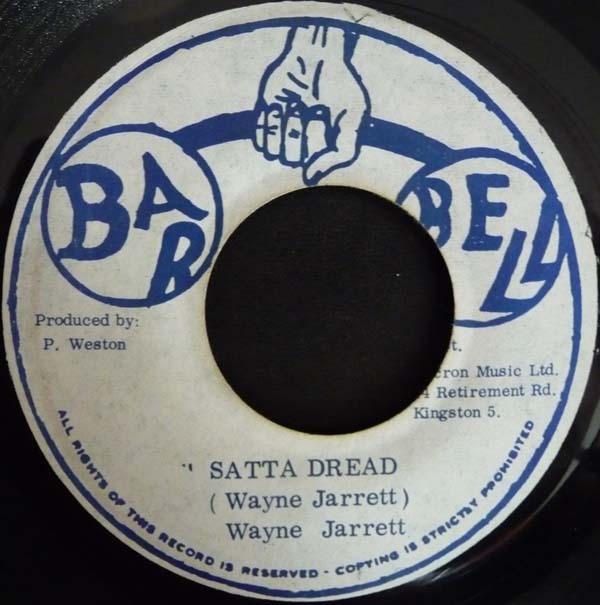 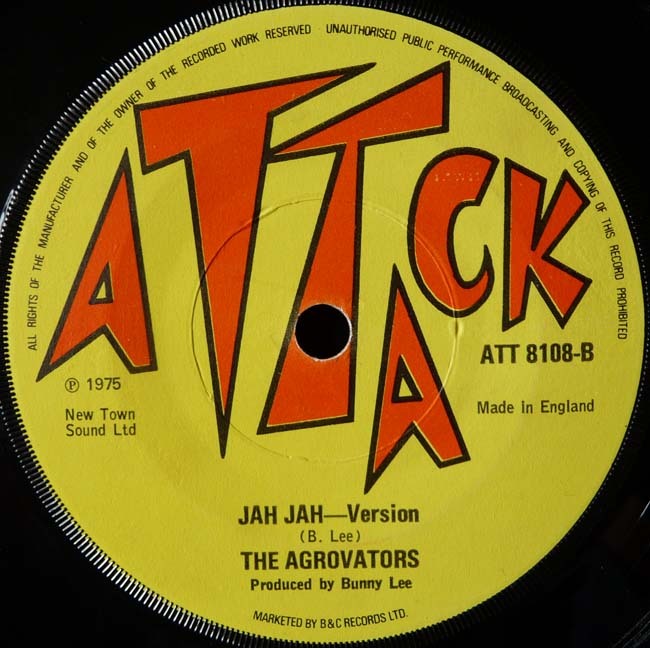 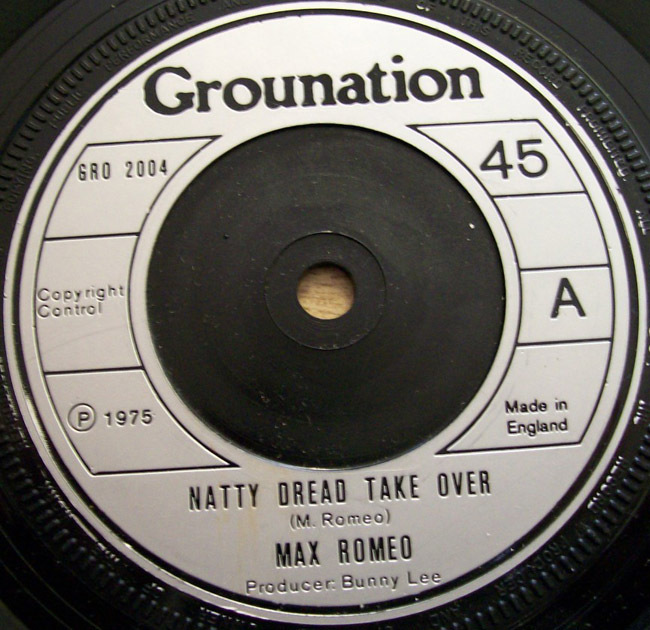 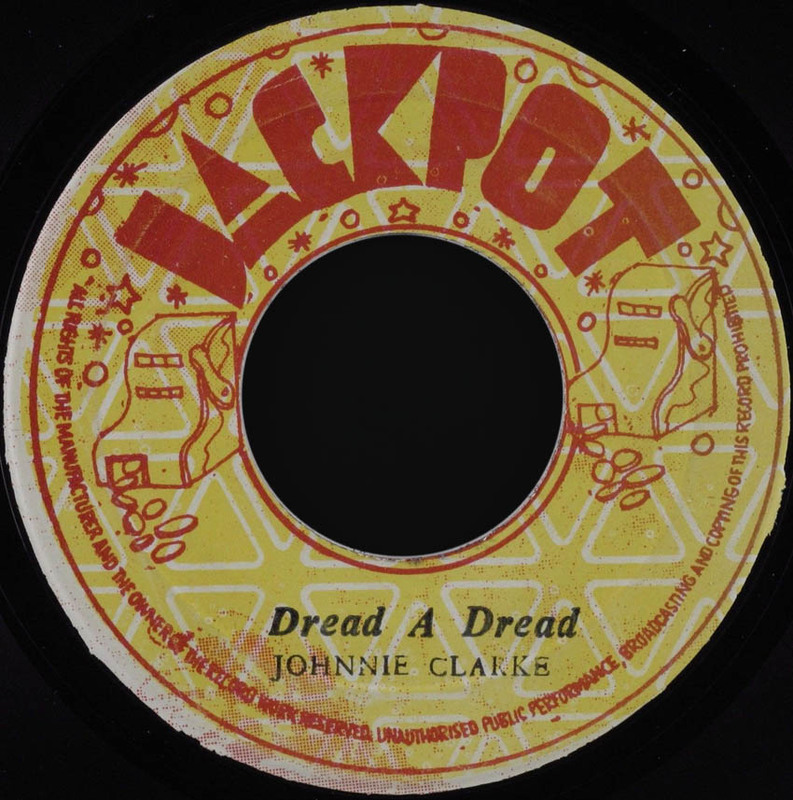 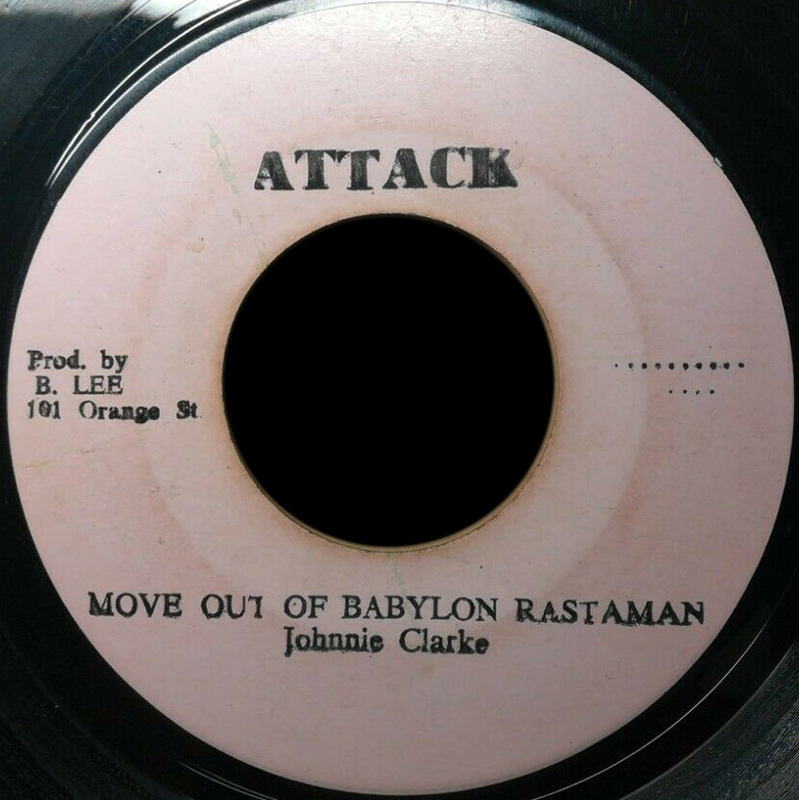 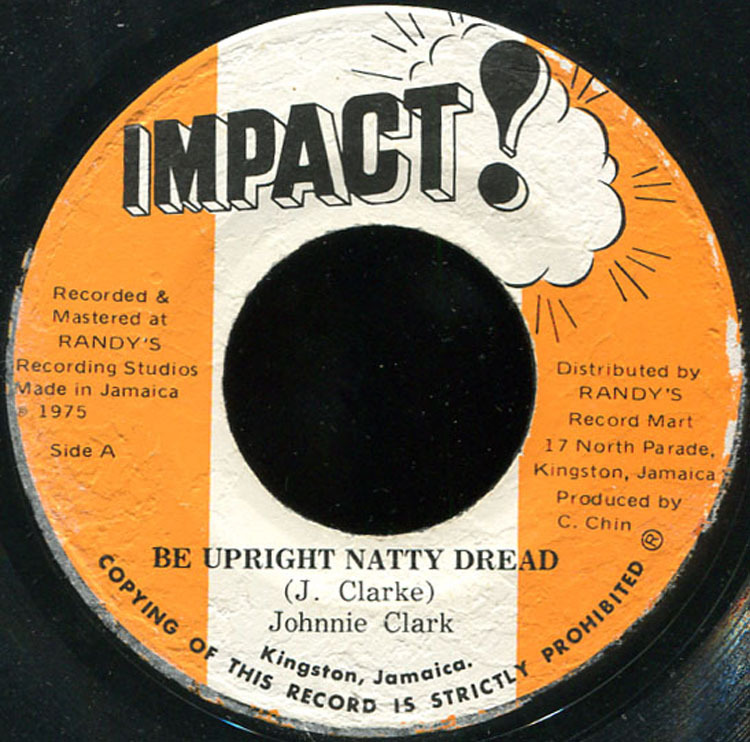 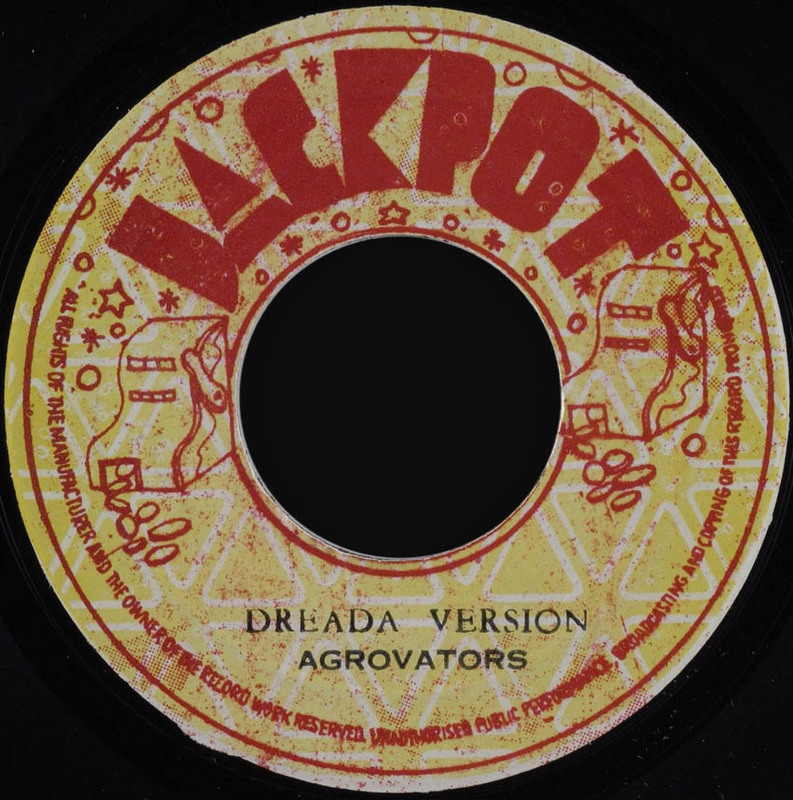 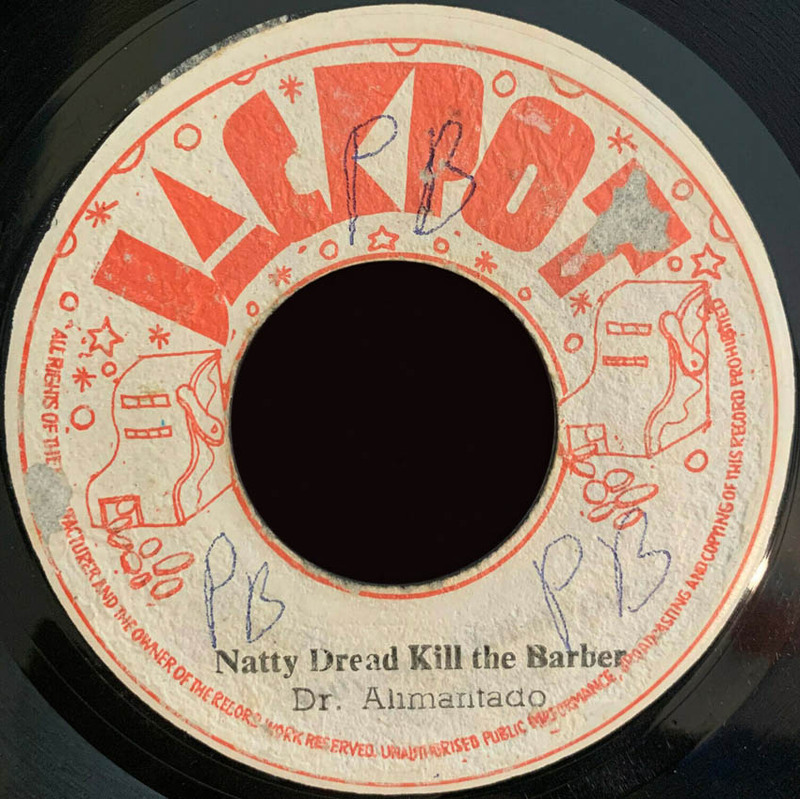 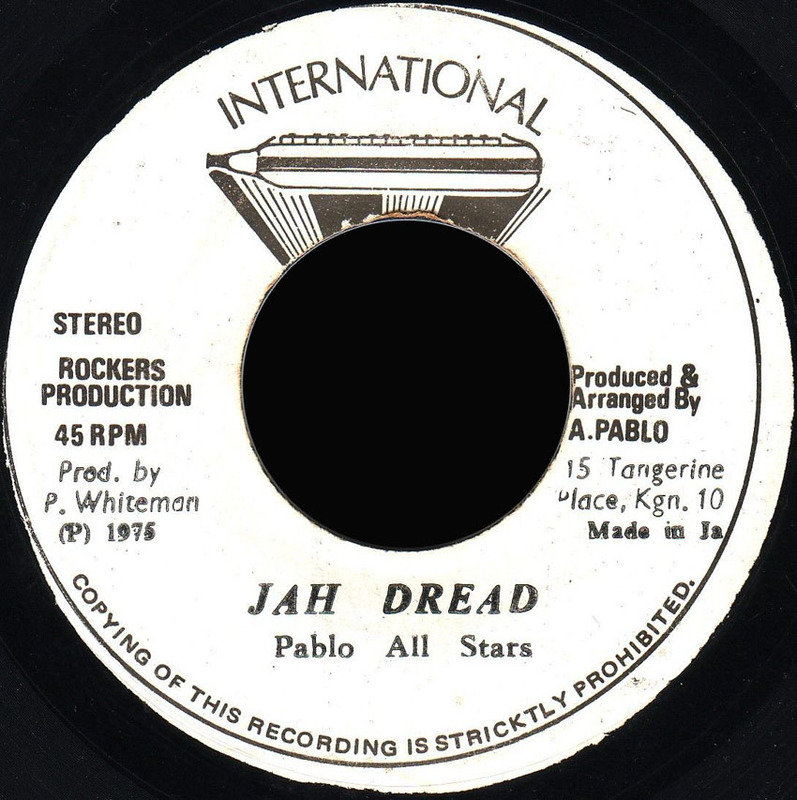 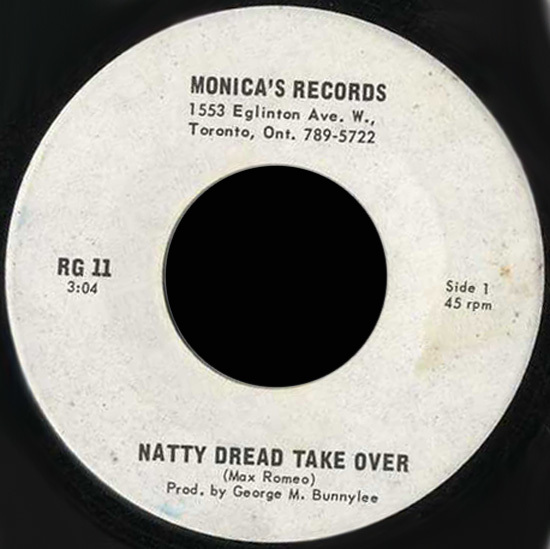 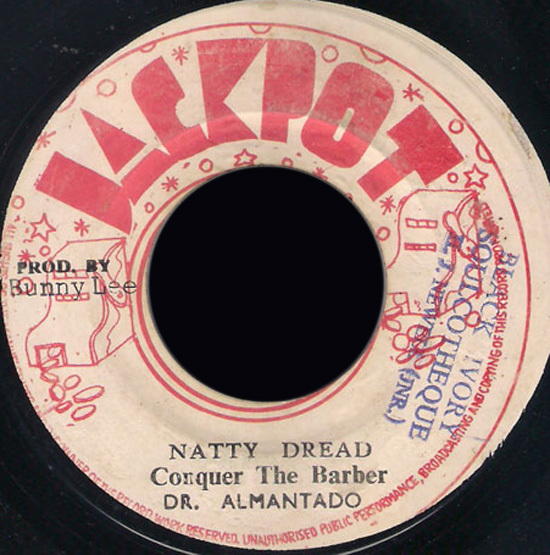 7" Dread A Dread Johnny Clarke 3.13 3.11 Dreada Version Aggrovators JA. 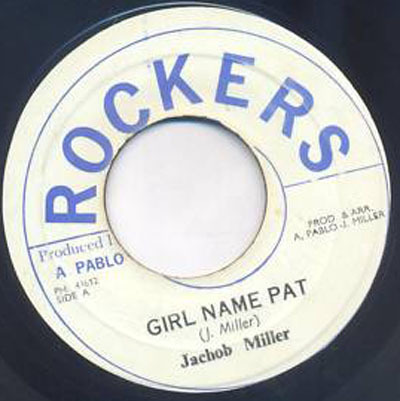 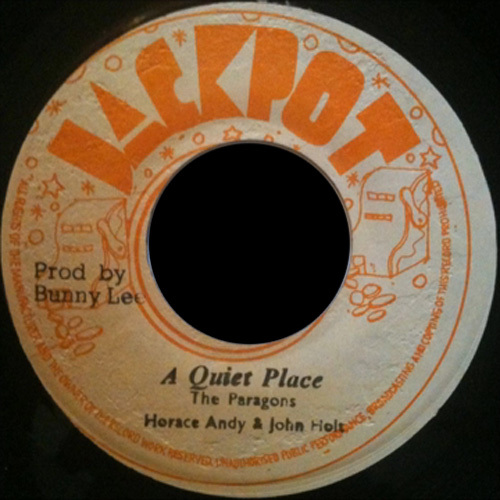 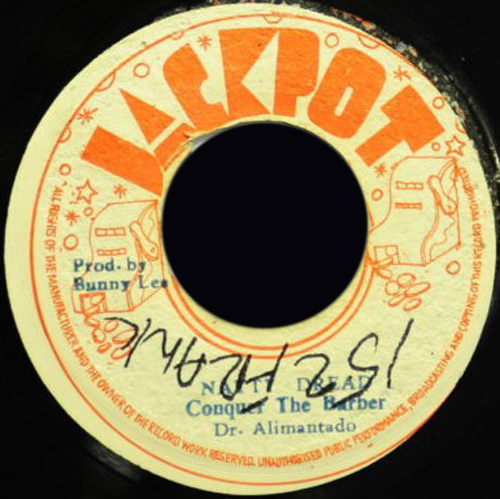 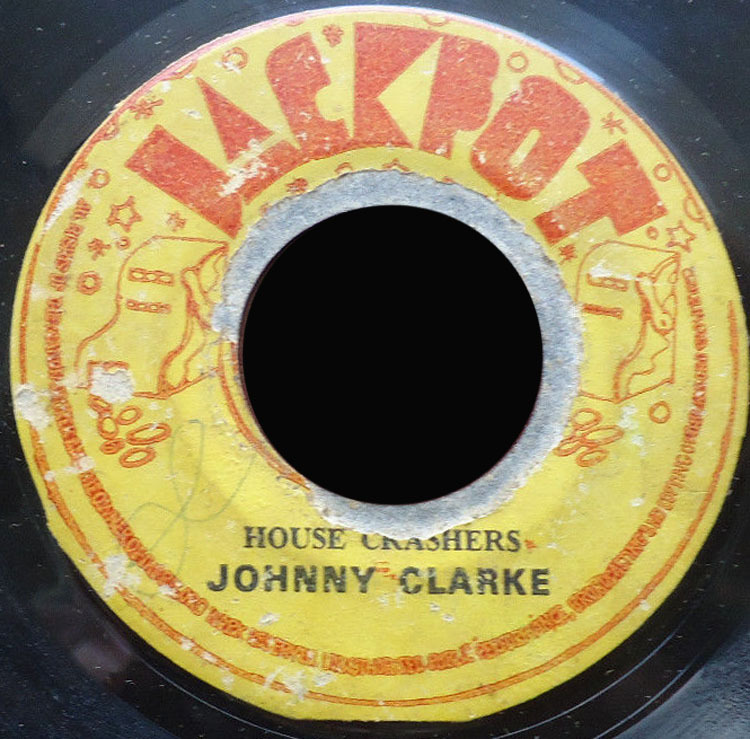 Jackpot Bunny Lee Pr. 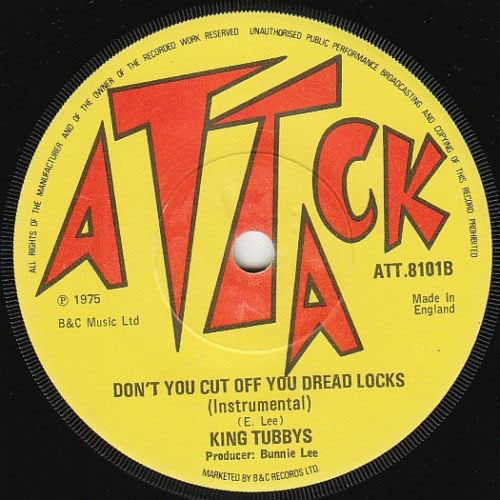 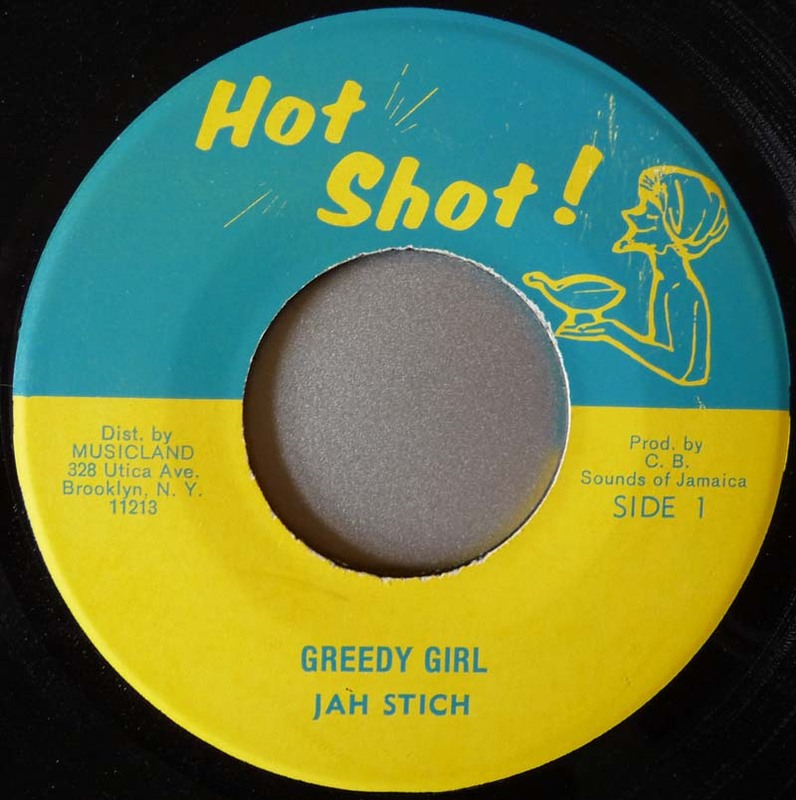 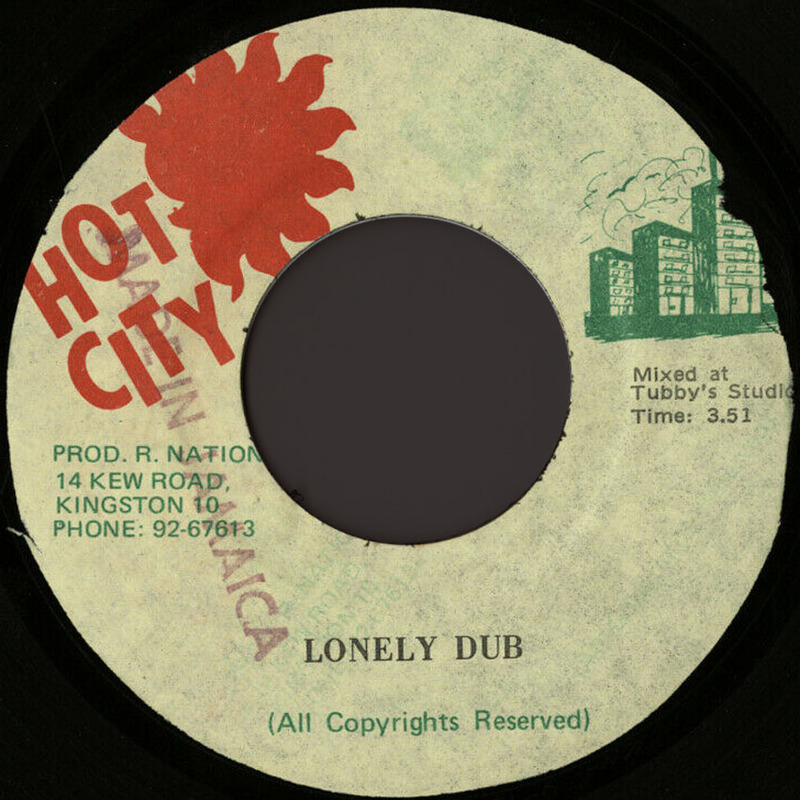 1975 7" Greedy Girl Jah Stitch (Don't Try To Use Me - Horace Andy) Dub King Tubby JA. 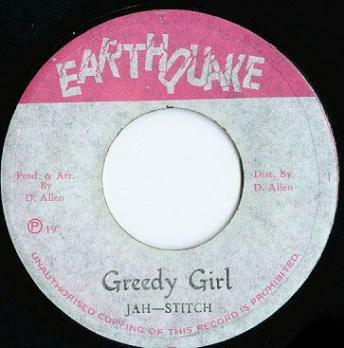 Earthquake D,Allen Pr. 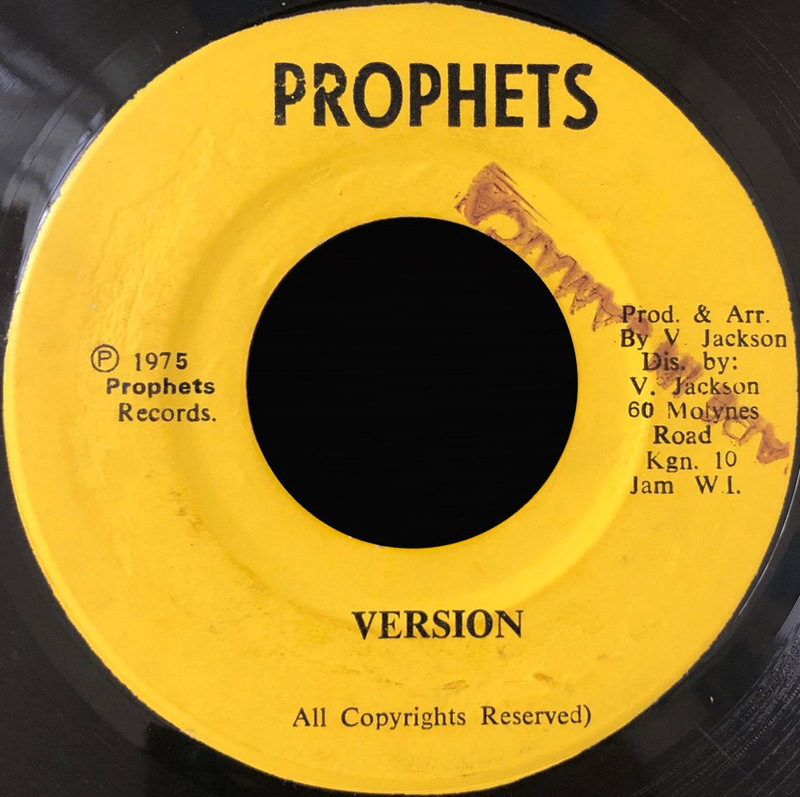 197? 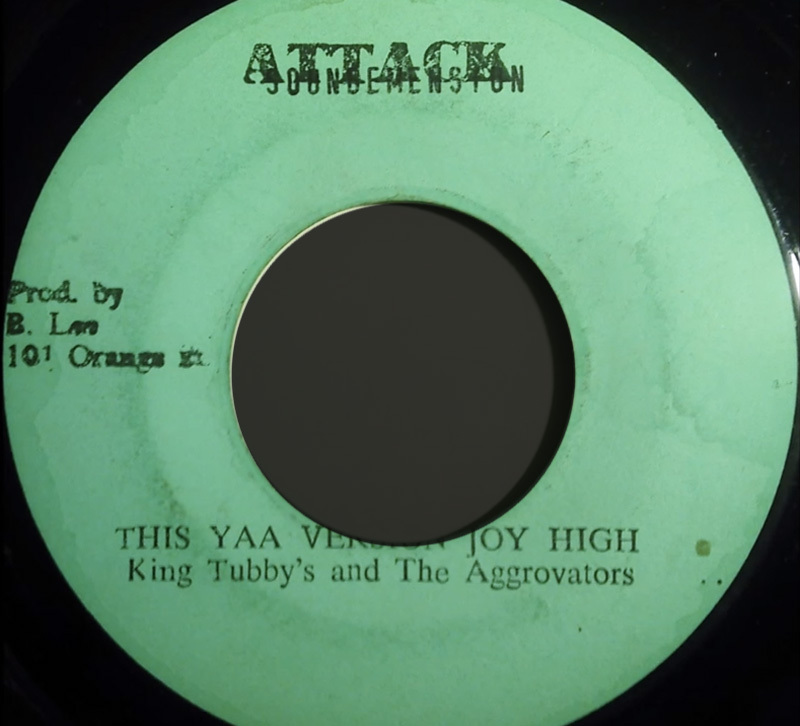 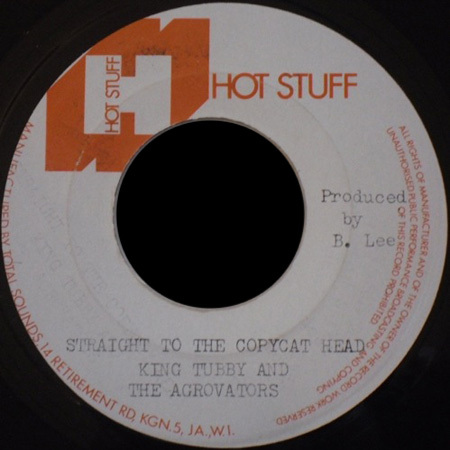 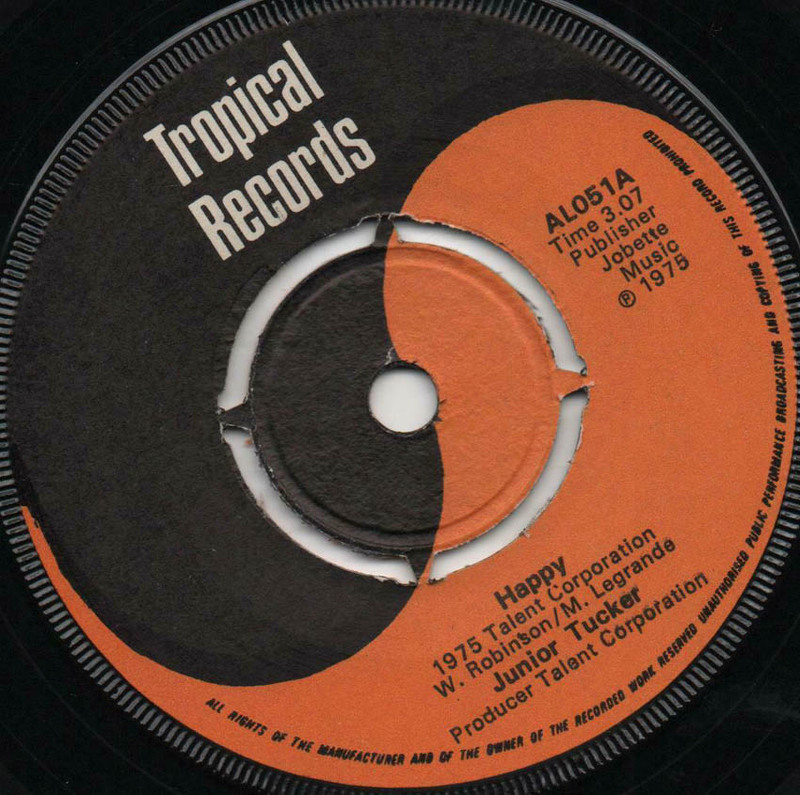 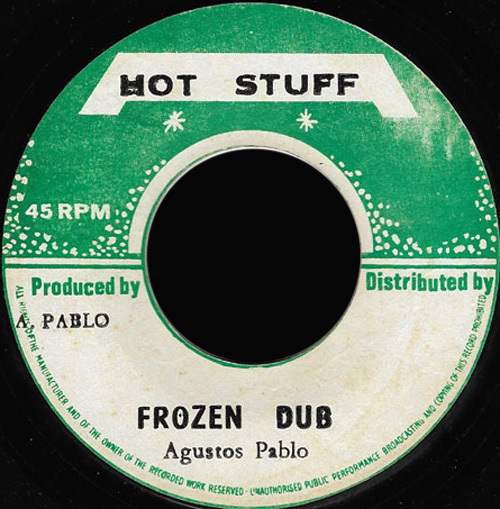 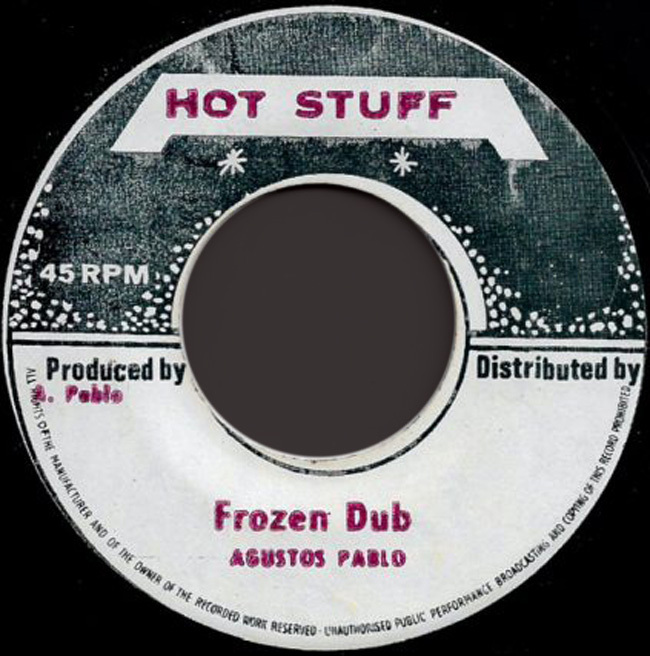 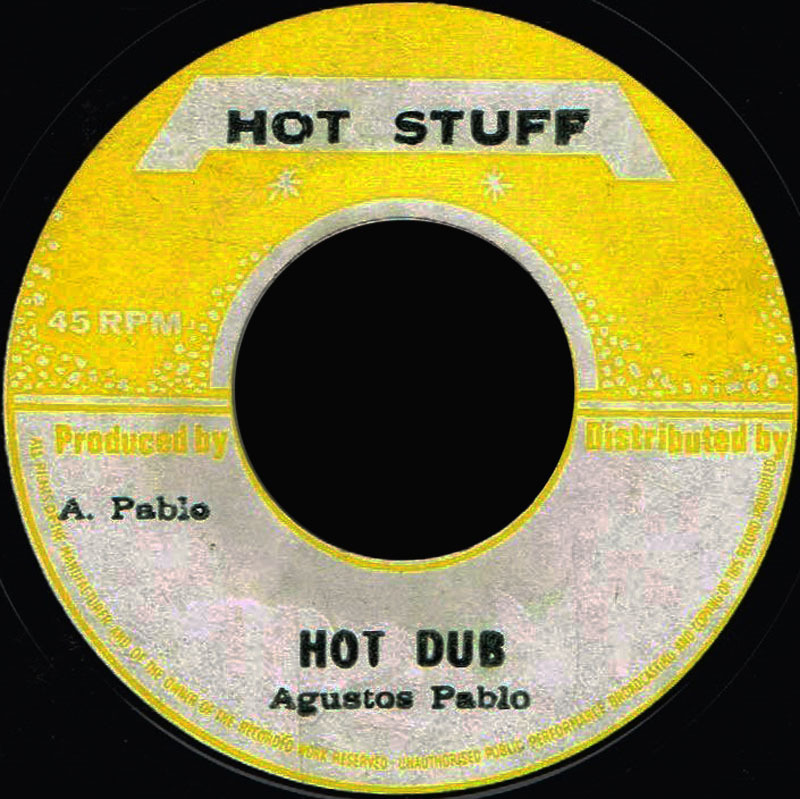 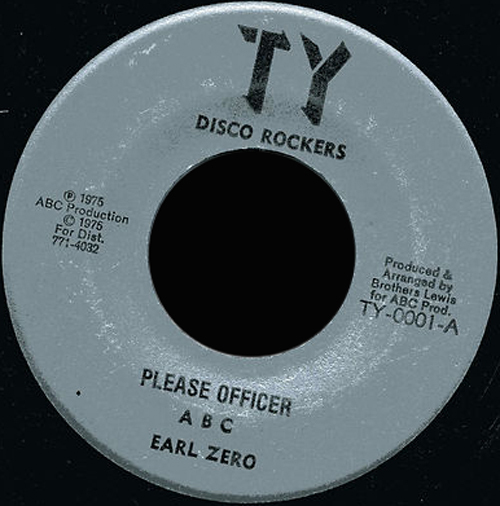 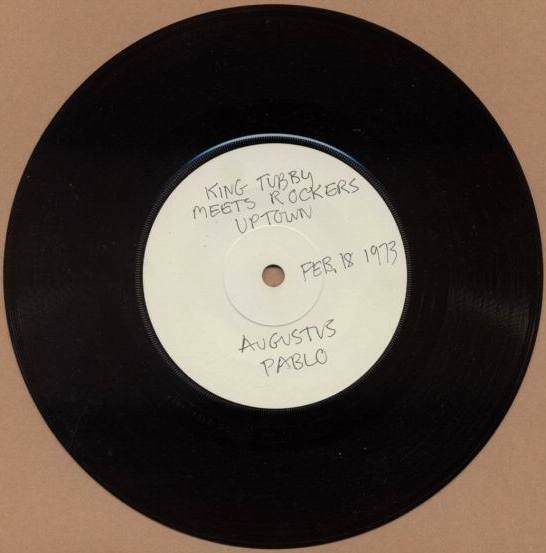 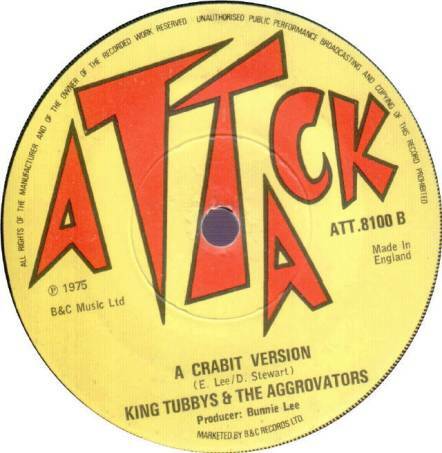 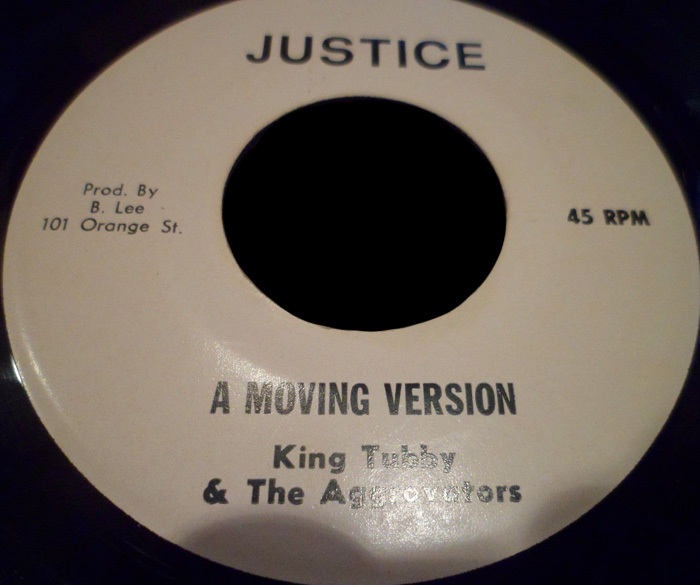 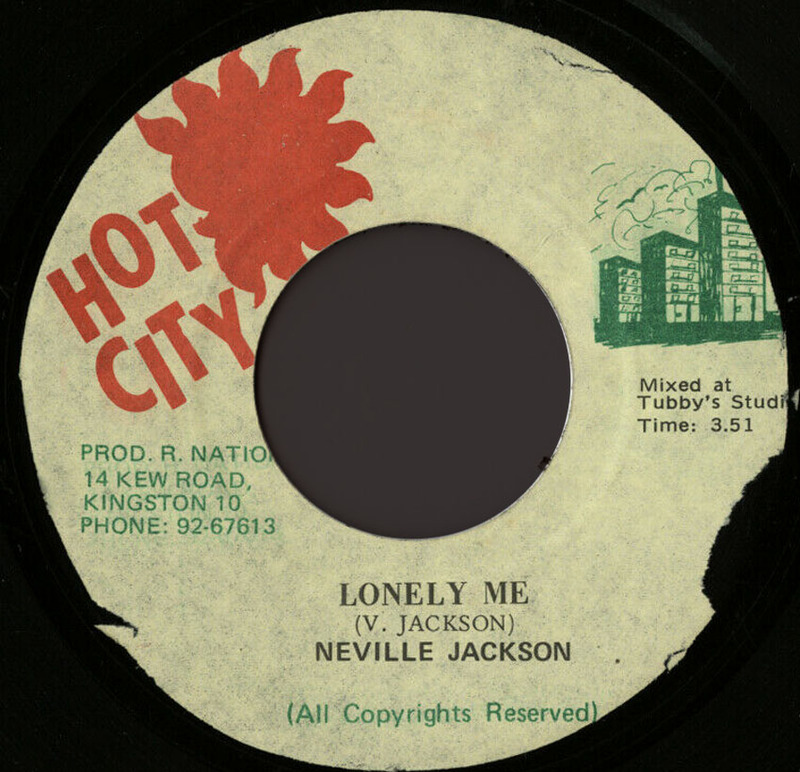 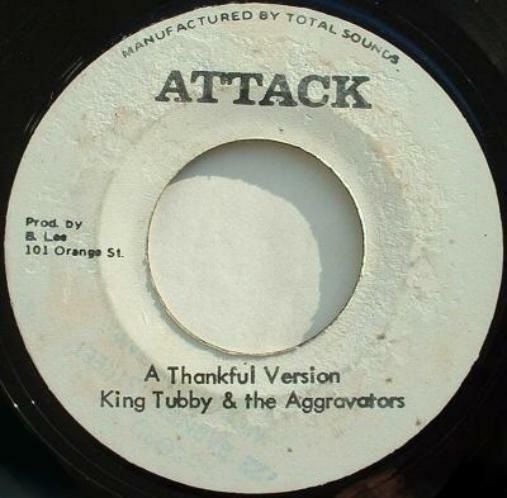 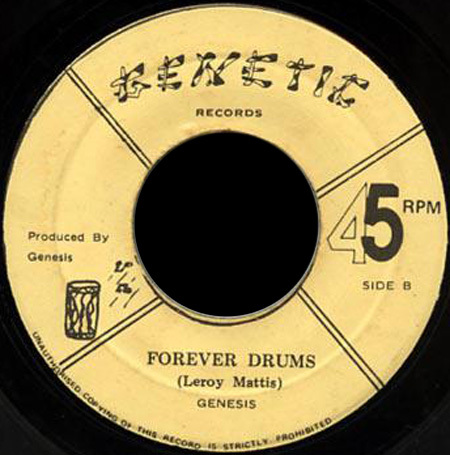 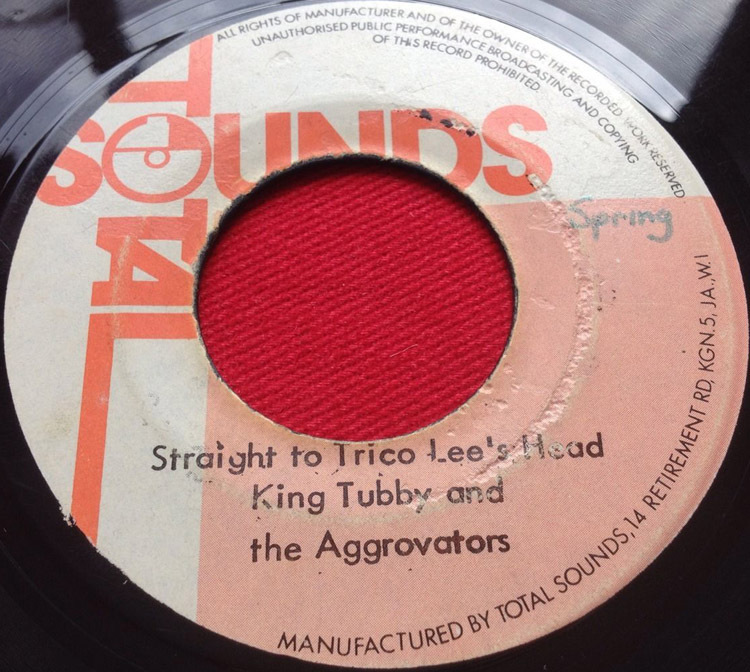 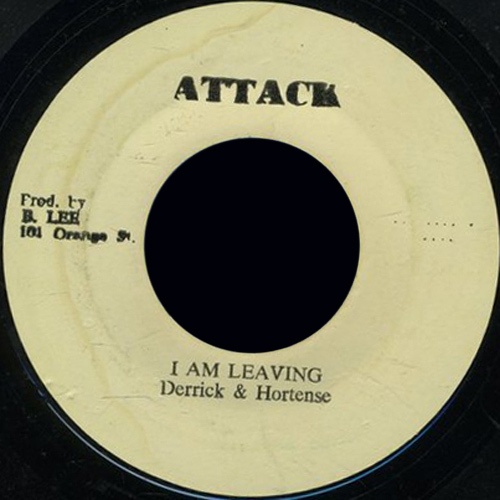 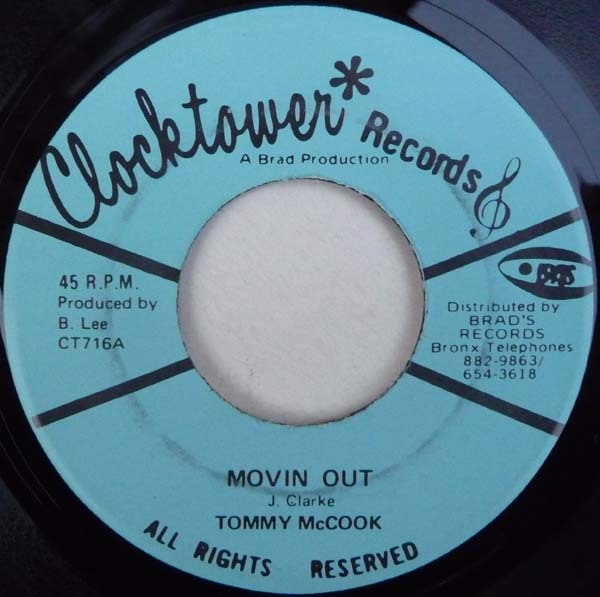 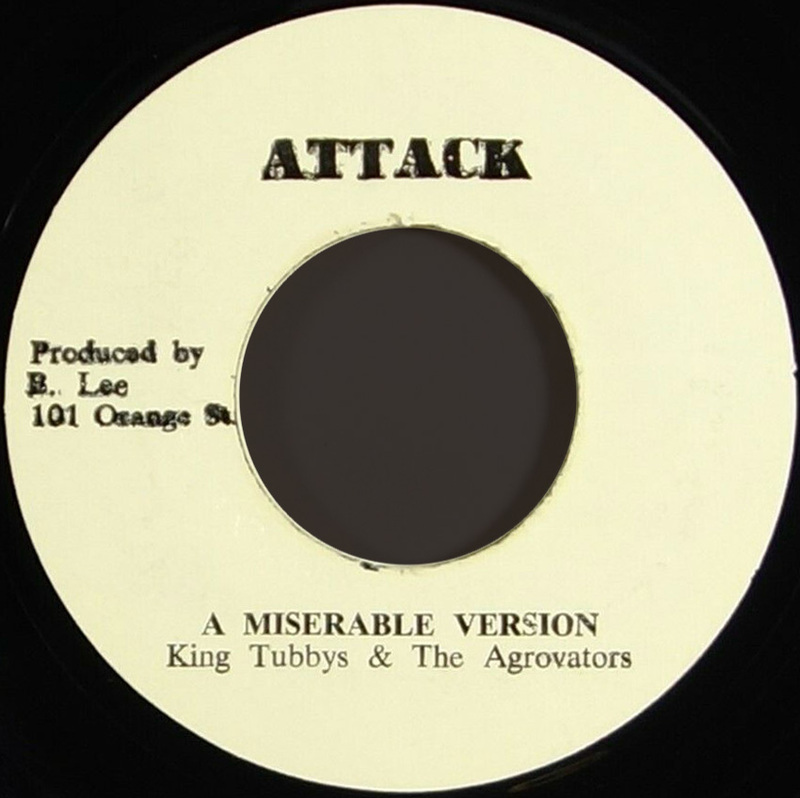 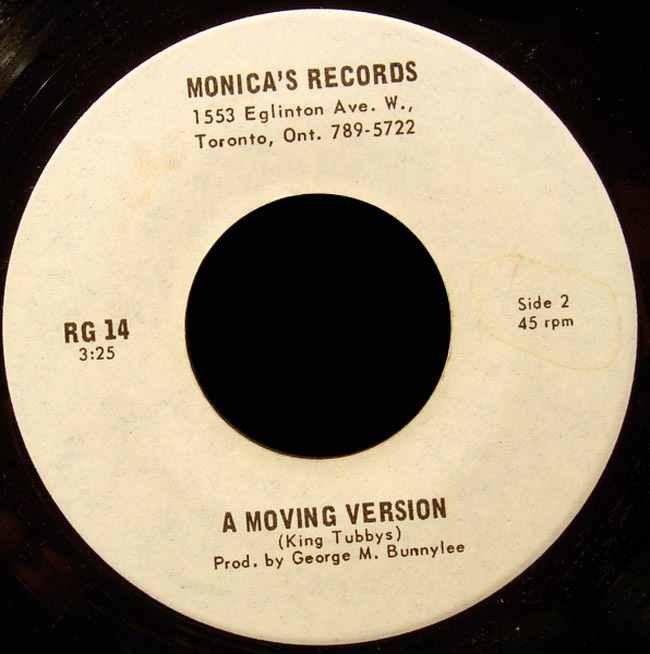 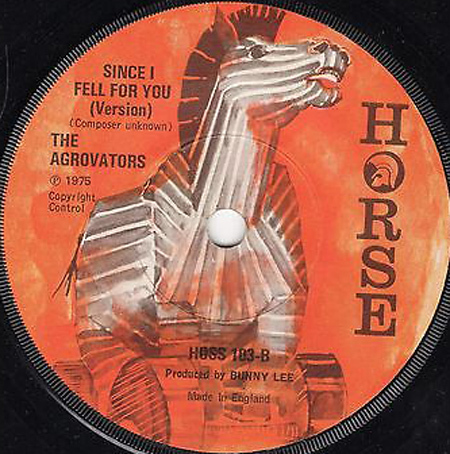 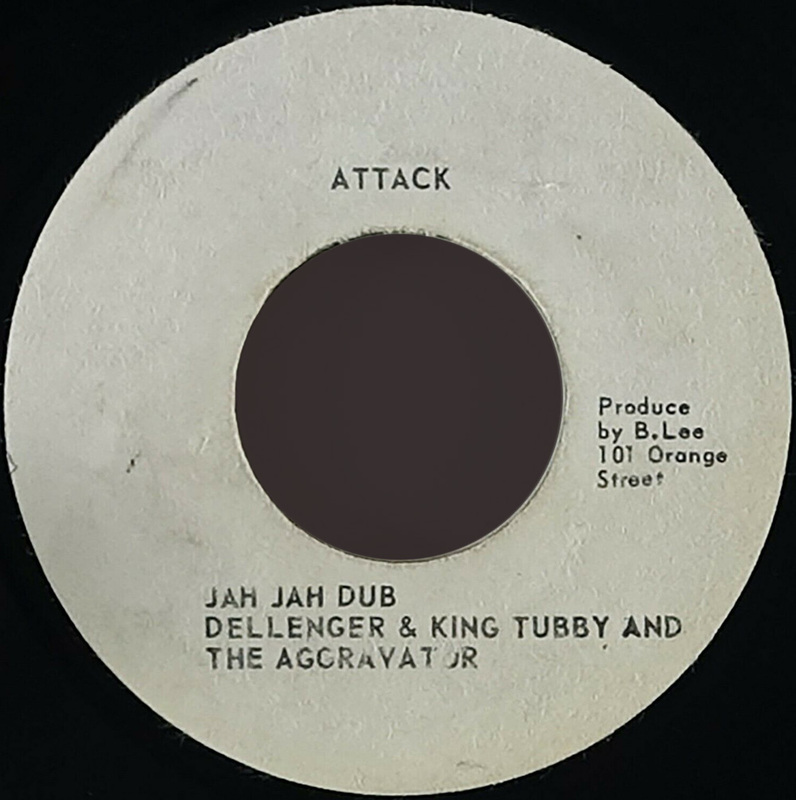 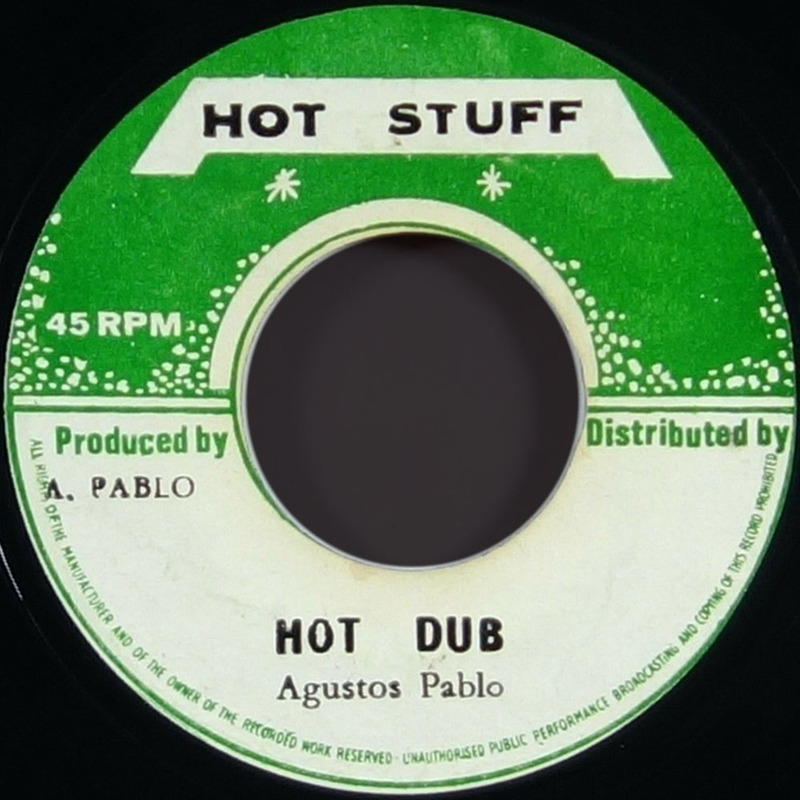 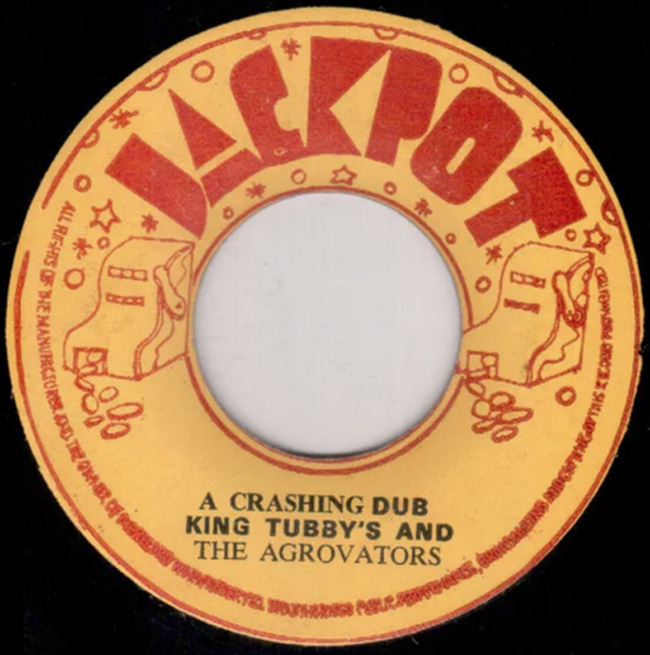 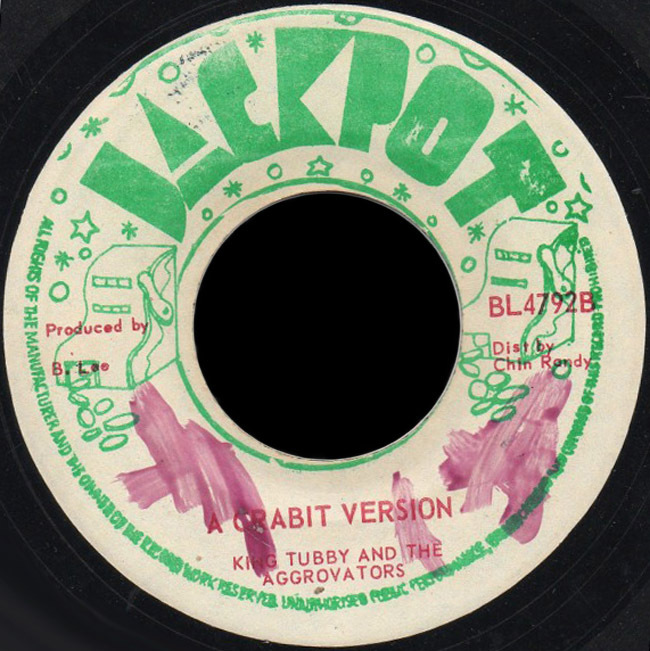 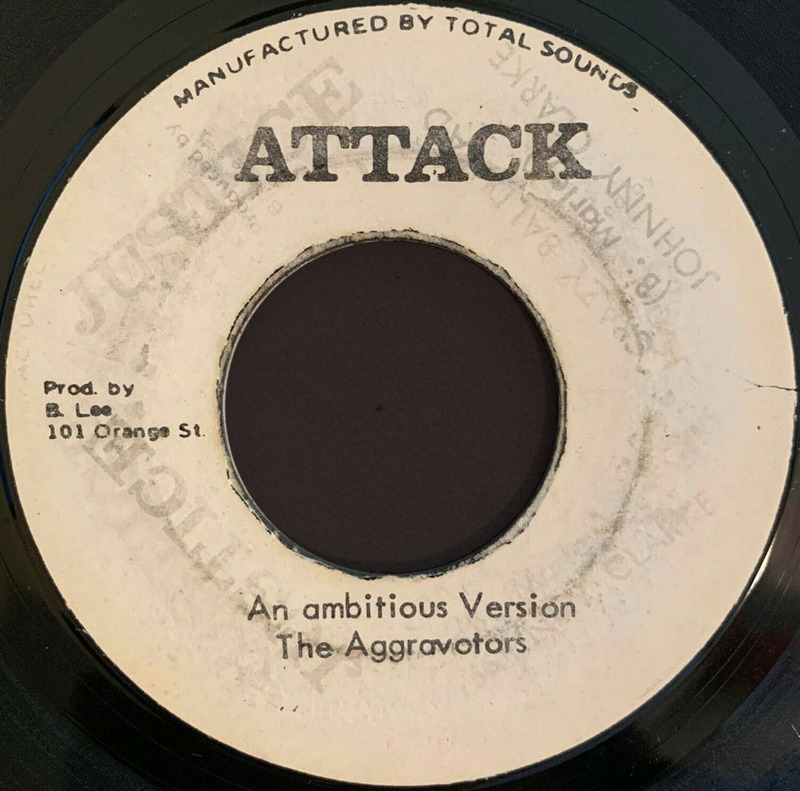 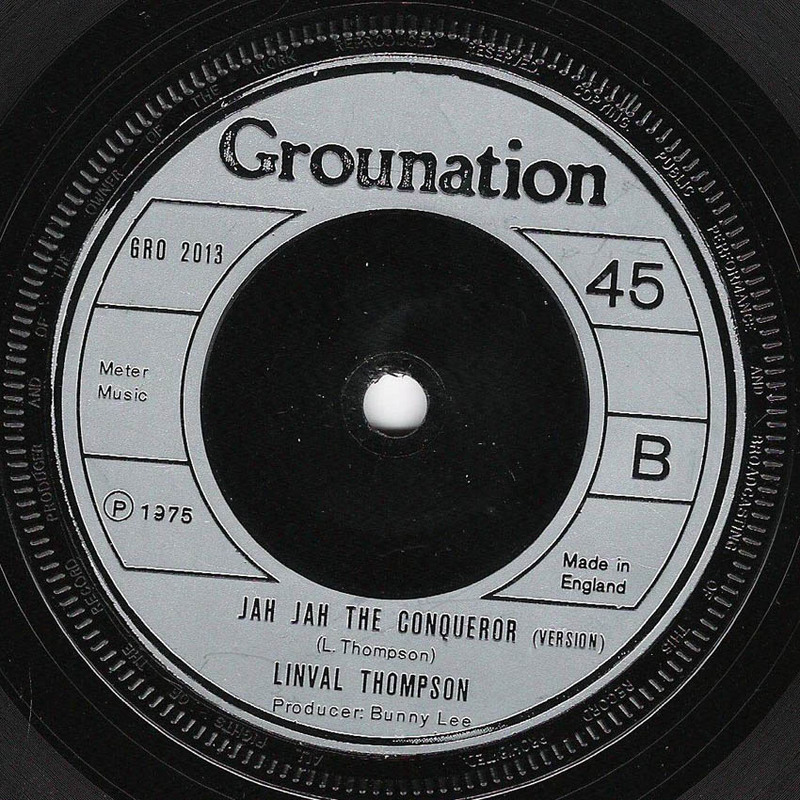 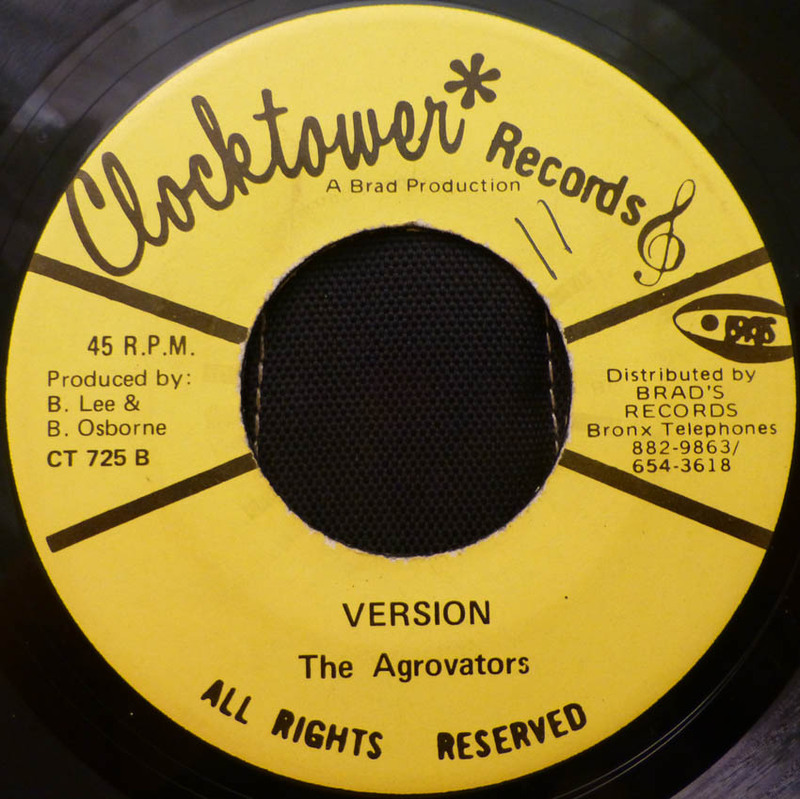 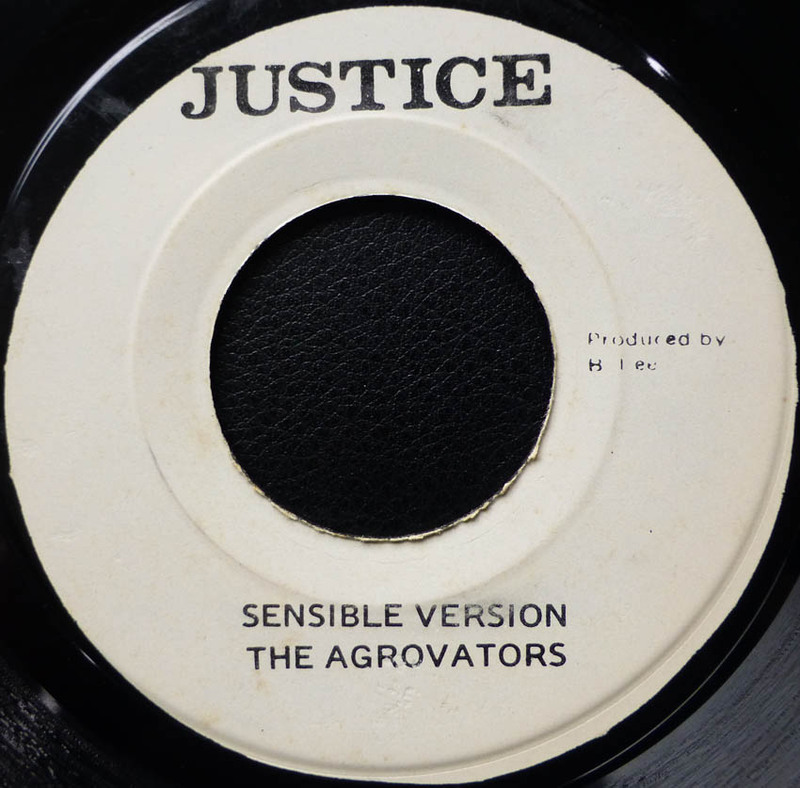 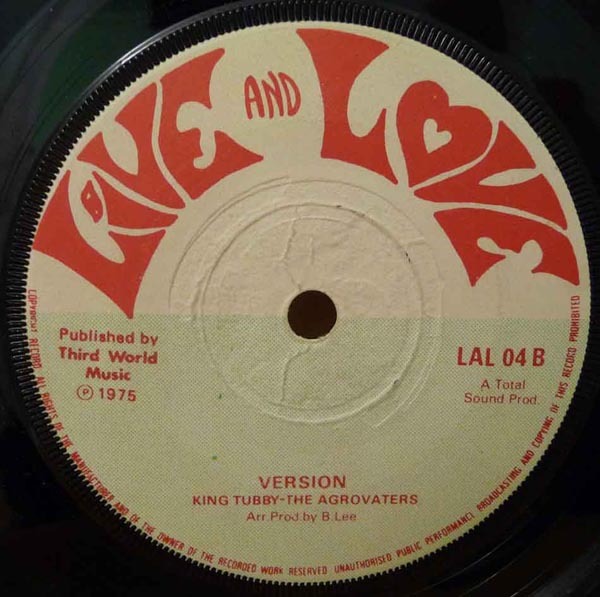 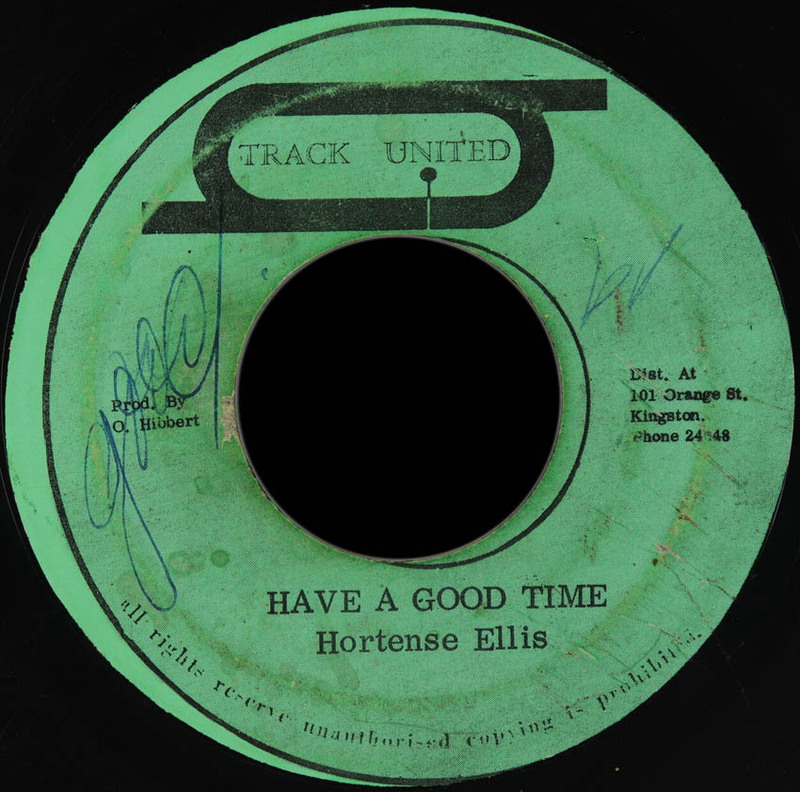 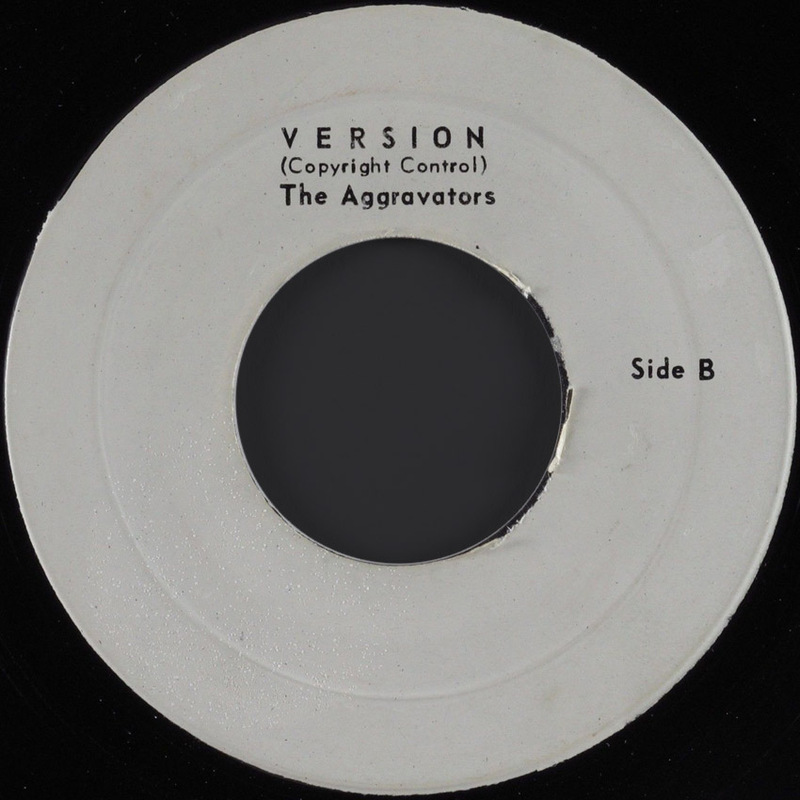 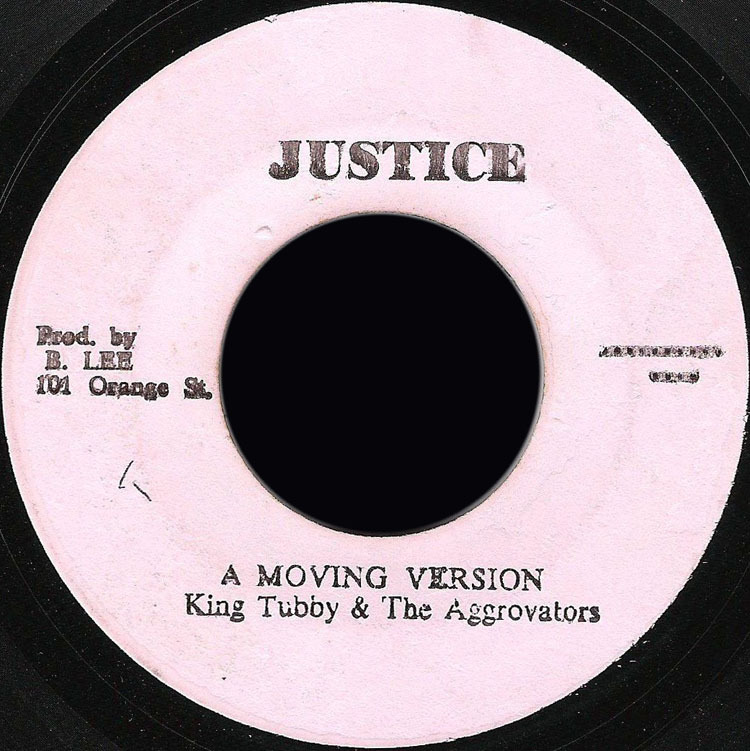 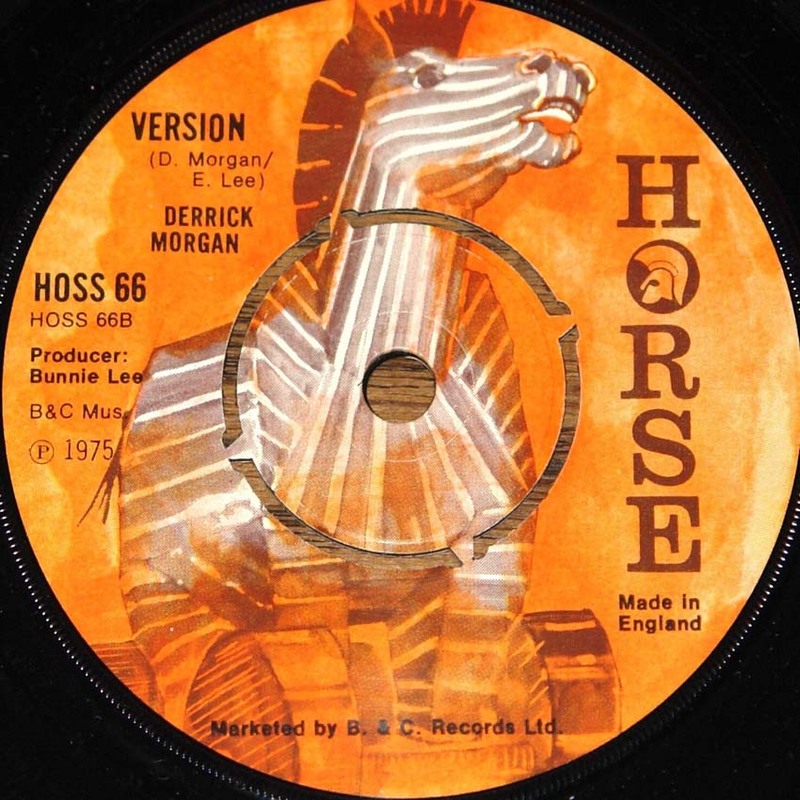 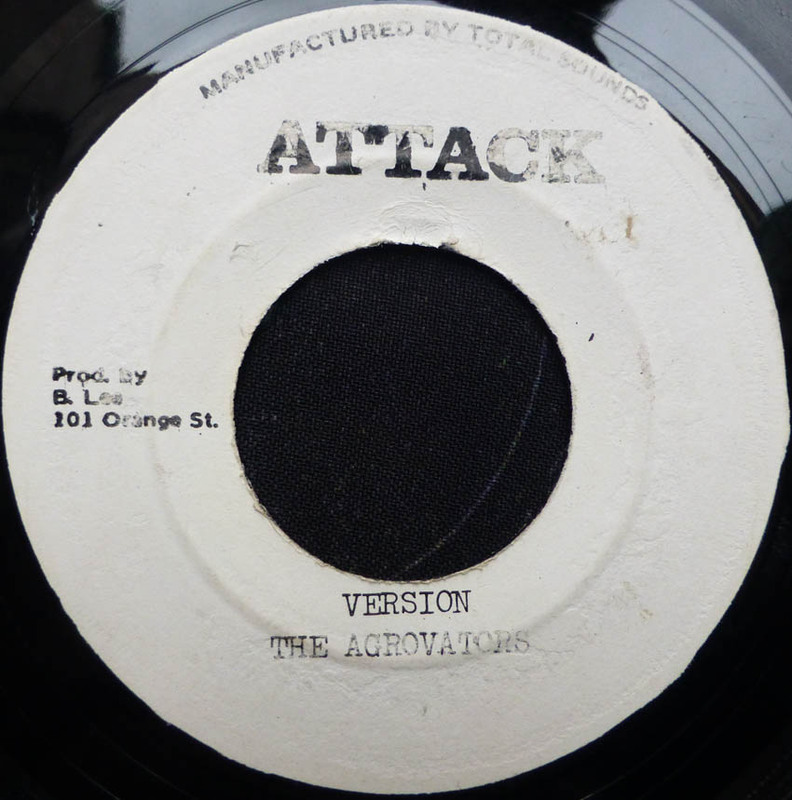 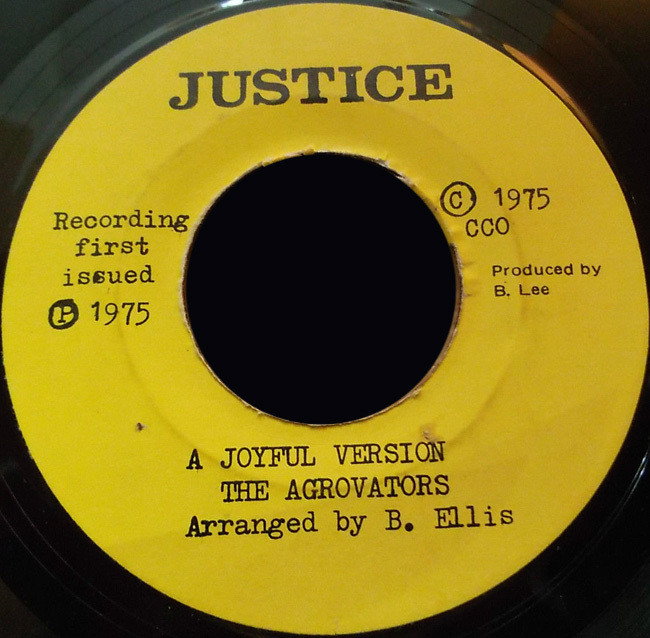 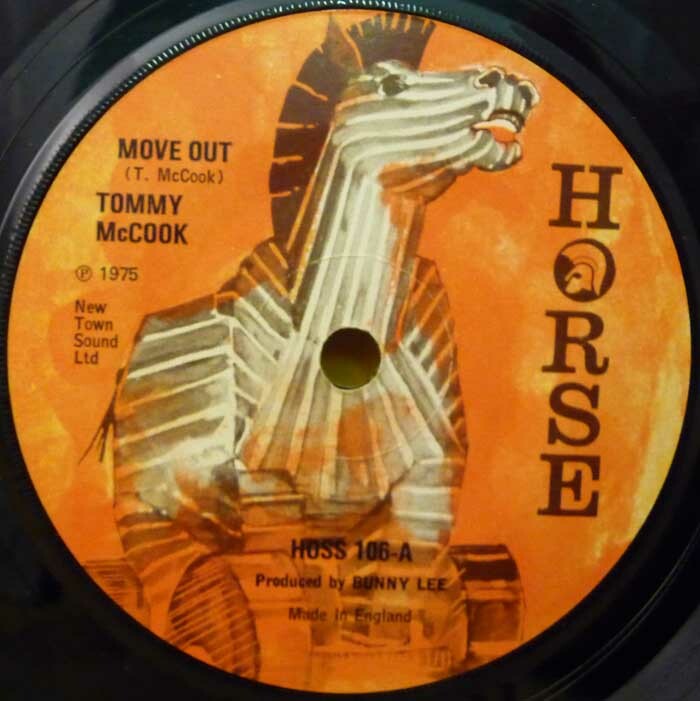 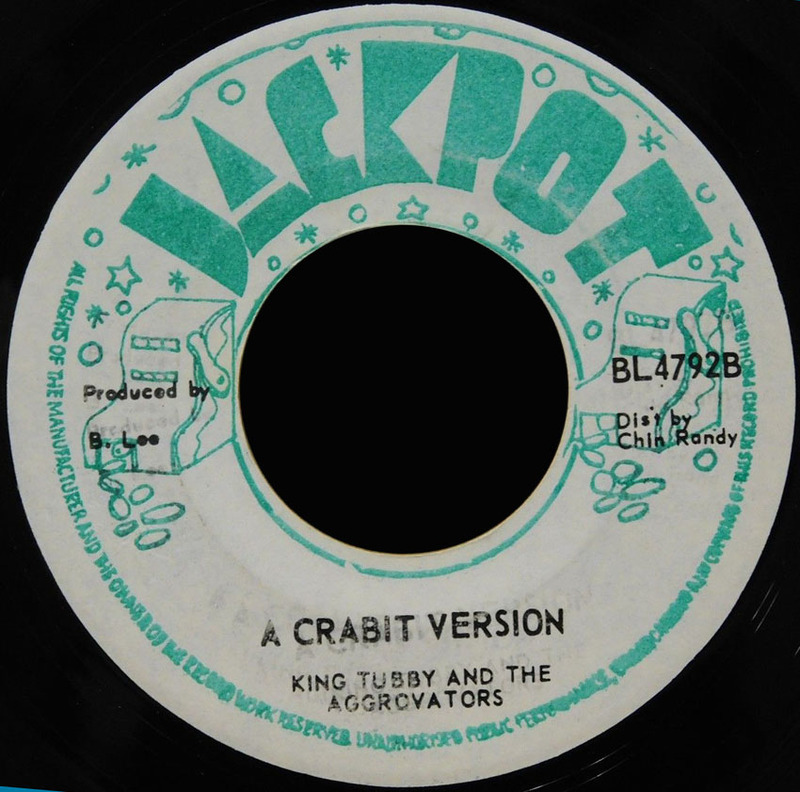 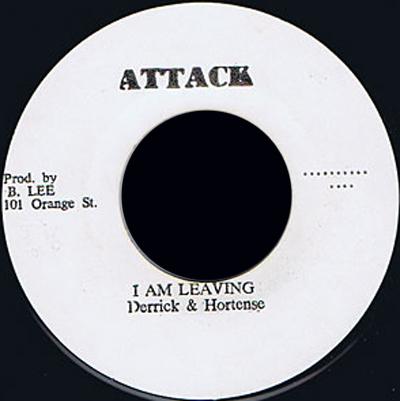 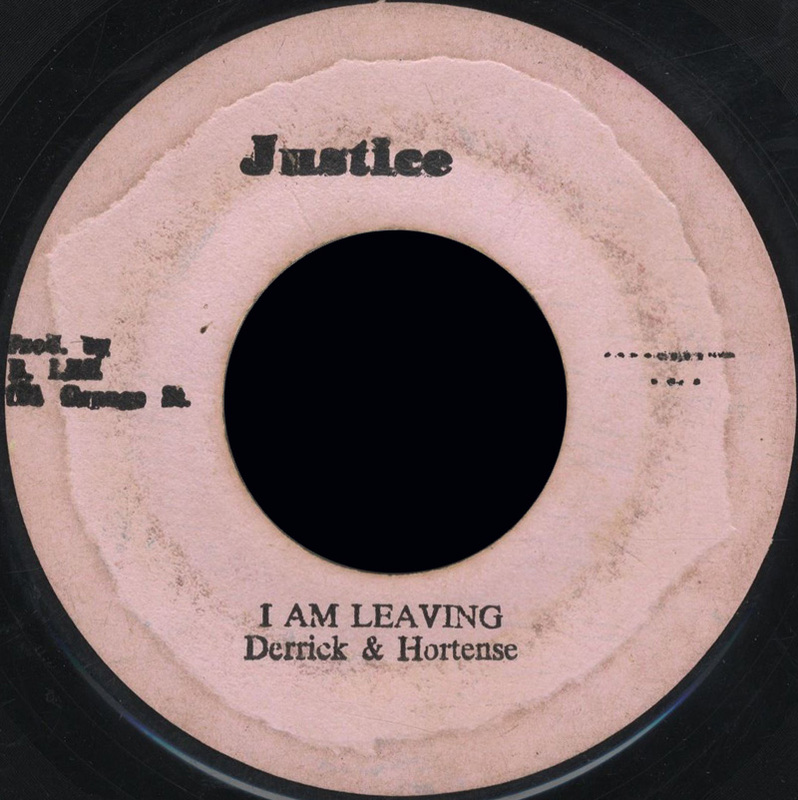 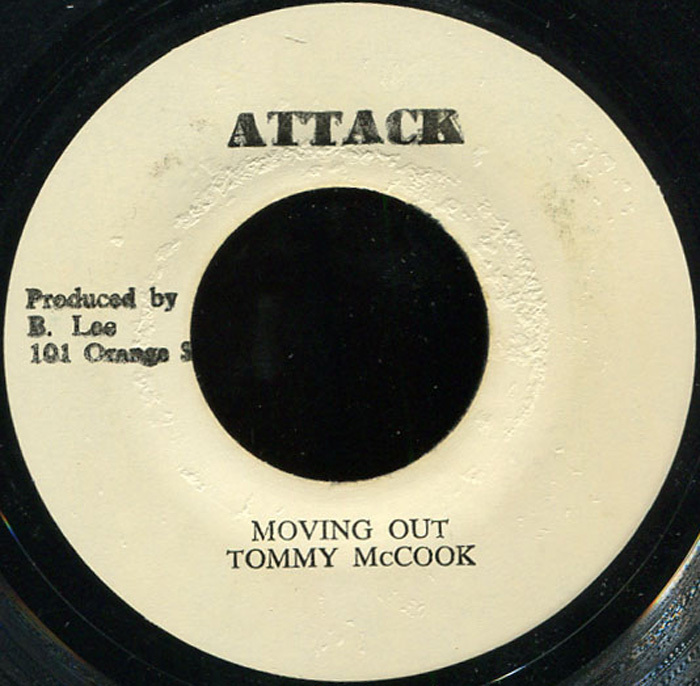 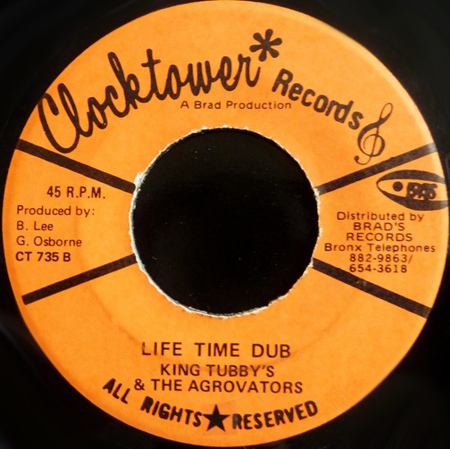 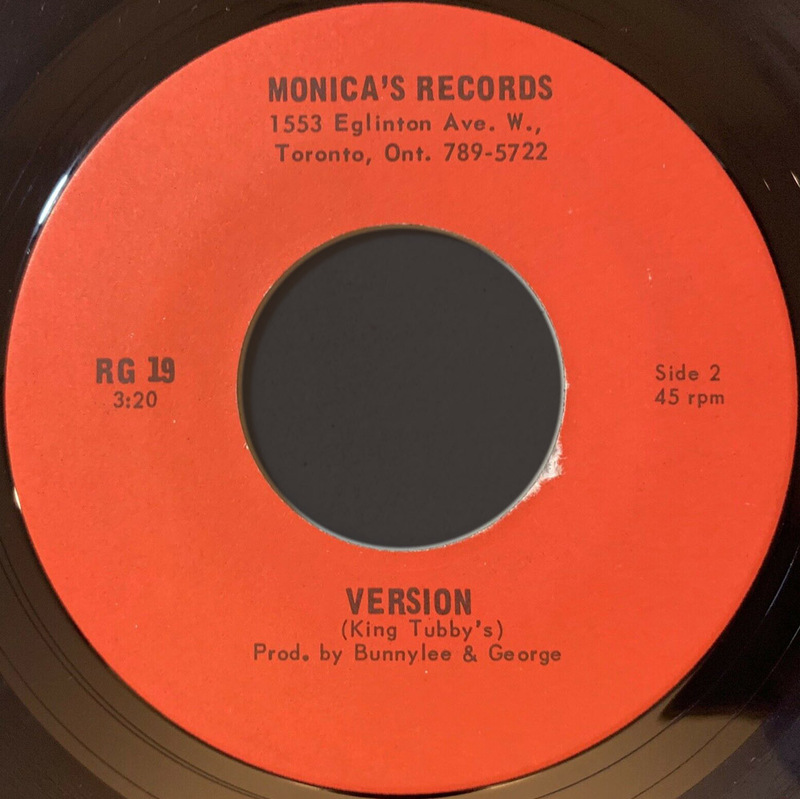 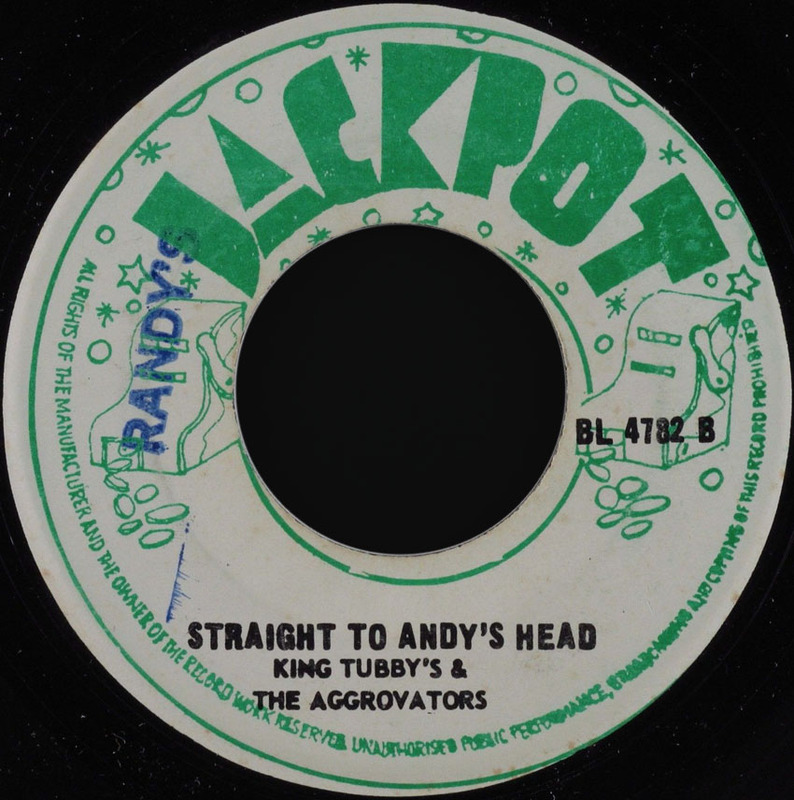 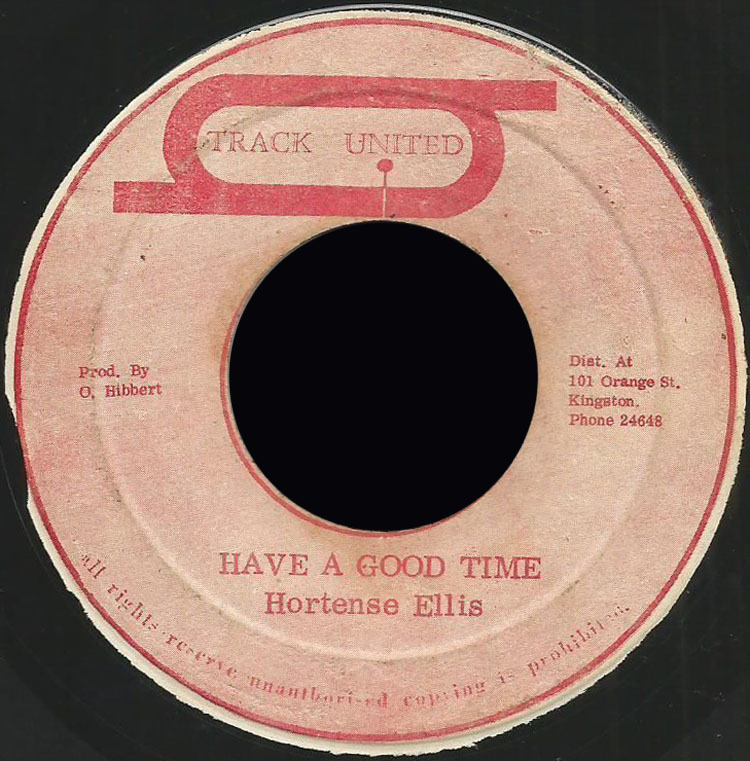 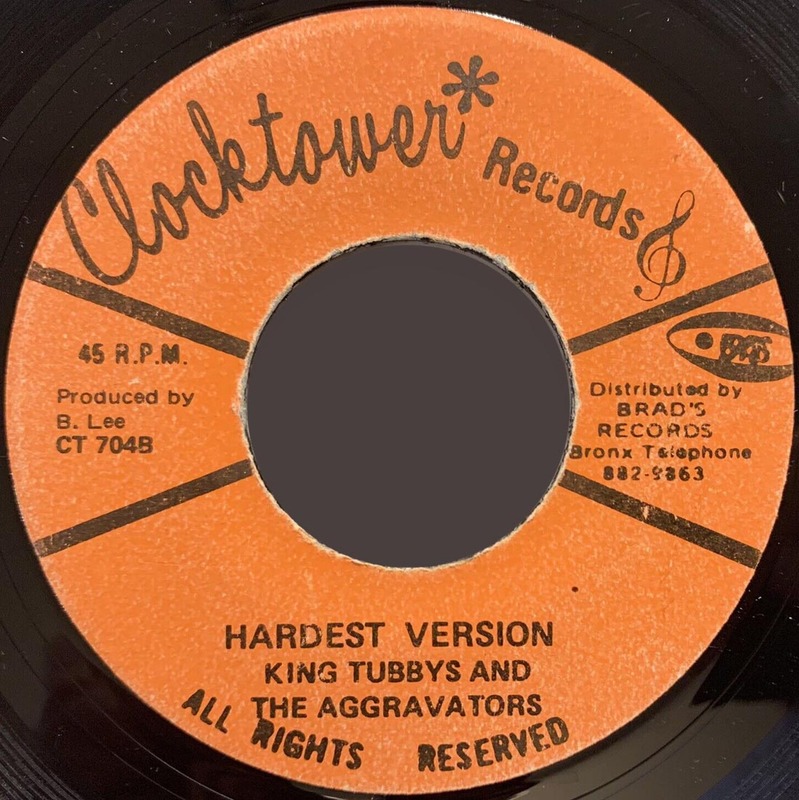 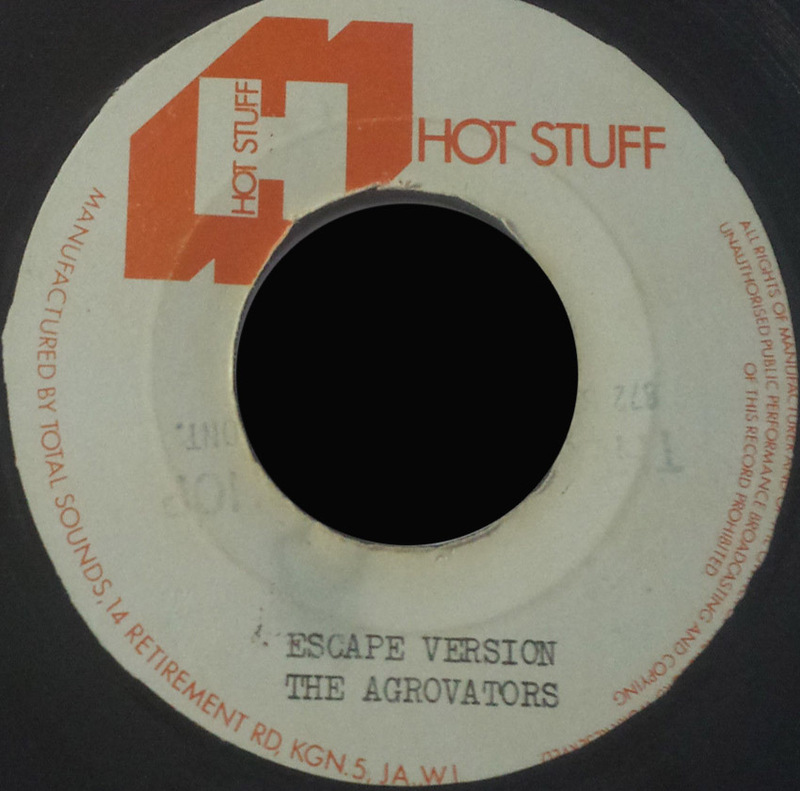 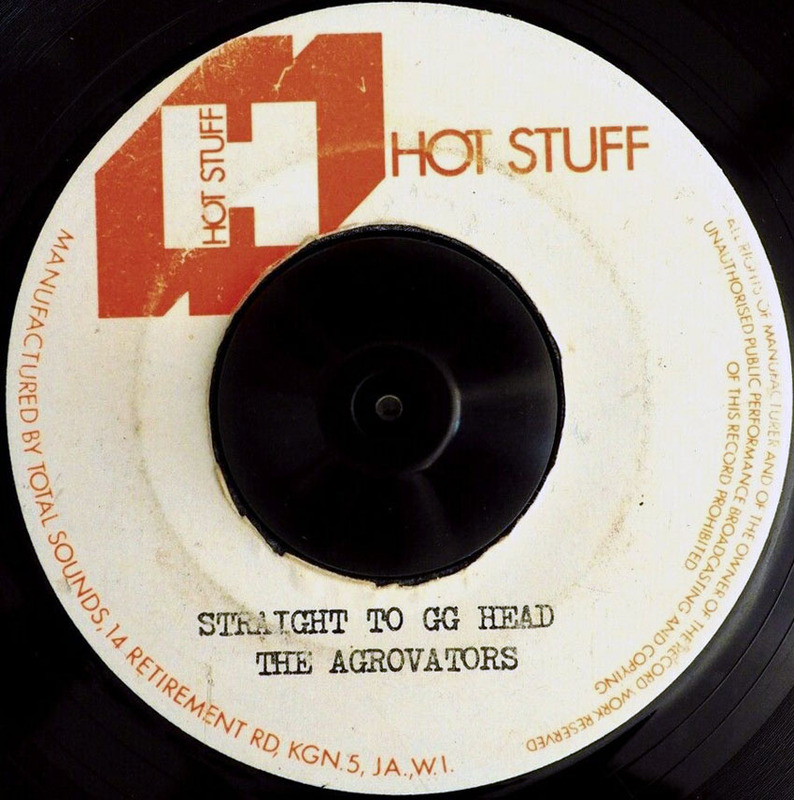 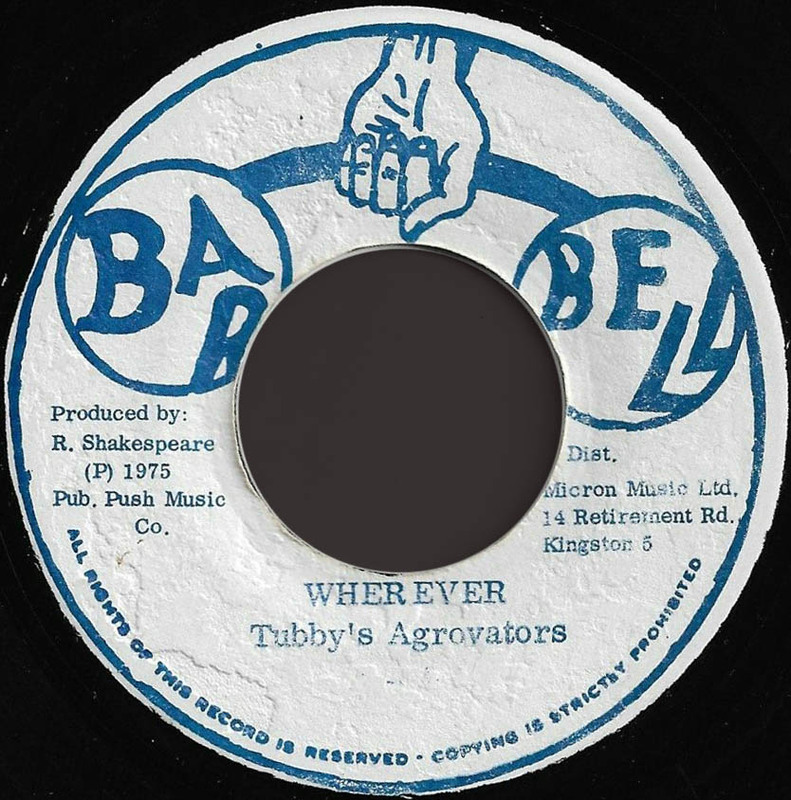 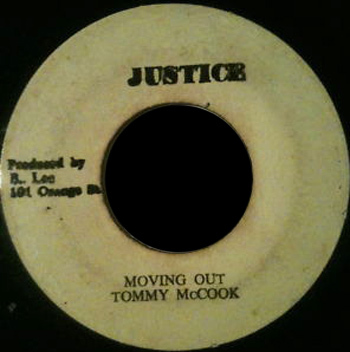 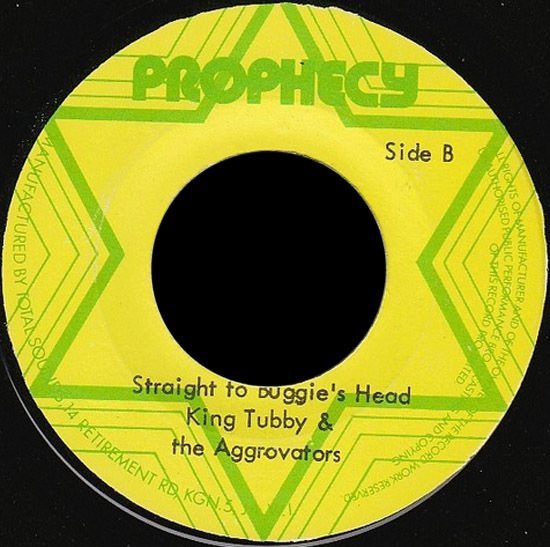 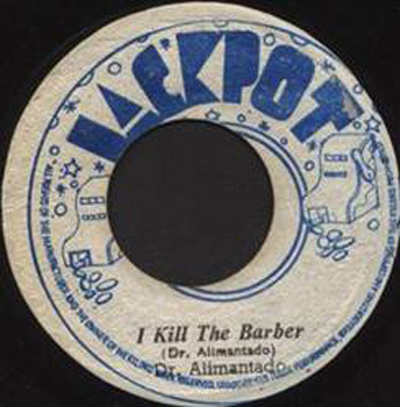 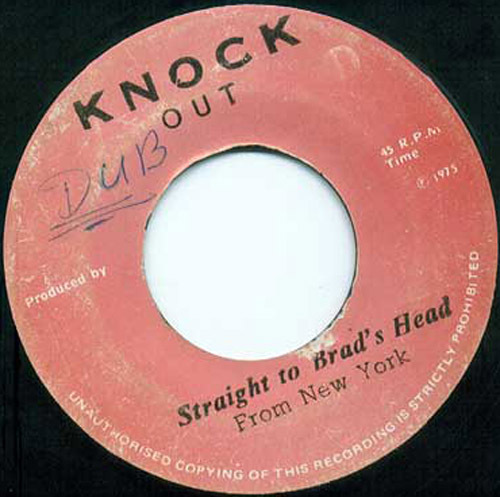 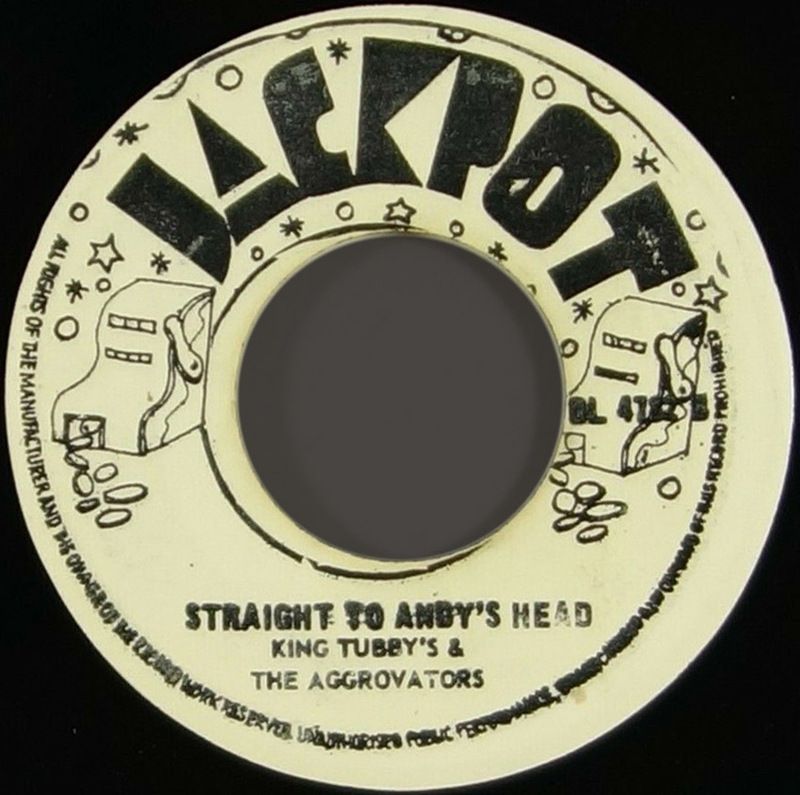 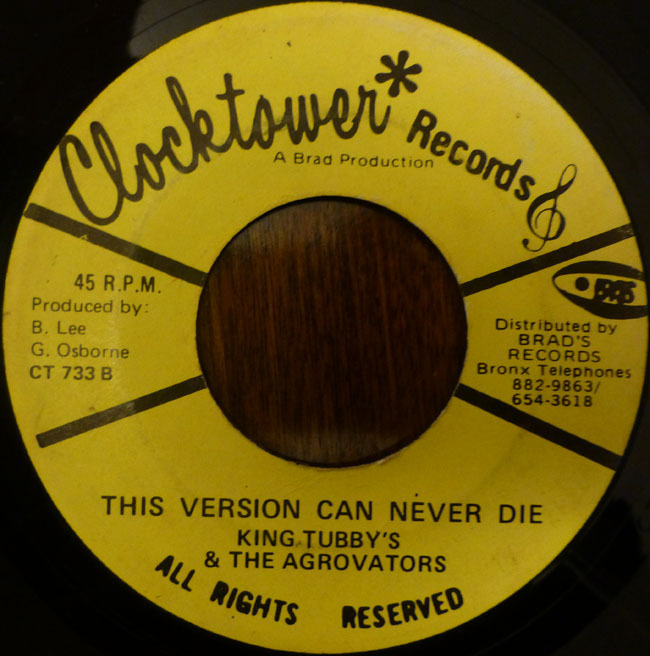 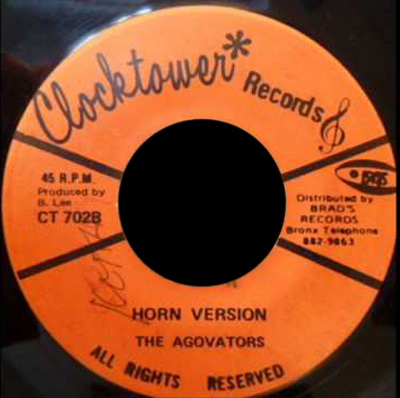 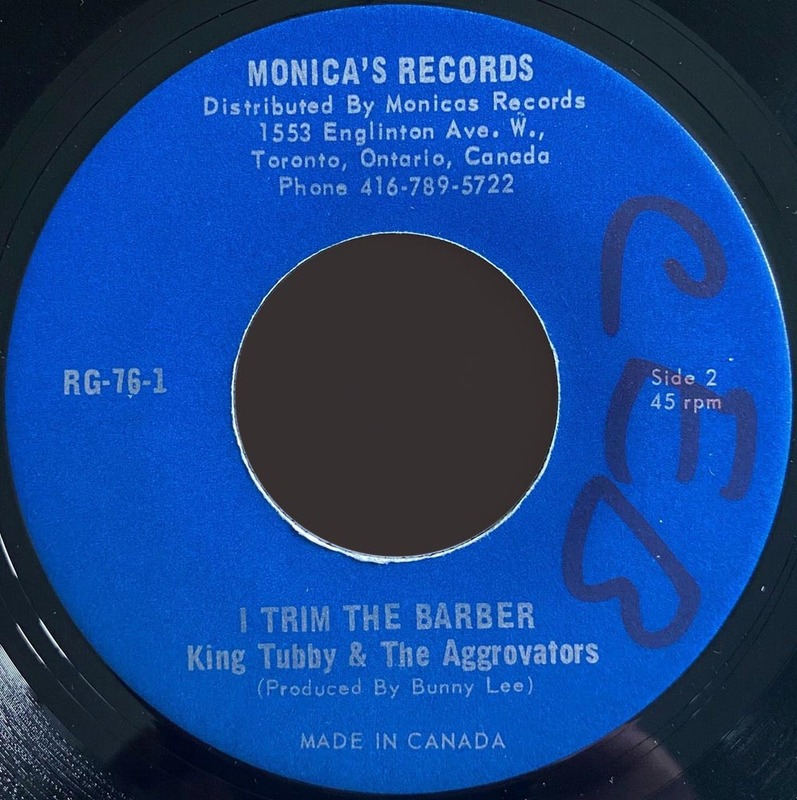 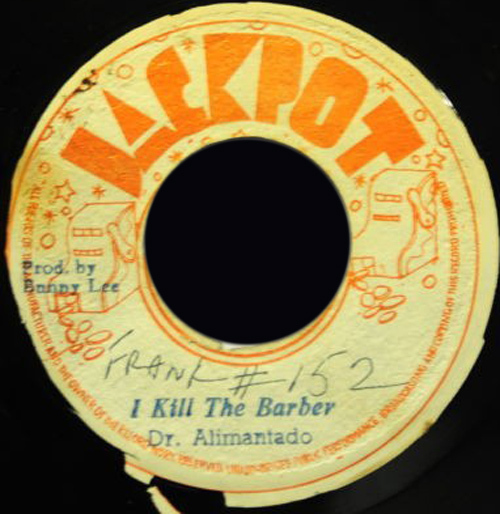 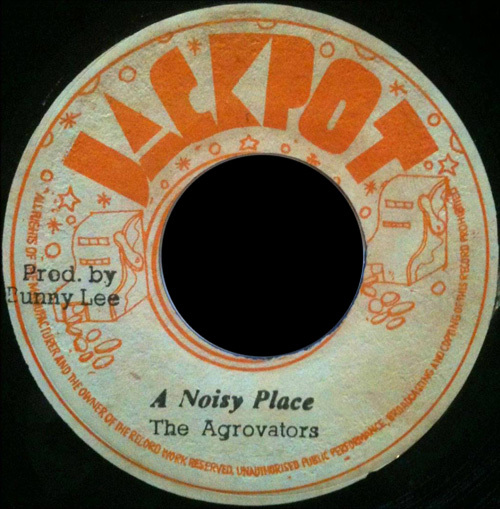 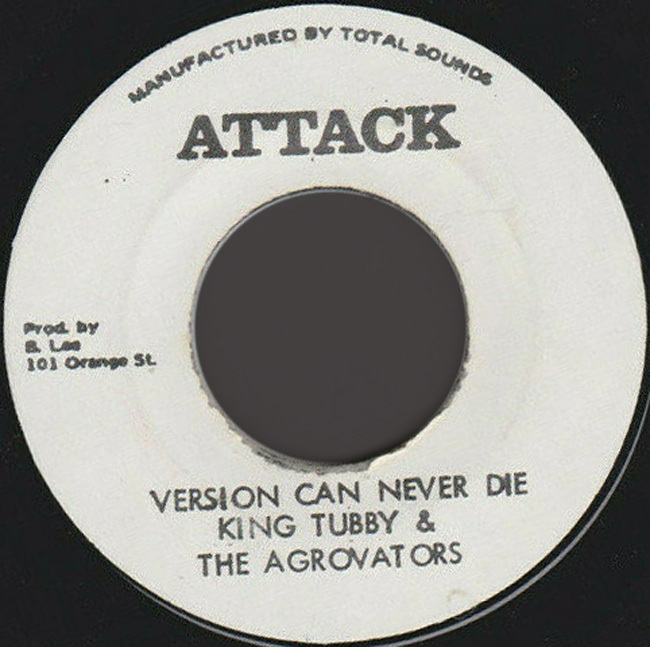 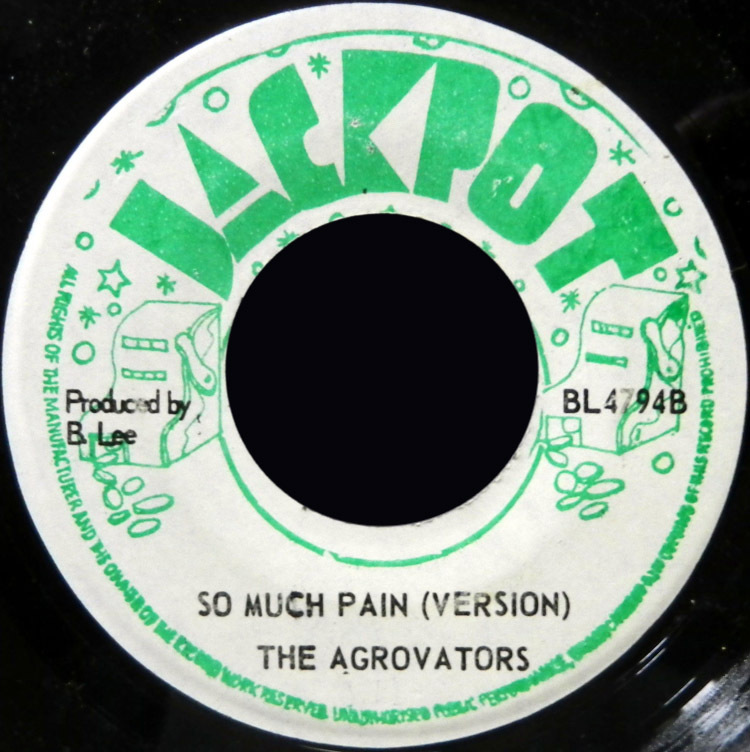 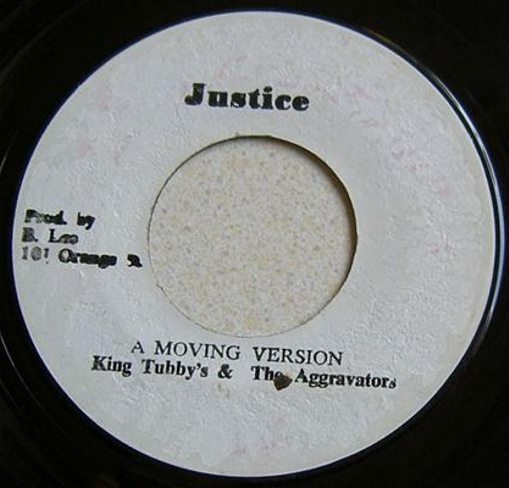 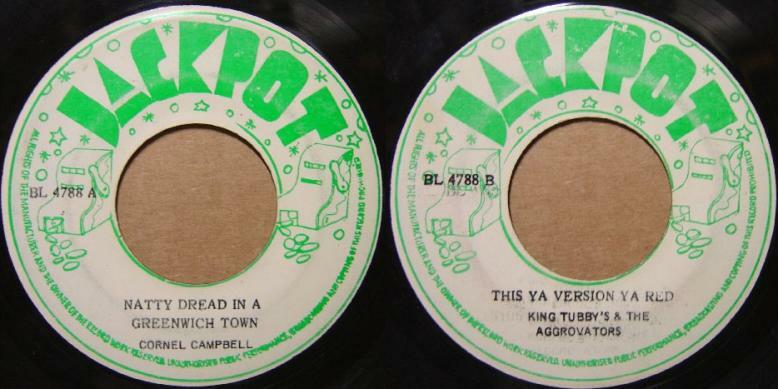 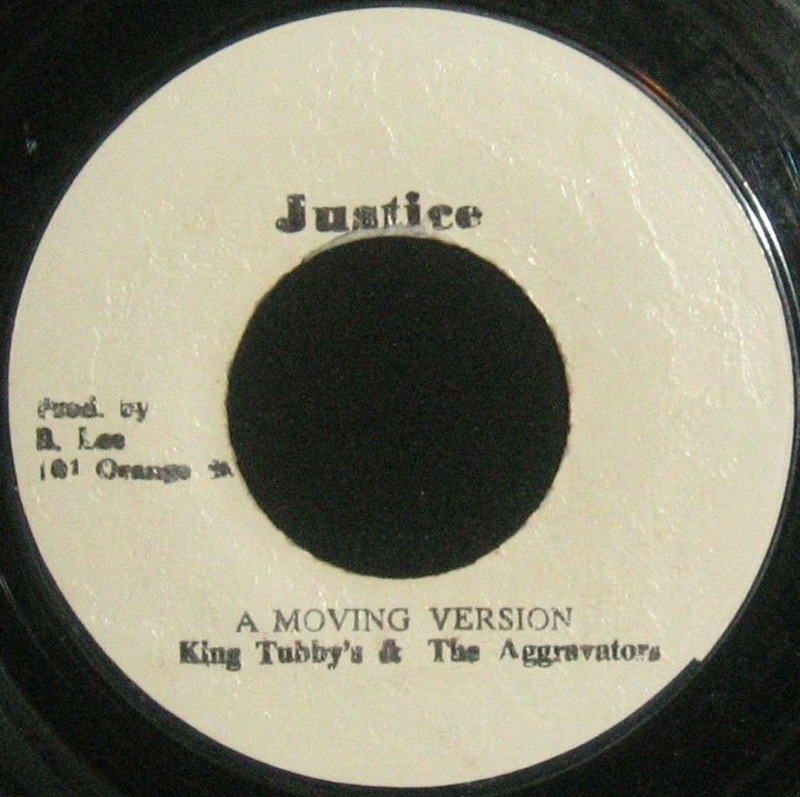 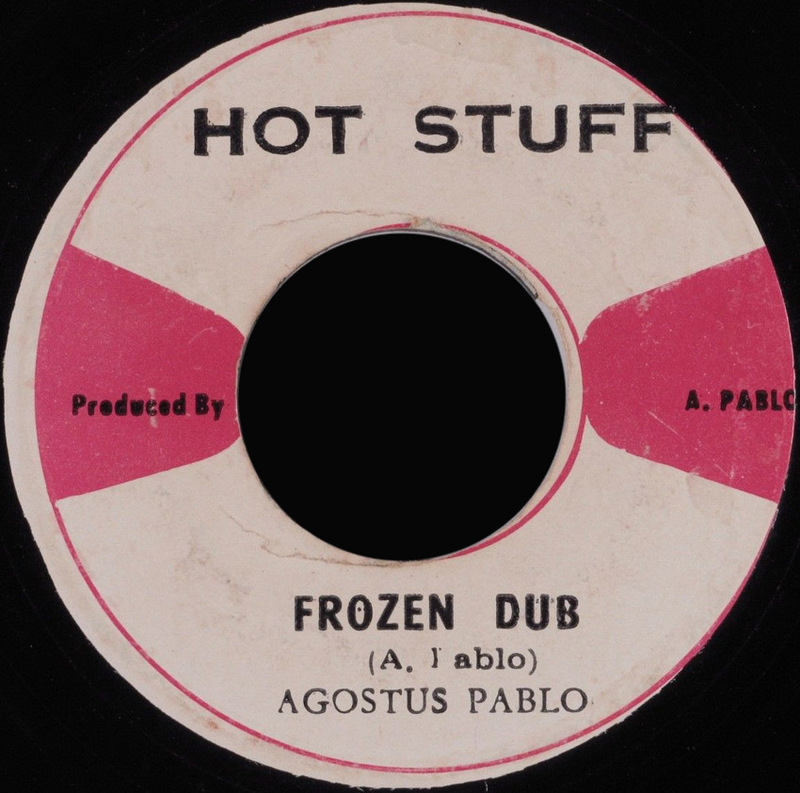 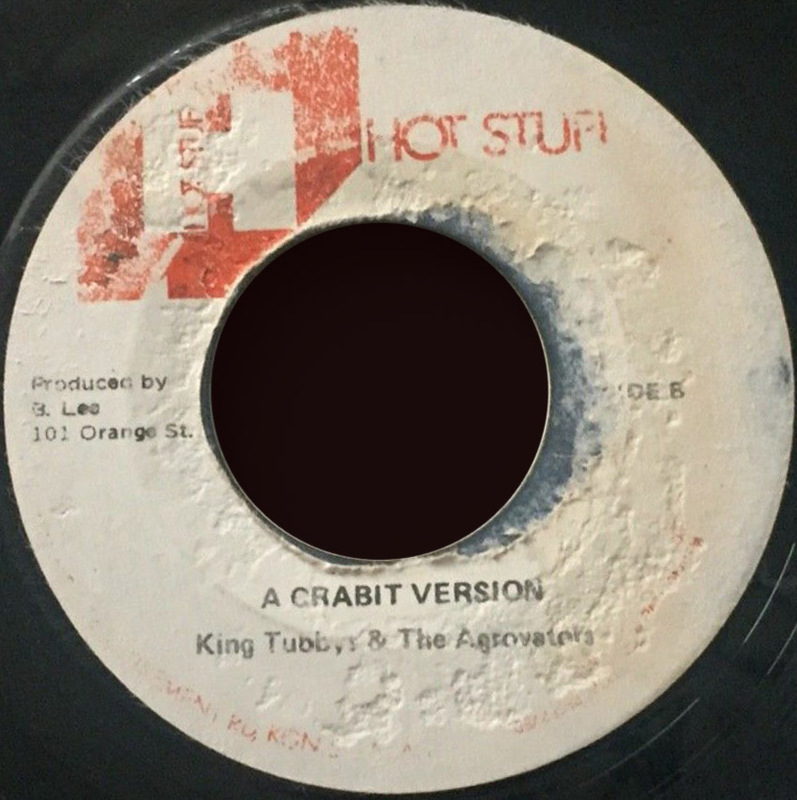 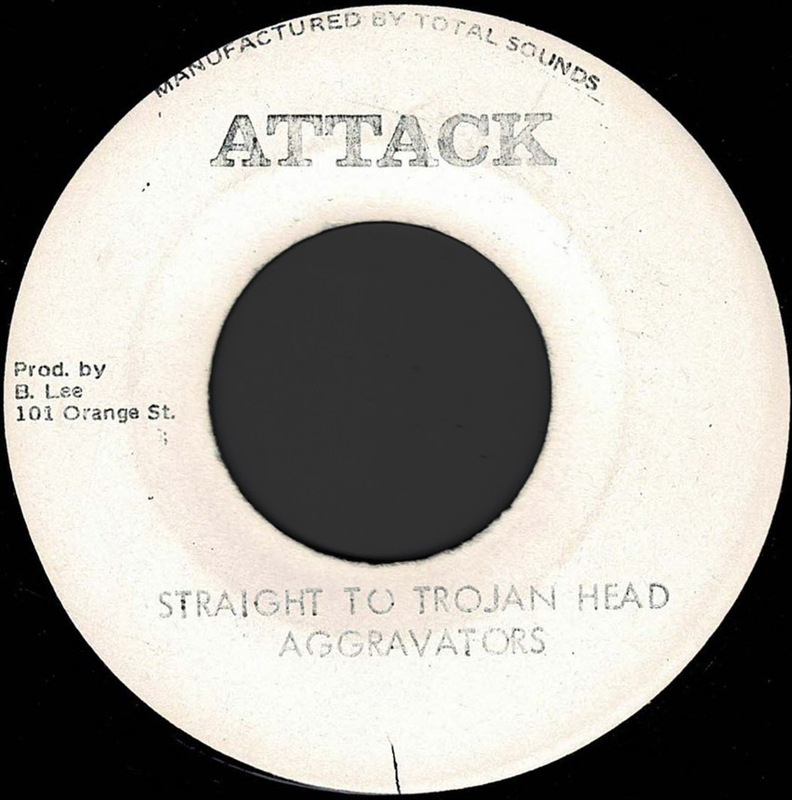 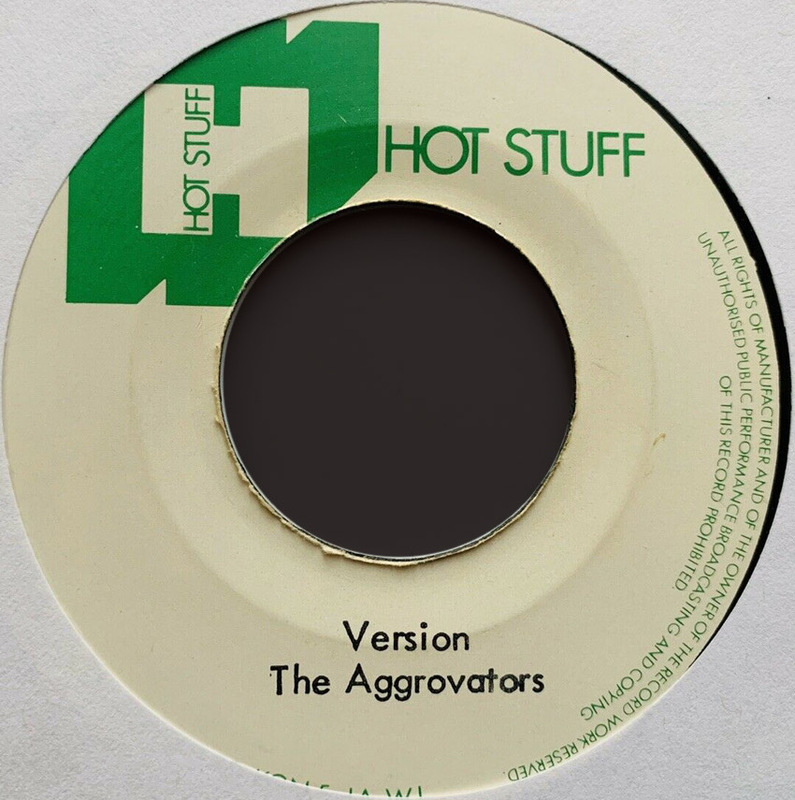 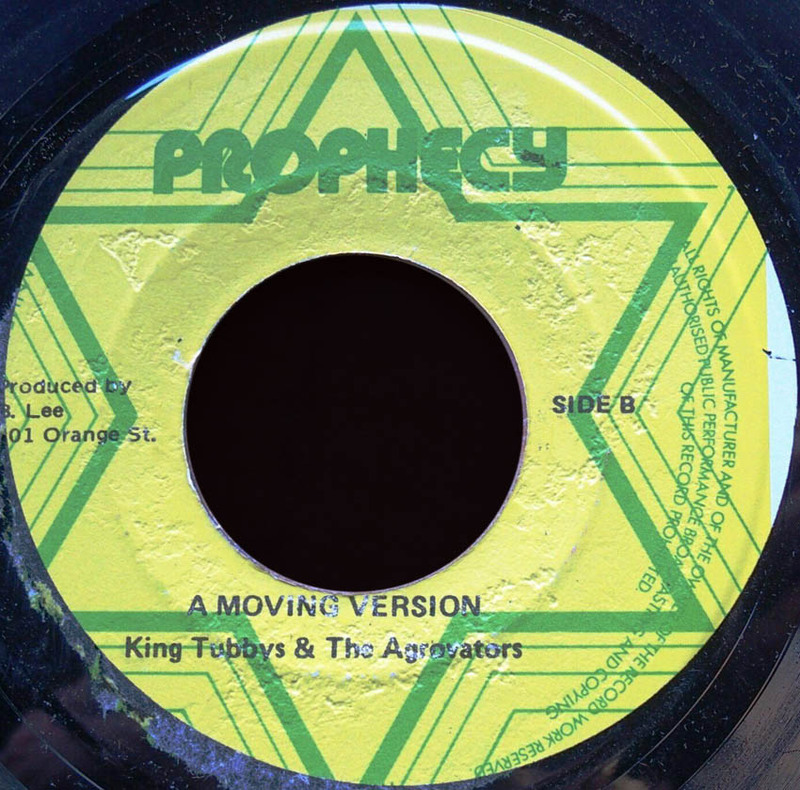 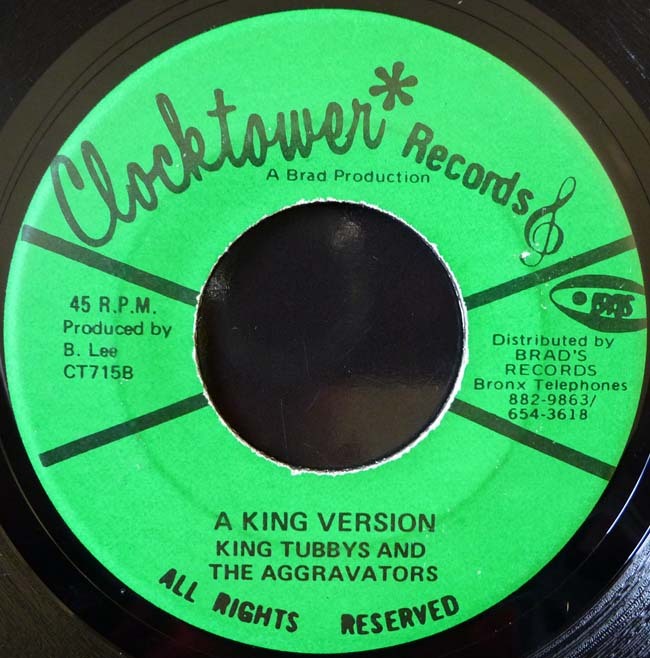 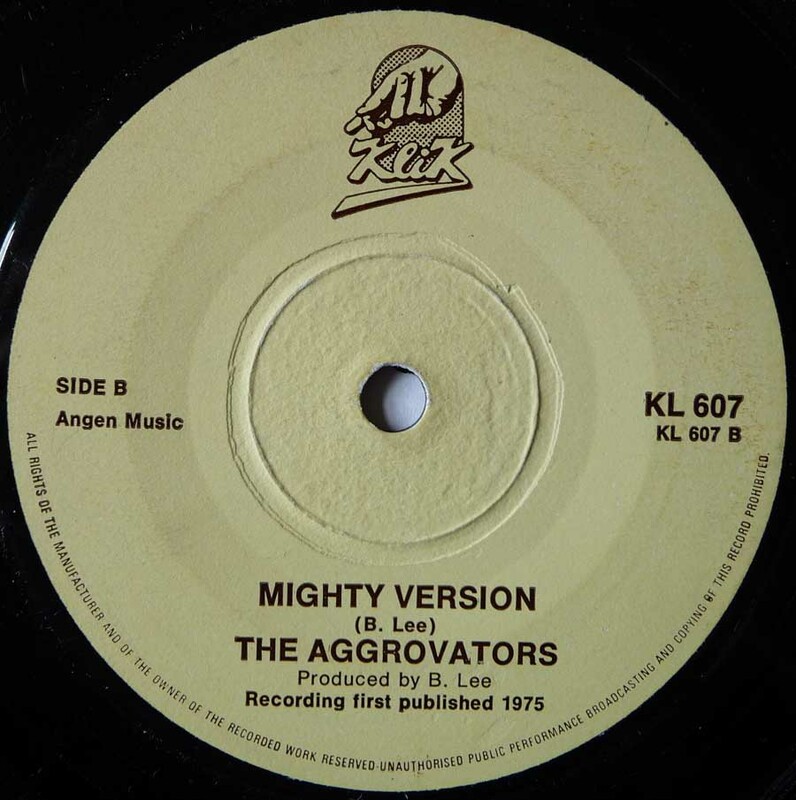 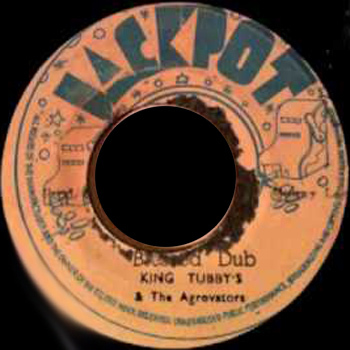 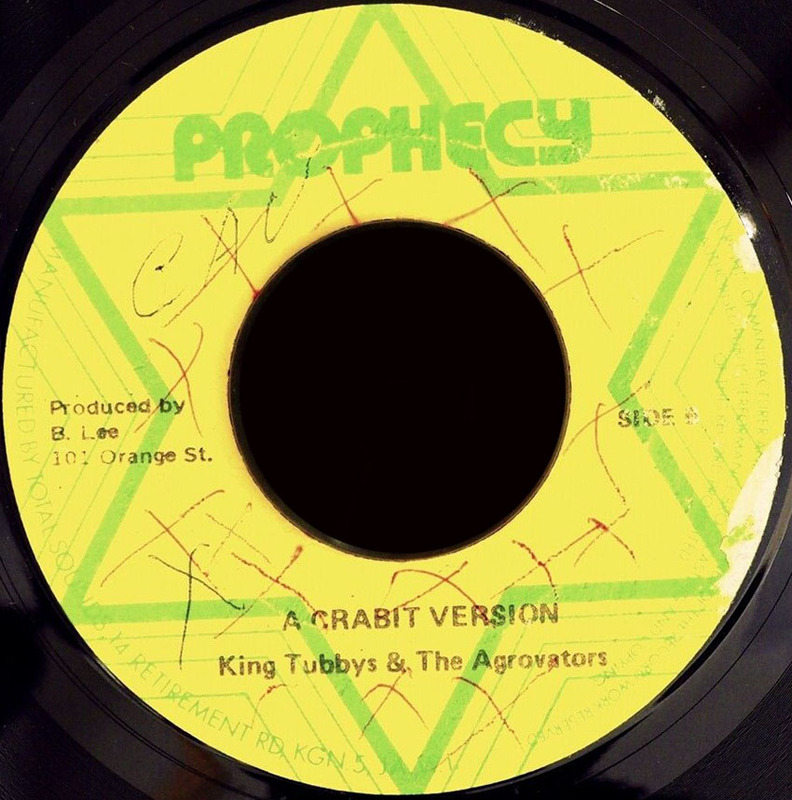 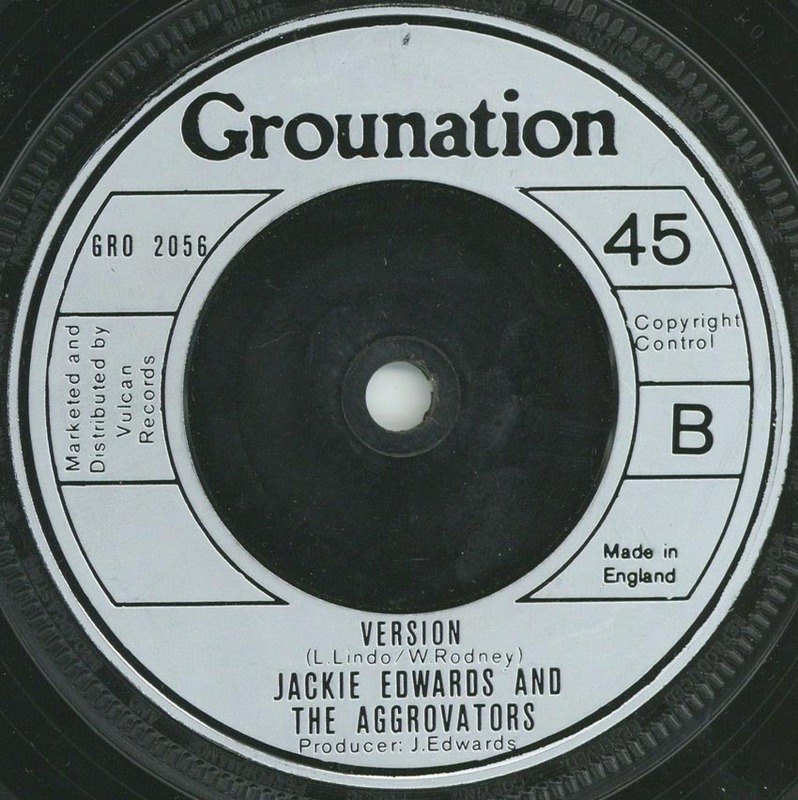 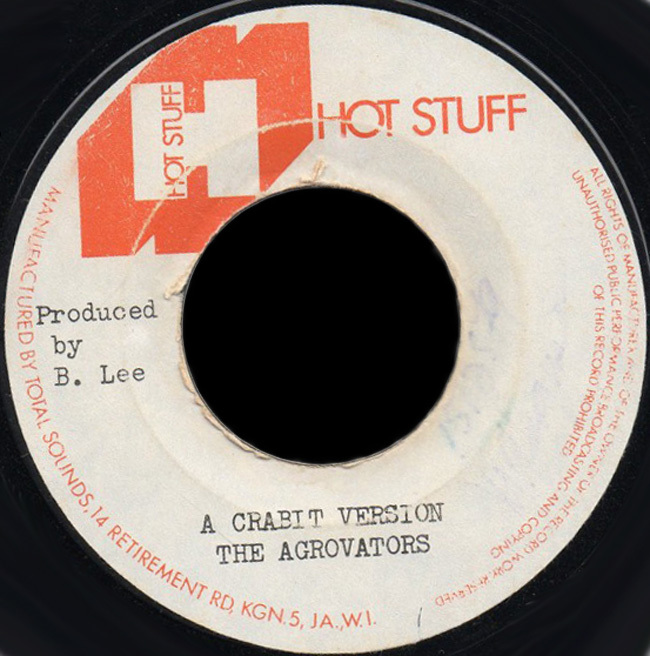 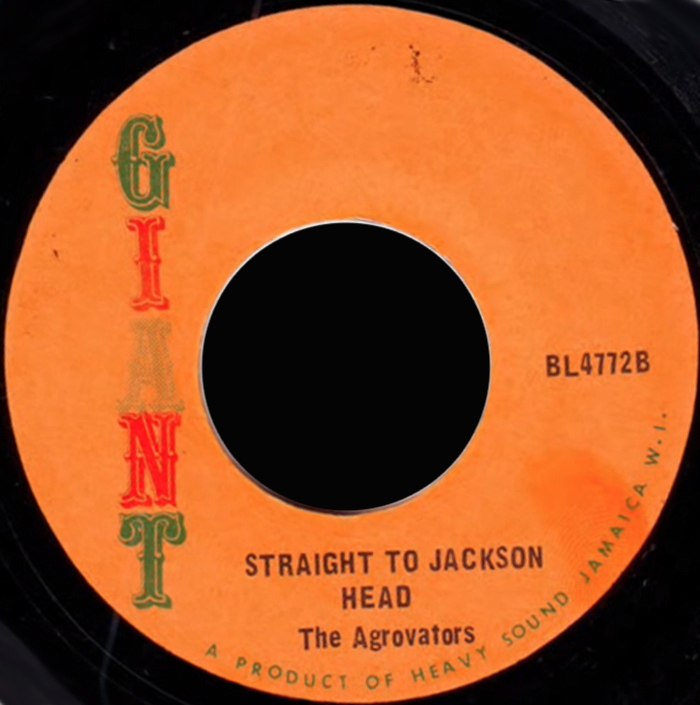 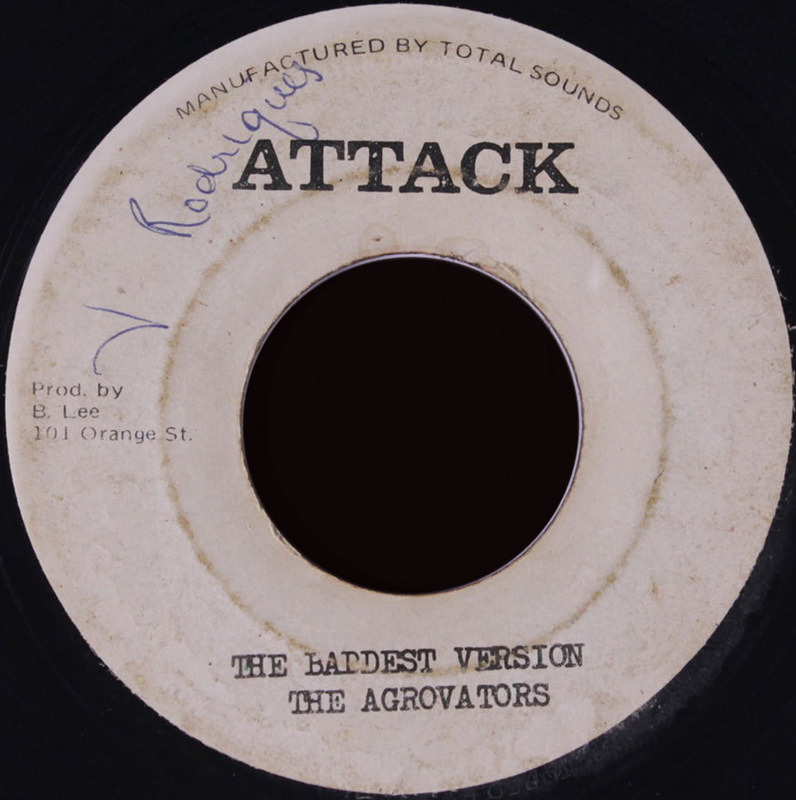 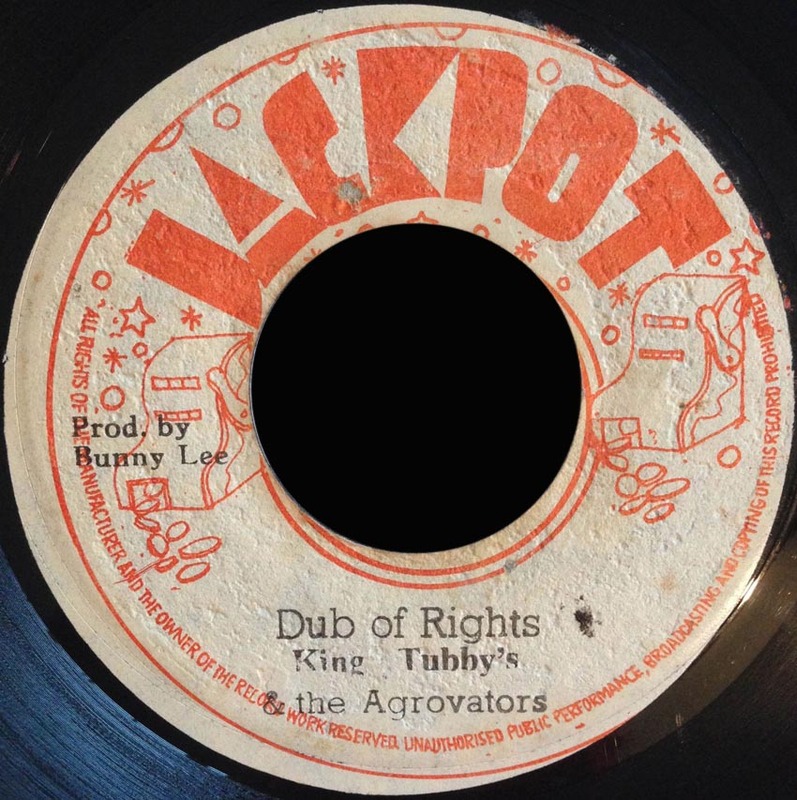 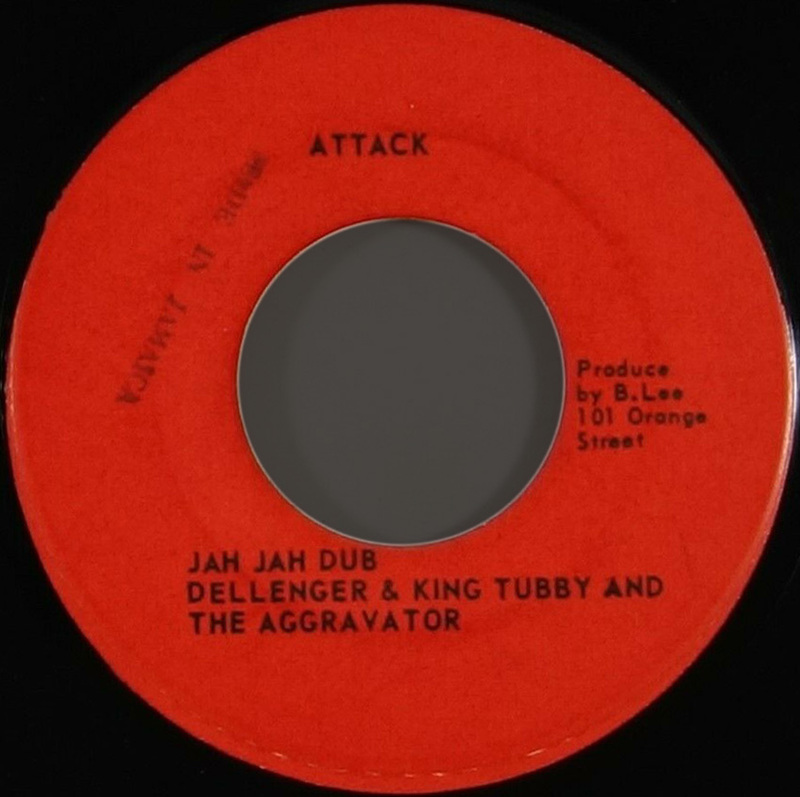 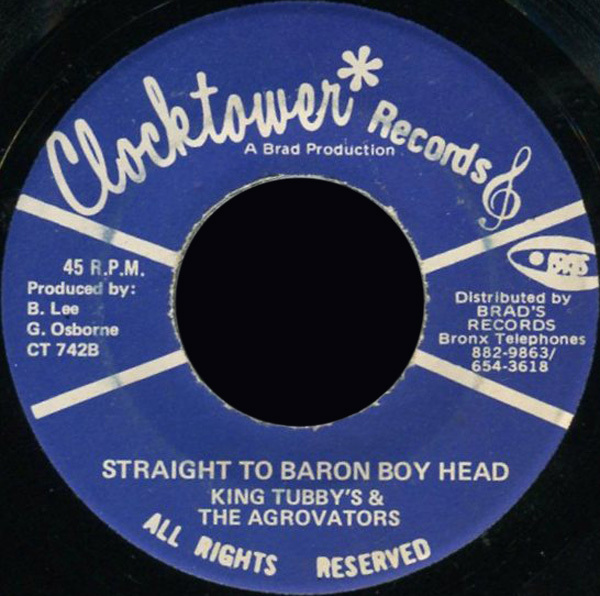 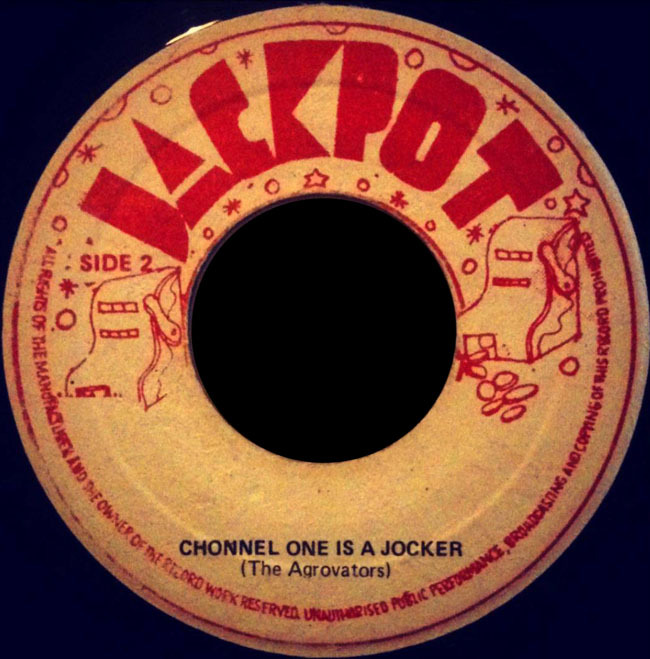 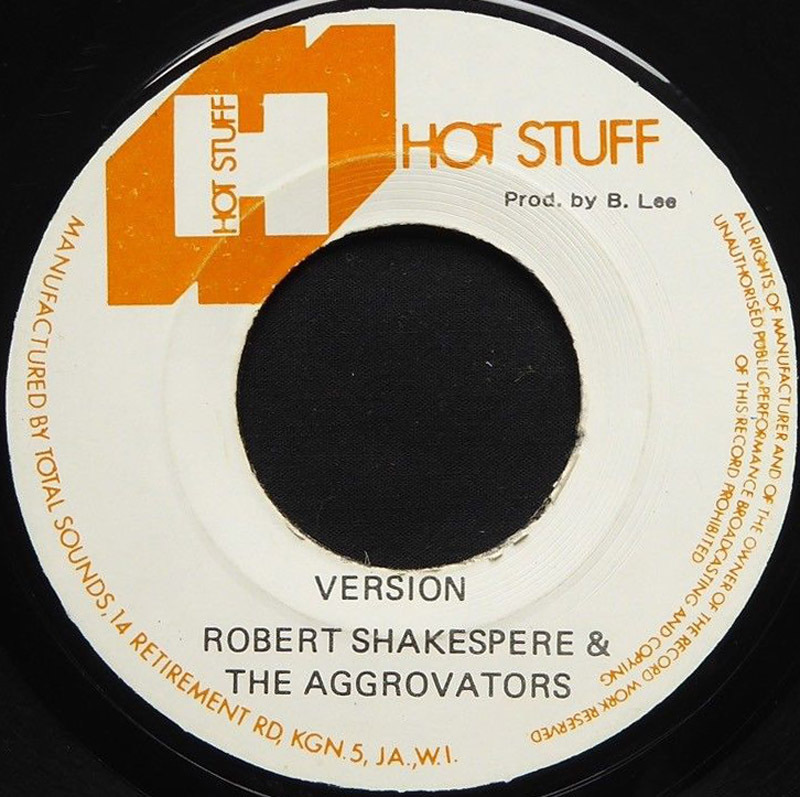 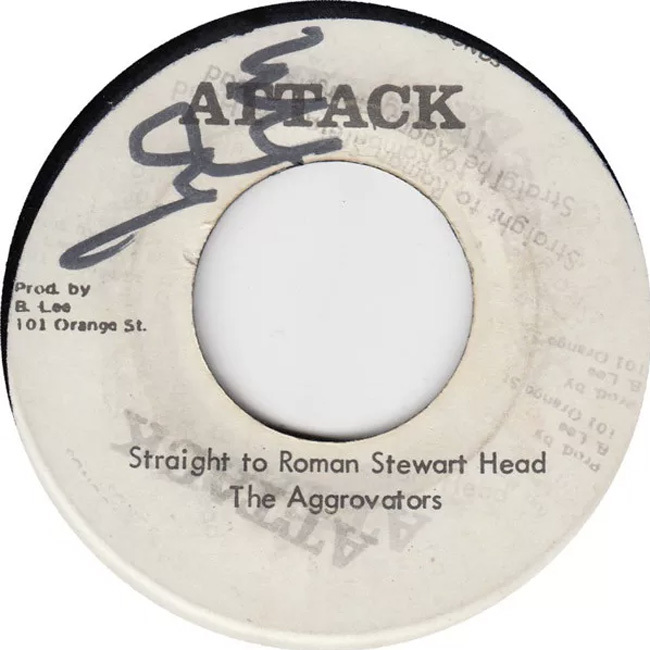 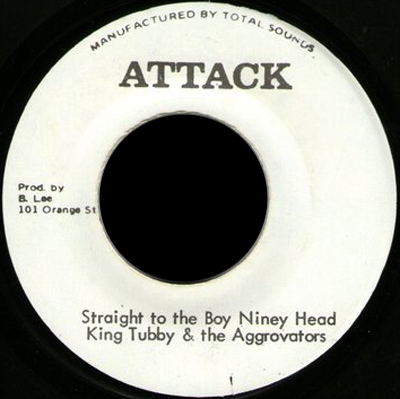 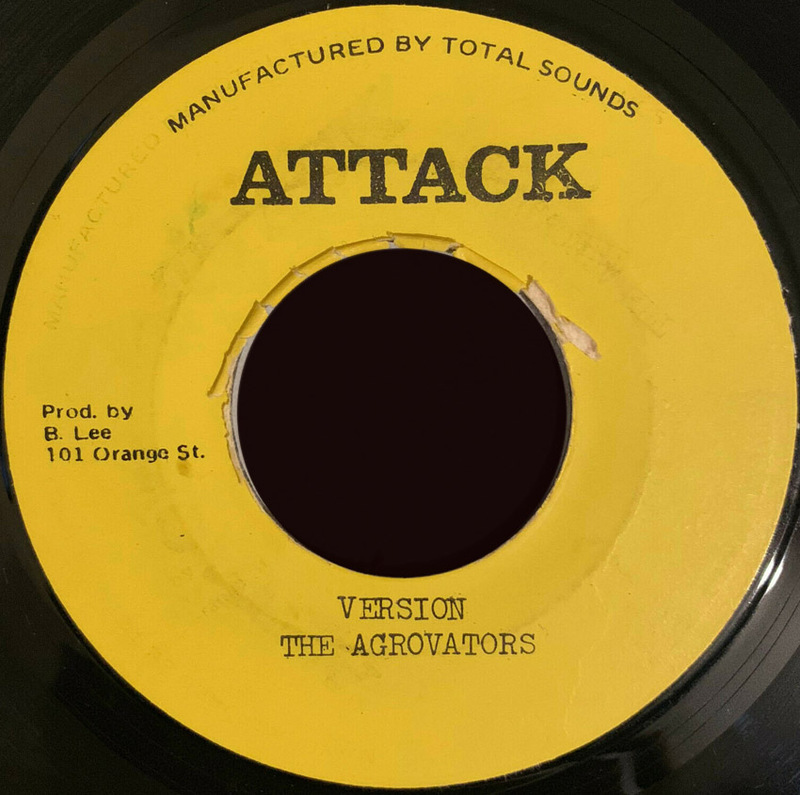 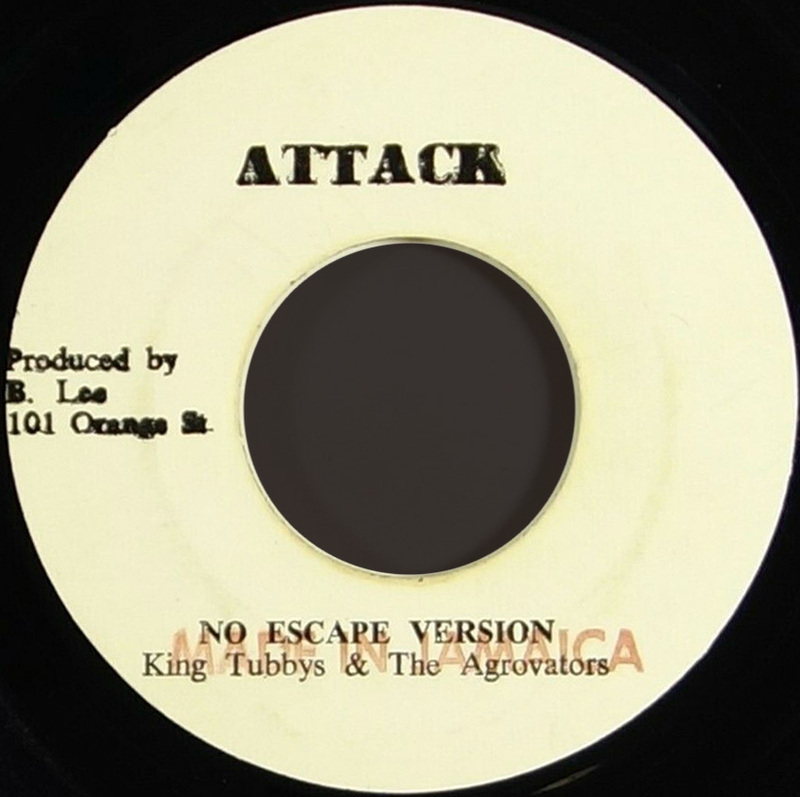 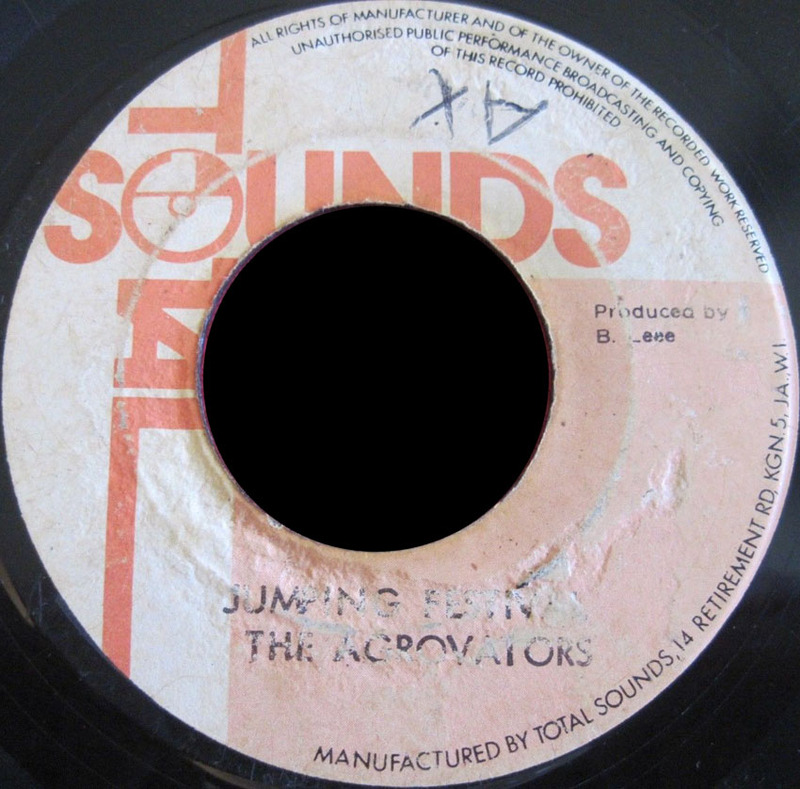 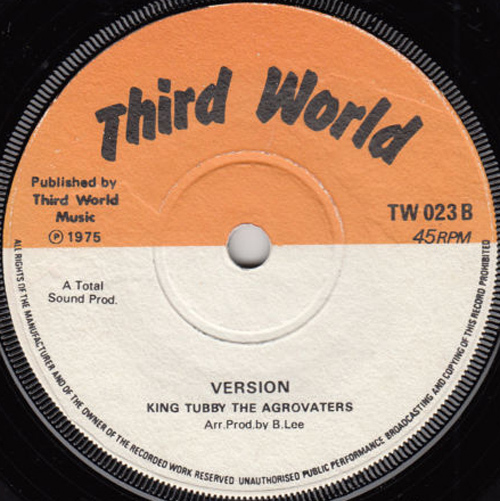 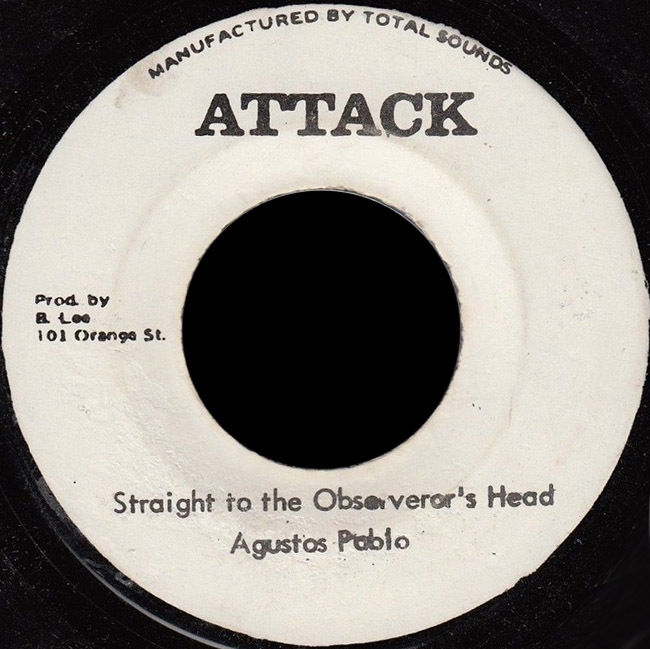 7" I Am Leaving Derrick & Hortense A Drastic Version King Tubby And The Aggrovators JA. Attack Bunny Lee Pr. 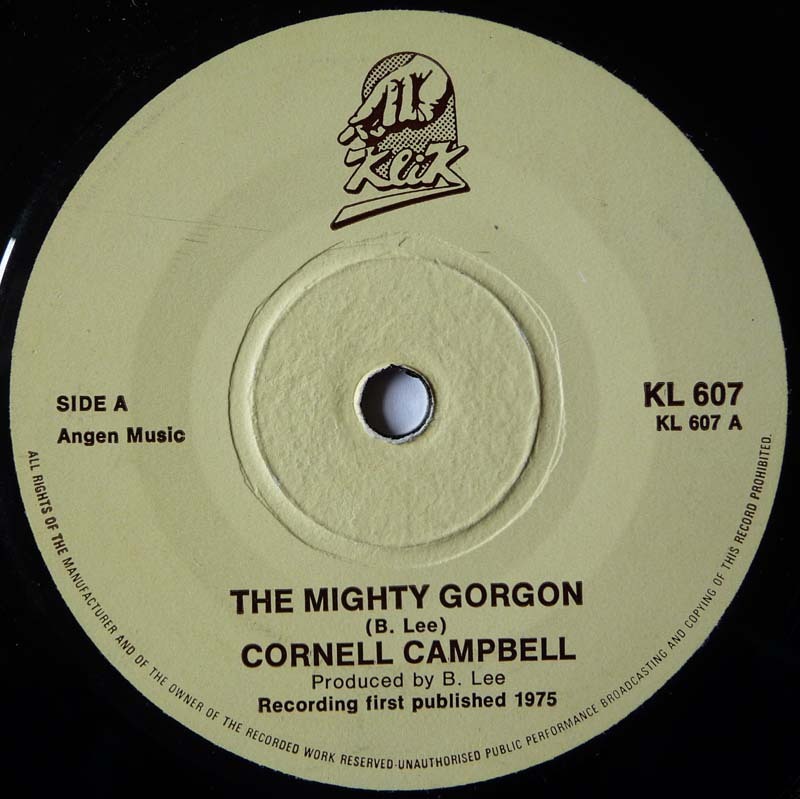 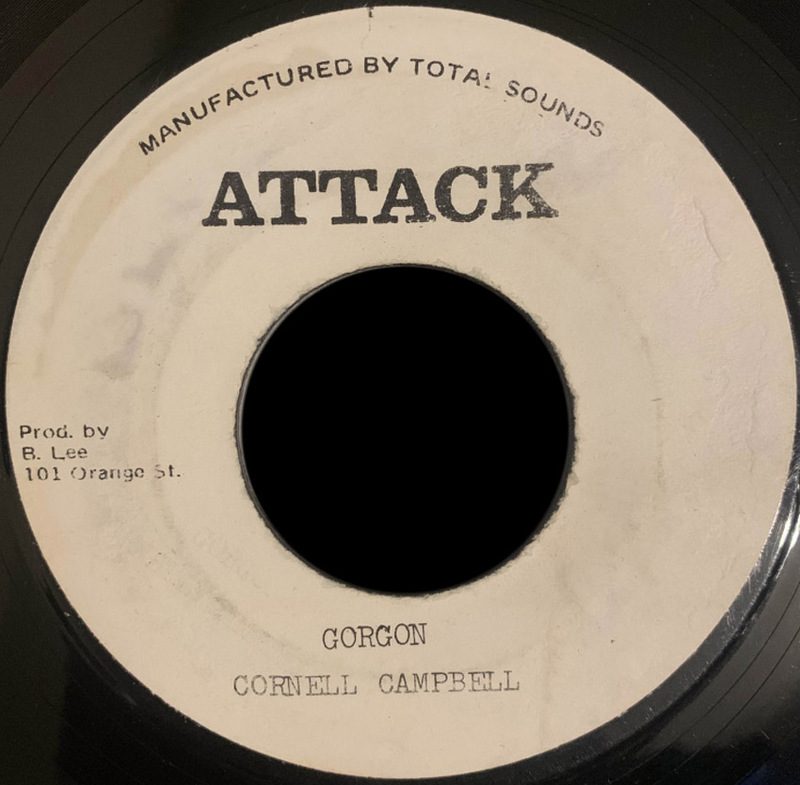 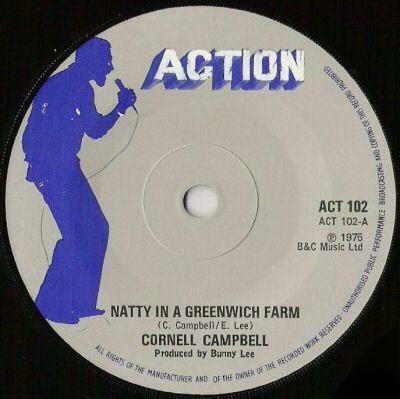 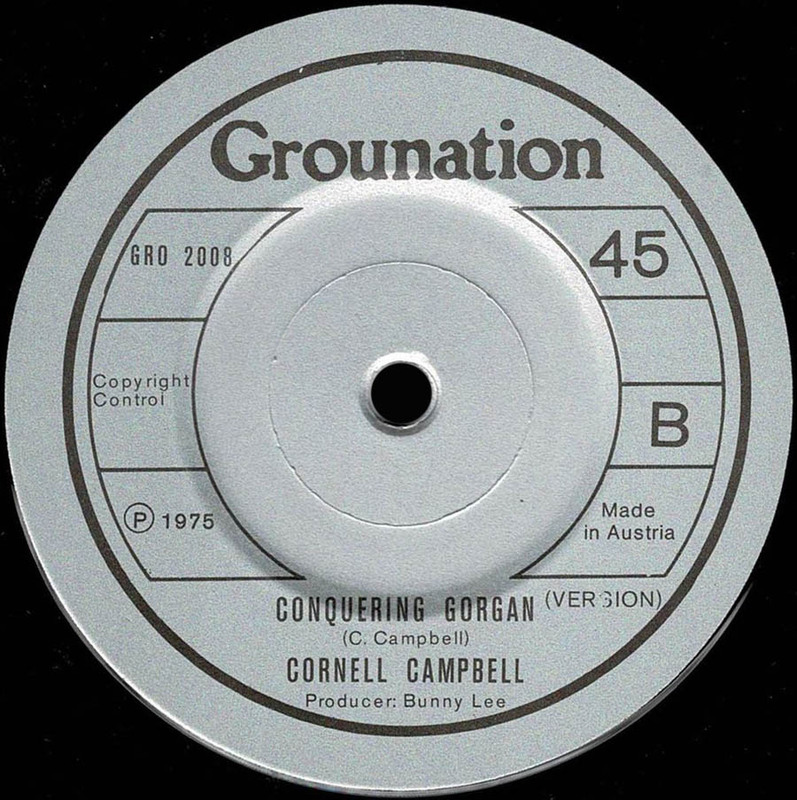 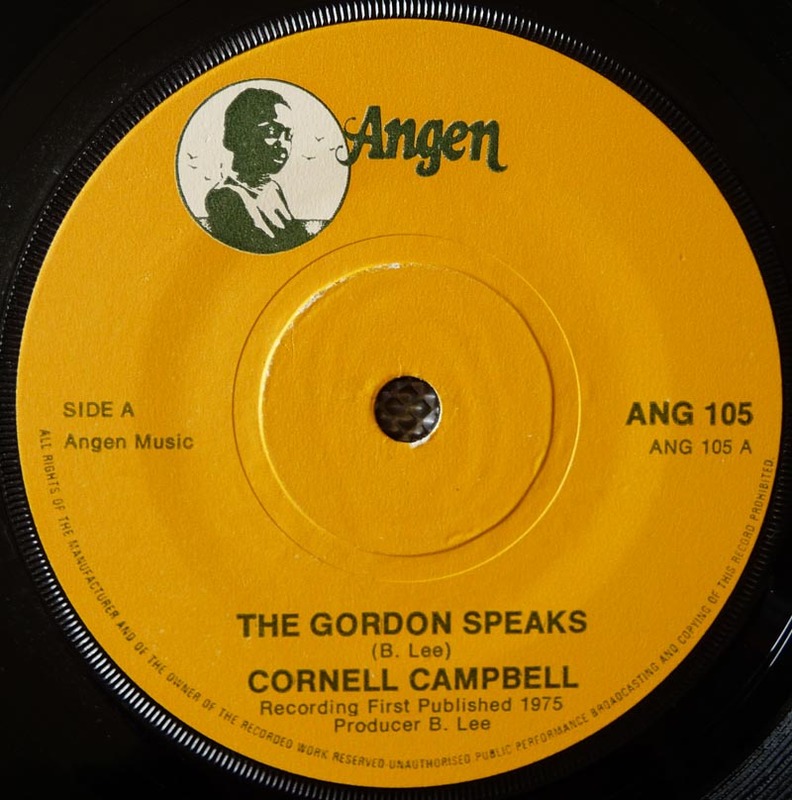 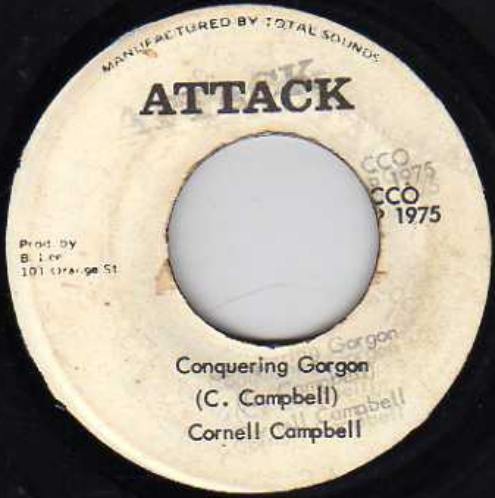 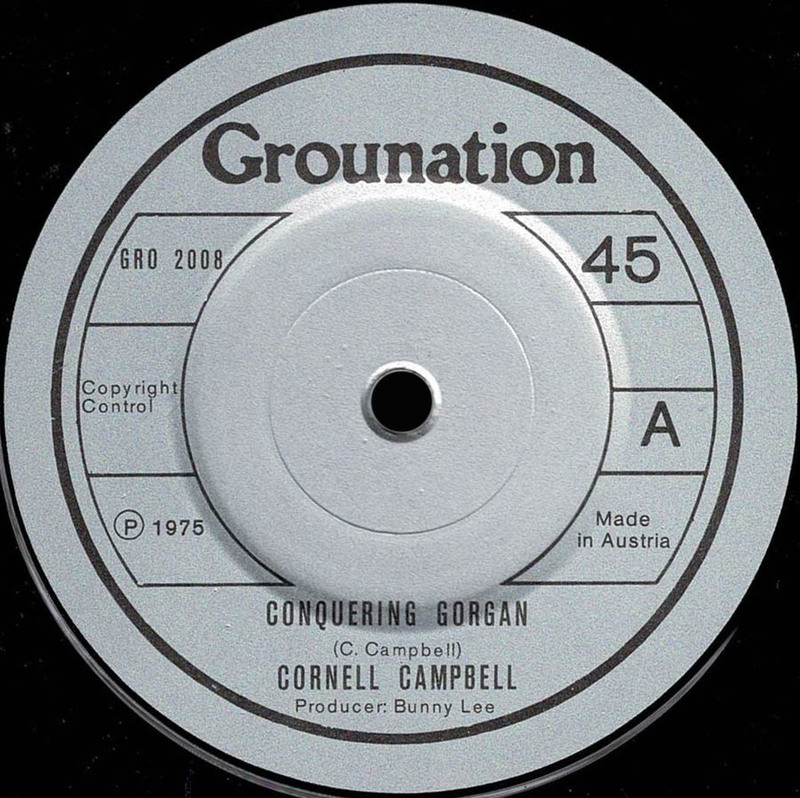 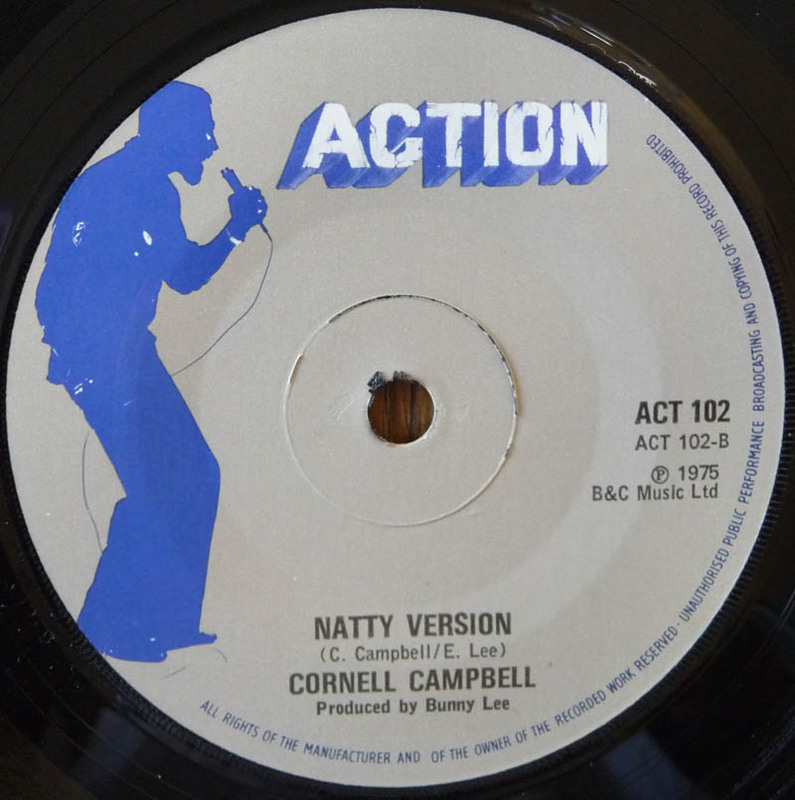 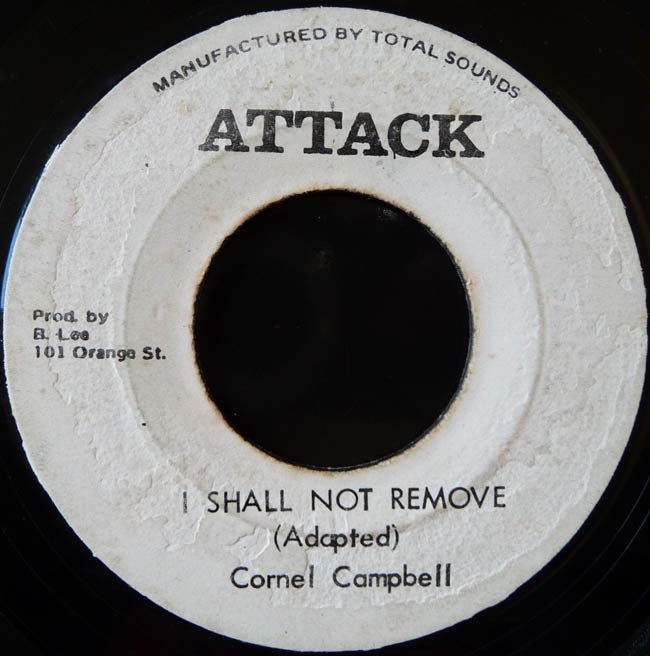 1975 7" I Shall Not Remove Cornell Campbell Version Aggrovators UK. 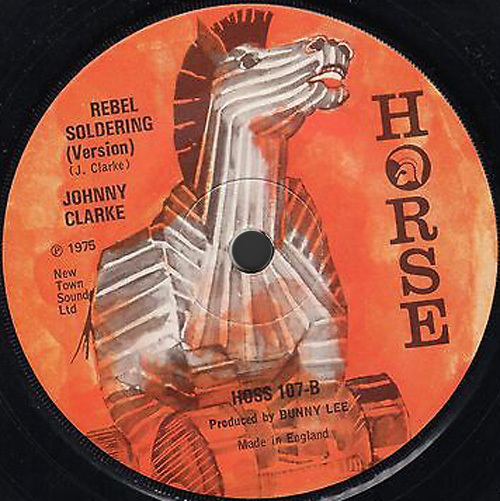 Horse HOSS 94 ?? 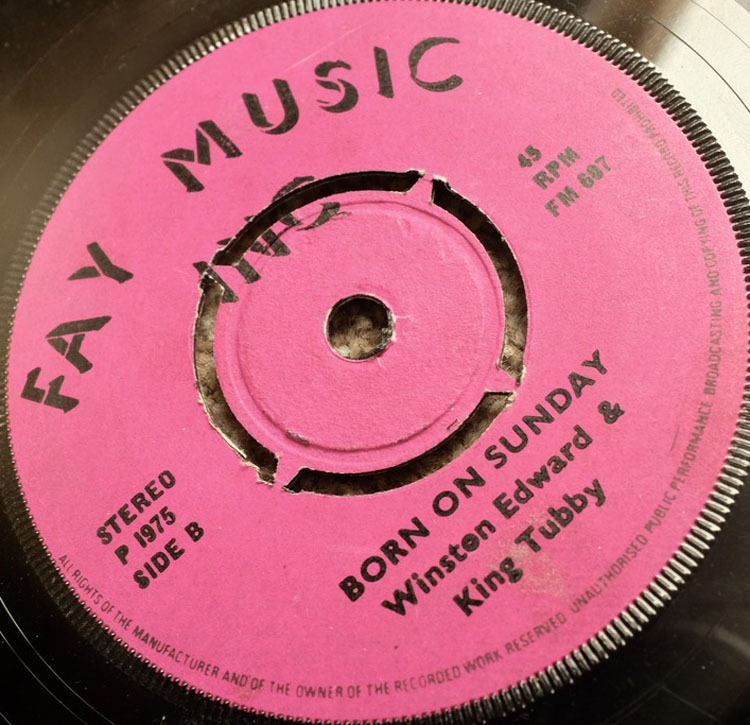 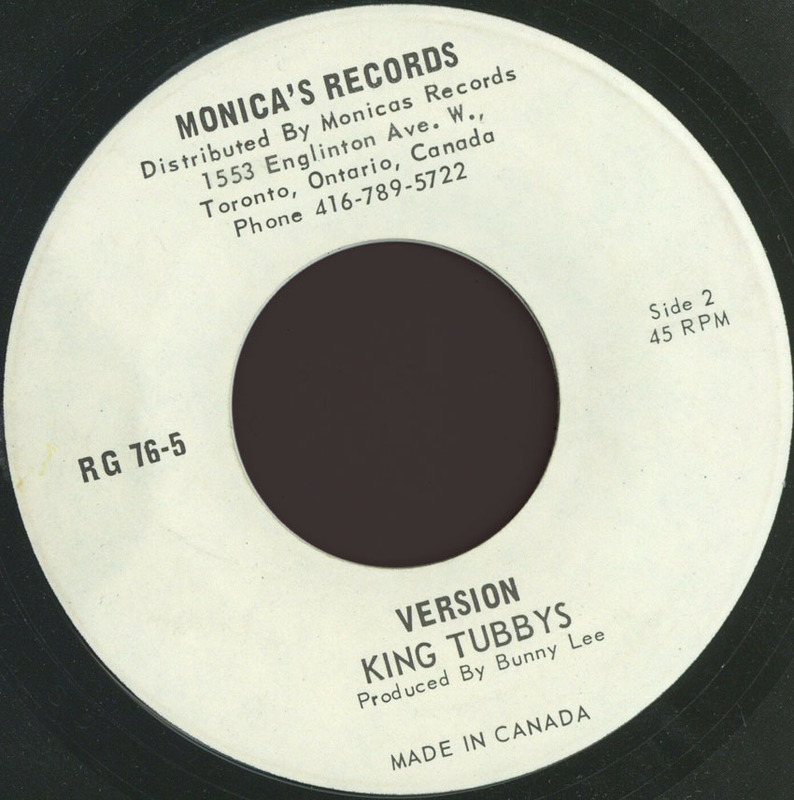 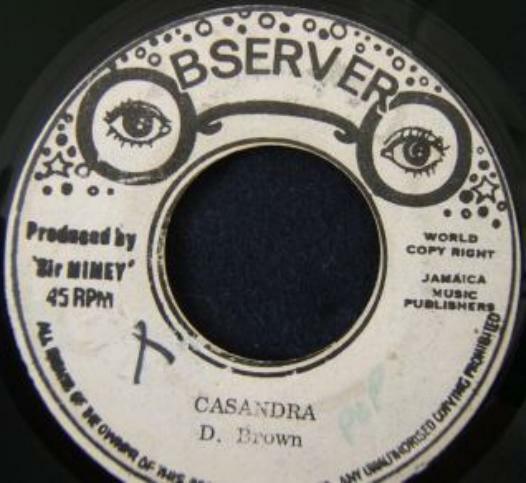 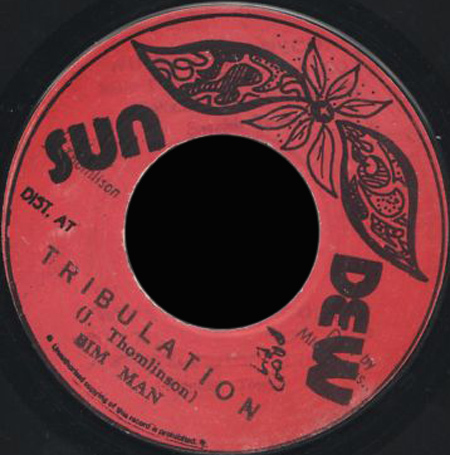 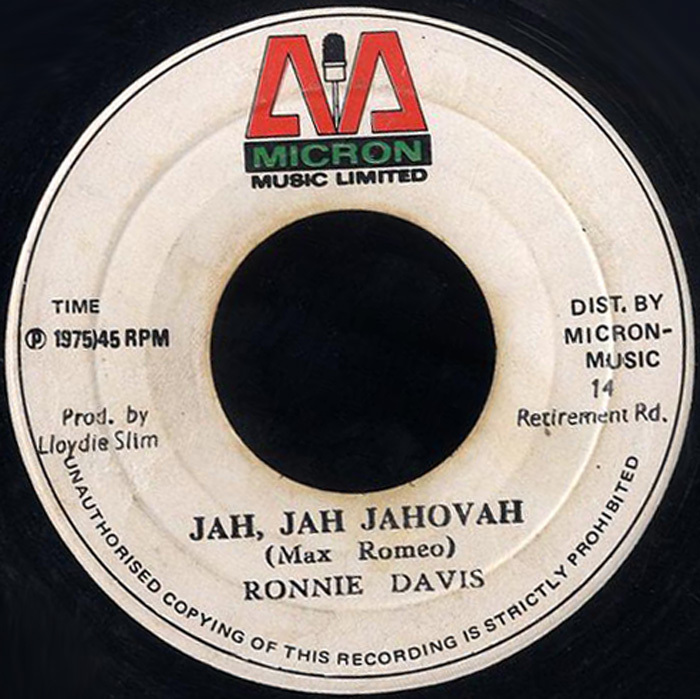 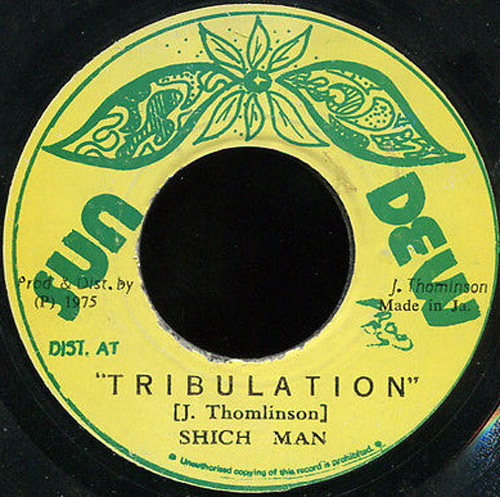 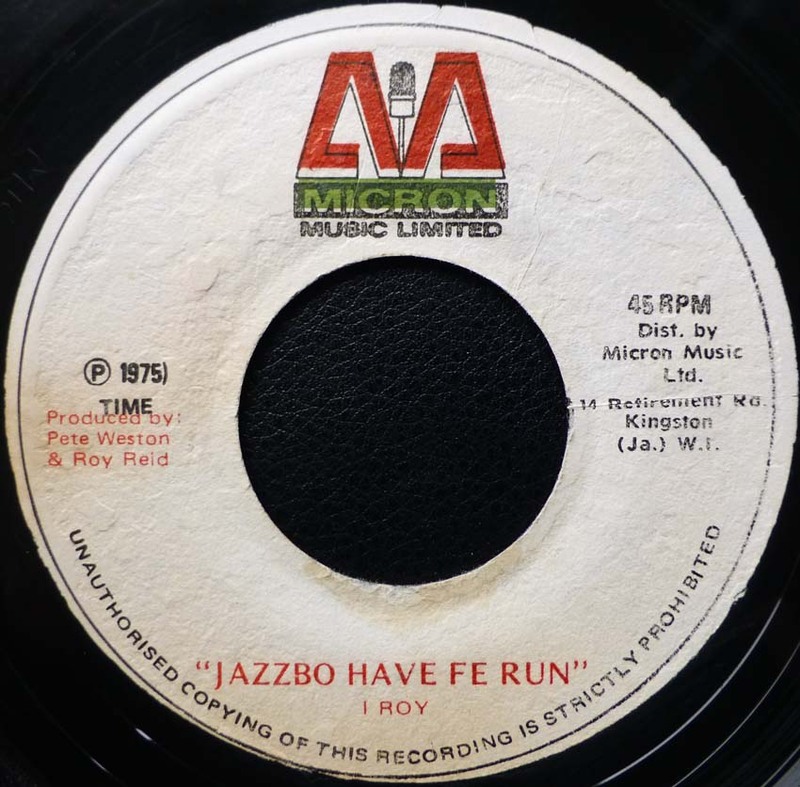 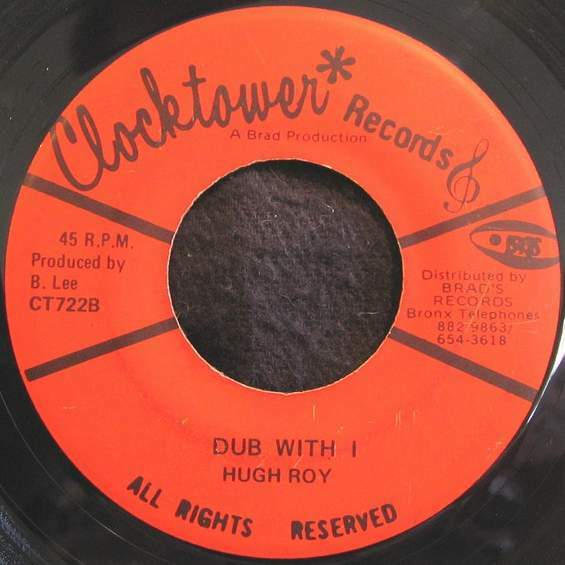 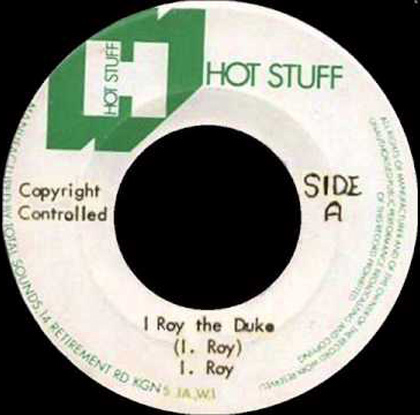 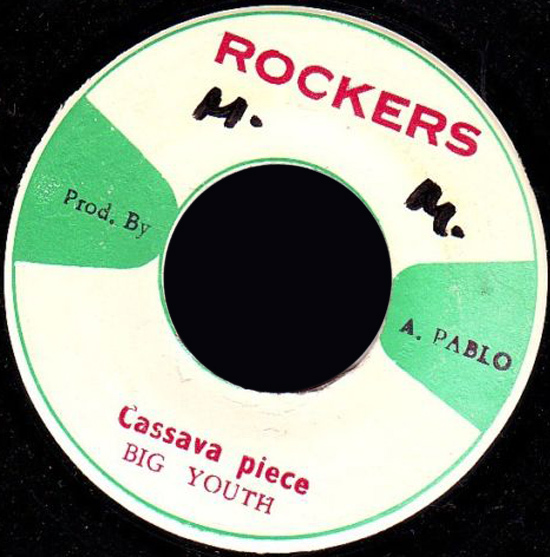 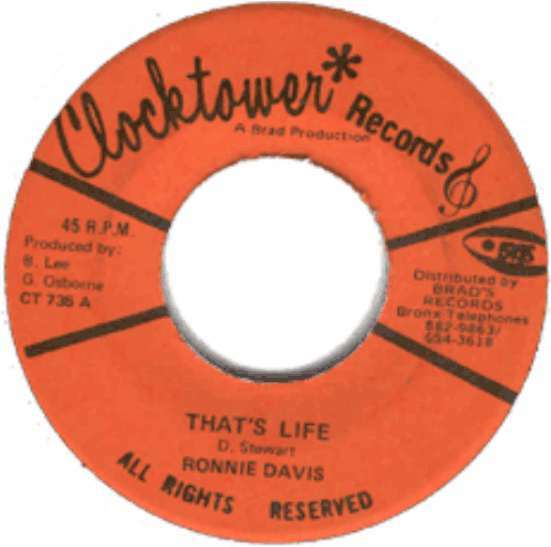 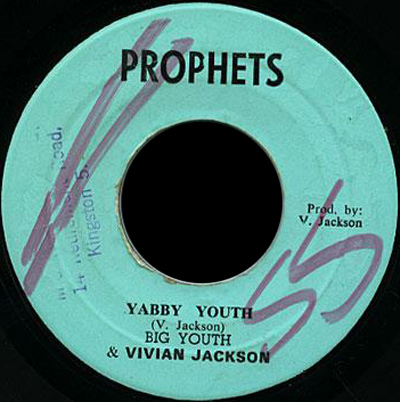 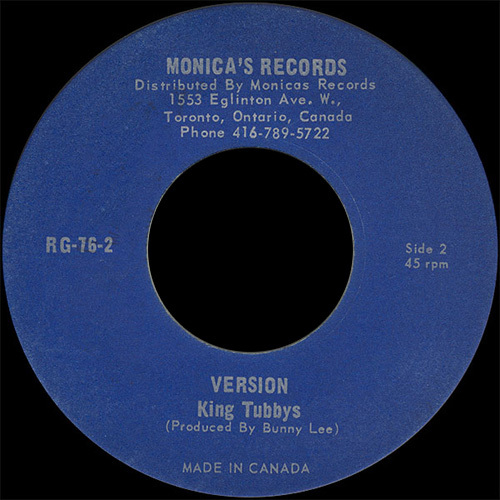 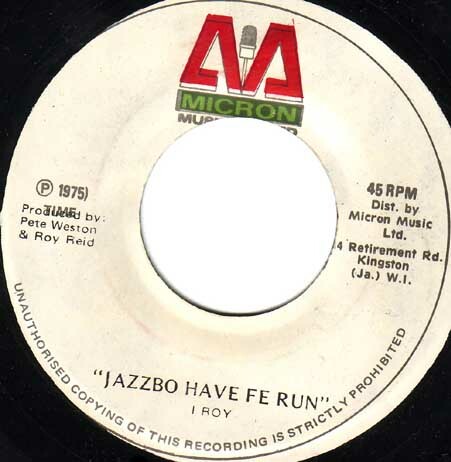 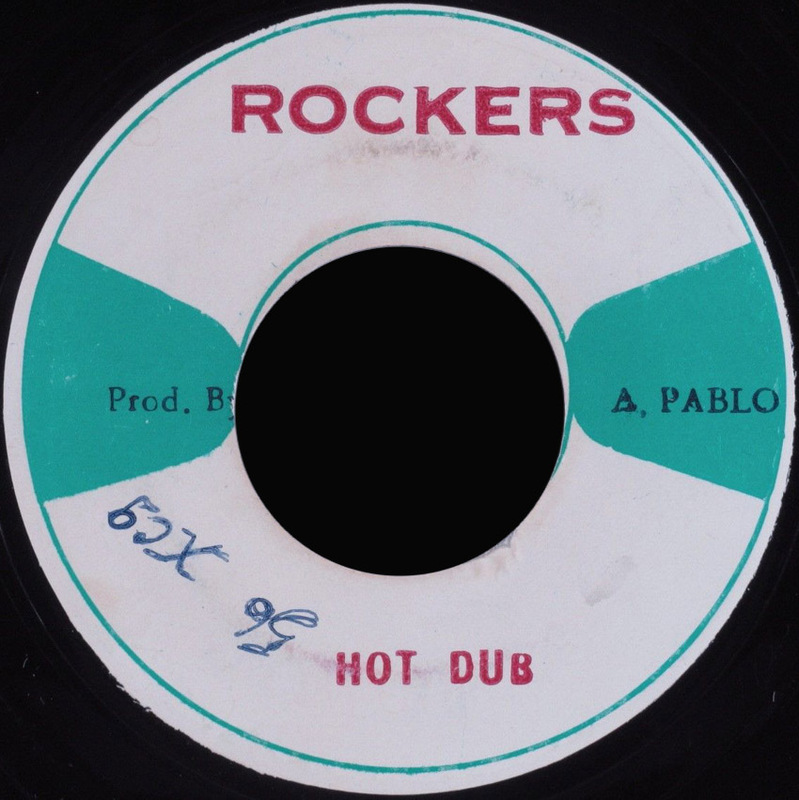 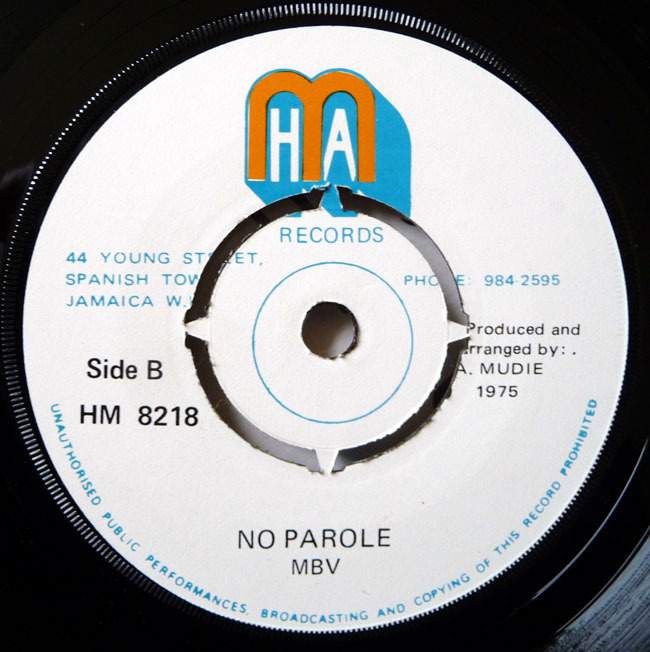 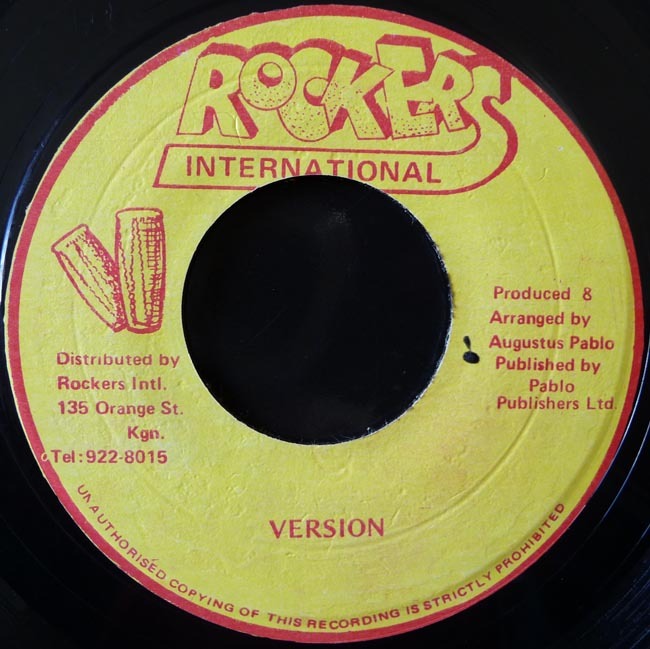 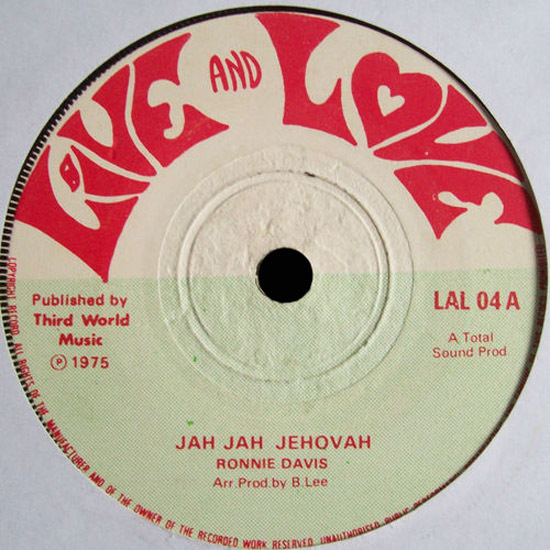 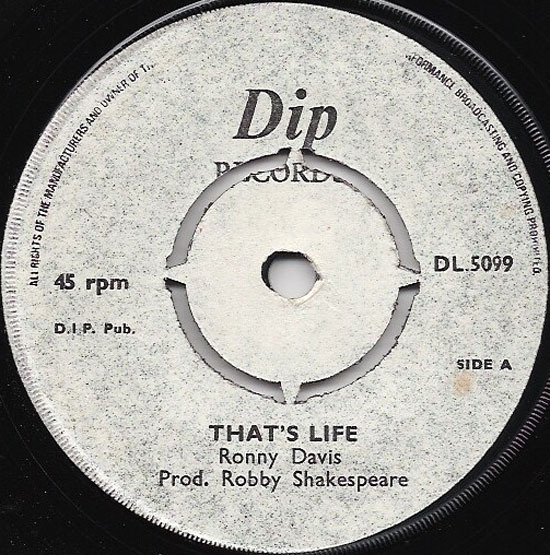 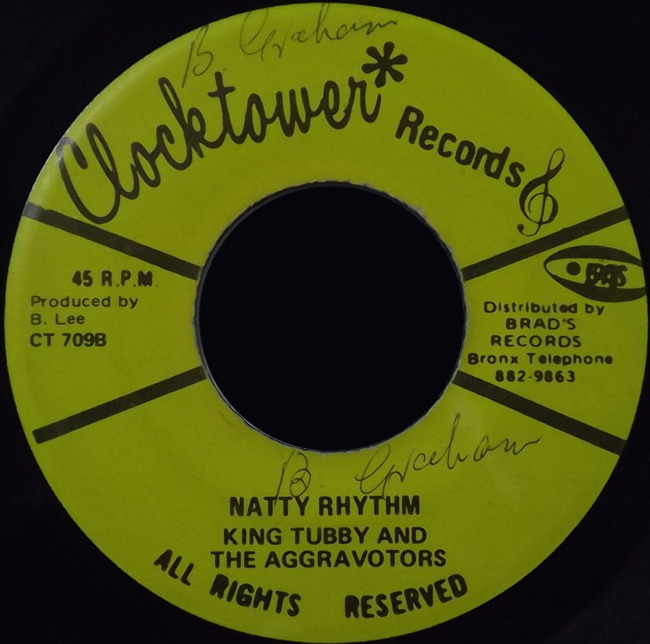 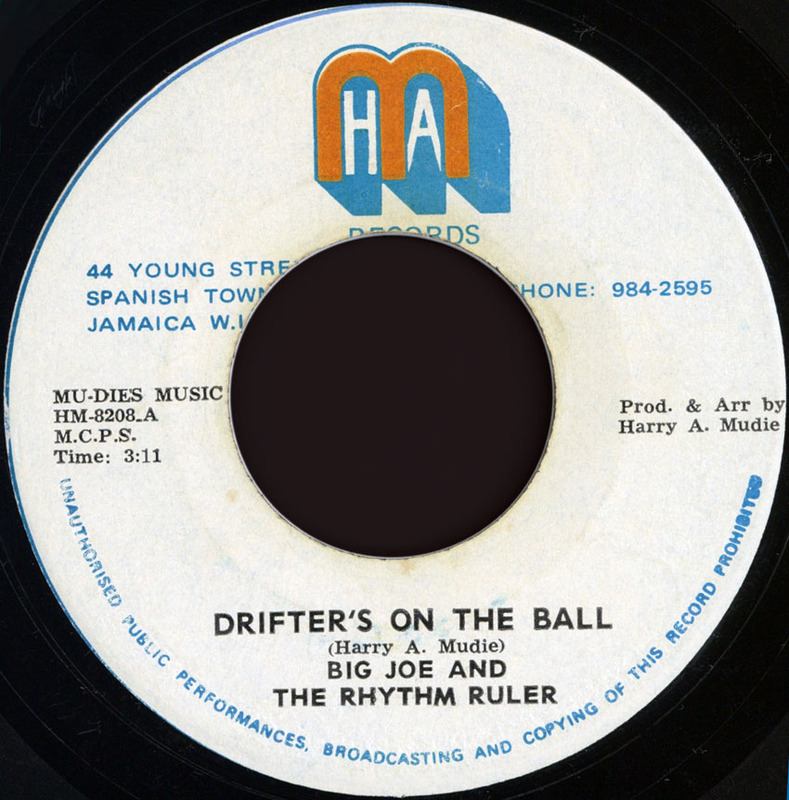 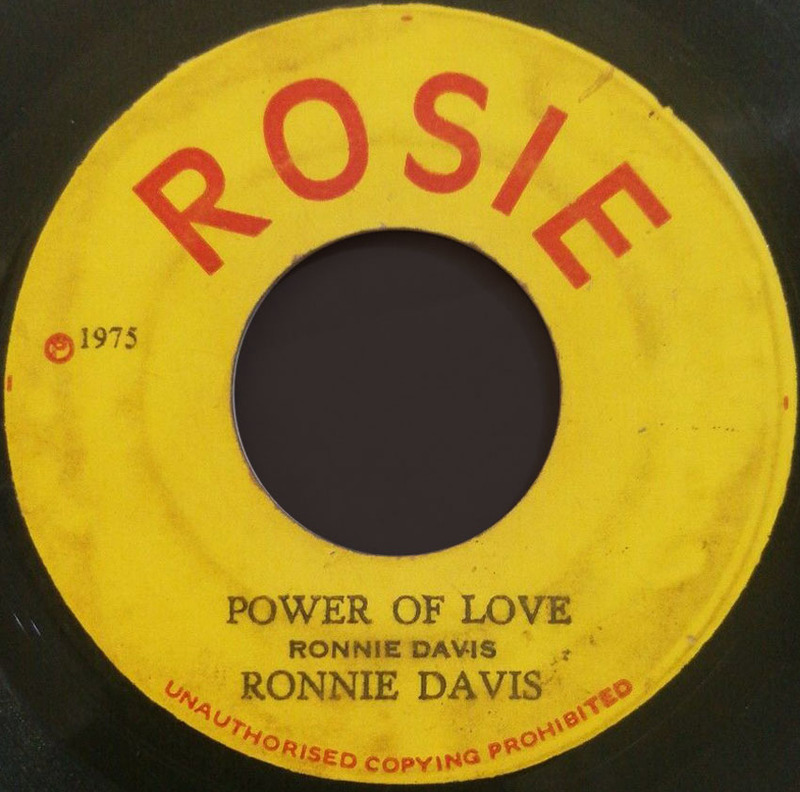 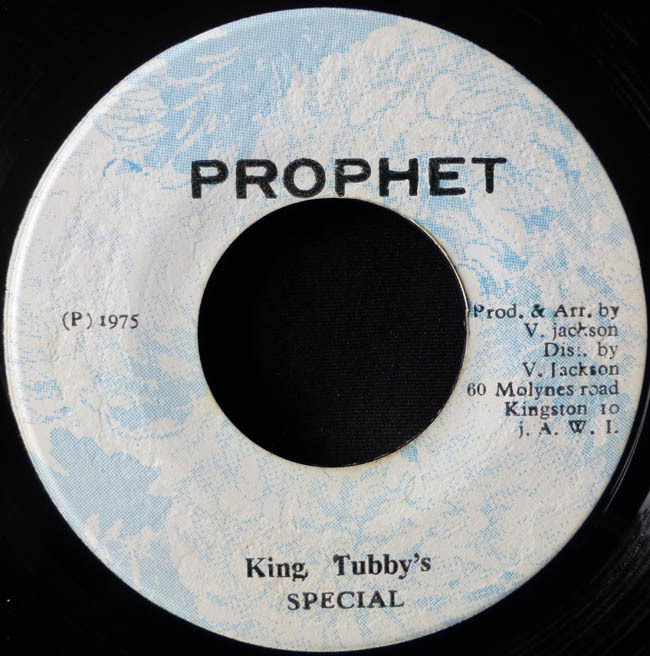 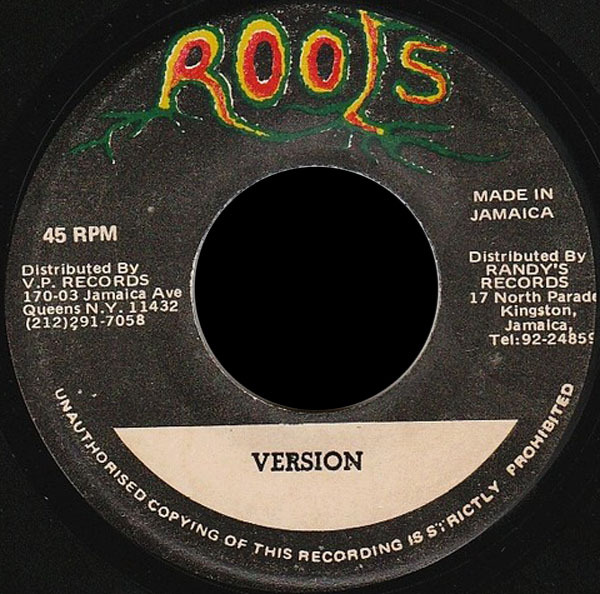 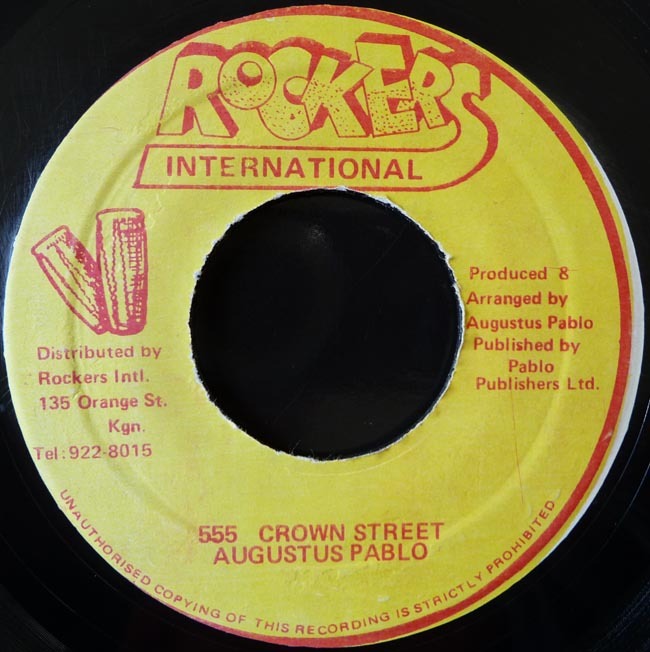 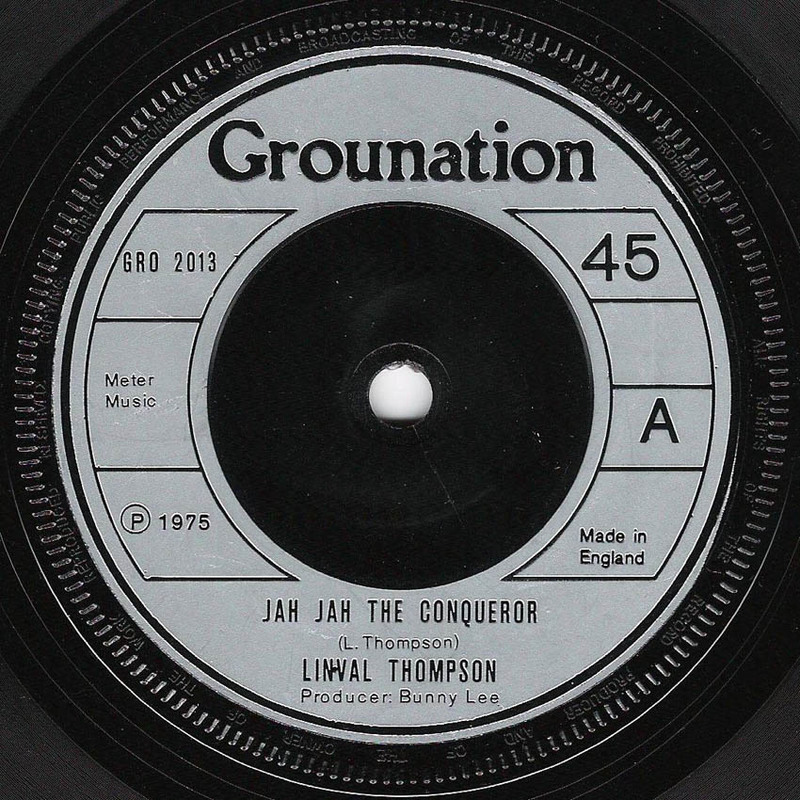 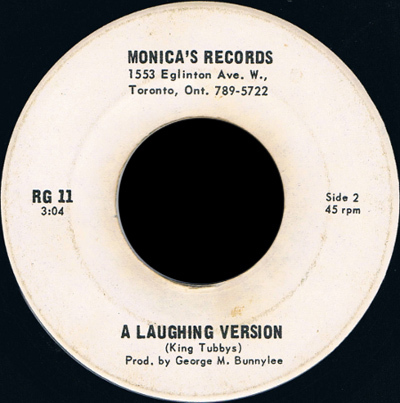 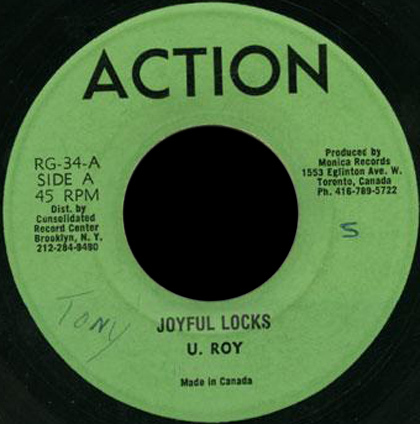 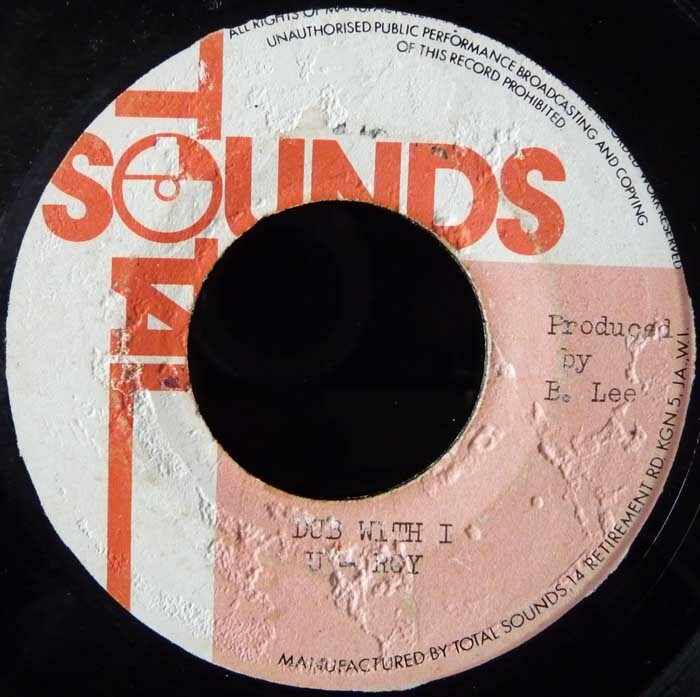 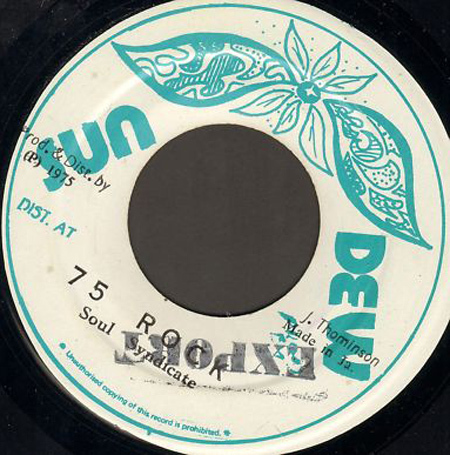 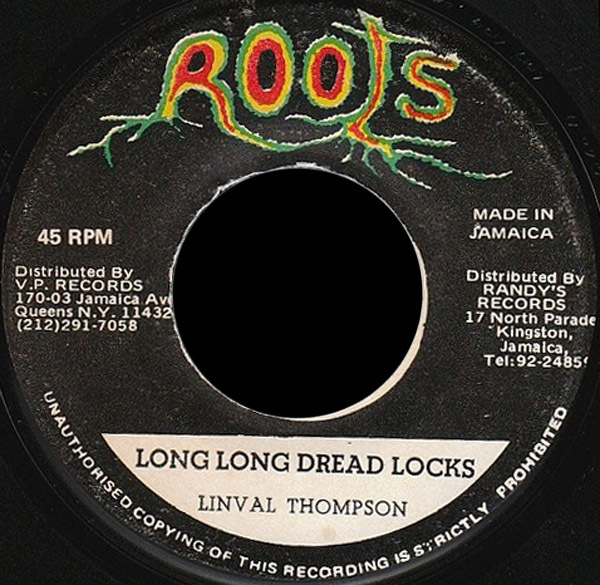 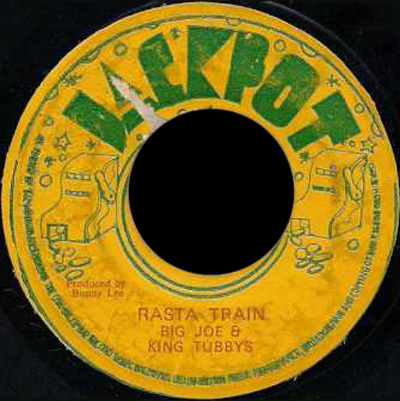 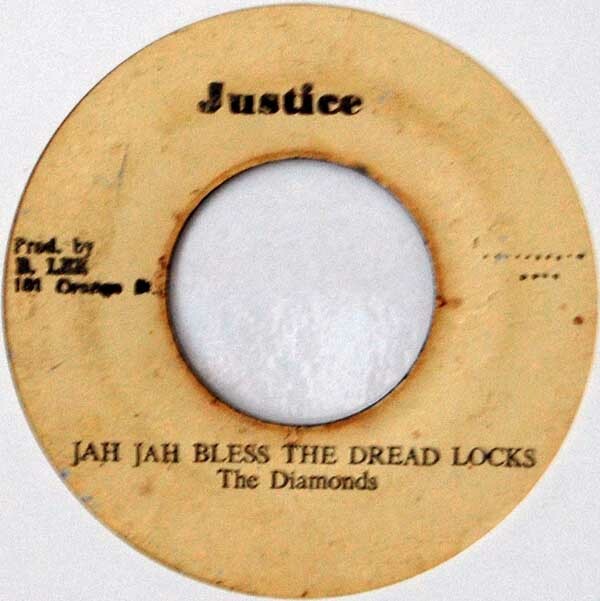 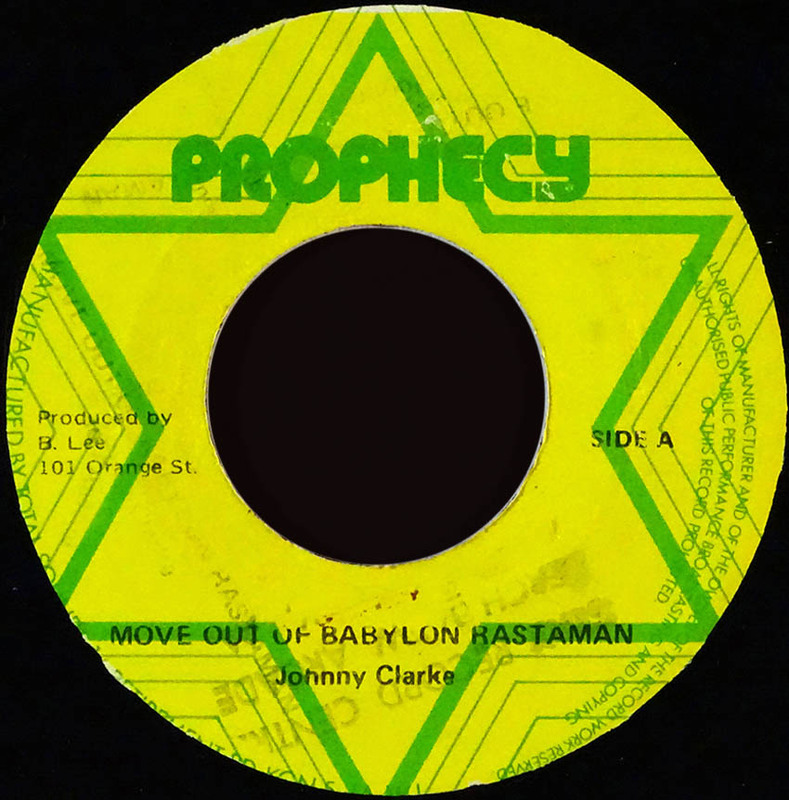 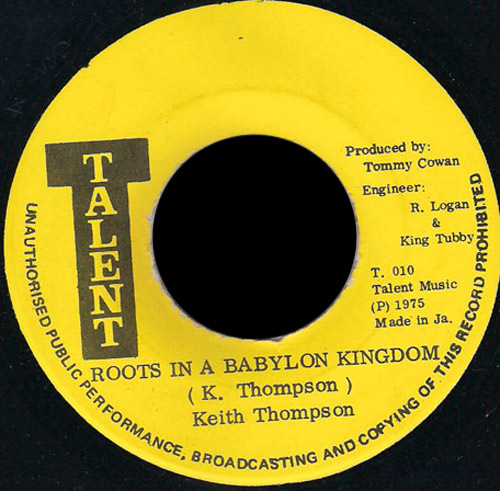 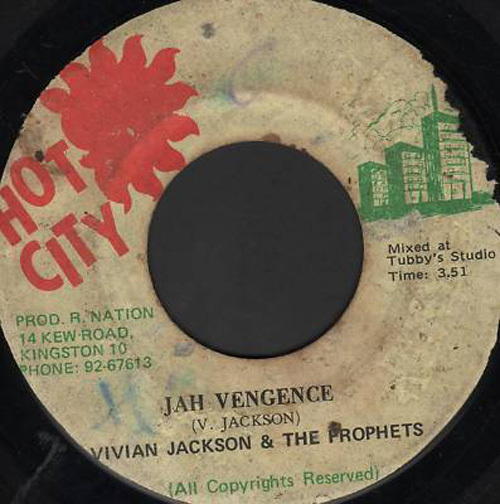 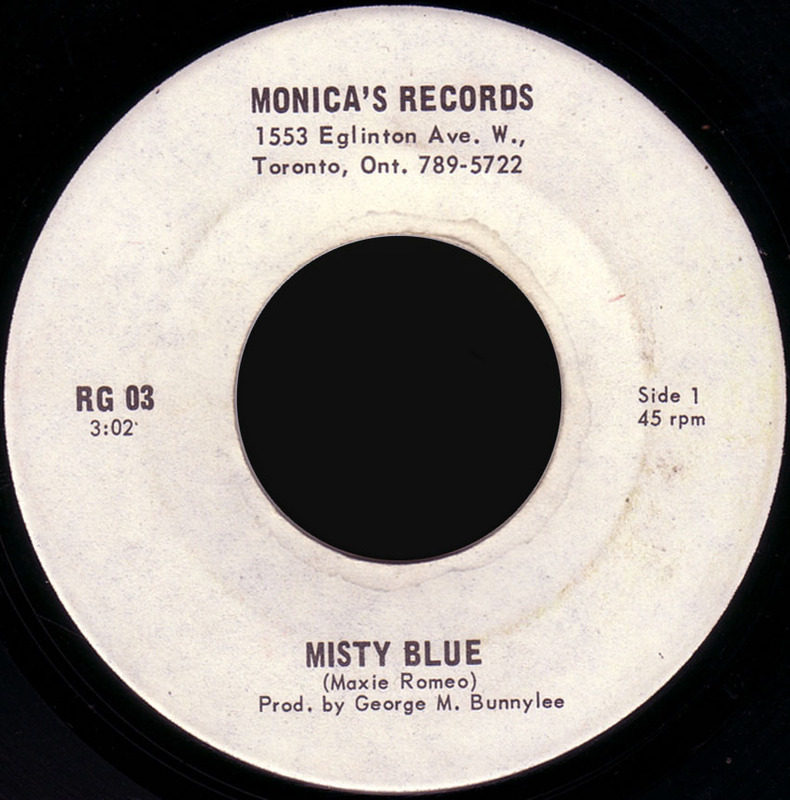 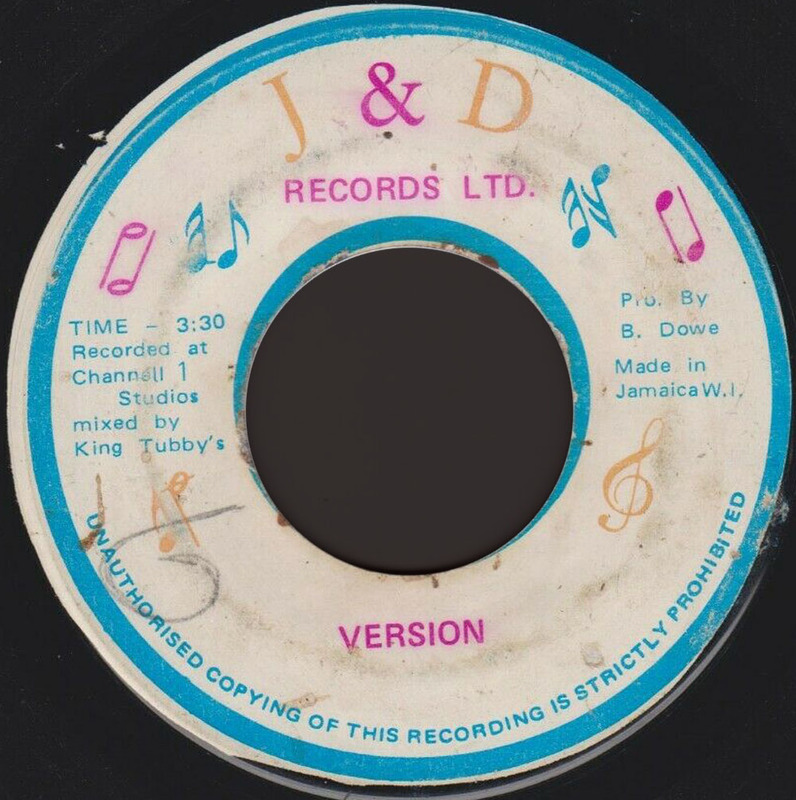 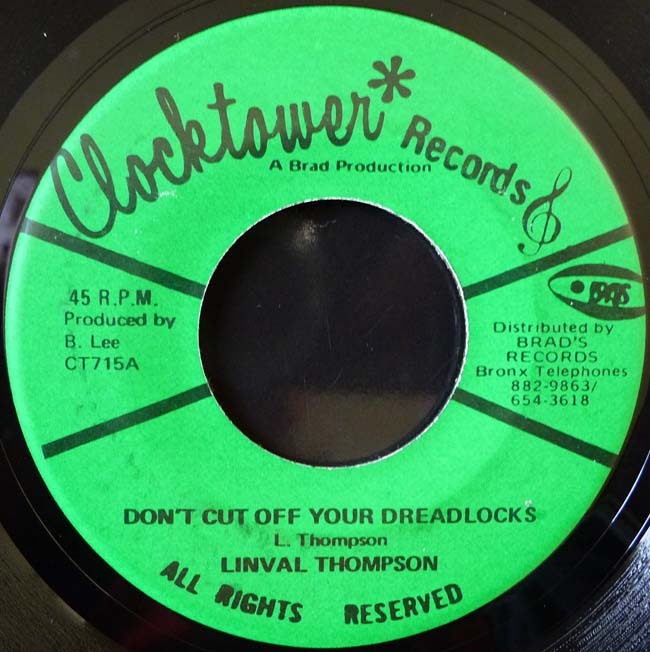 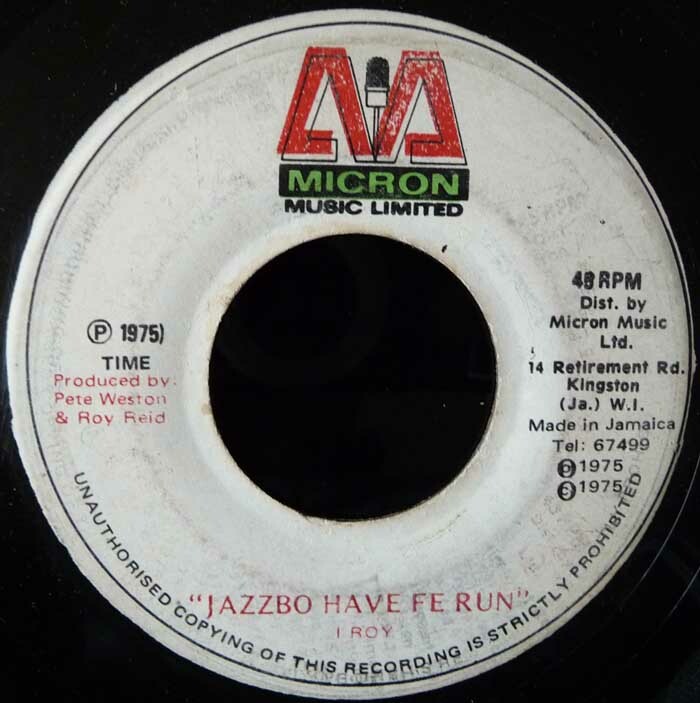 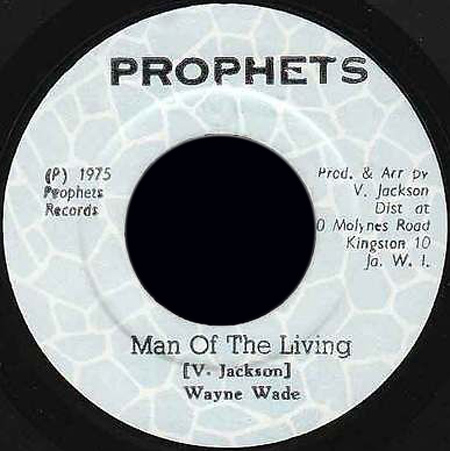 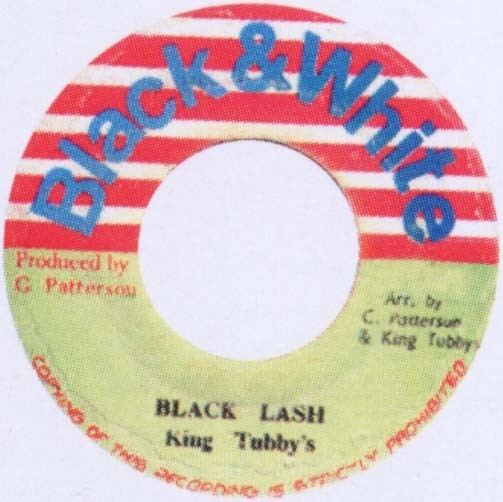 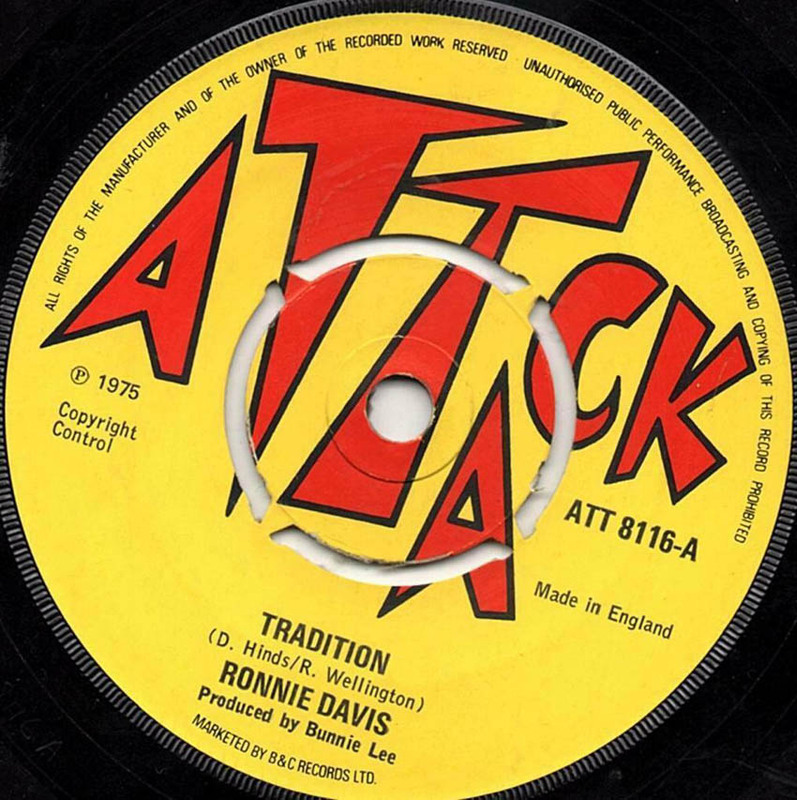 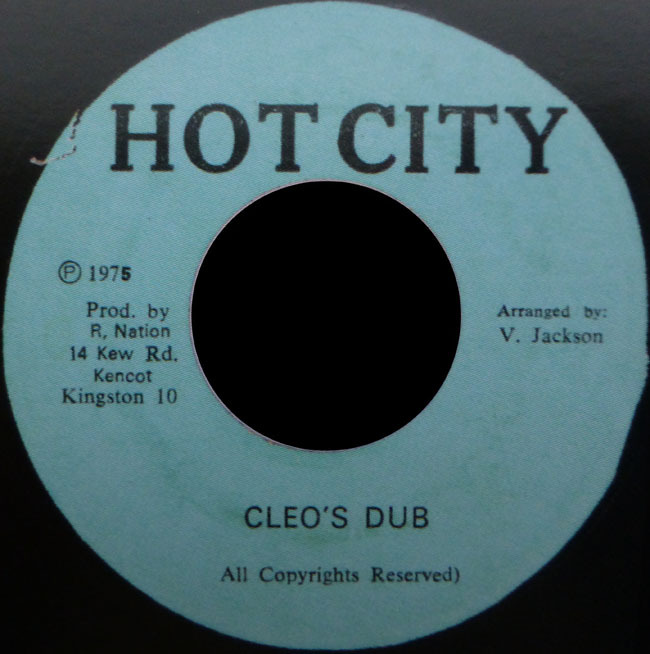 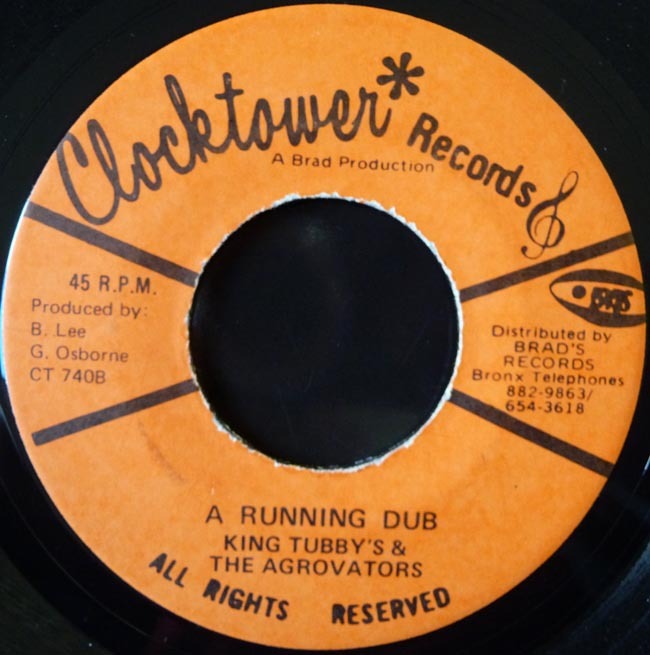 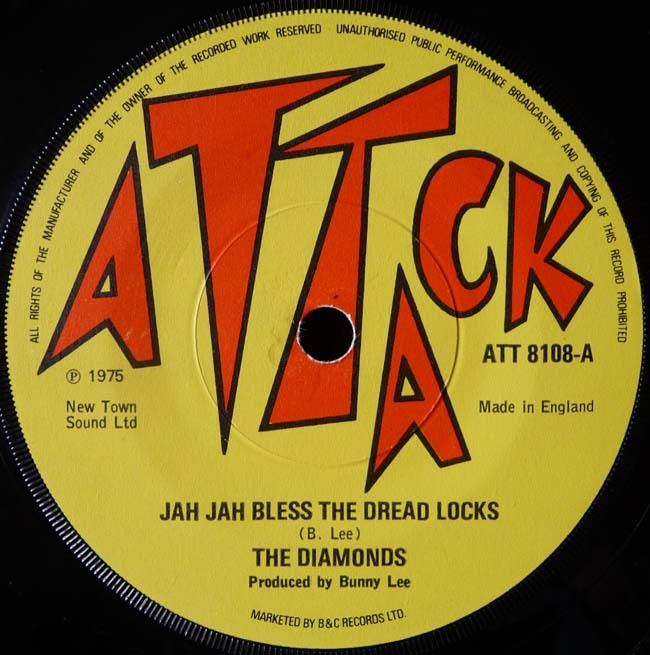 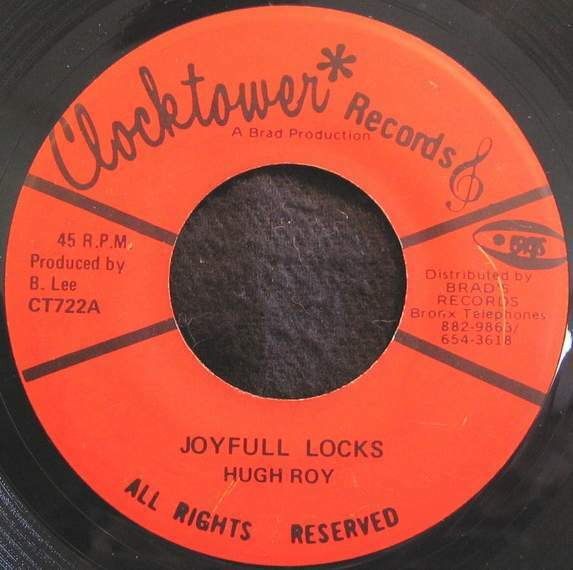 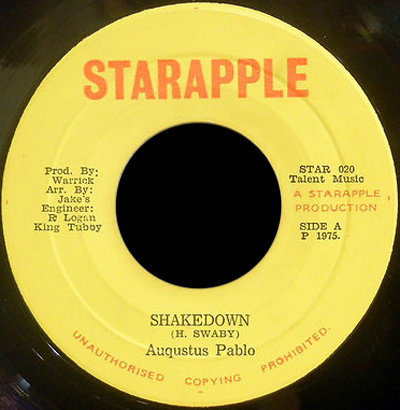 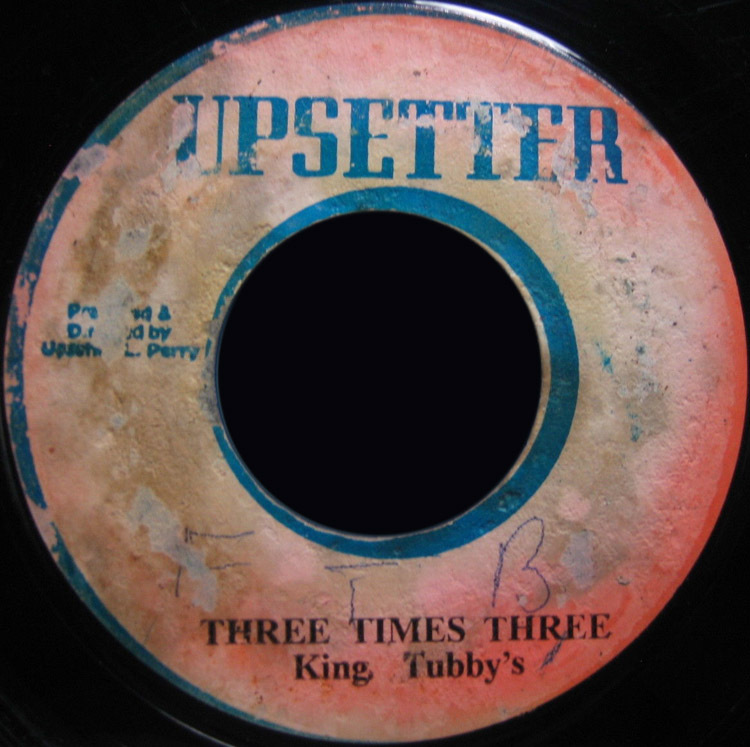 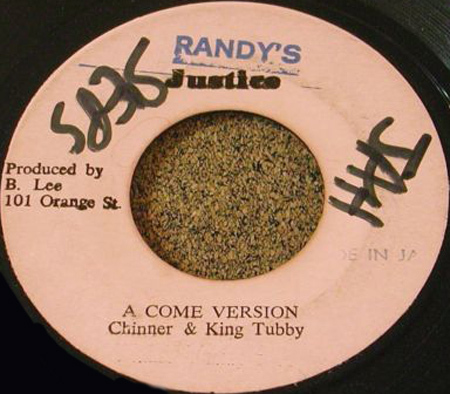 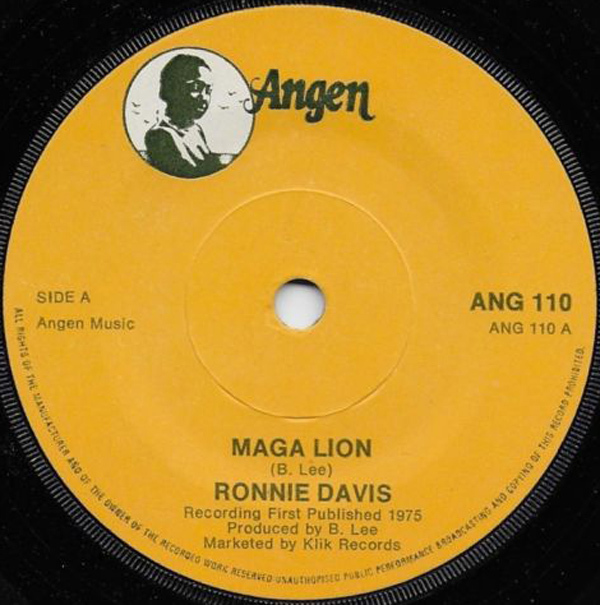 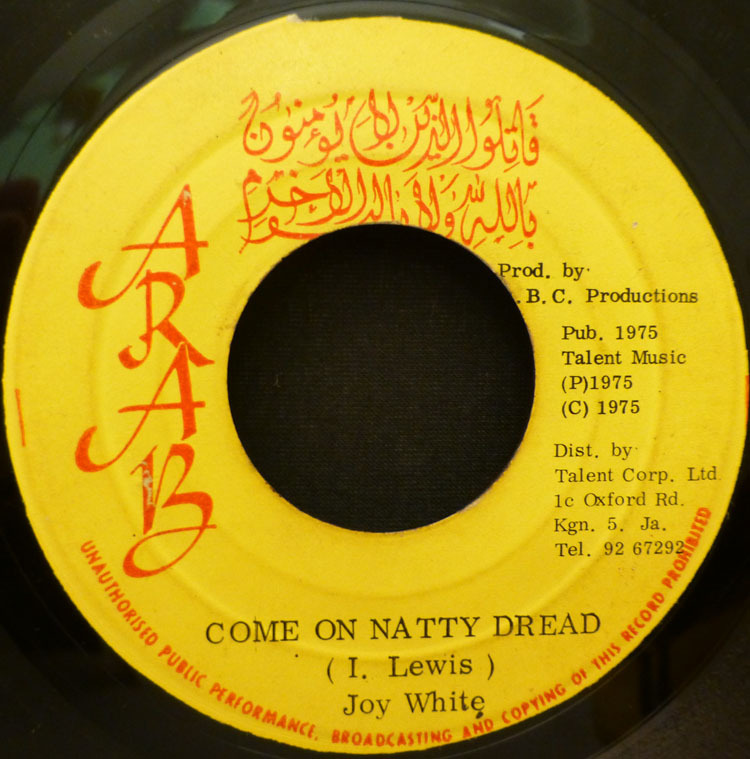 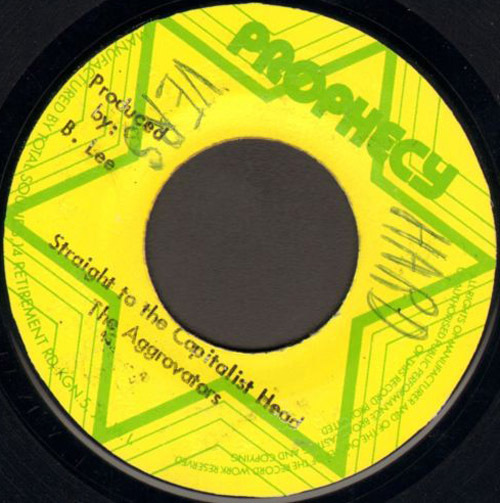 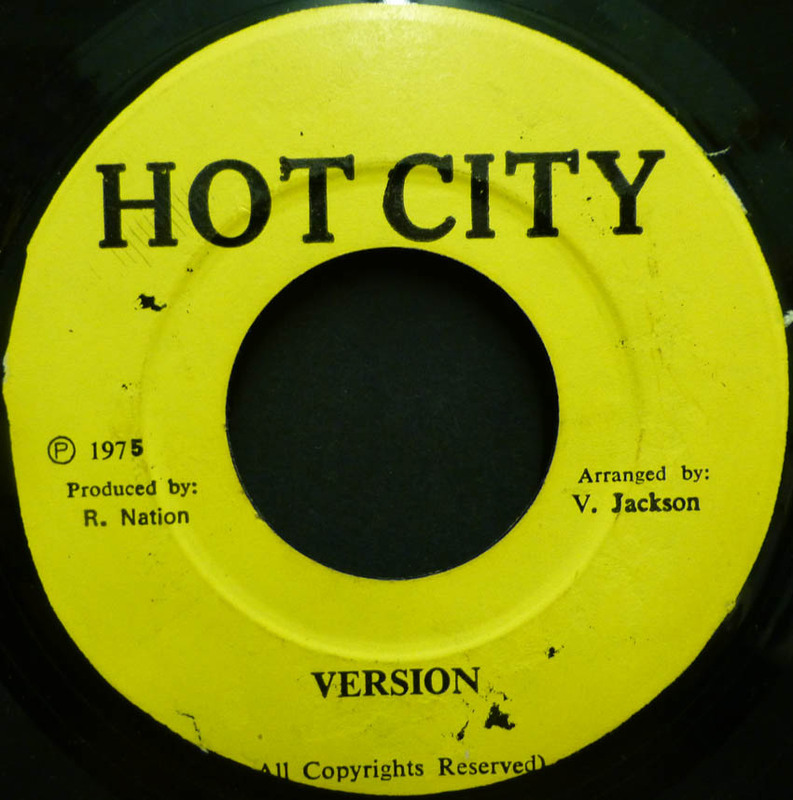 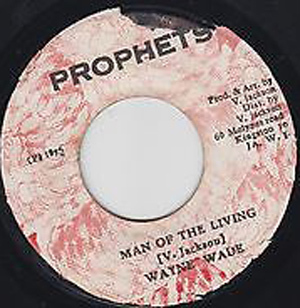 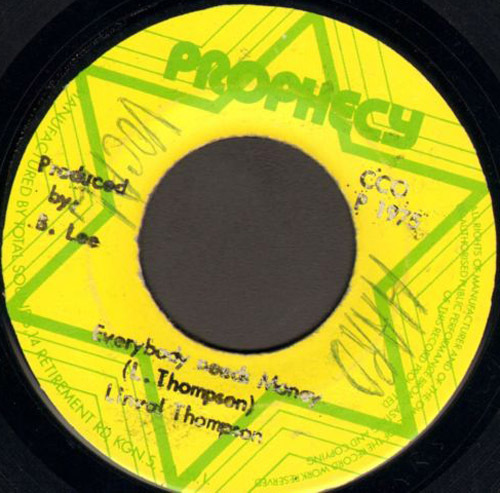 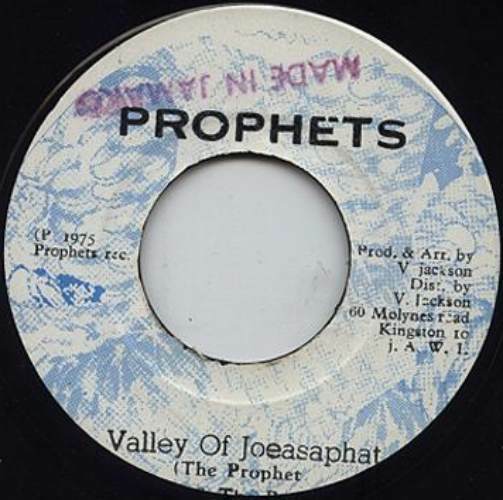 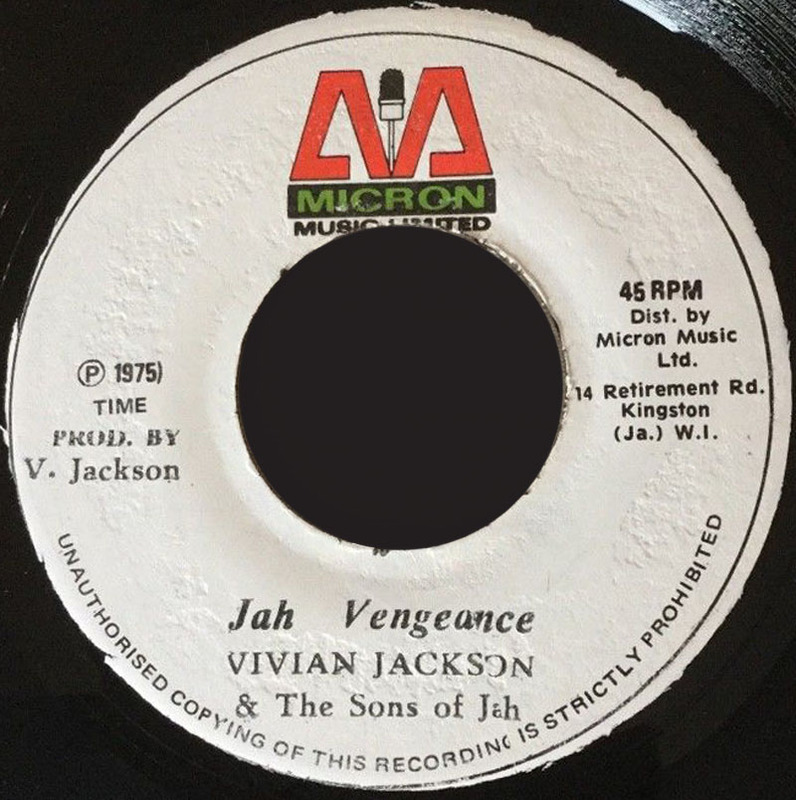 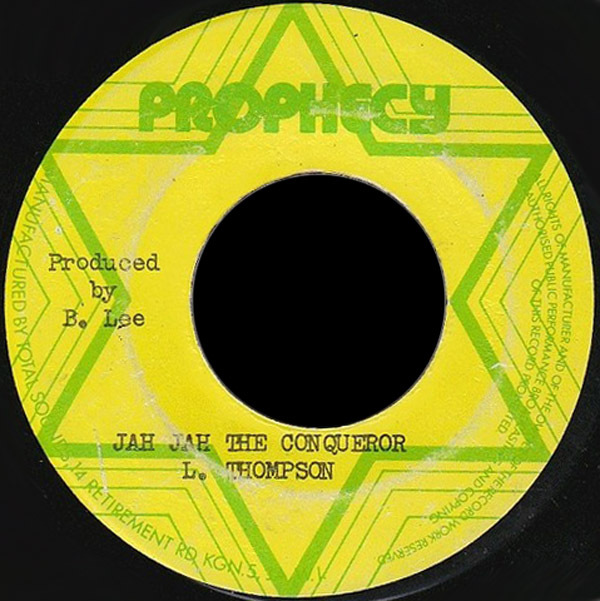 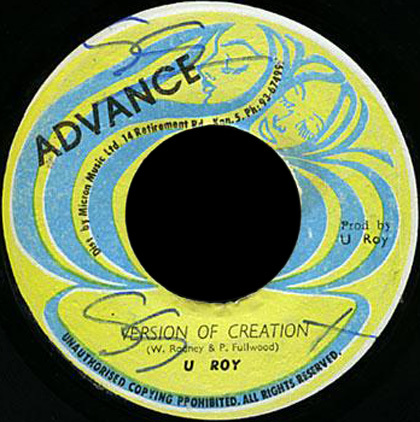 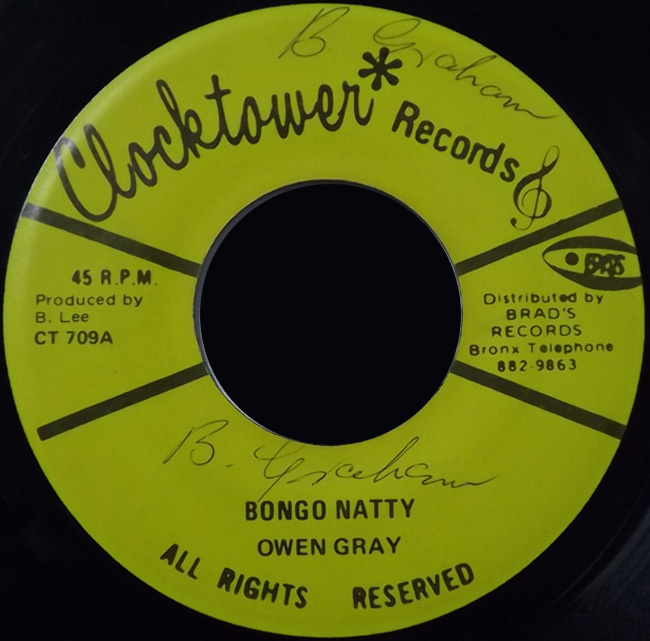 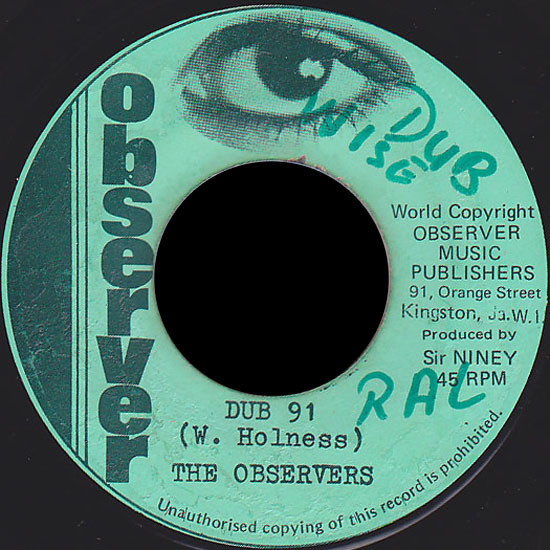 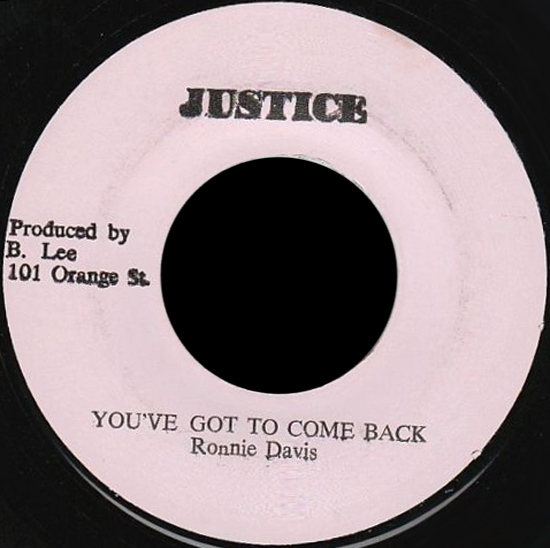 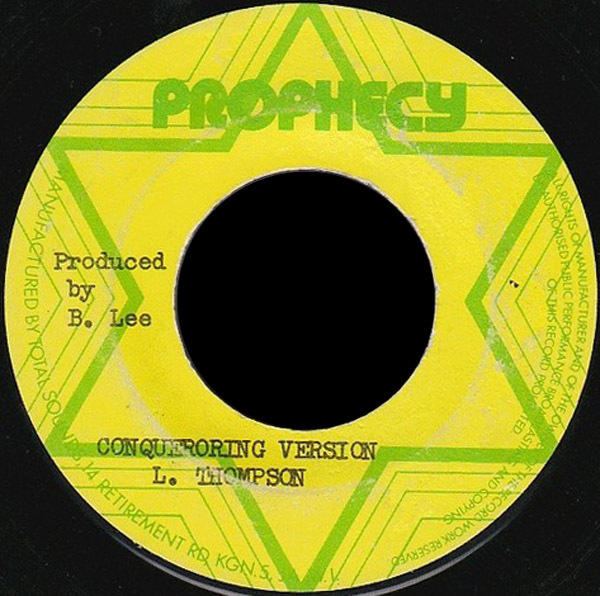 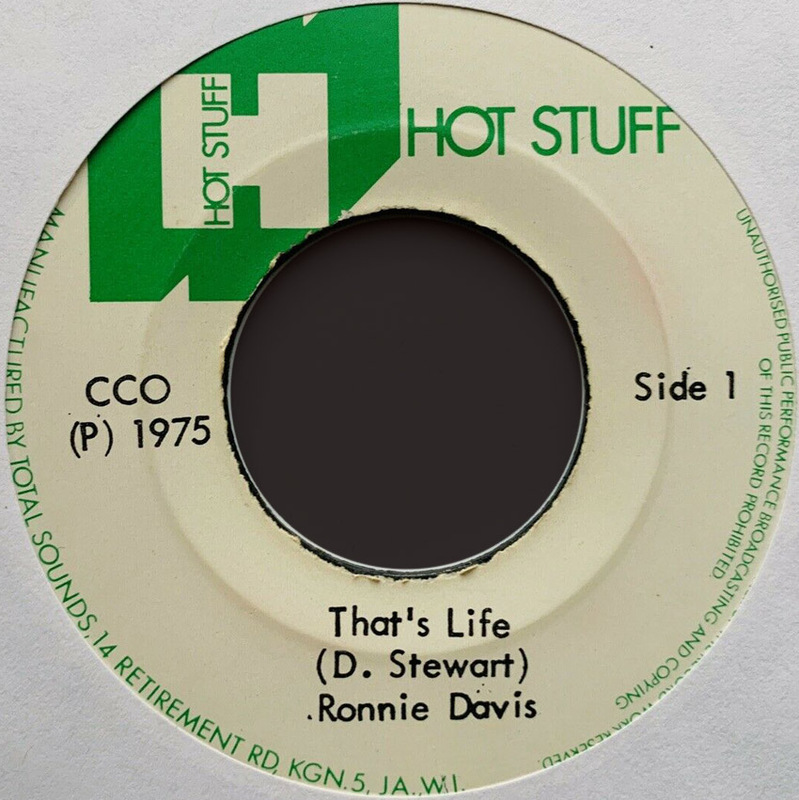 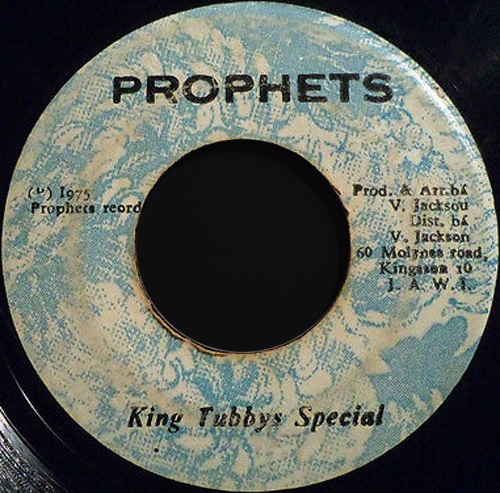 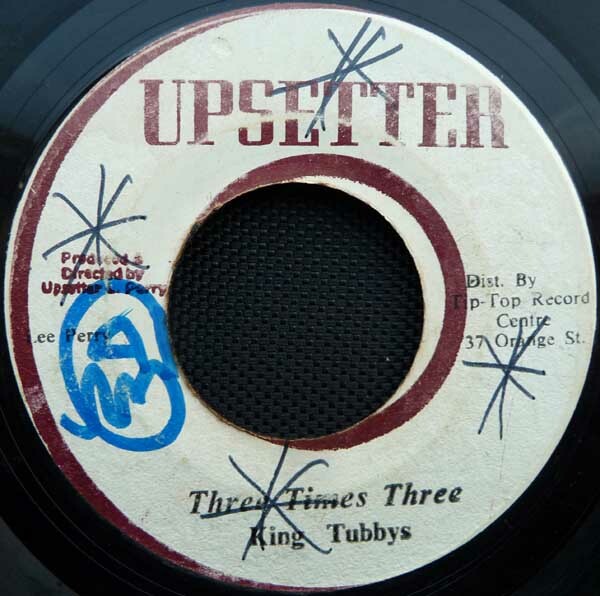 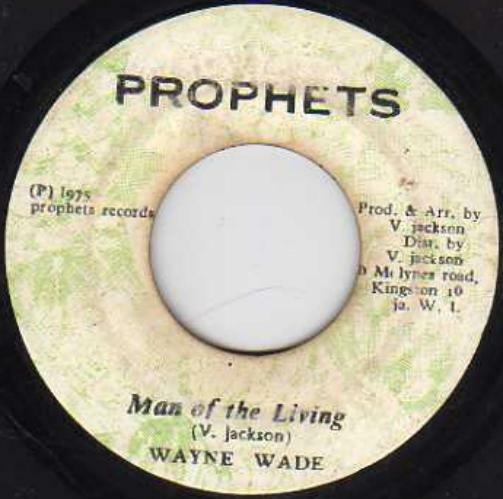 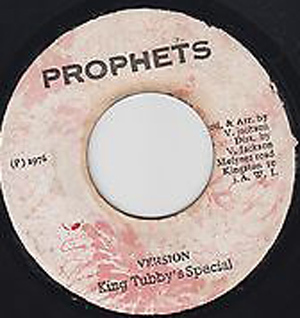 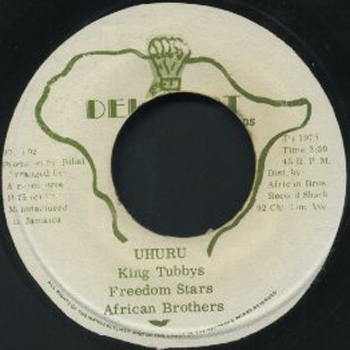 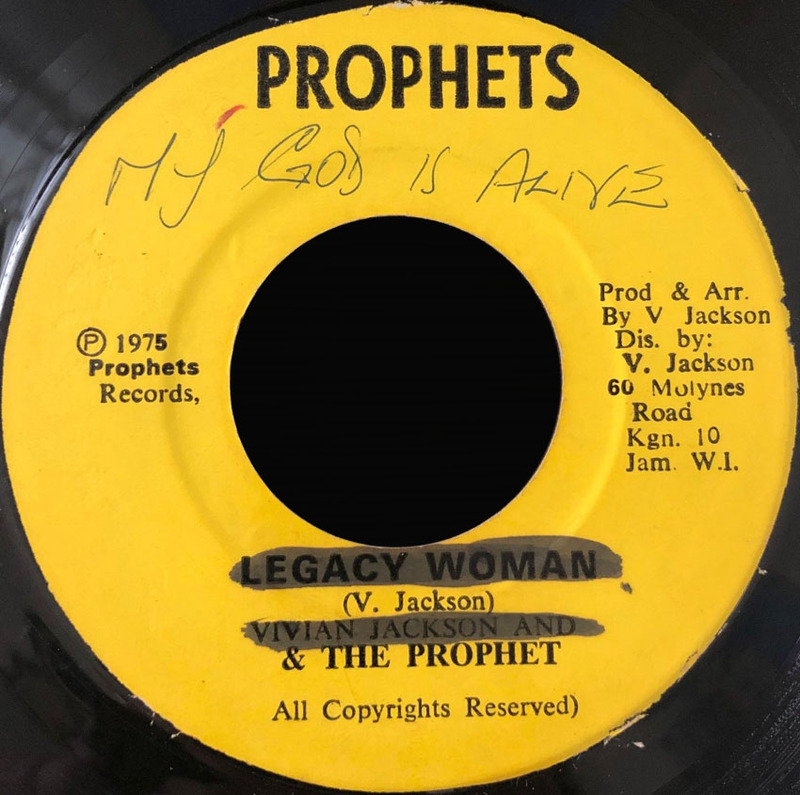 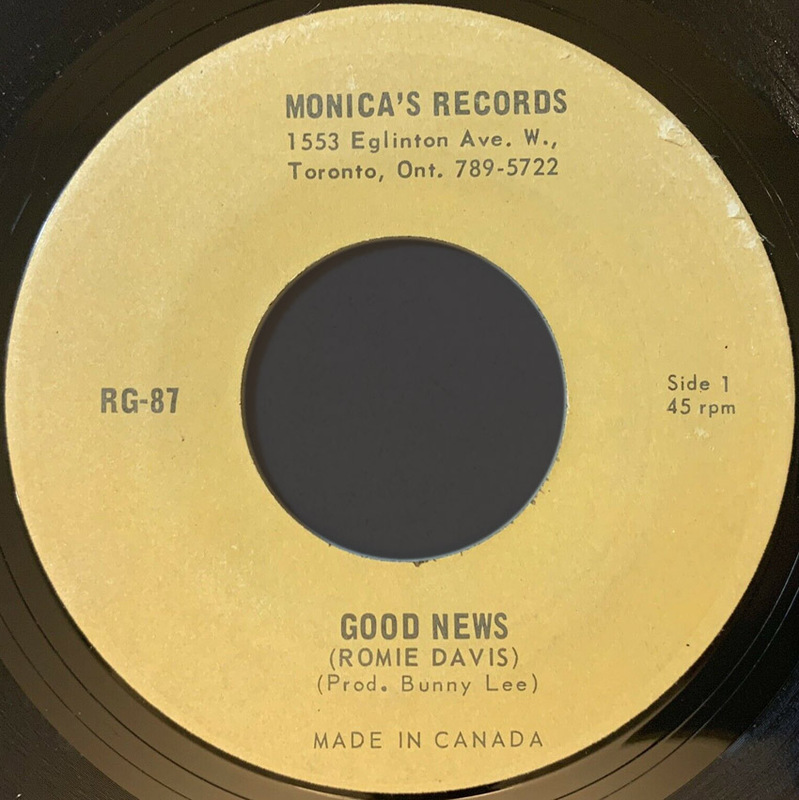 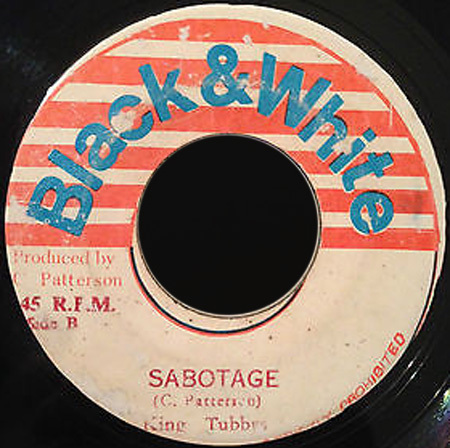 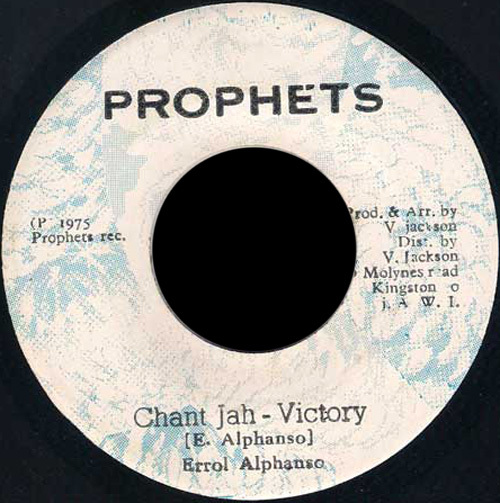 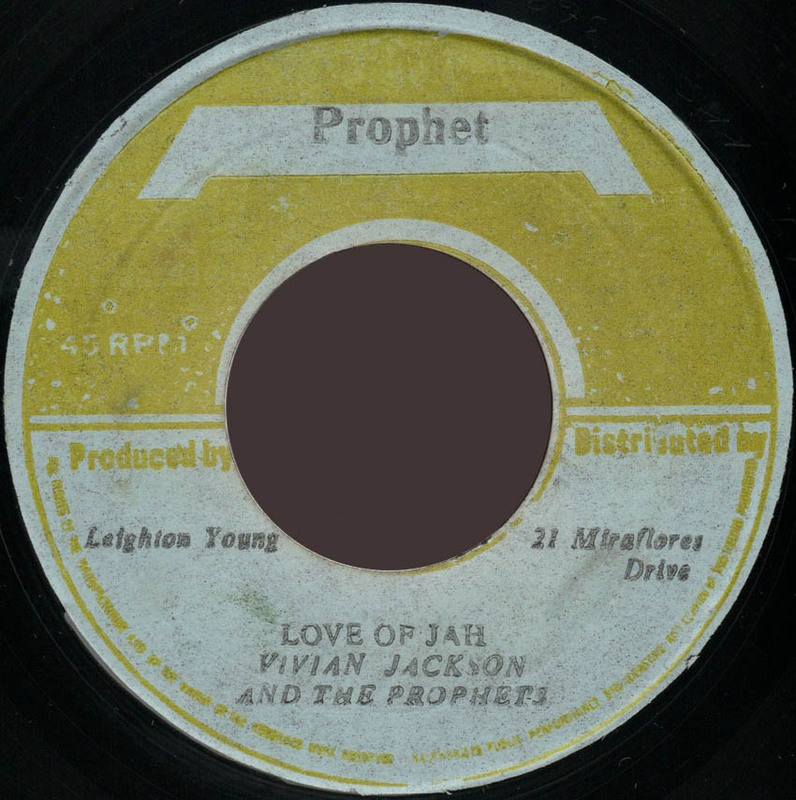 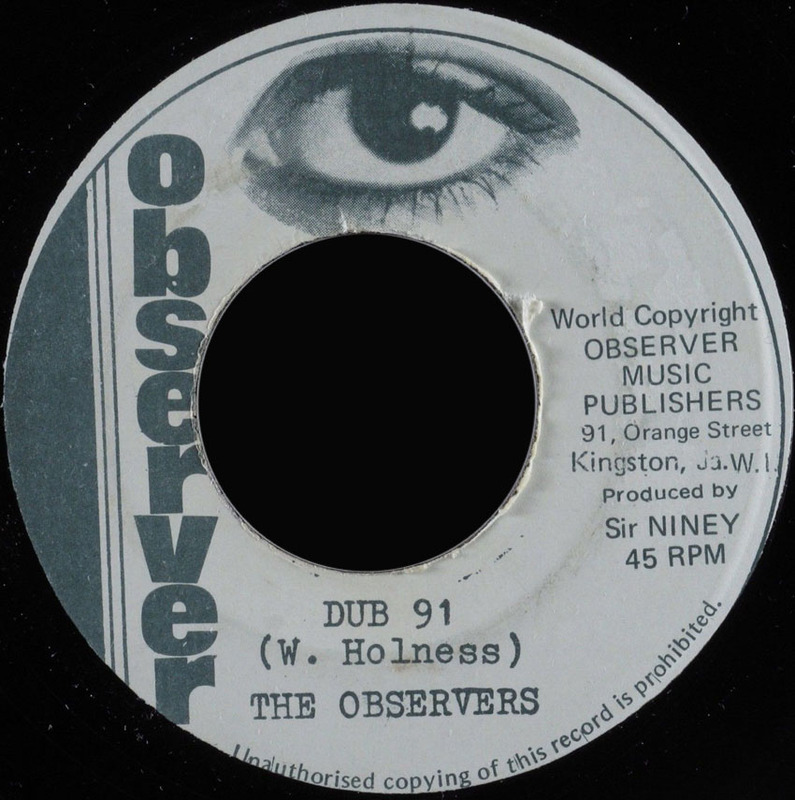 1975 7" Jah Jah Jahovia Ronnie Davis 3.29 Jah Jah Jahovia Version King Tubby UK. 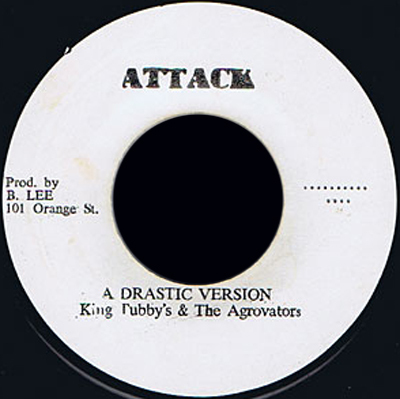 Attack ? 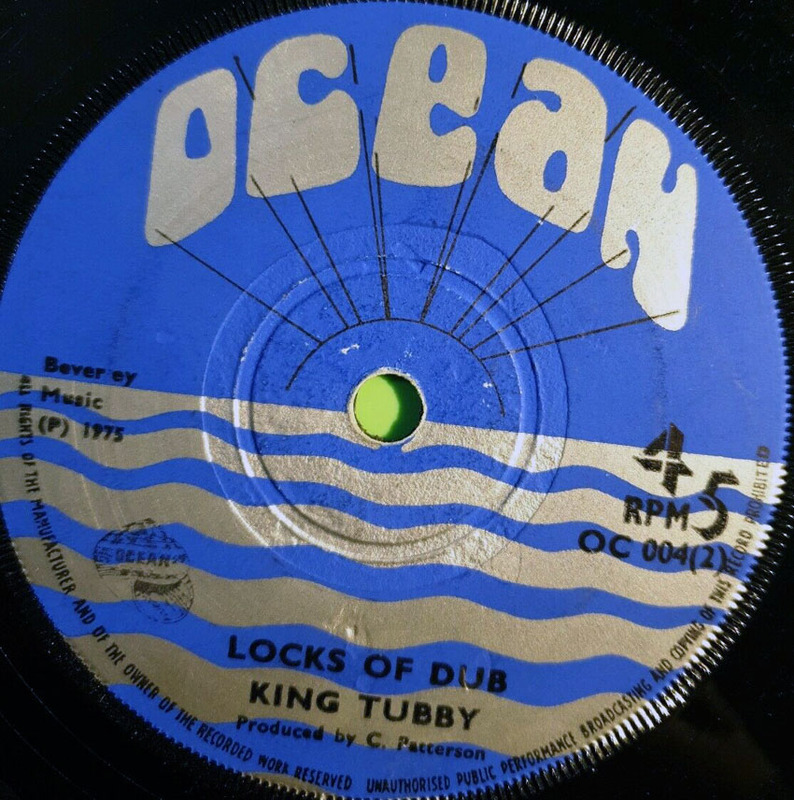 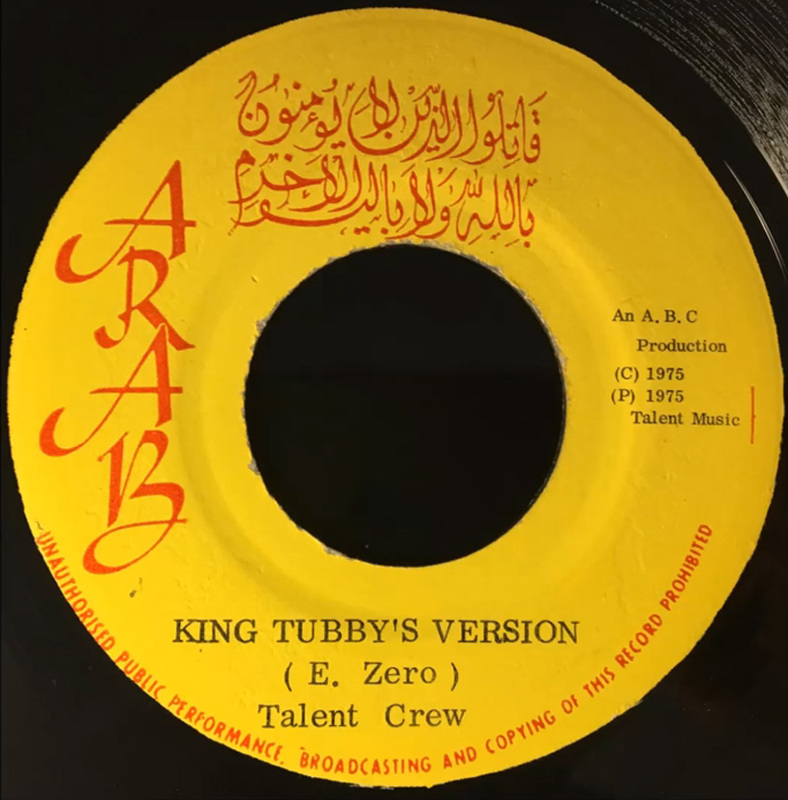 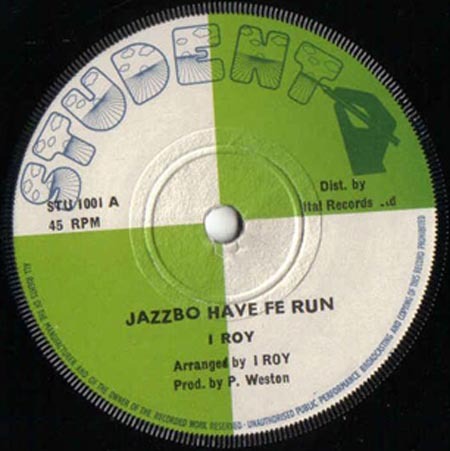 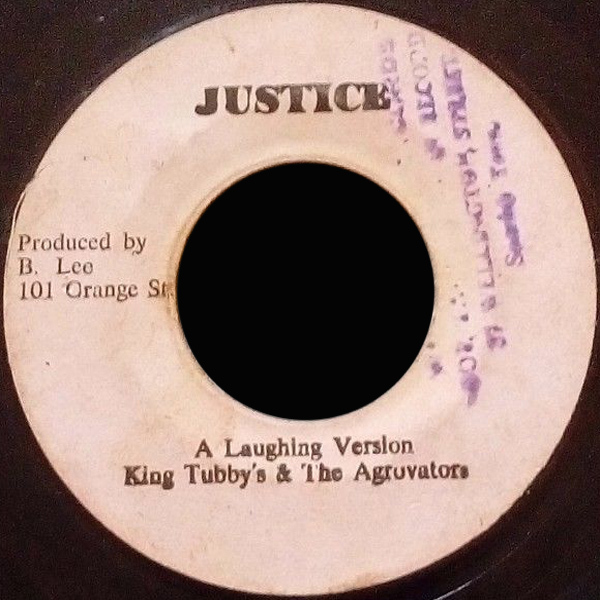 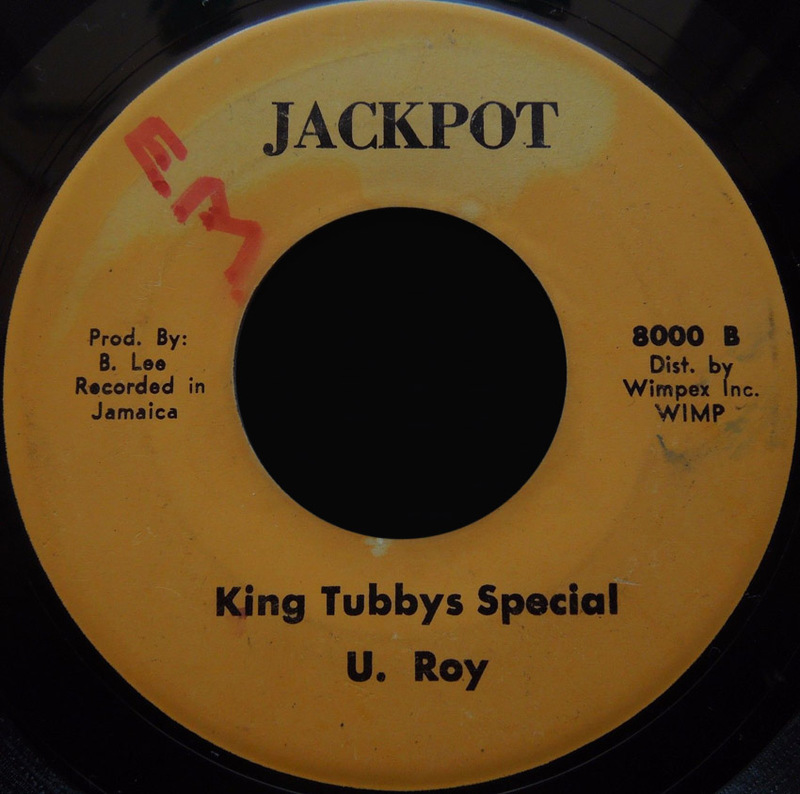 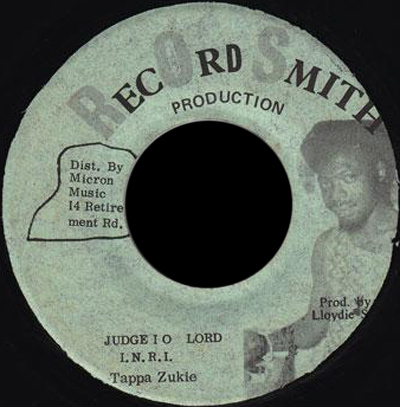 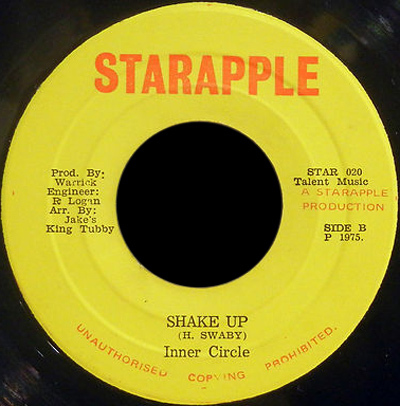 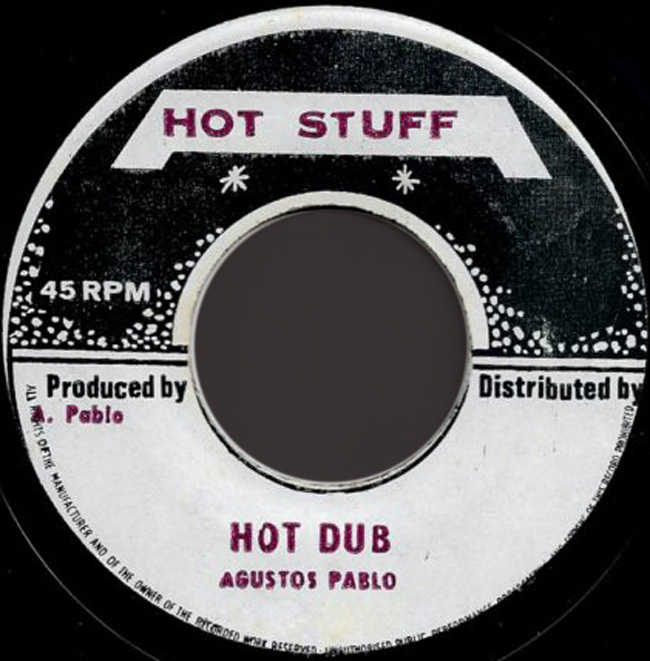 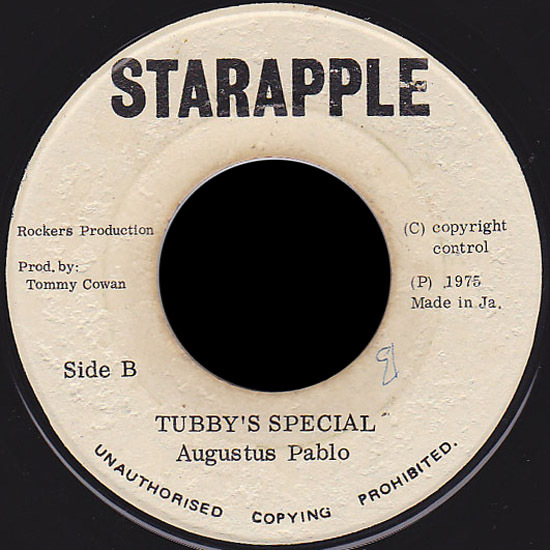 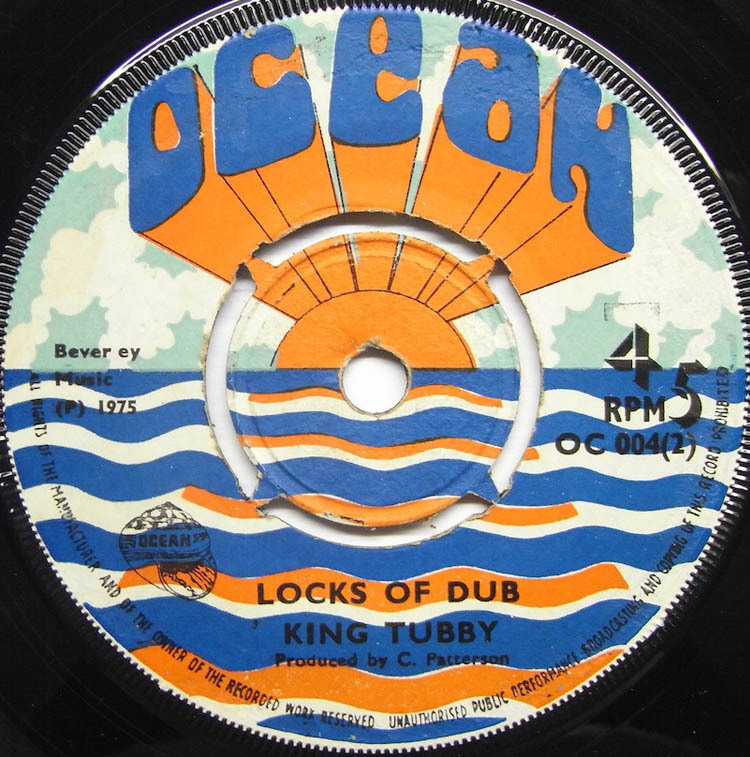 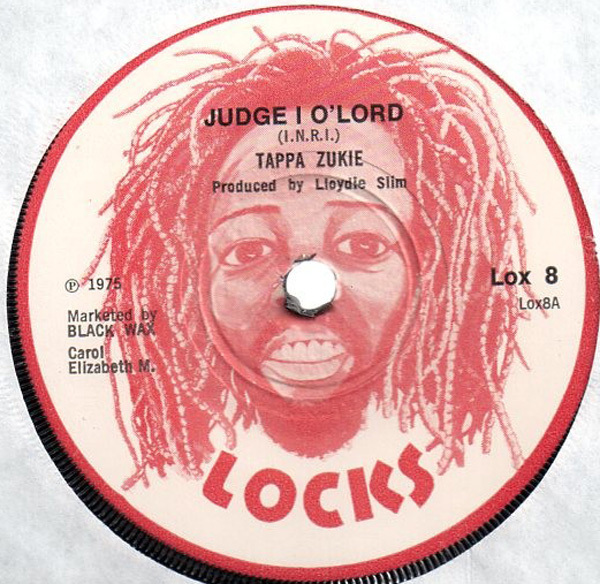 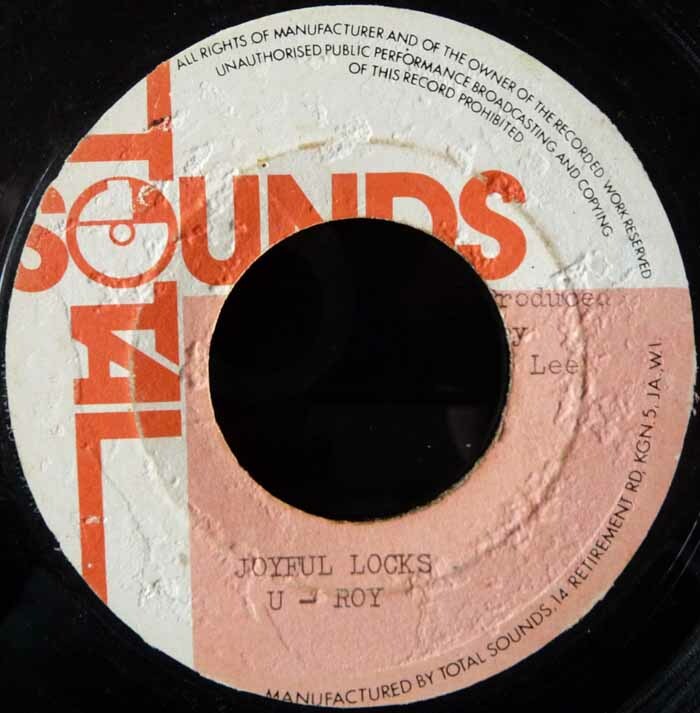 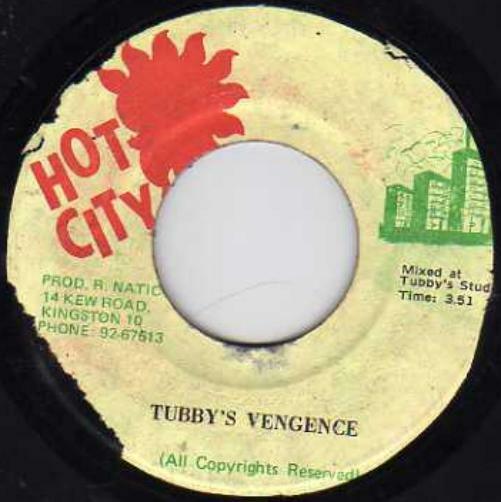 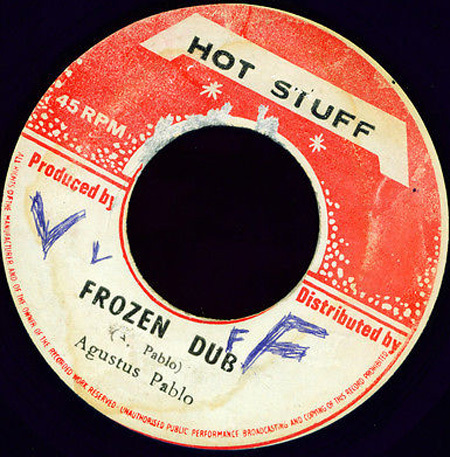 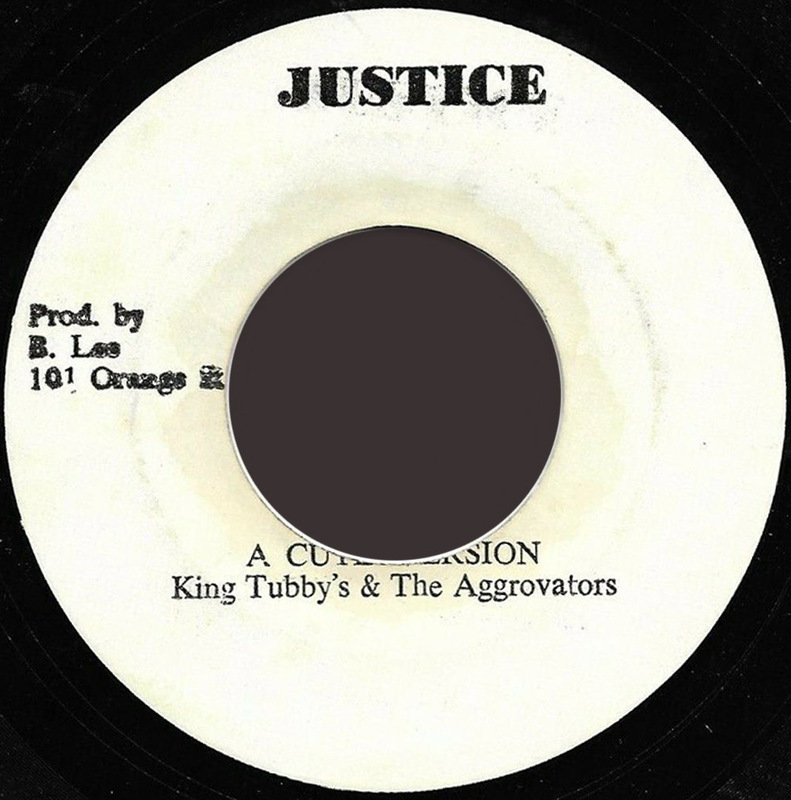 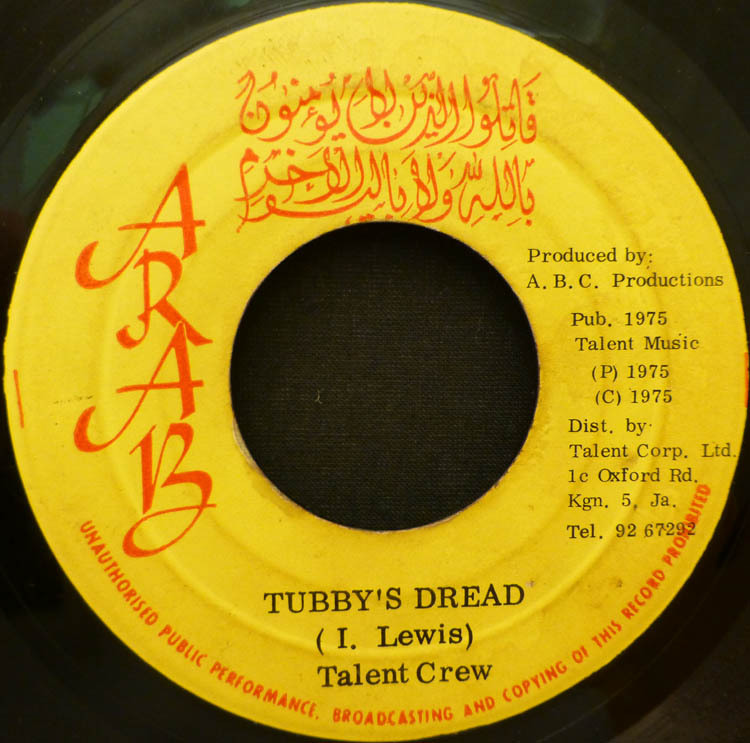 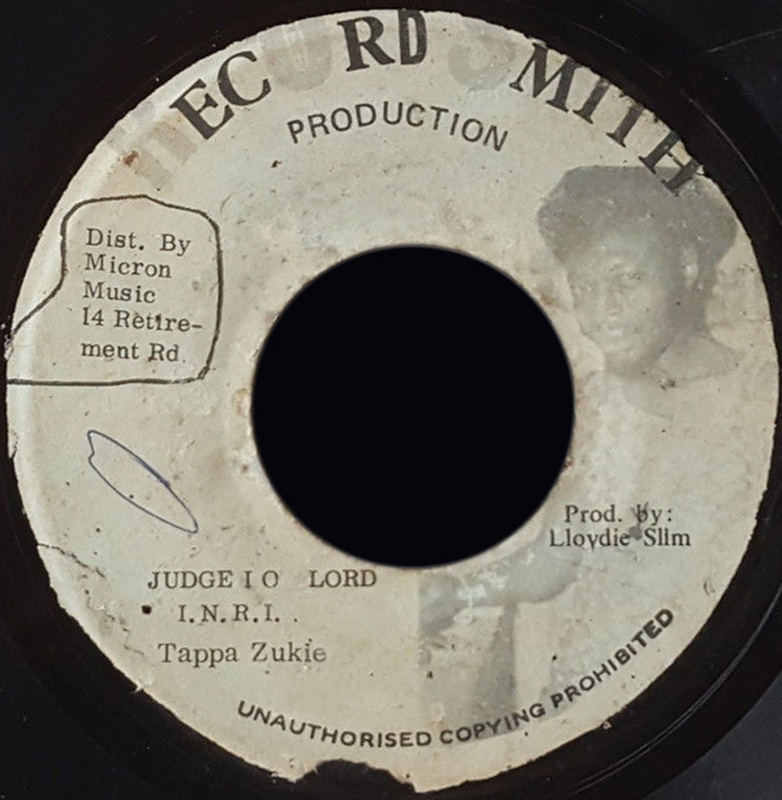 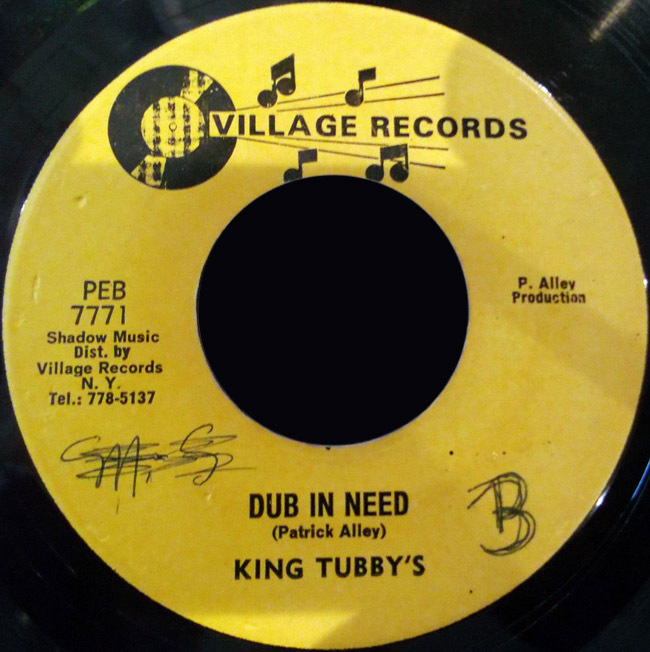 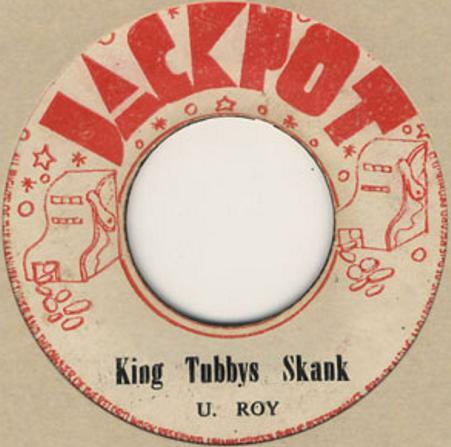 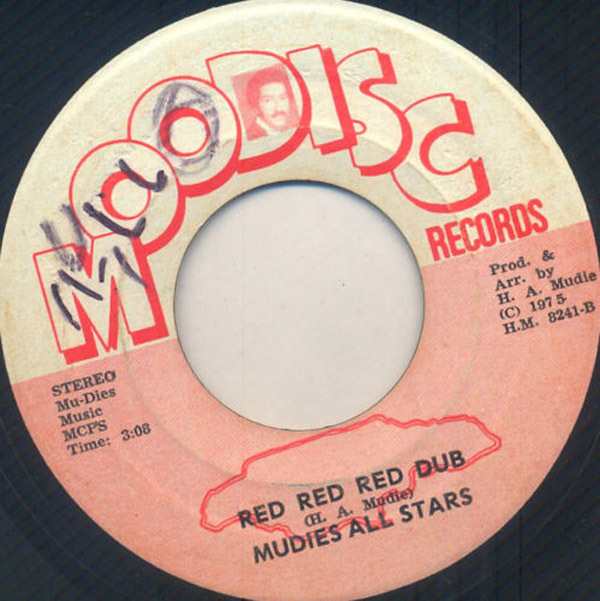 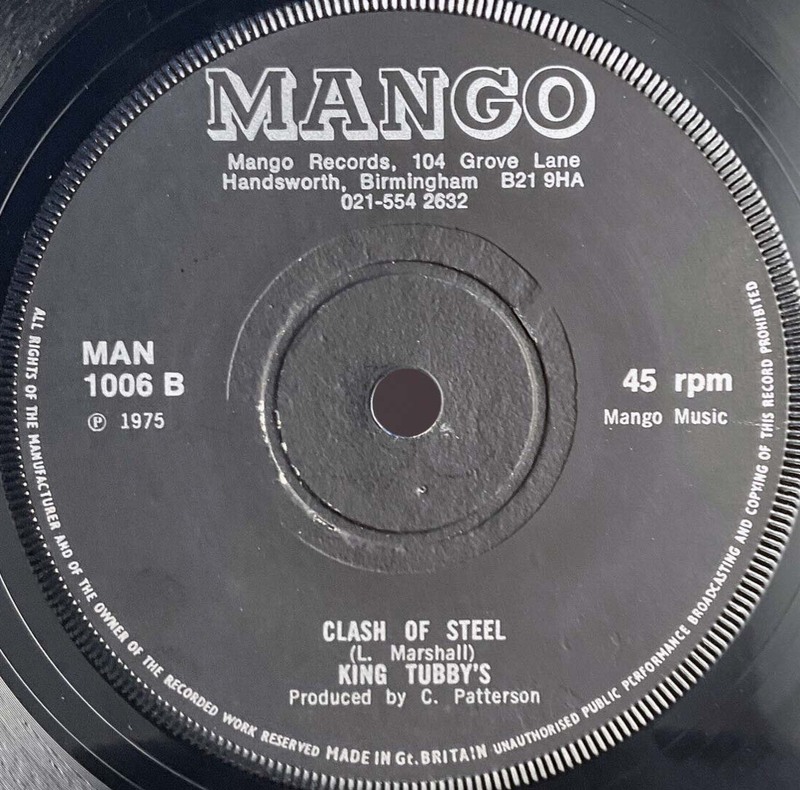 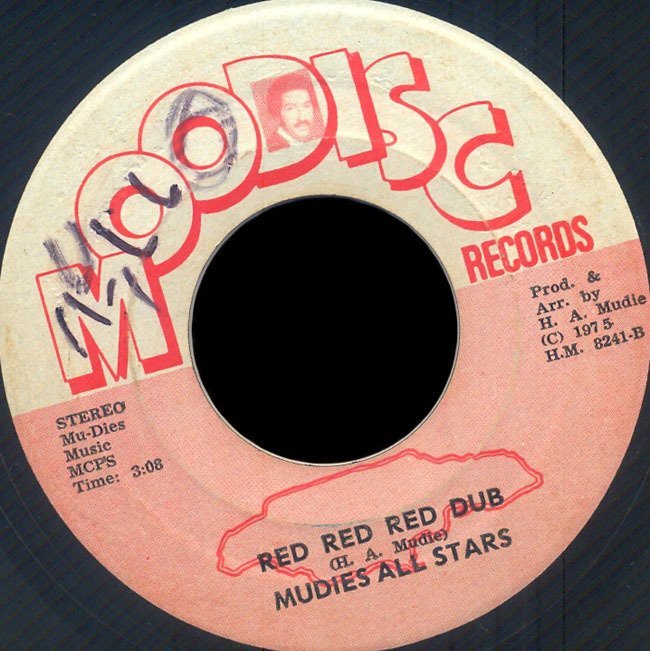 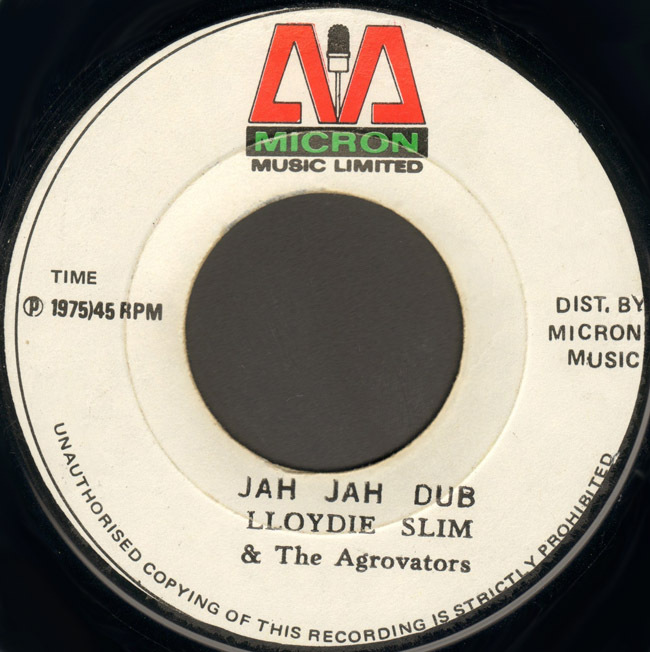 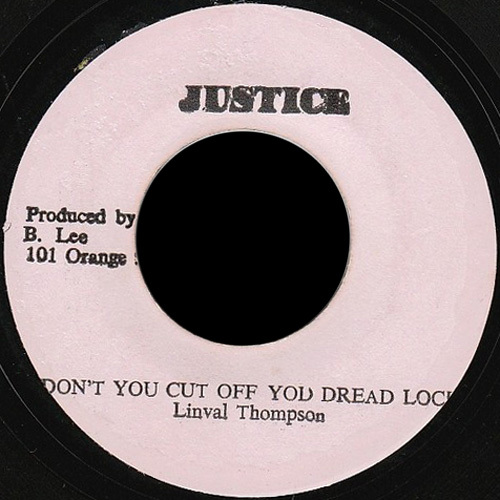 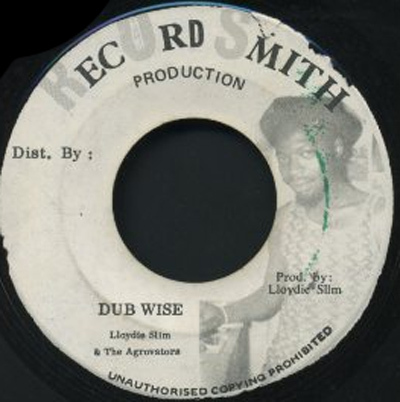 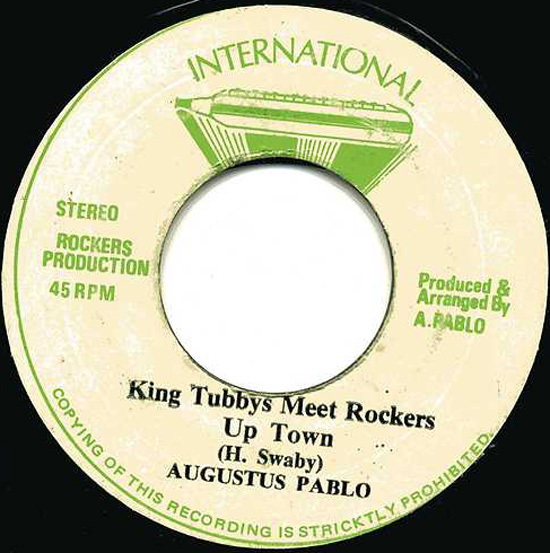 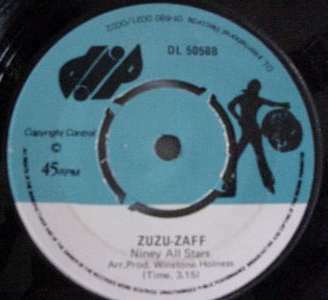 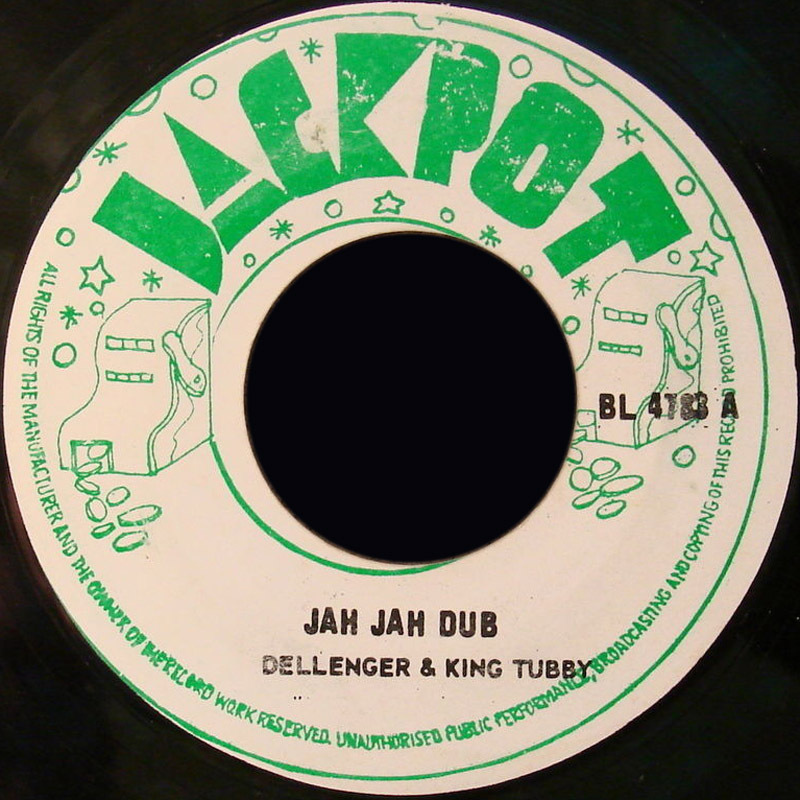 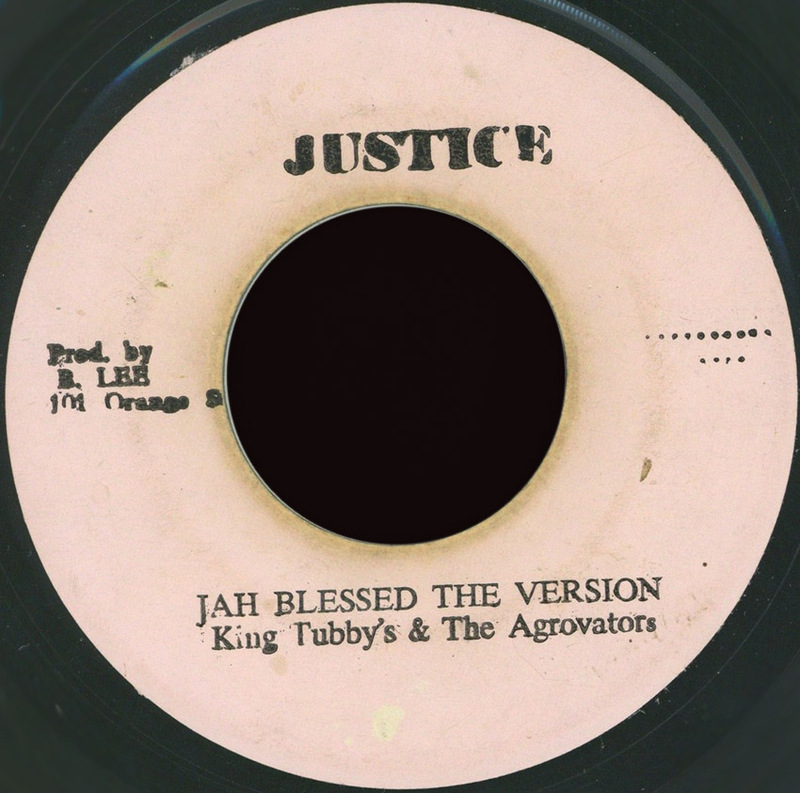 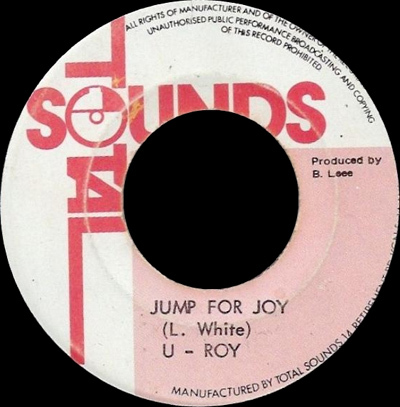 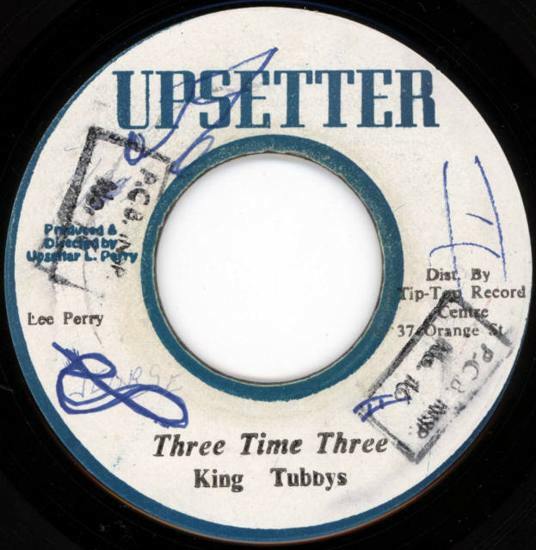 1975 7" Judge I O' Lord Tappa Zukie State Dub Lloydie Slim And King Tubby UK. 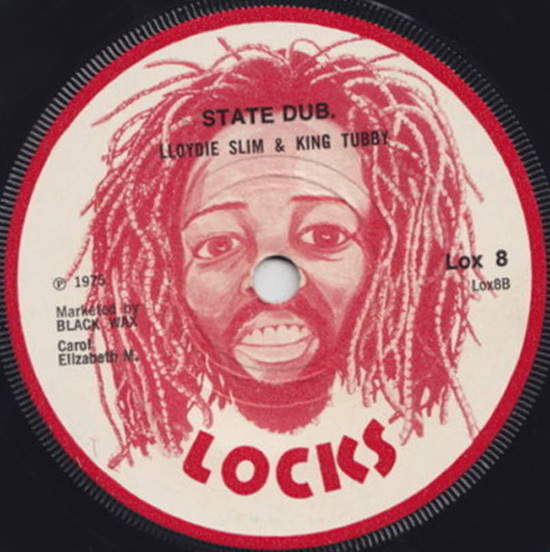 Lox 8 Lloydie Slim Pr. 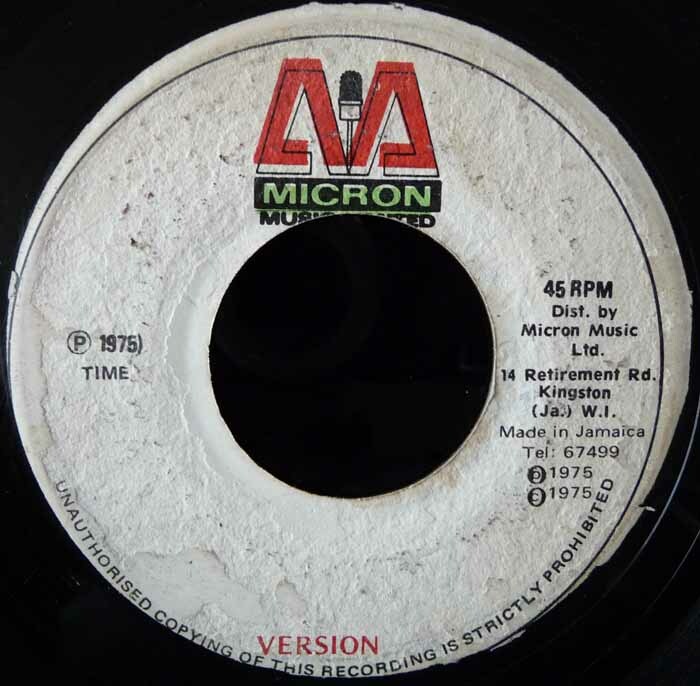 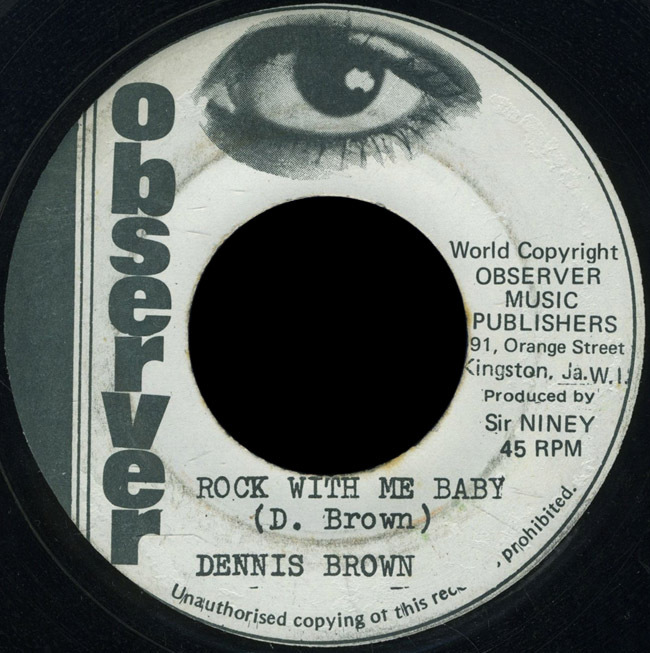 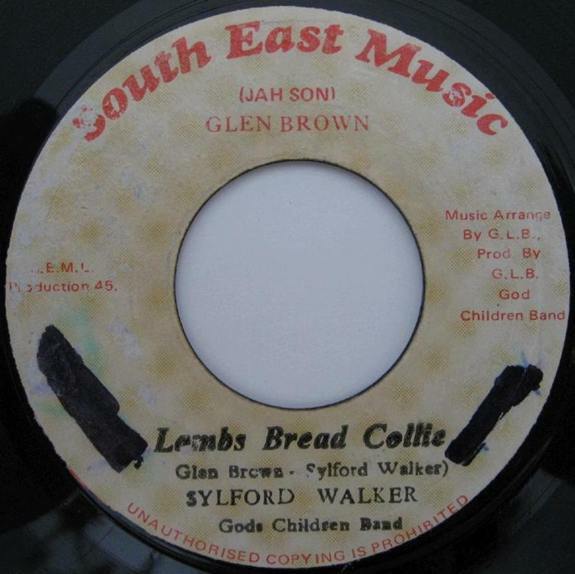 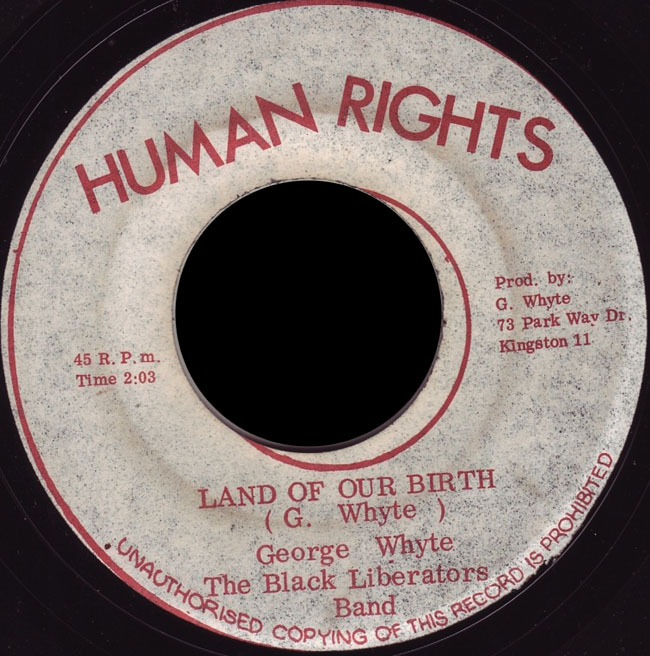 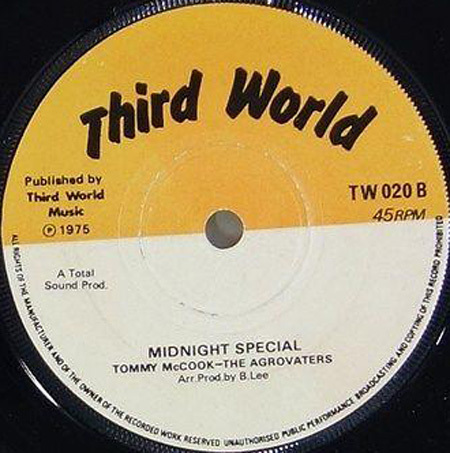 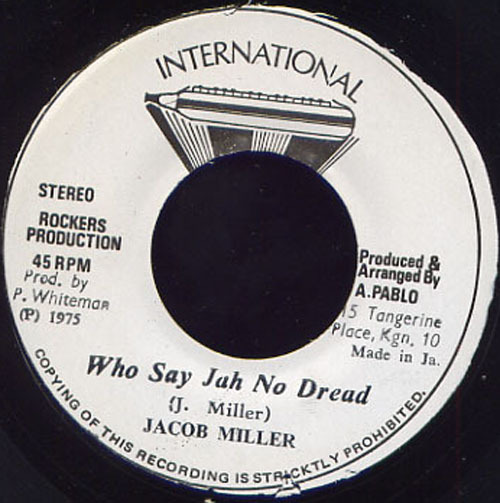 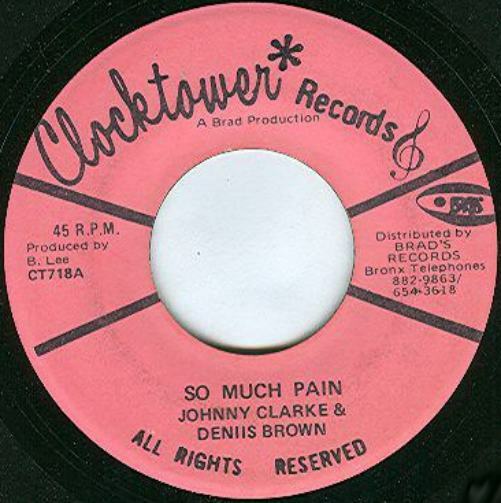 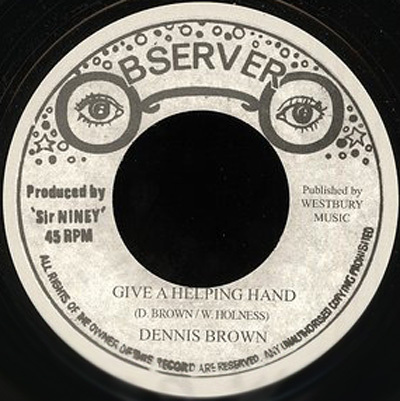 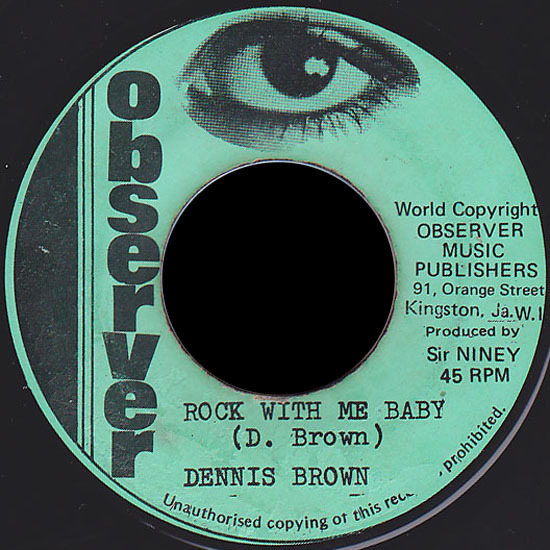 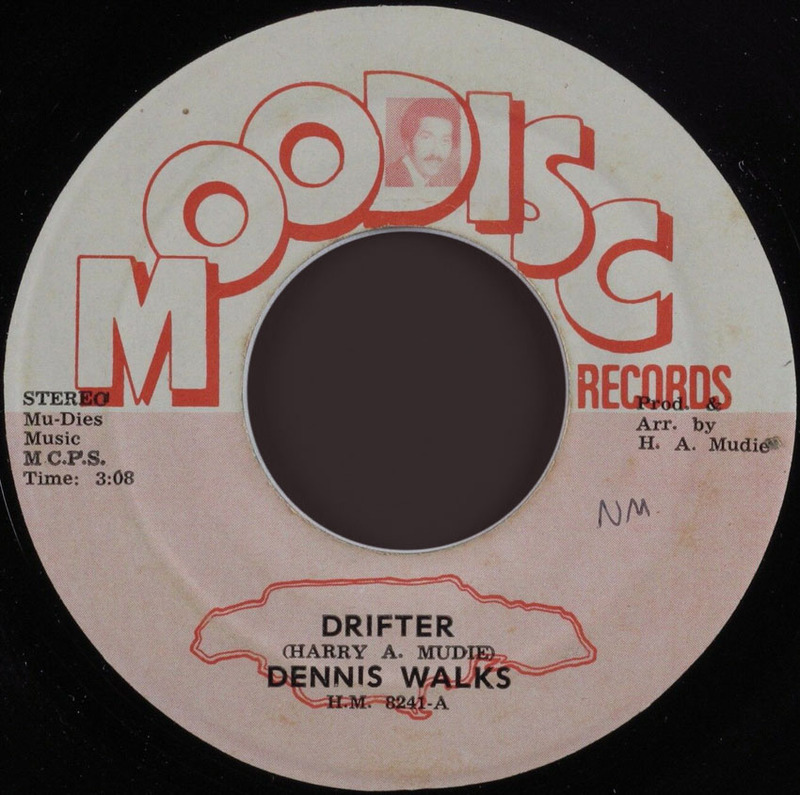 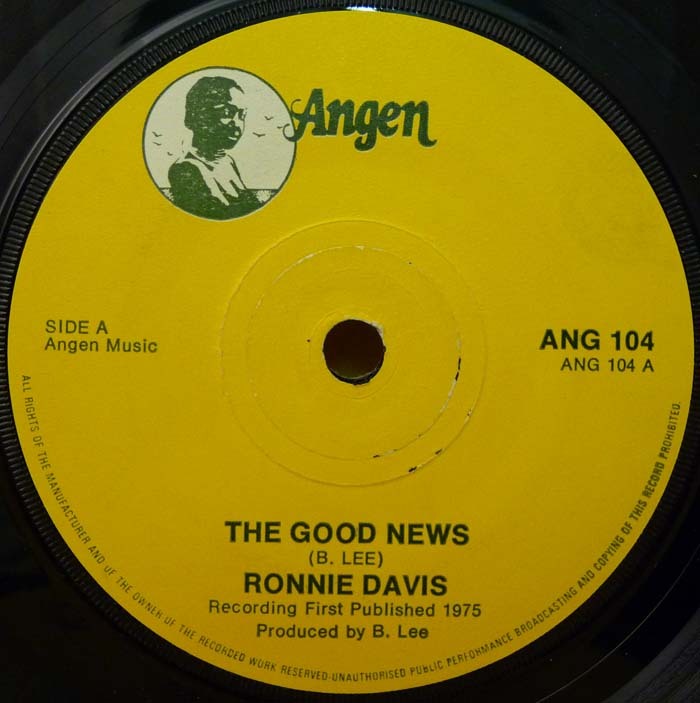 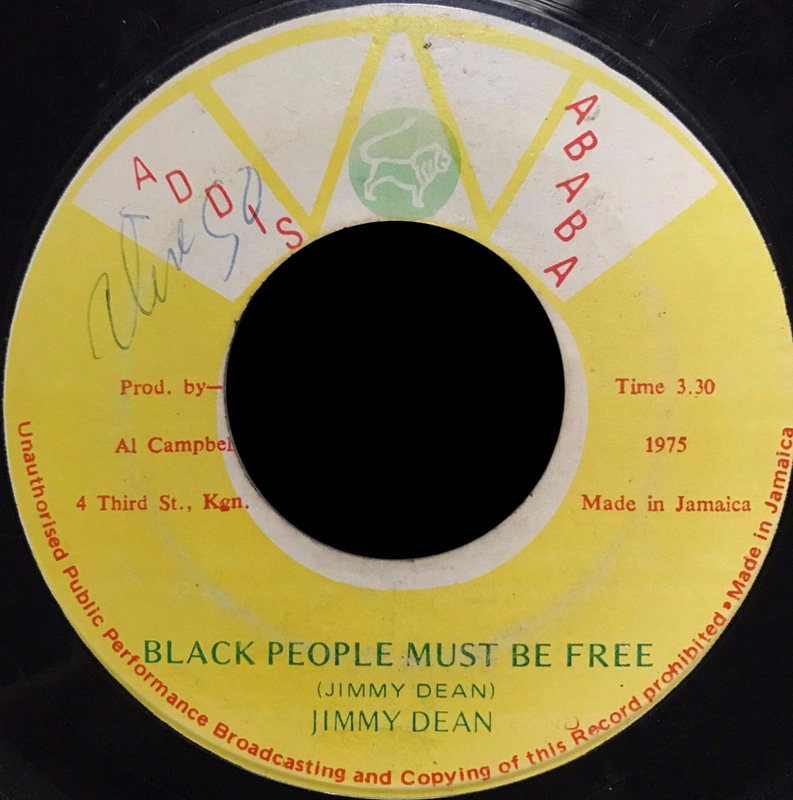 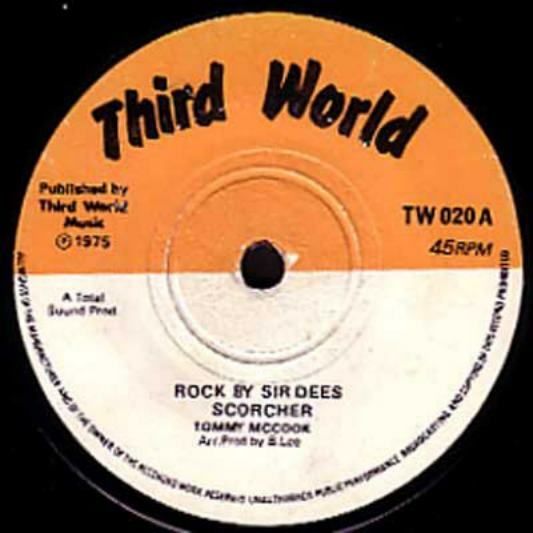 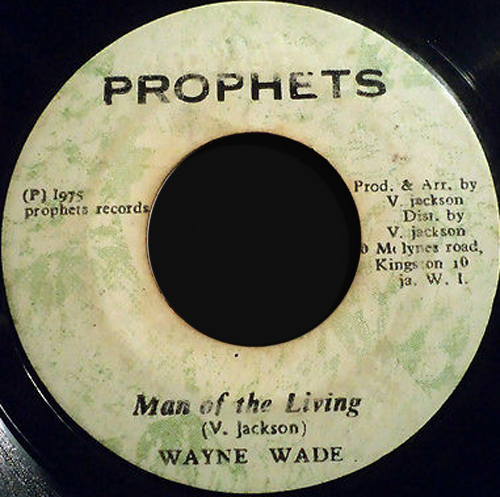 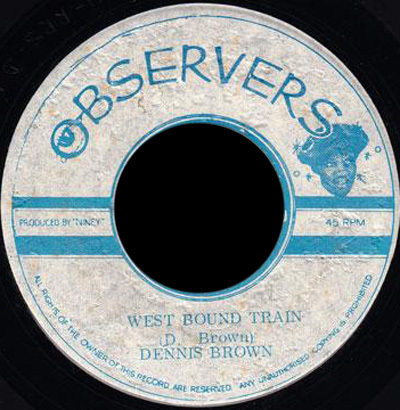 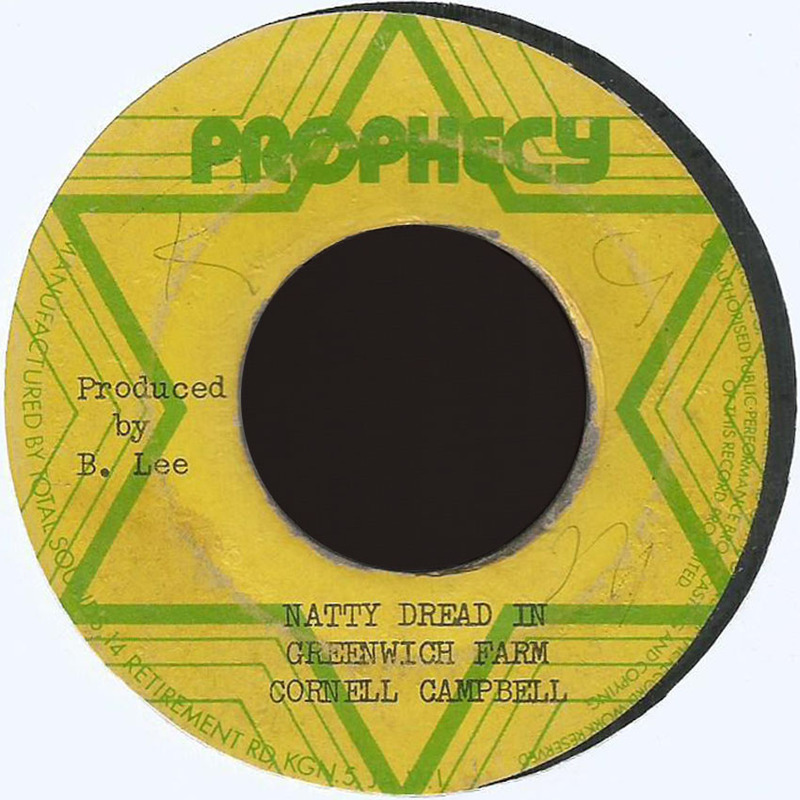 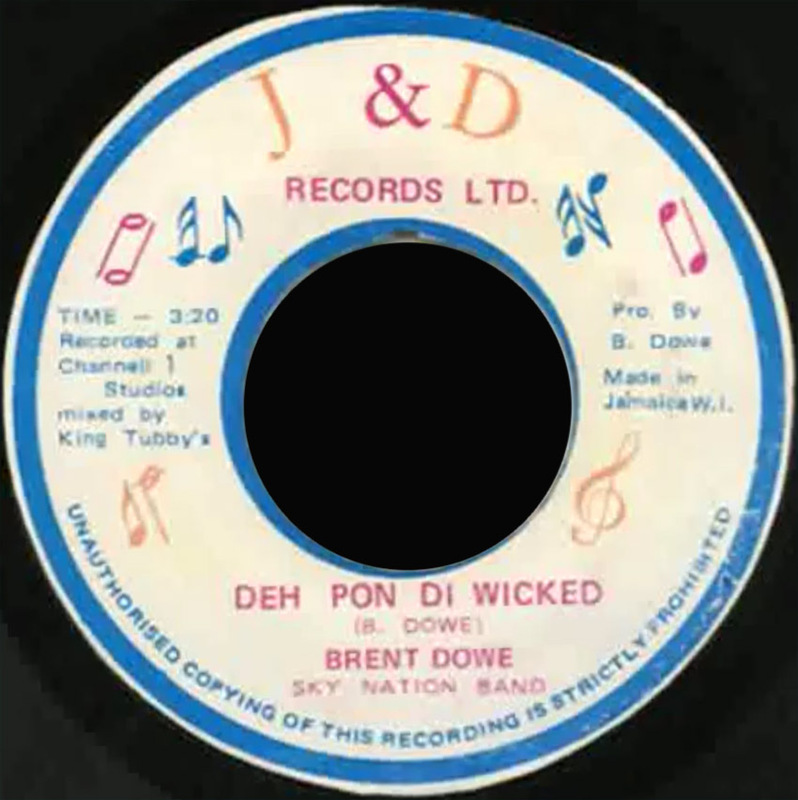 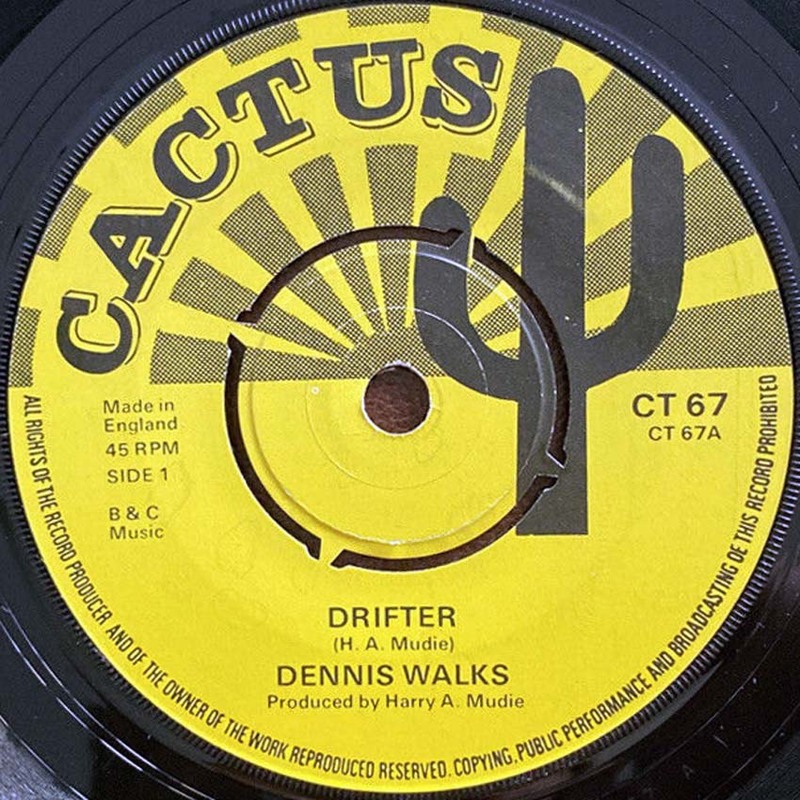 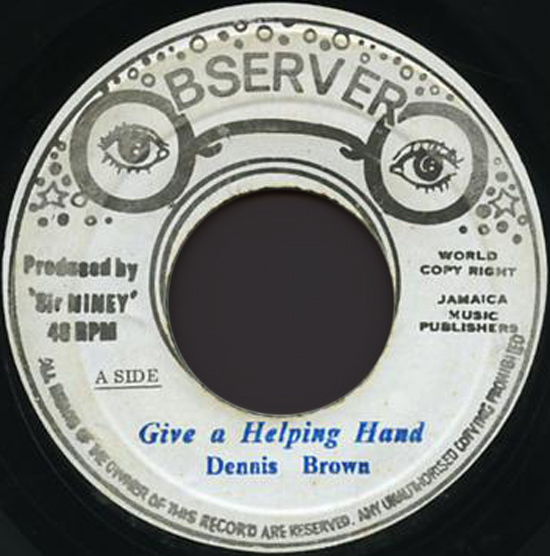 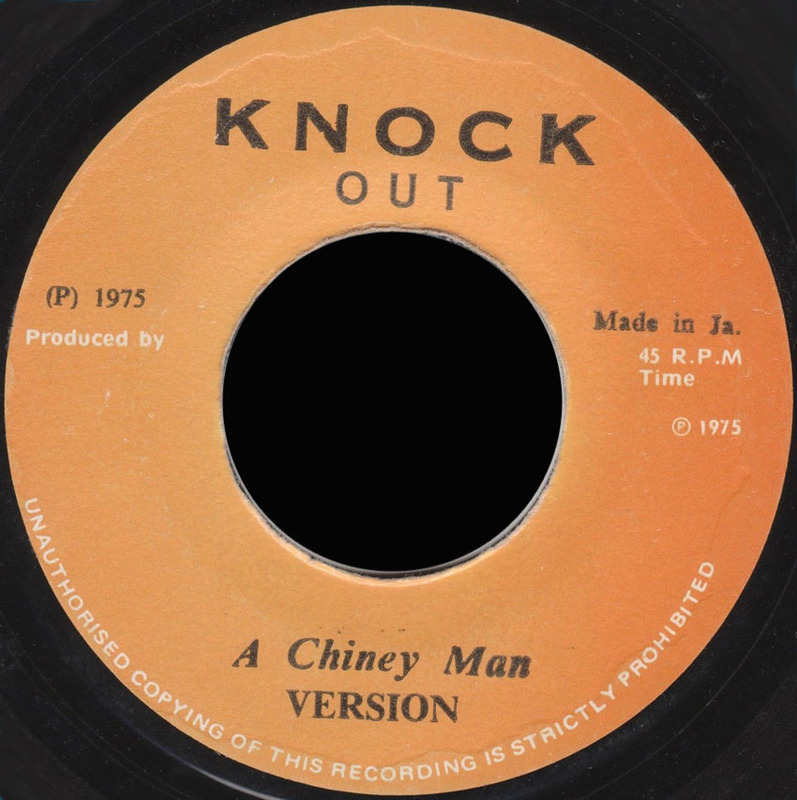 1975 7" No More Will I Roam Dennis Brown Jam Down JA. 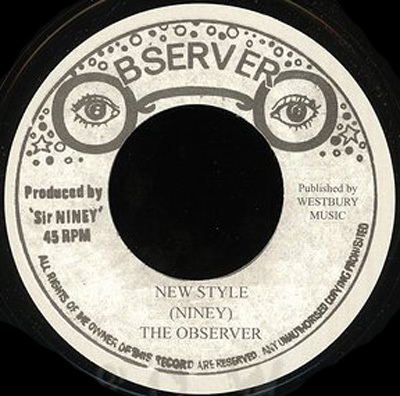 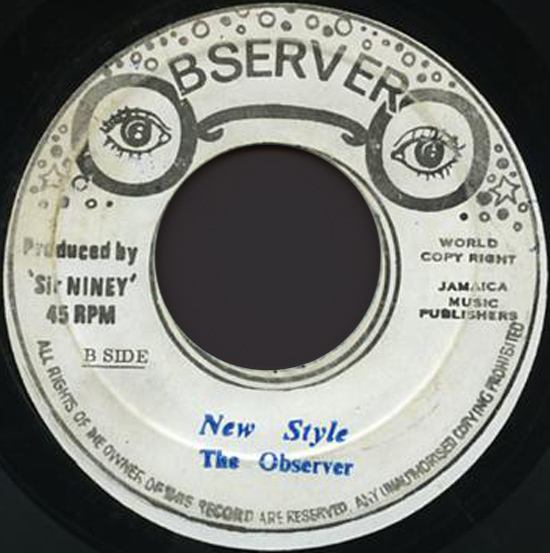 Observer Niney Pr. 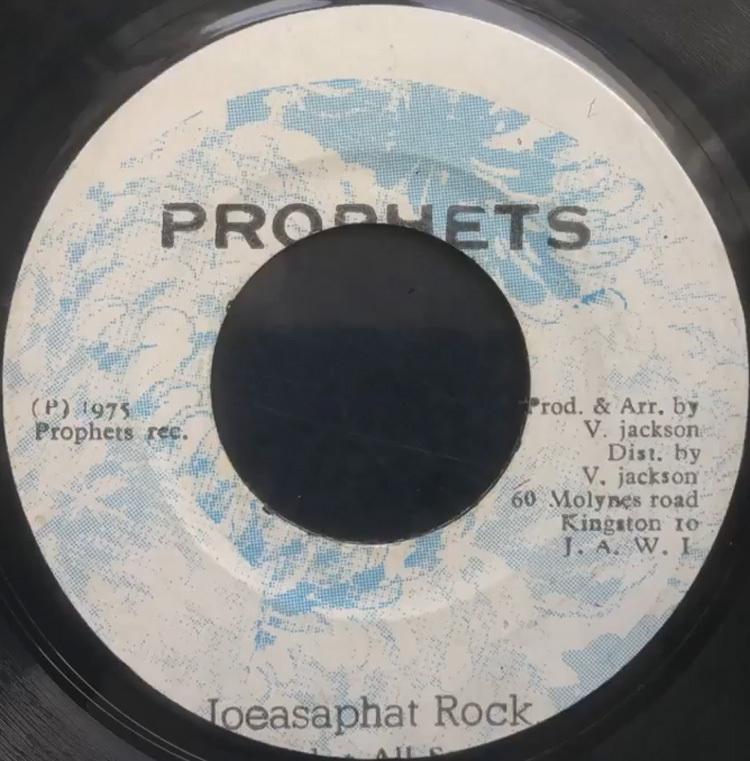 197? 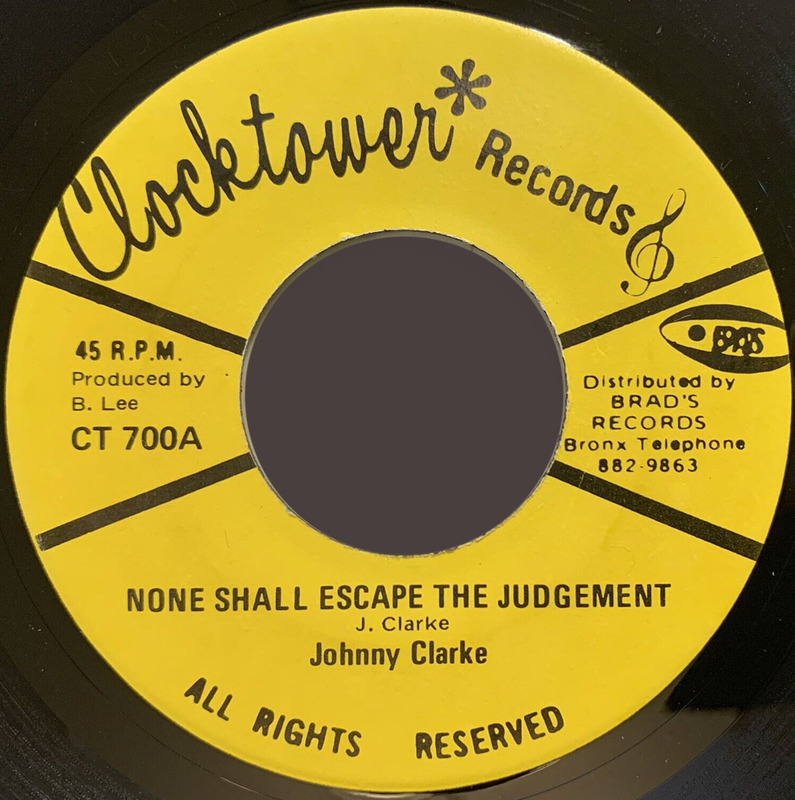 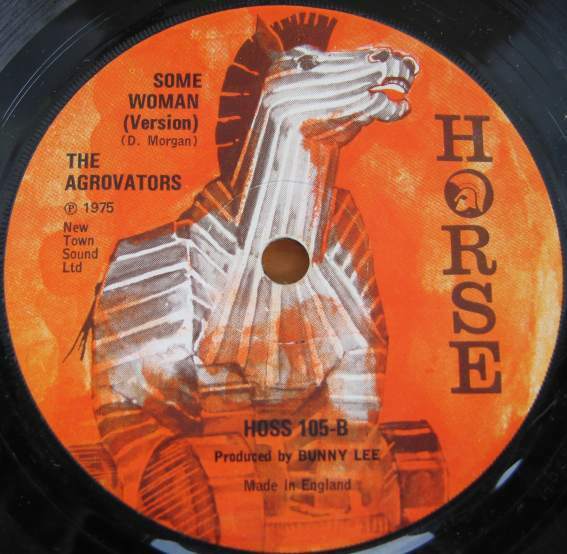 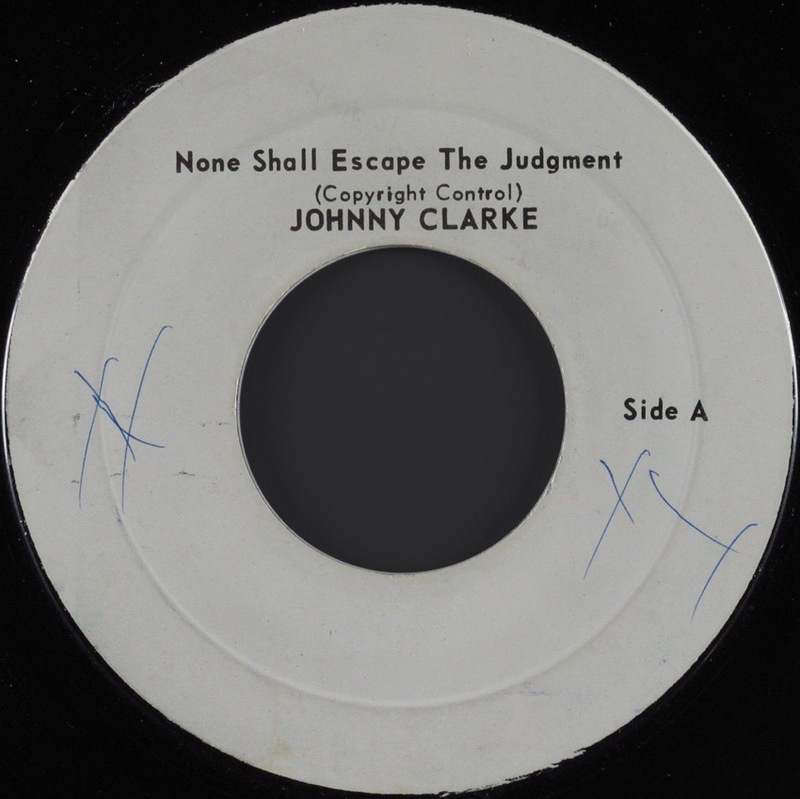 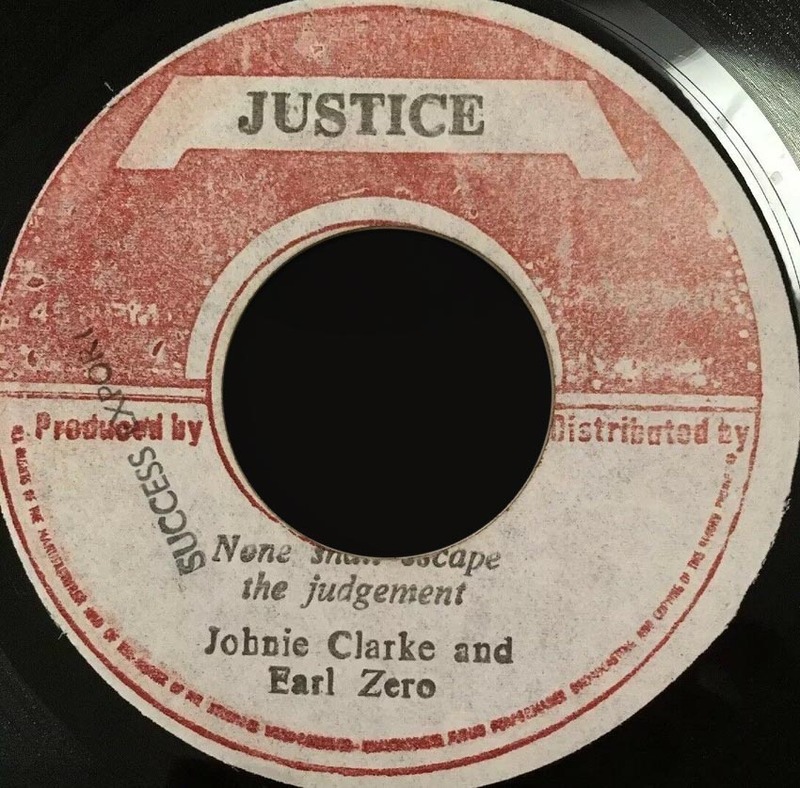 7" None Shall Escape The Judgement Johnny Clarke Version The Aggravators JA. ? 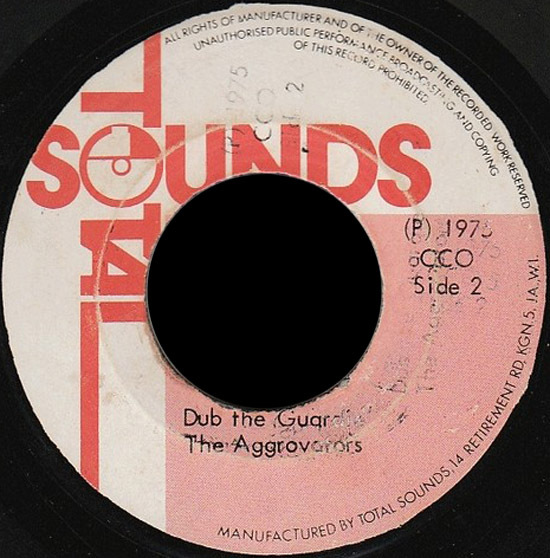 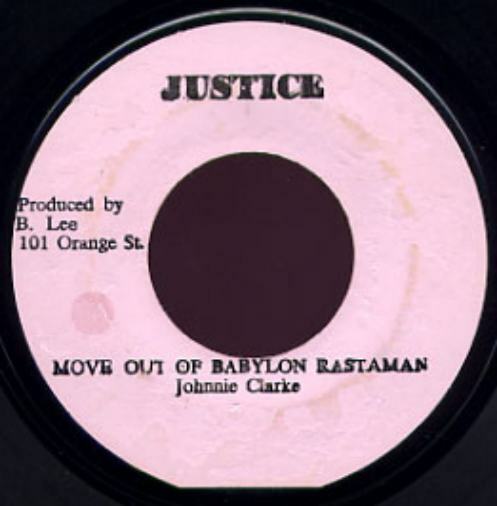 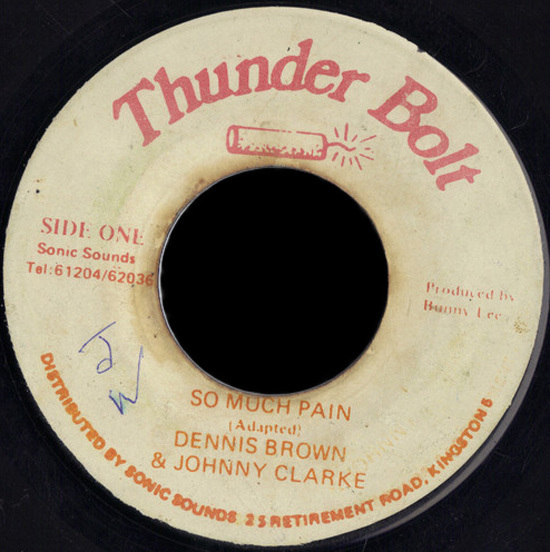 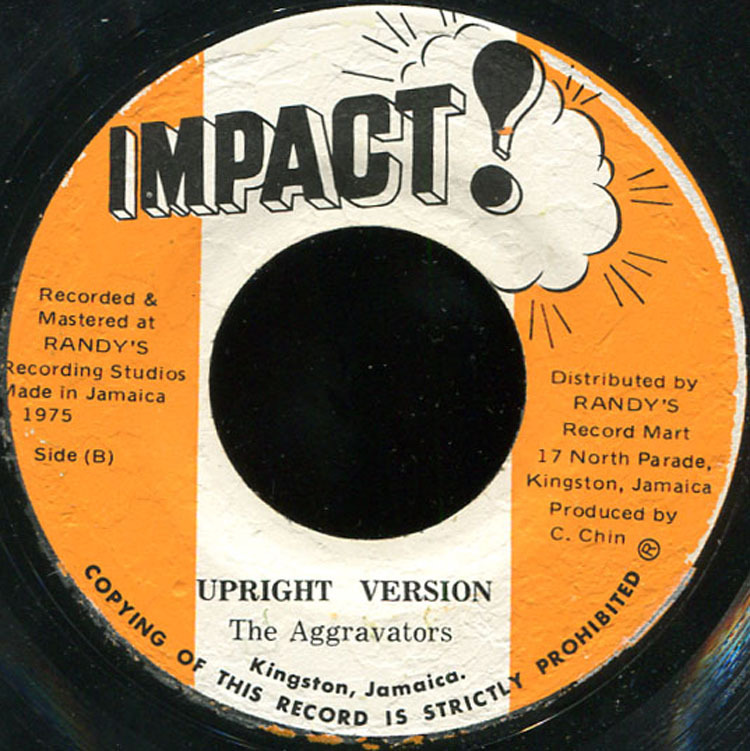 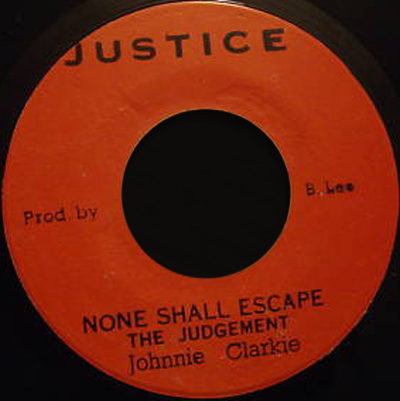 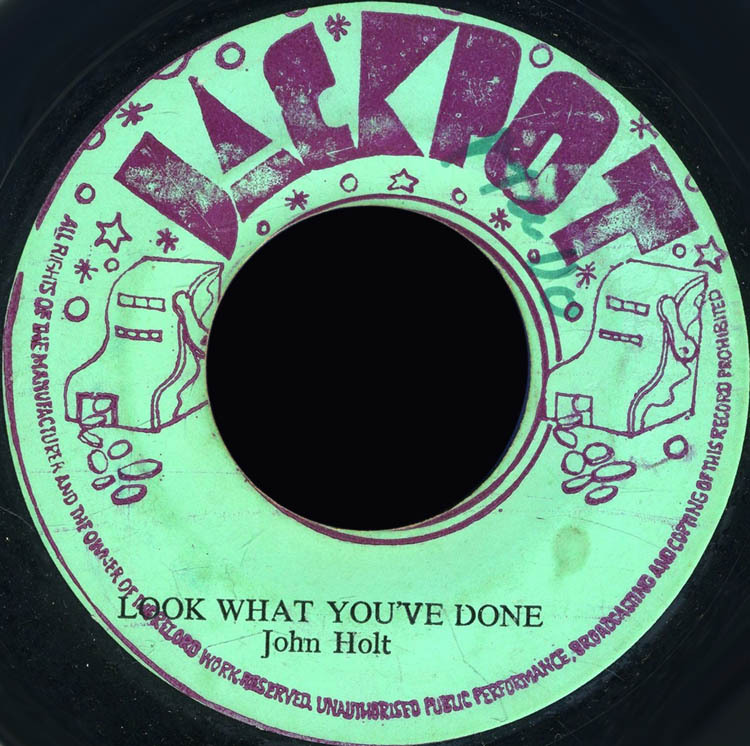 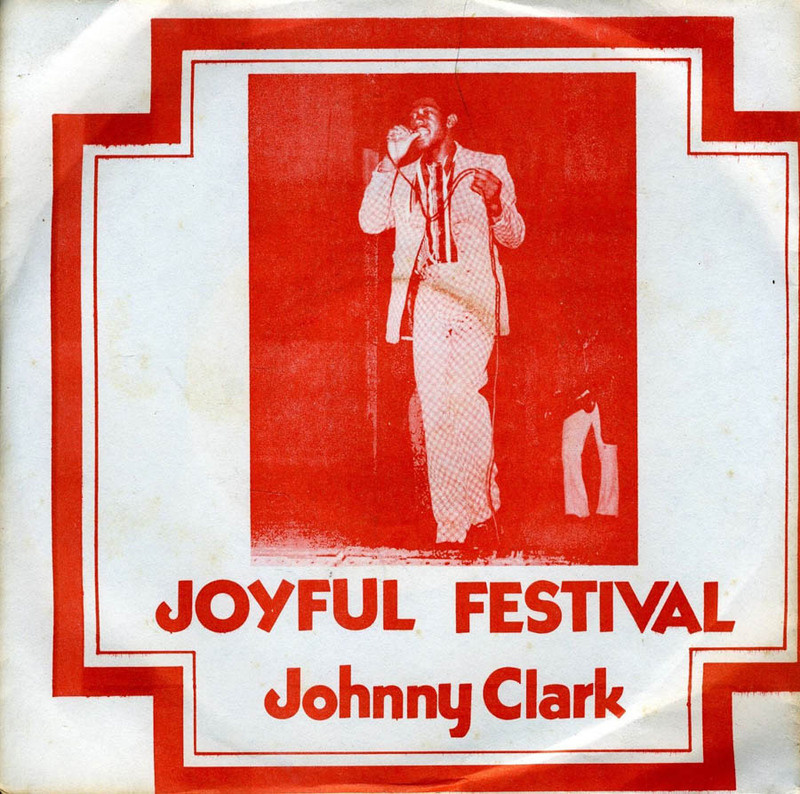 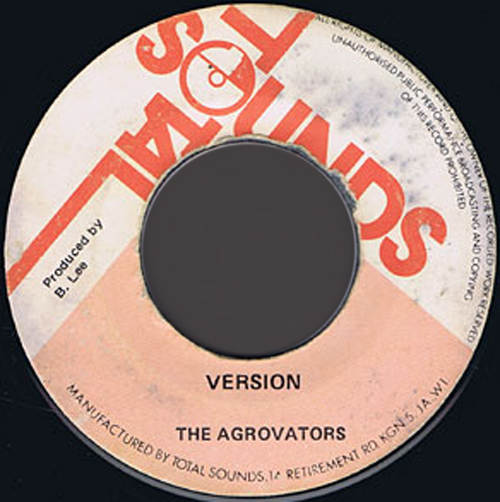 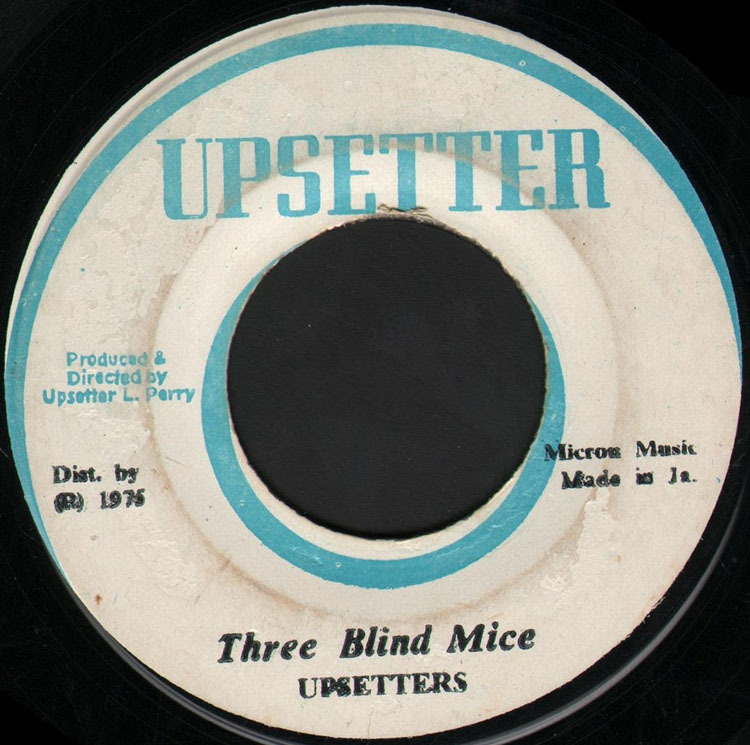 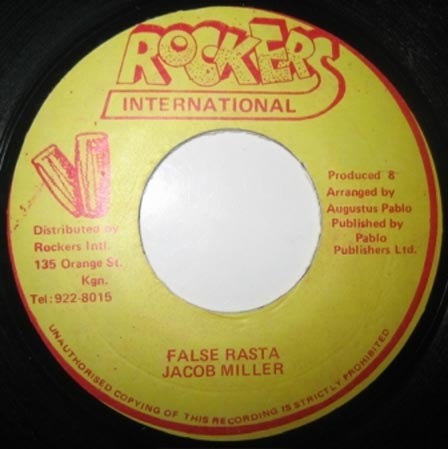 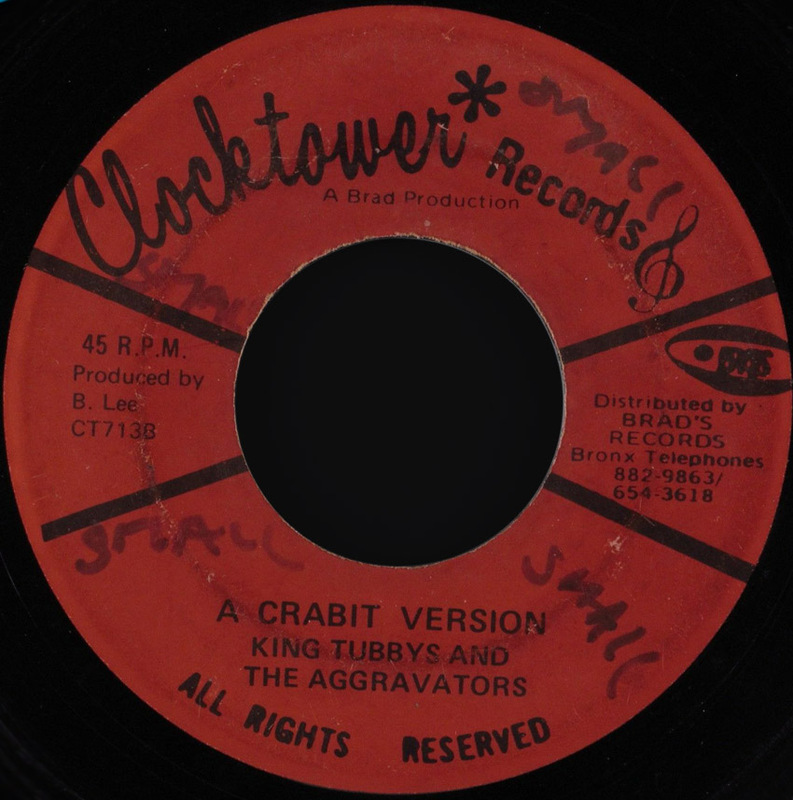 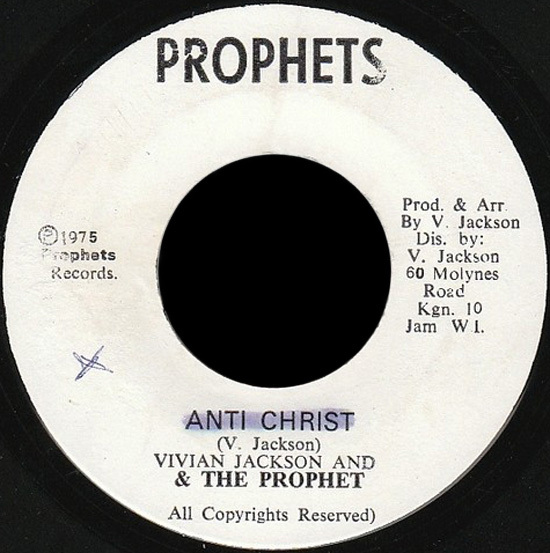 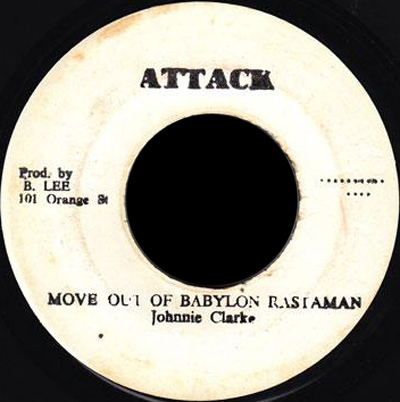 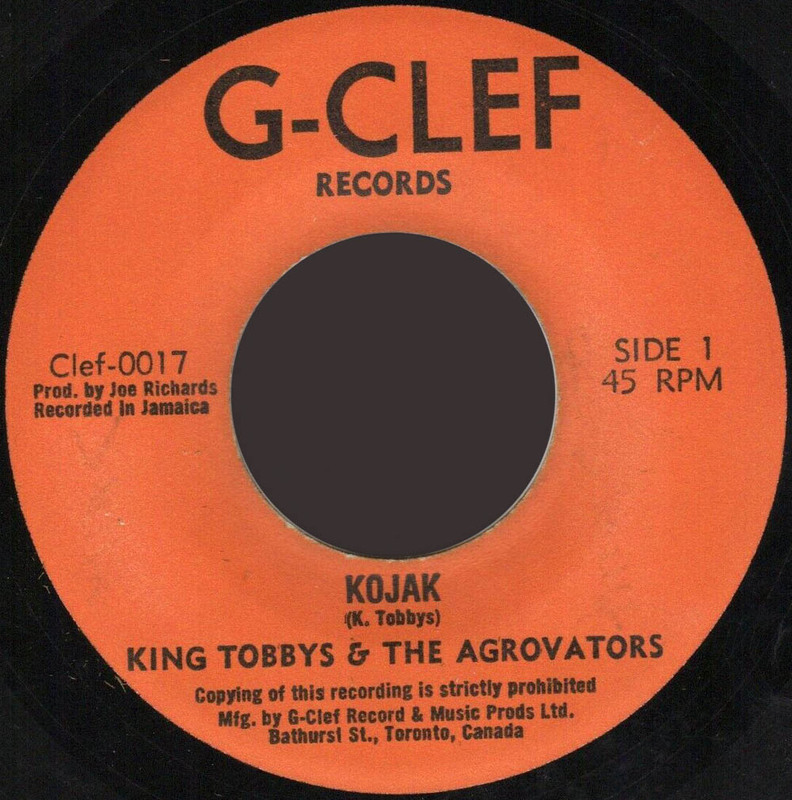 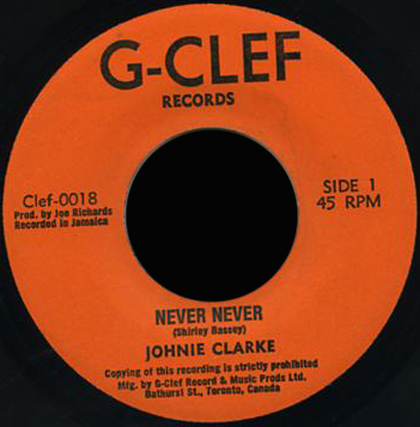 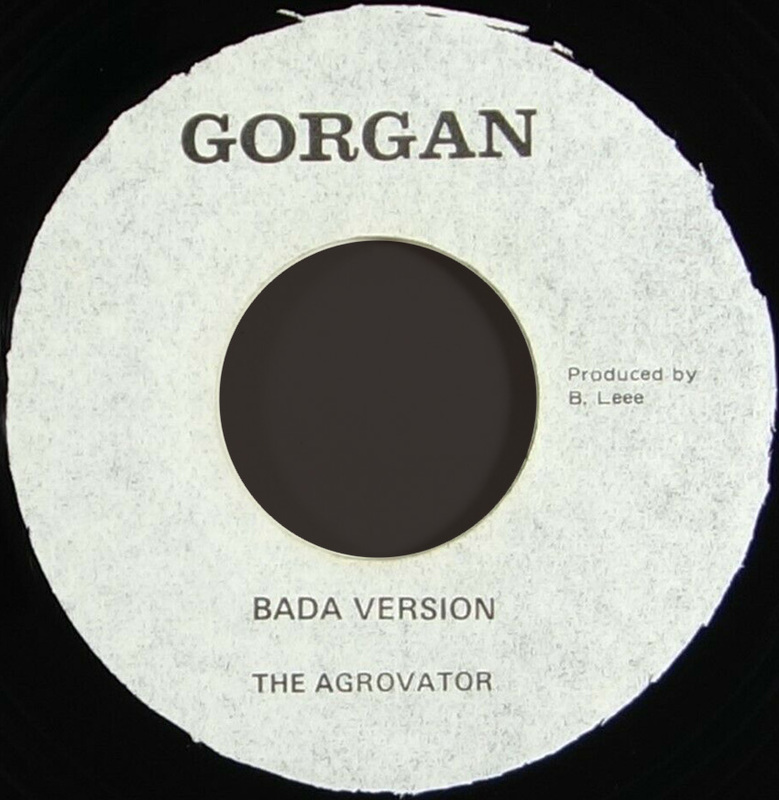 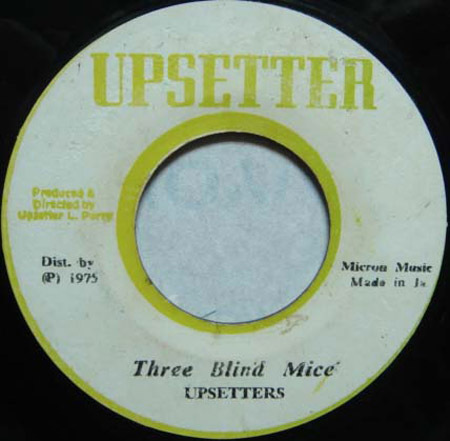 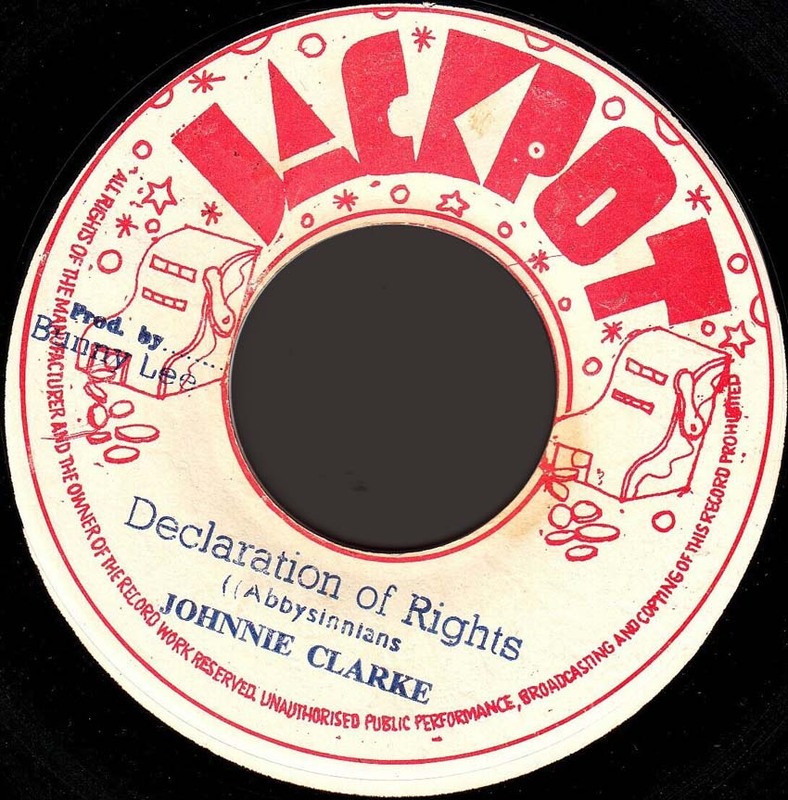 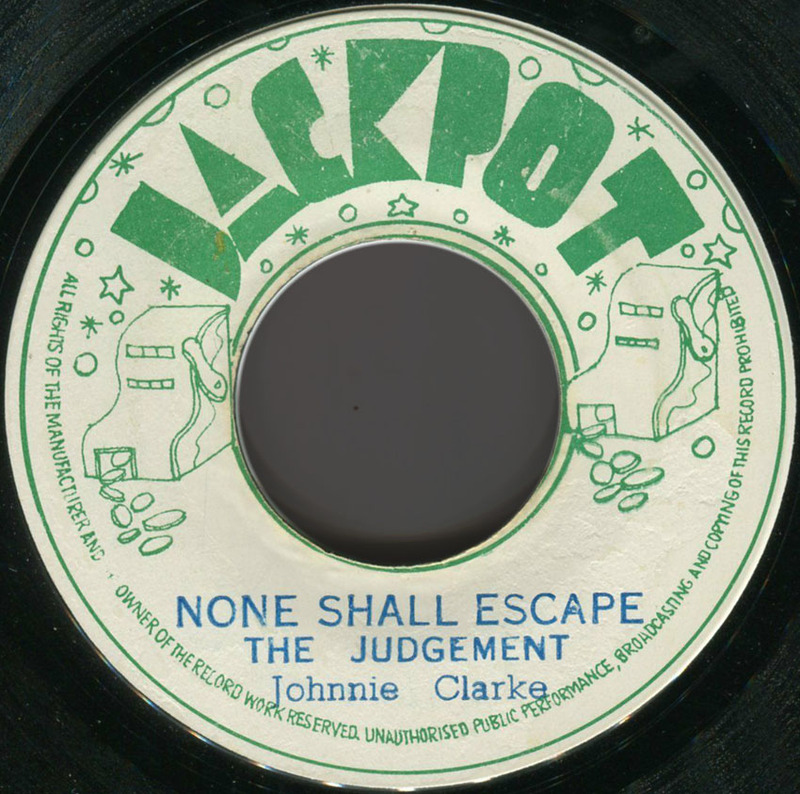 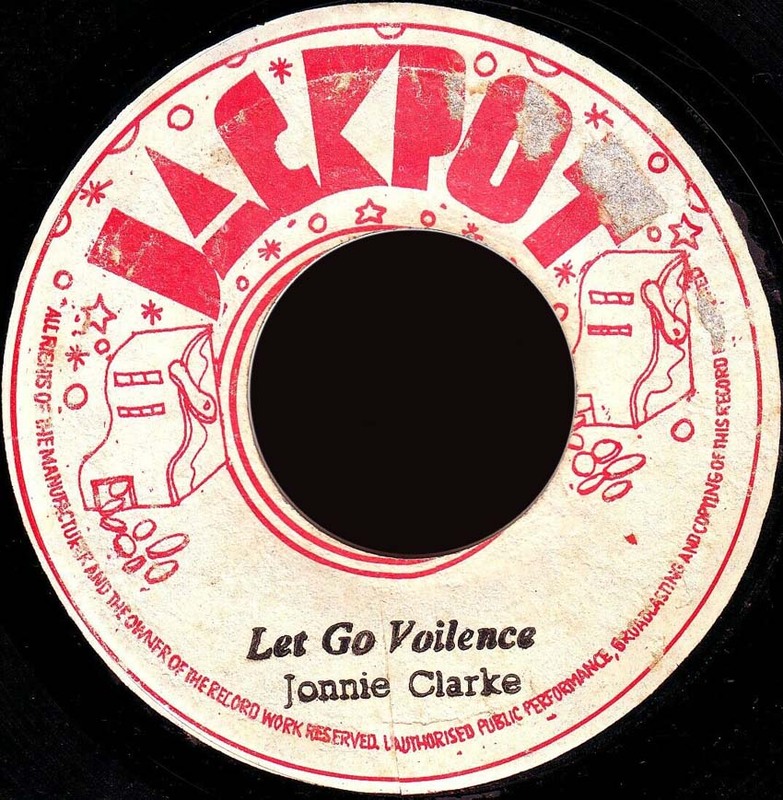 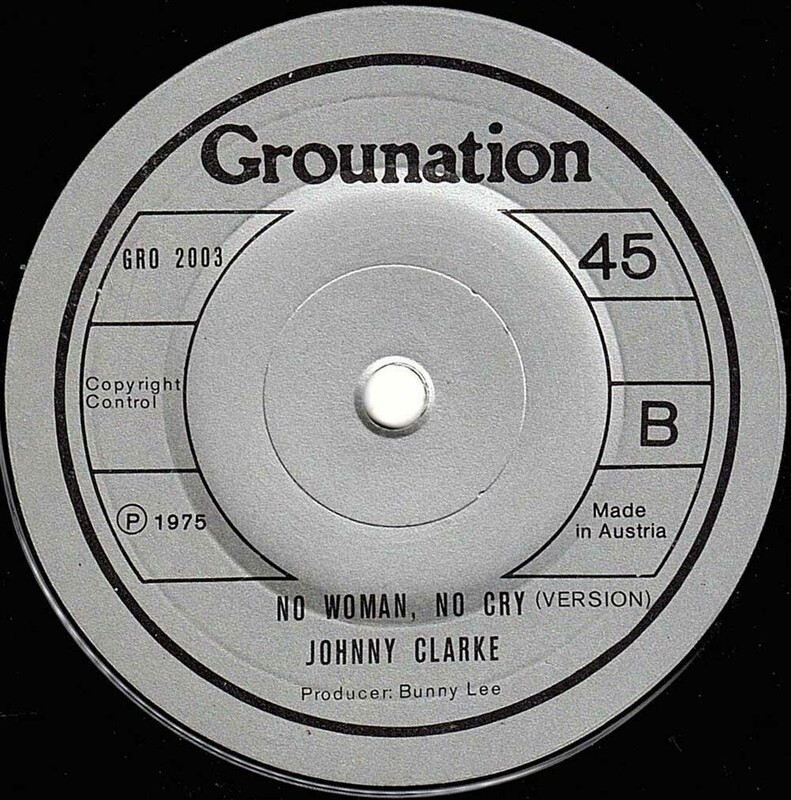 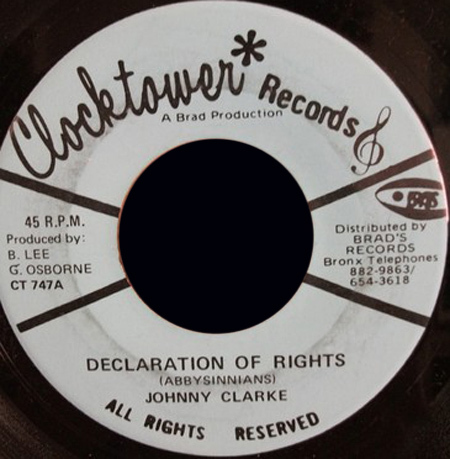 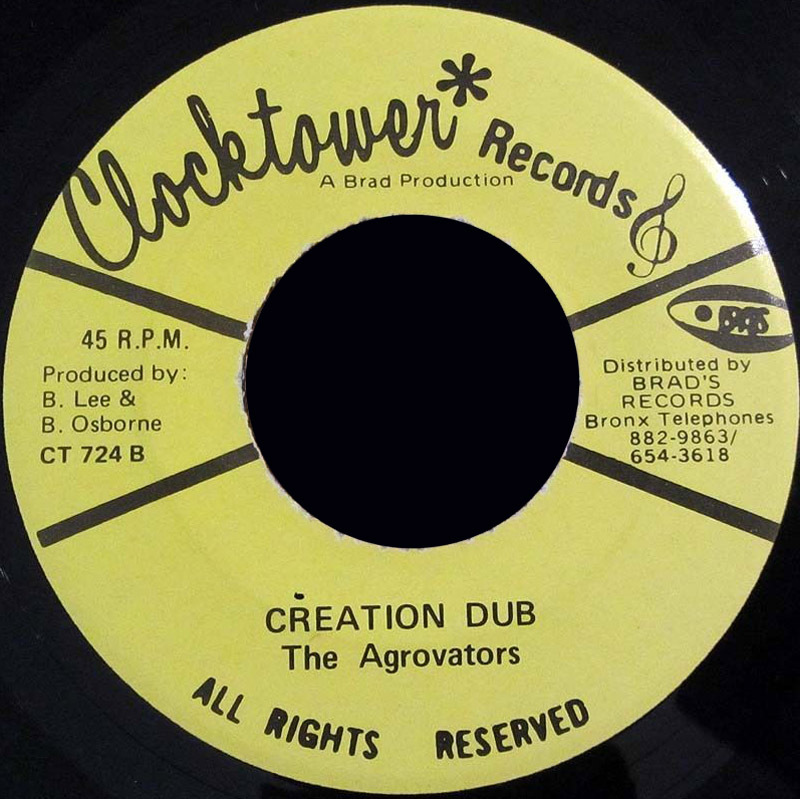 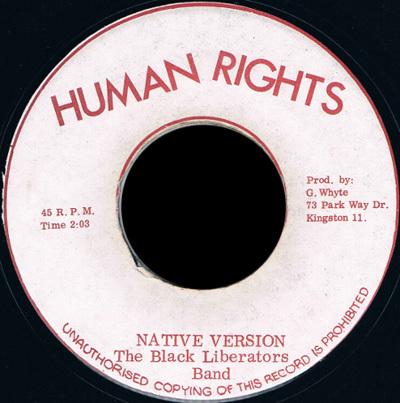 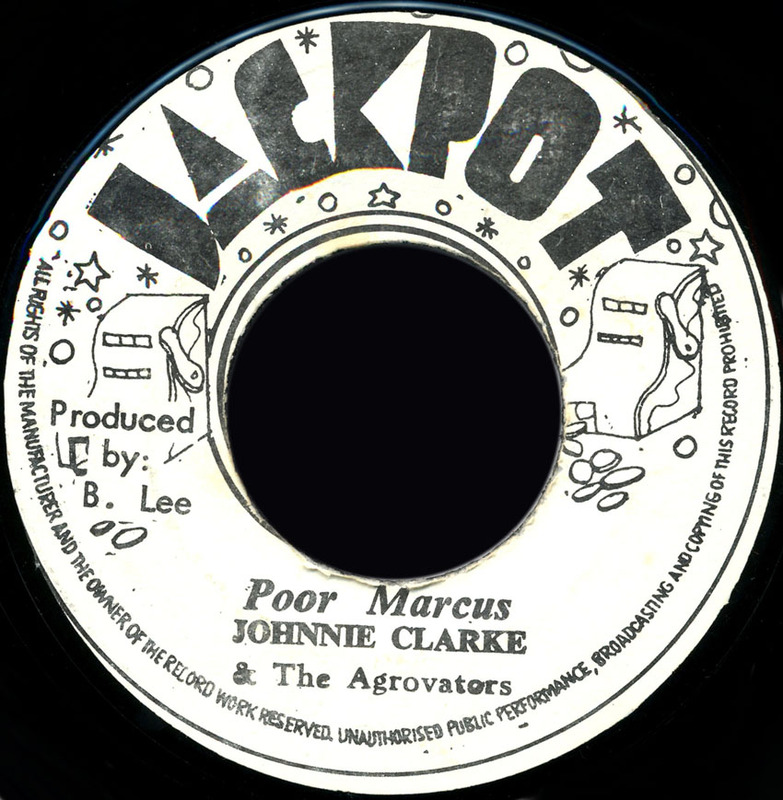 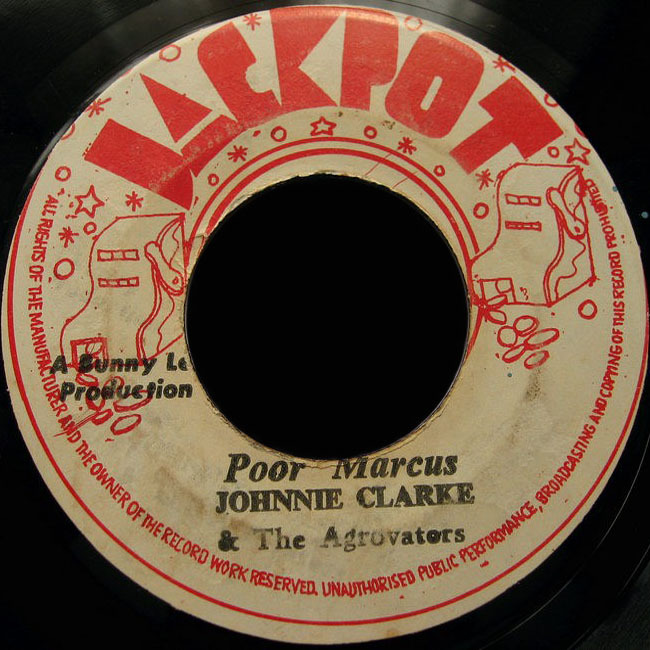 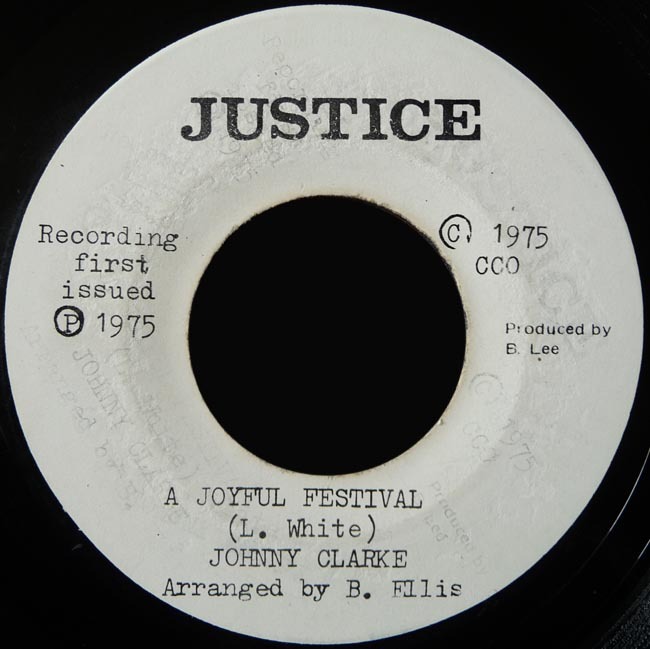 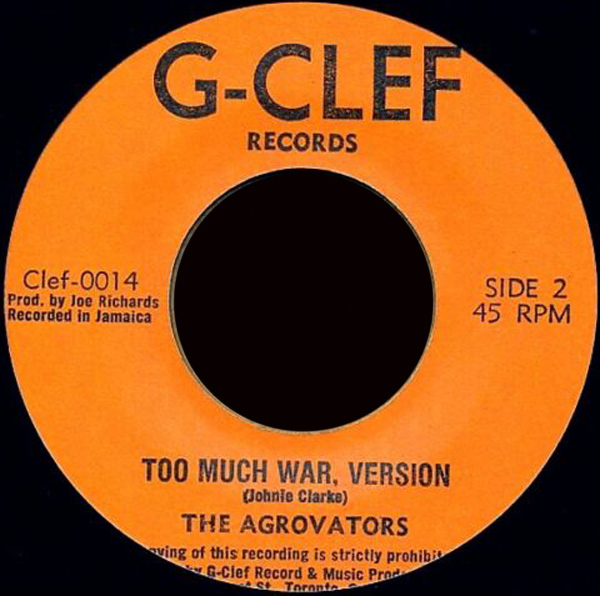 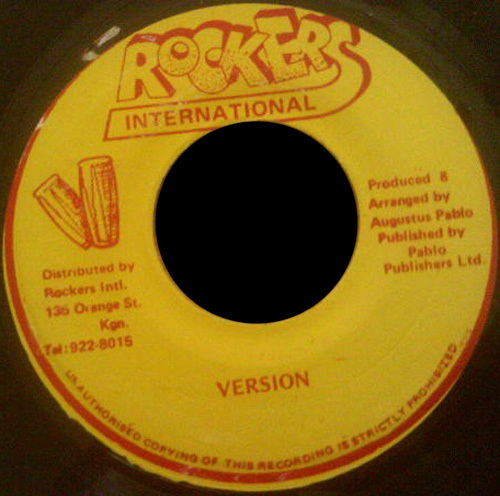 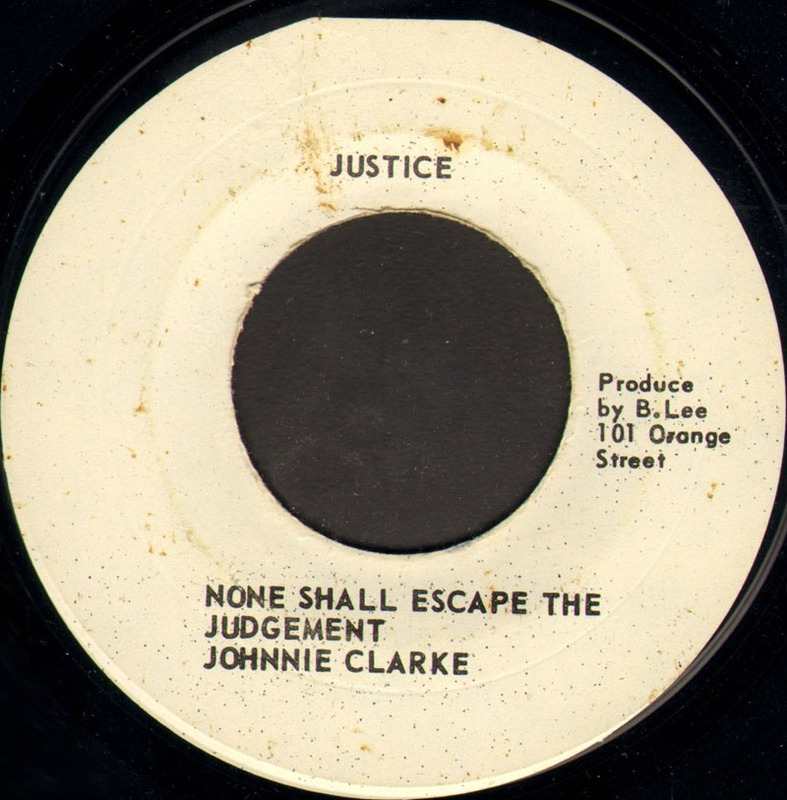 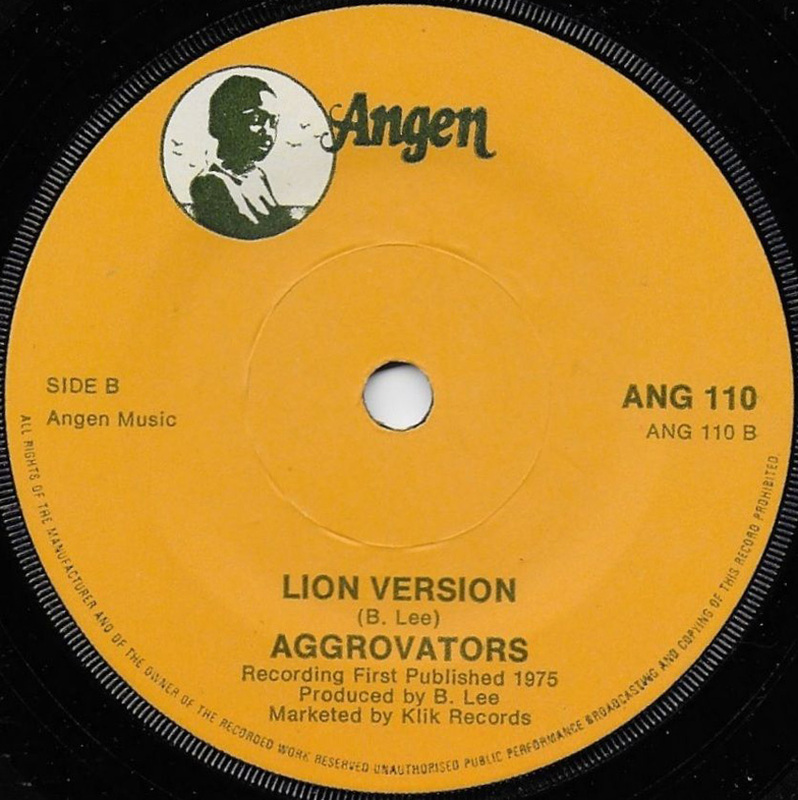 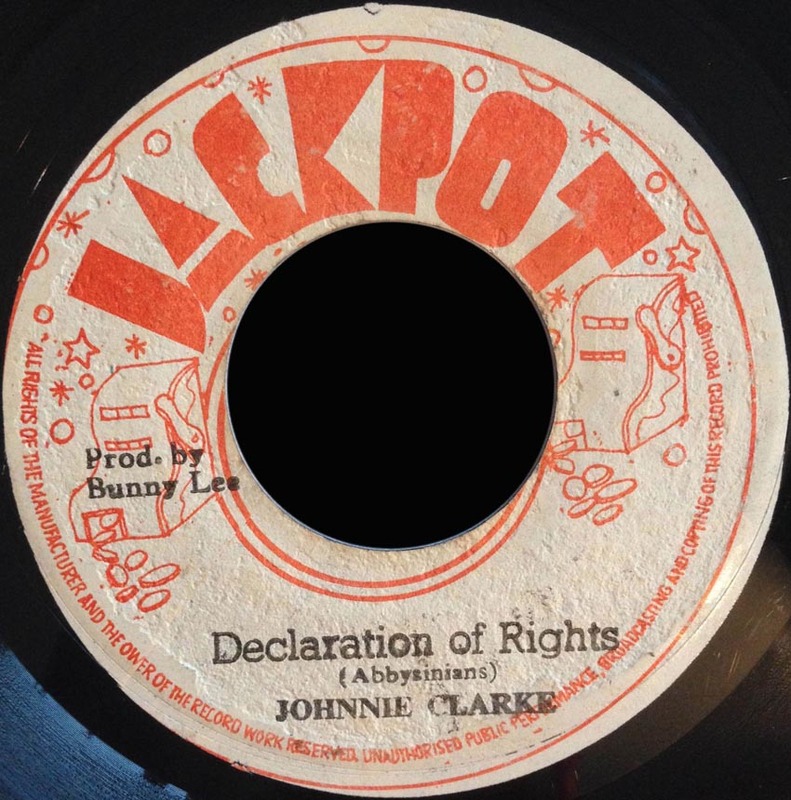 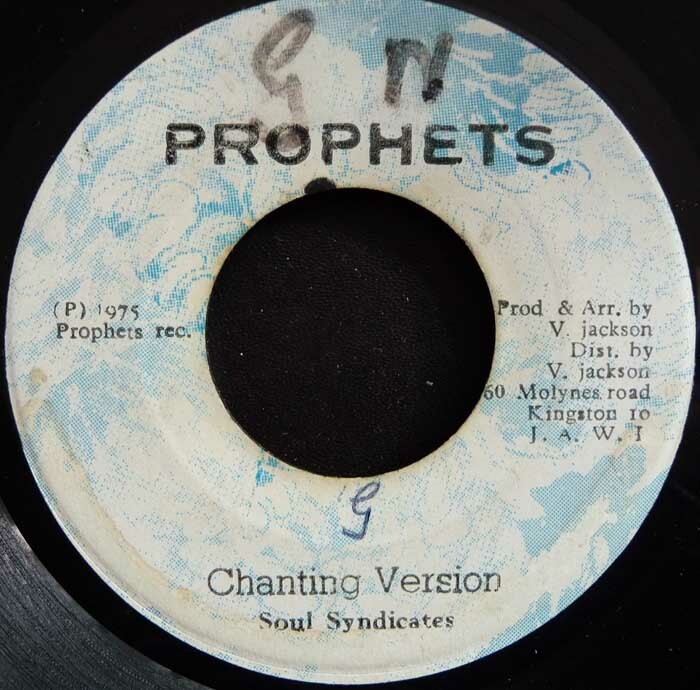 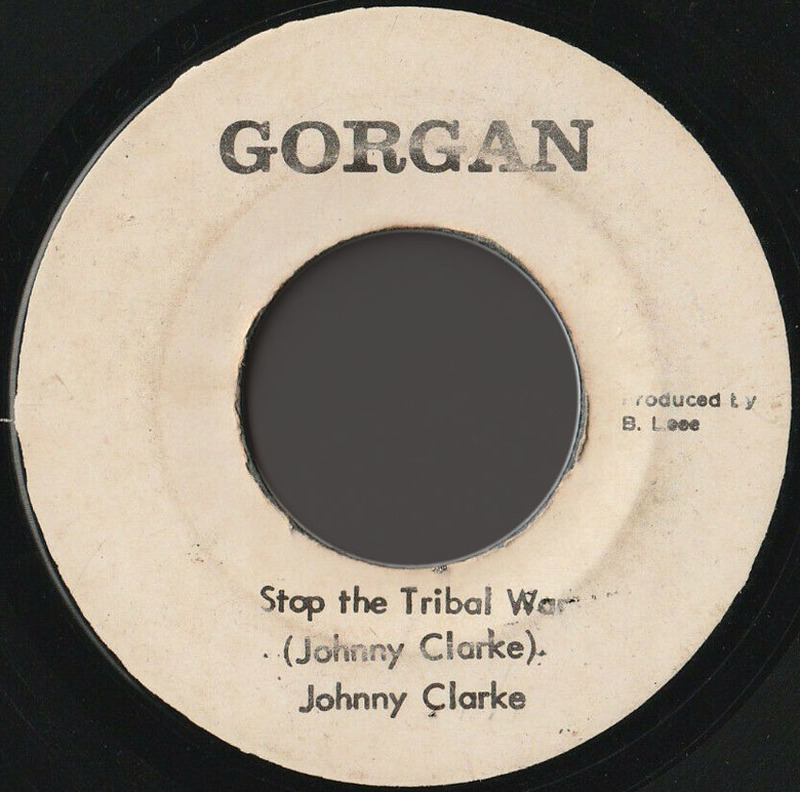 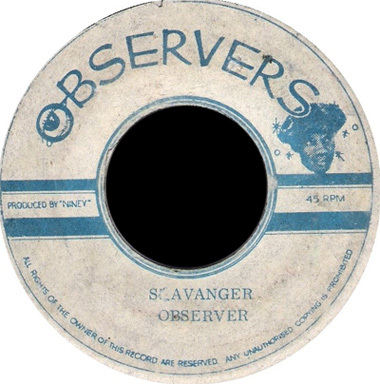 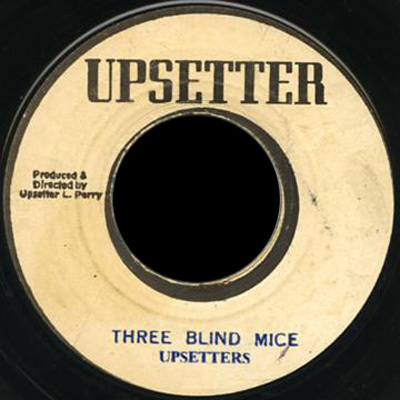 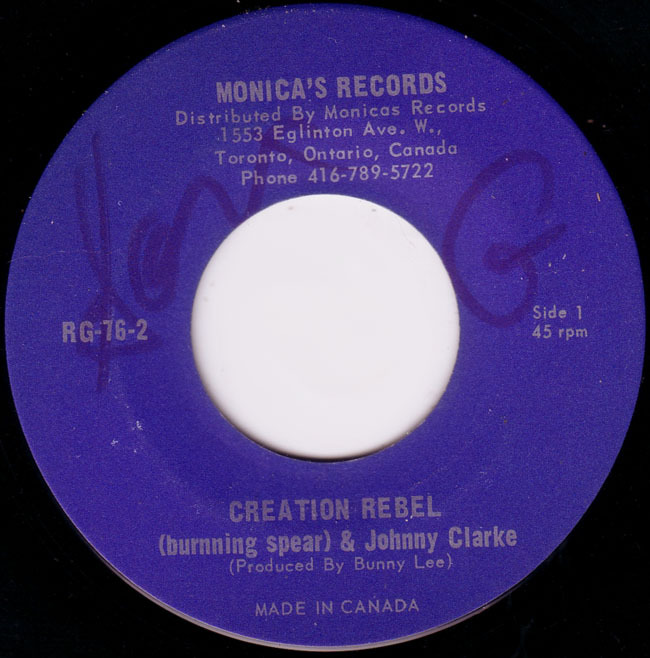 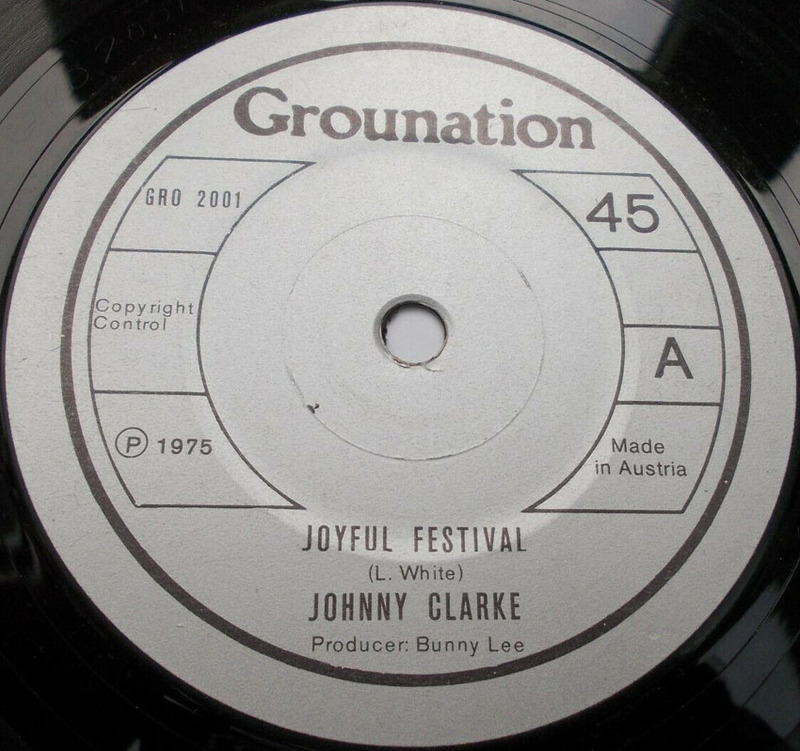 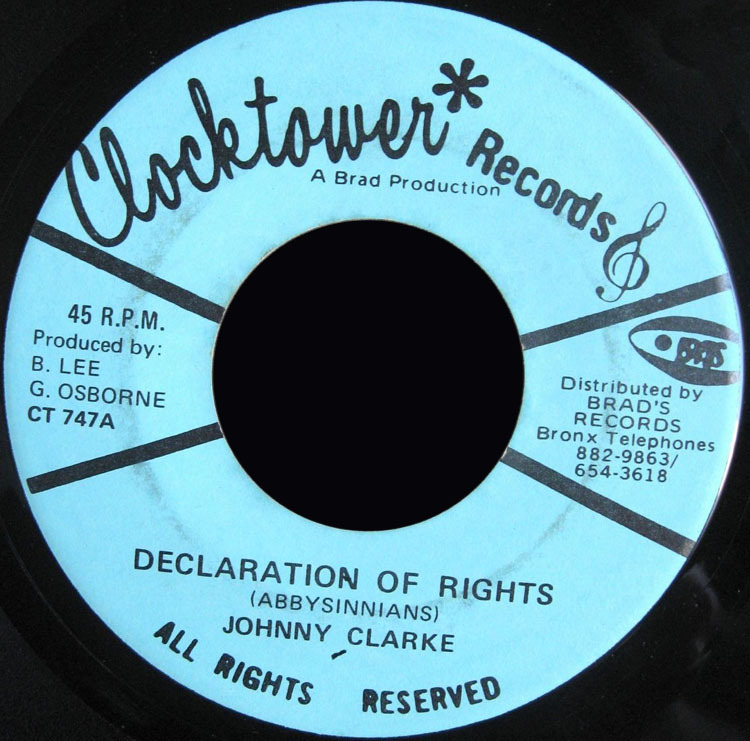 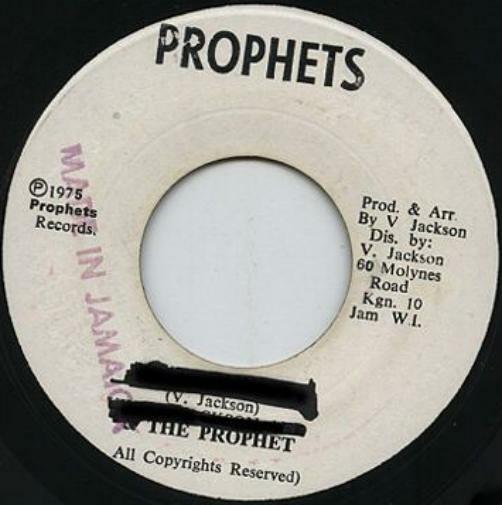 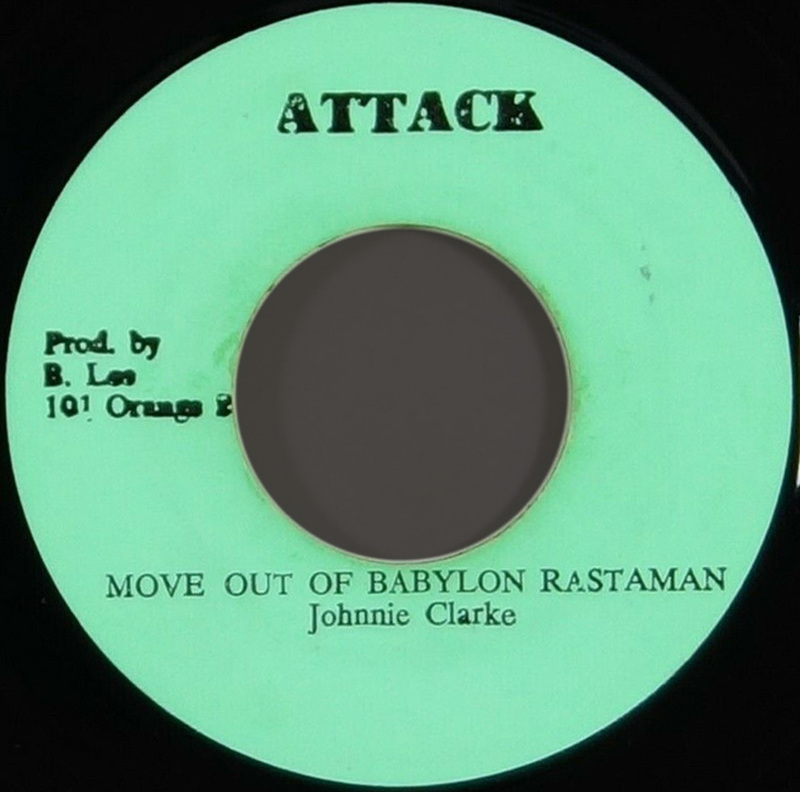 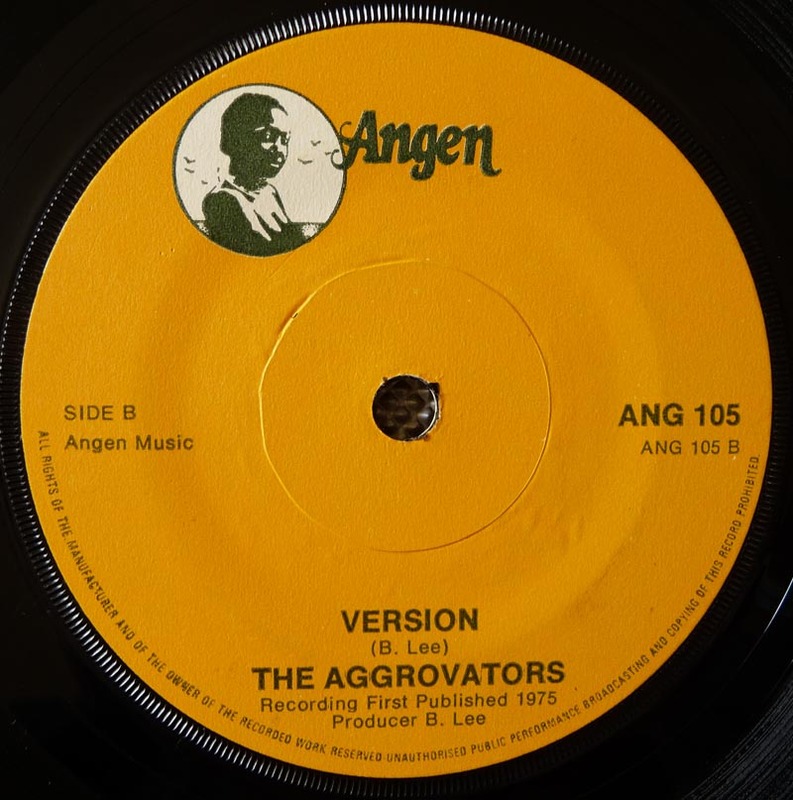 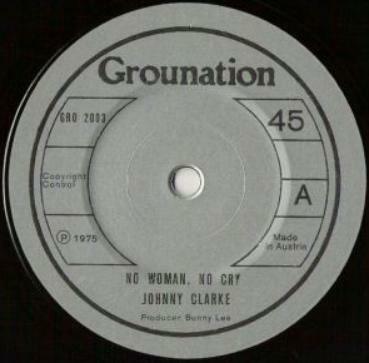 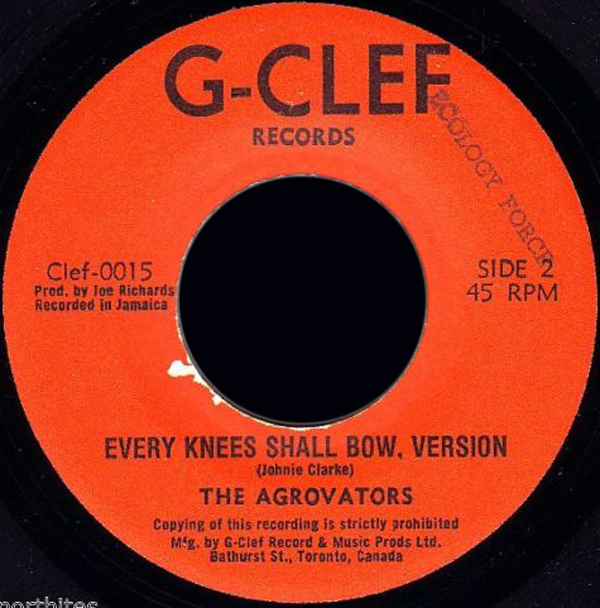 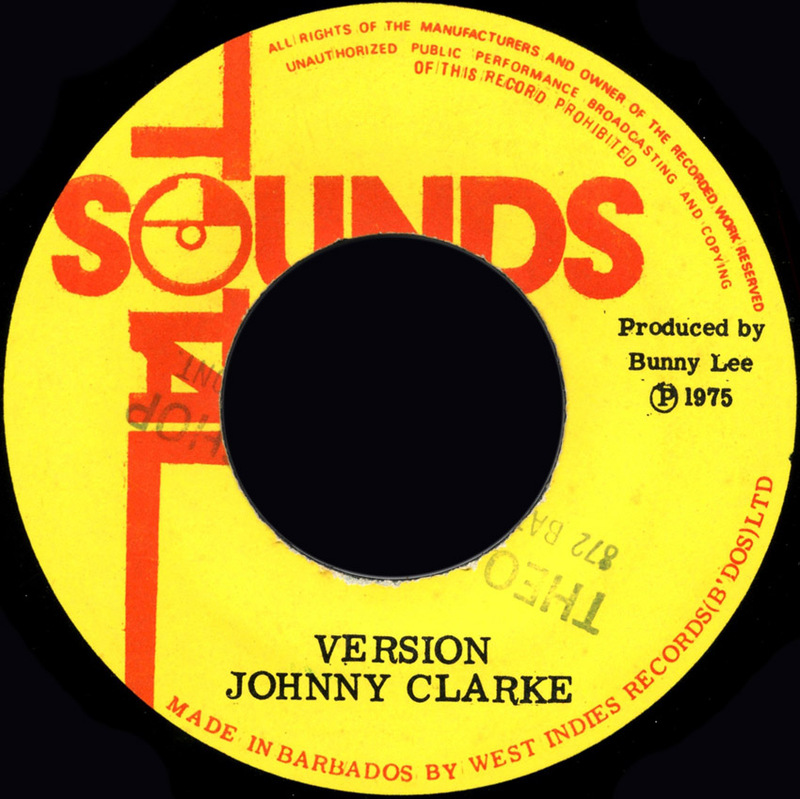 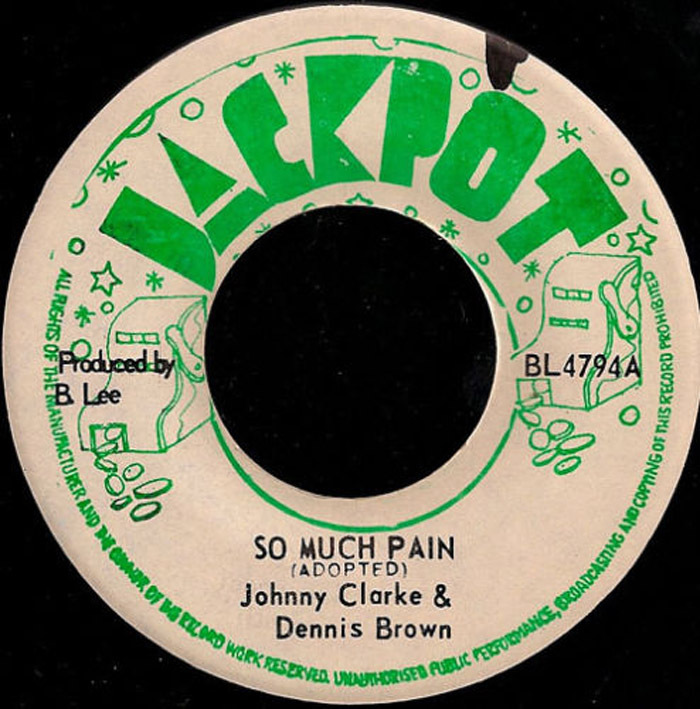 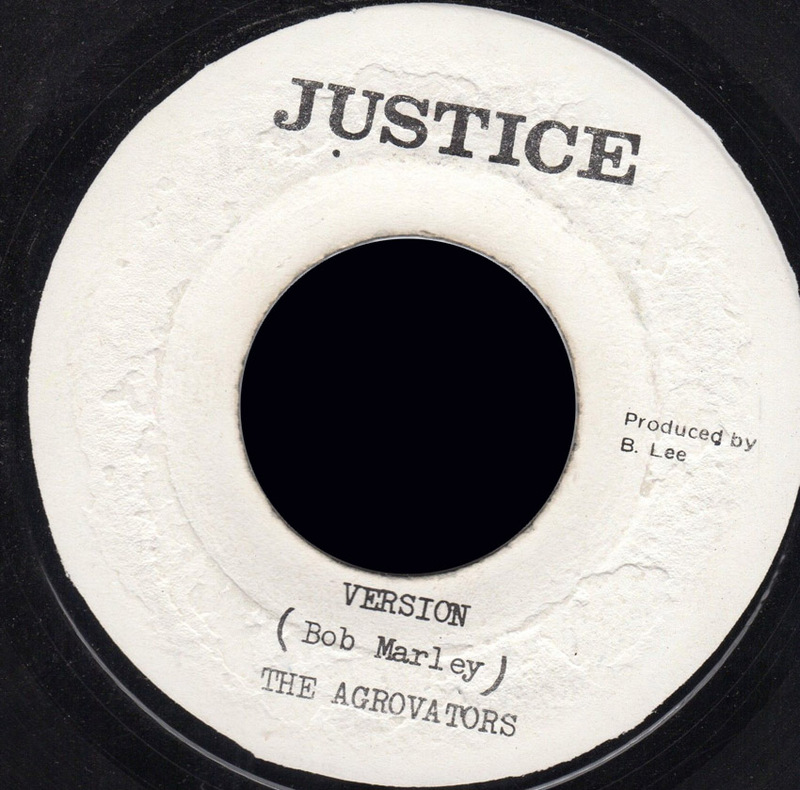 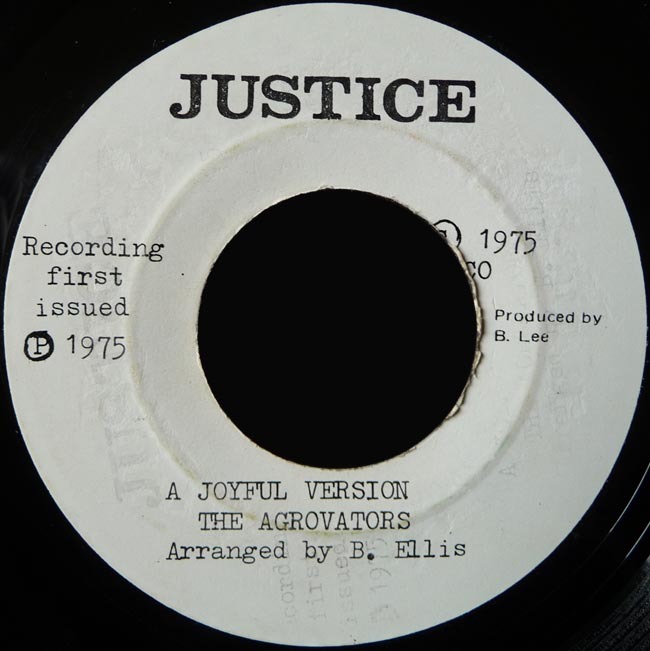 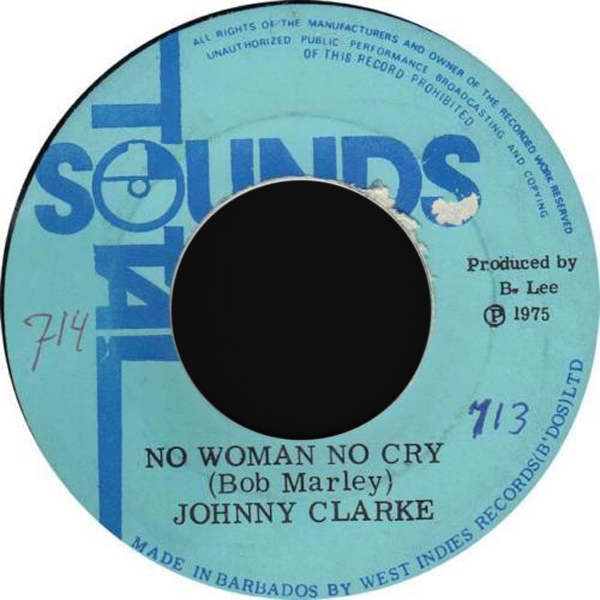 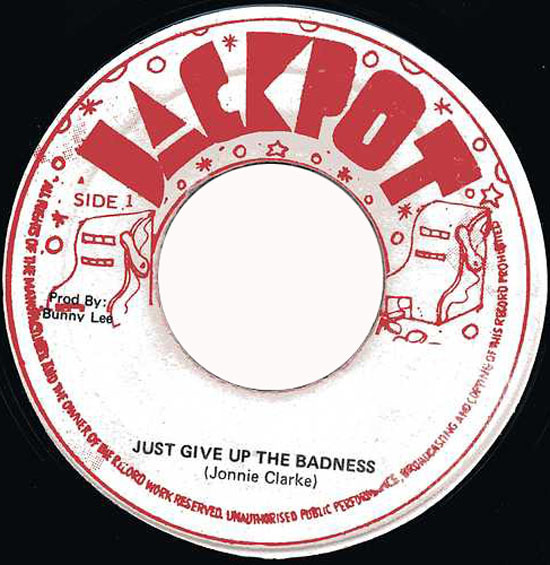 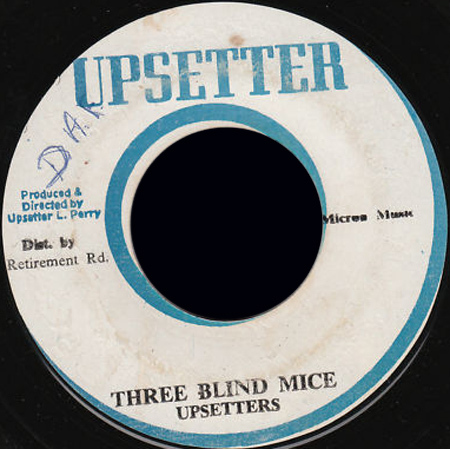 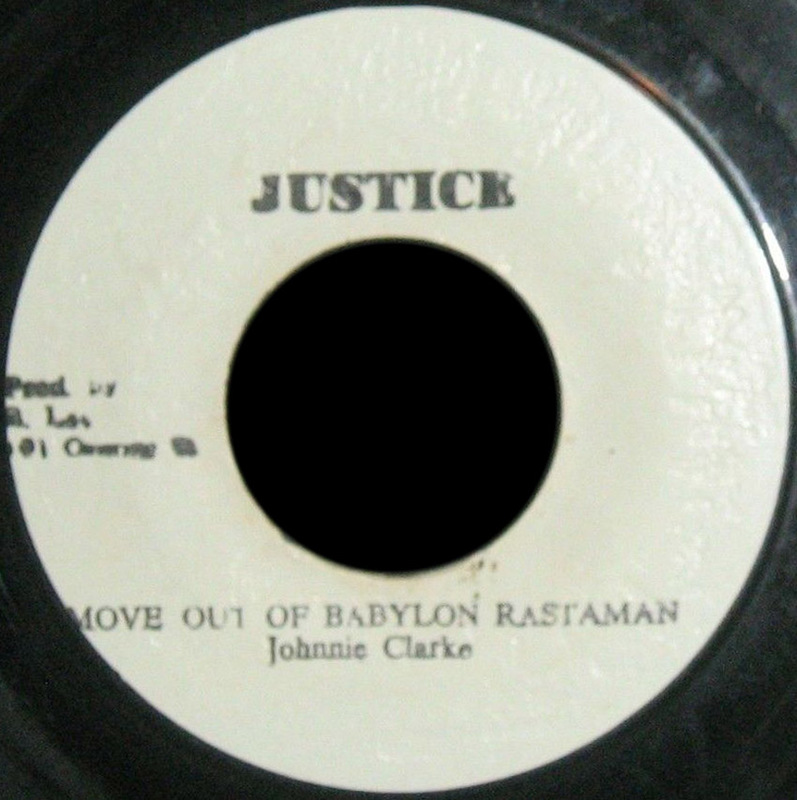 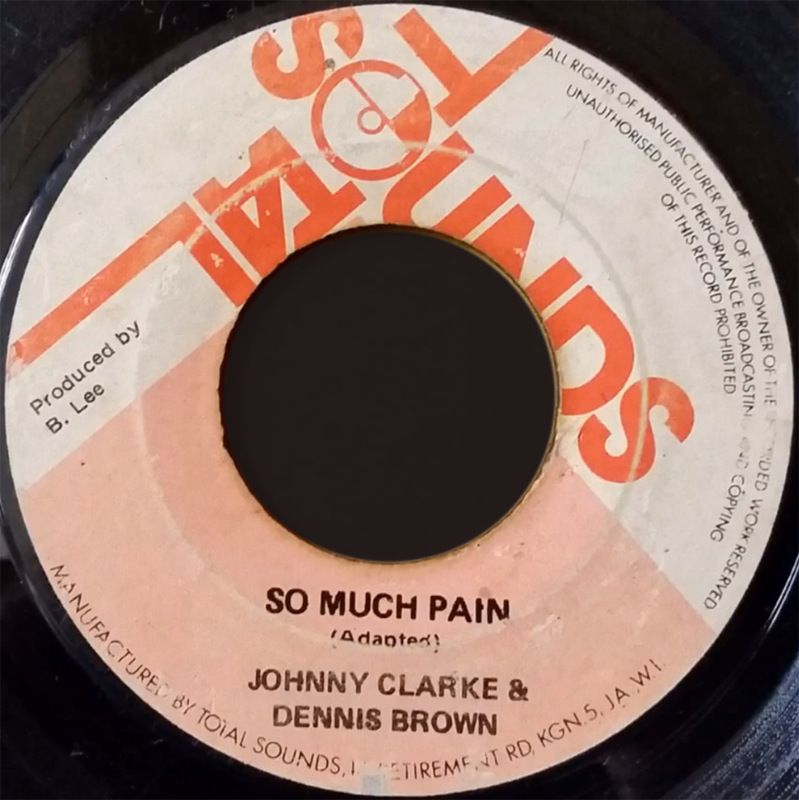 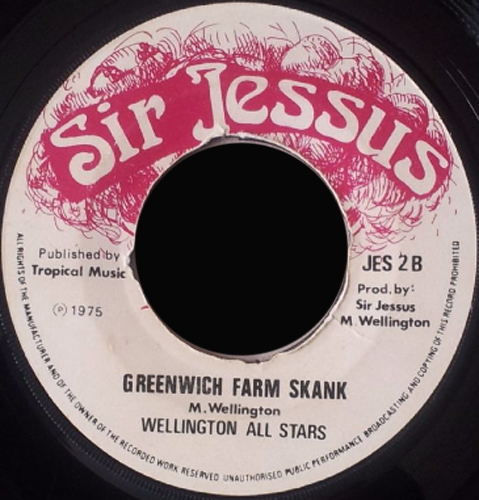 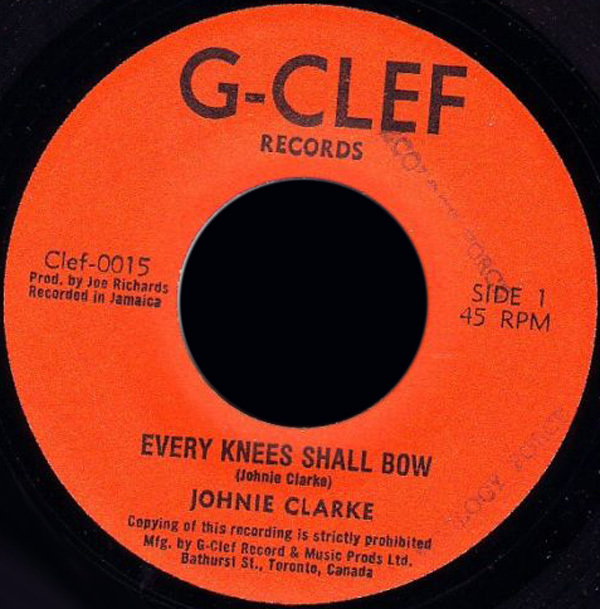 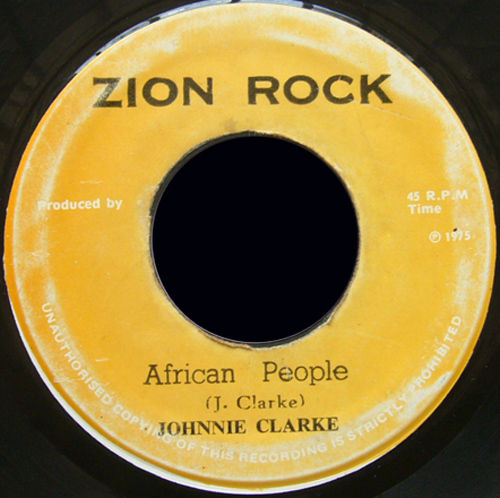 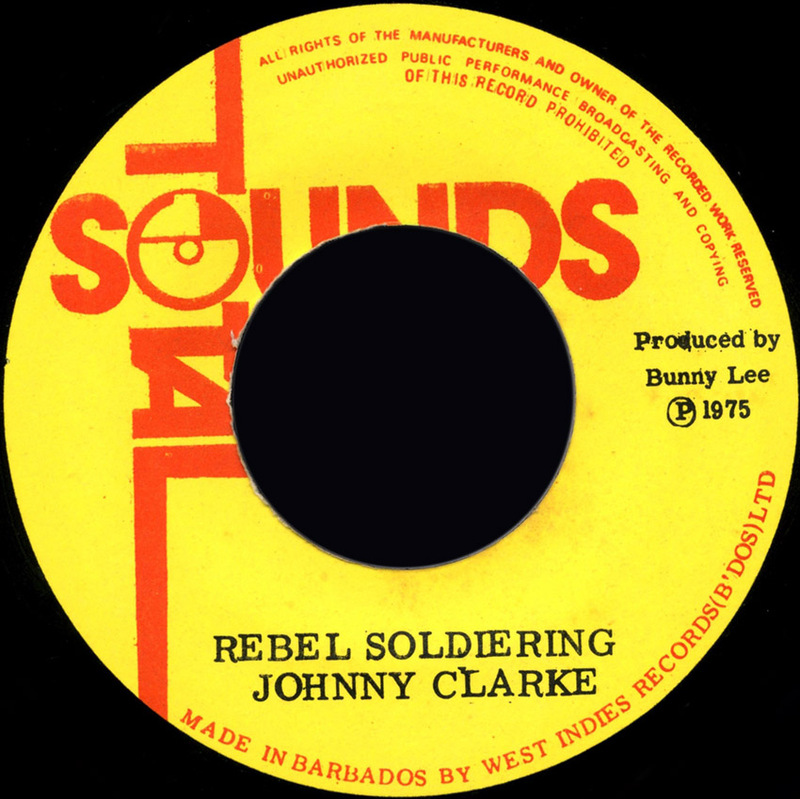 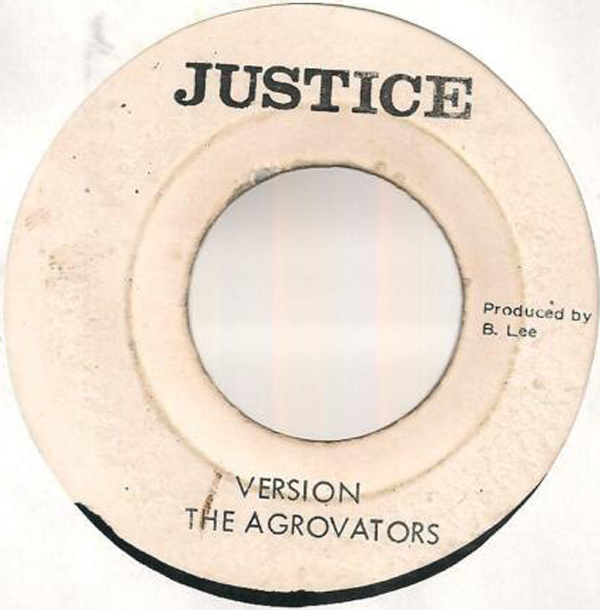 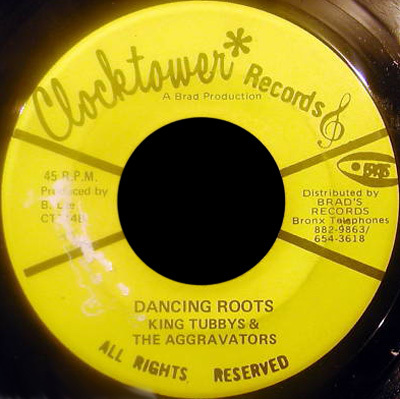 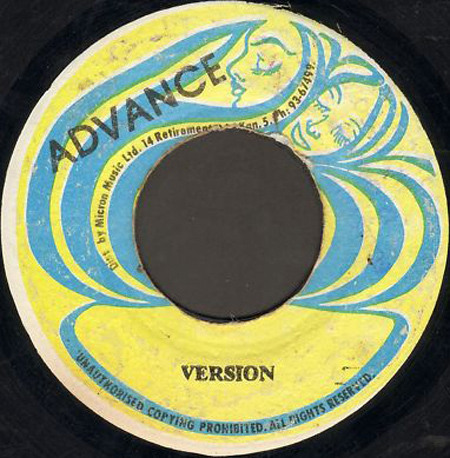 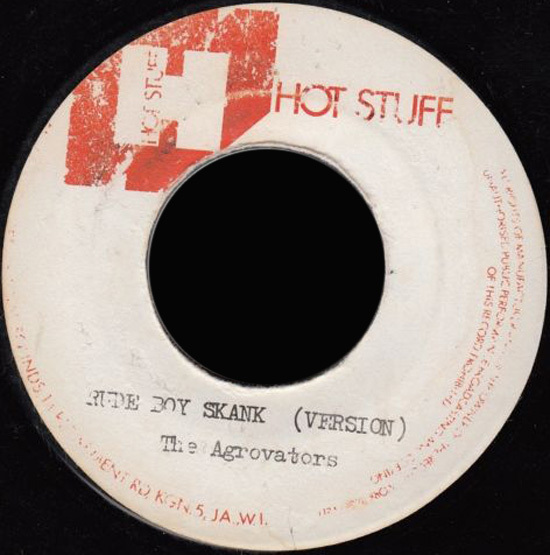 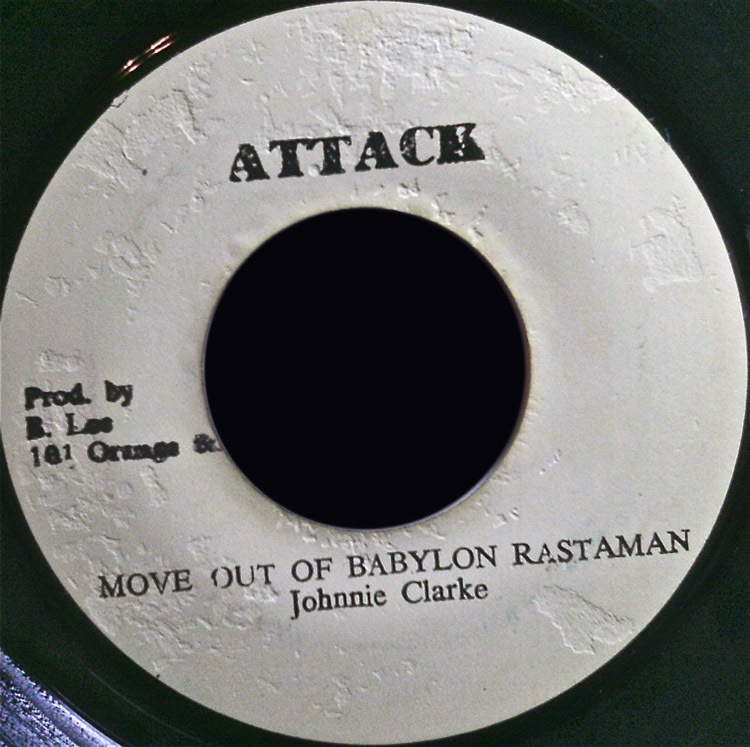 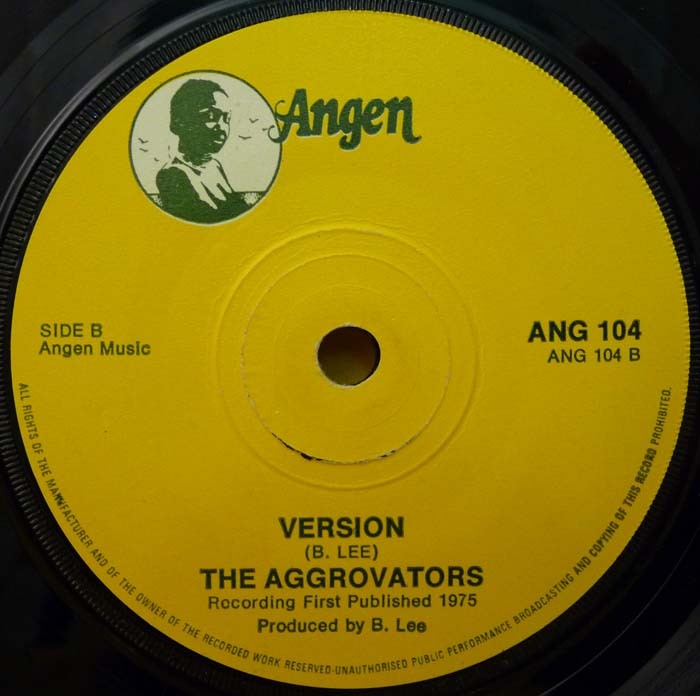 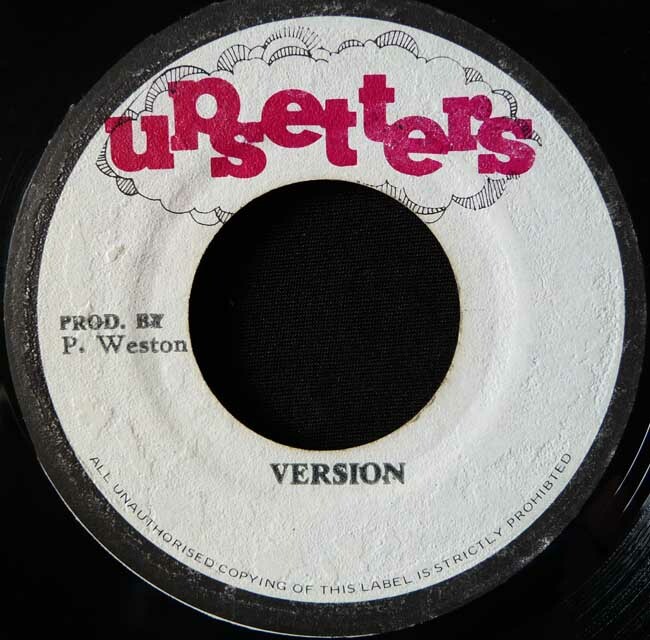 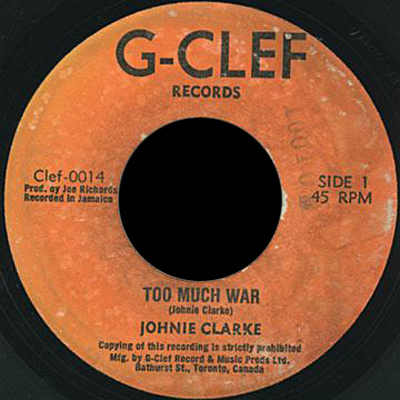 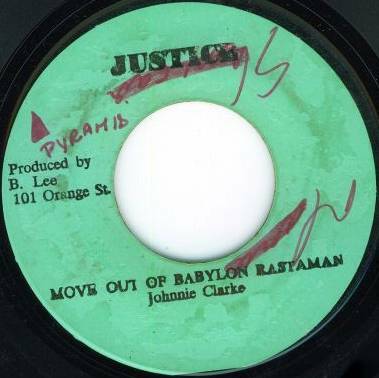 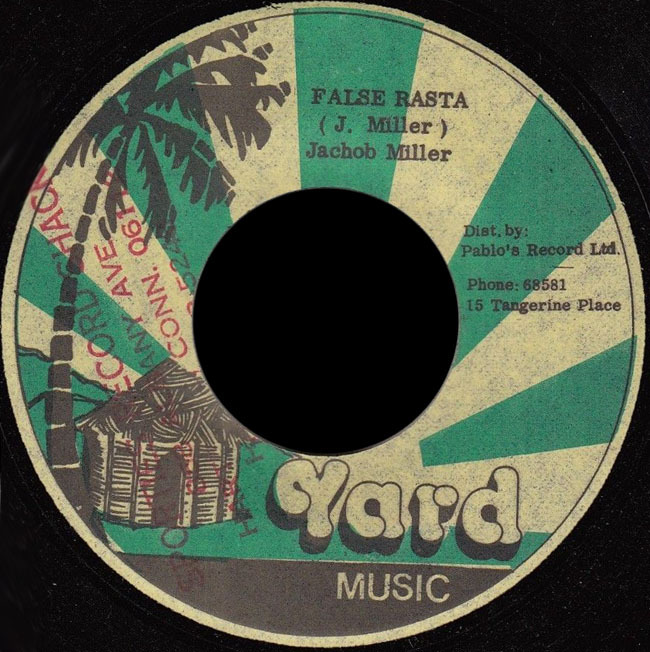 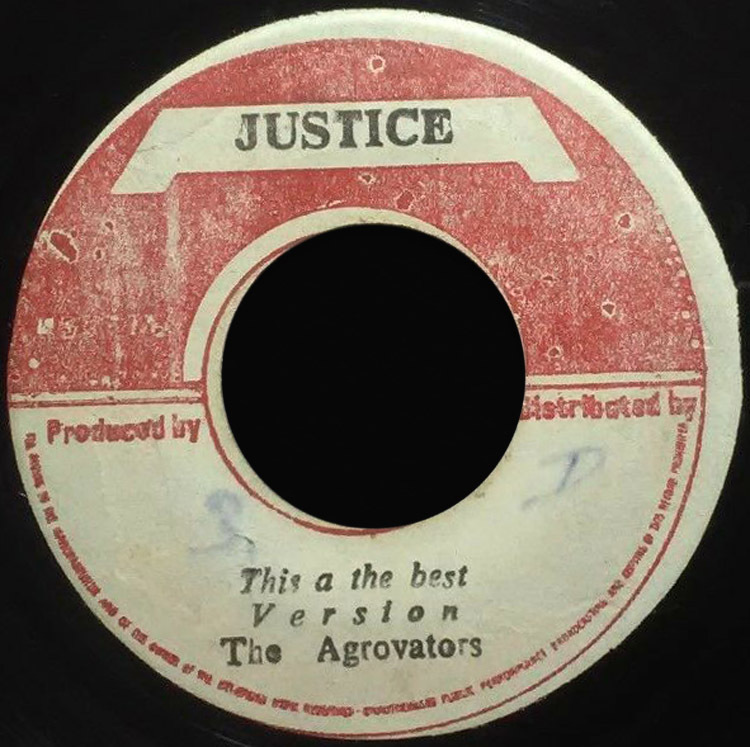 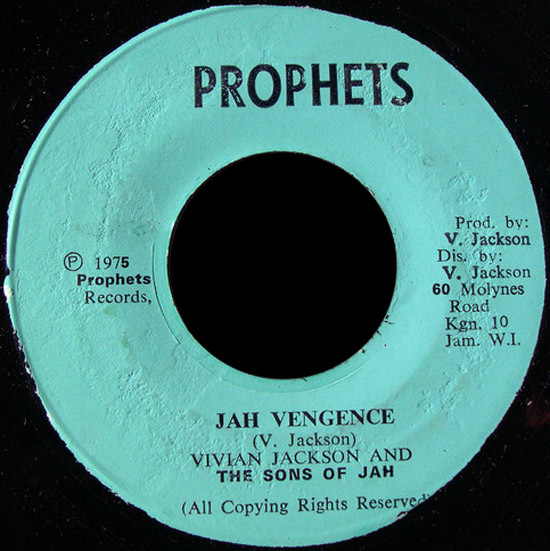 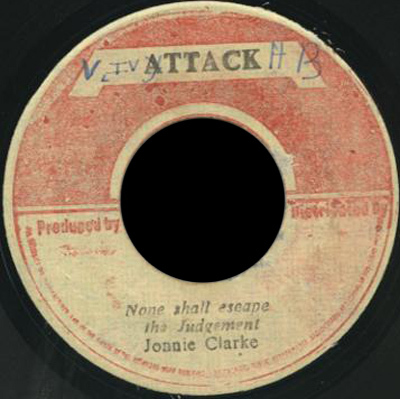 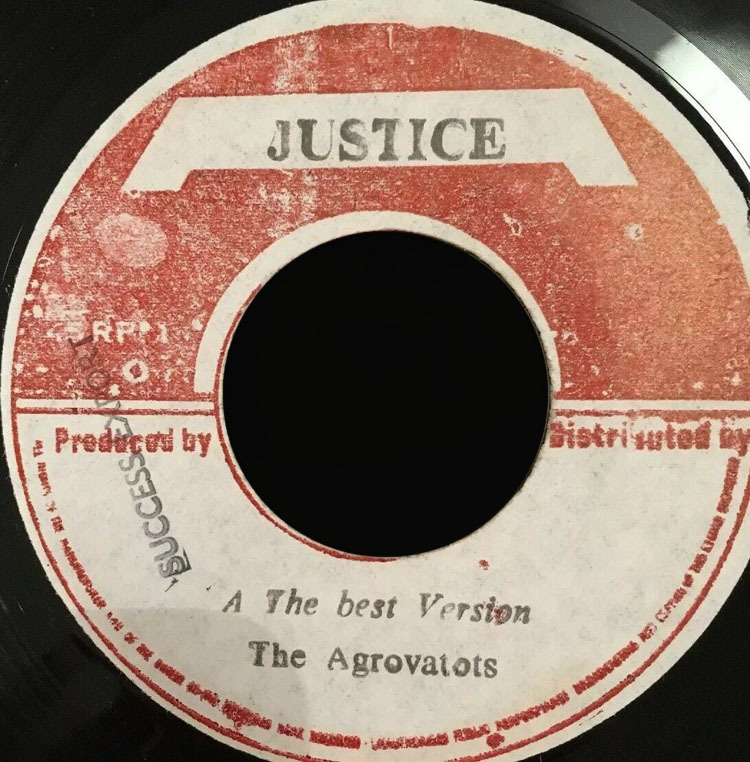 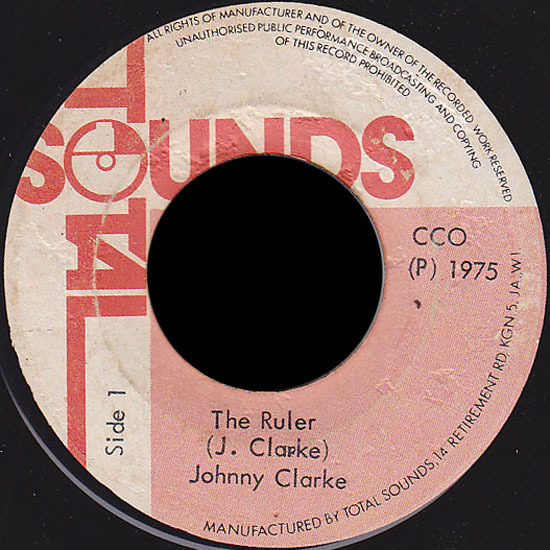 1975 7" None Shall Escape The Judgement Johnnie Clarke This Is The Best Aggrovators JA. 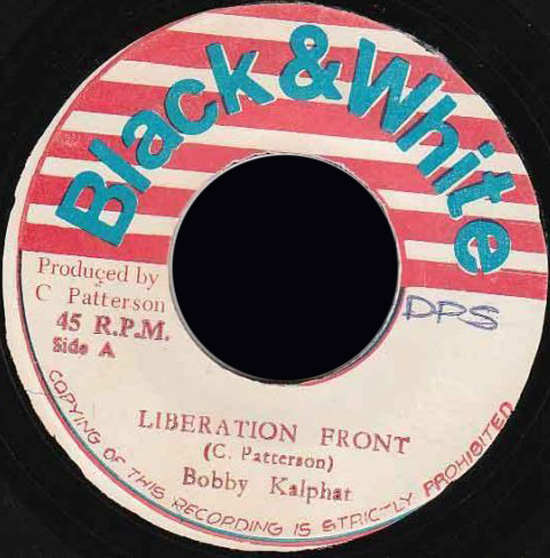 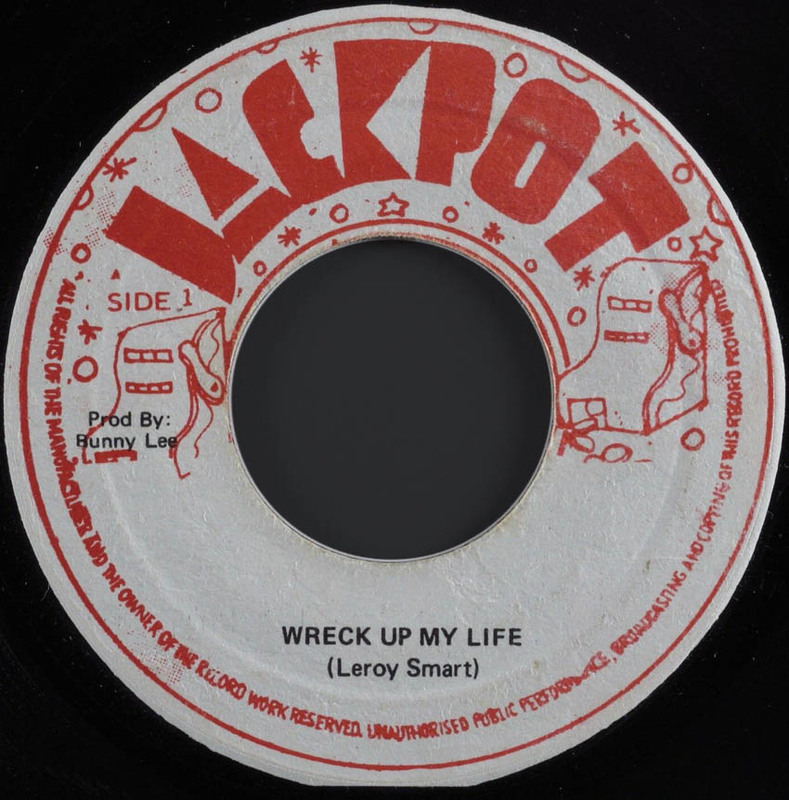 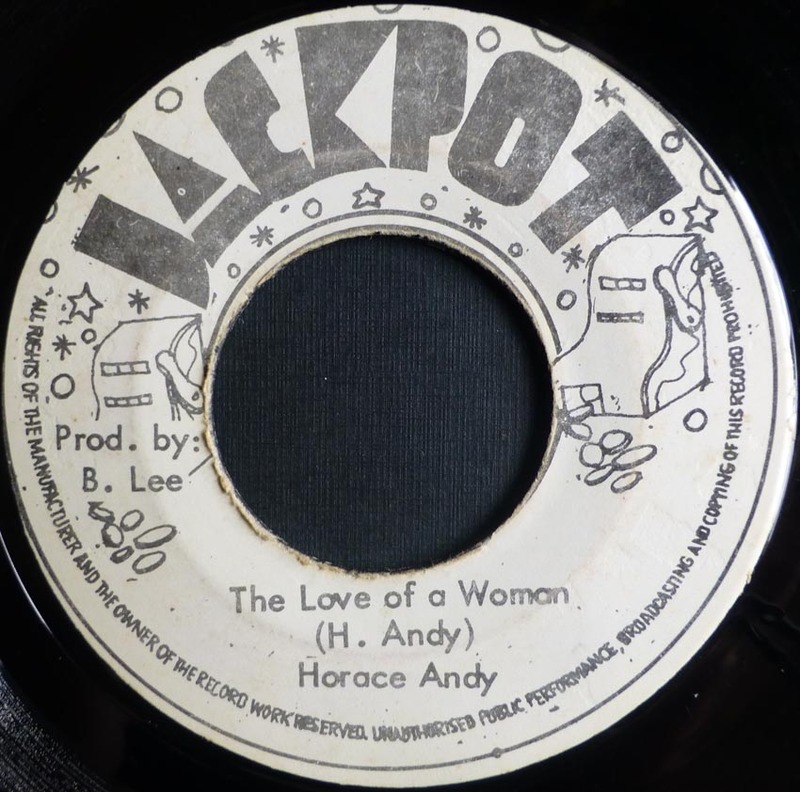 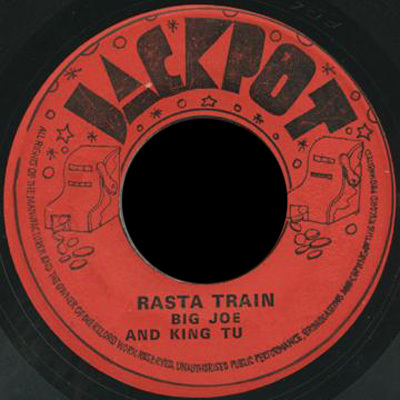 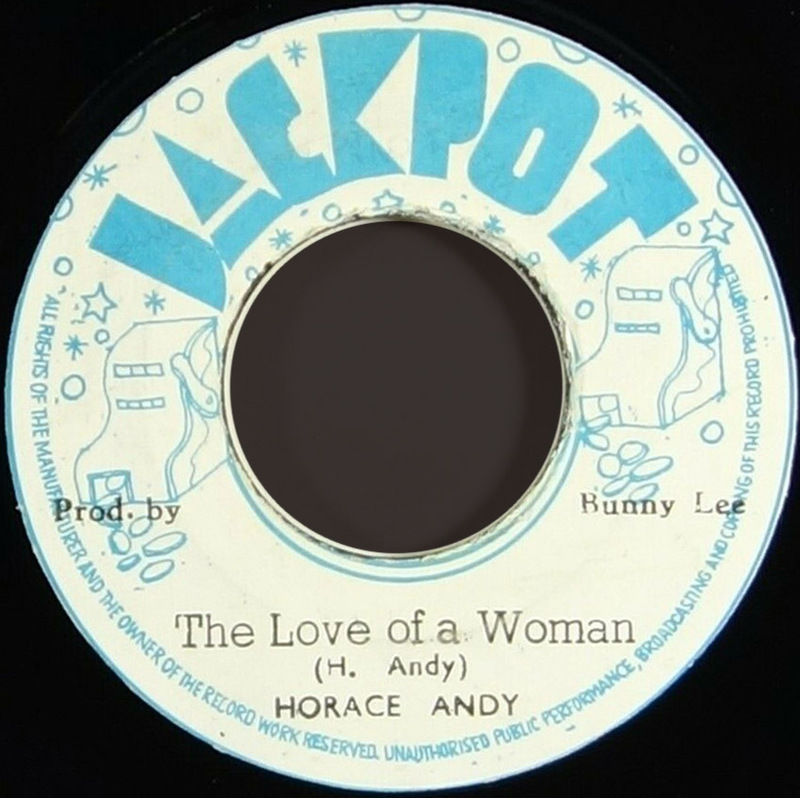 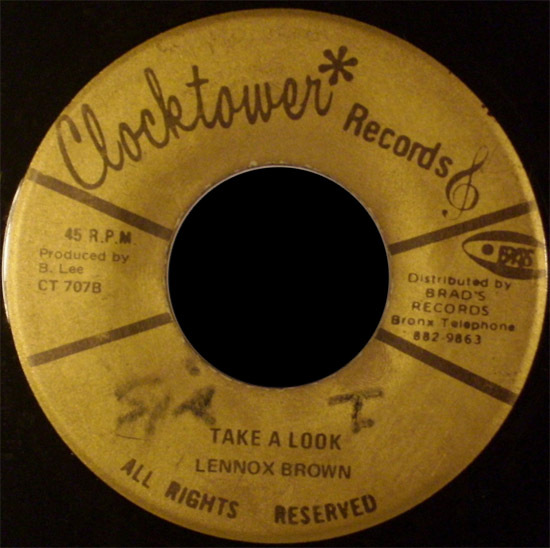 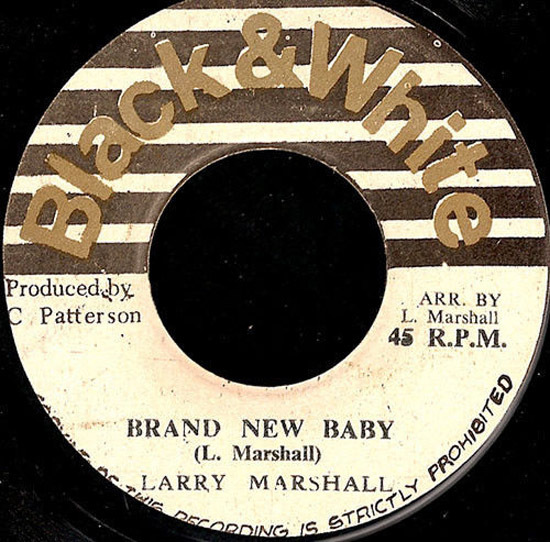 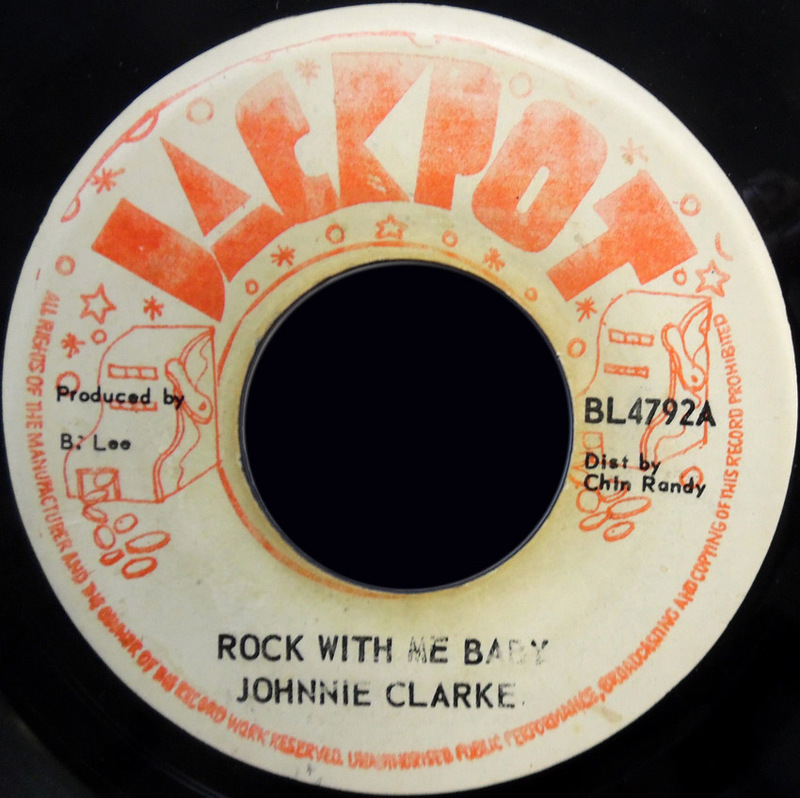 Jackpot BL4776 Bunny Lee Pr. 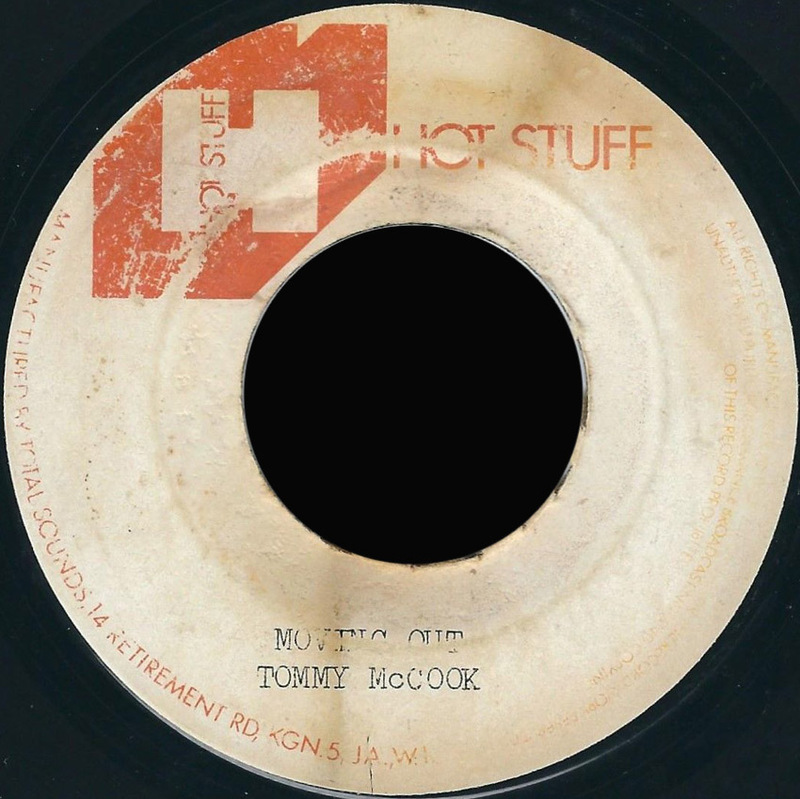 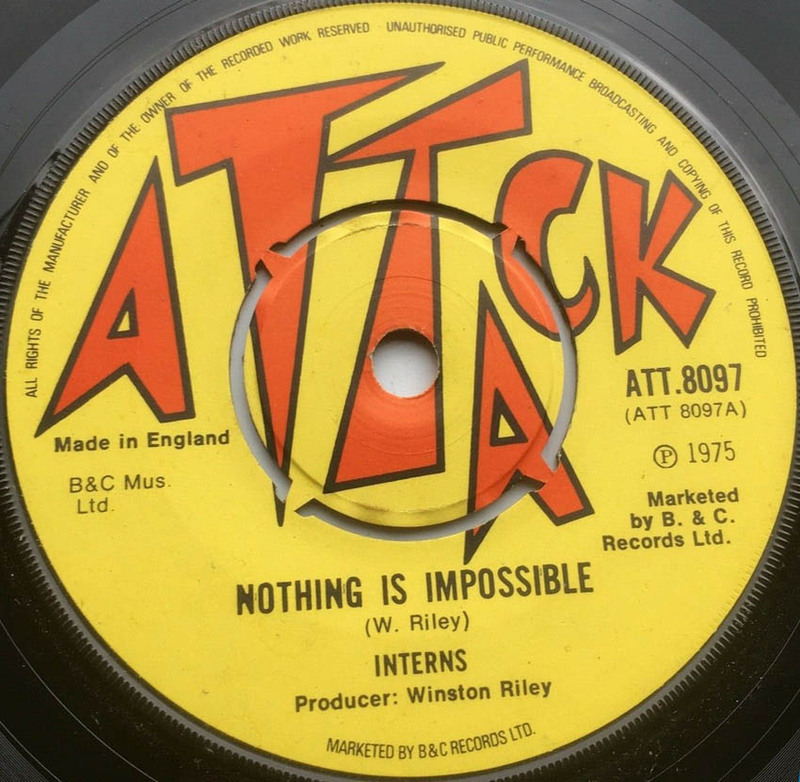 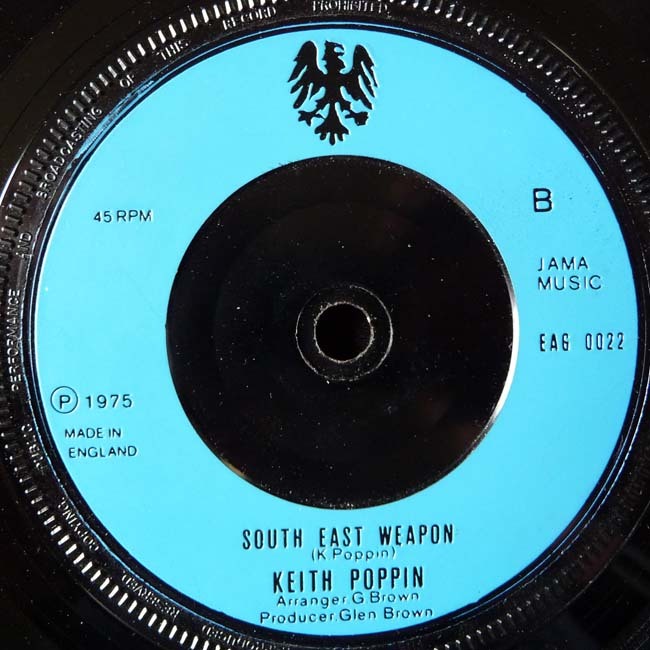 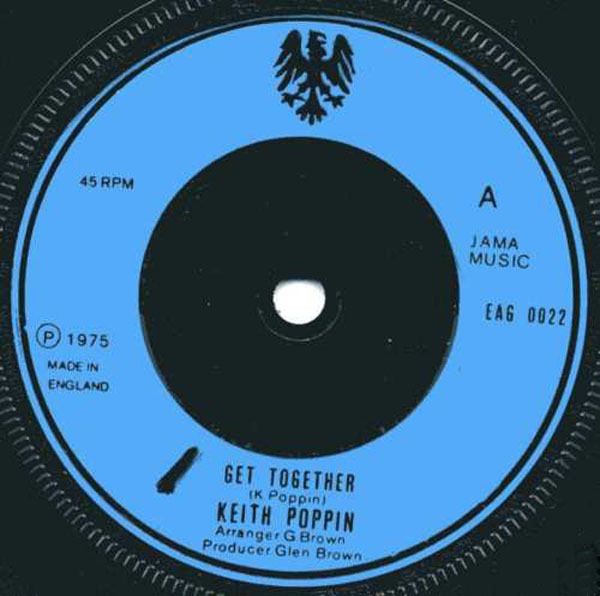 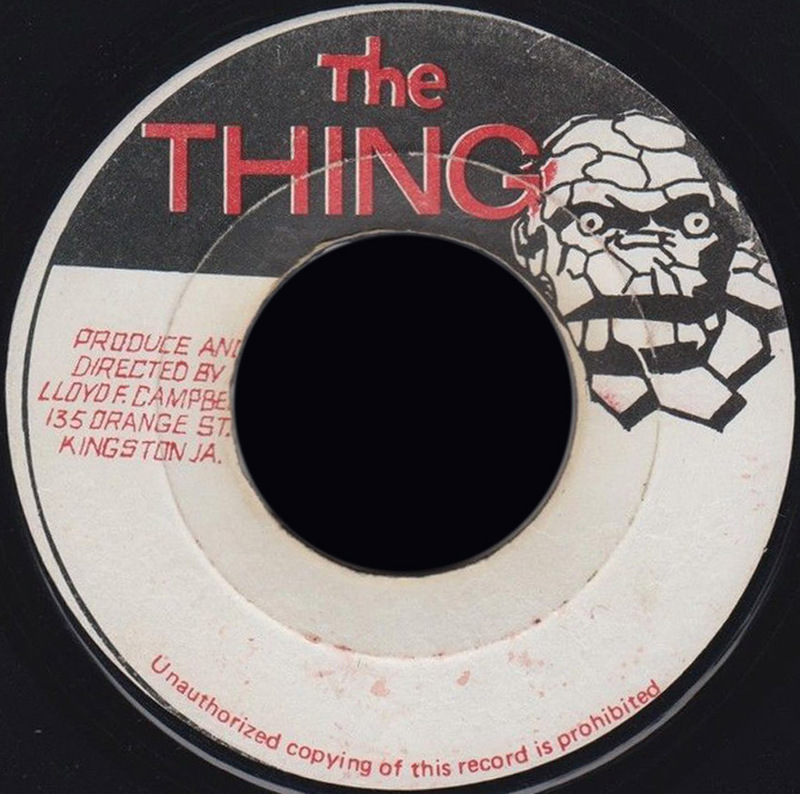 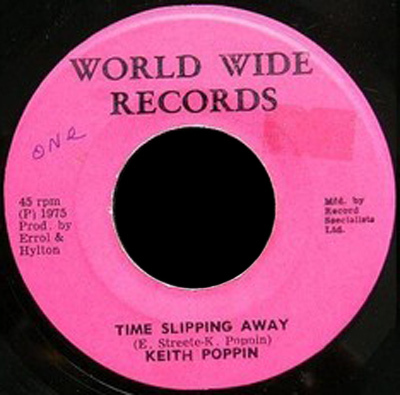 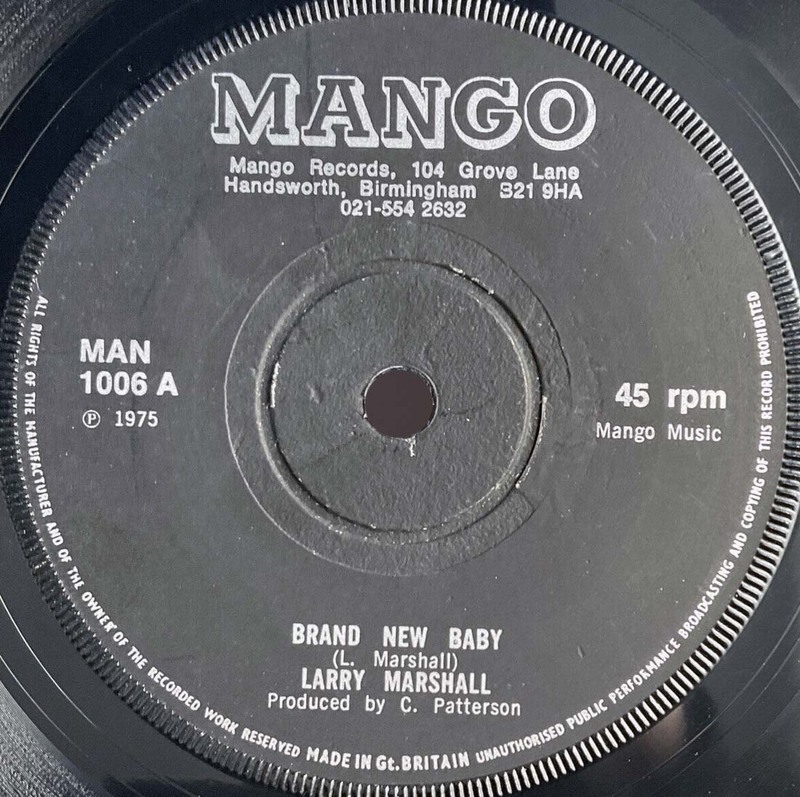 1975 7" Nothing Is Impossible Interns Version UK. 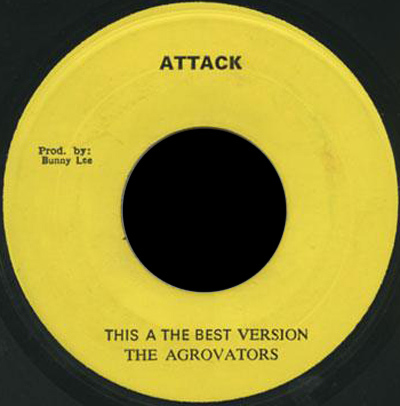 Attack ATT 8097 Bunny Lee Pr. 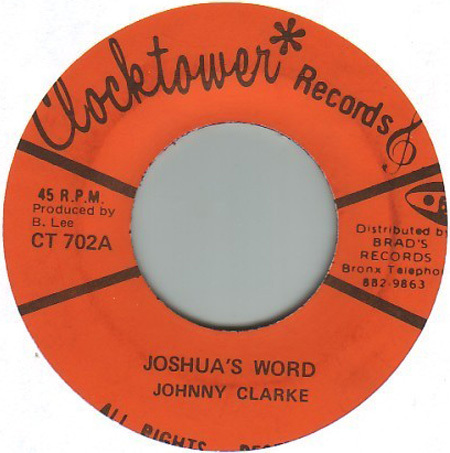 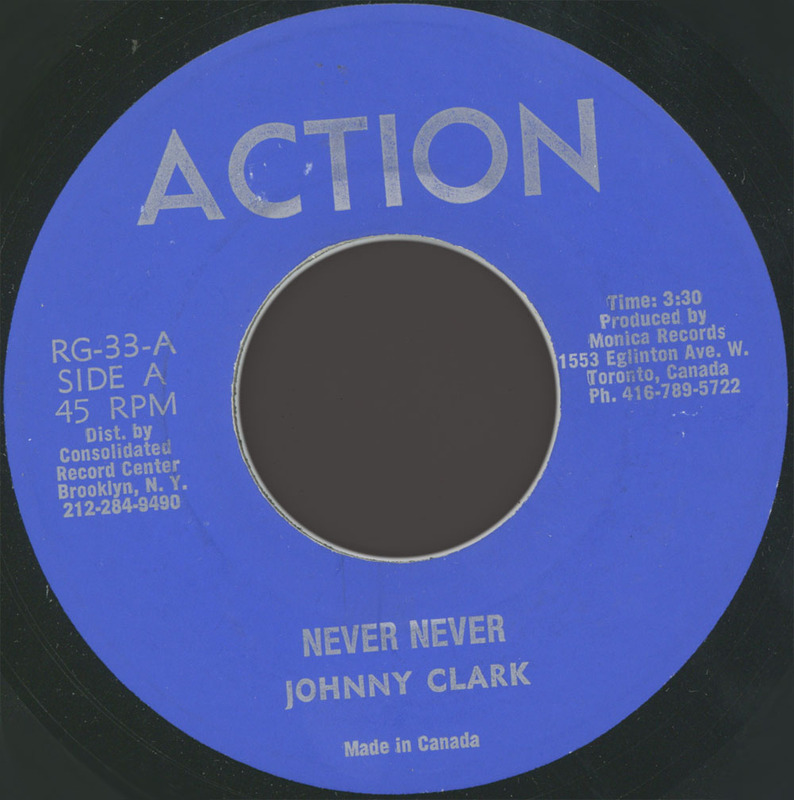 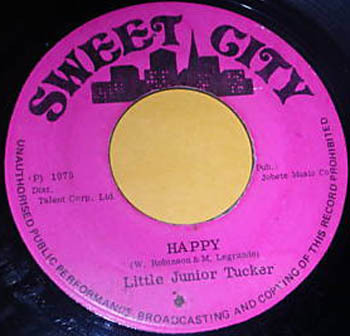 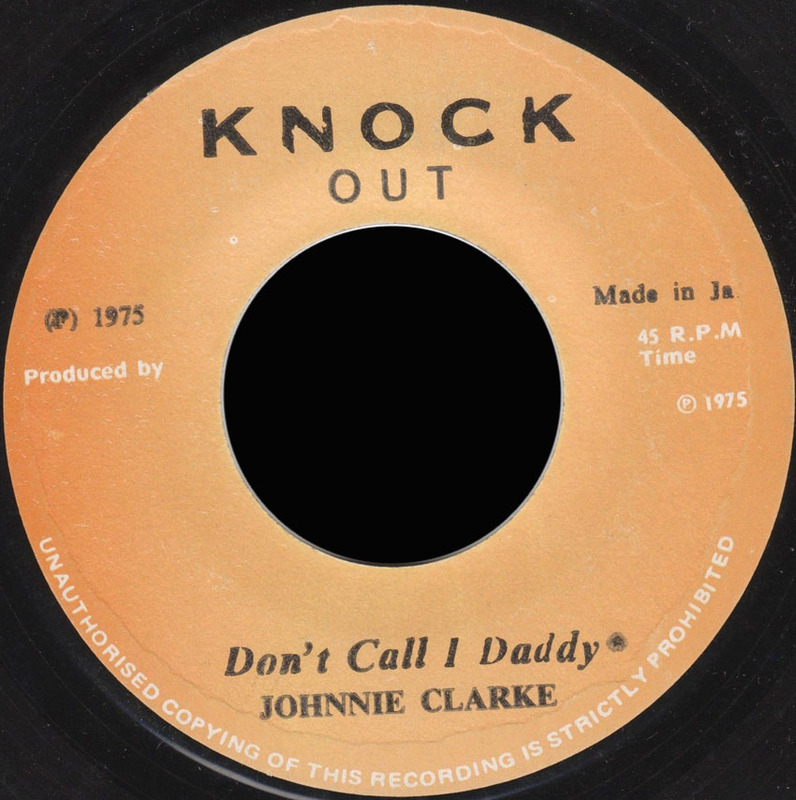 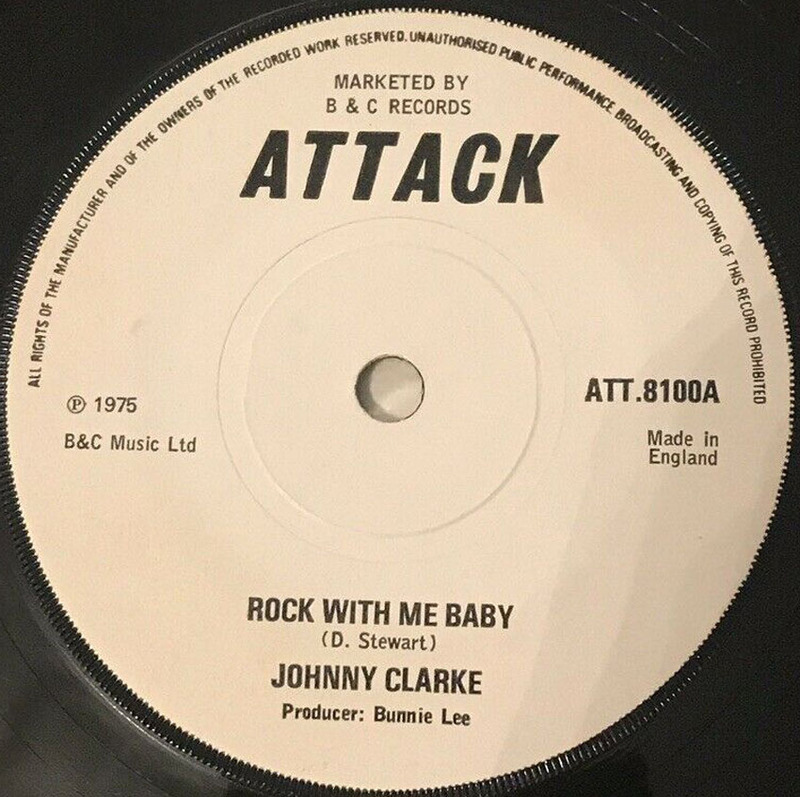 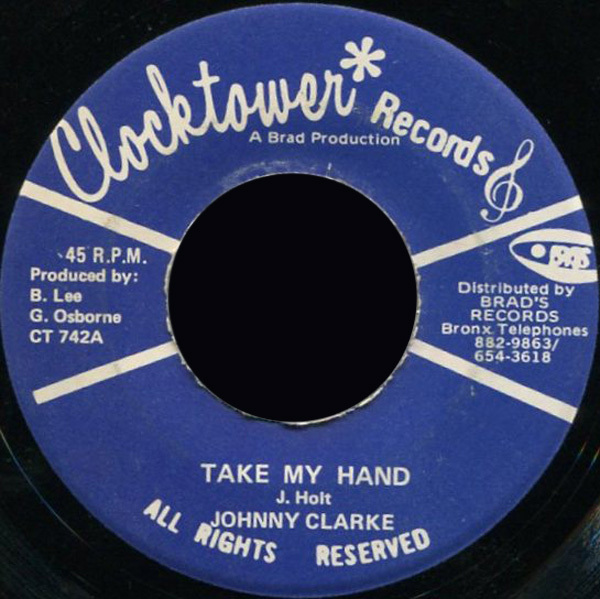 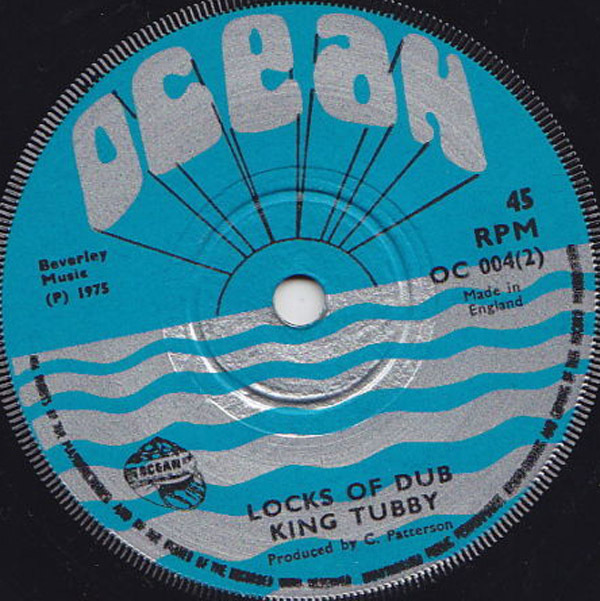 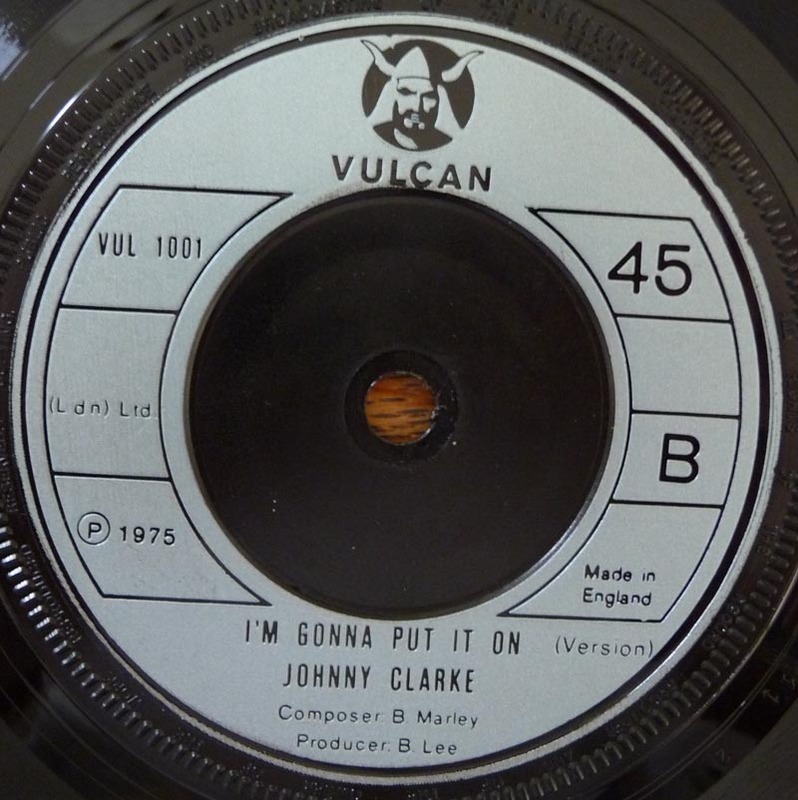 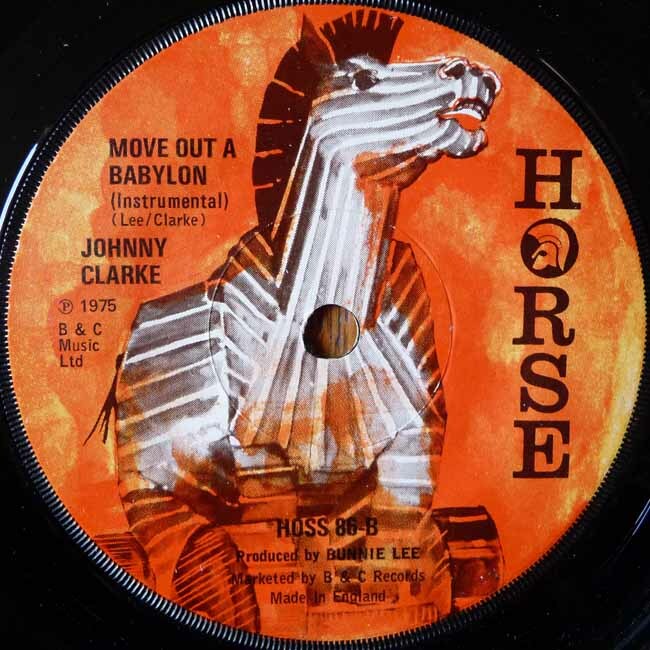 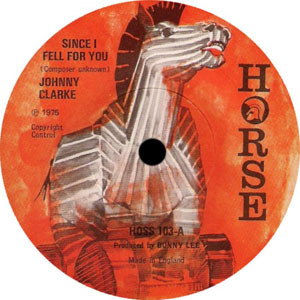 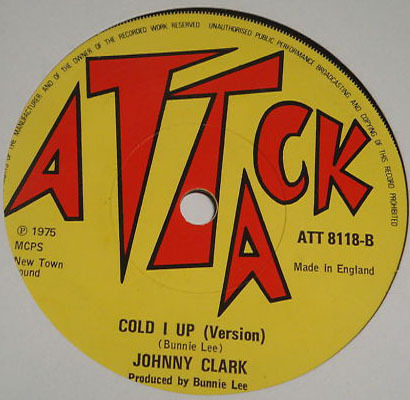 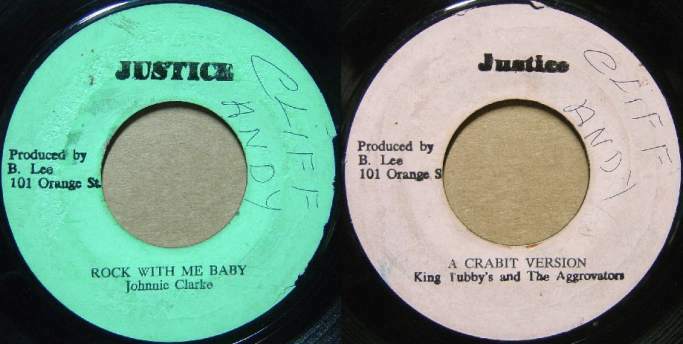 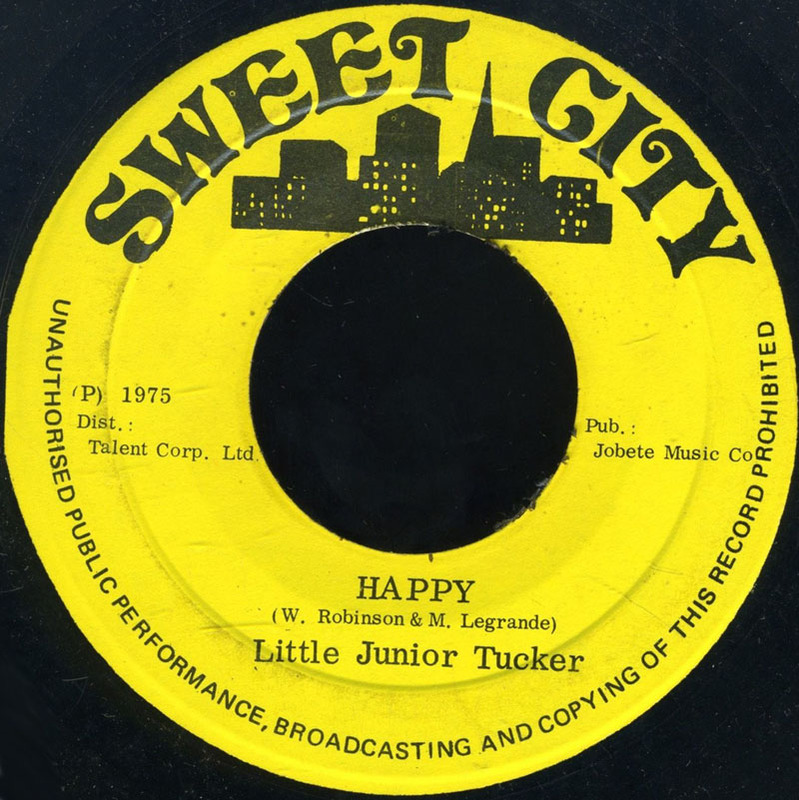 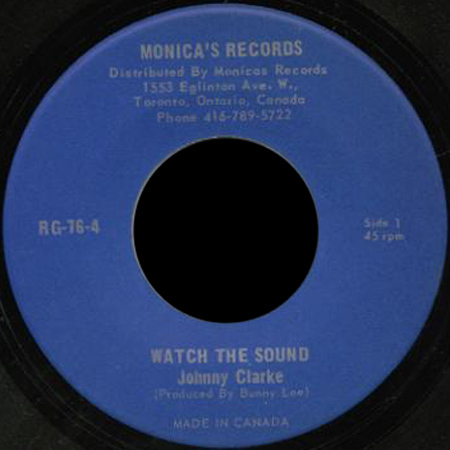 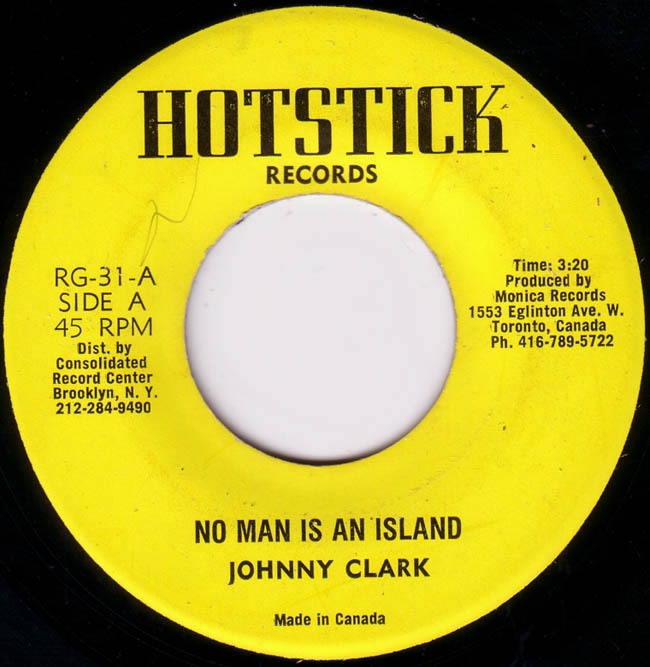 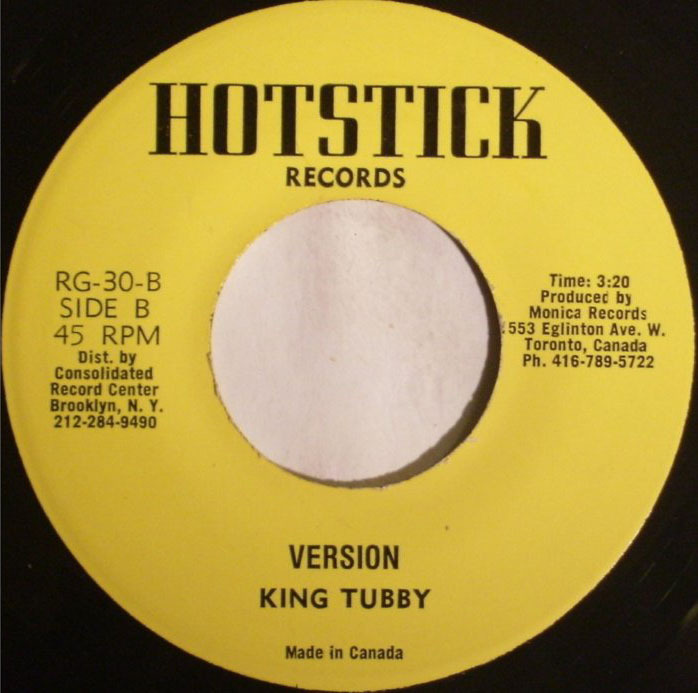 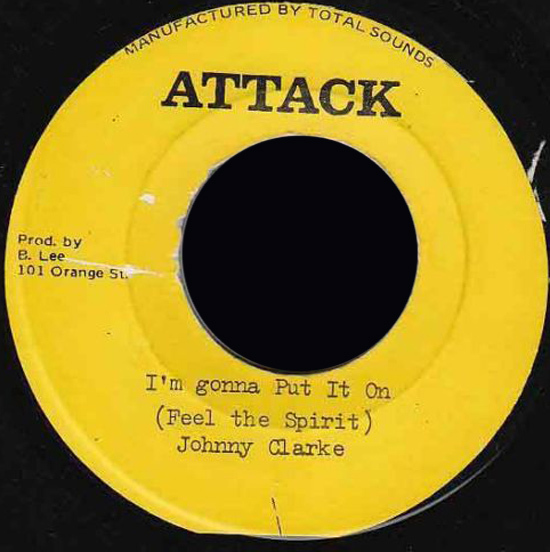 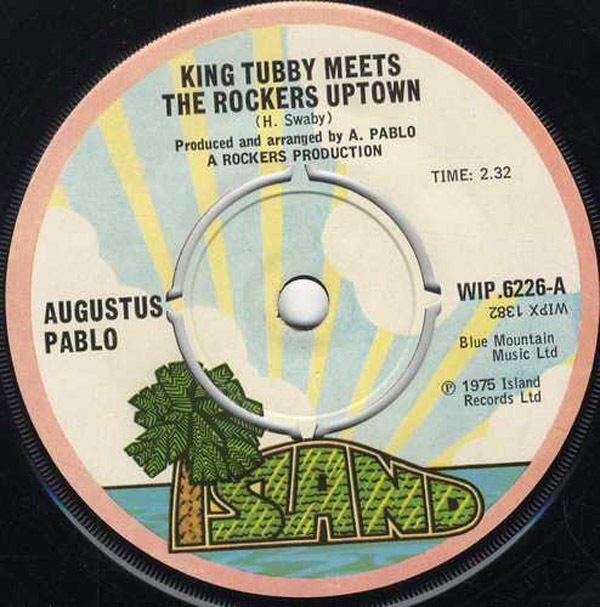 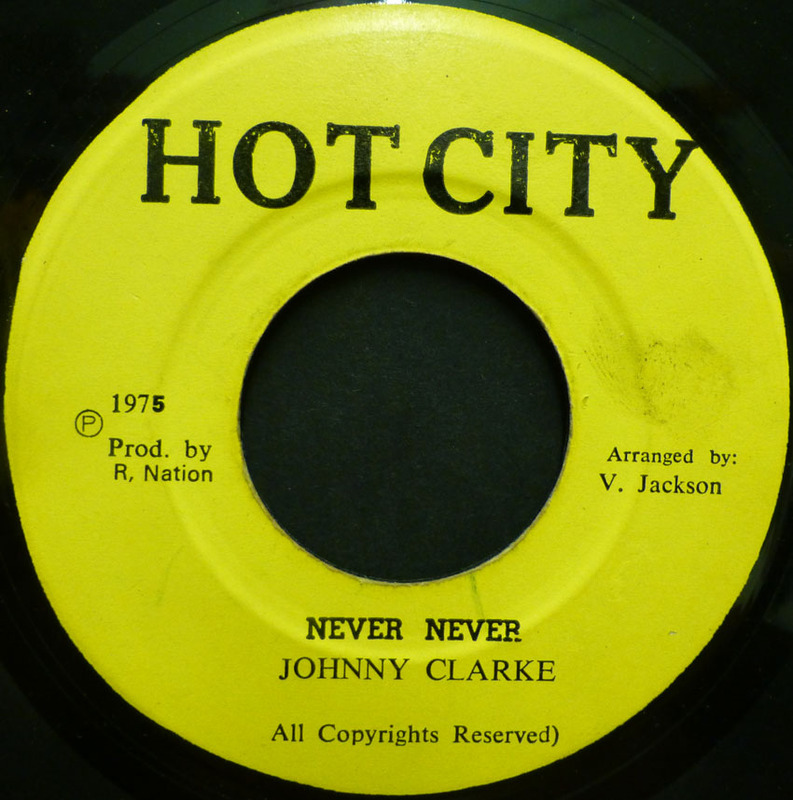 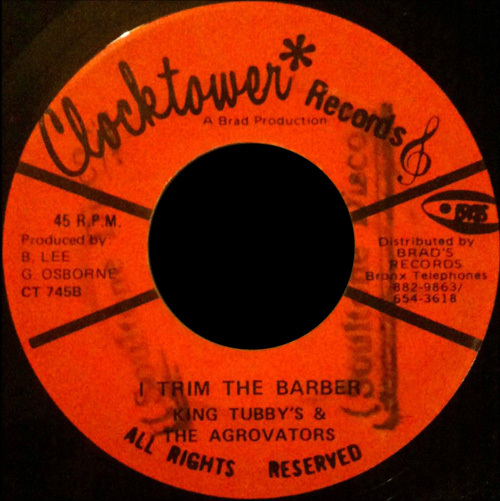 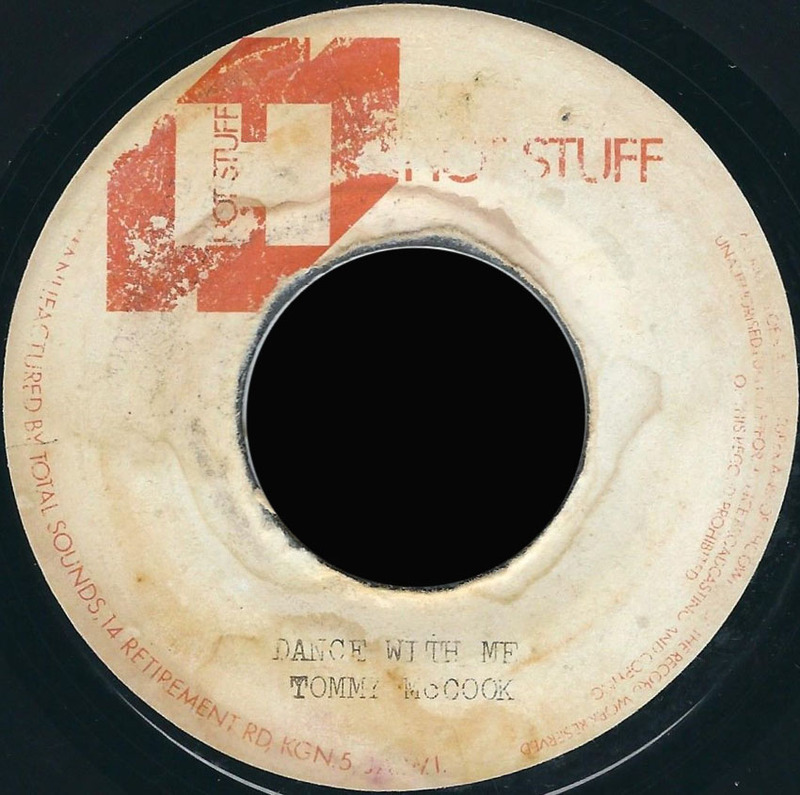 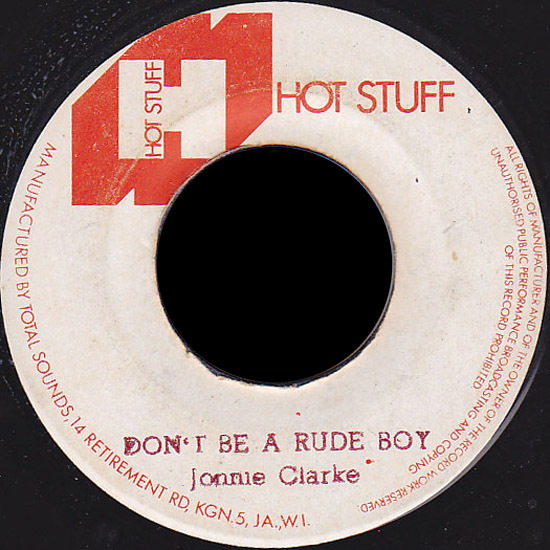 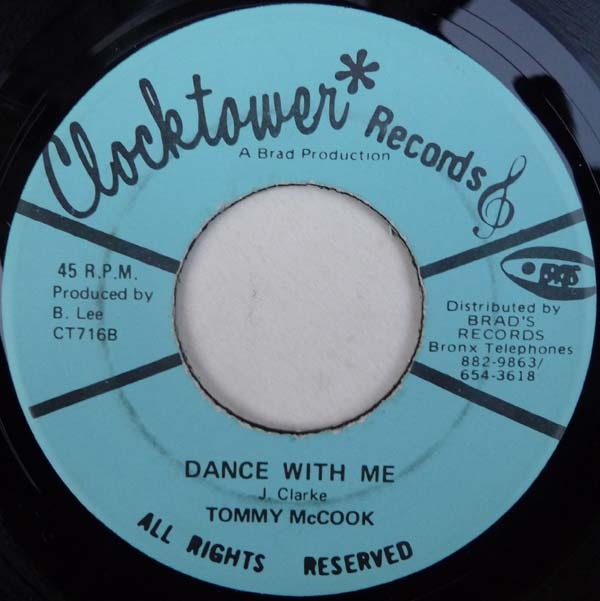 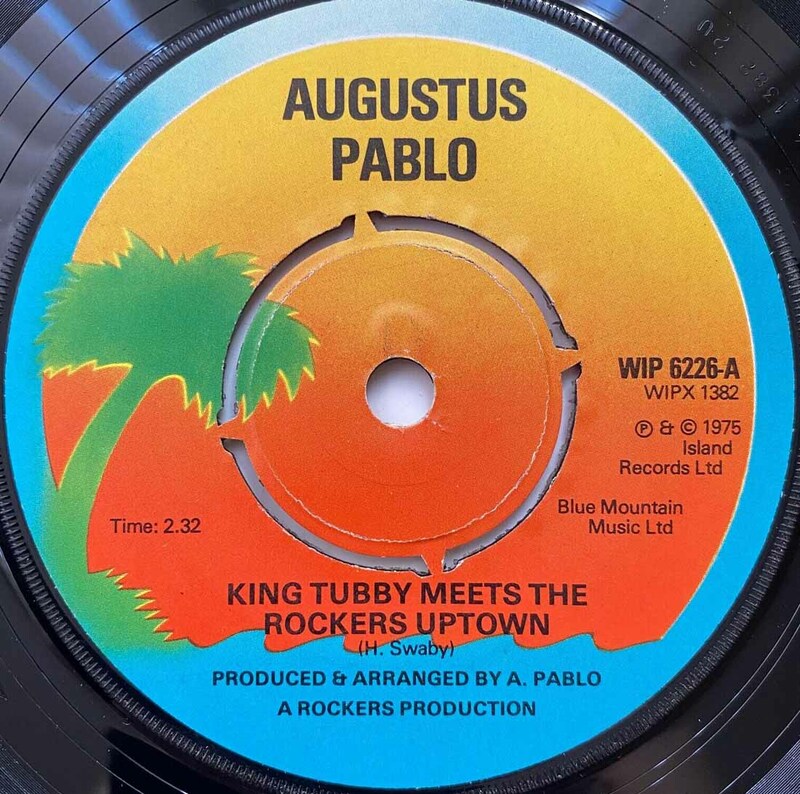 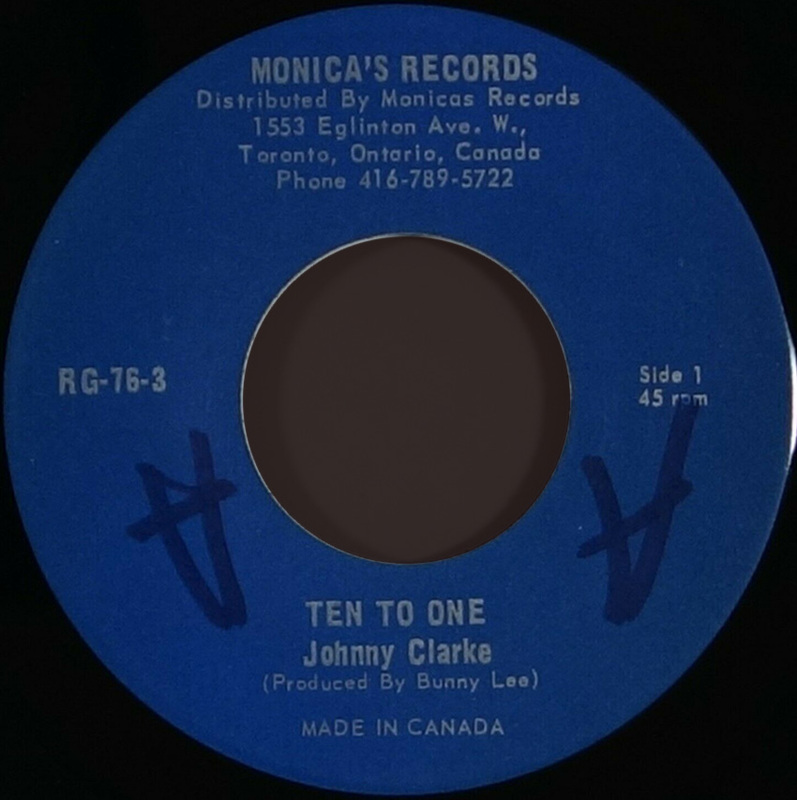 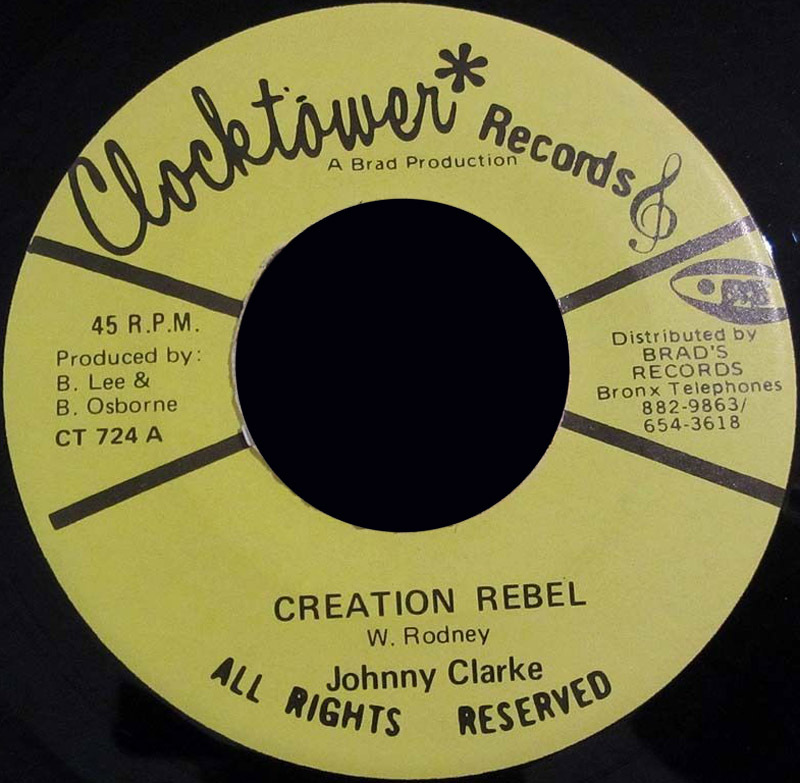 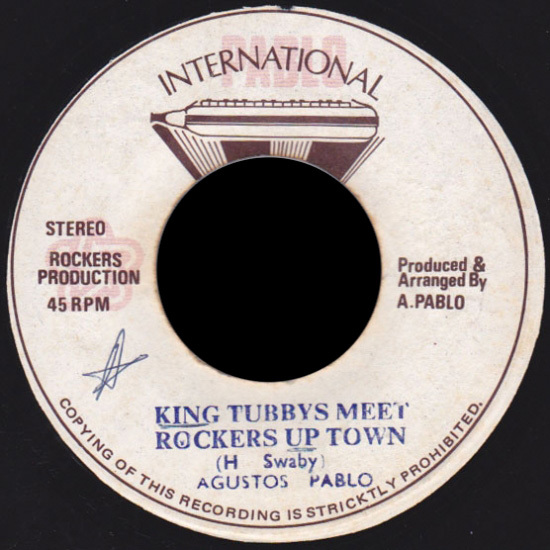 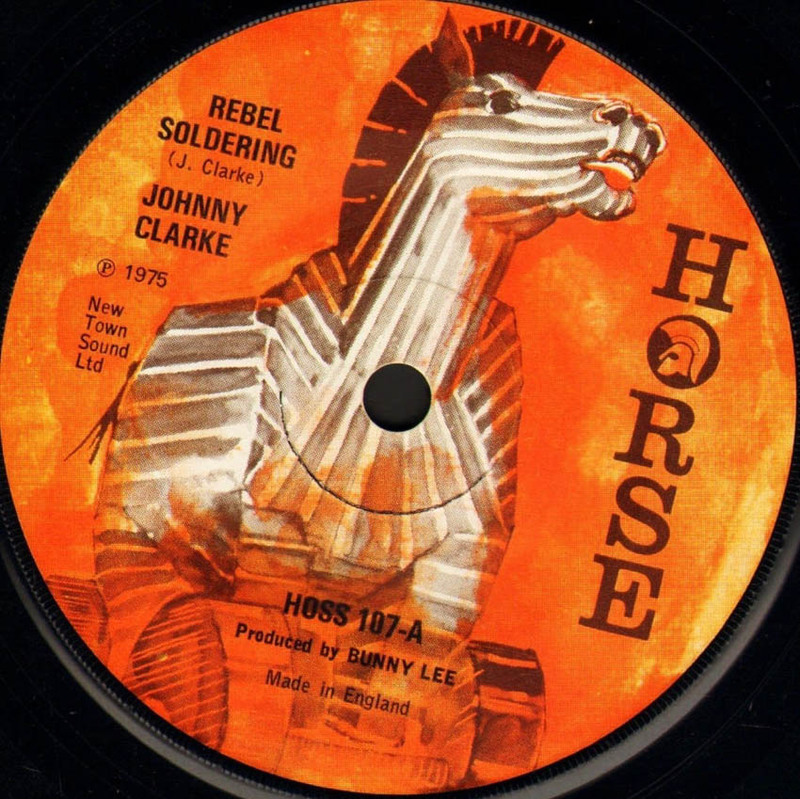 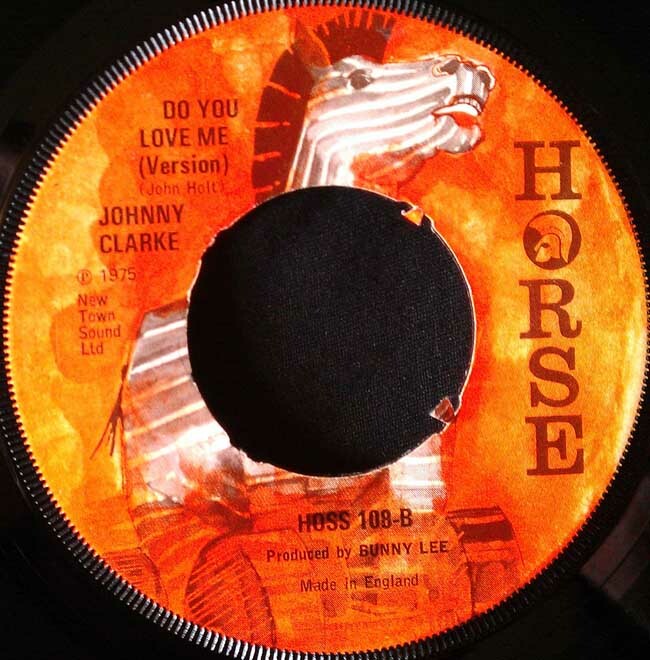 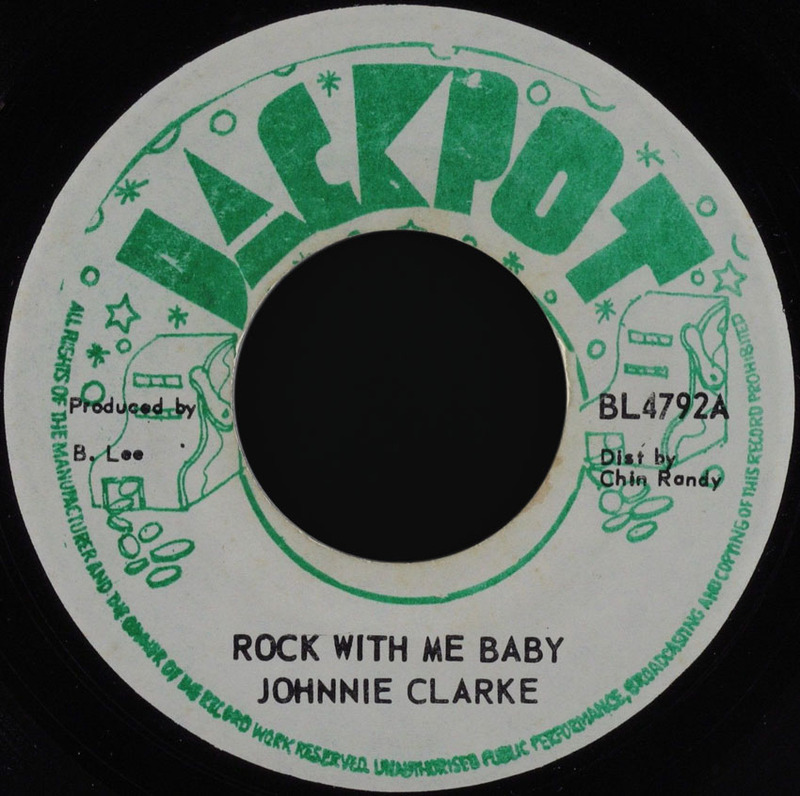 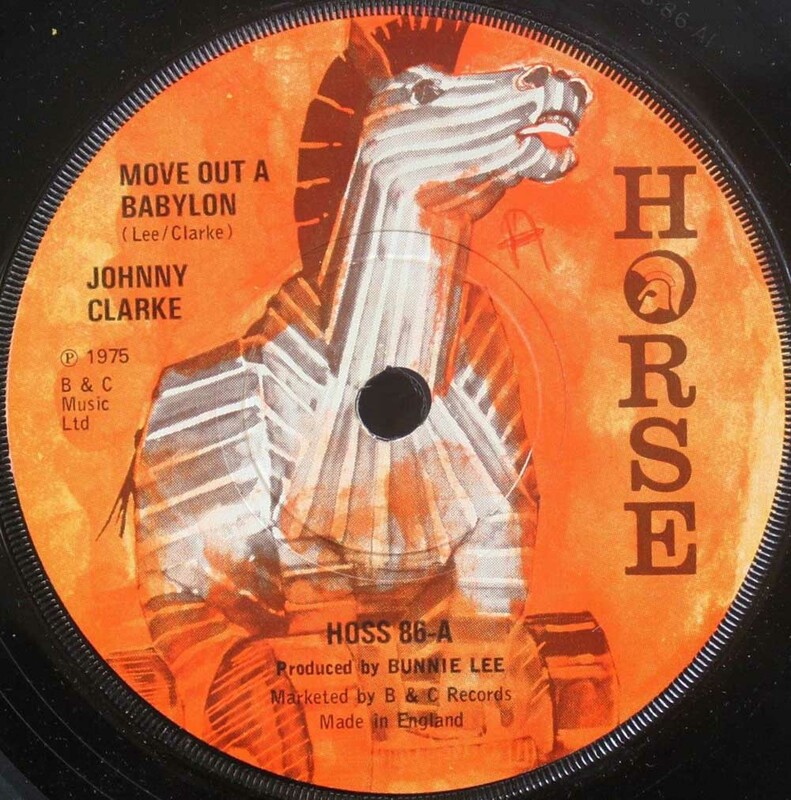 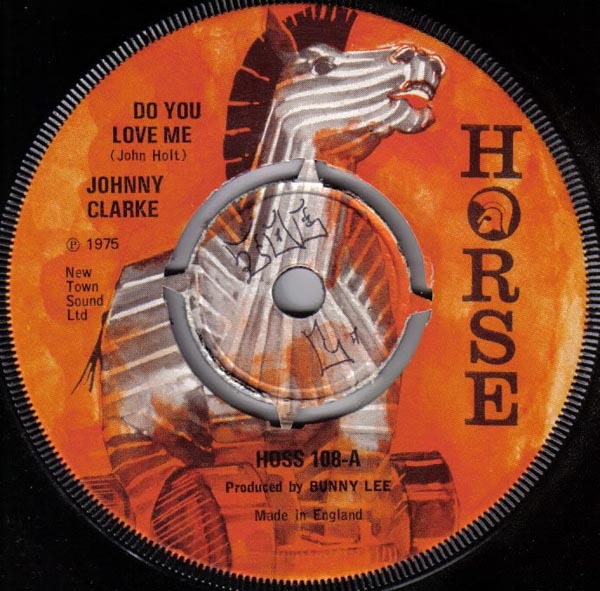 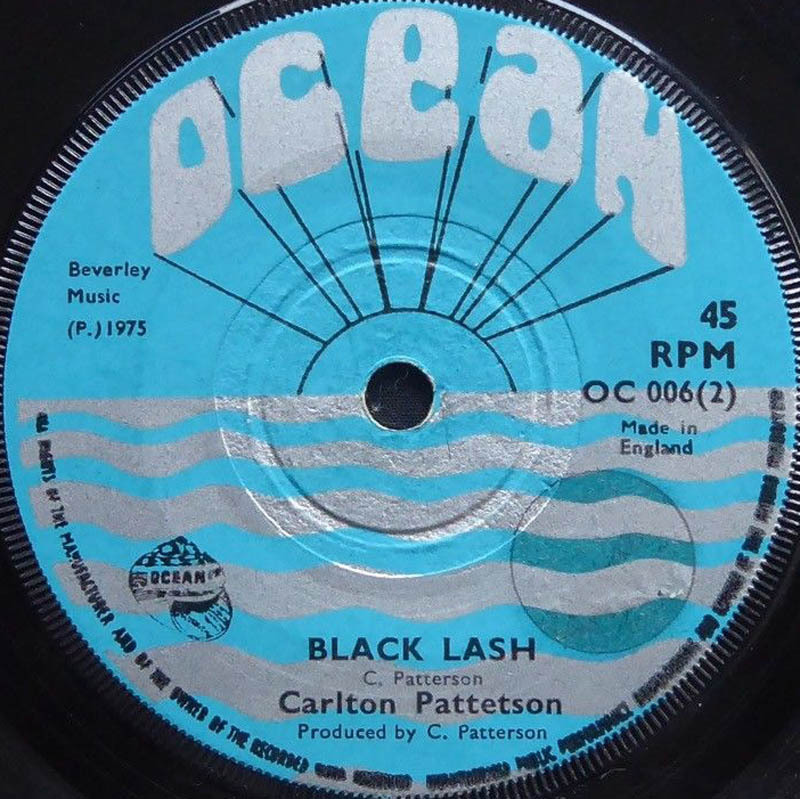 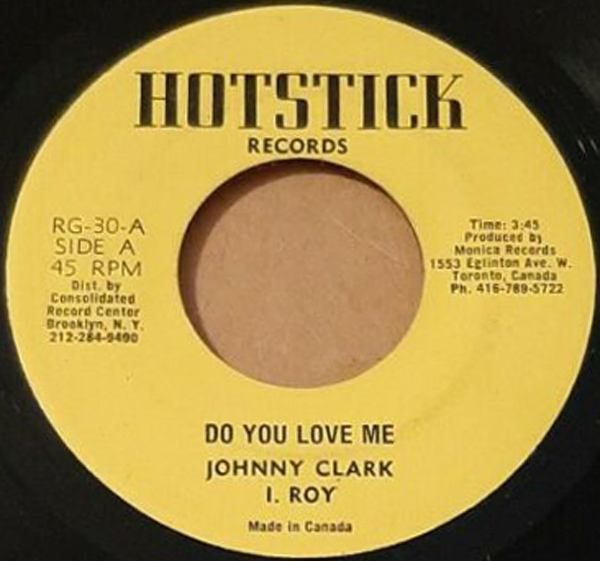 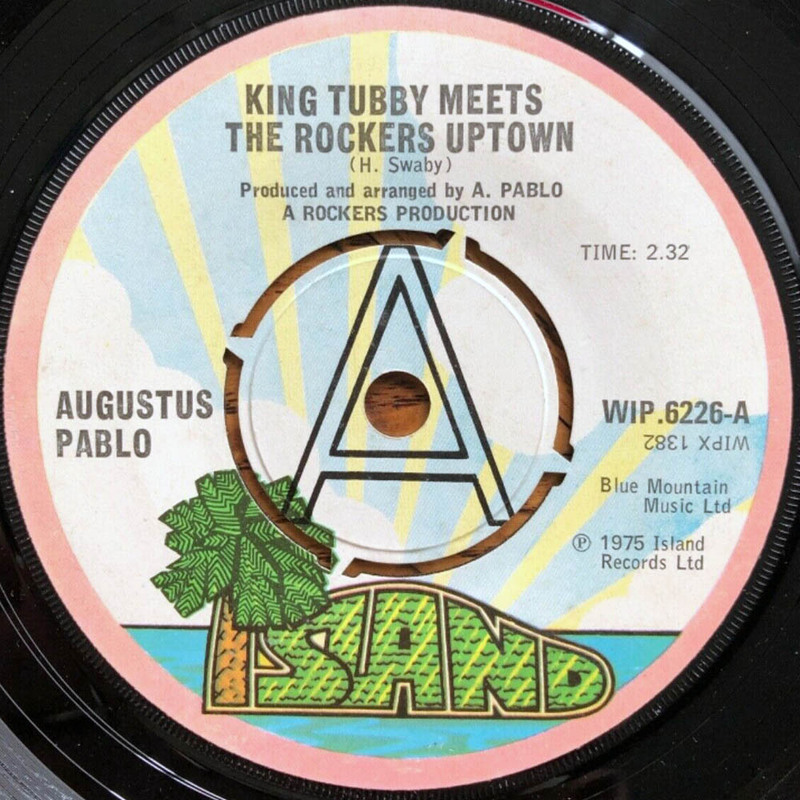 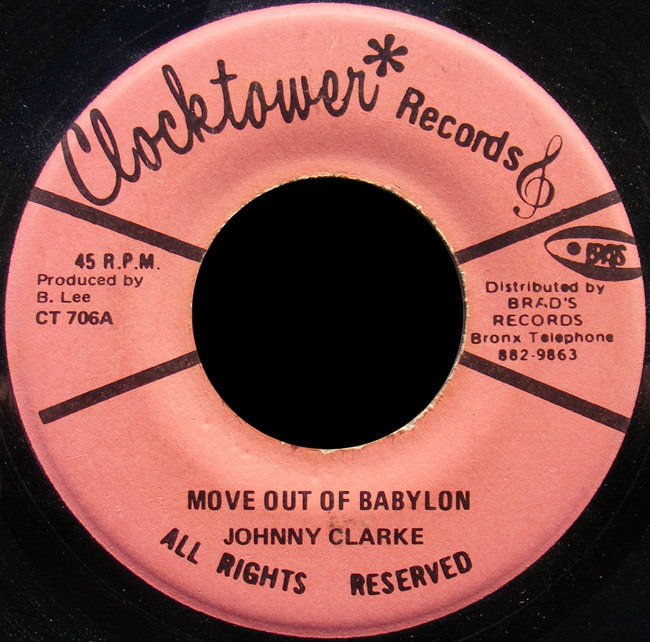 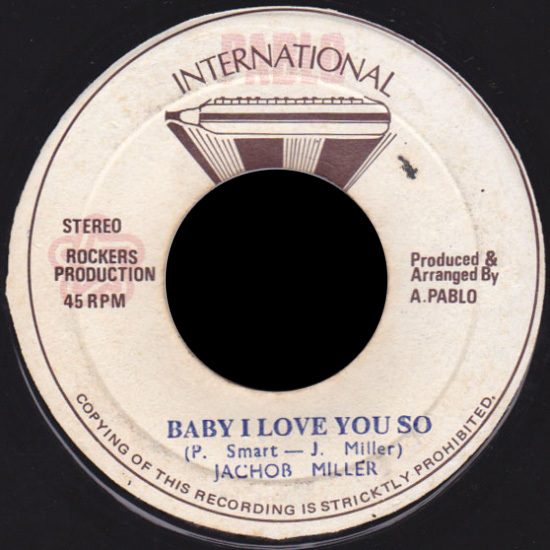 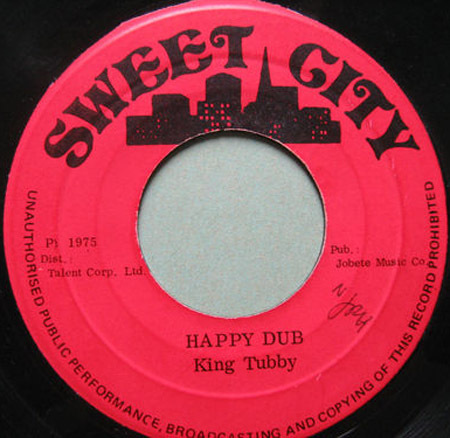 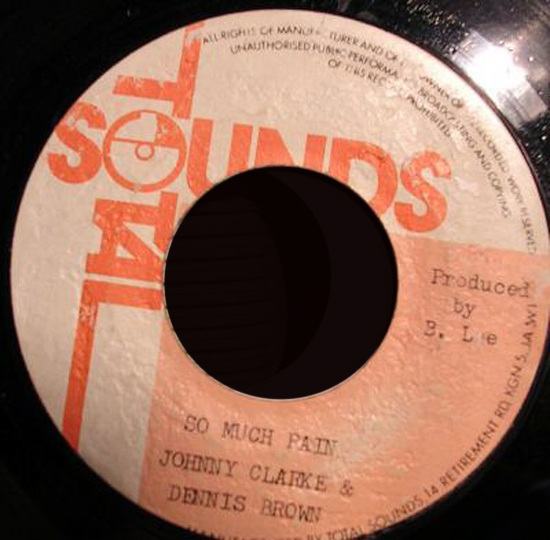 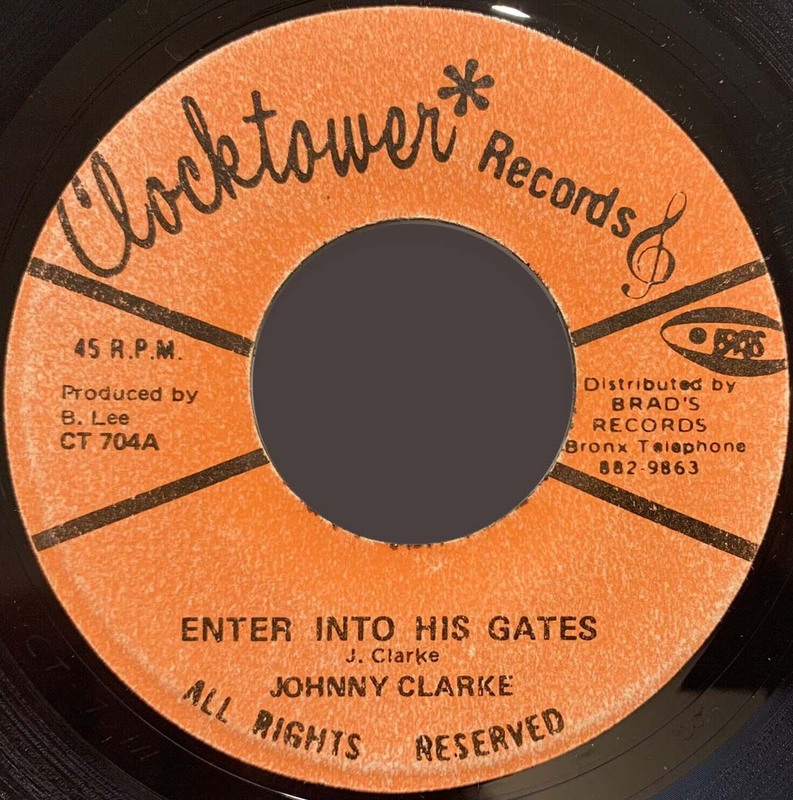 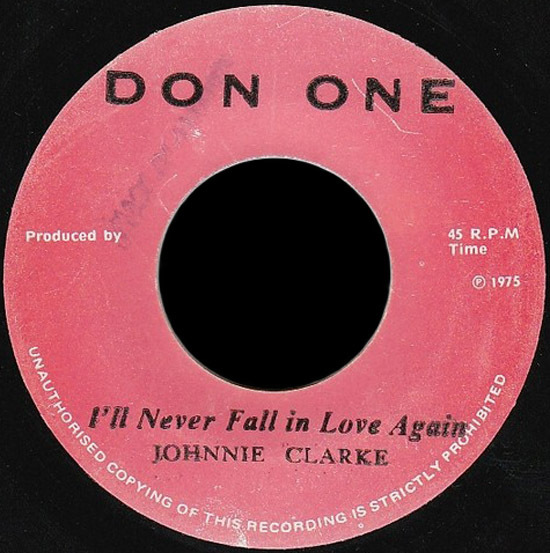 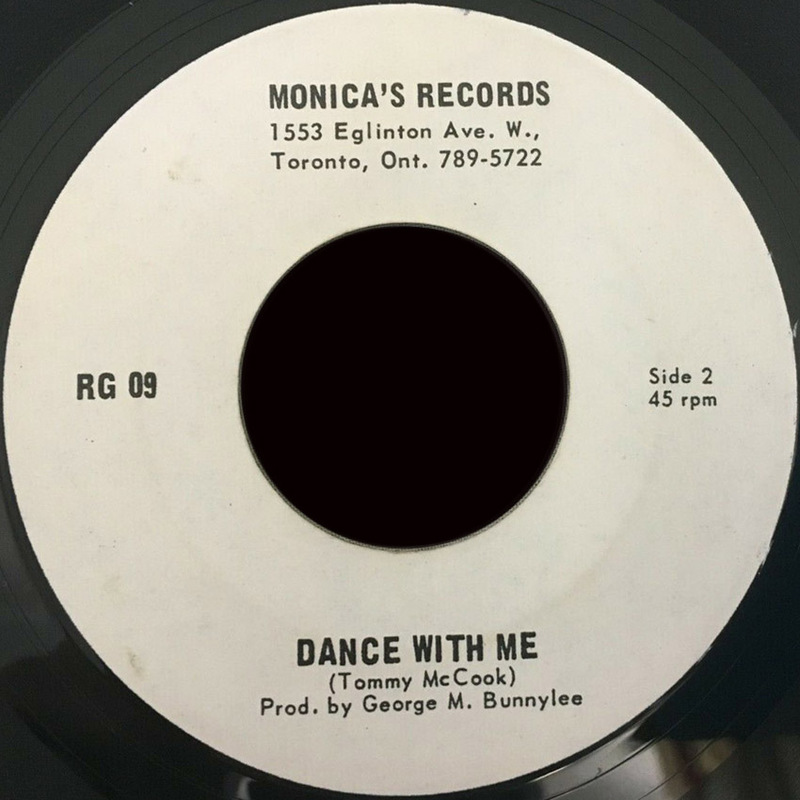 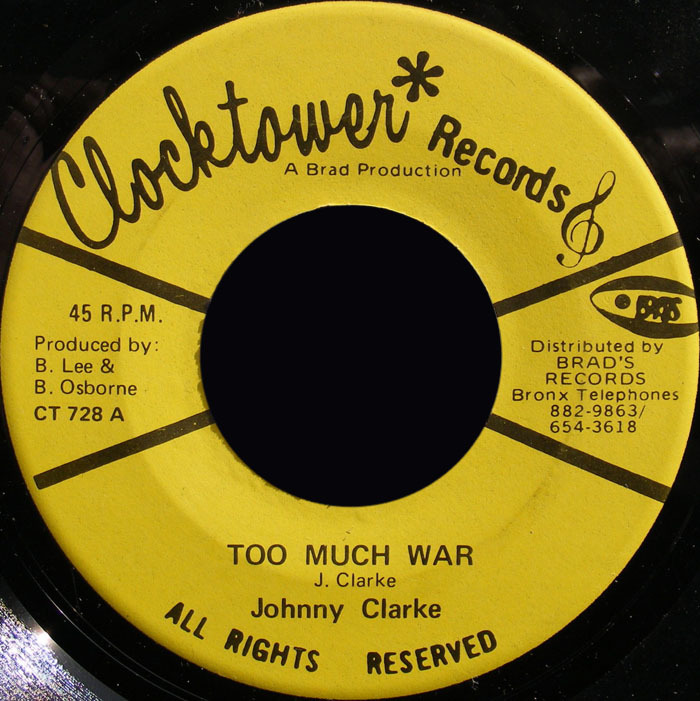 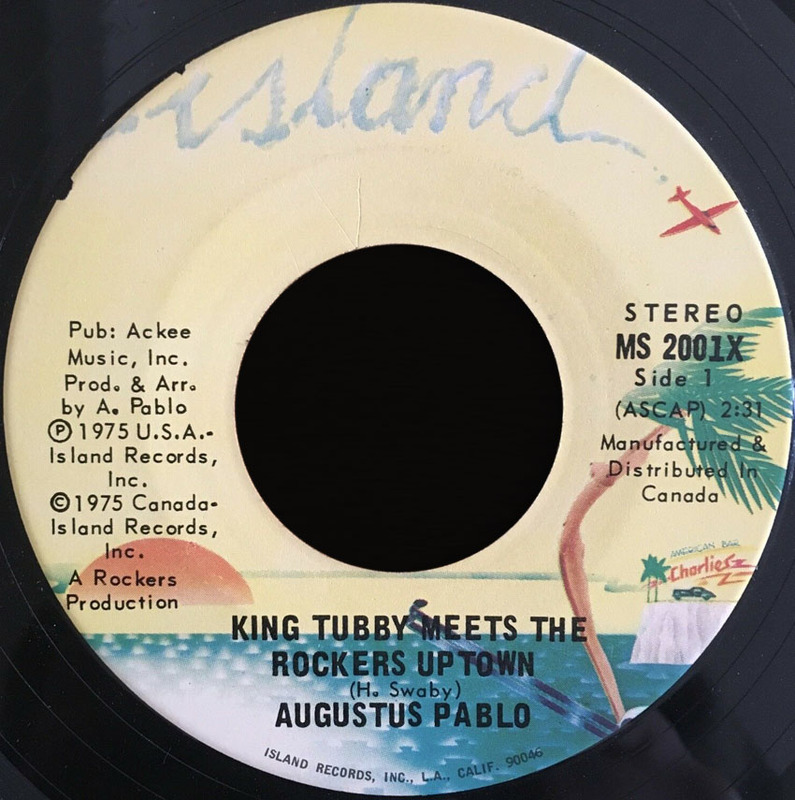 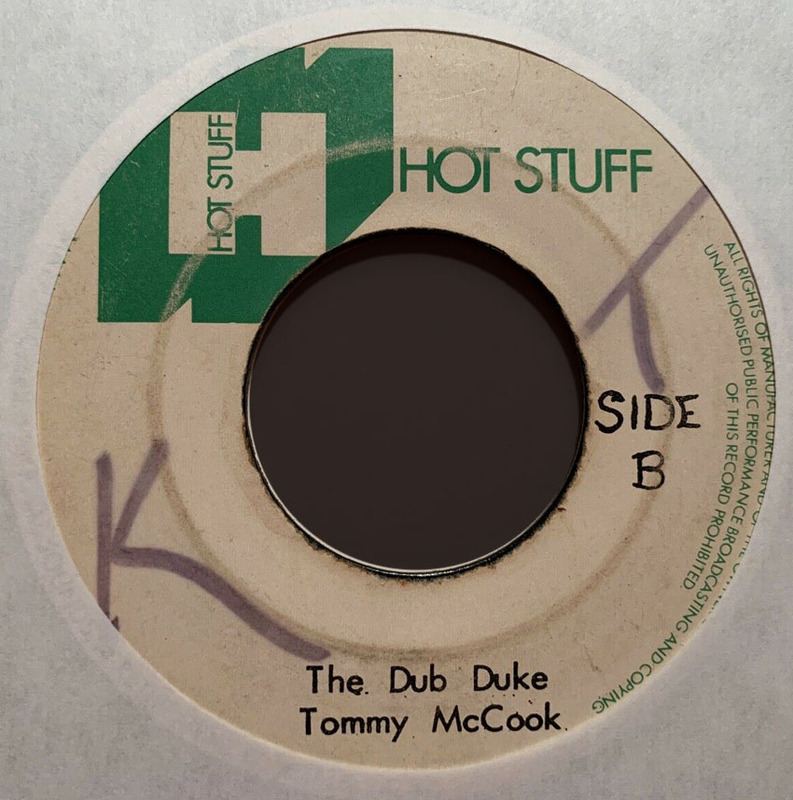 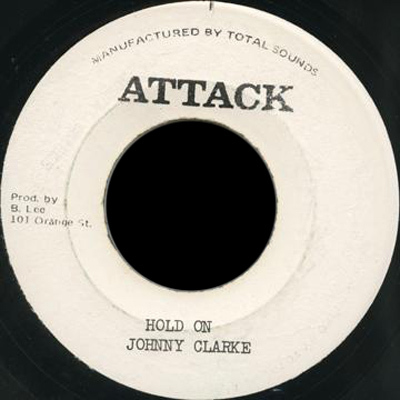 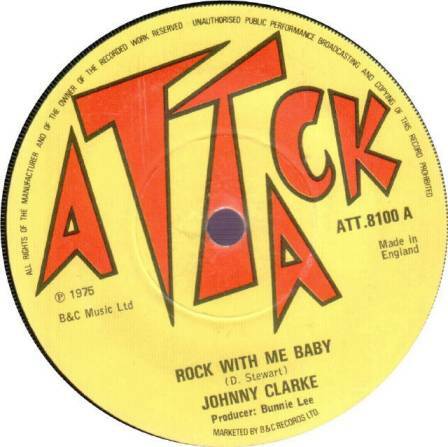 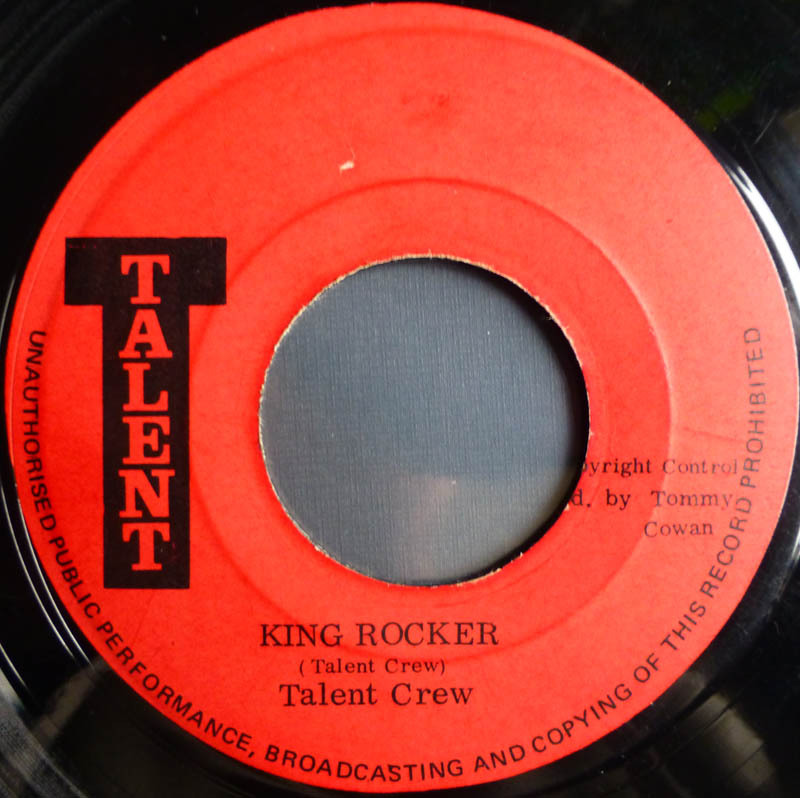 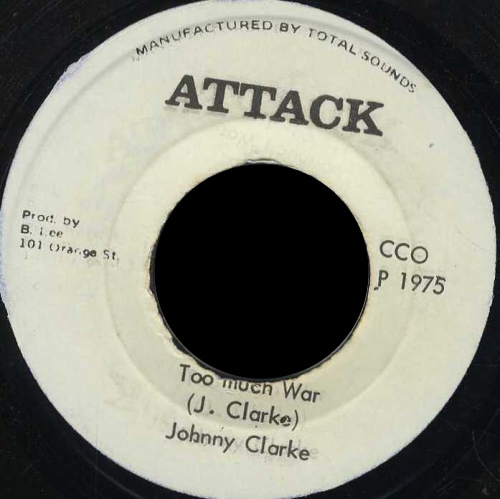 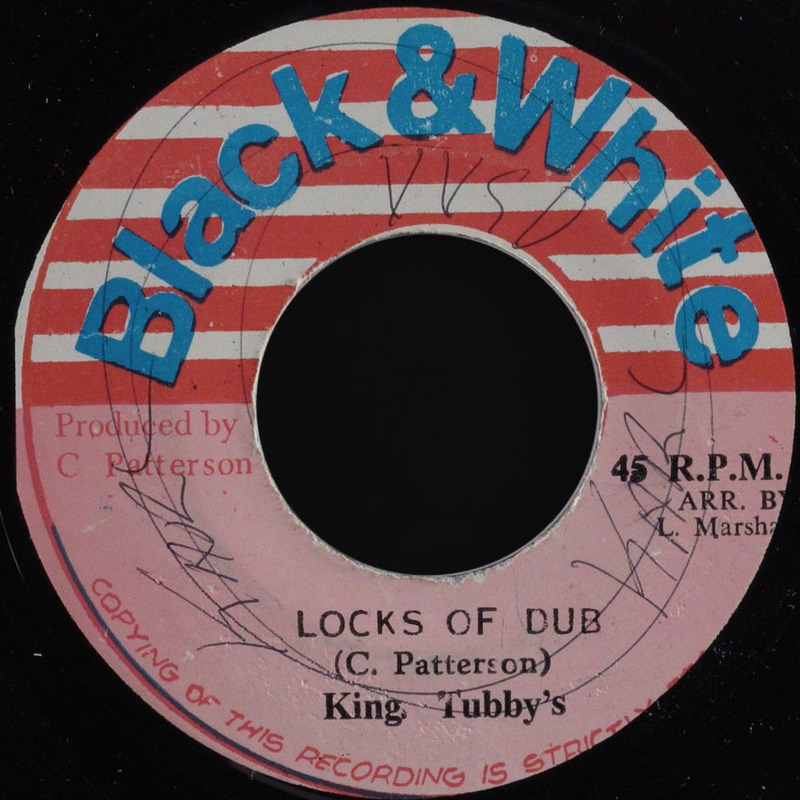 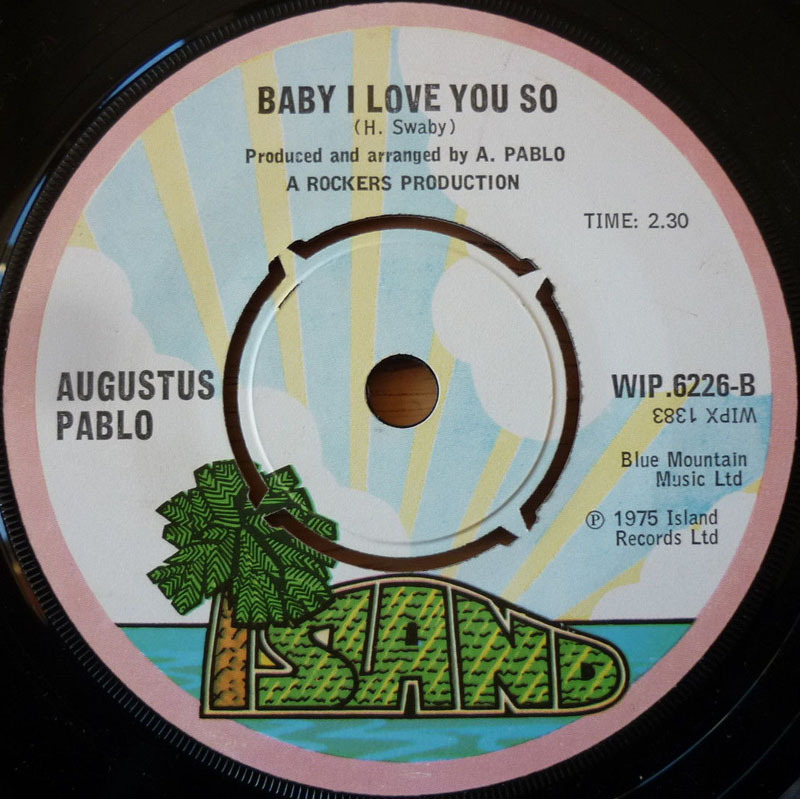 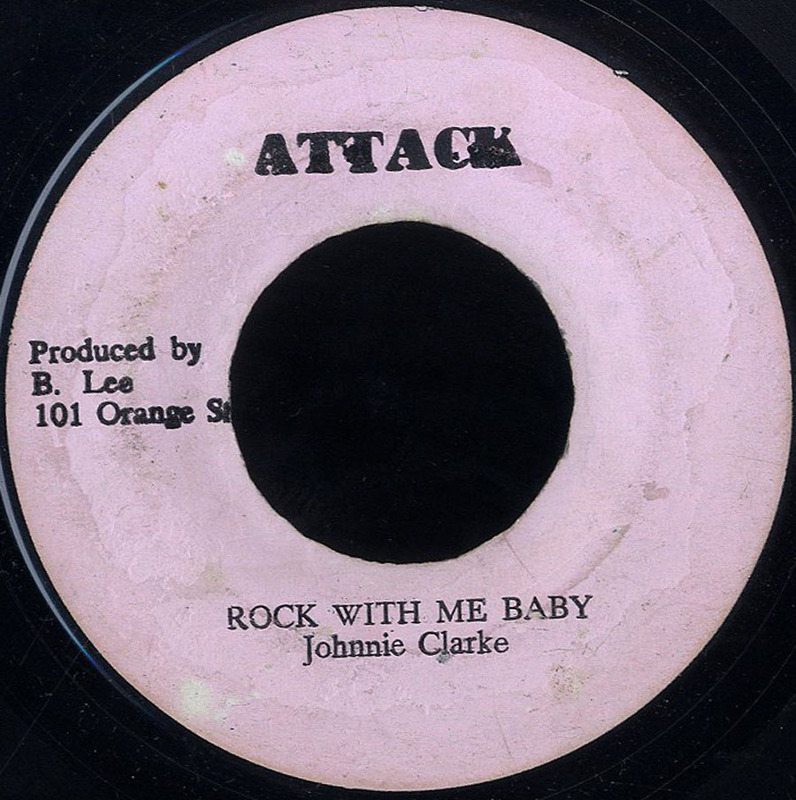 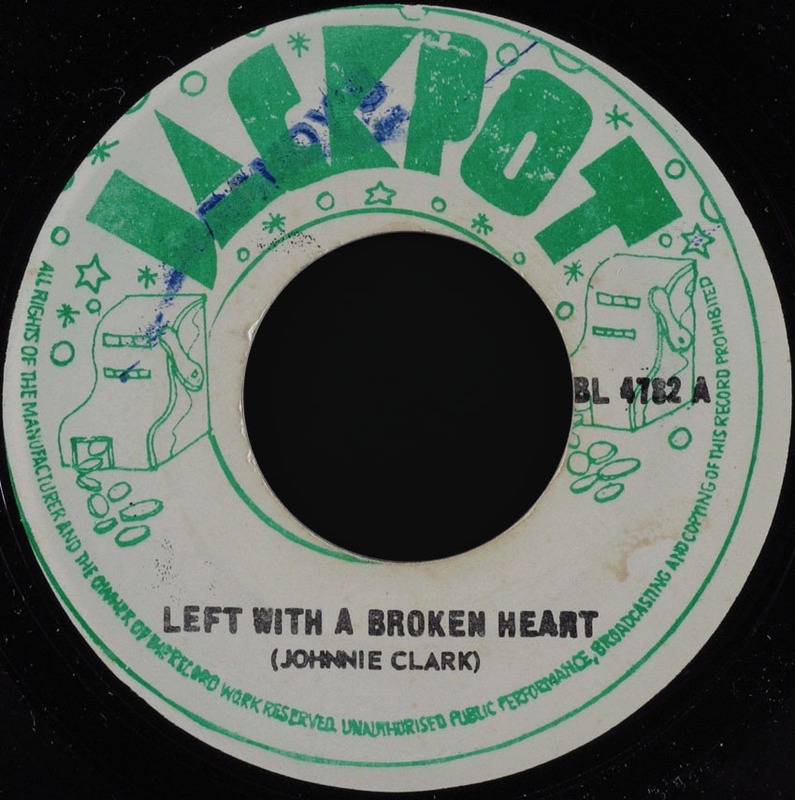 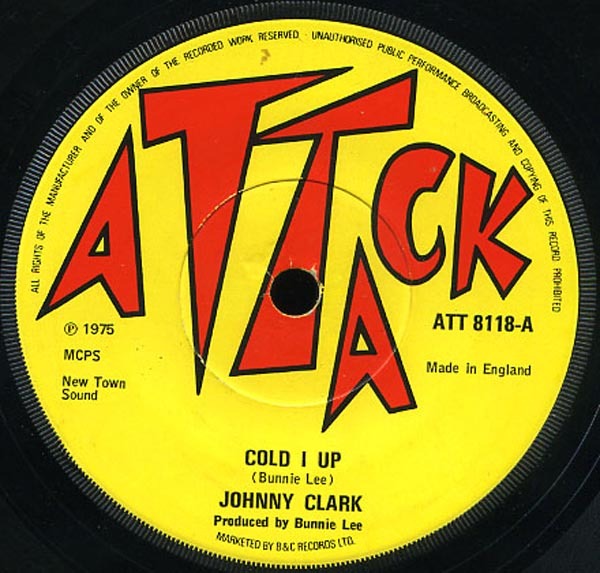 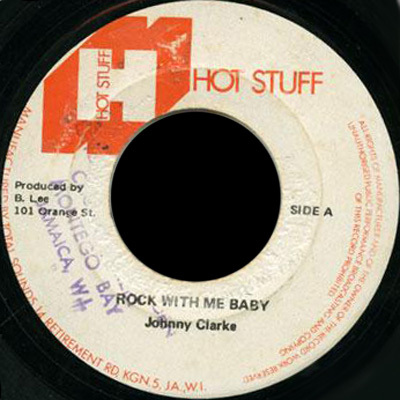 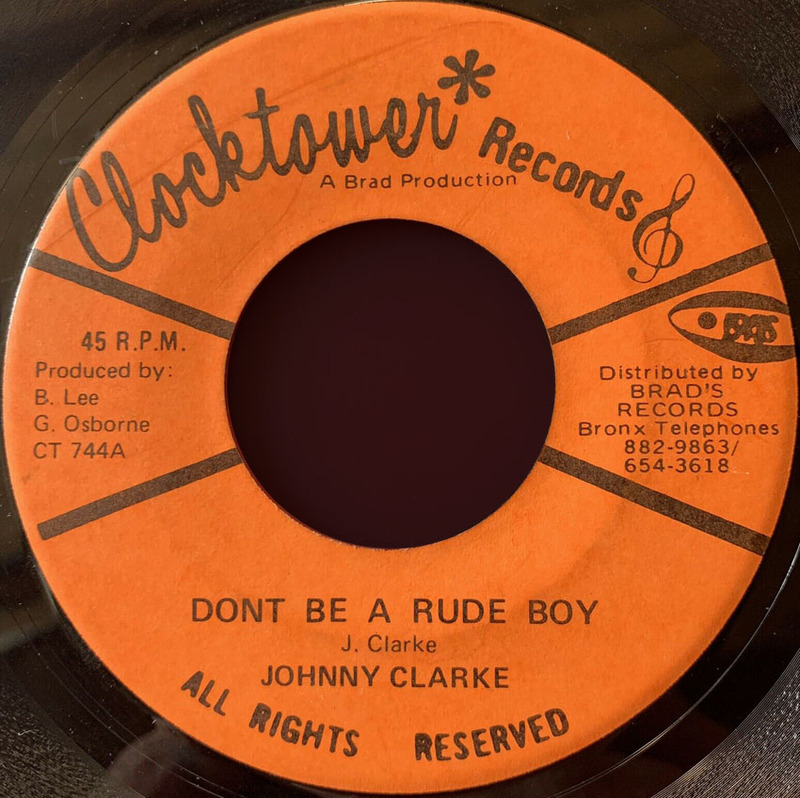 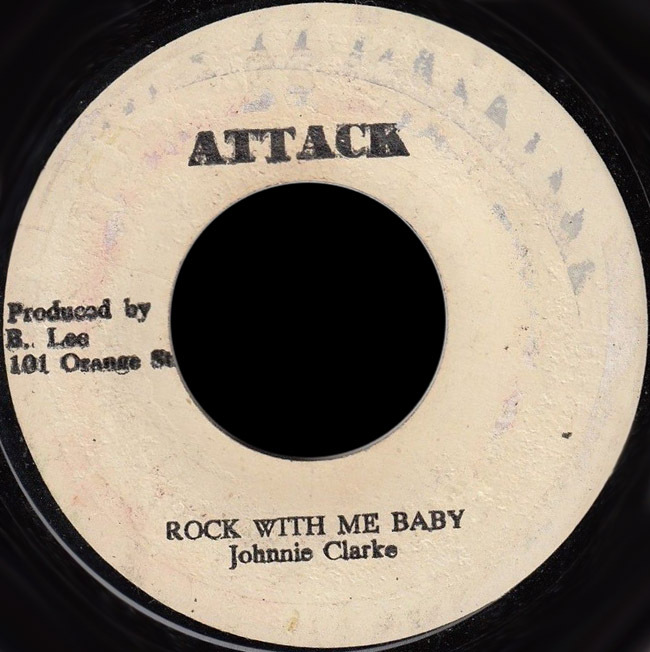 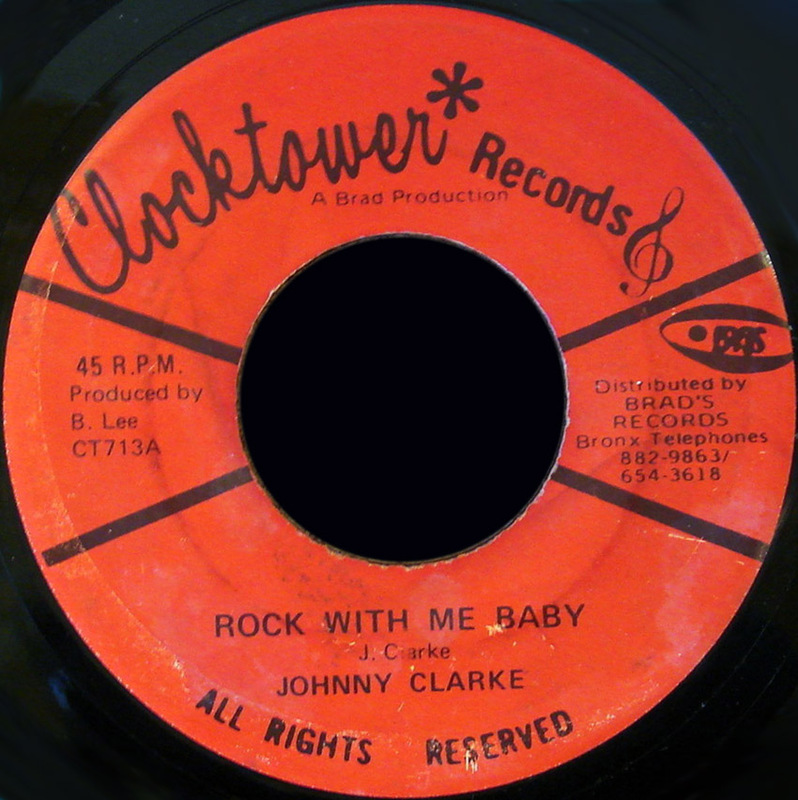 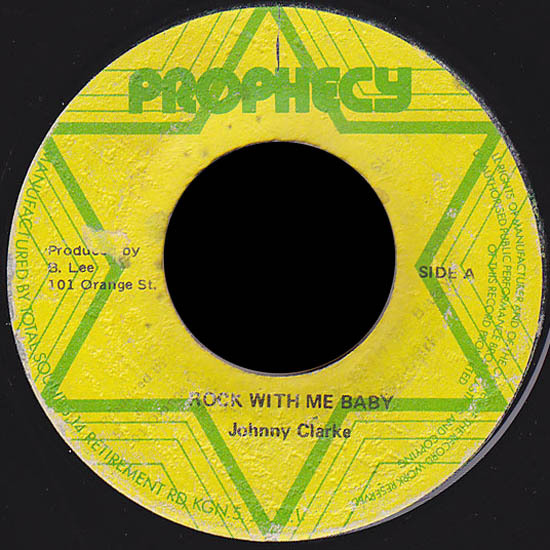 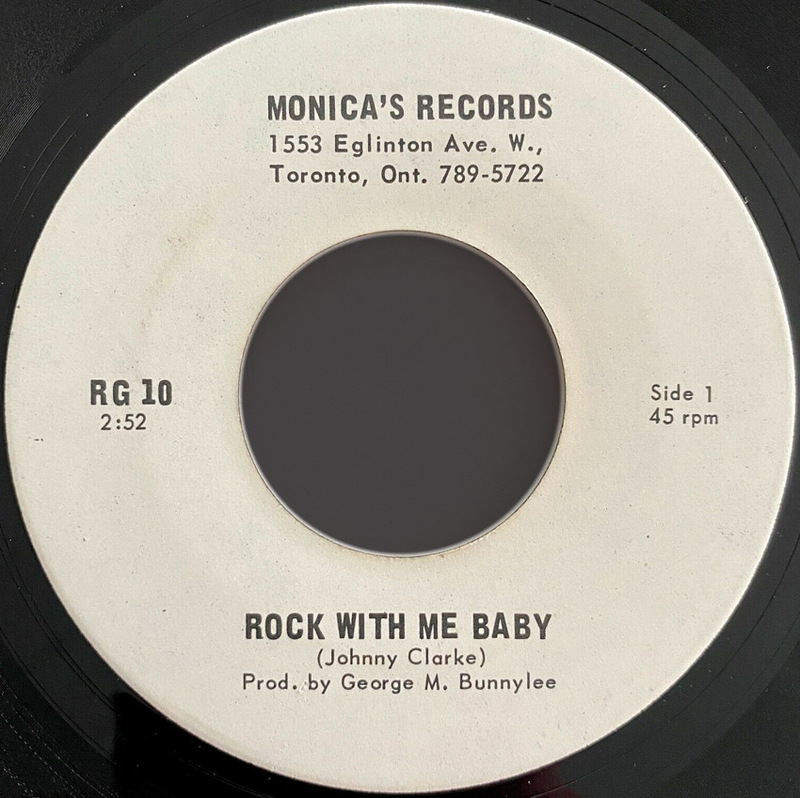 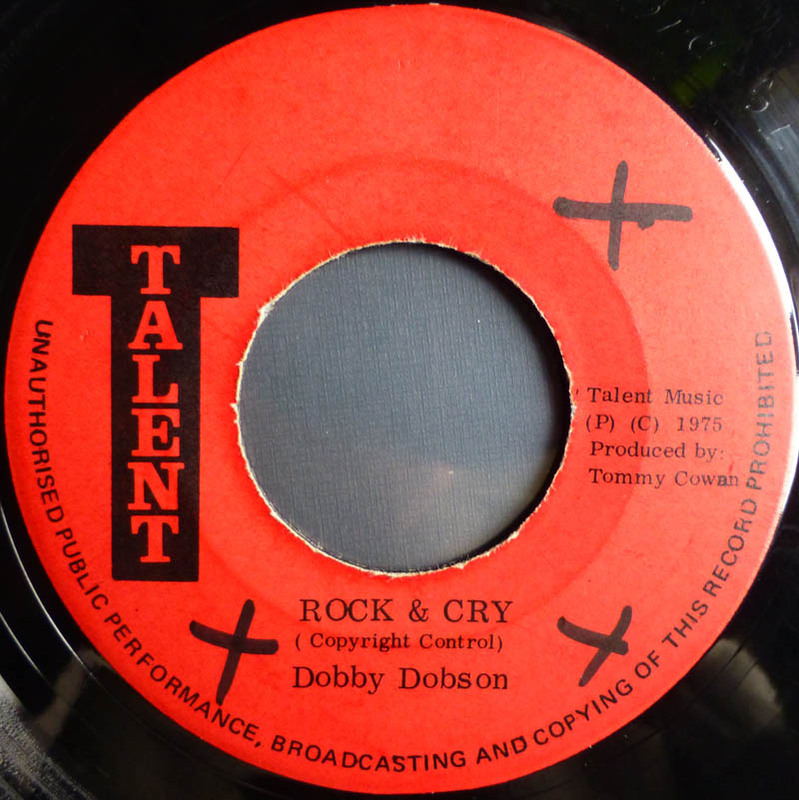 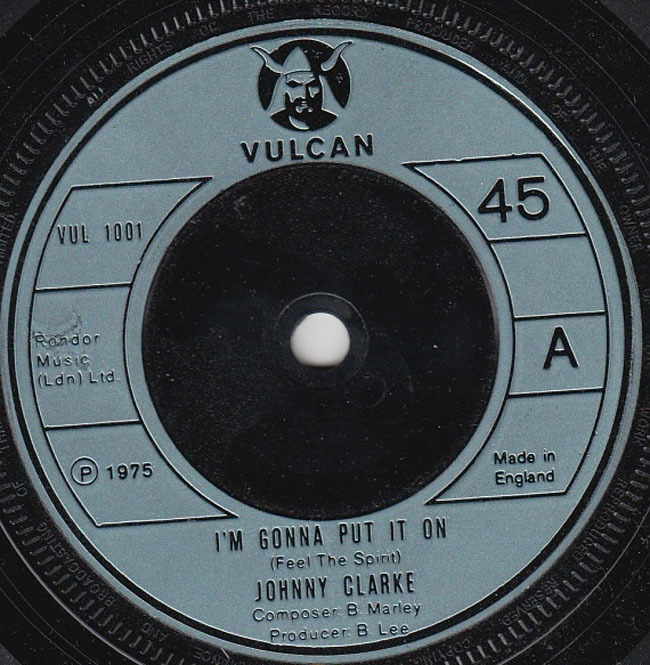 1975 7" Rock With Me Baby Johnny Clarke 2.45 2.38 A Crabit Version King Tubby's UK. 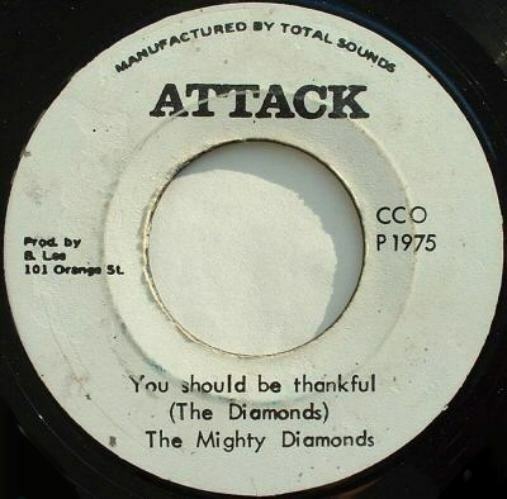 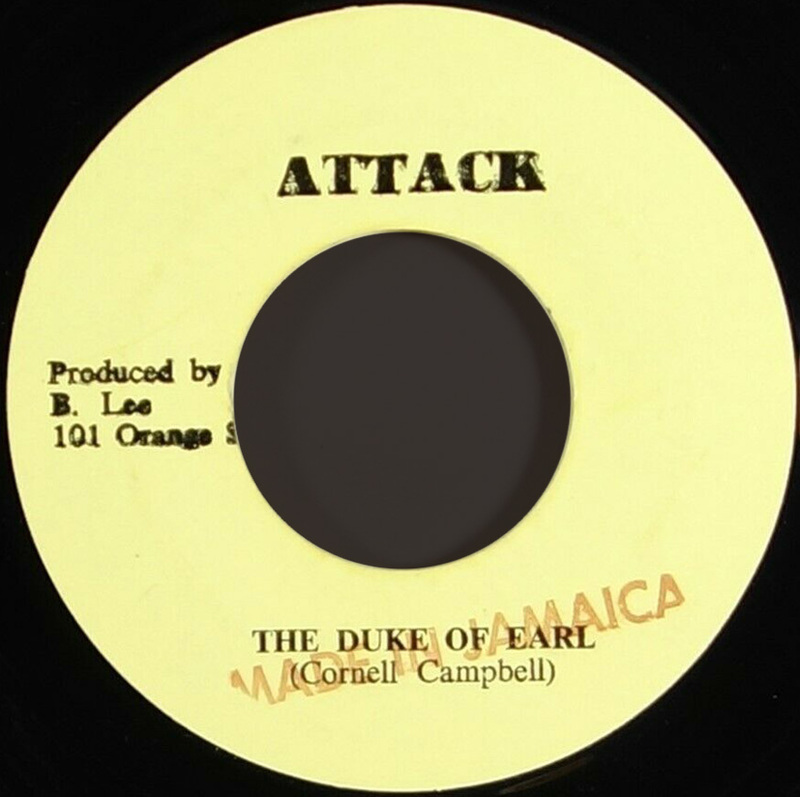 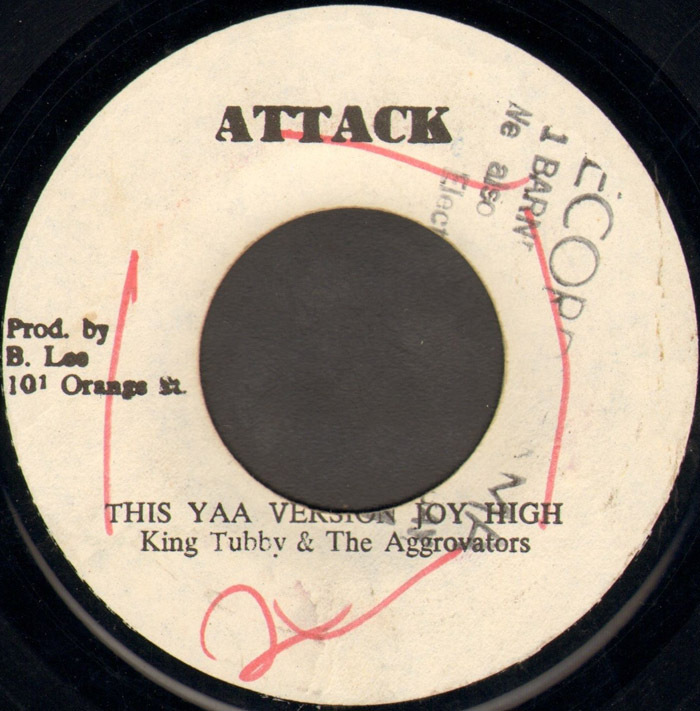 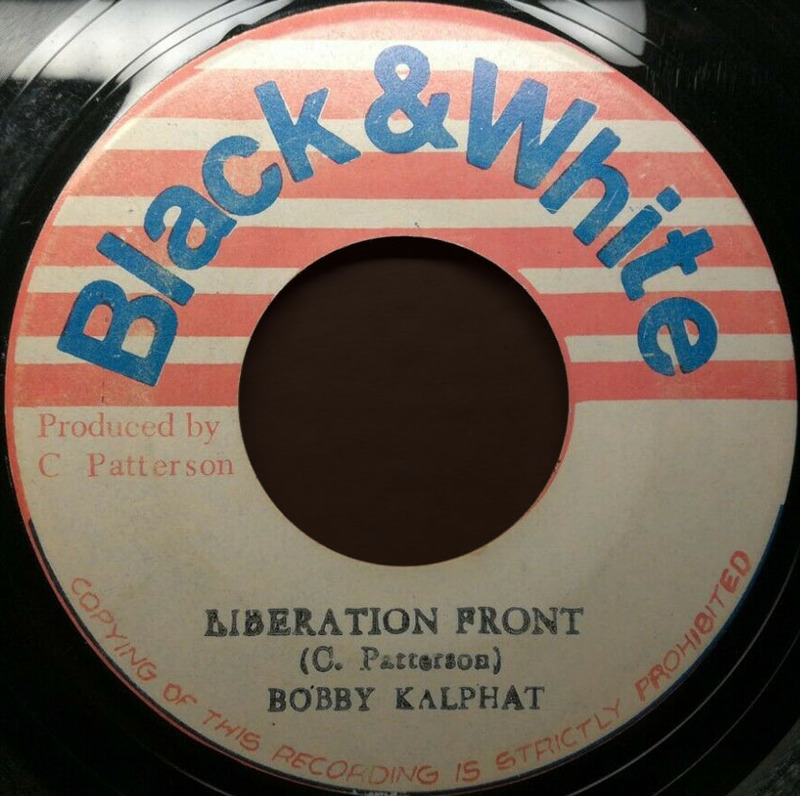 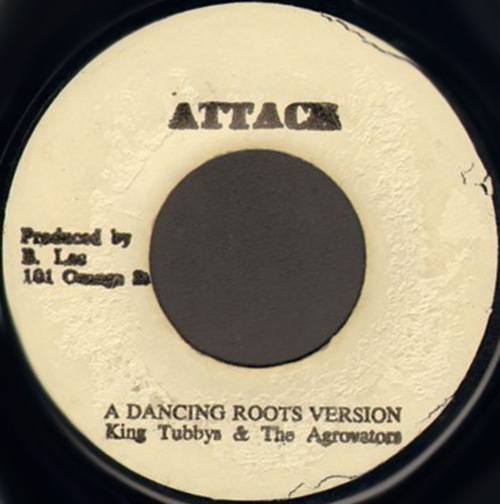 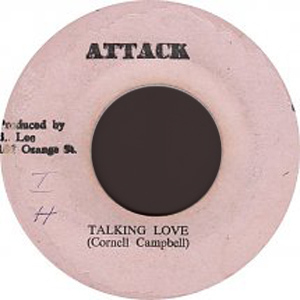 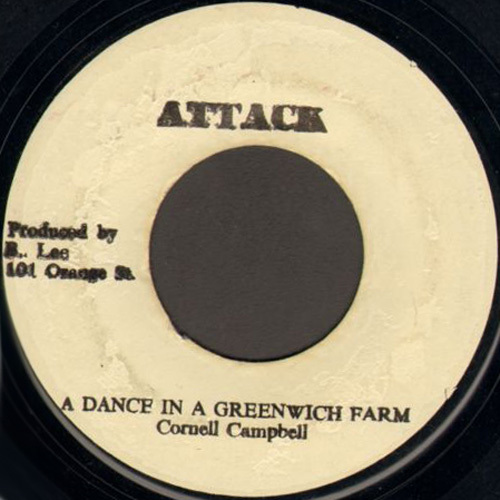 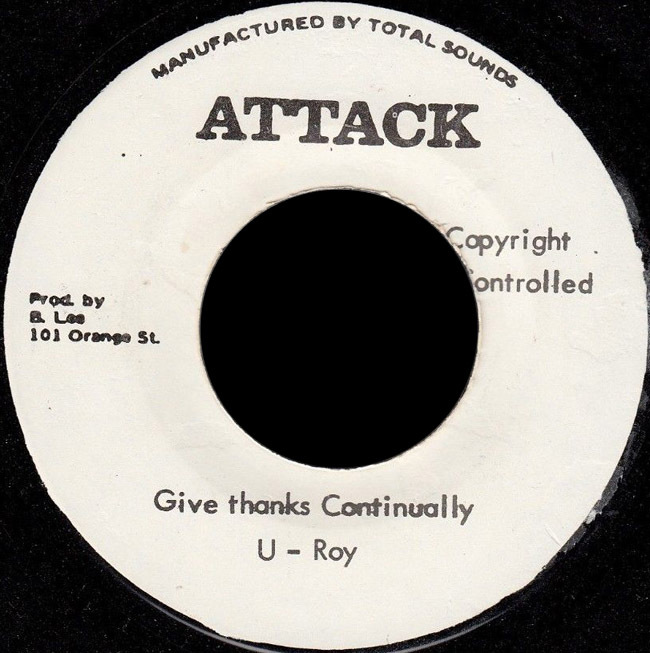 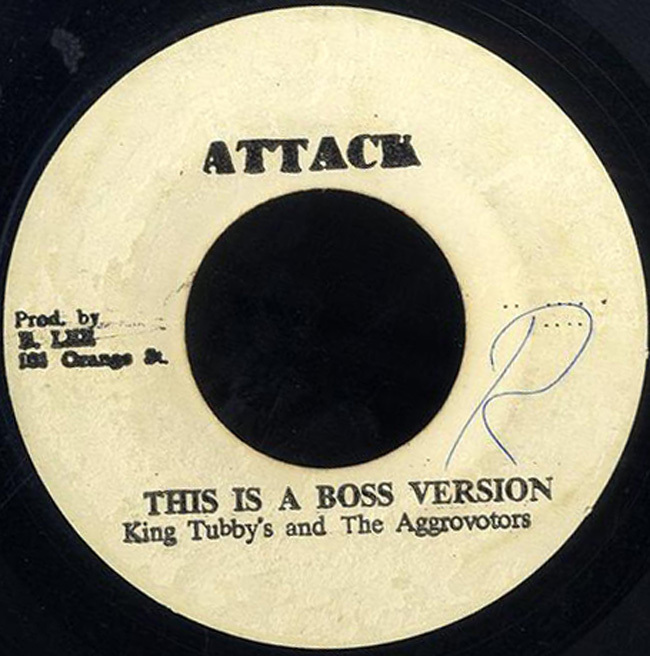 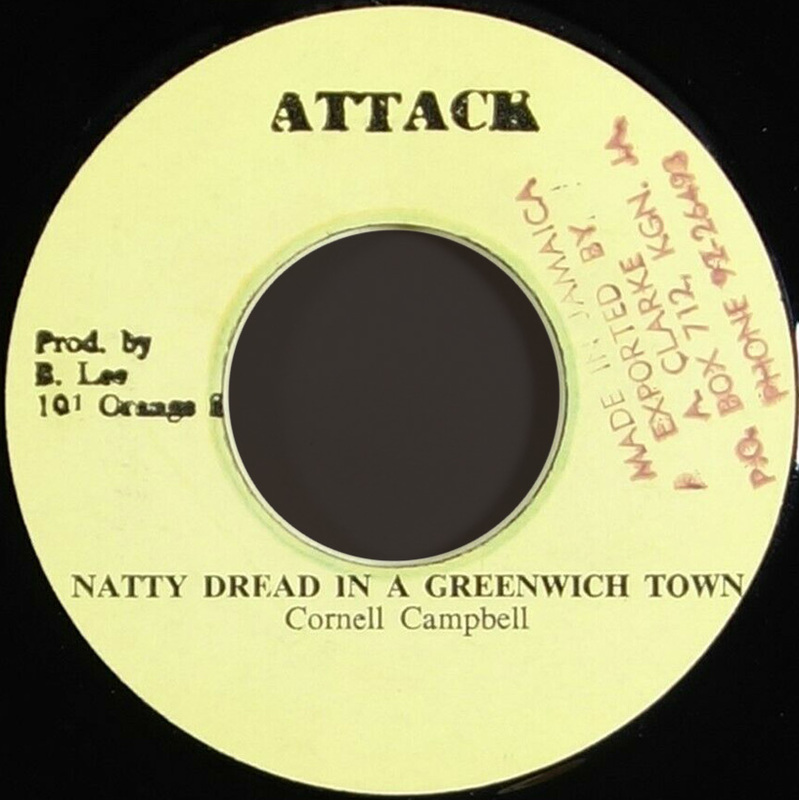 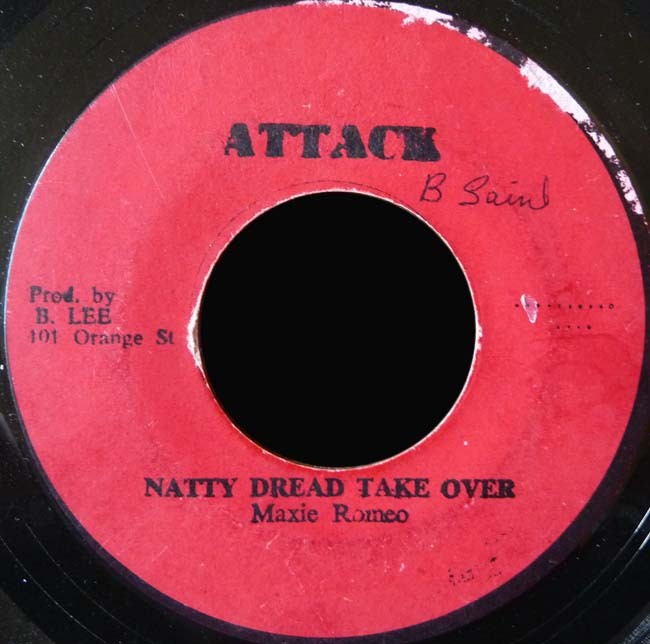 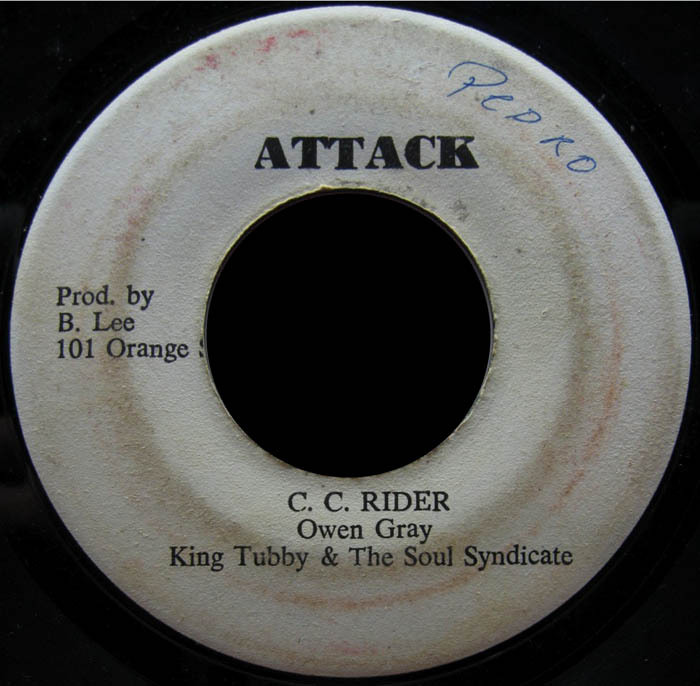 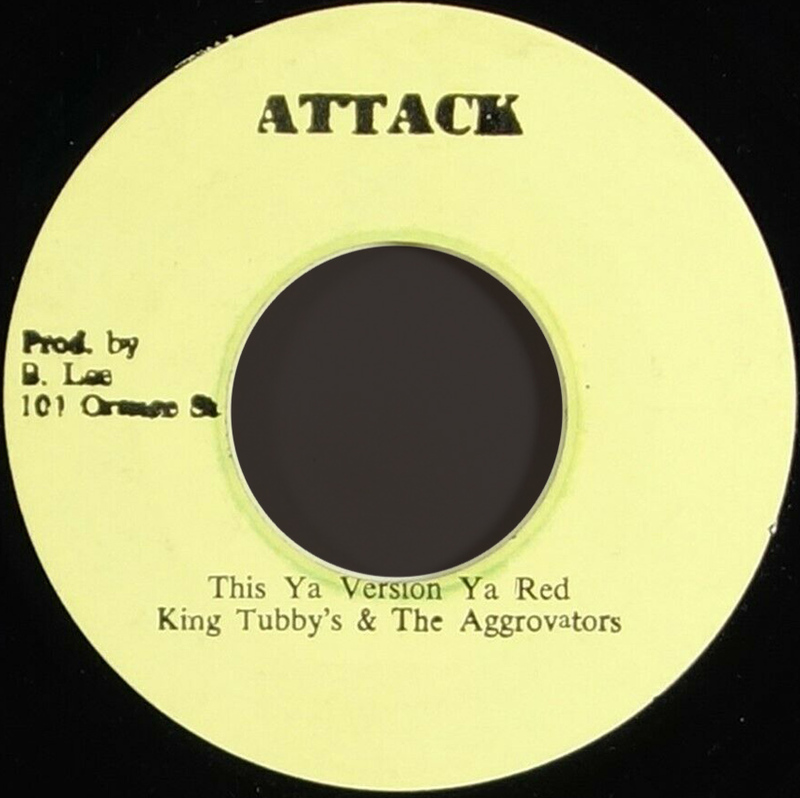 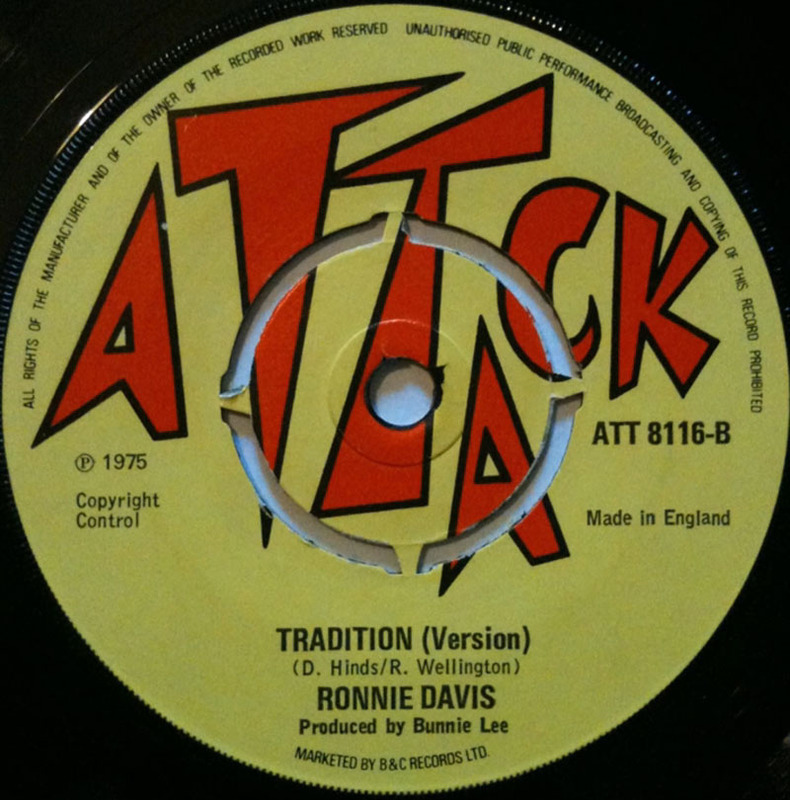 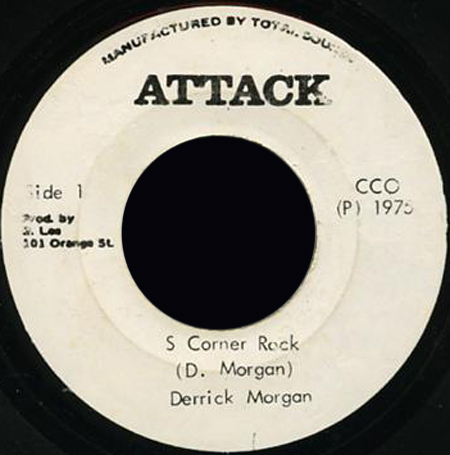 Attack ATT 8100 Bunny Lee Pr. 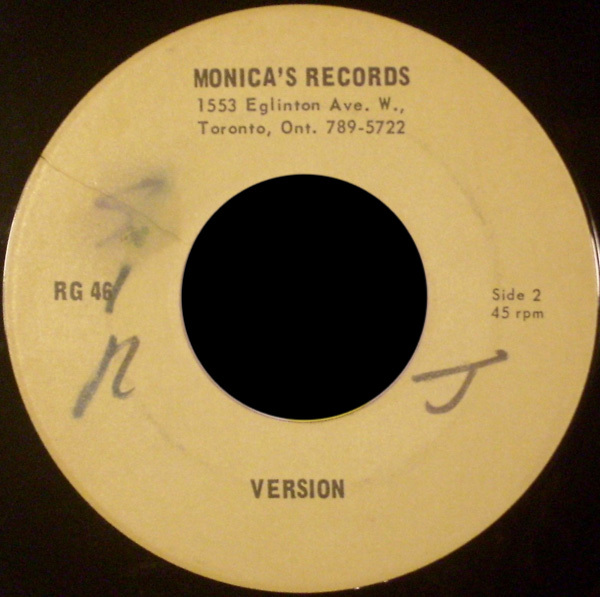 197? 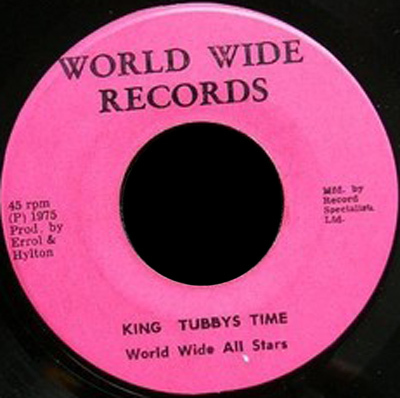 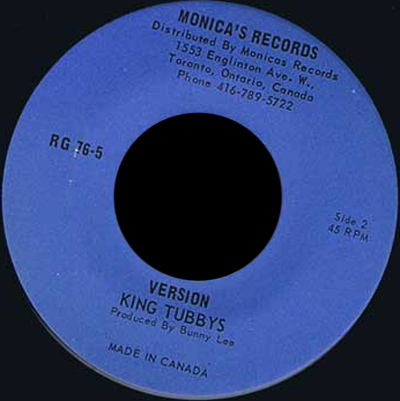 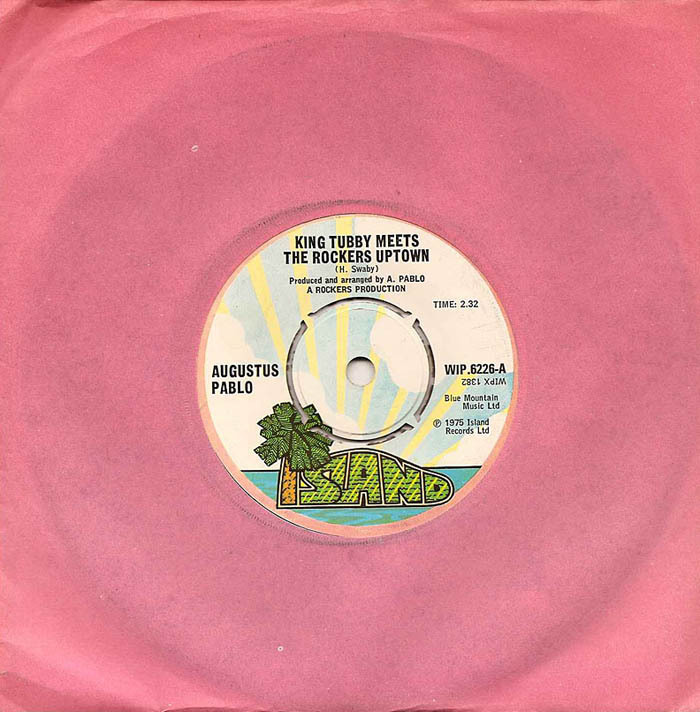 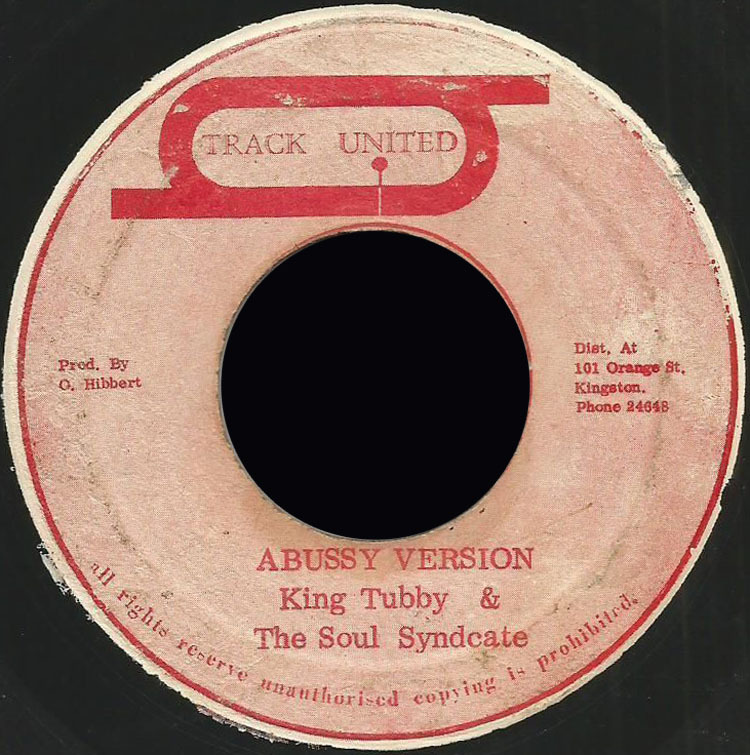 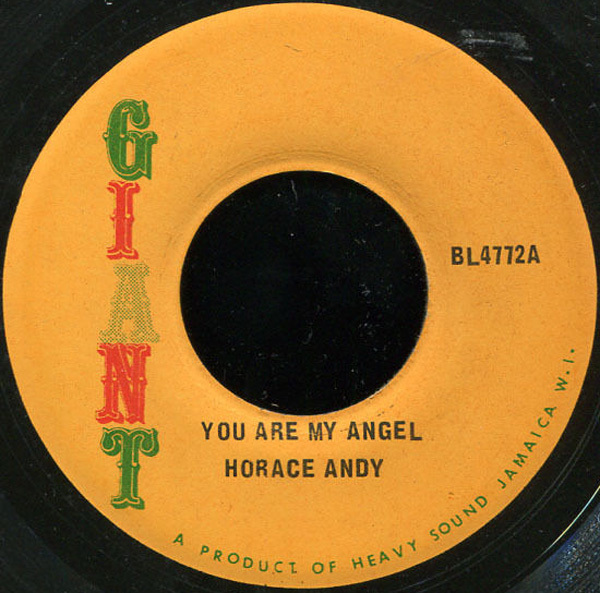 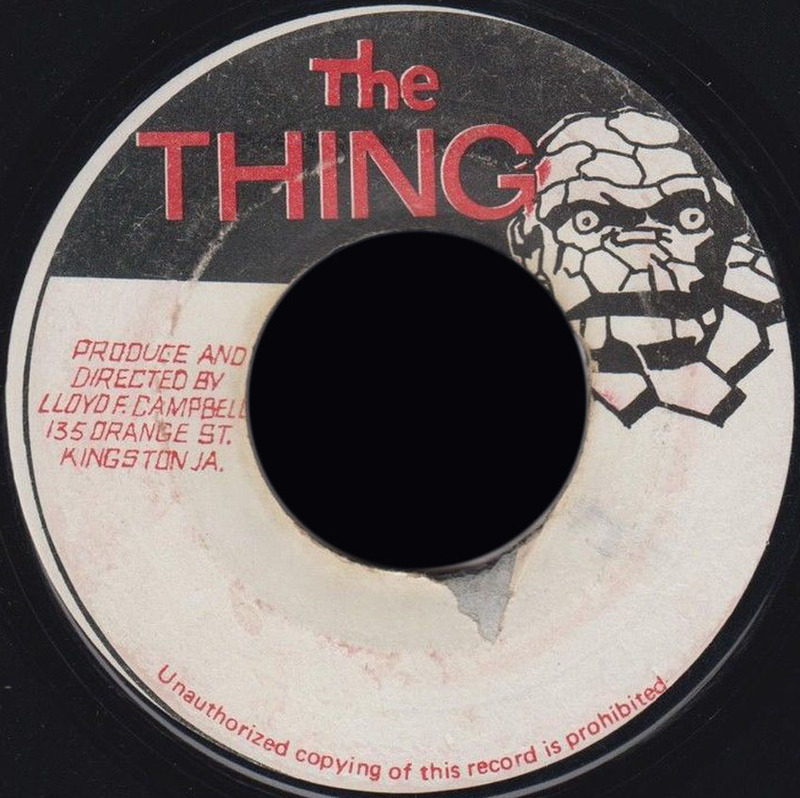 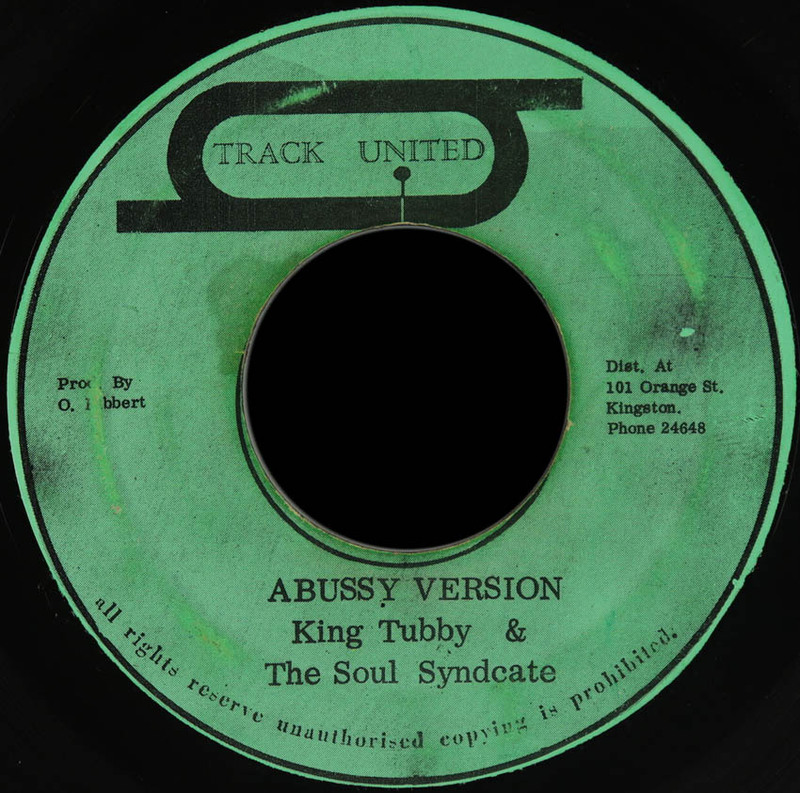 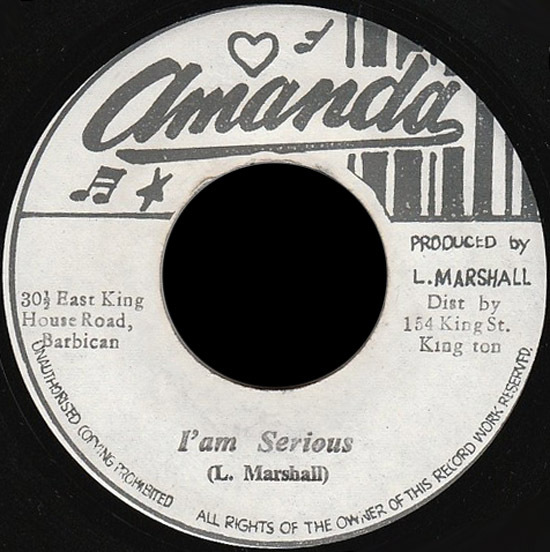 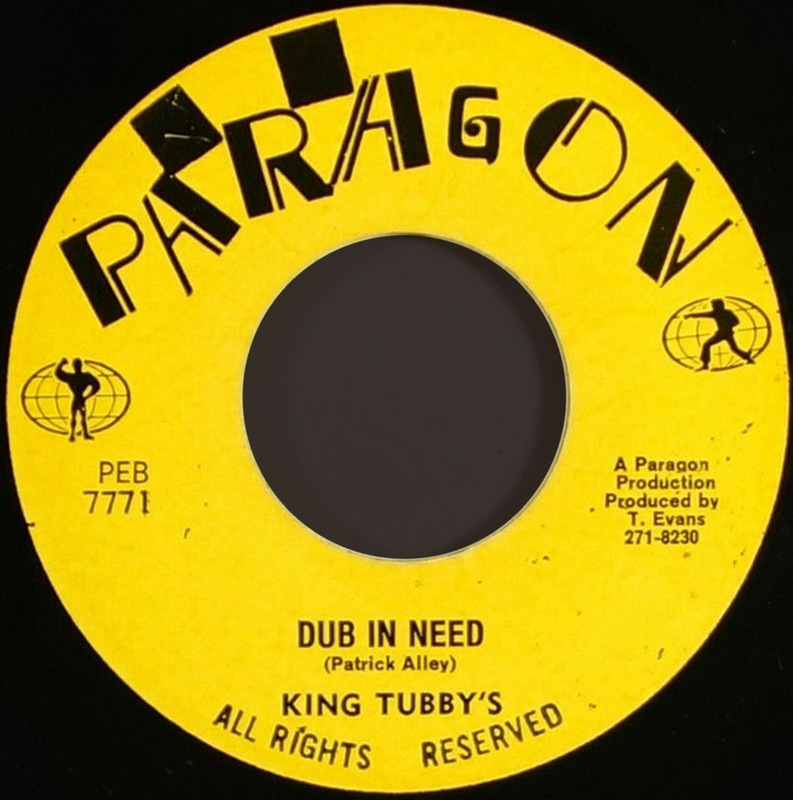 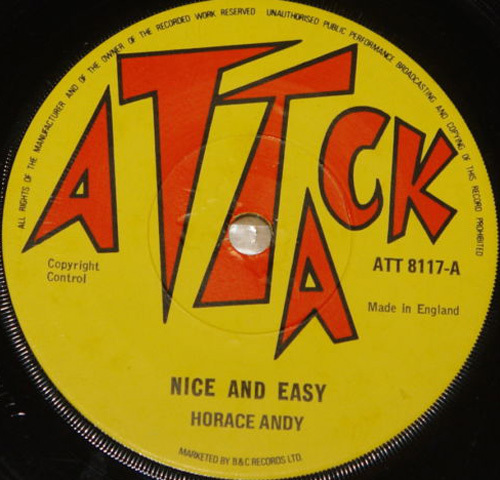 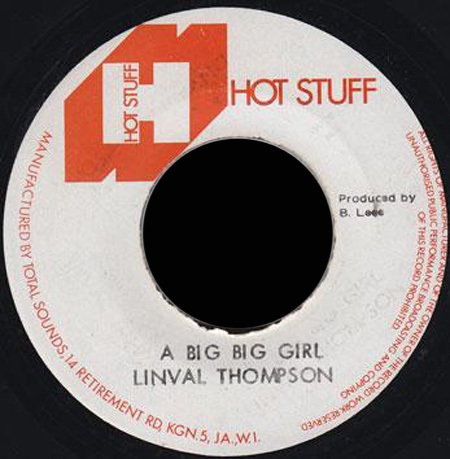 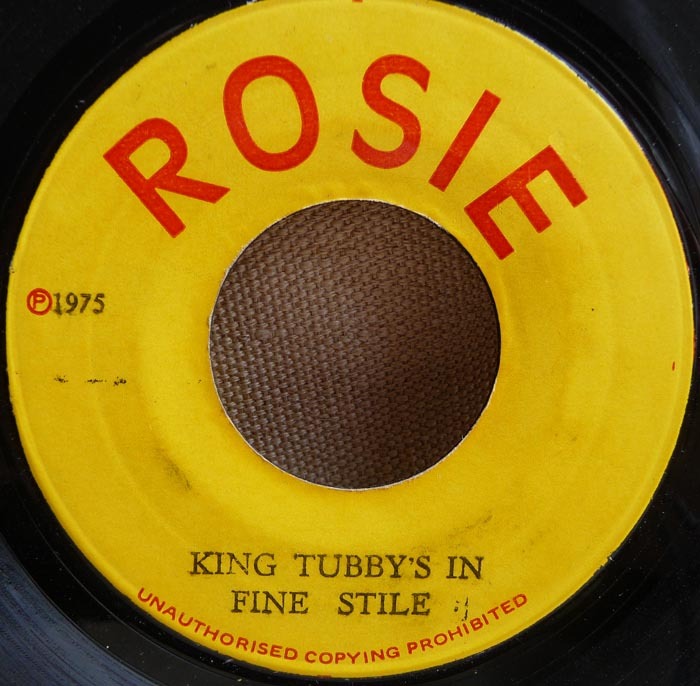 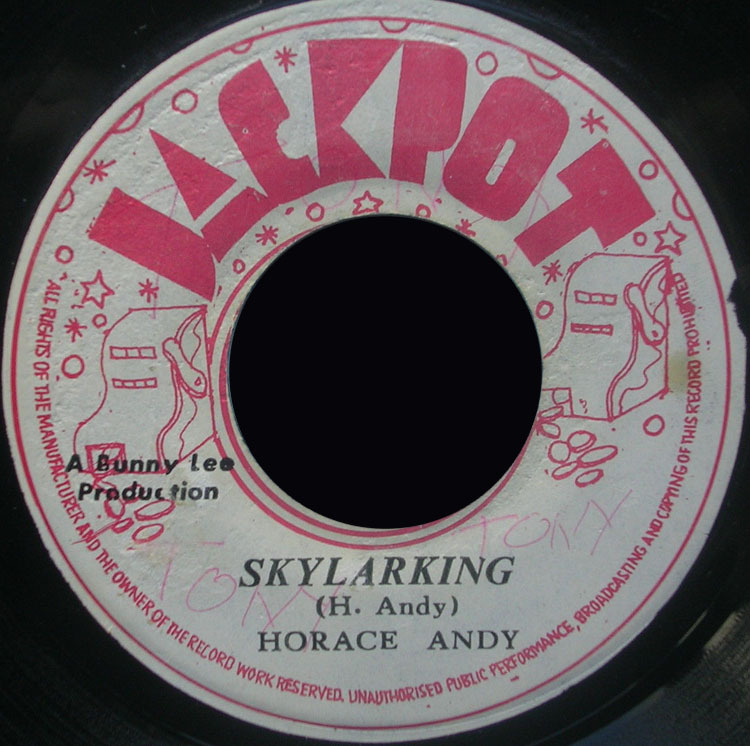 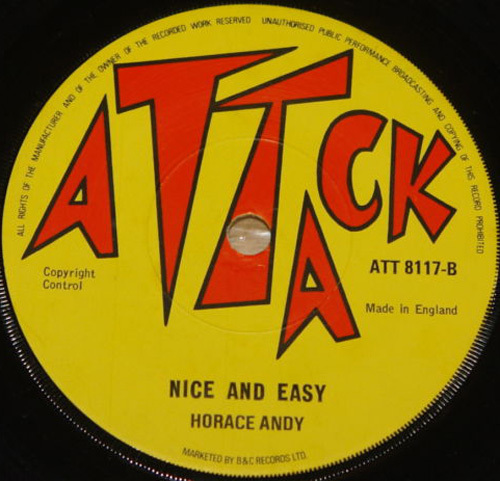 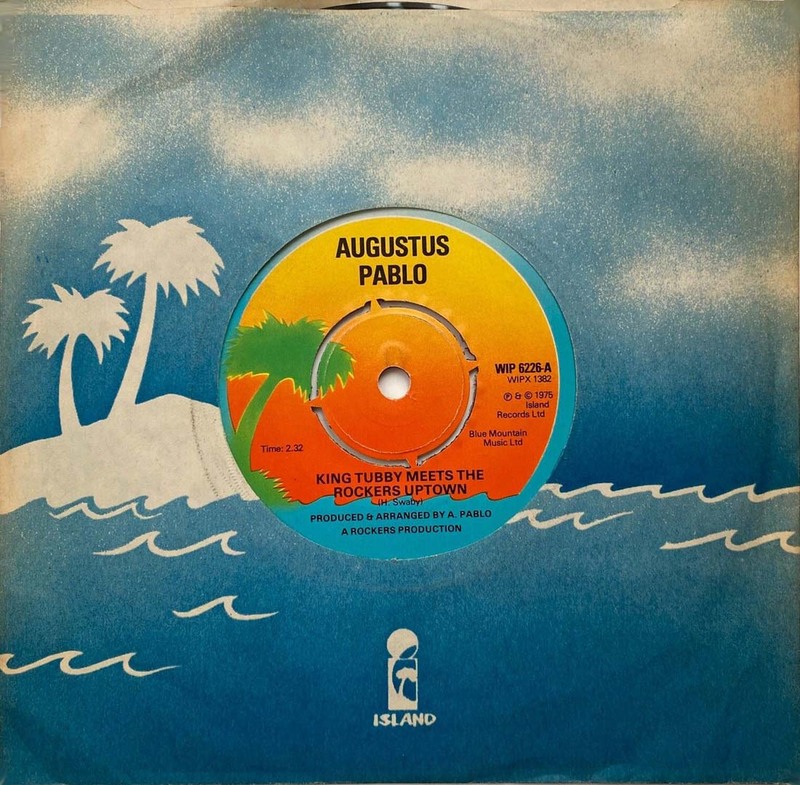 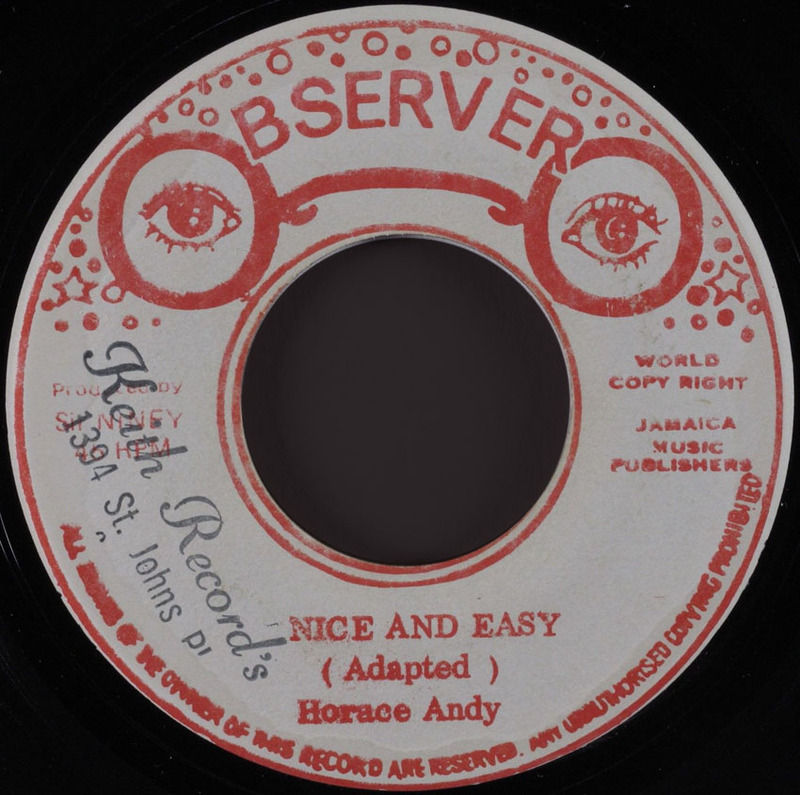 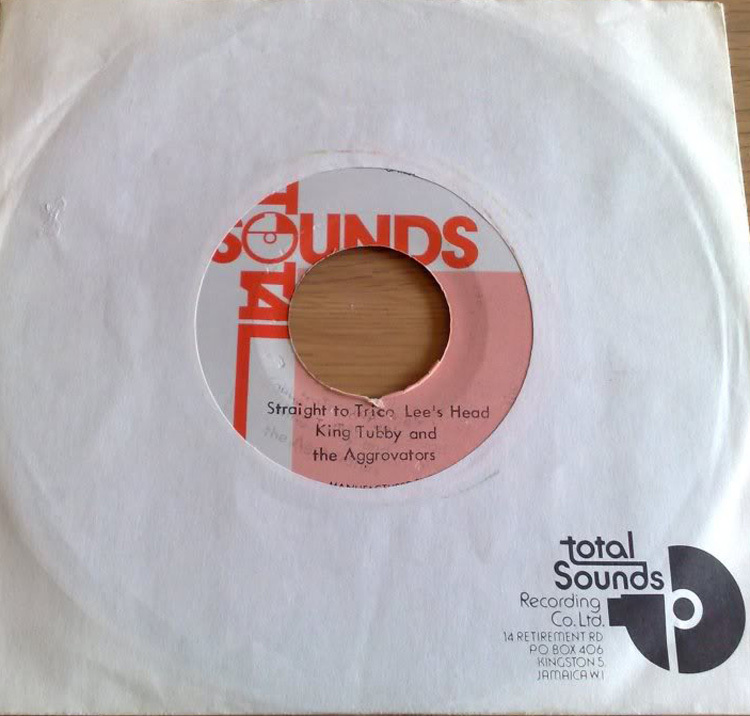 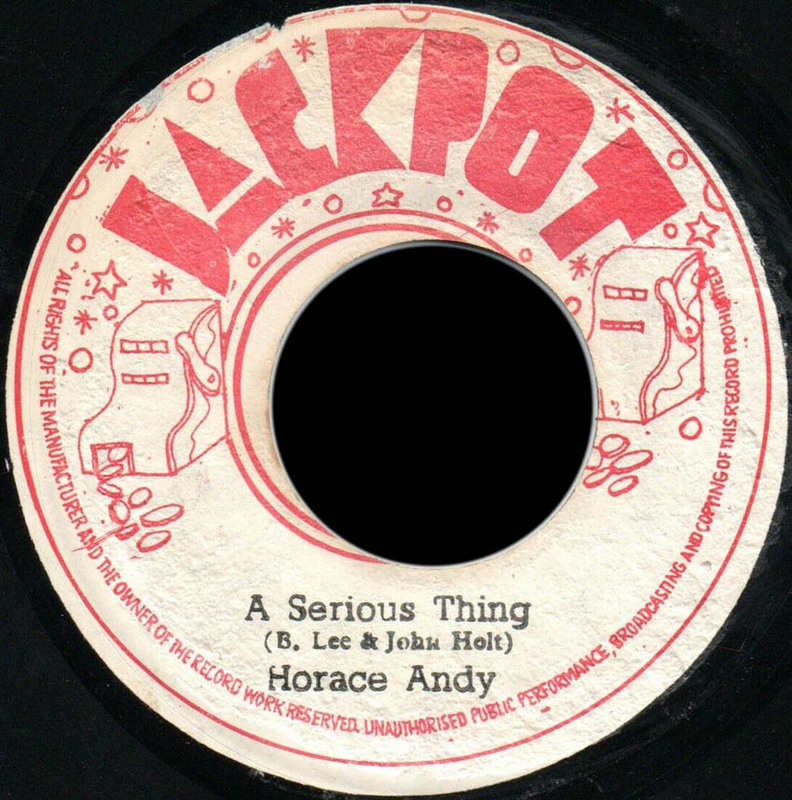 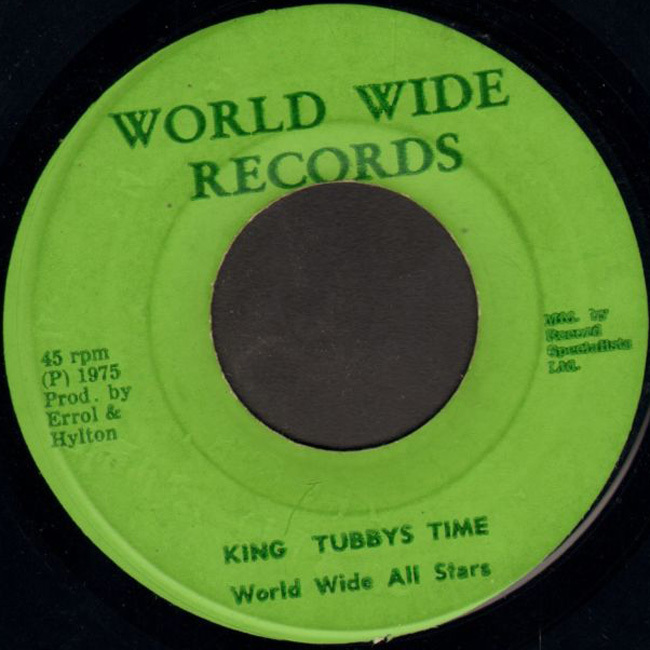 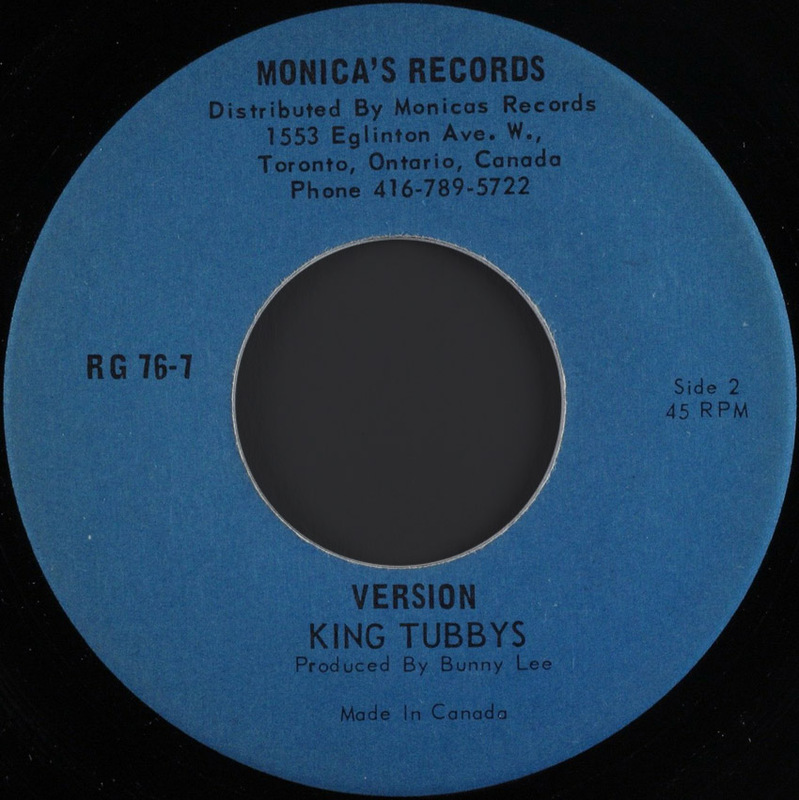 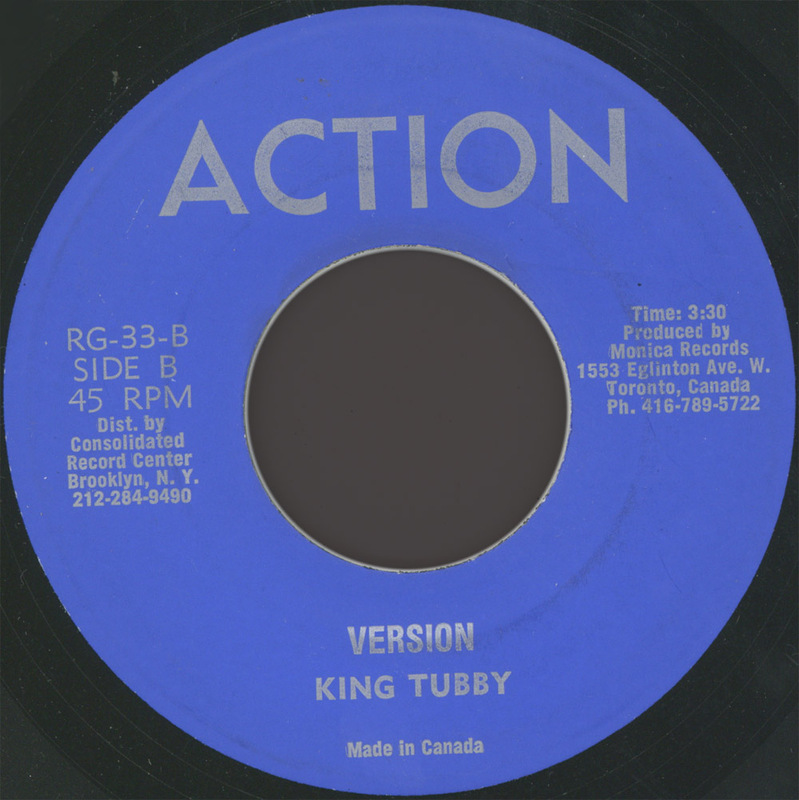 7" A Serious Thing Horace Andy Version King Tubby JA. 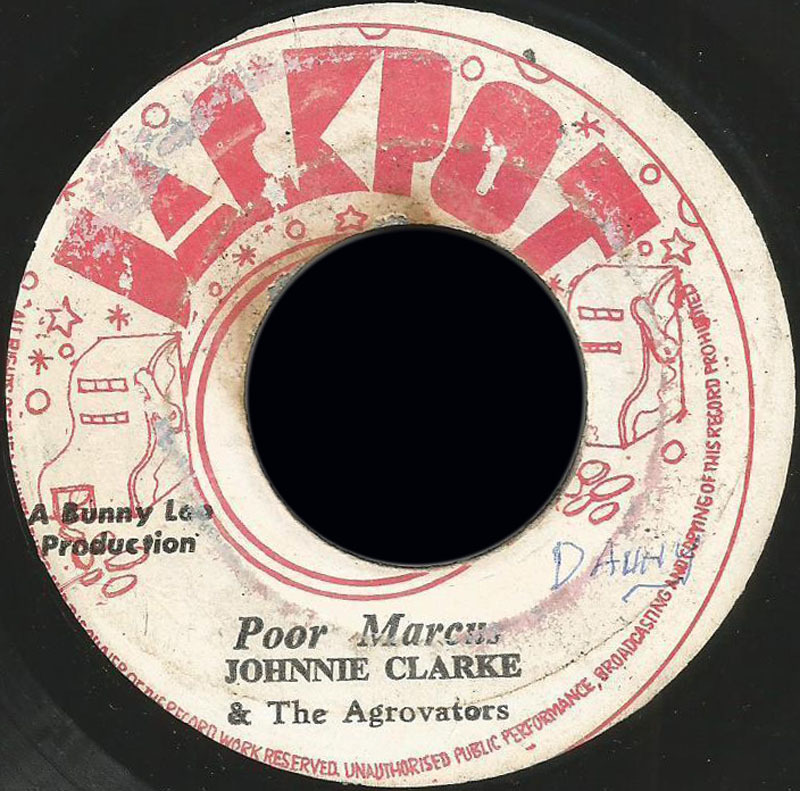 Jackpot Bunny Lee Pr. 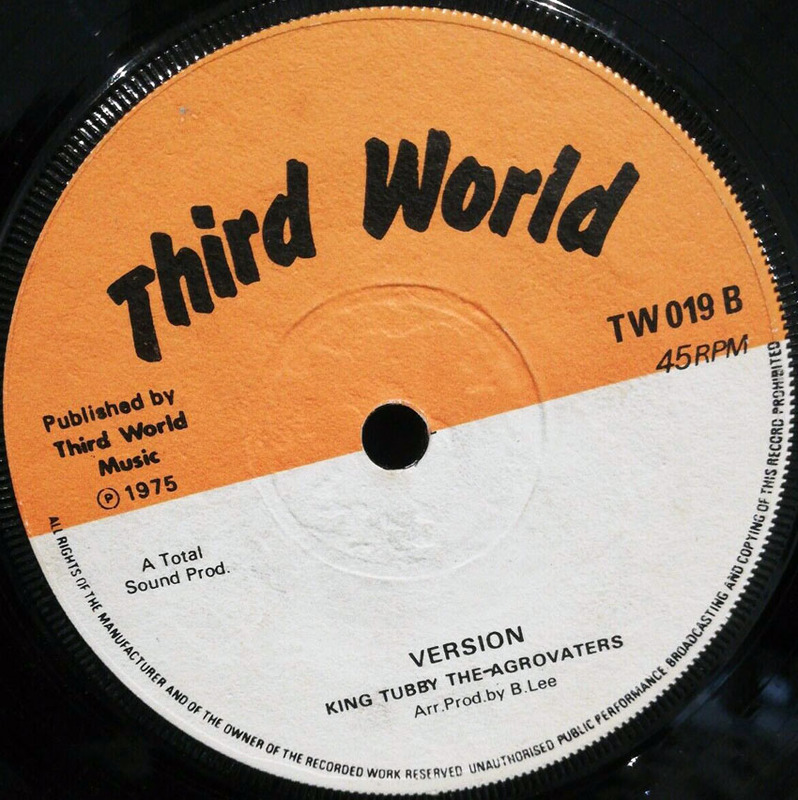 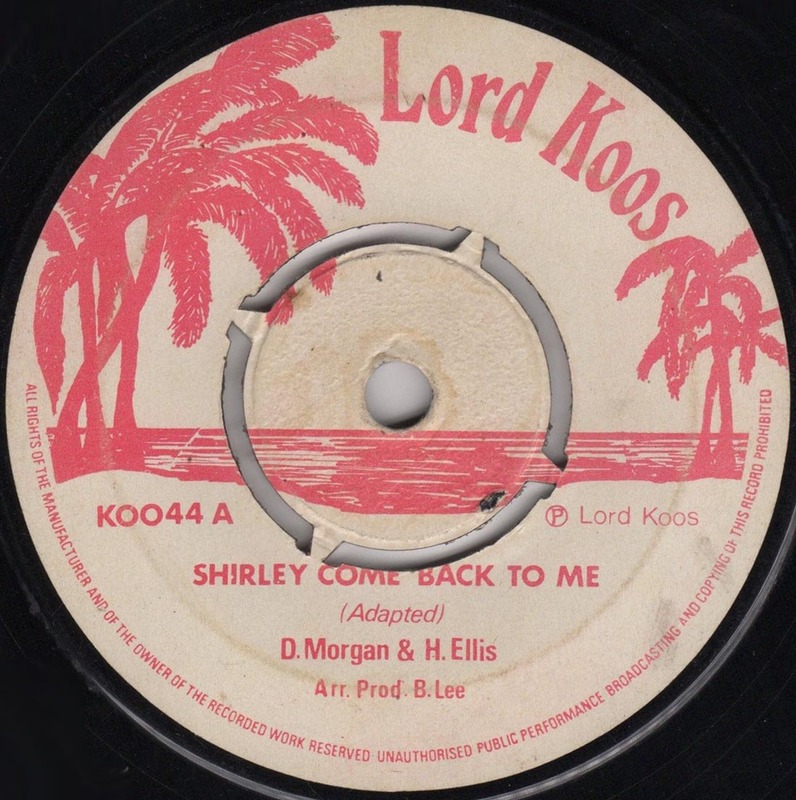 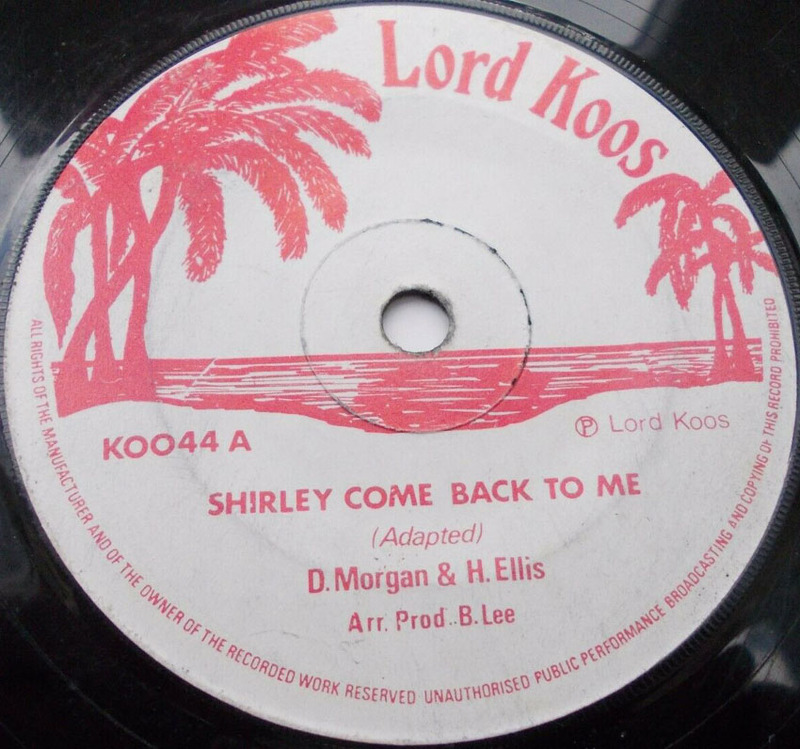 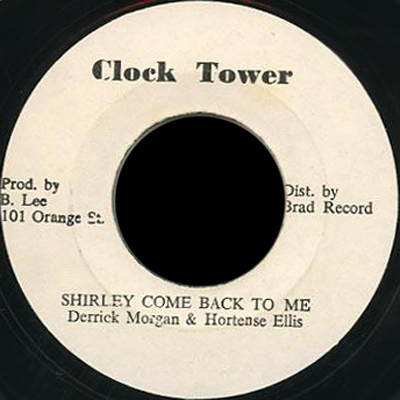 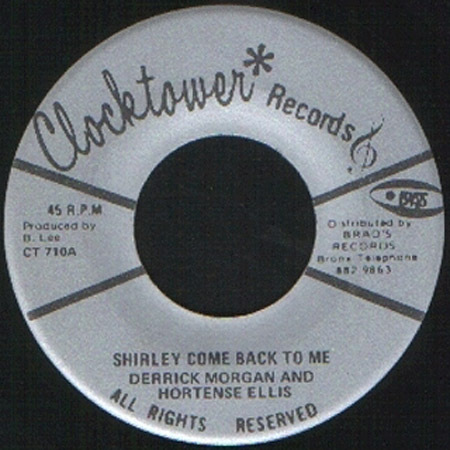 1975 7" Shirley Come Back To Me Derrick Morgan & H. Ellis A Good Version King Tubbys & The Aggravators UK. 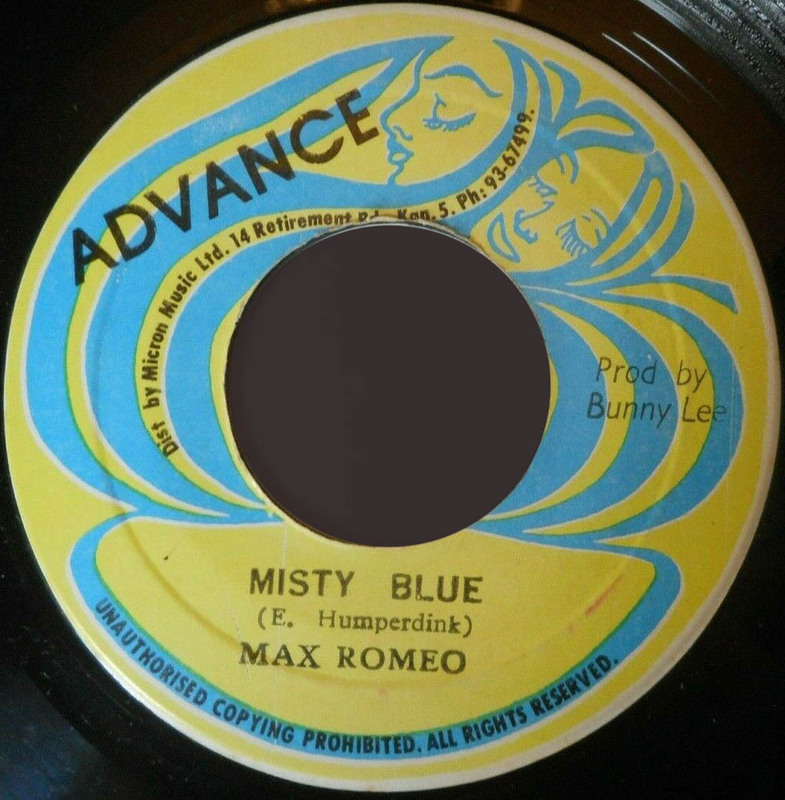 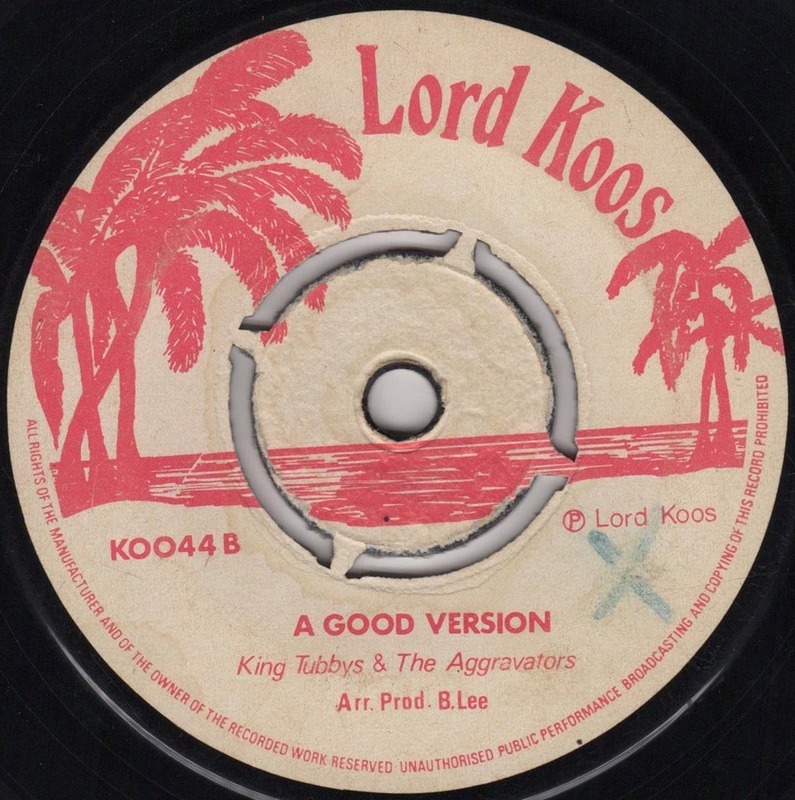 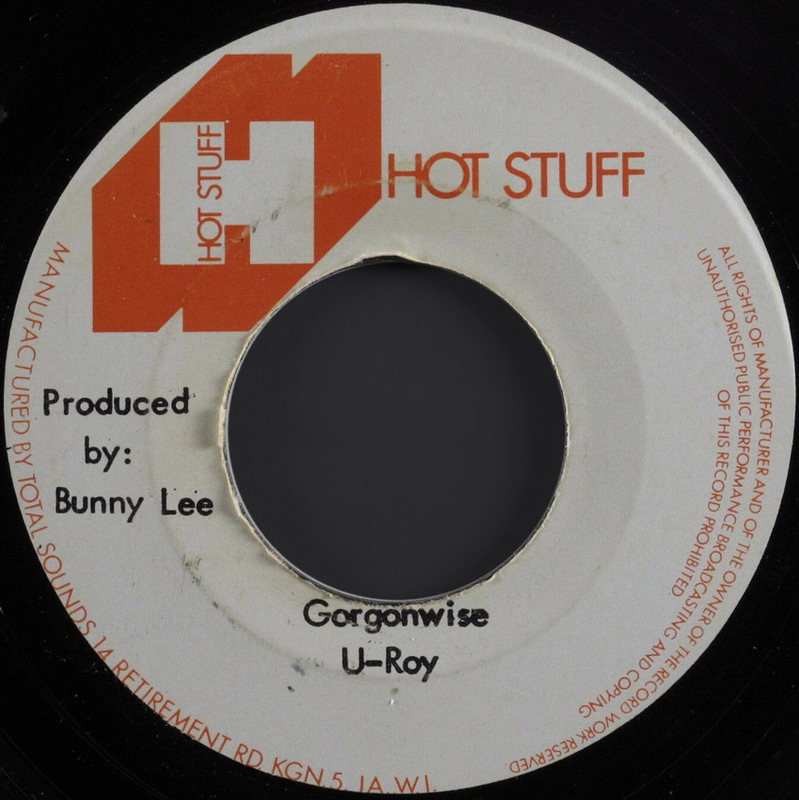 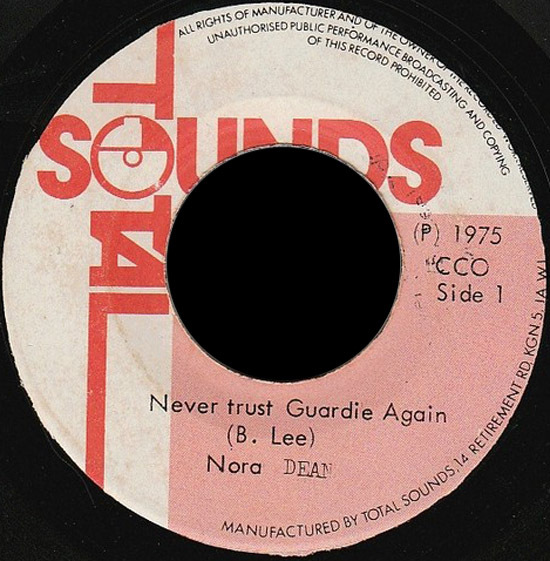 Lord Koos KOO44 Bunny Lee Pr. 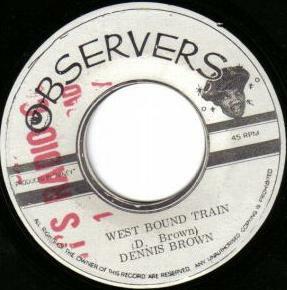 197? 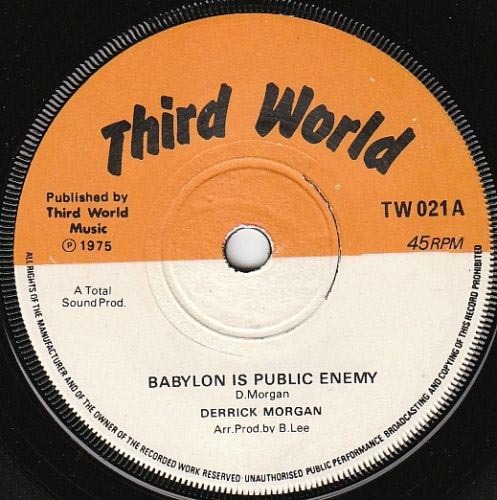 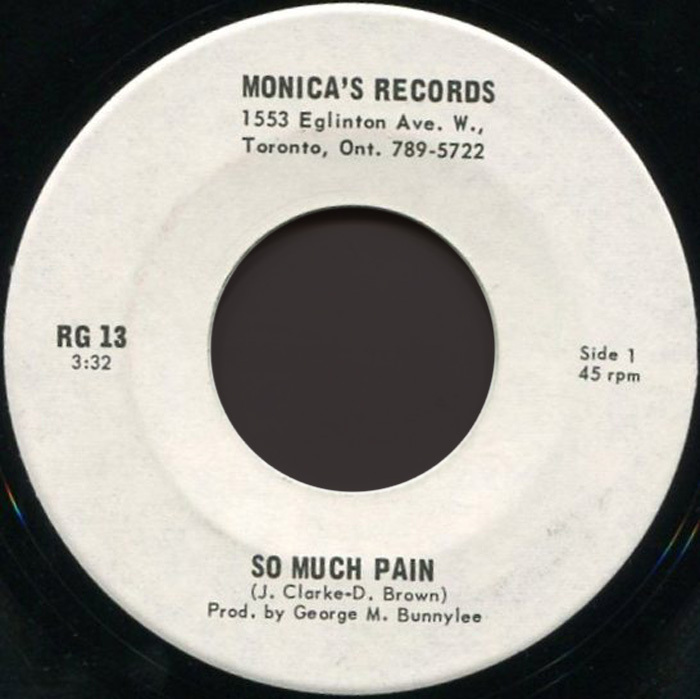 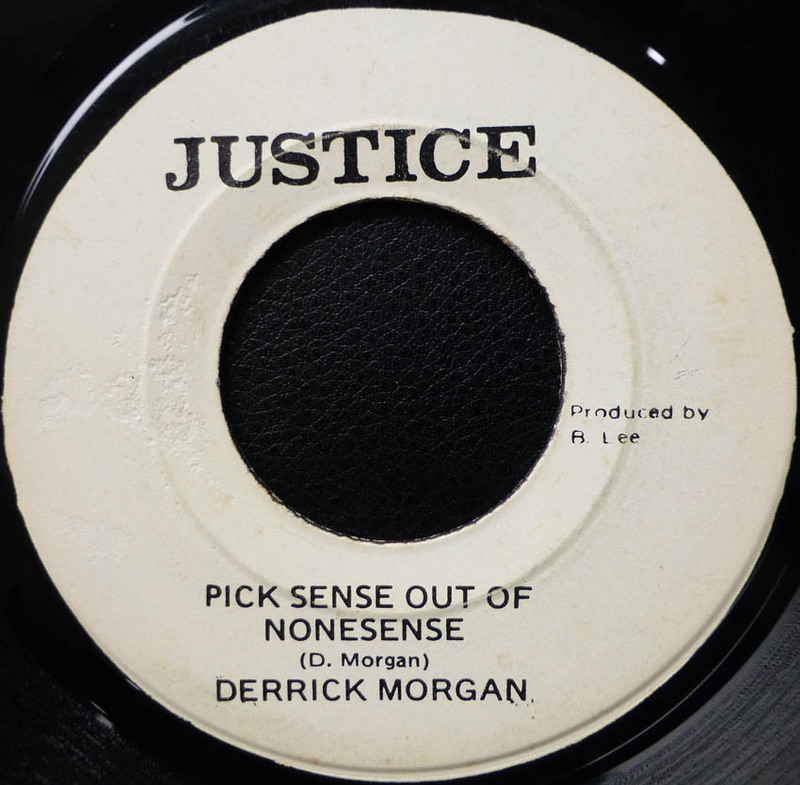 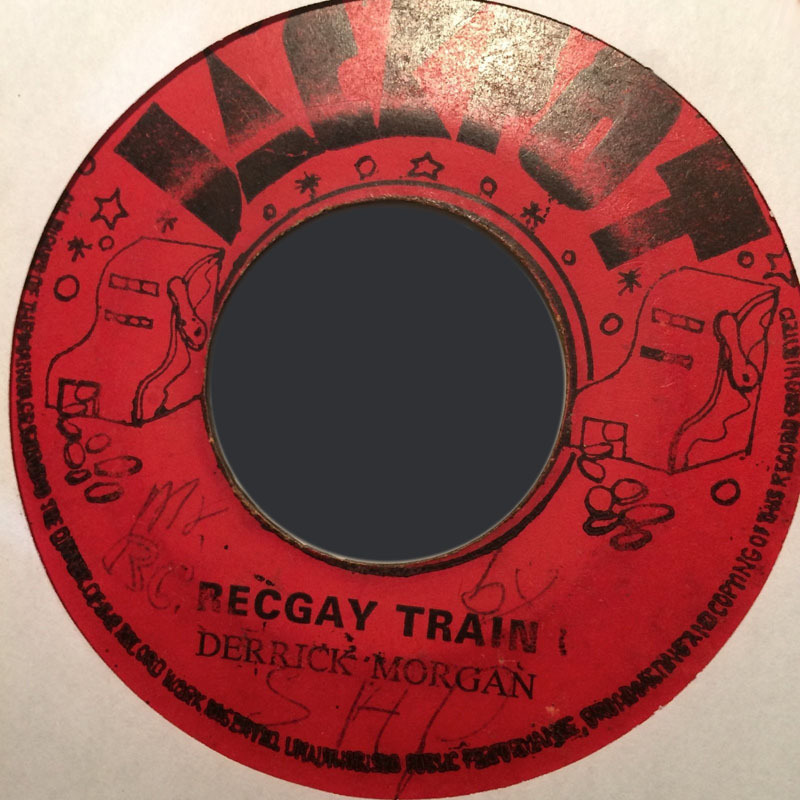 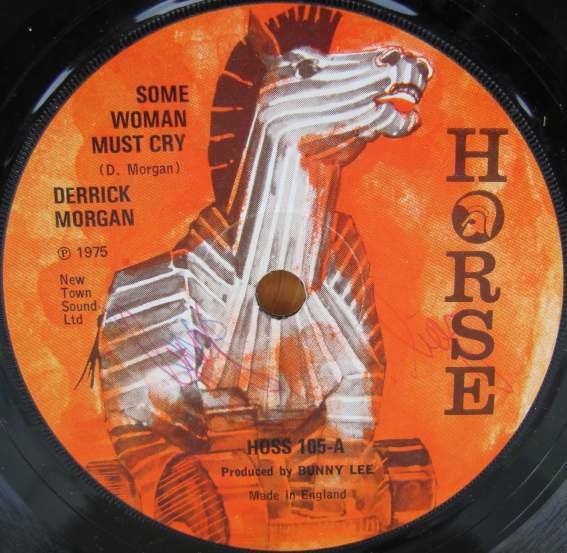 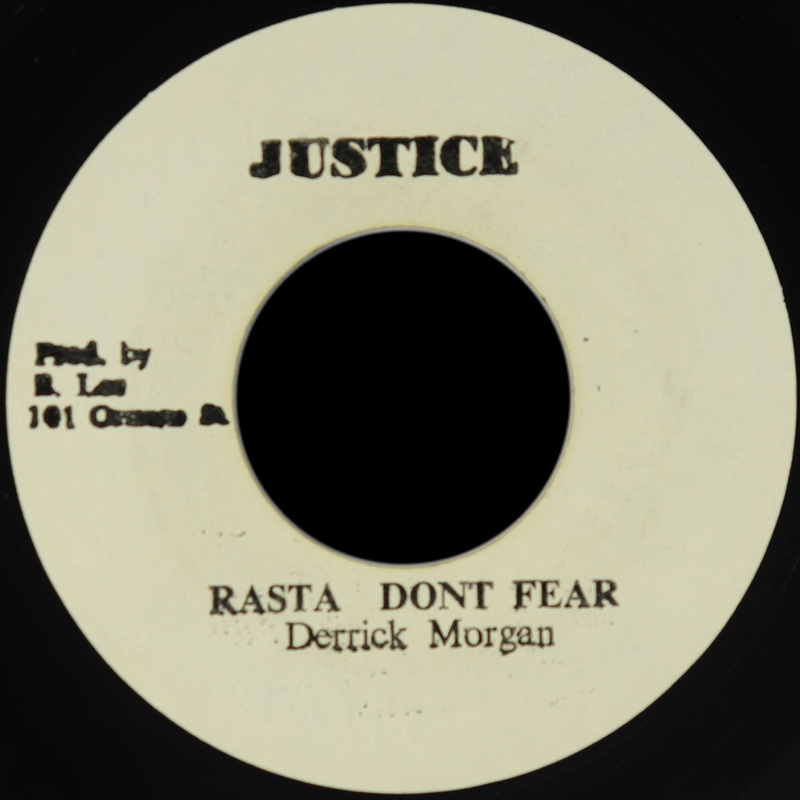 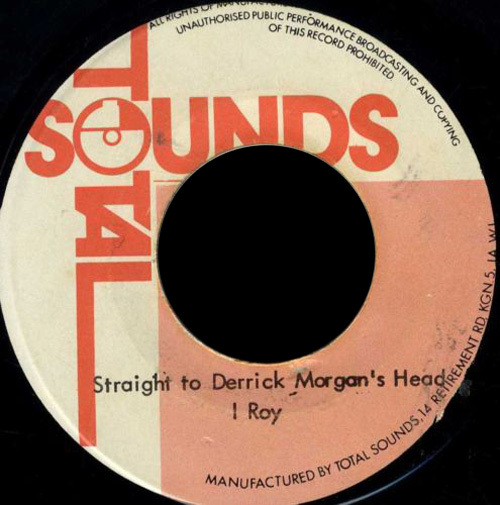 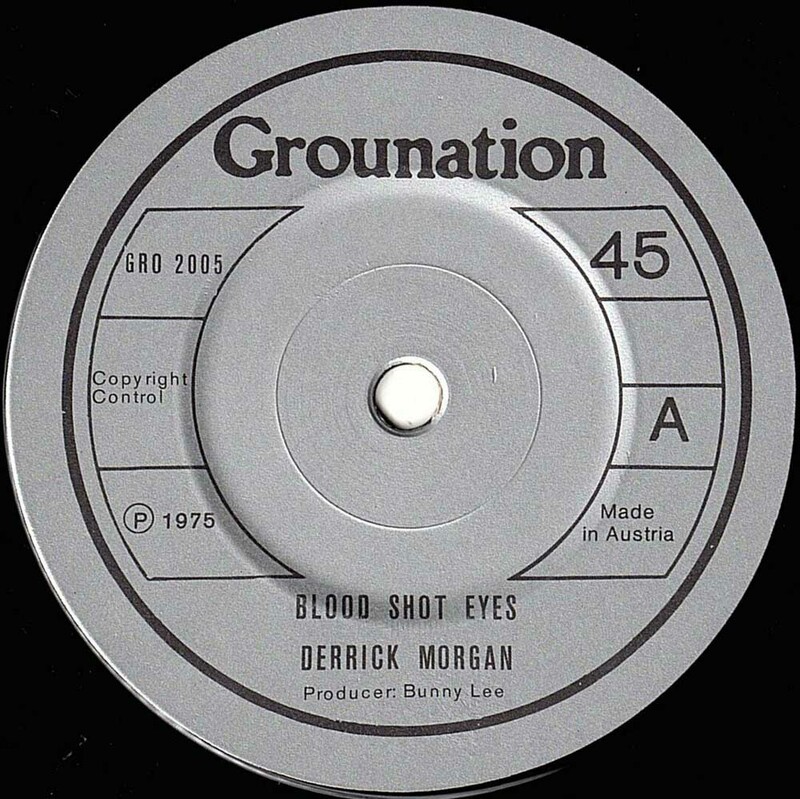 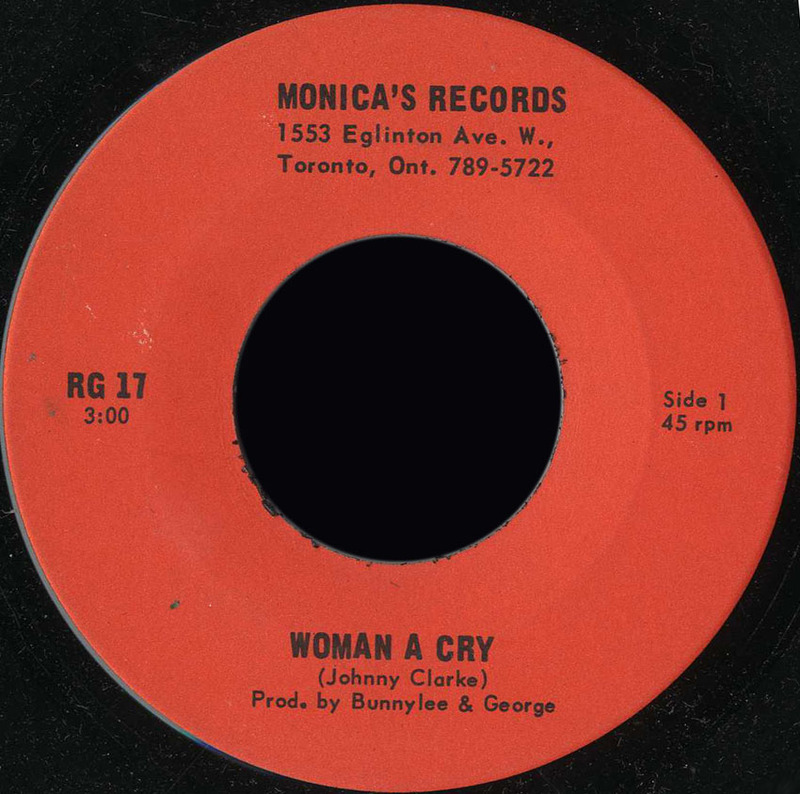 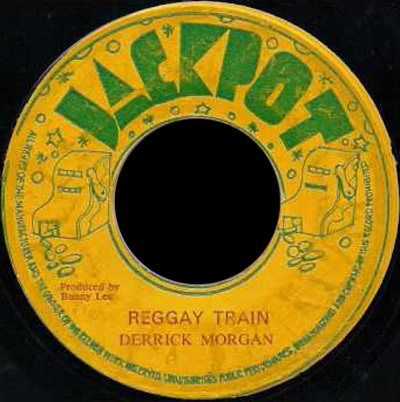 7" Some Woman Must Cry Derrick Morgan Crying Version King Tubby And Agrovators JA. 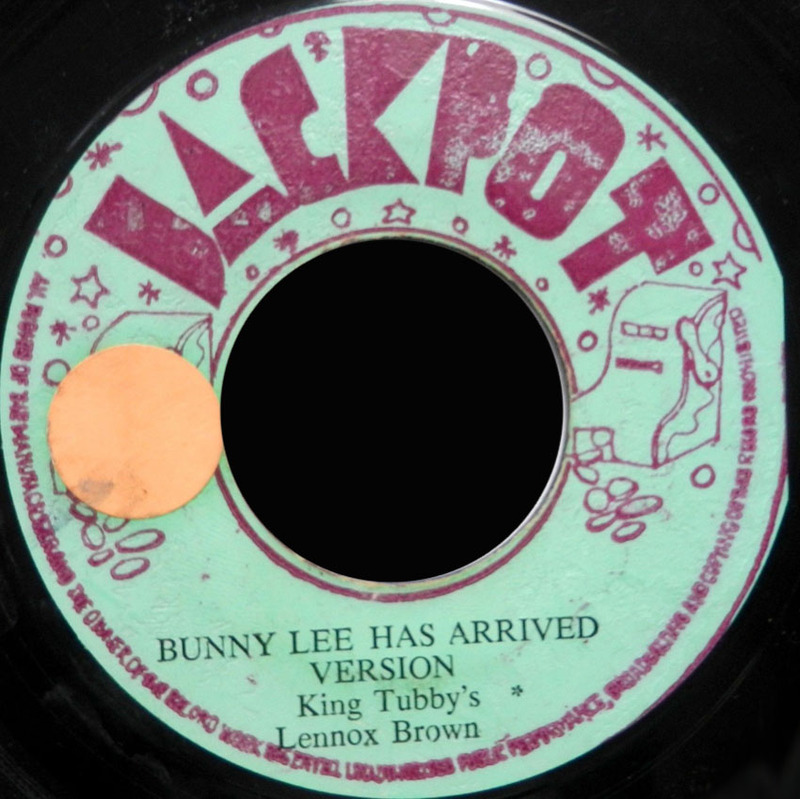 Attack Bunny Lee Pr. 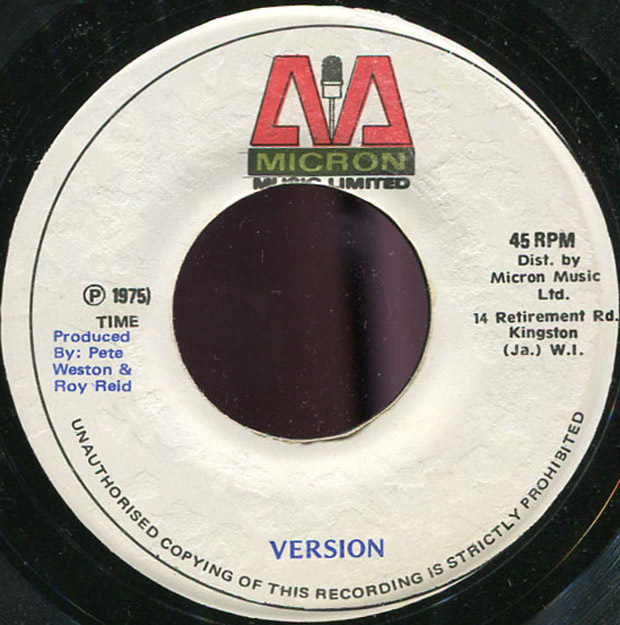 197? 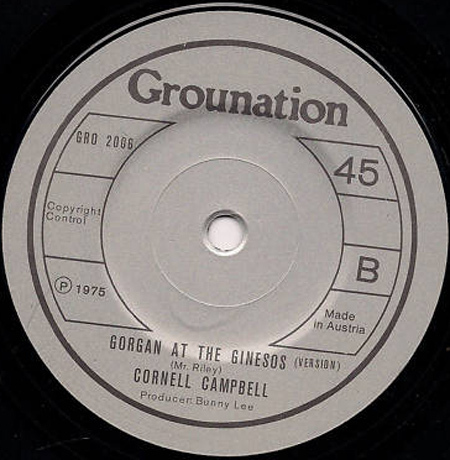 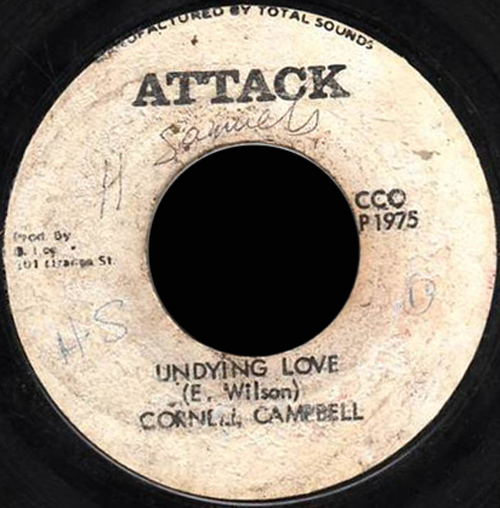 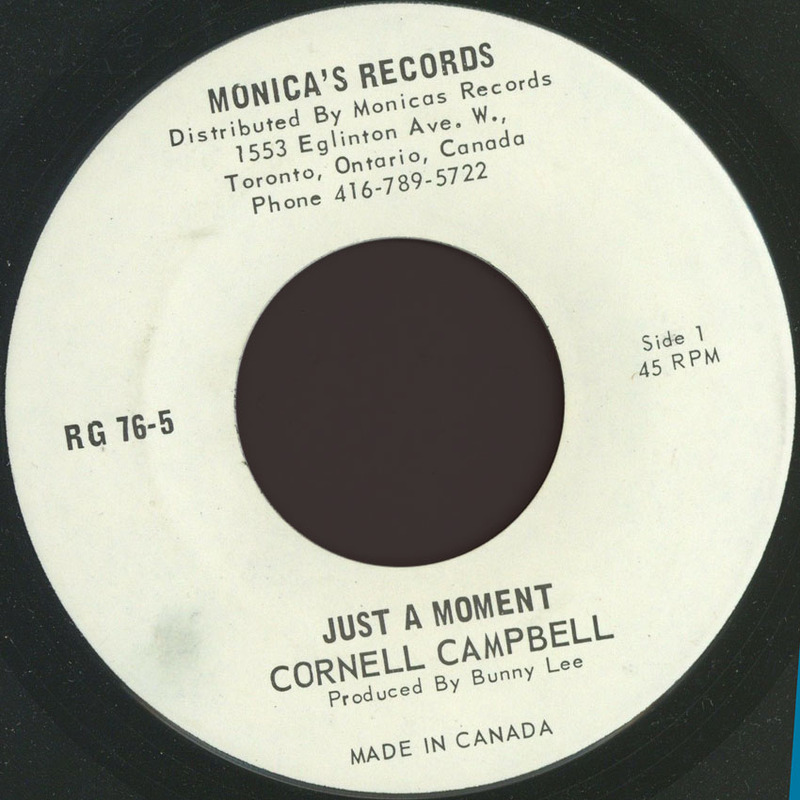 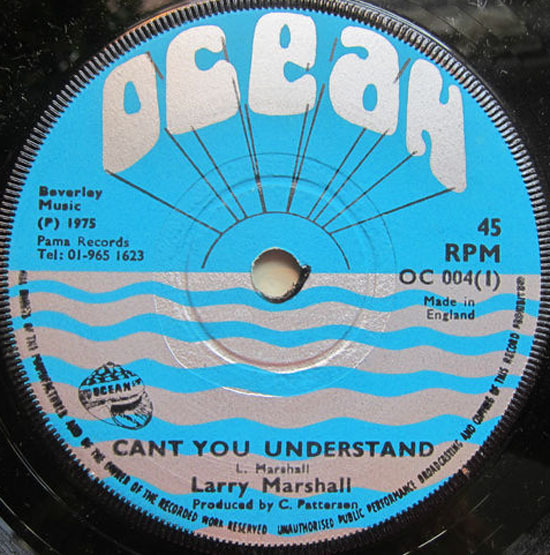 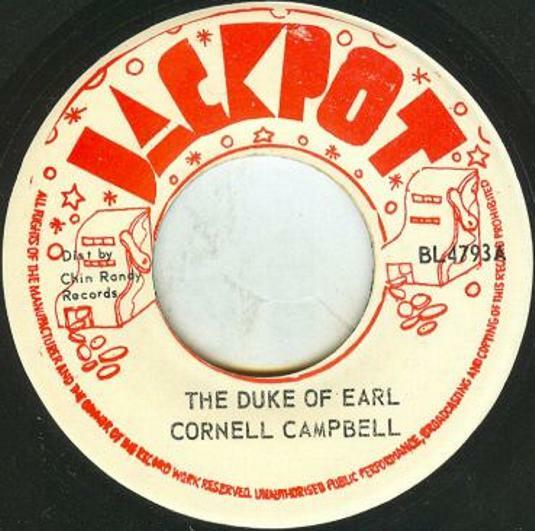 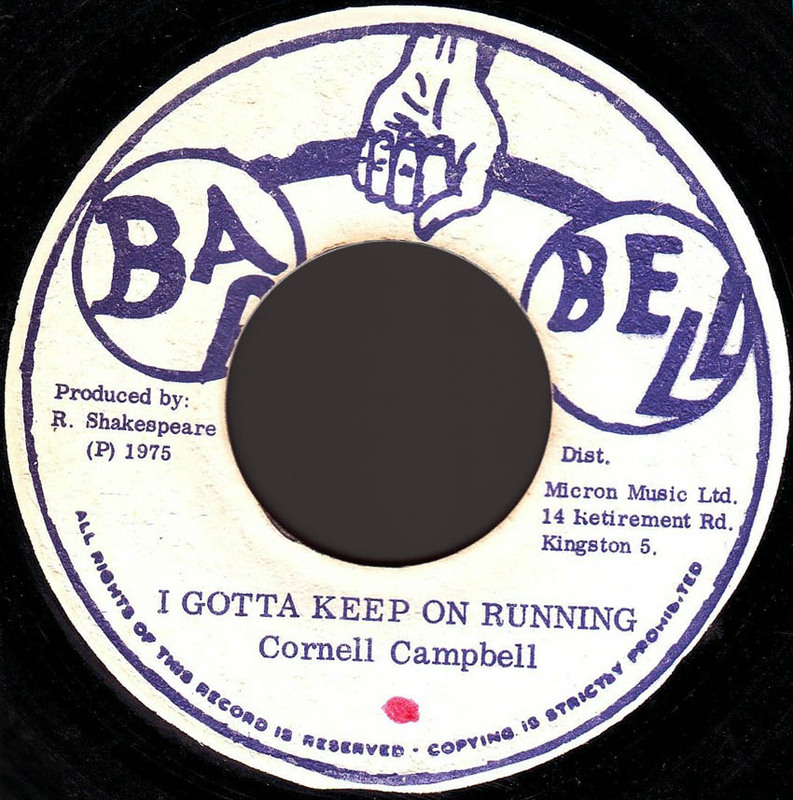 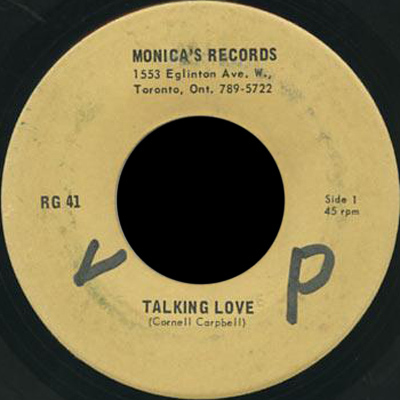 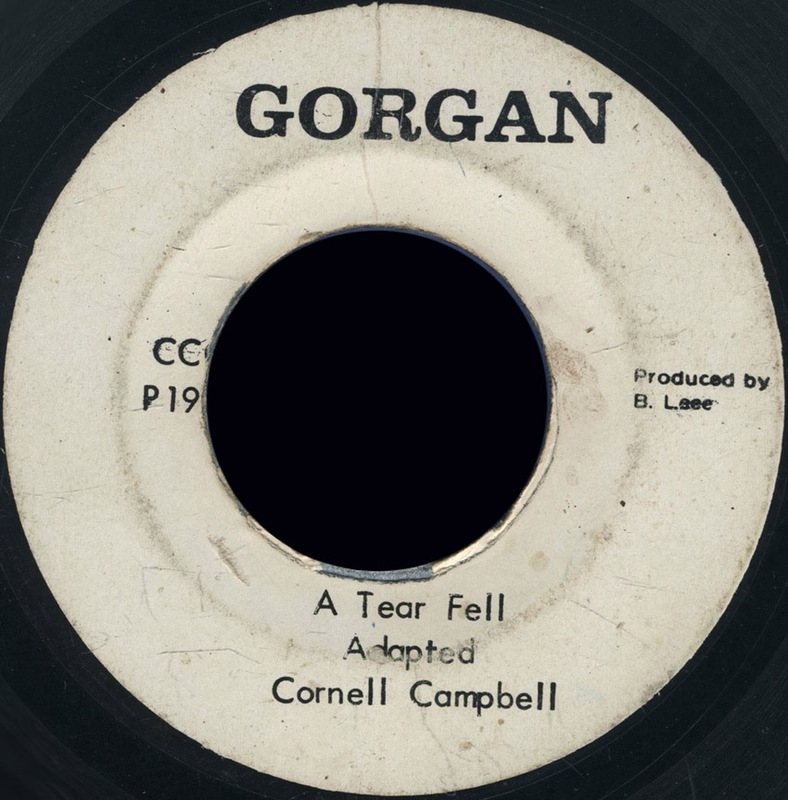 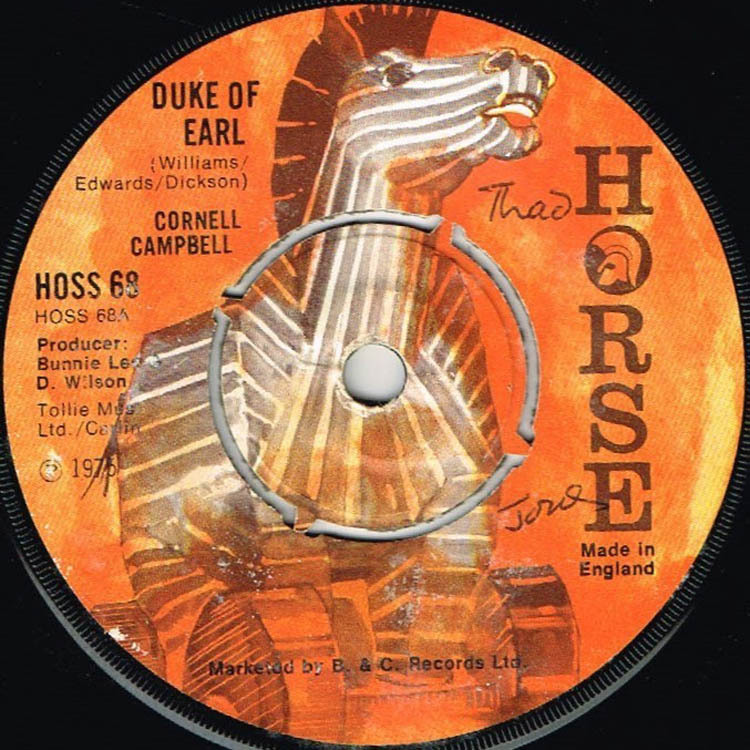 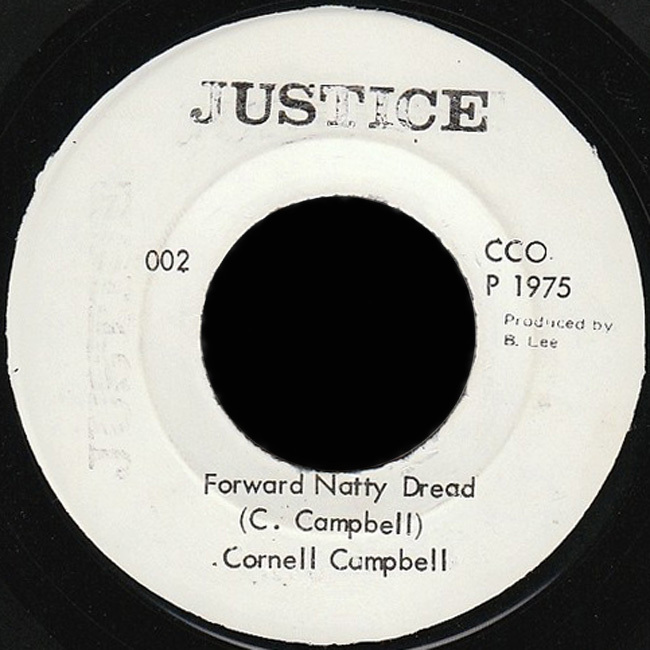 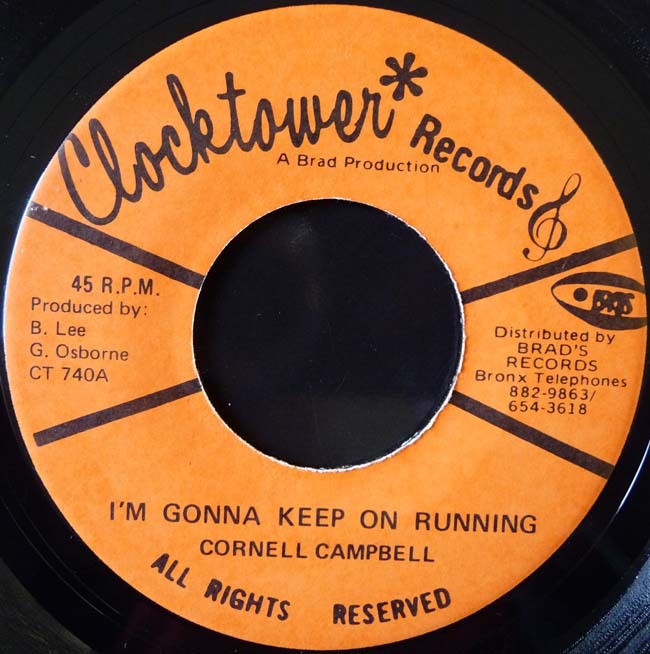 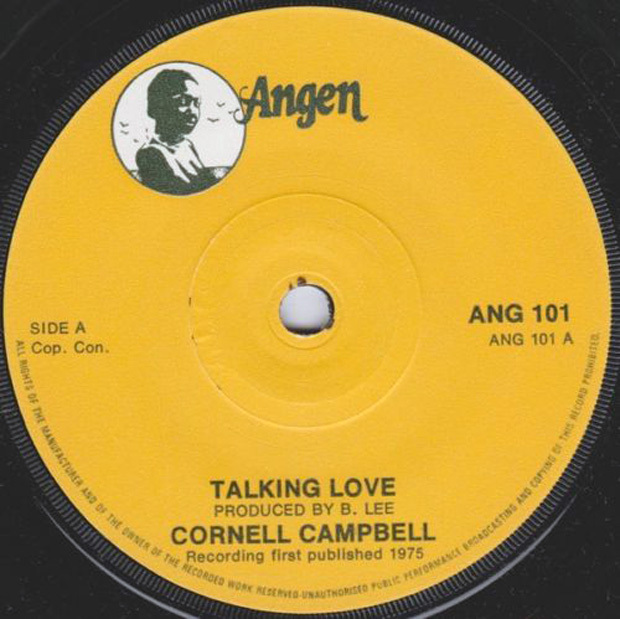 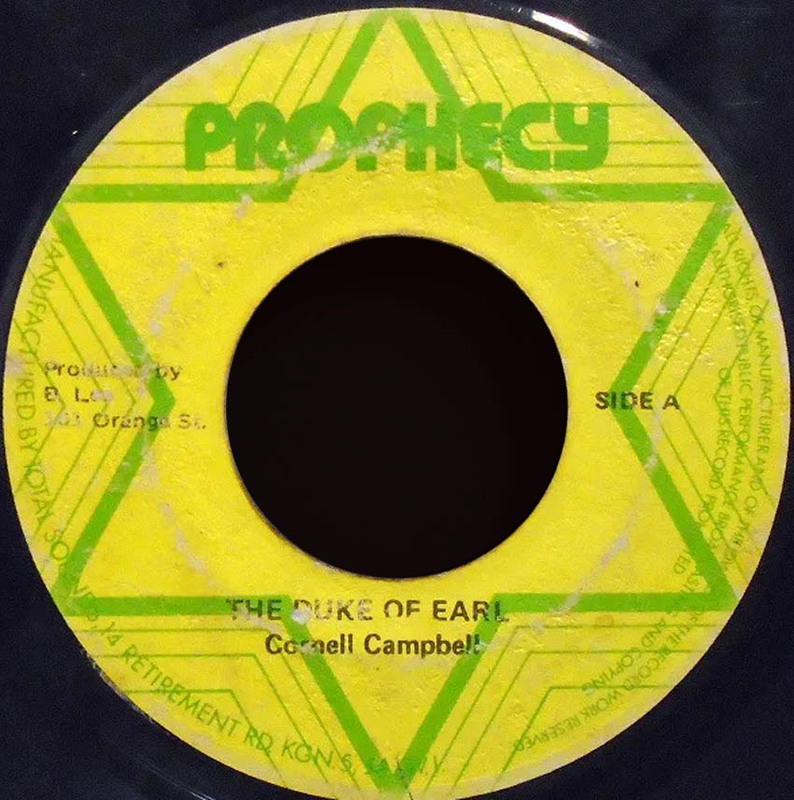 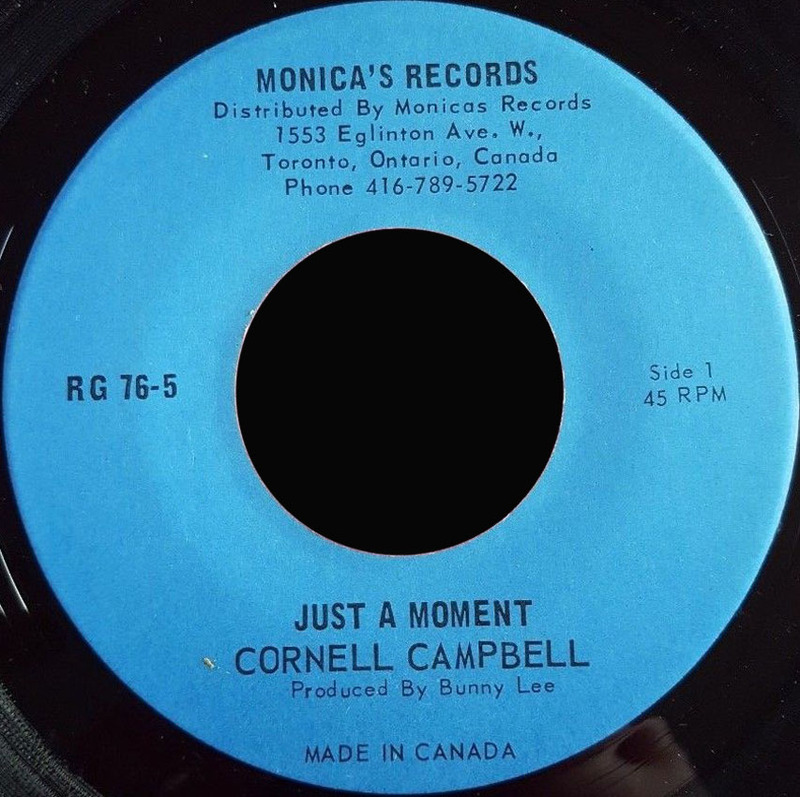 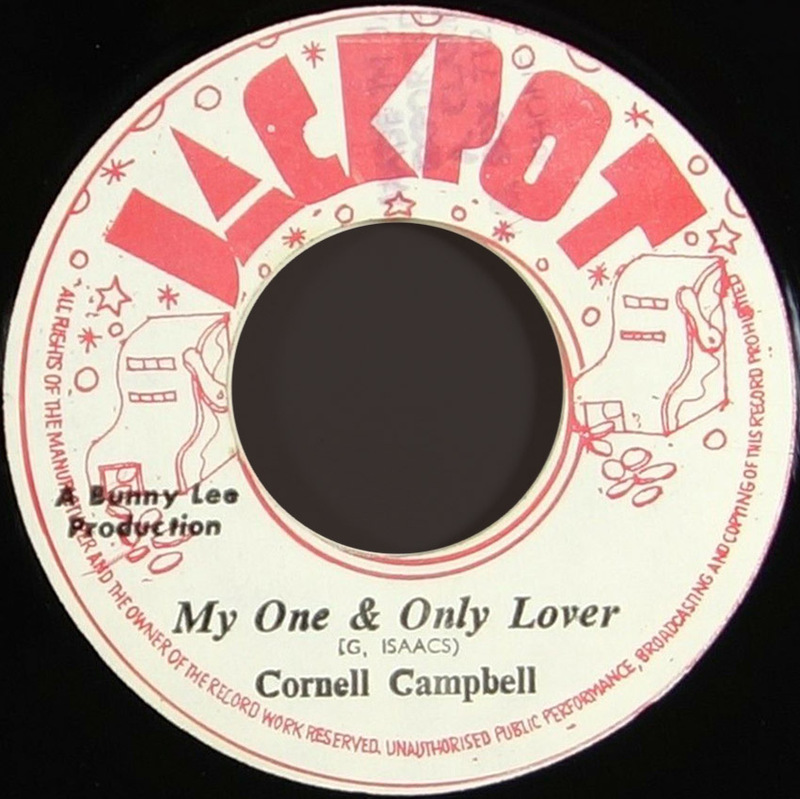 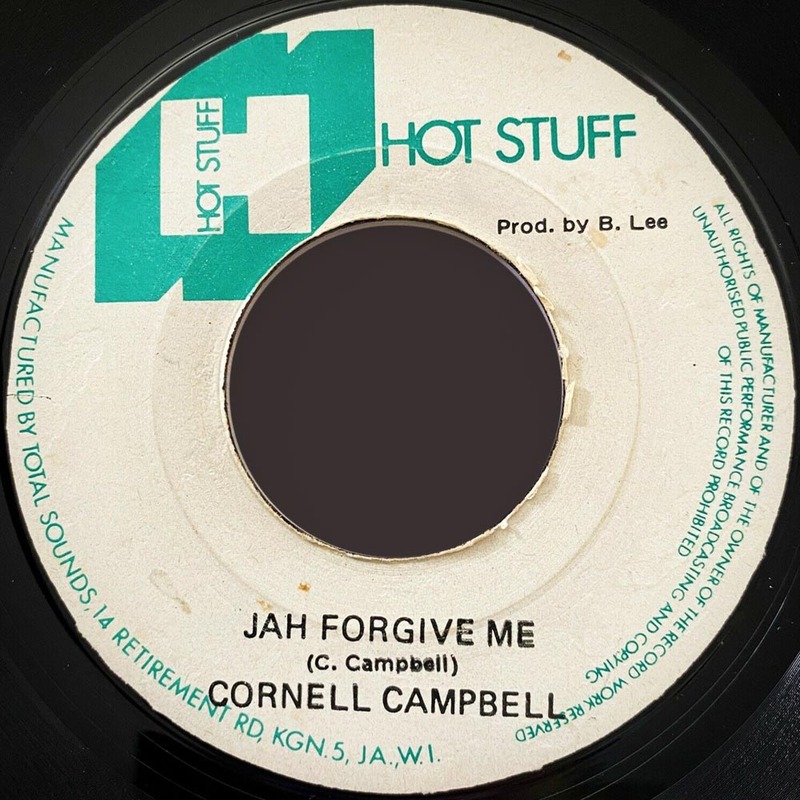 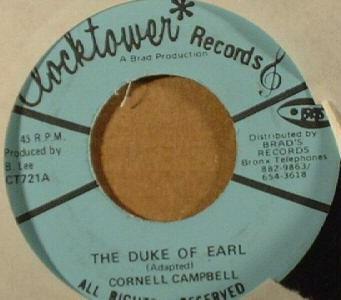 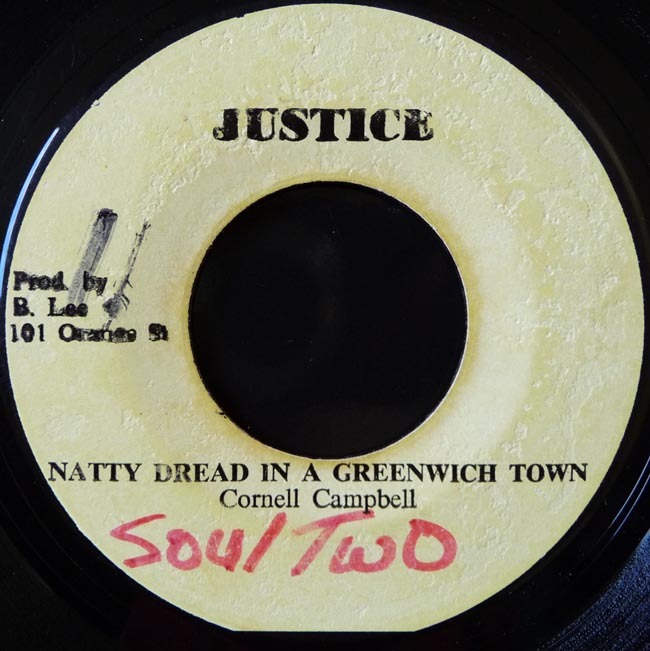 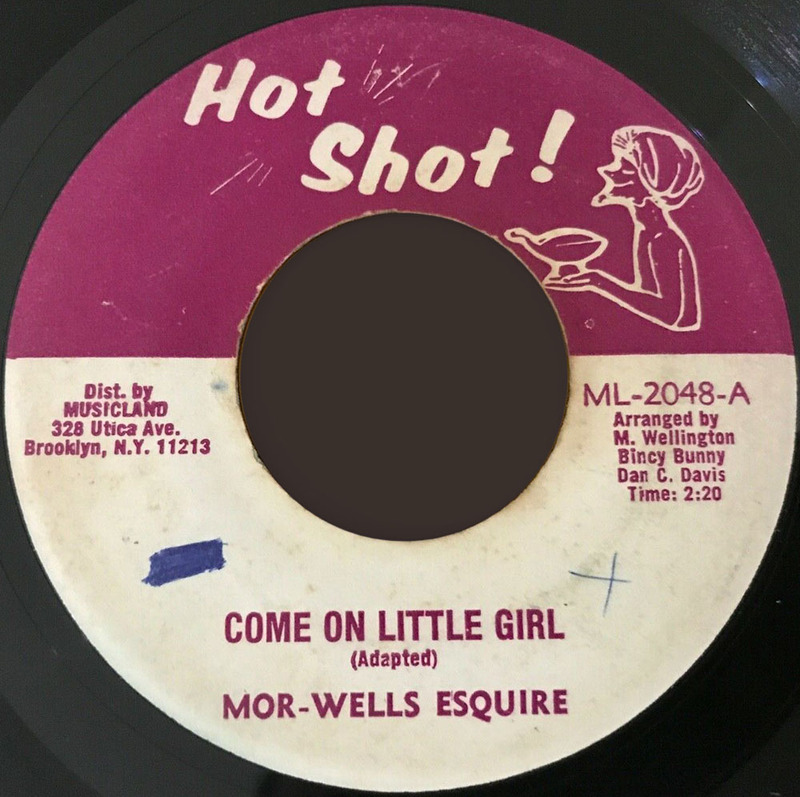 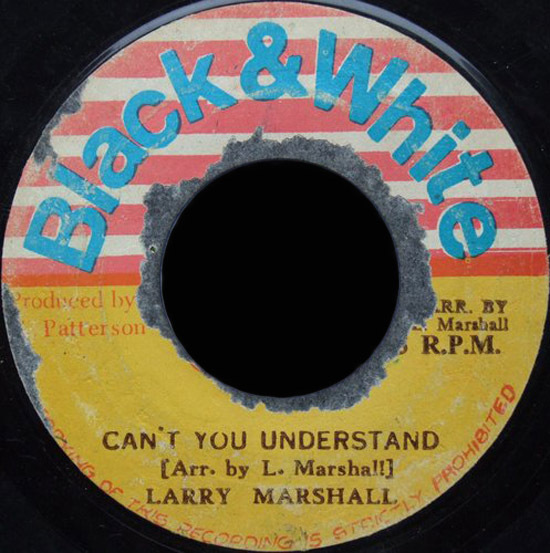 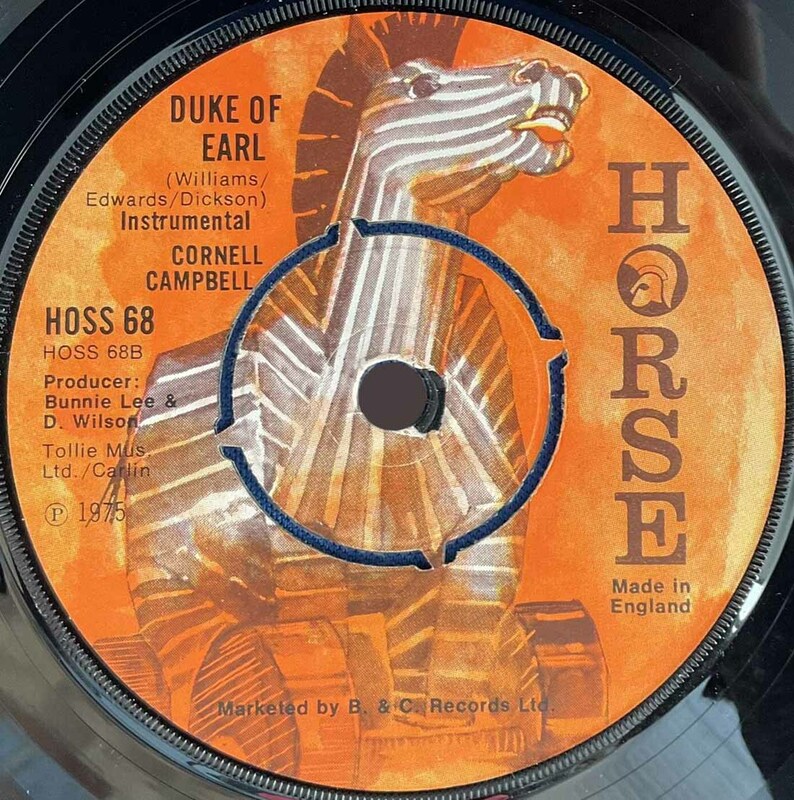 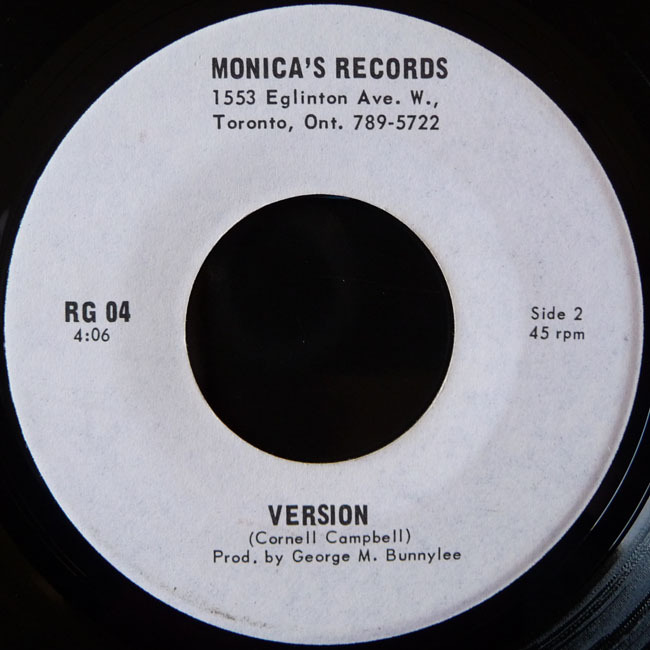 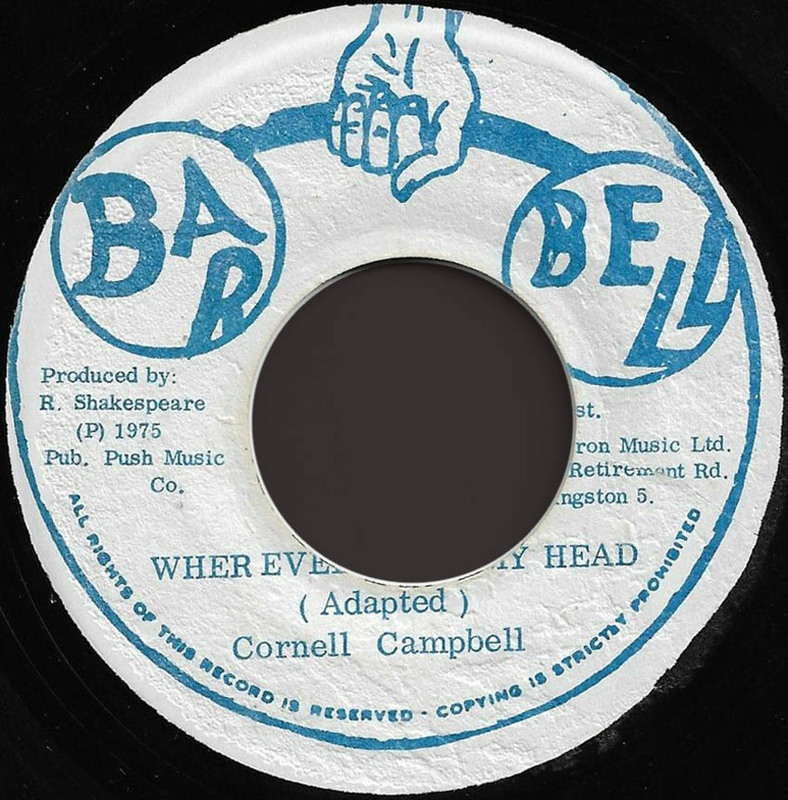 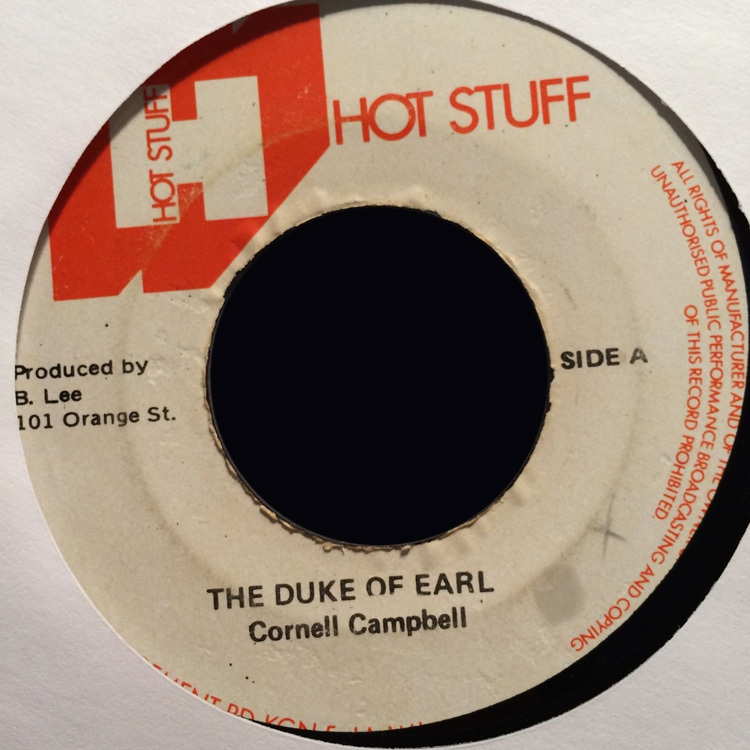 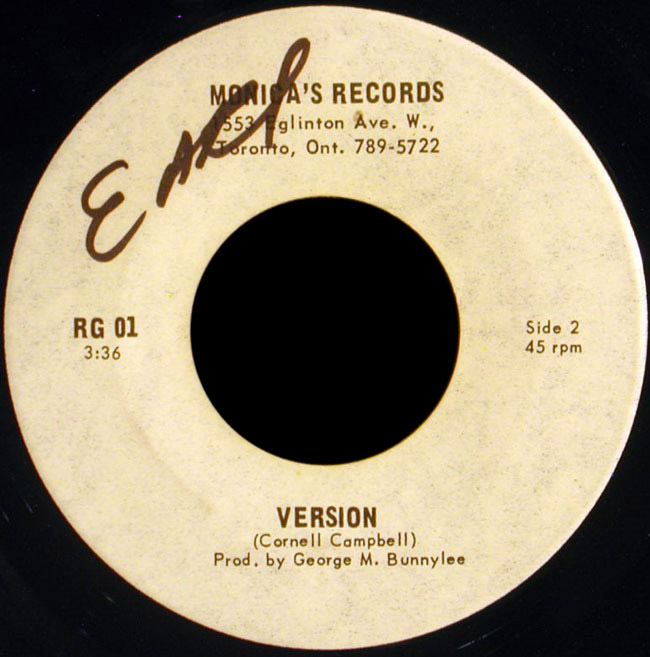 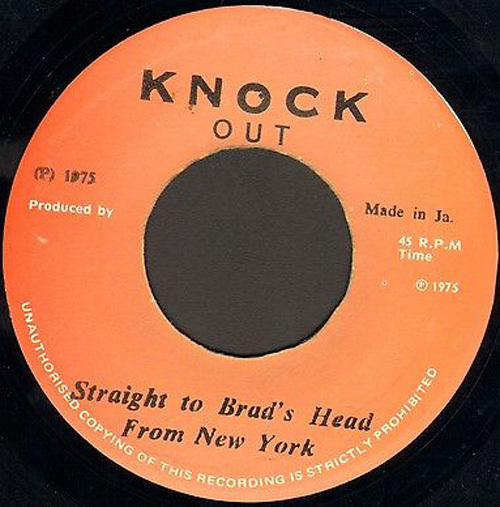 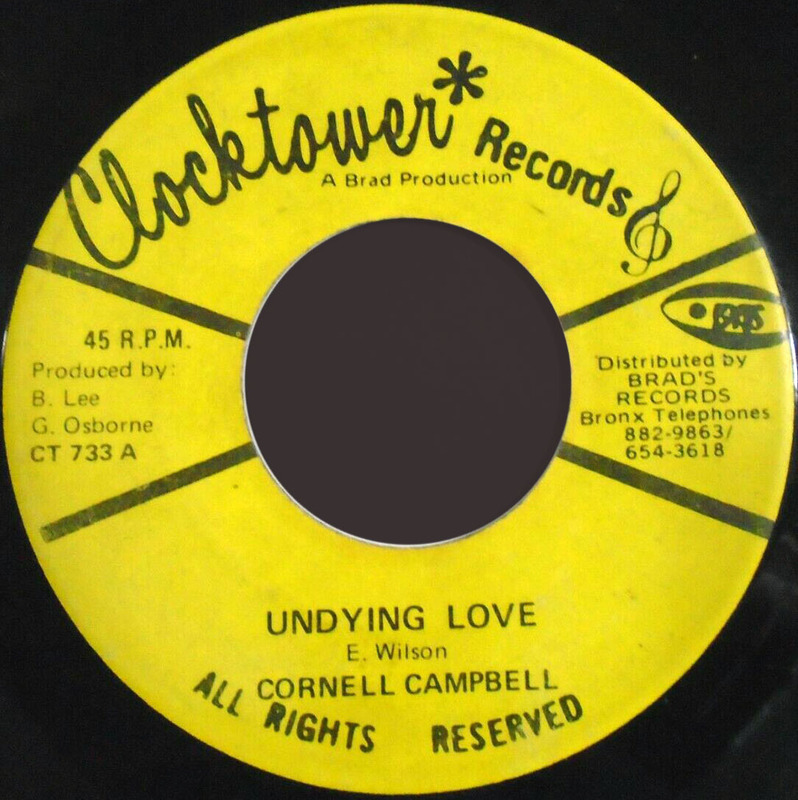 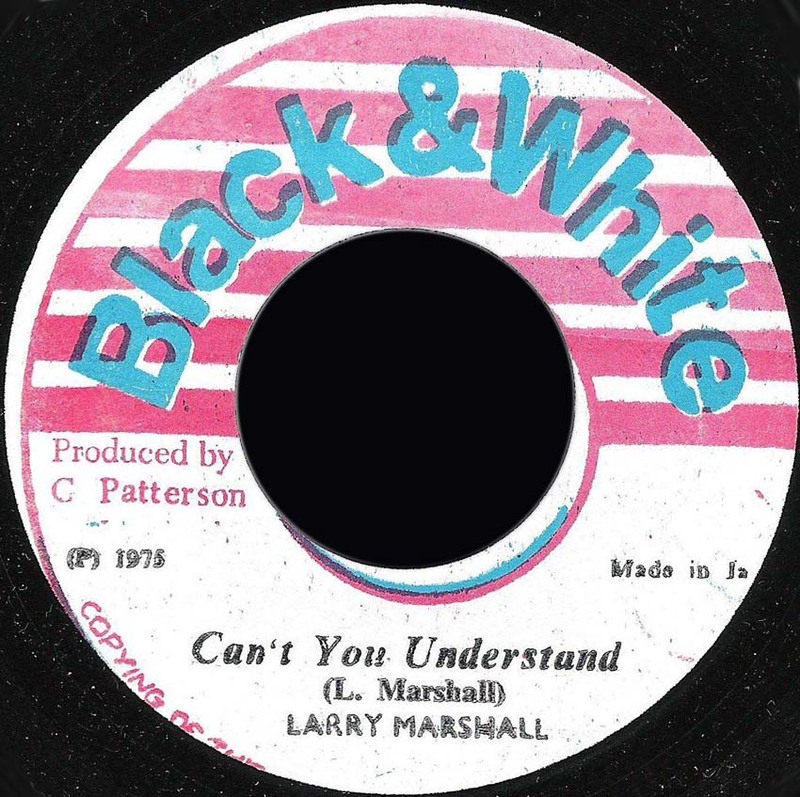 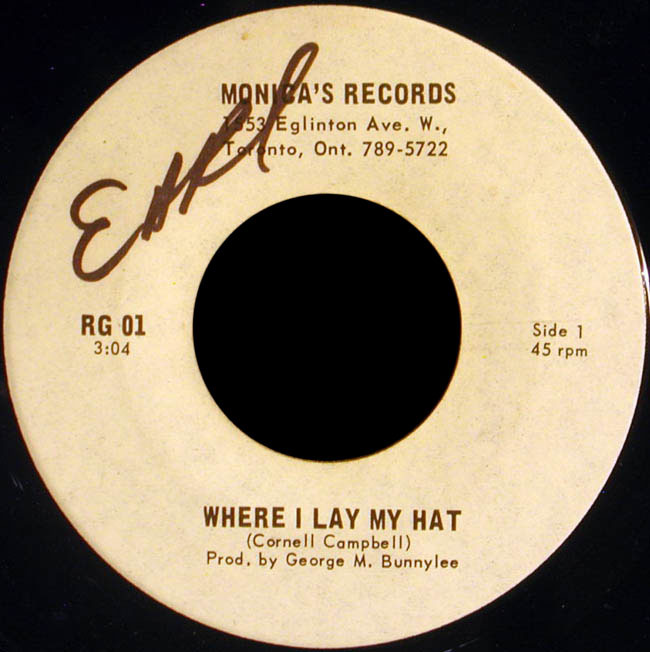 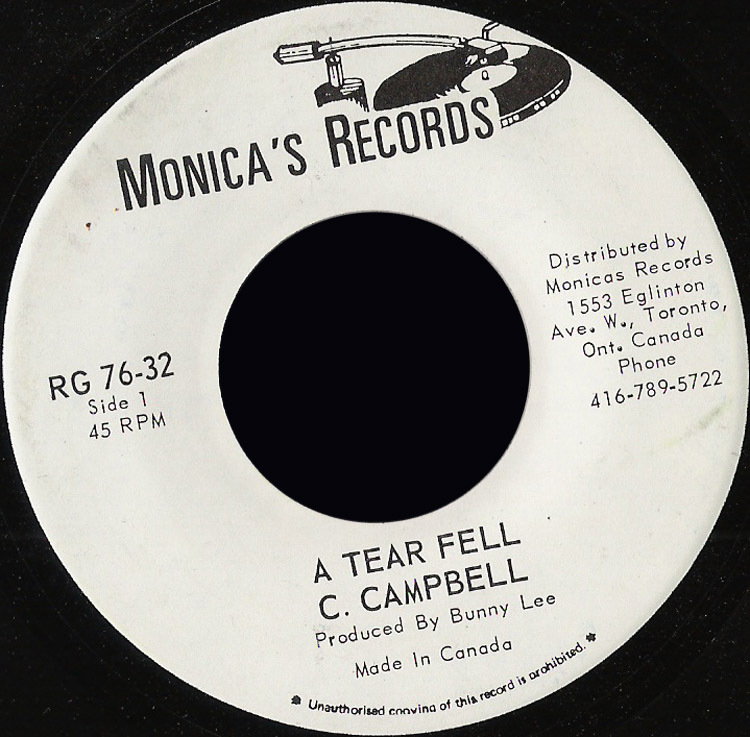 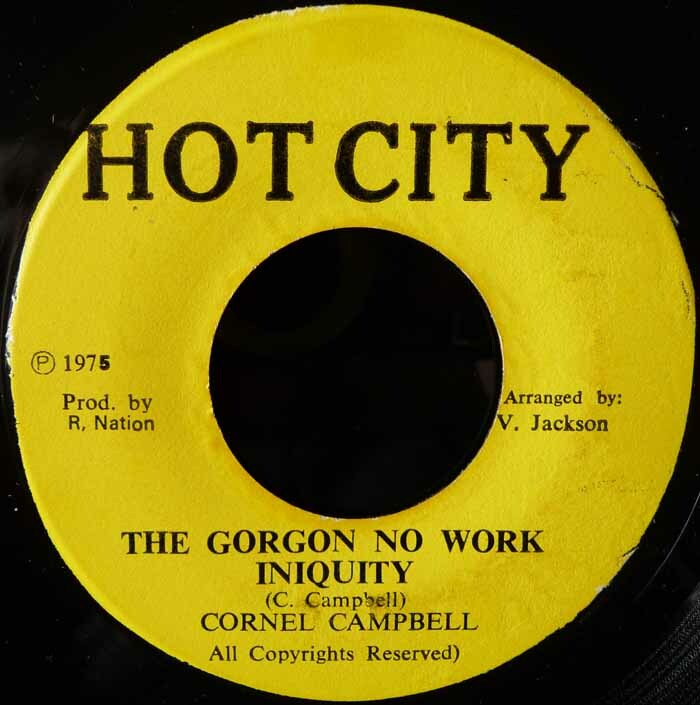 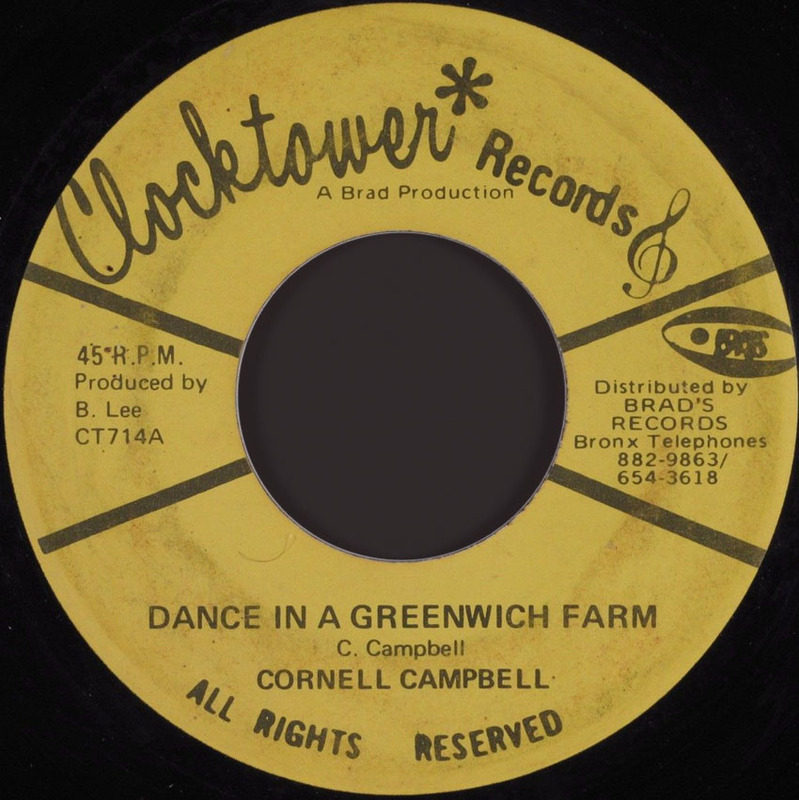 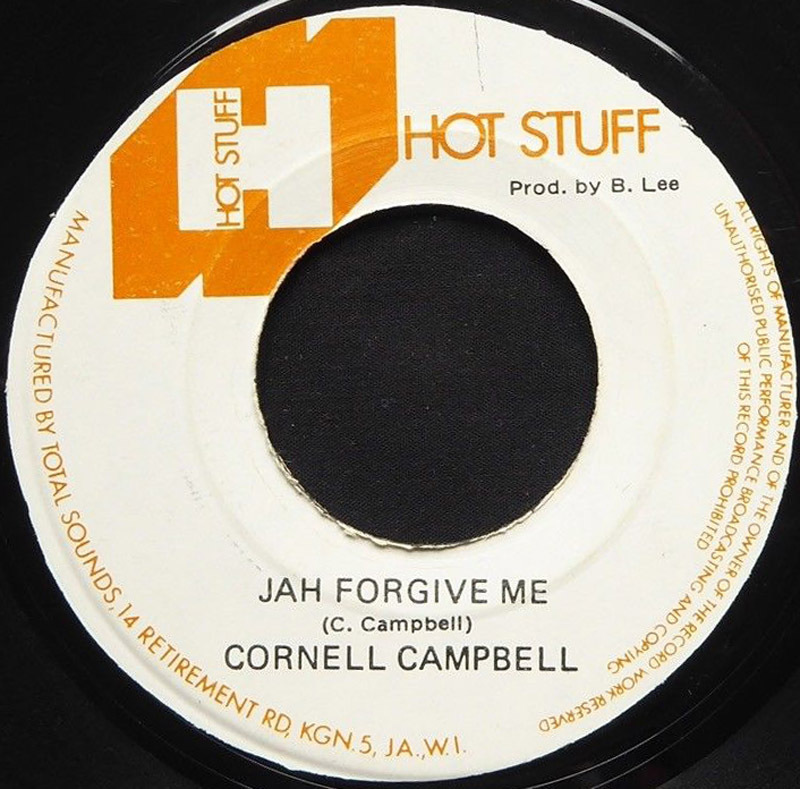 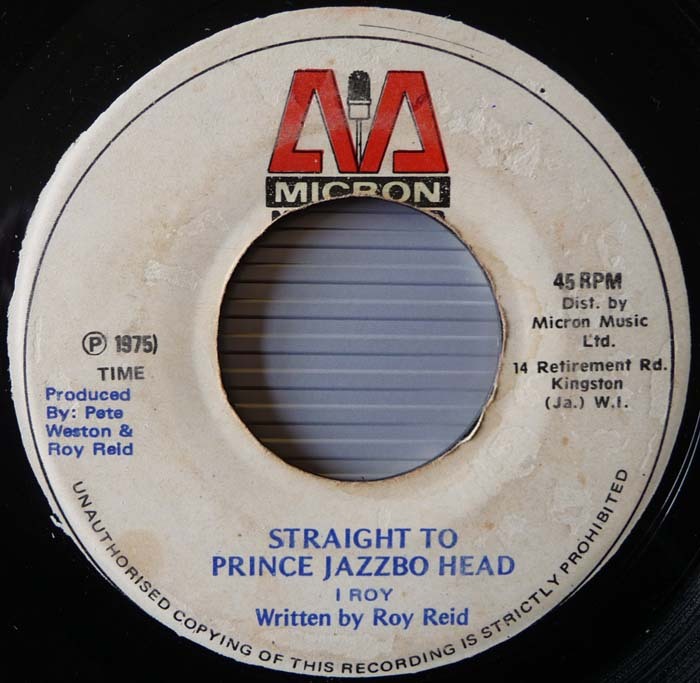 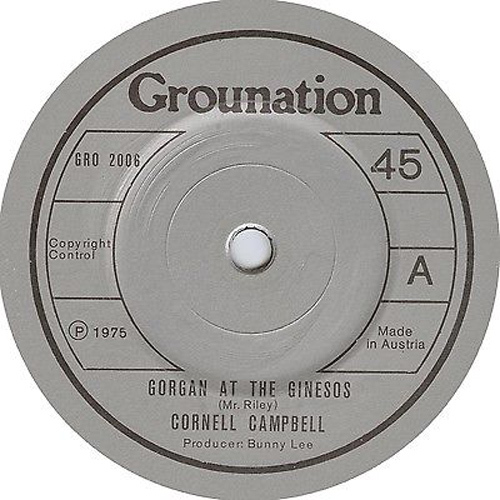 7" Where I Lay My Hat Cornell Campbell Version Can. 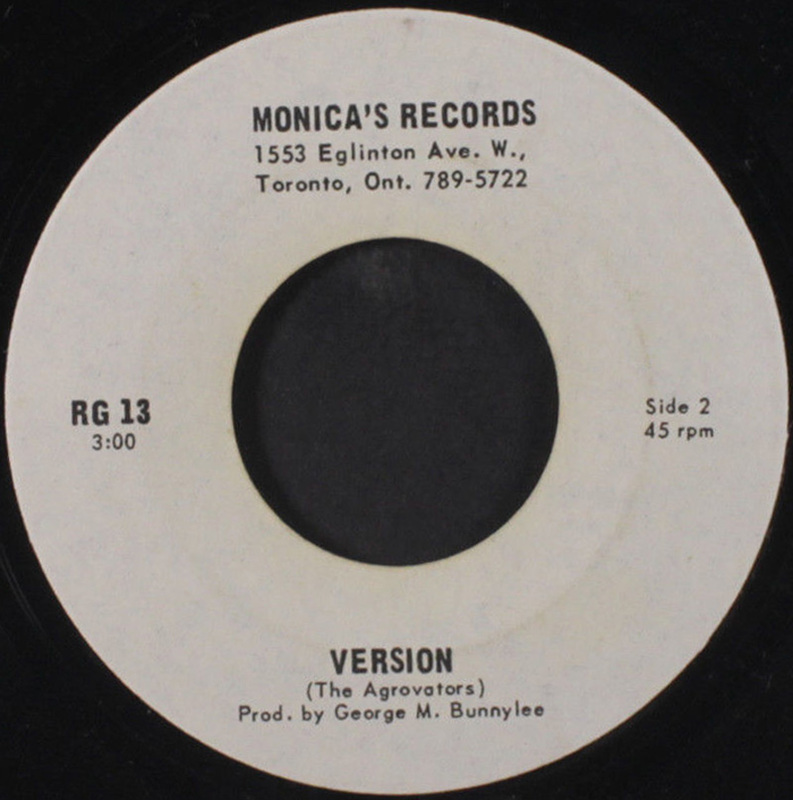 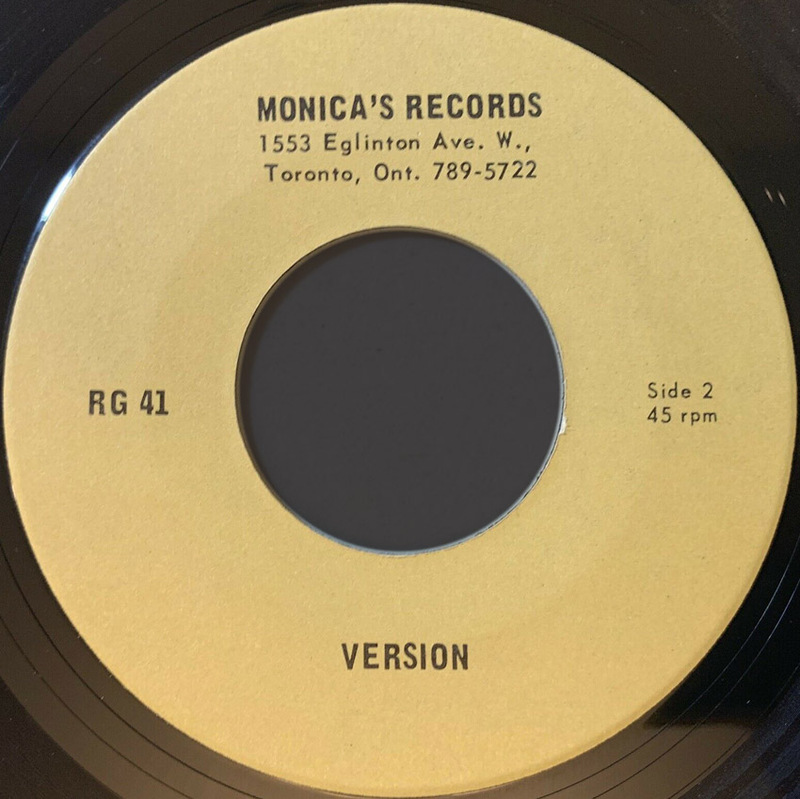 Monica's RG 01 Bunny Lee Pr. 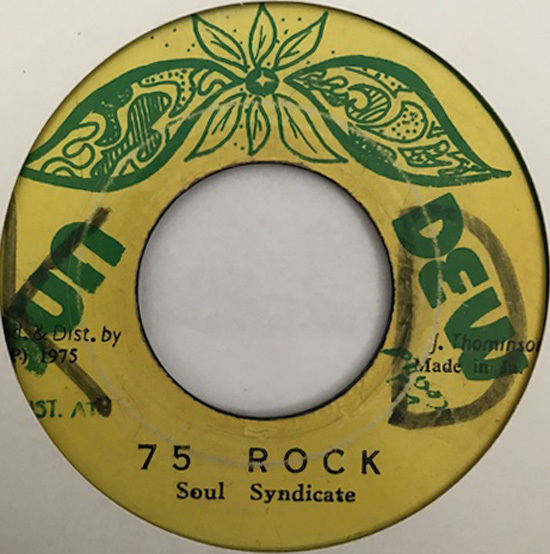 197? 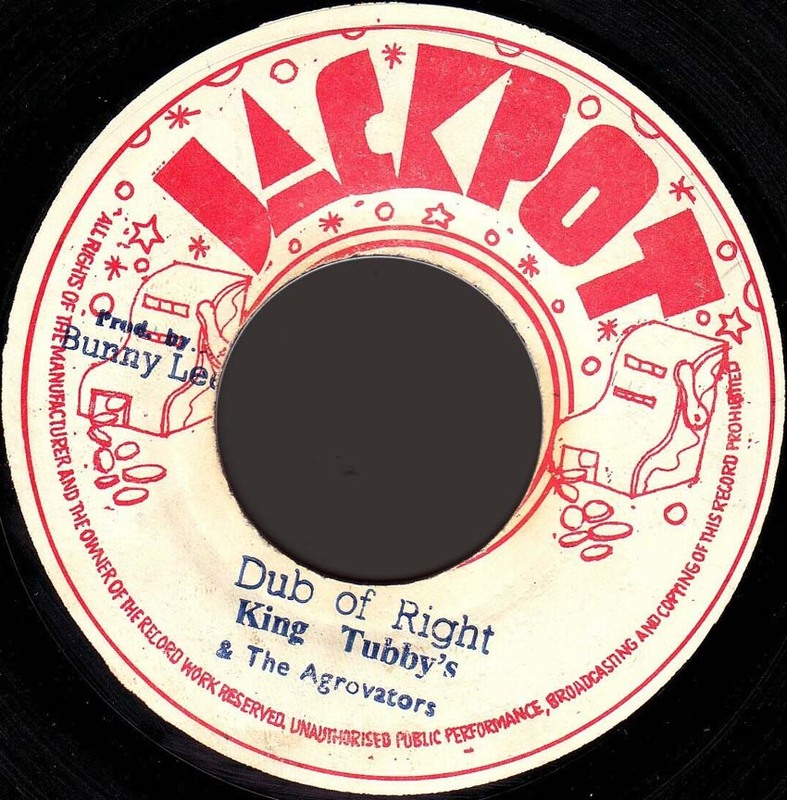 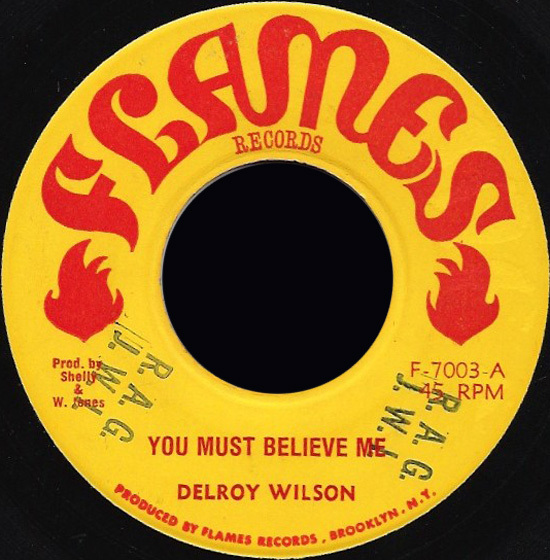 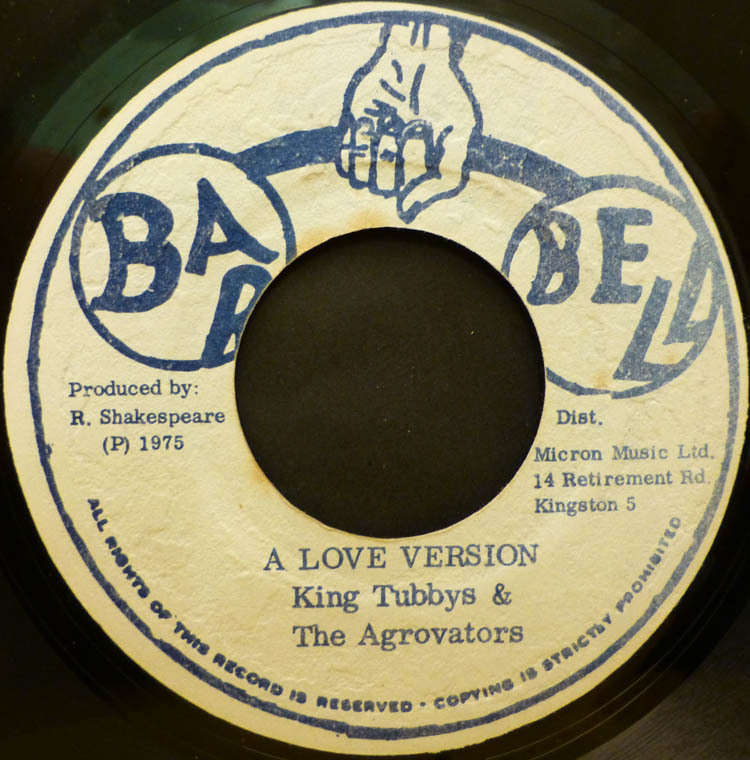 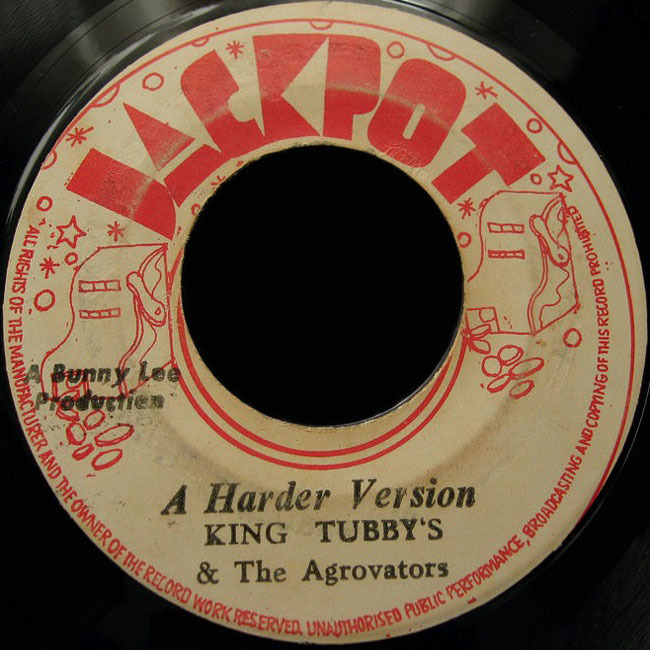 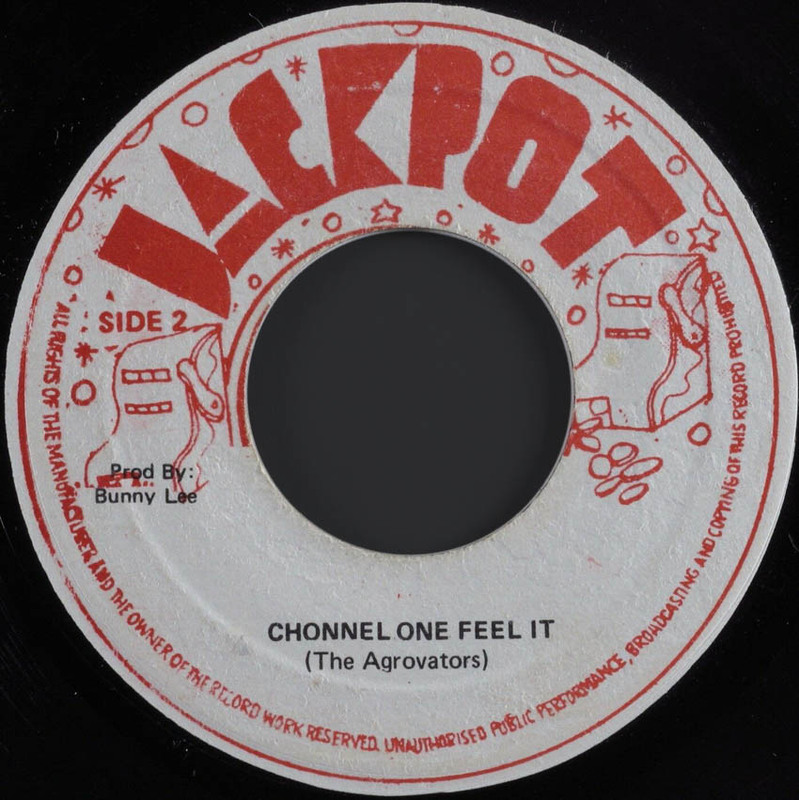 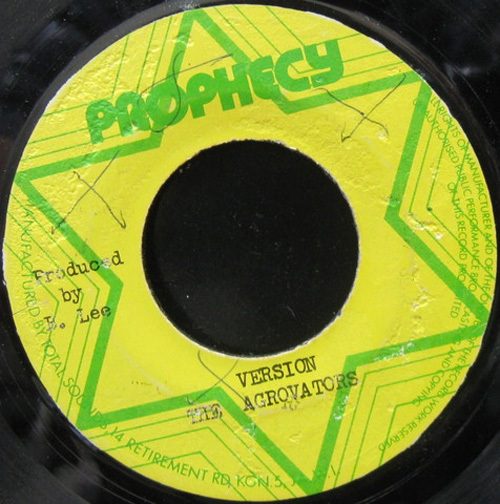 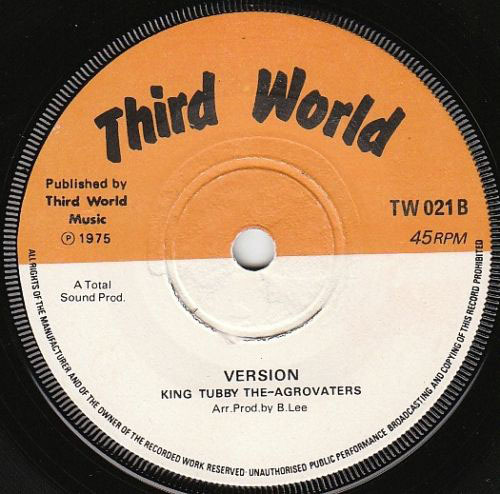 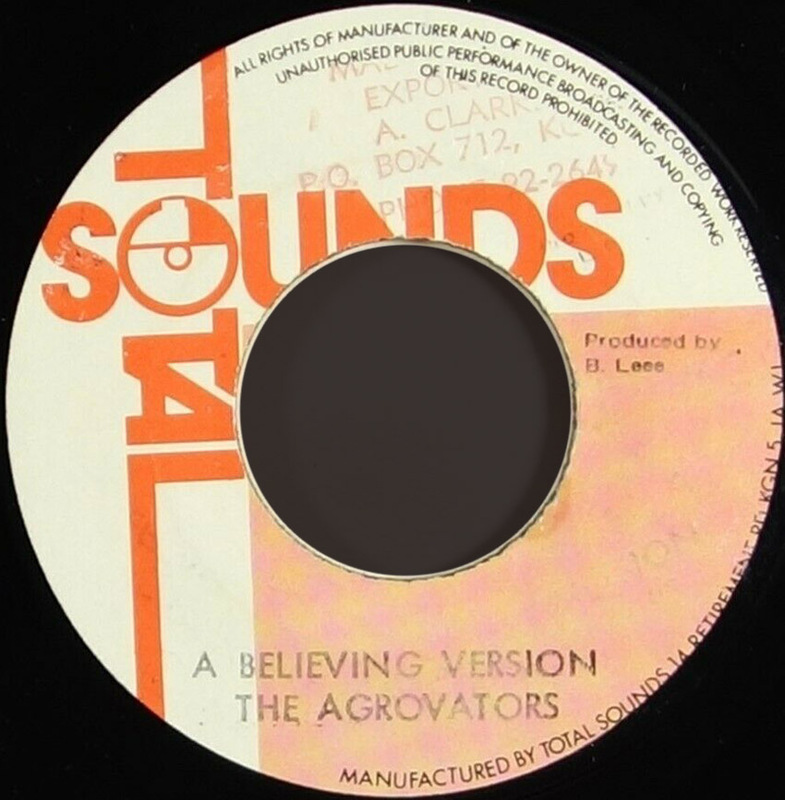 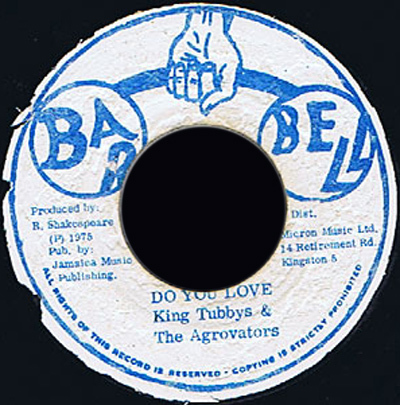 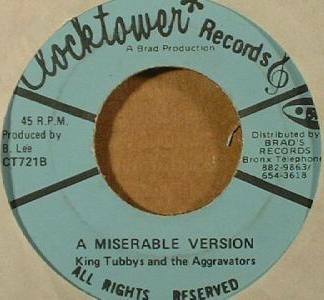 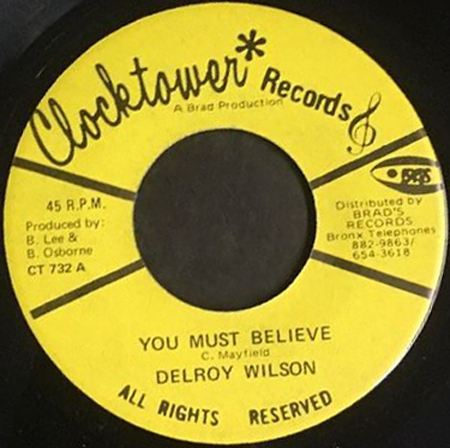 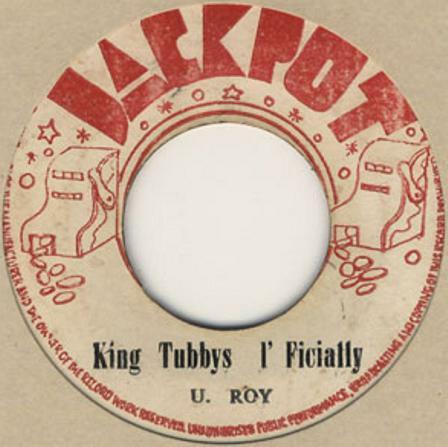 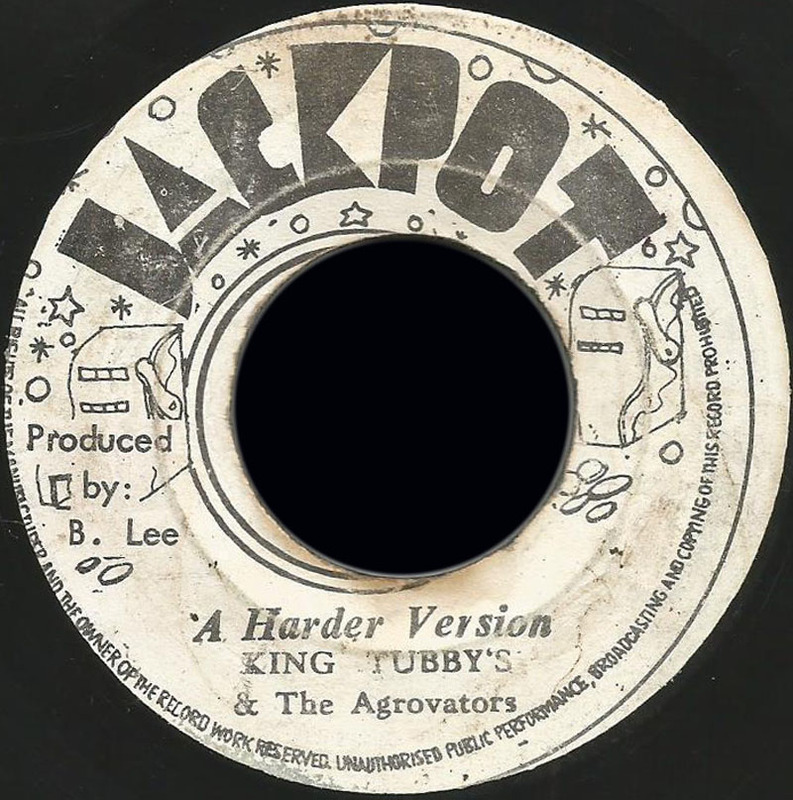 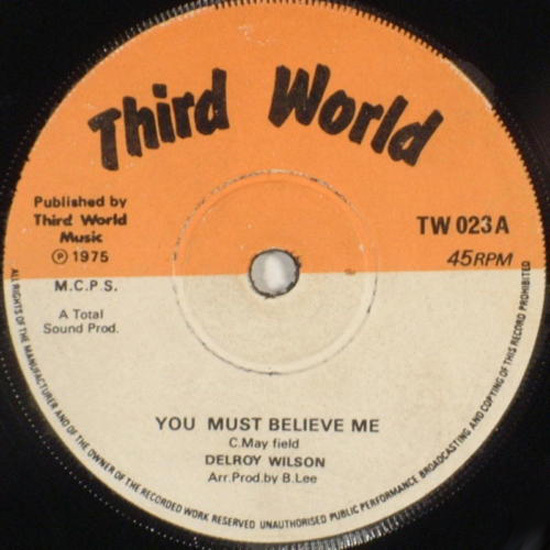 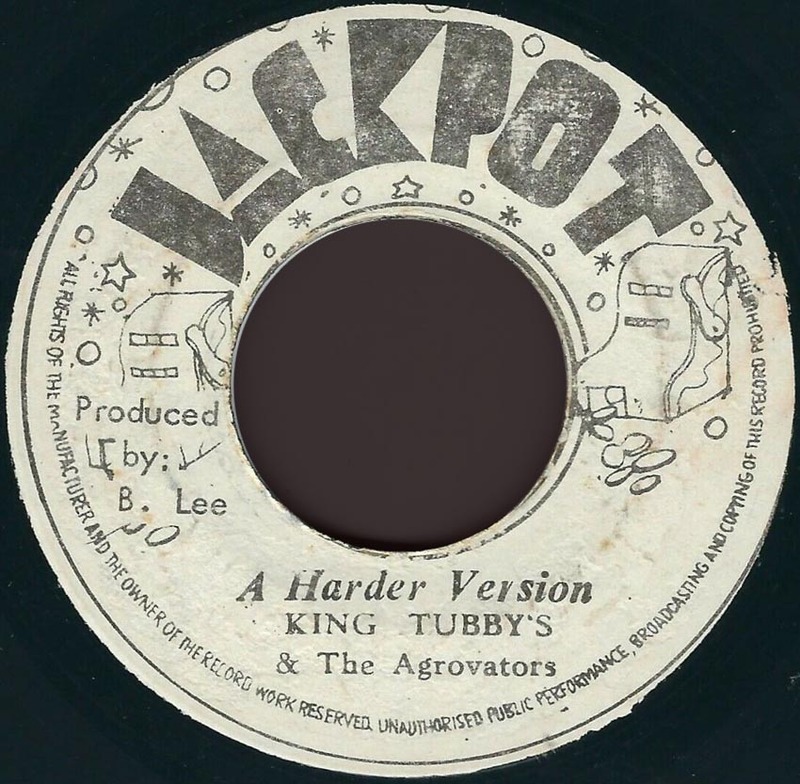 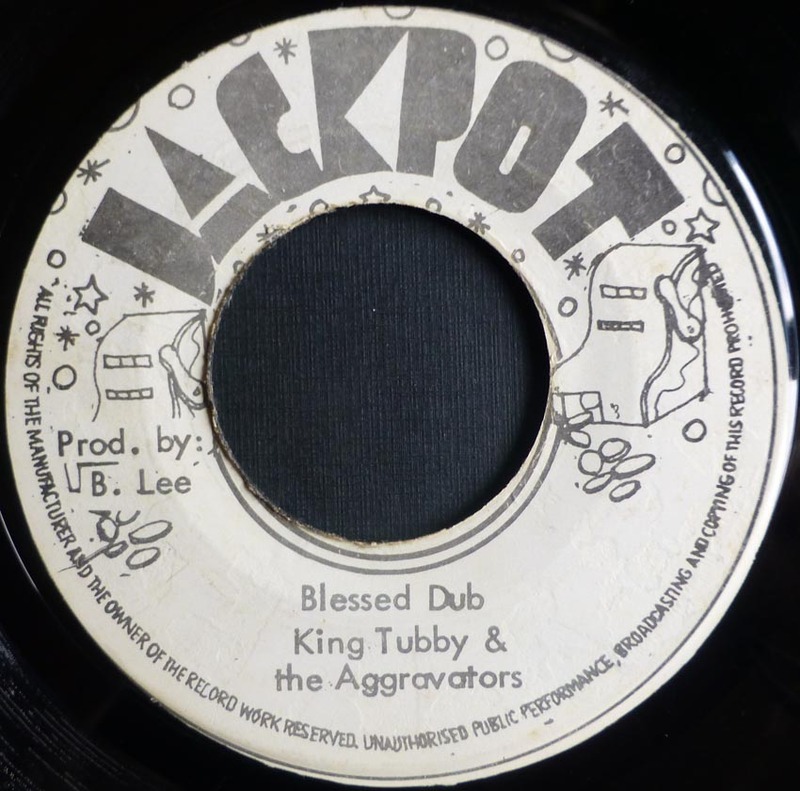 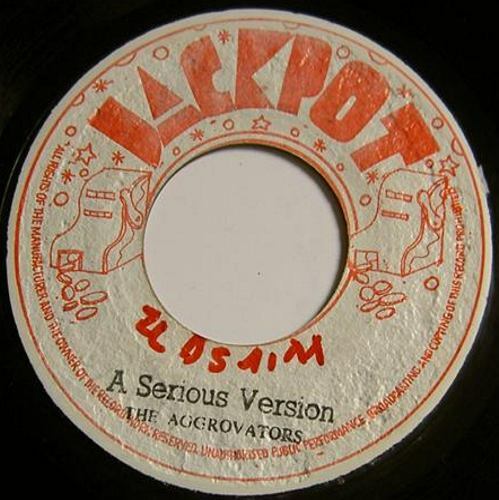 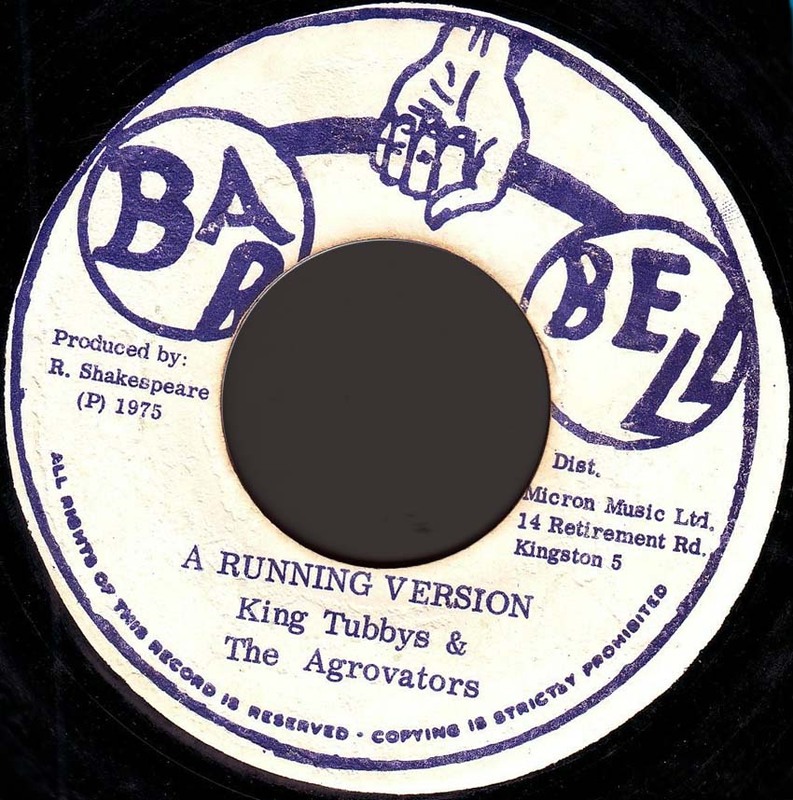 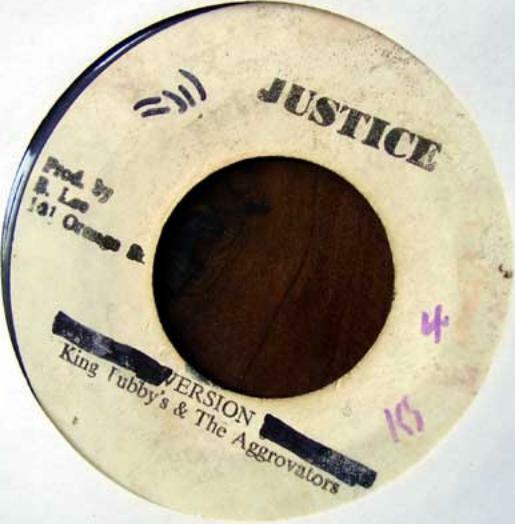 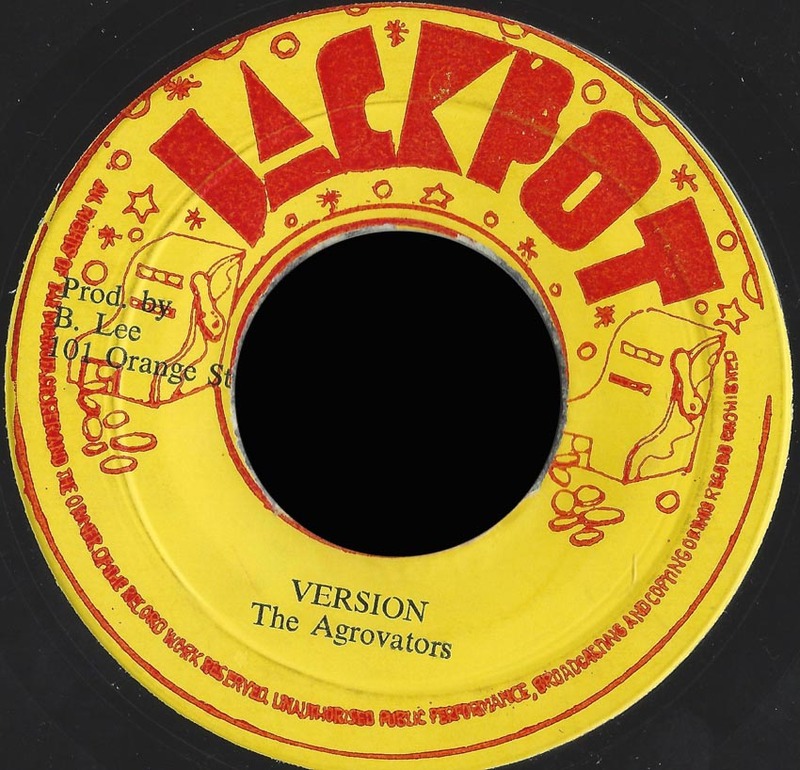 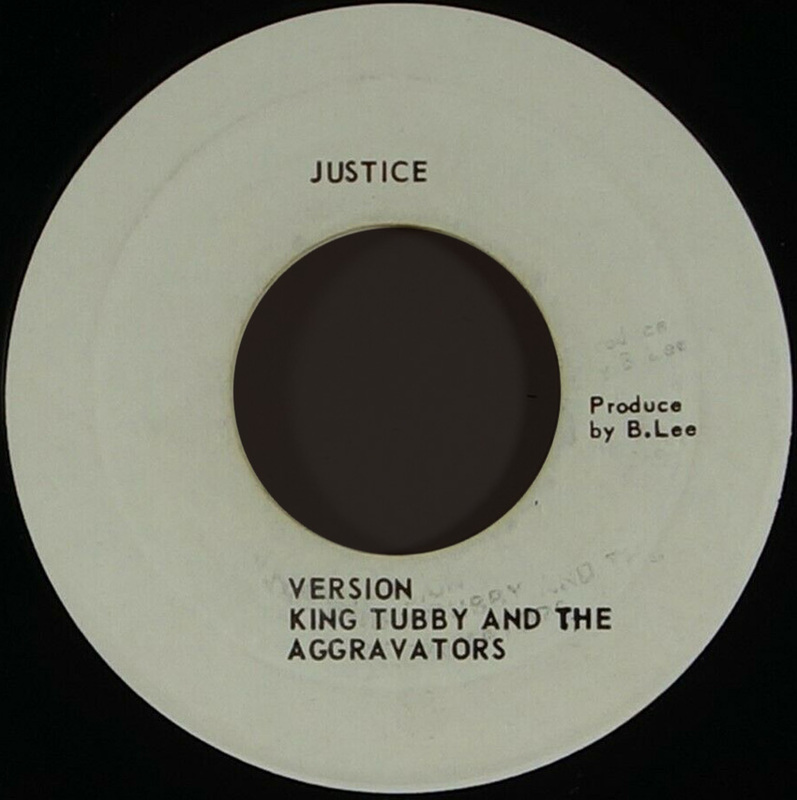 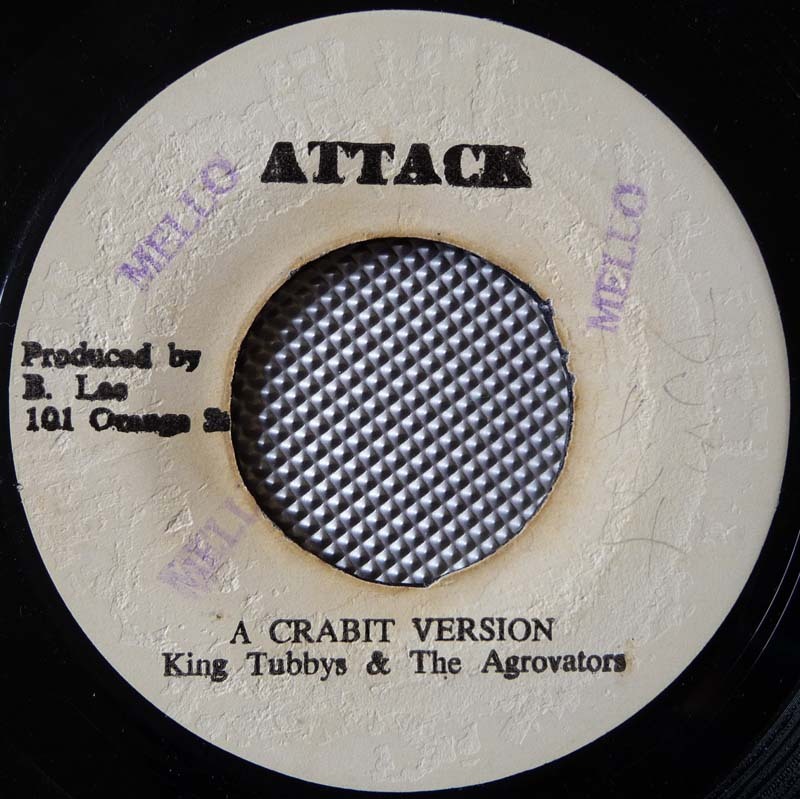 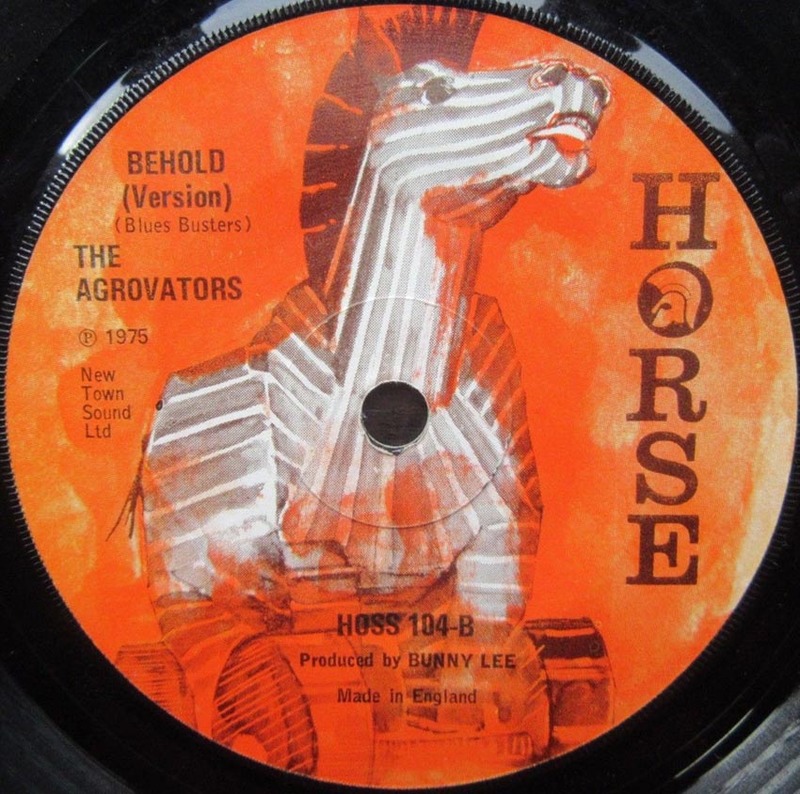 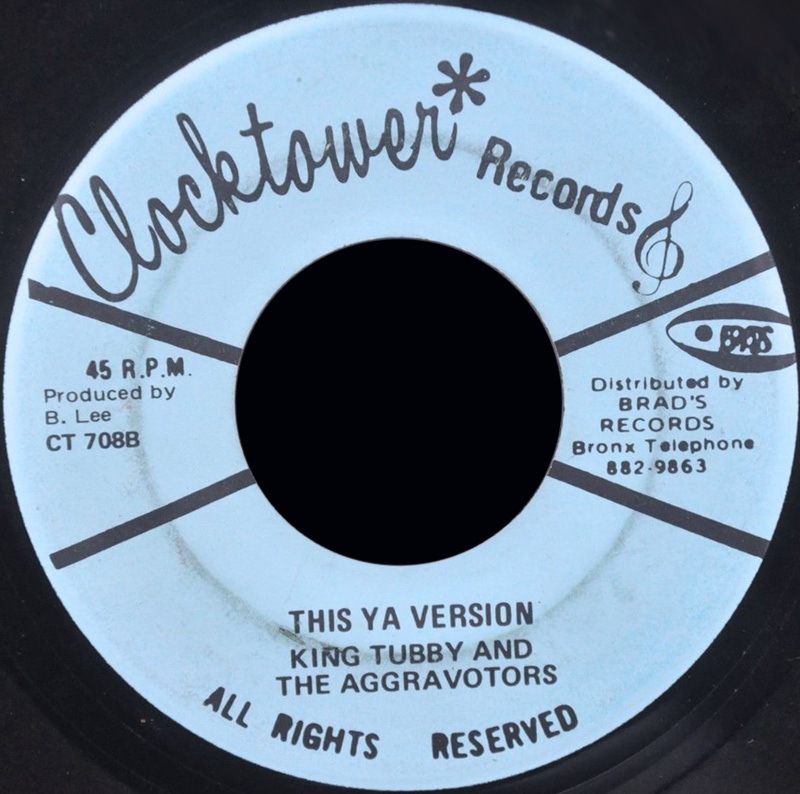 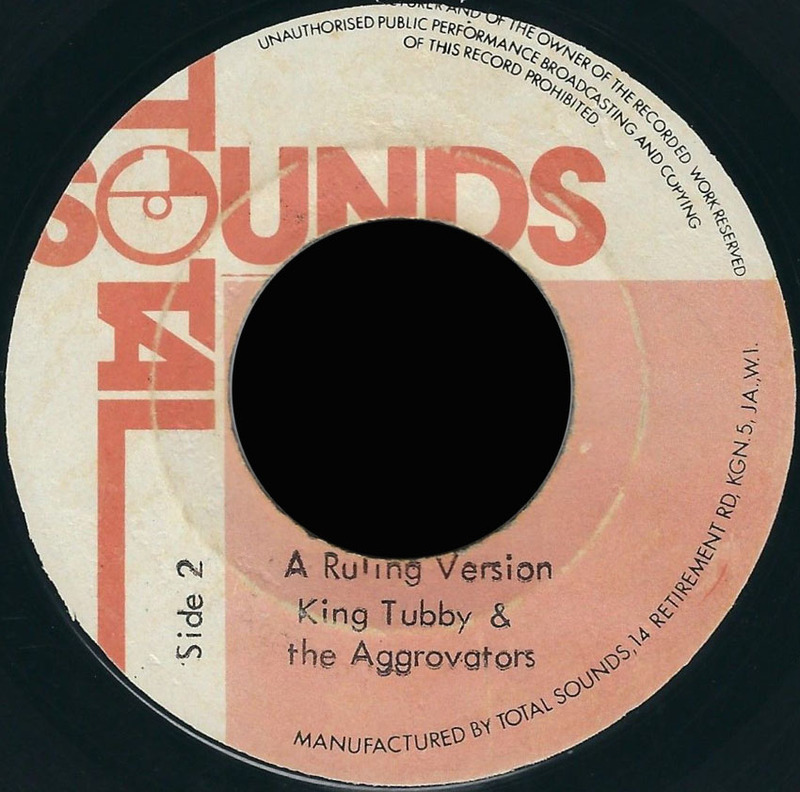 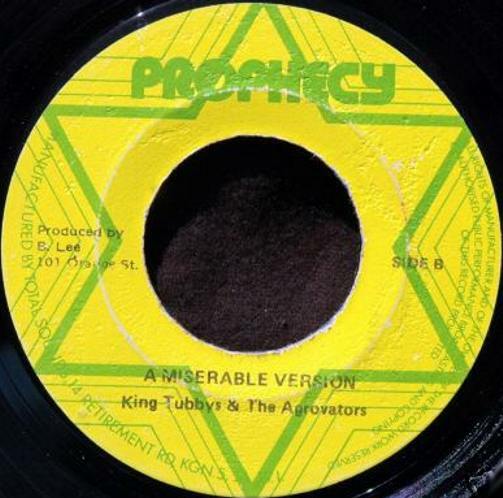 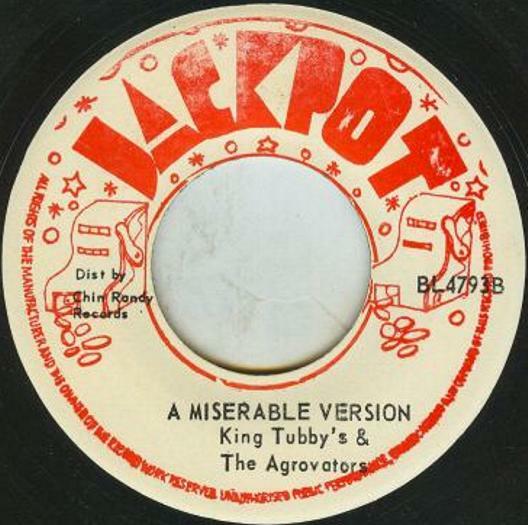 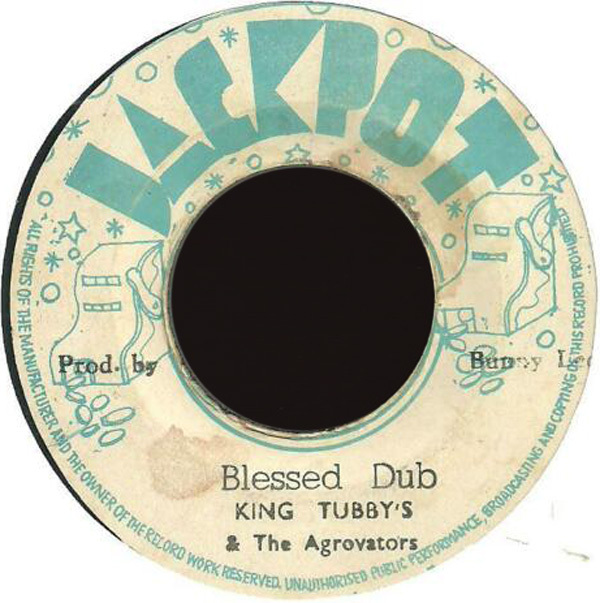 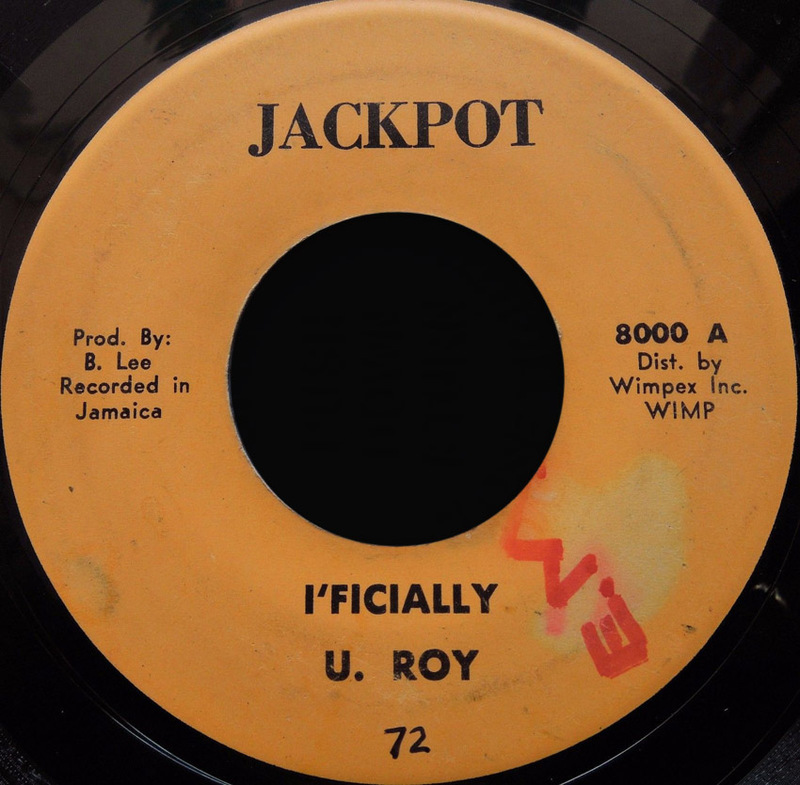 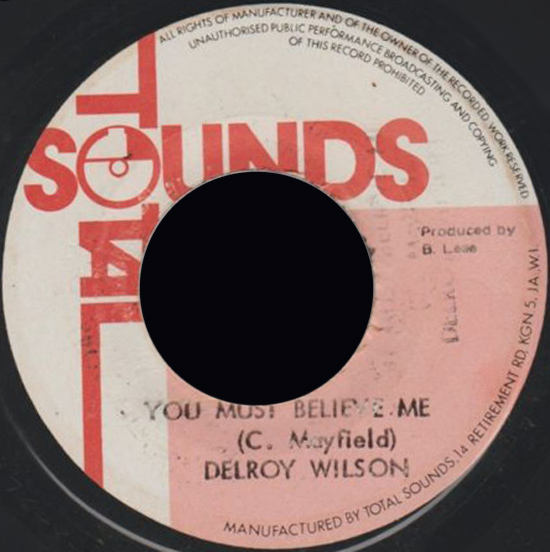 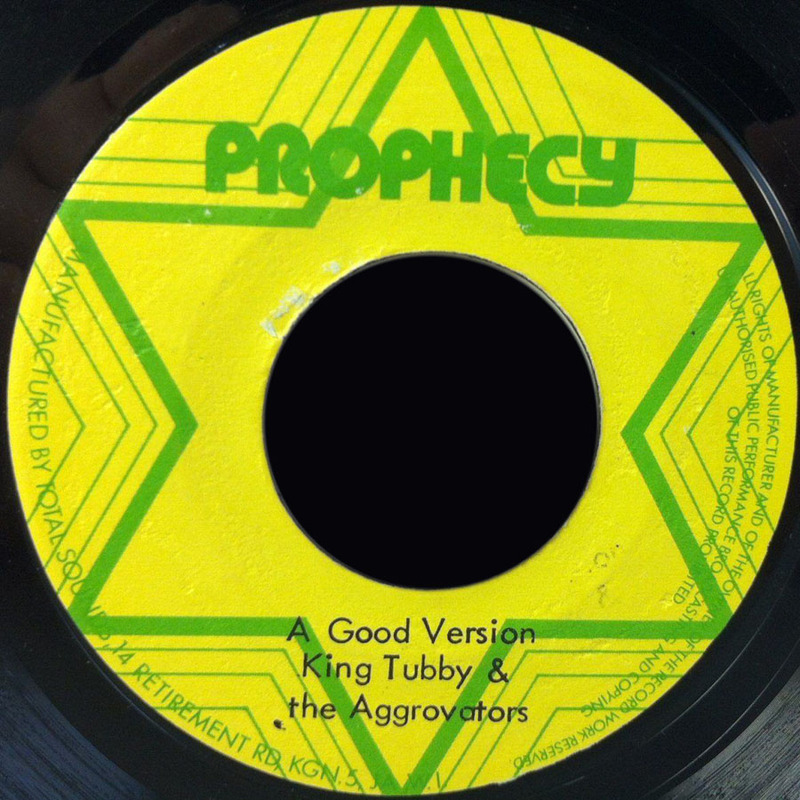 7" You Must Believe Me Delroy Wilson Version King Tubby And The Aggrovators US. 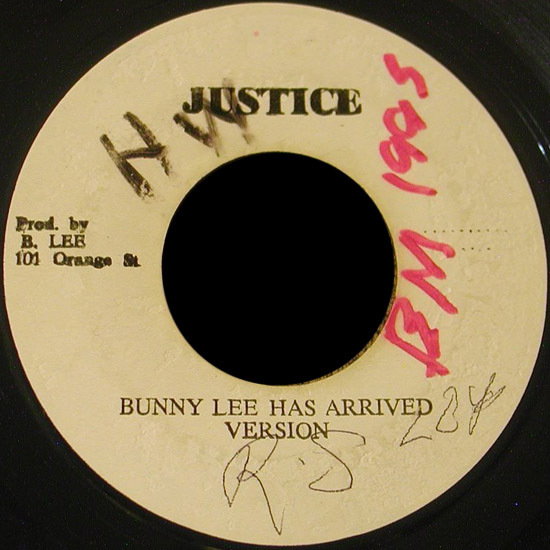 Justice Bunny Lee Pr. 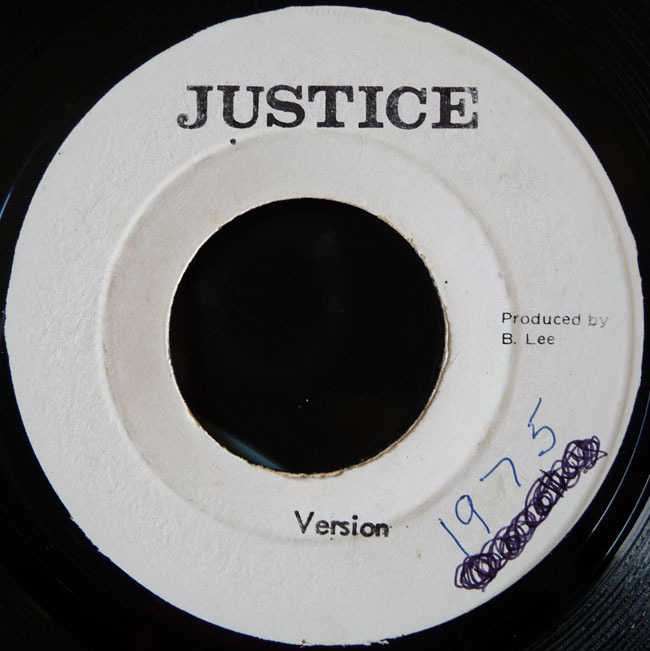 197? 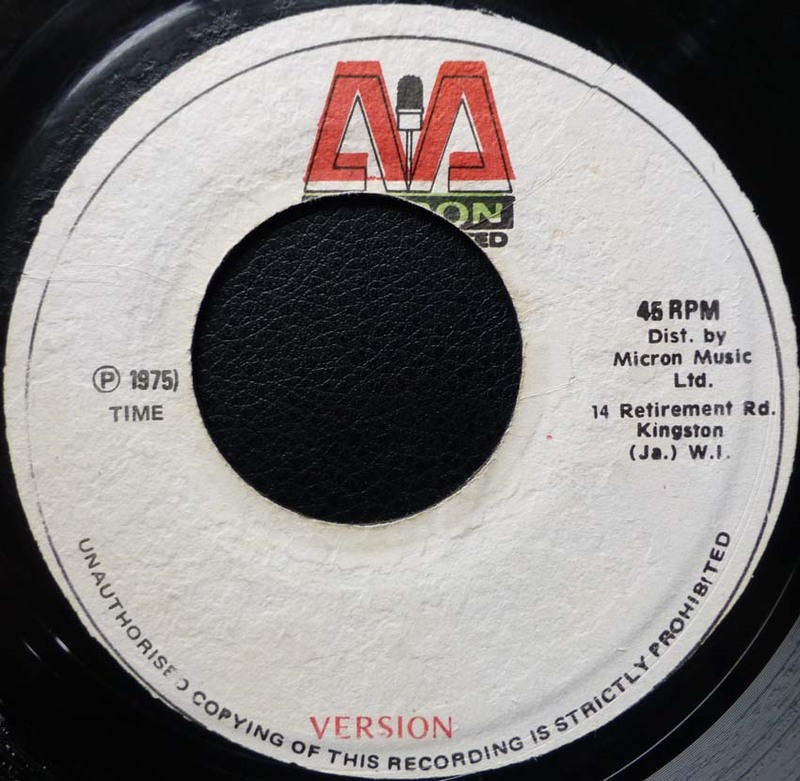 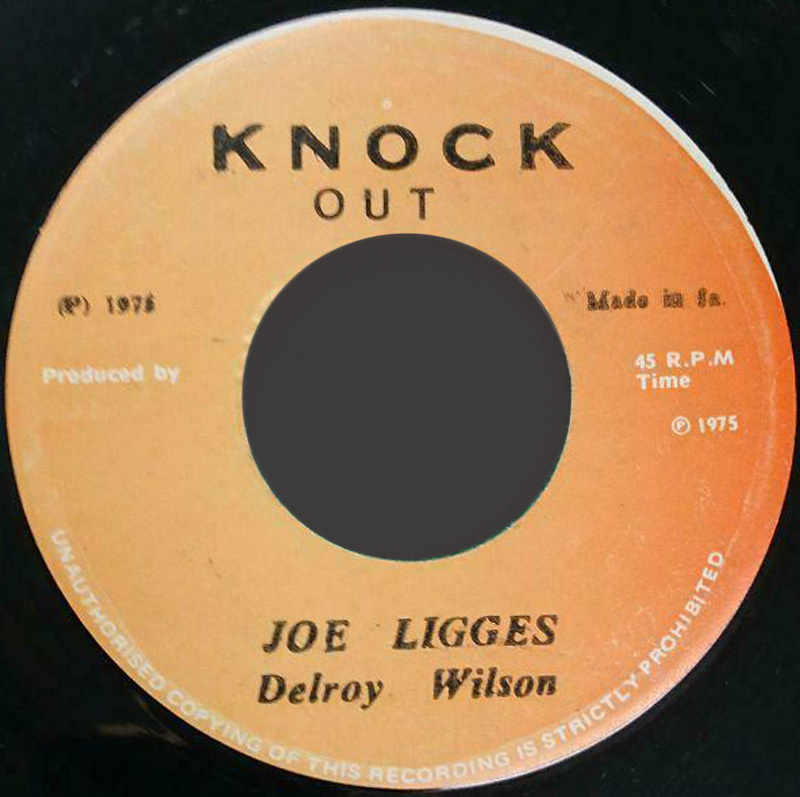 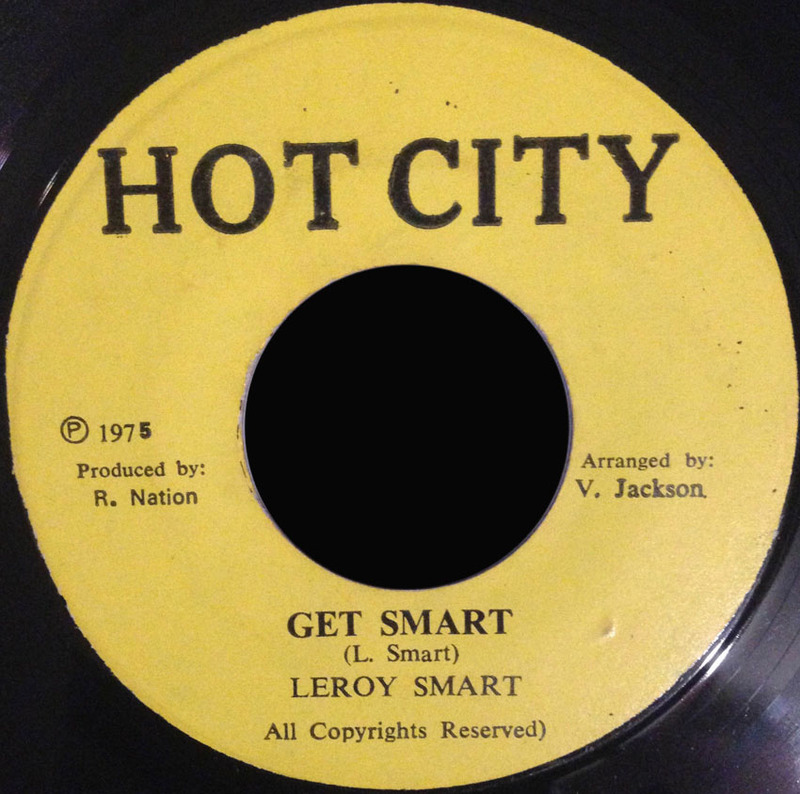 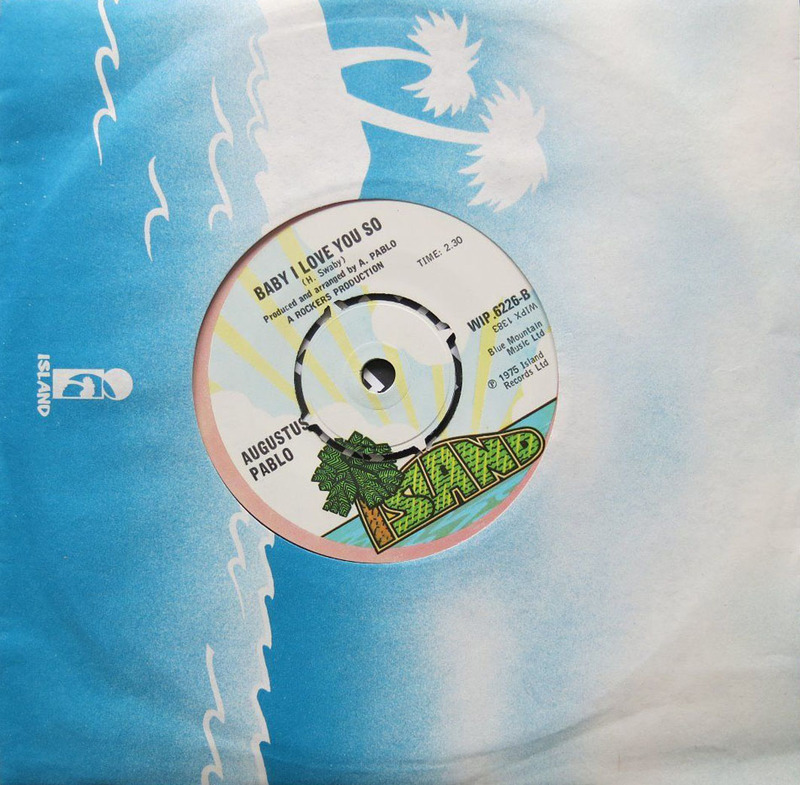 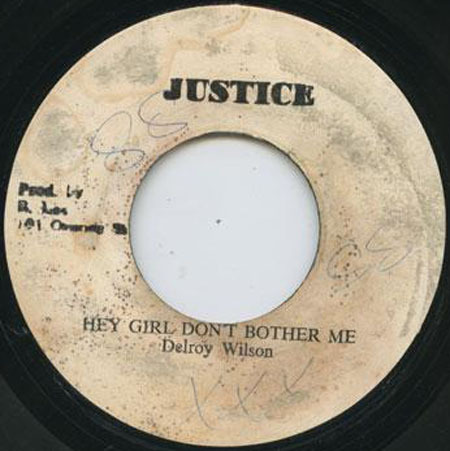 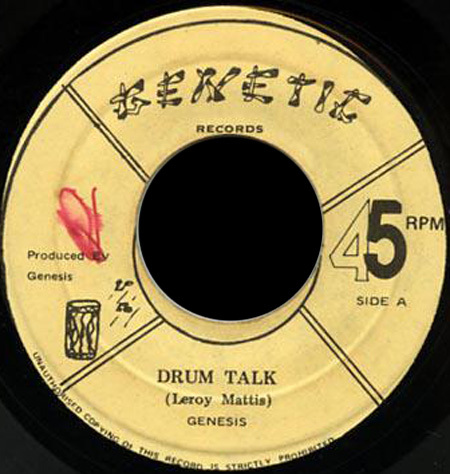 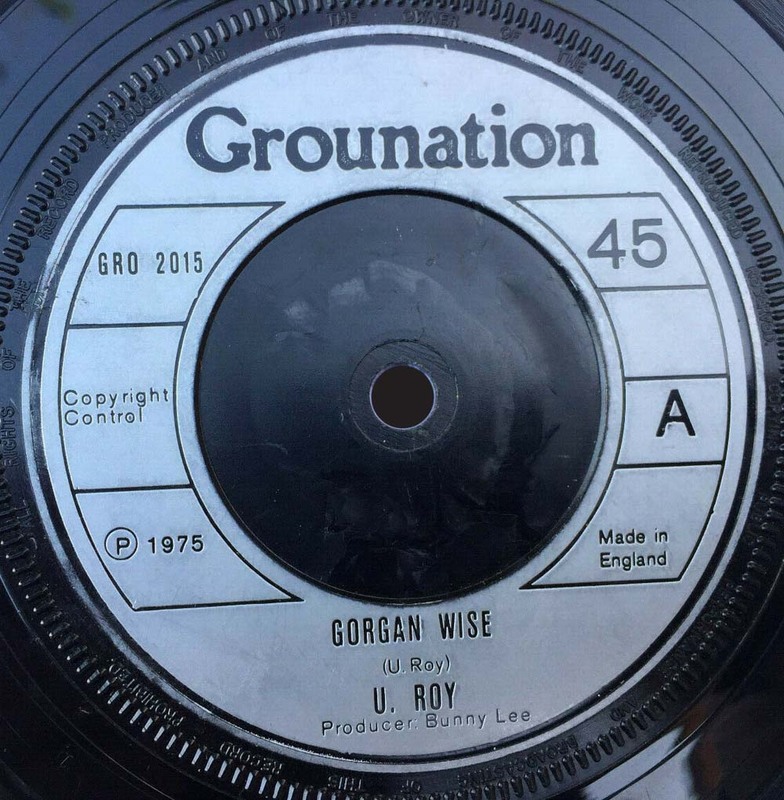 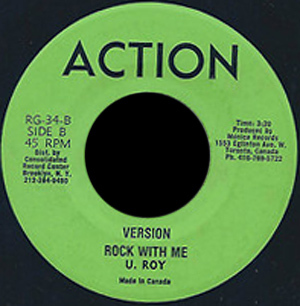 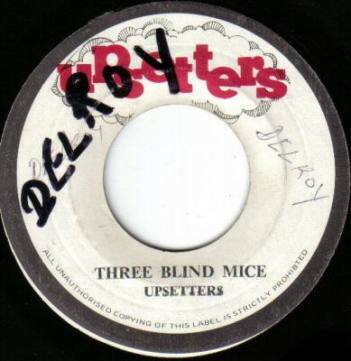 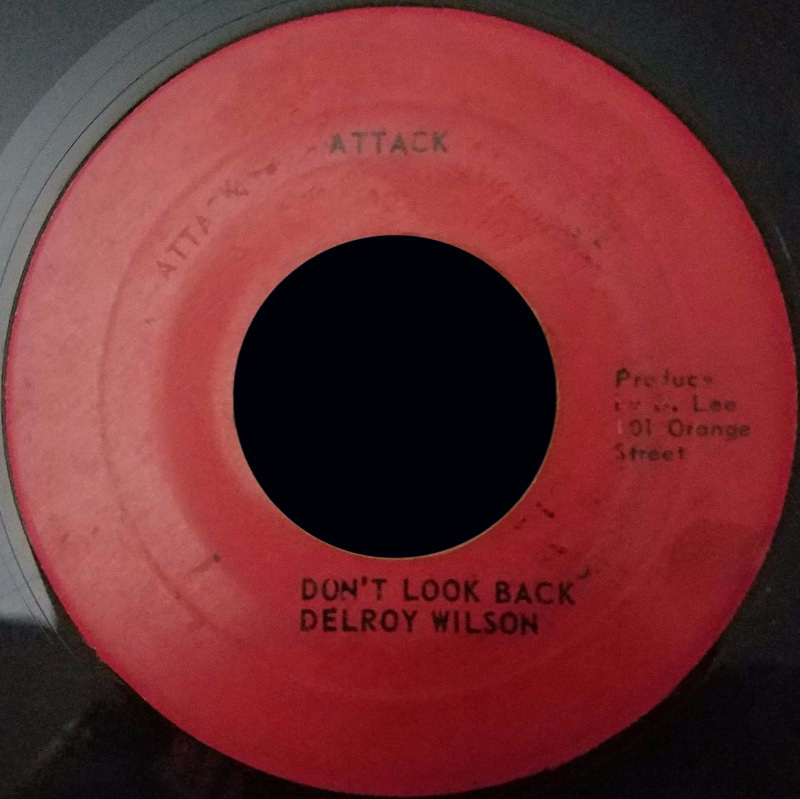 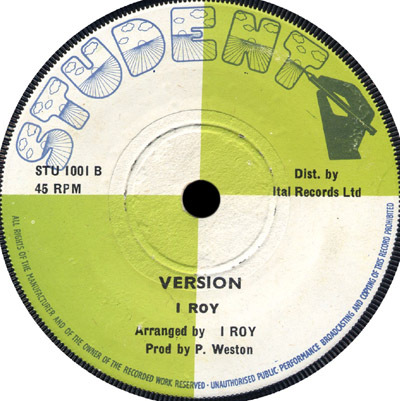 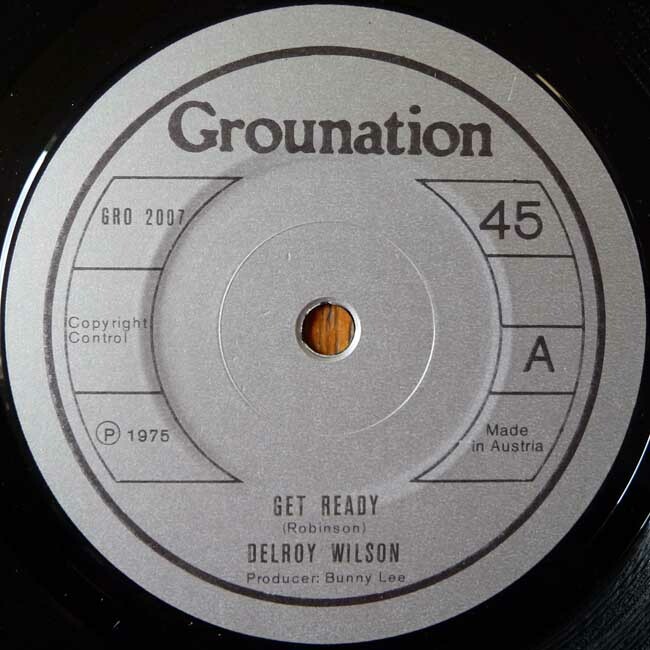 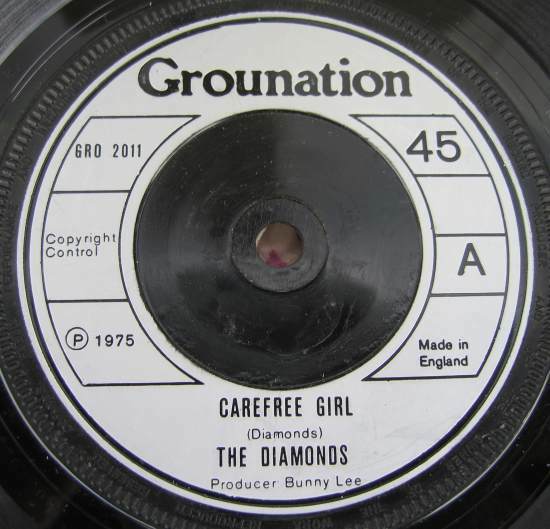 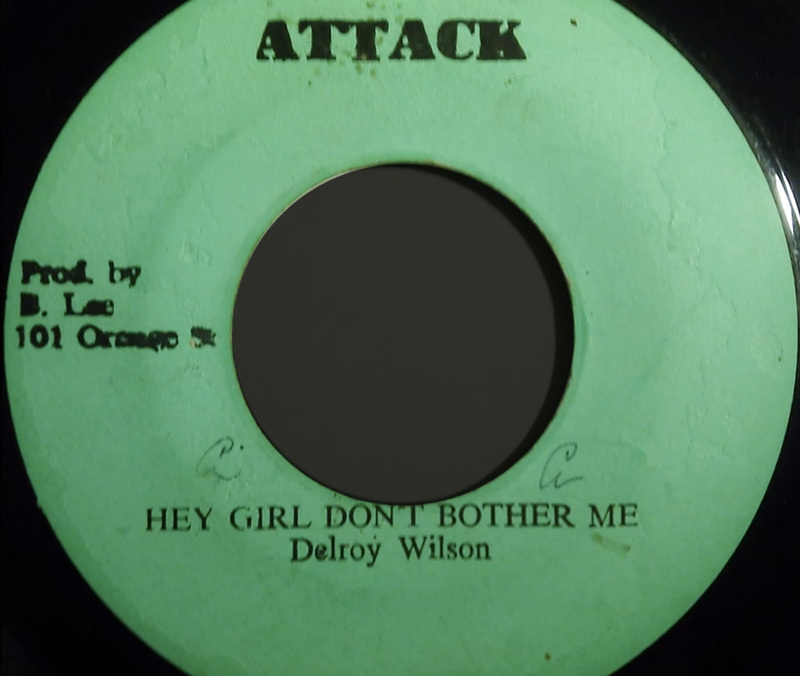 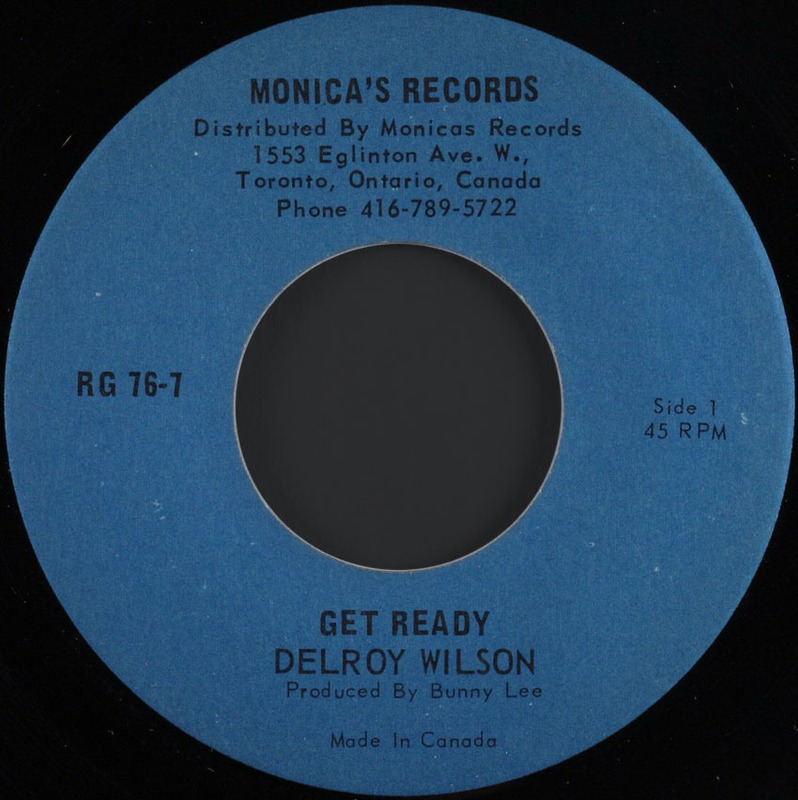 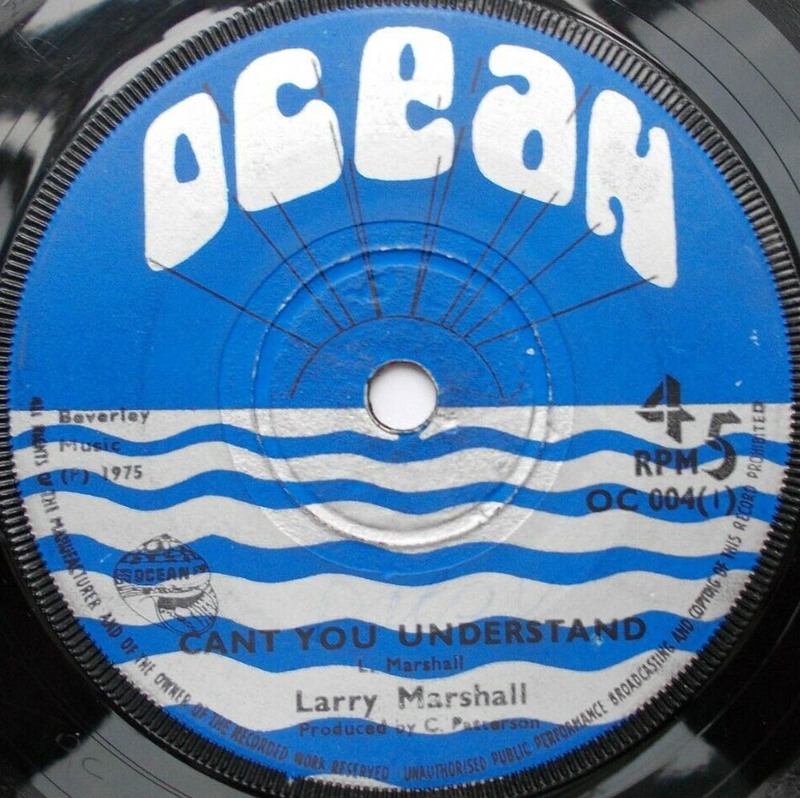 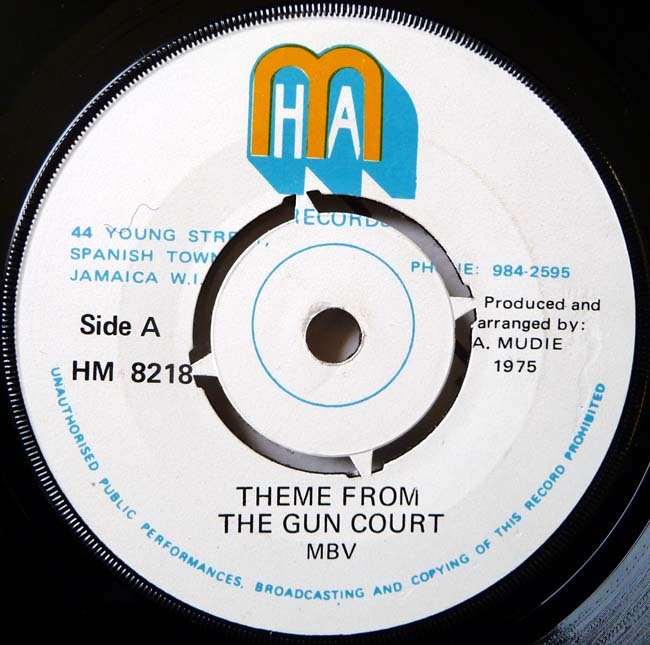 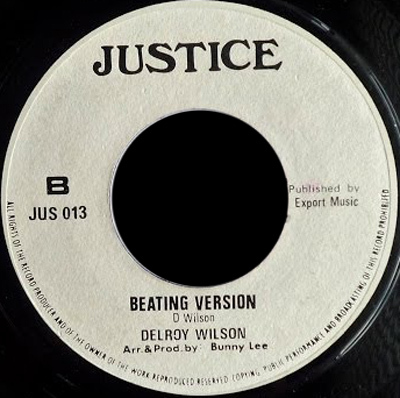 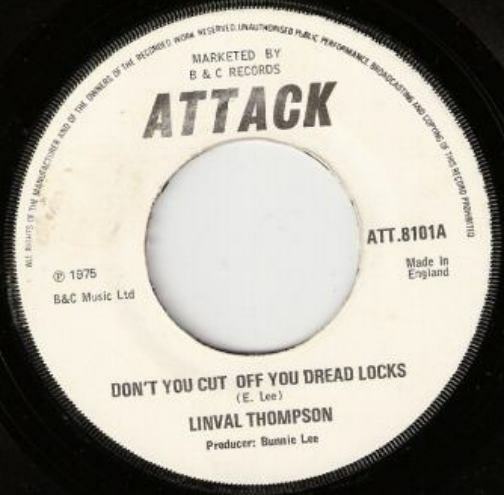 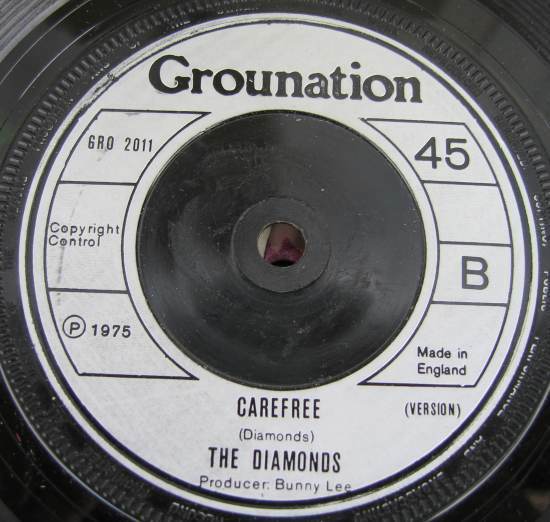 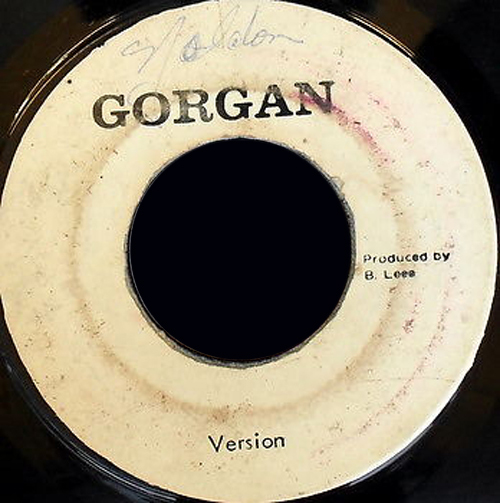 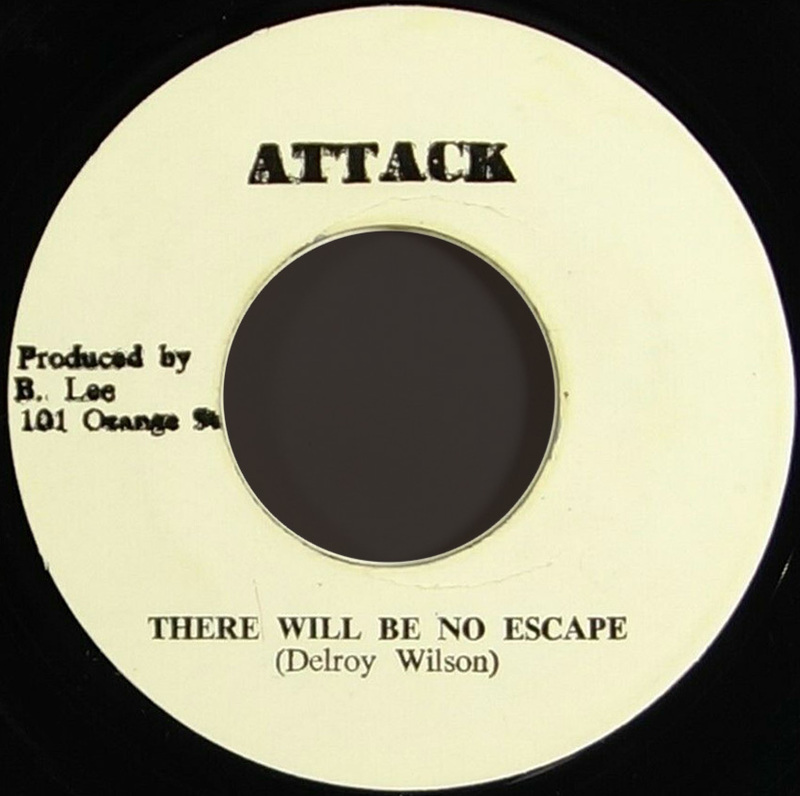 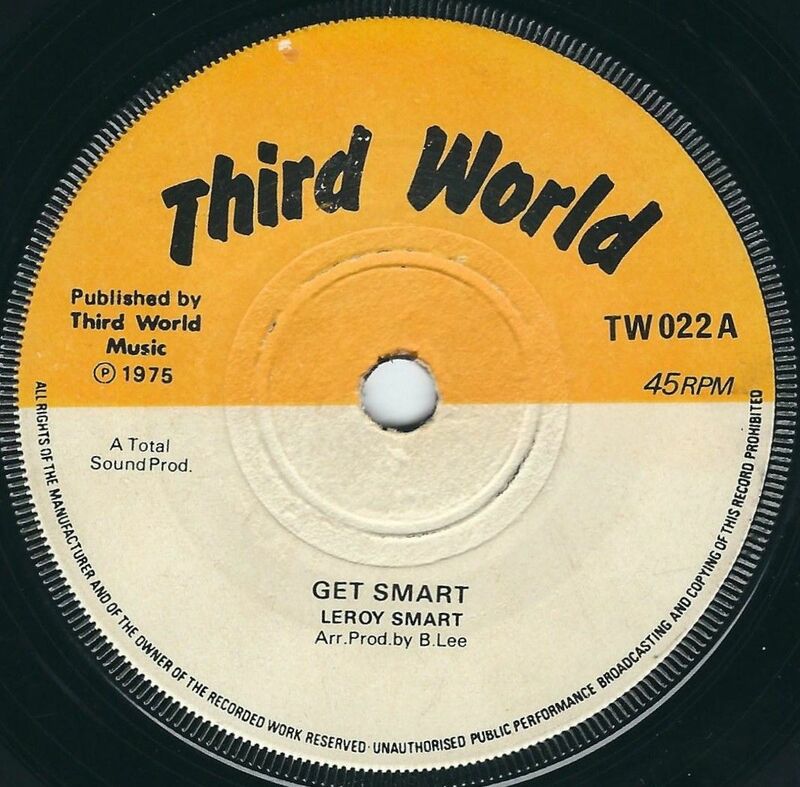 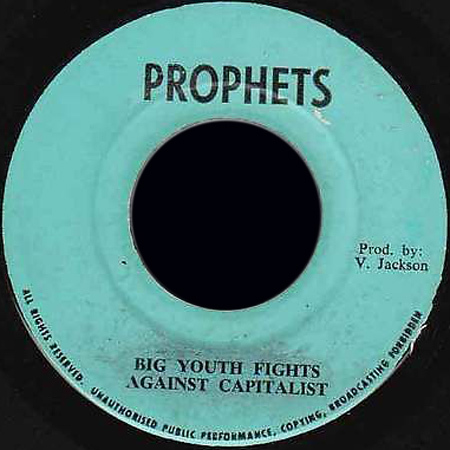 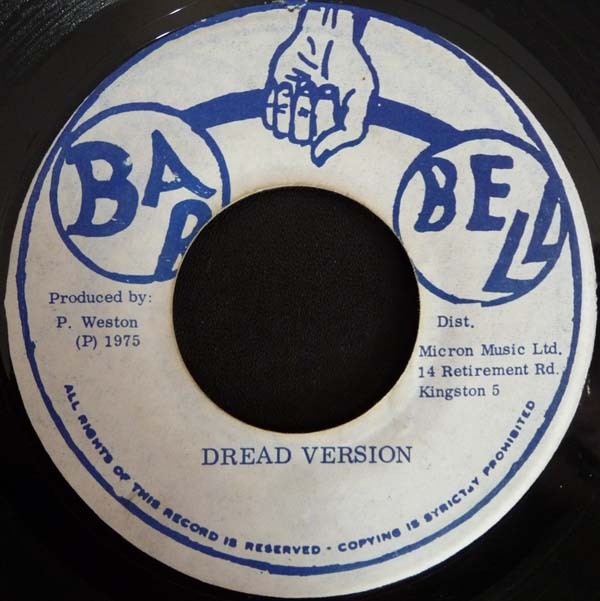 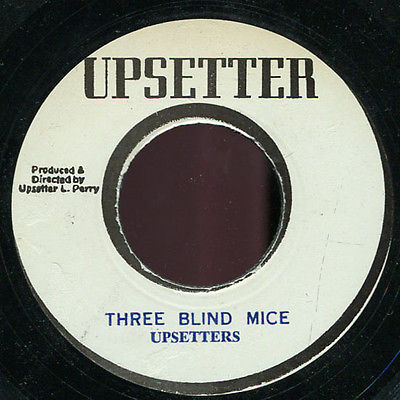 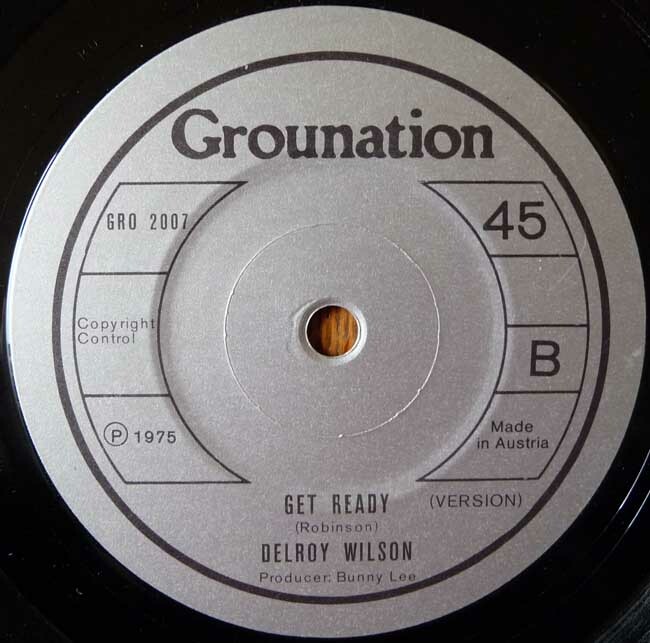 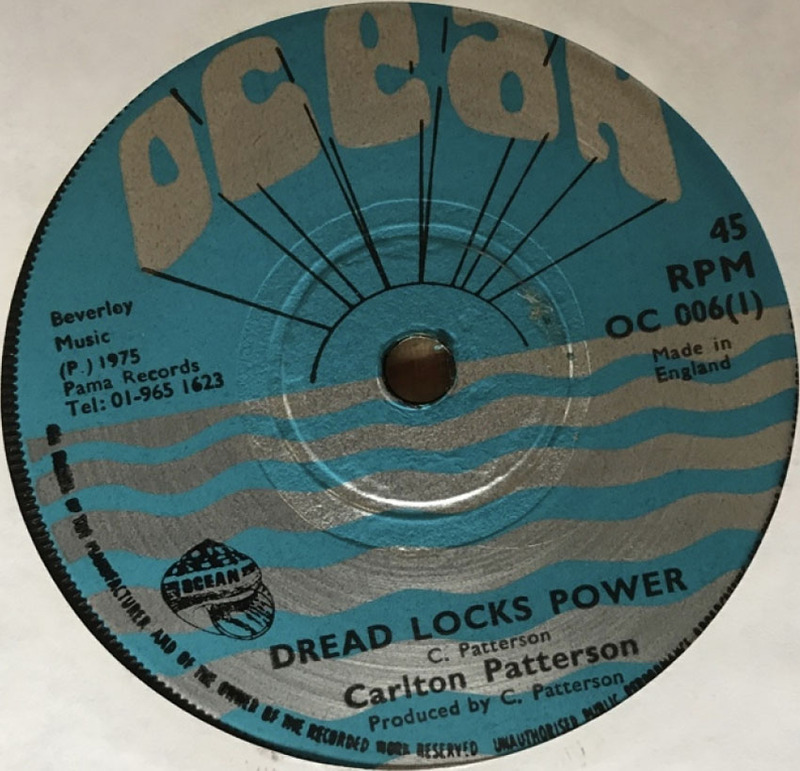 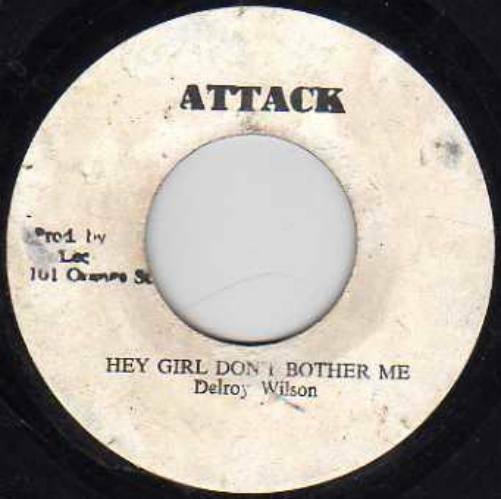 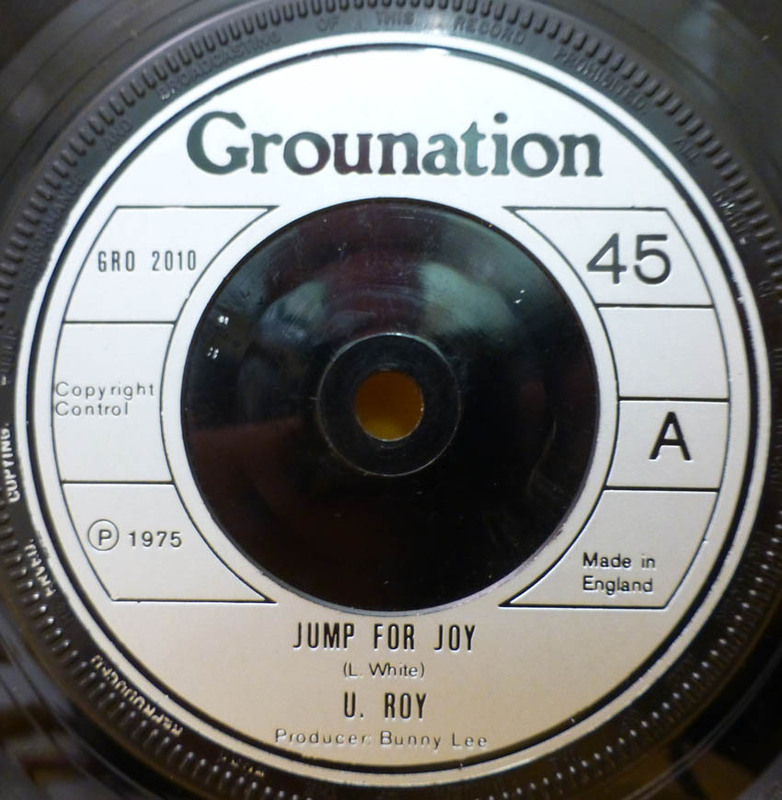 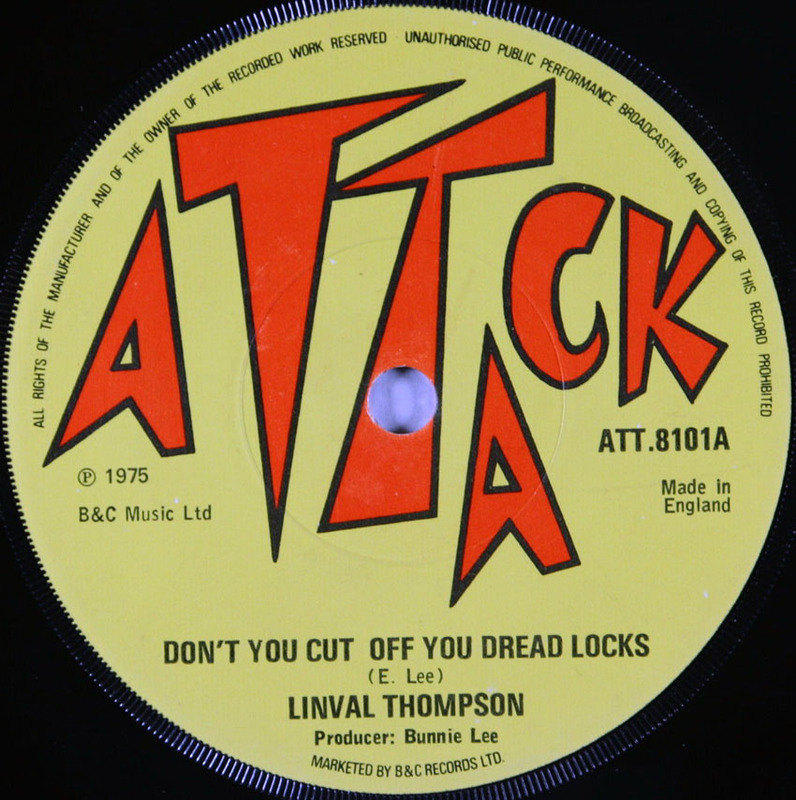 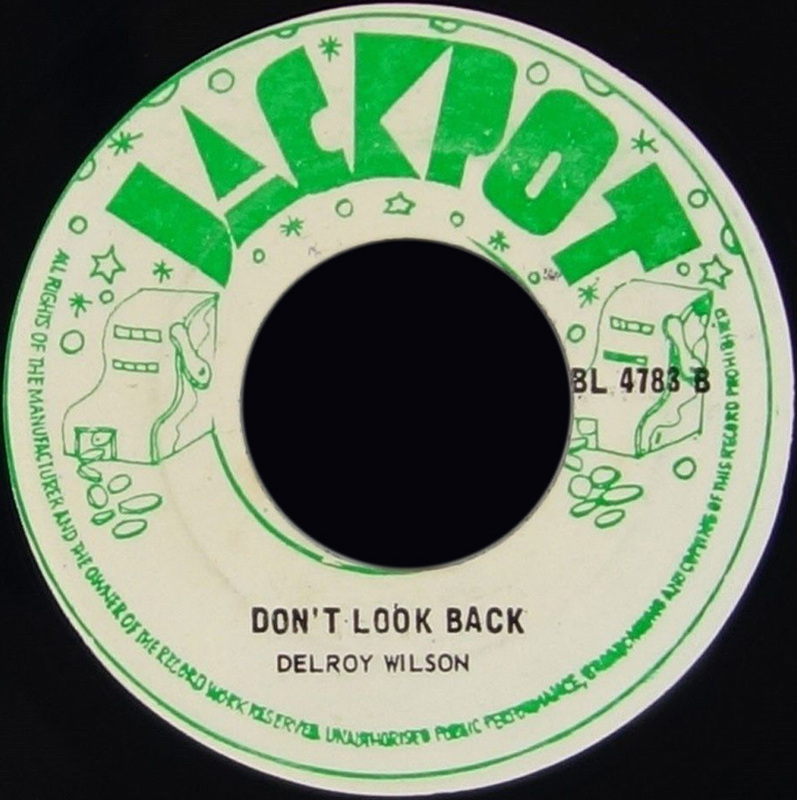 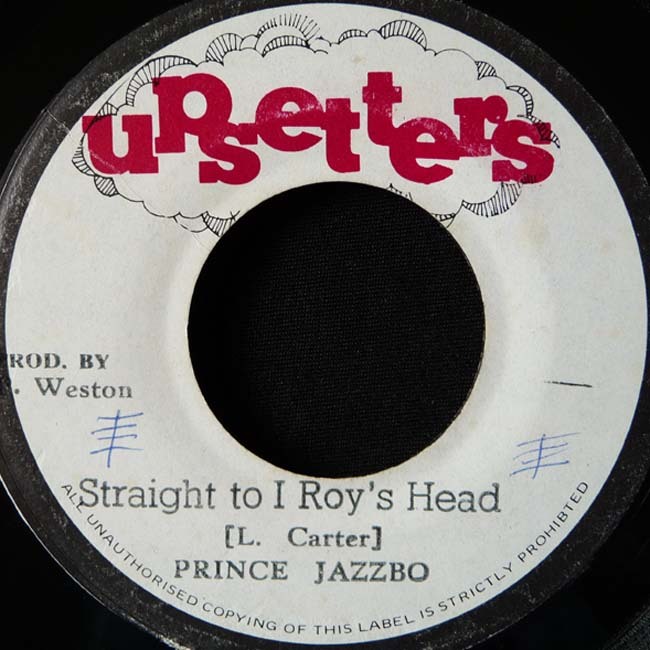 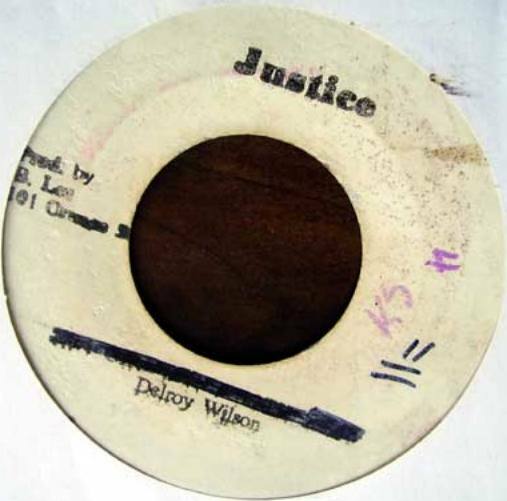 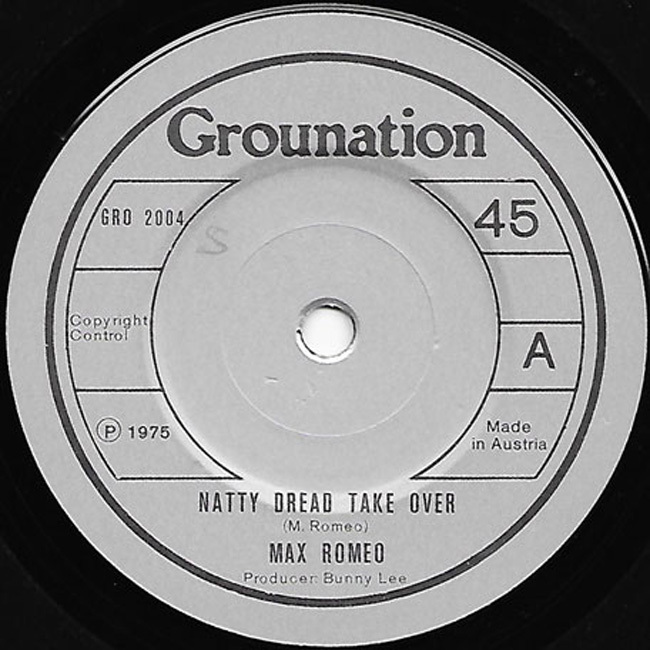 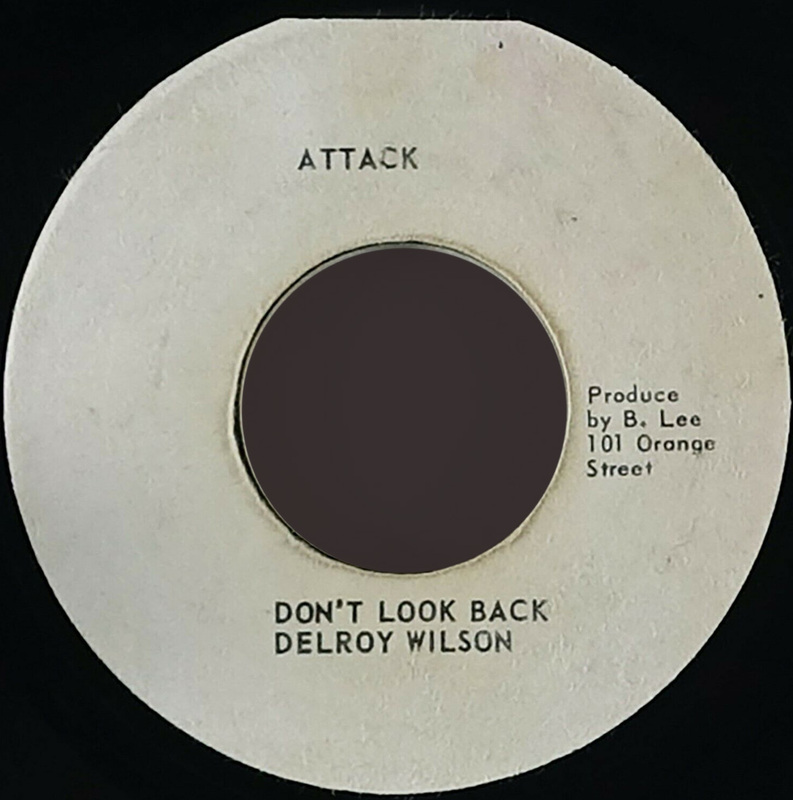 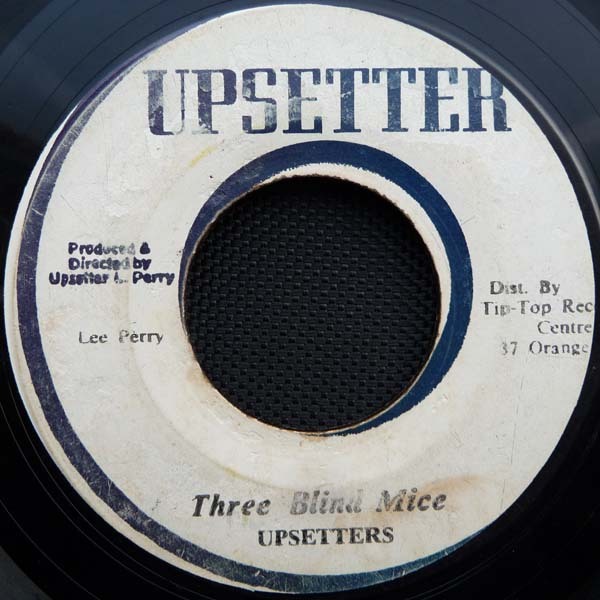 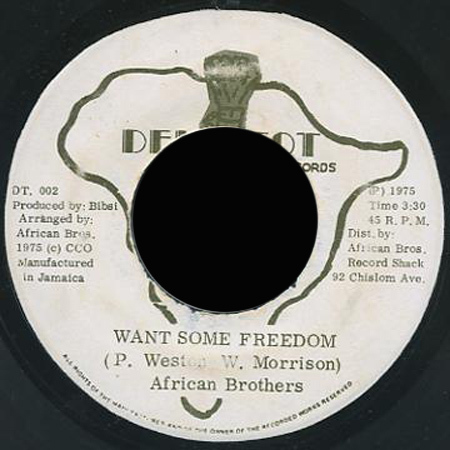 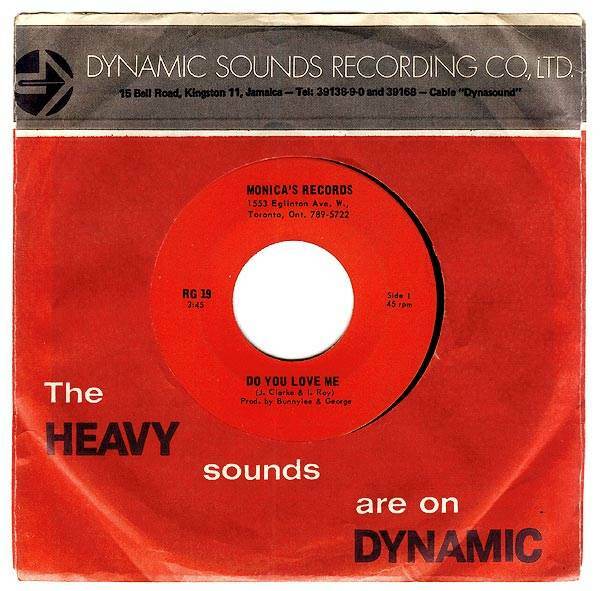 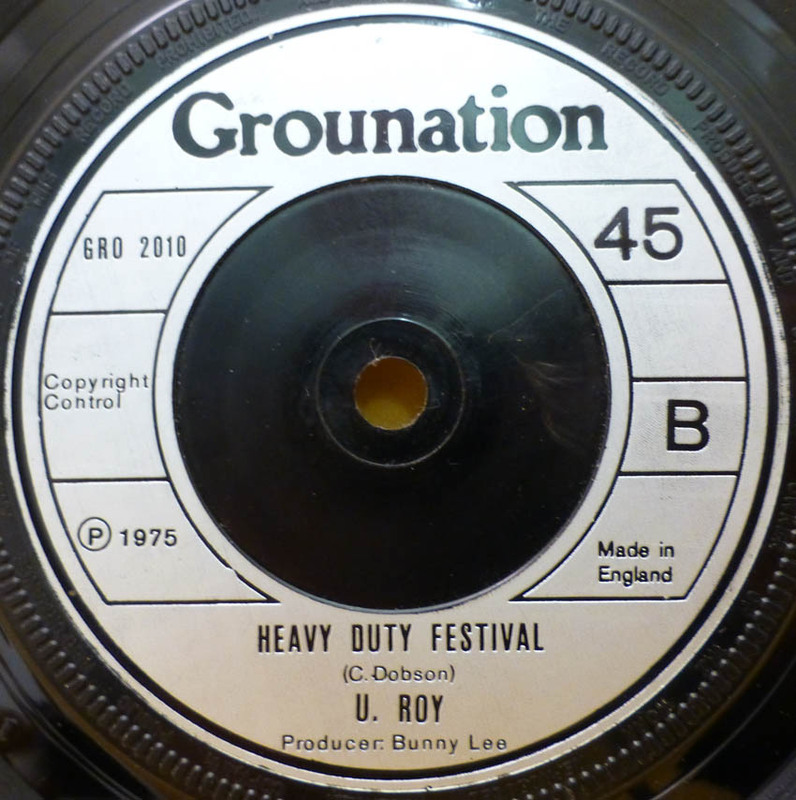 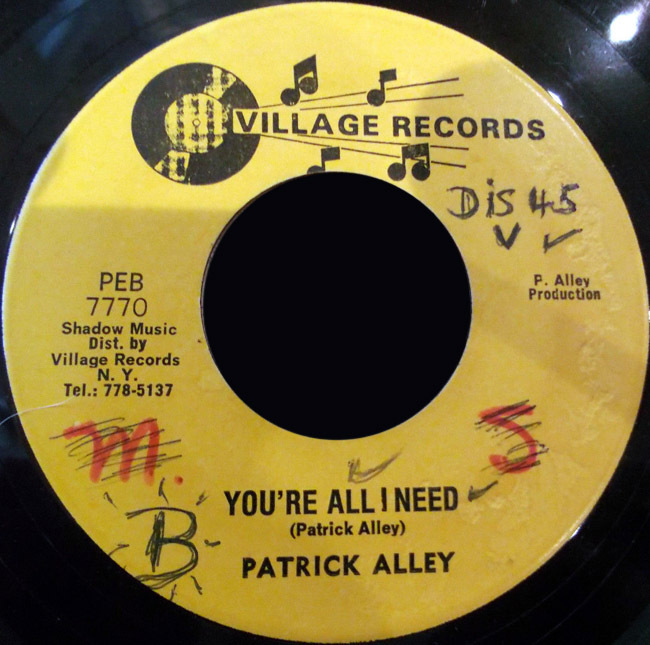 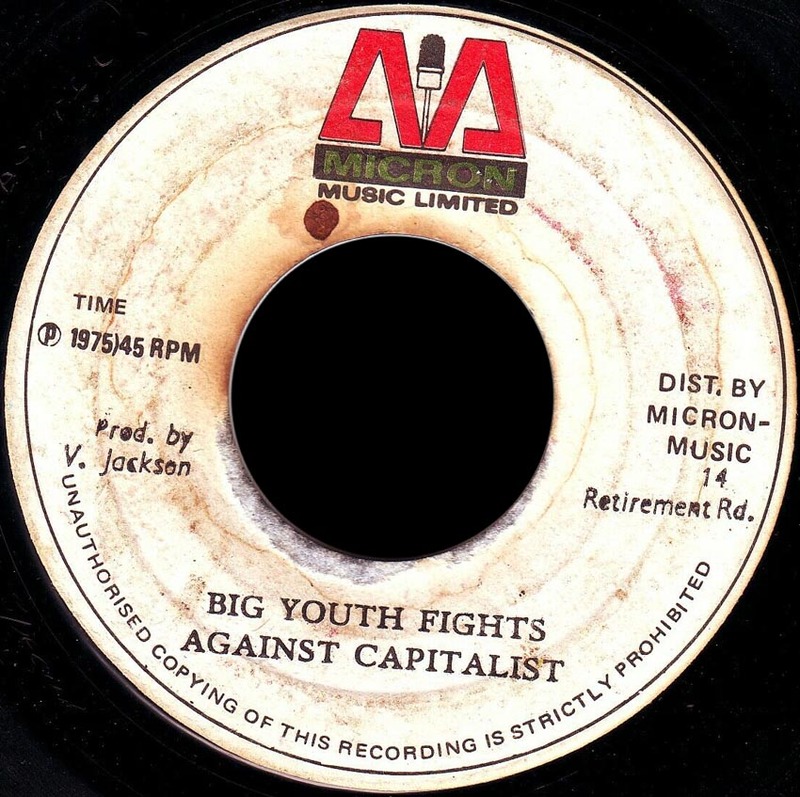 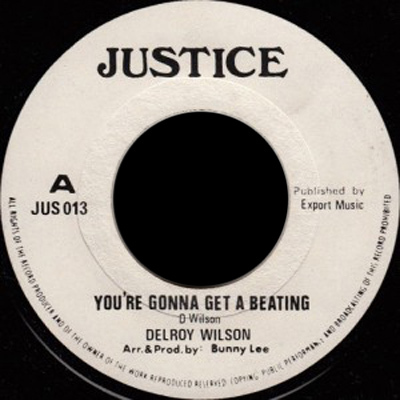 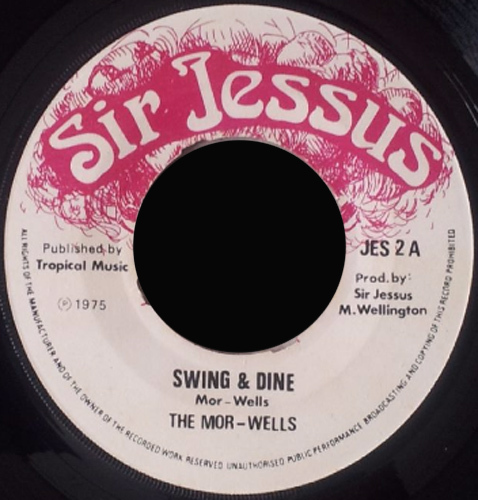 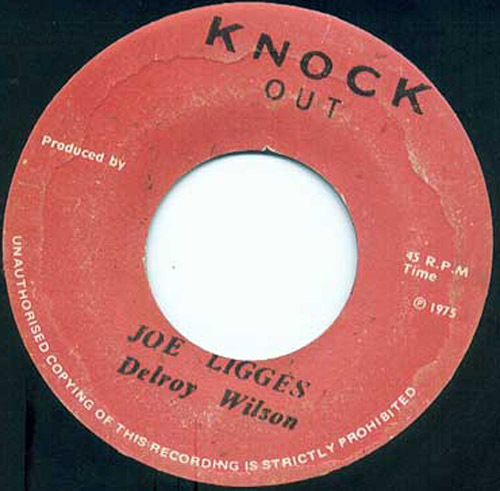 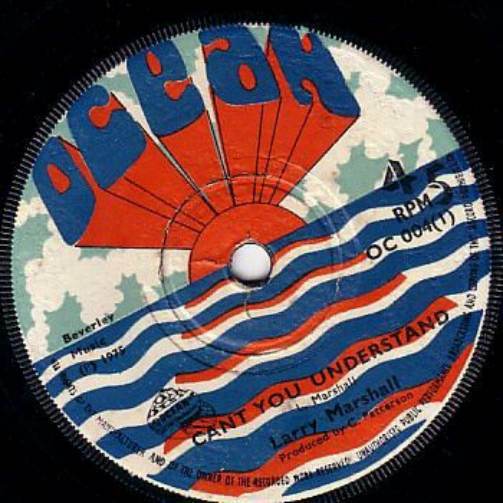 7" You're Gonna Get A Beating Delroy Wilson Beating Version Delroy Wilson US. 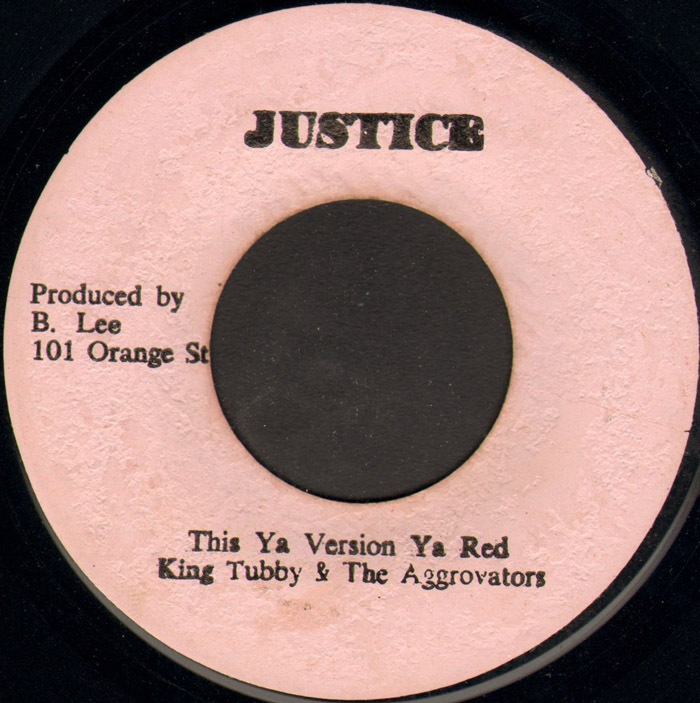 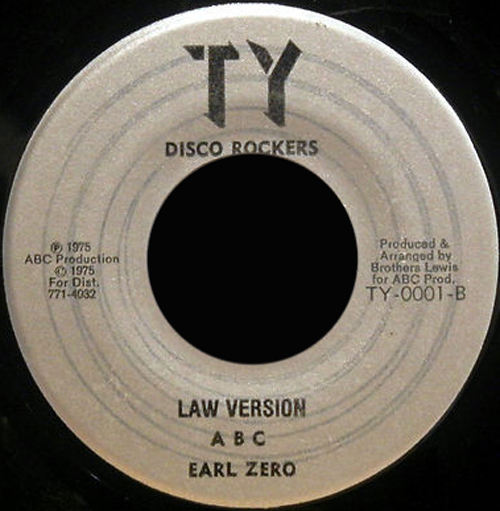 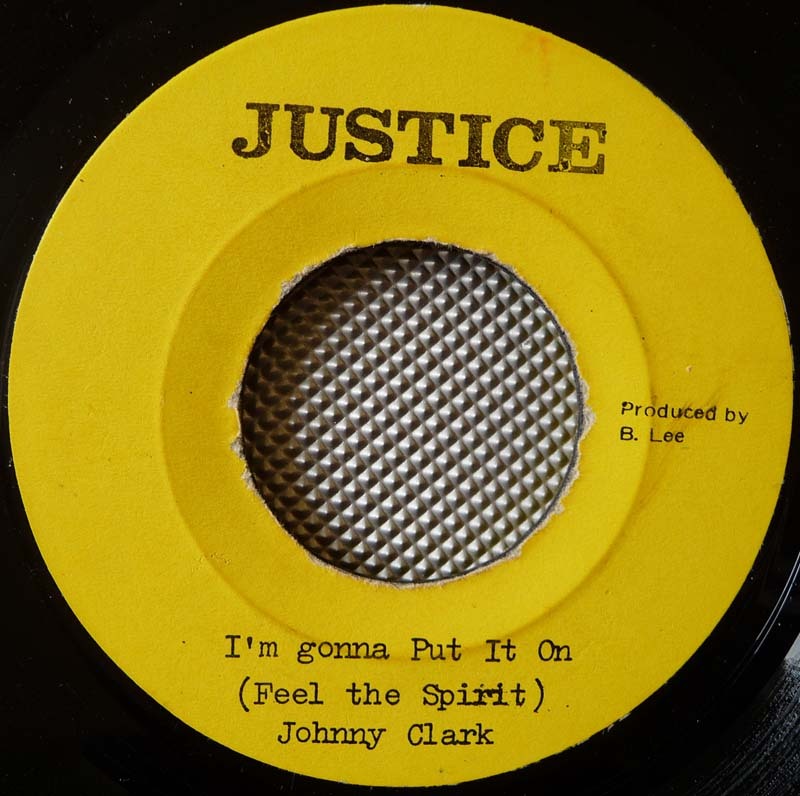 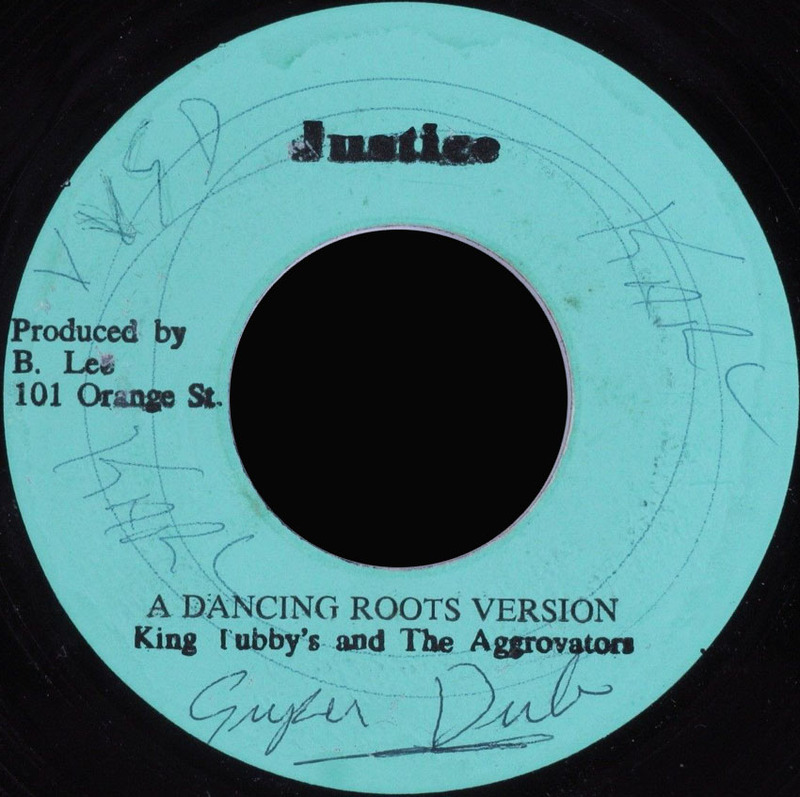 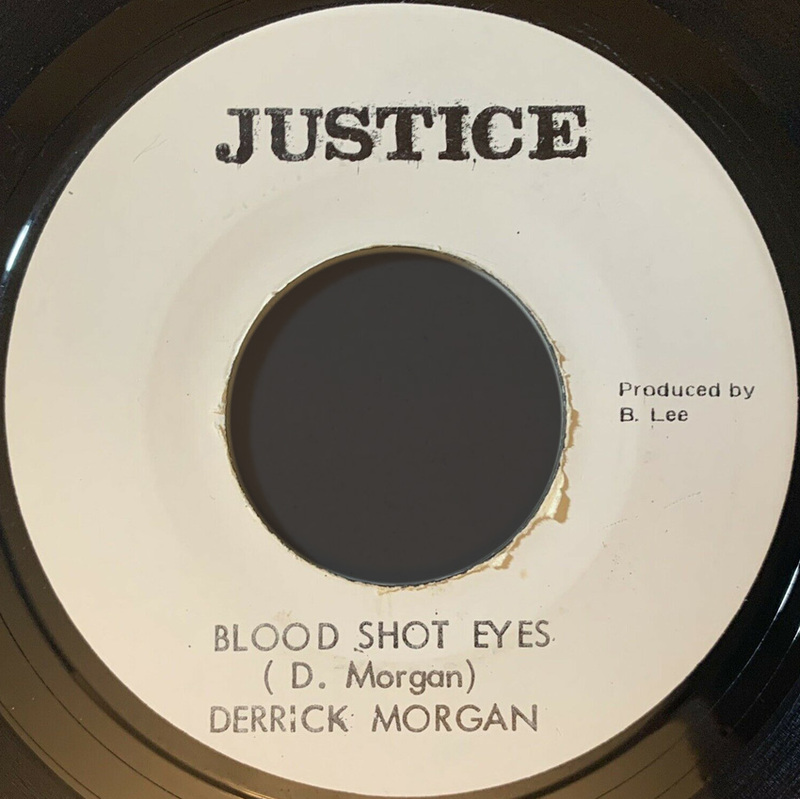 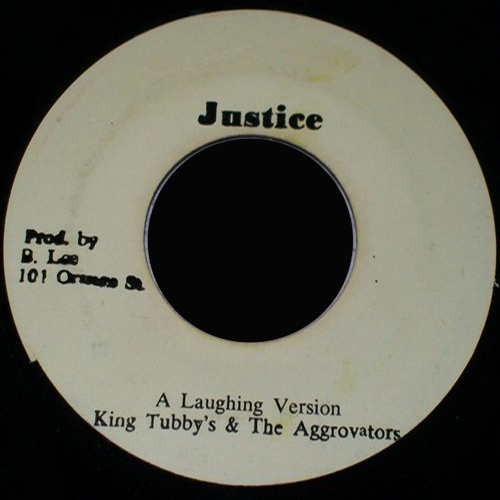 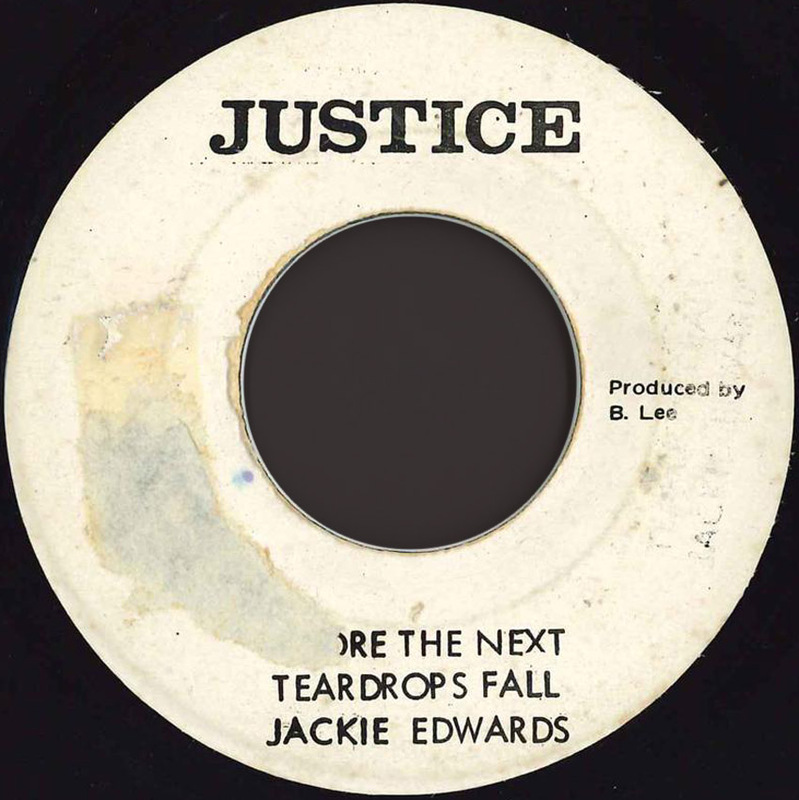 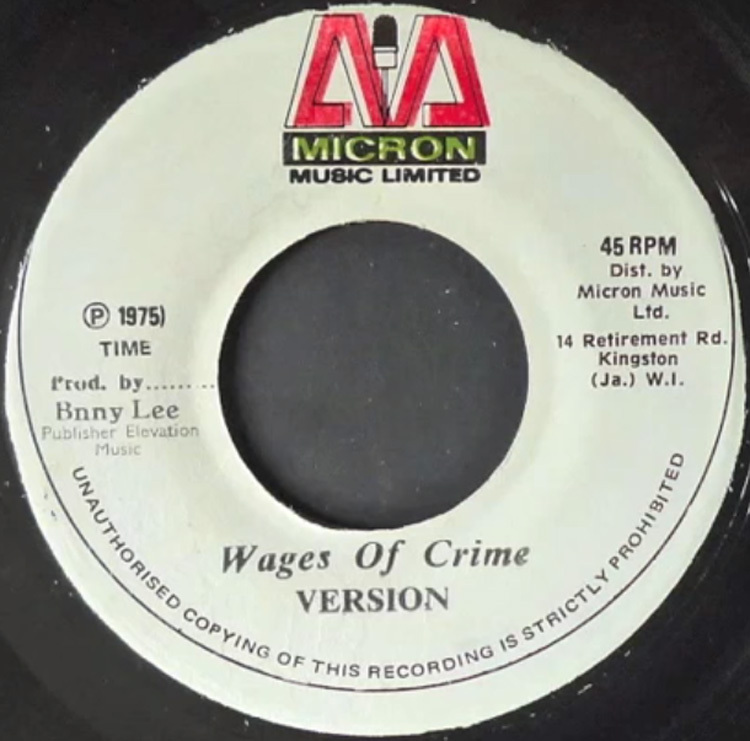 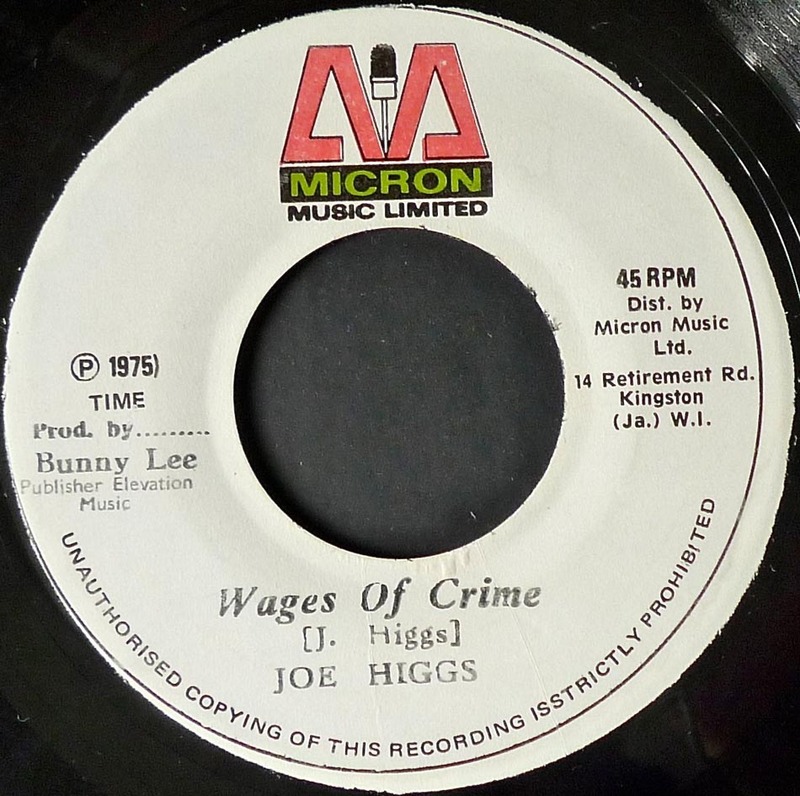 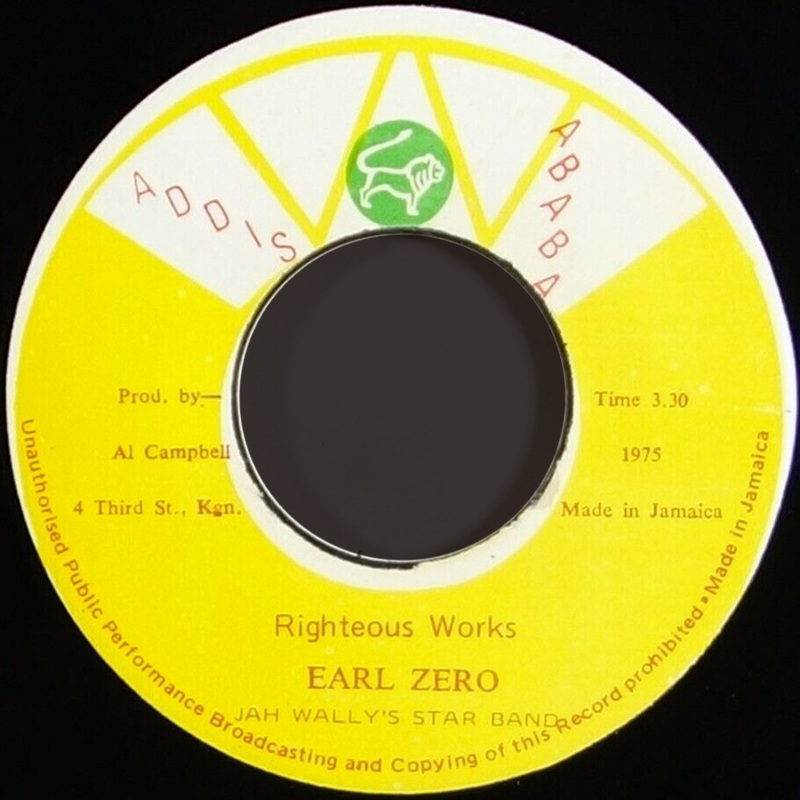 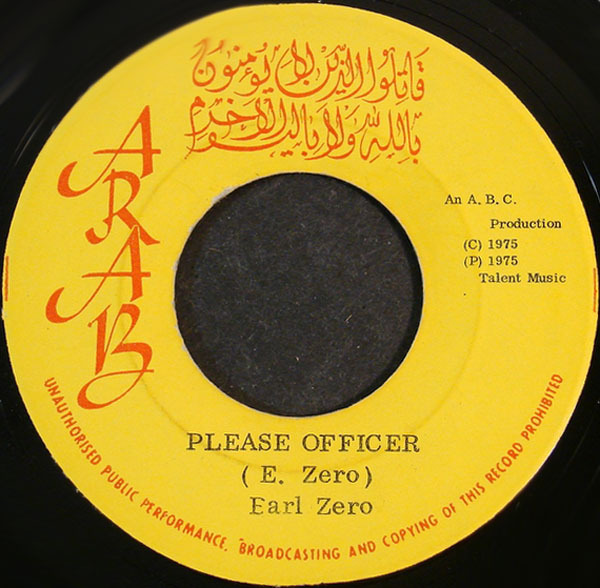 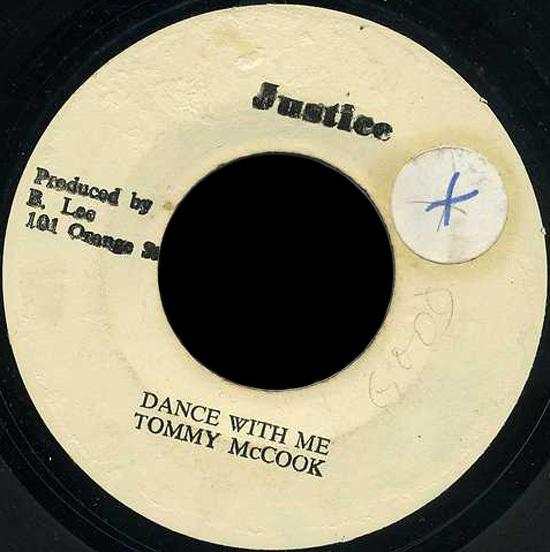 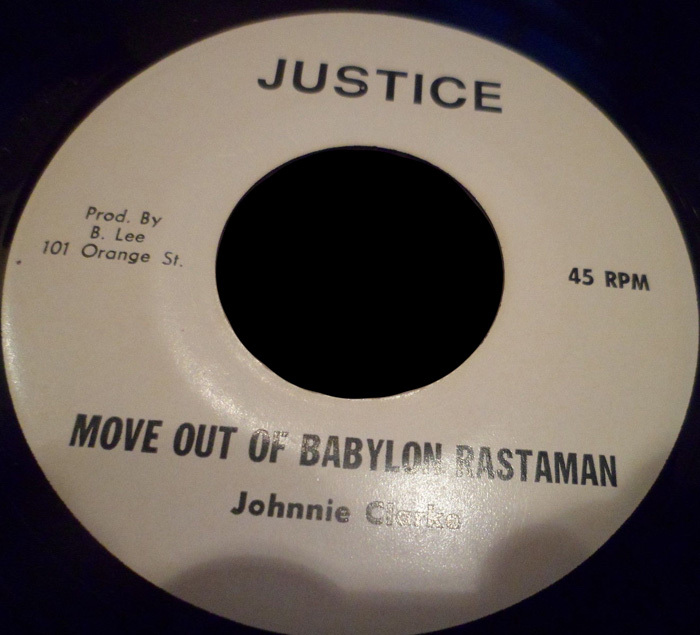 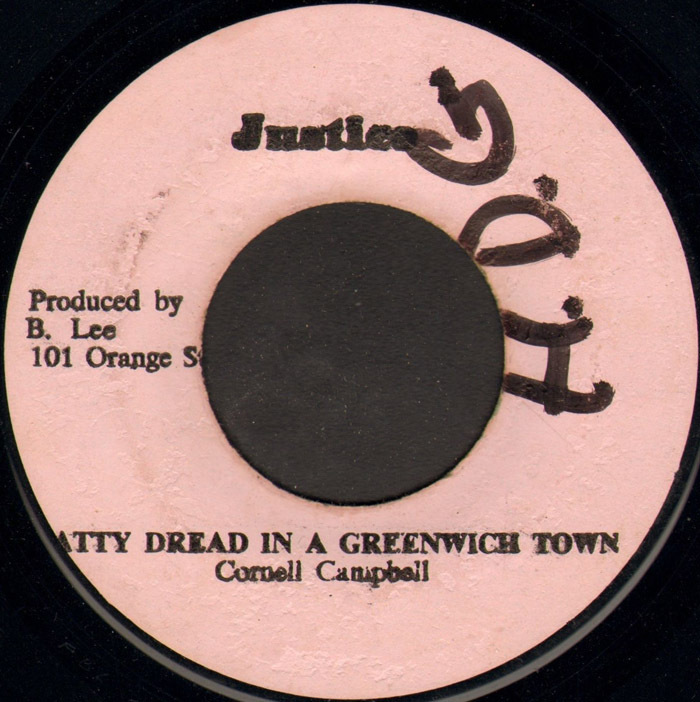 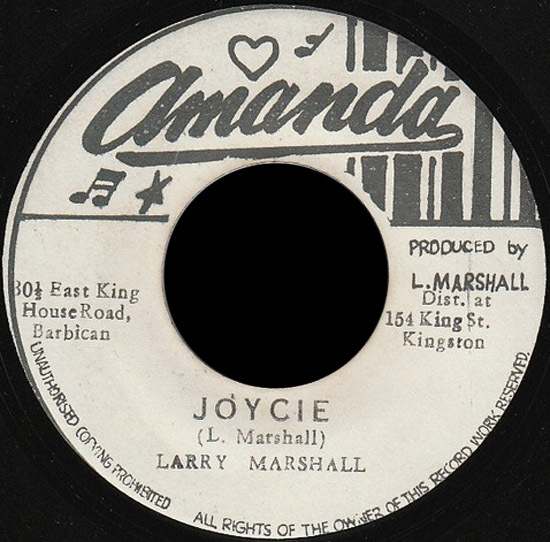 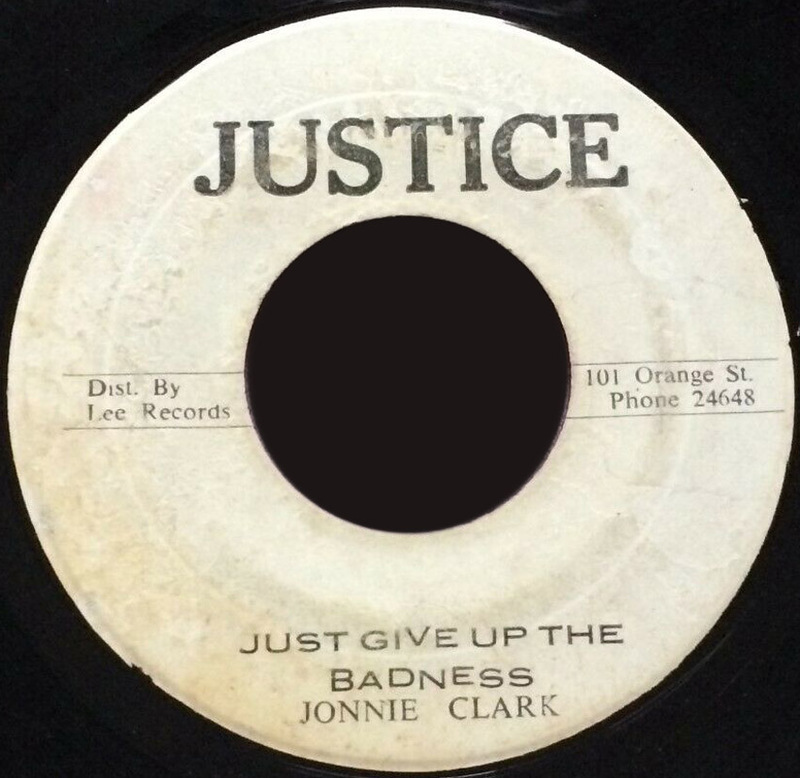 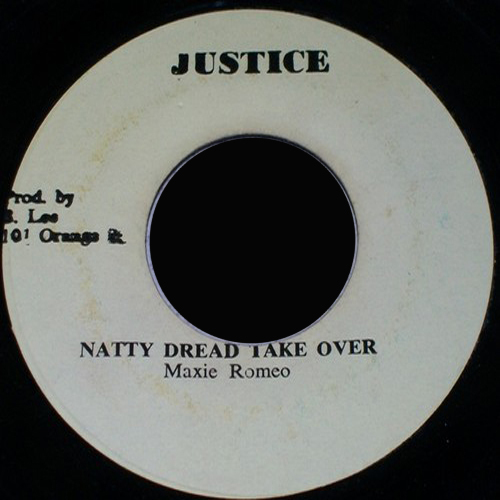 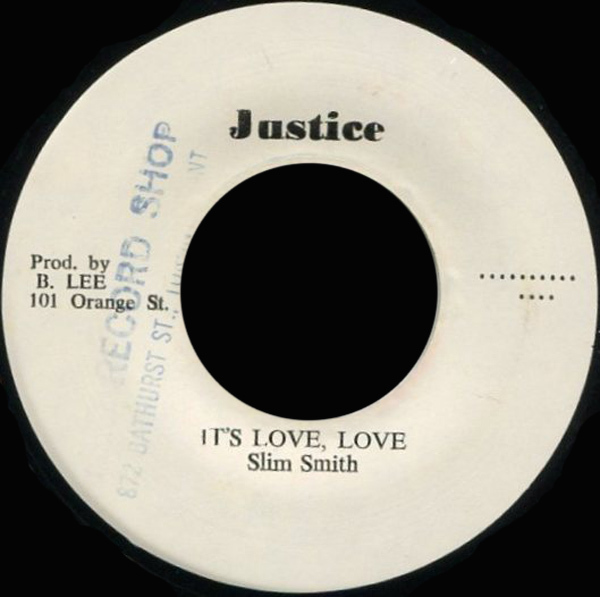 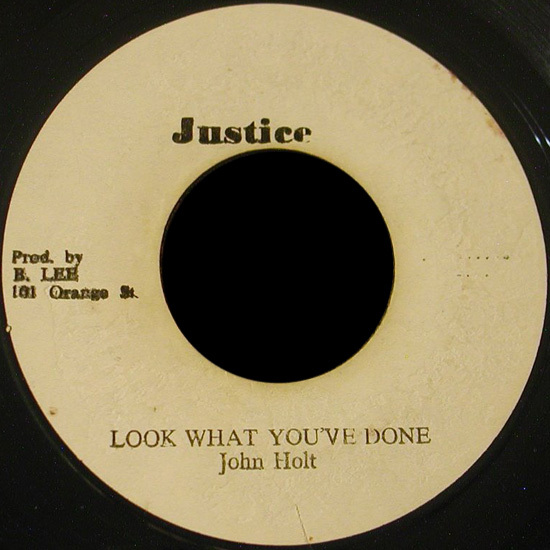 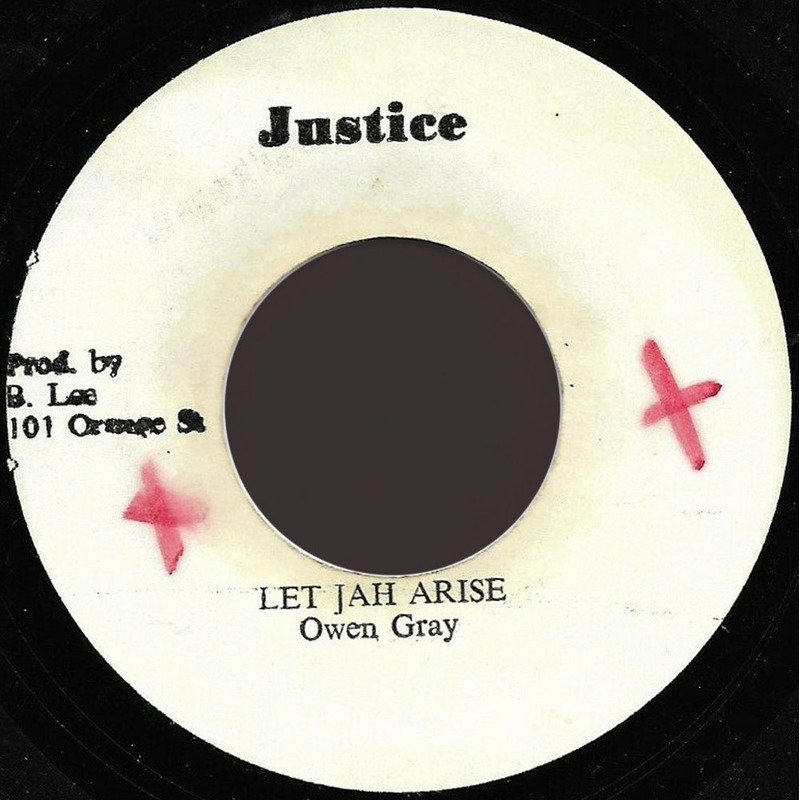 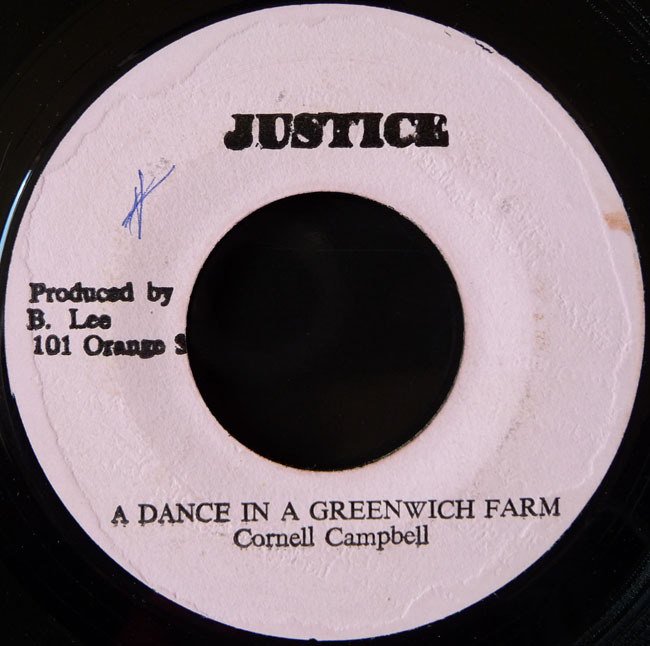 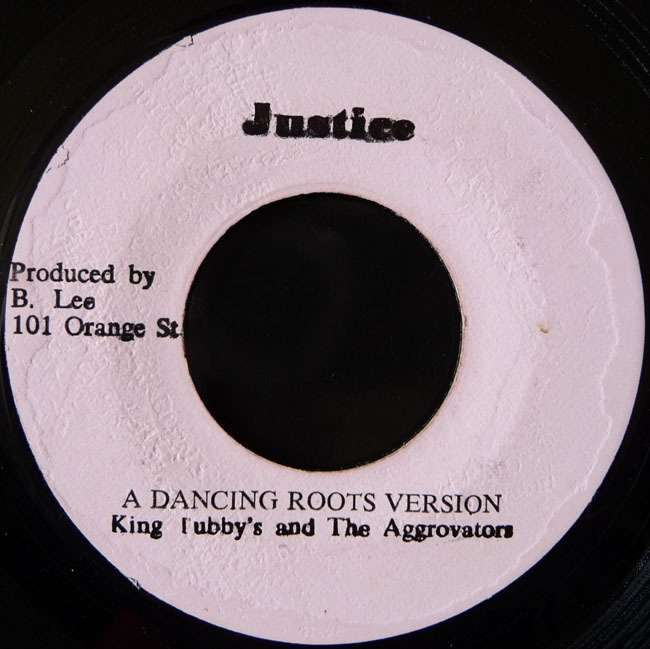 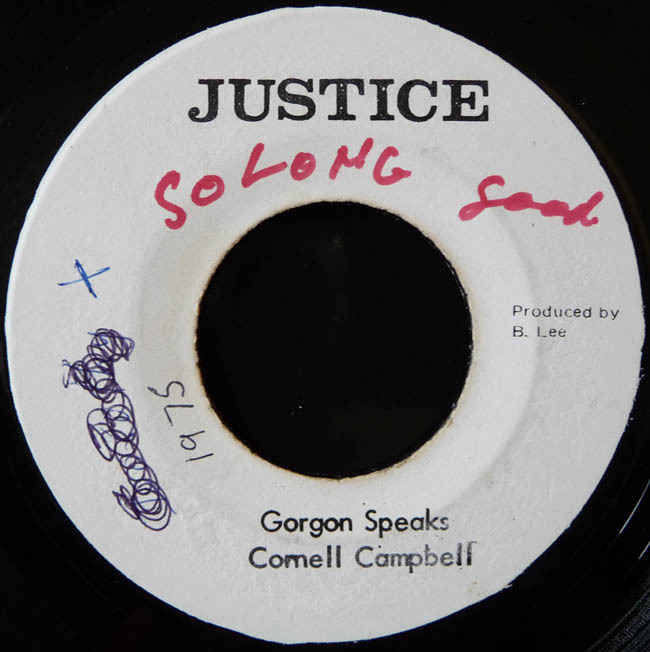 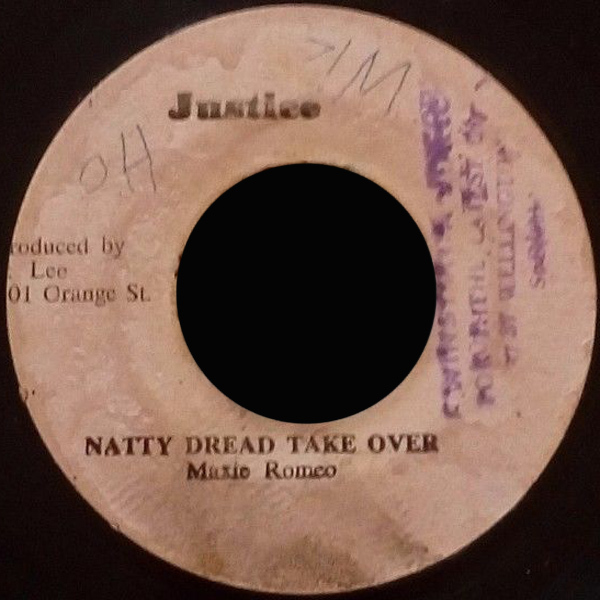 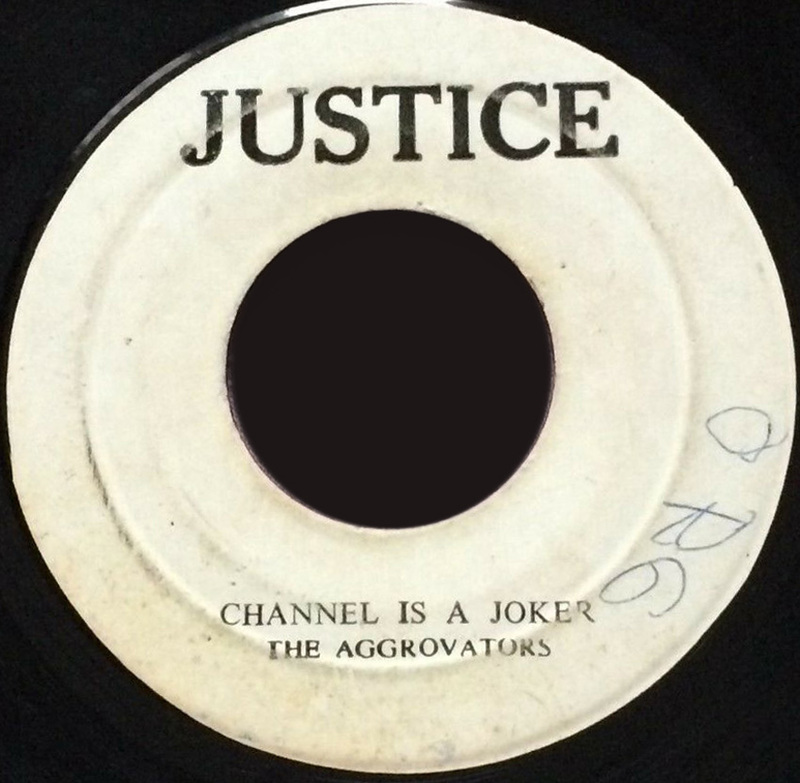 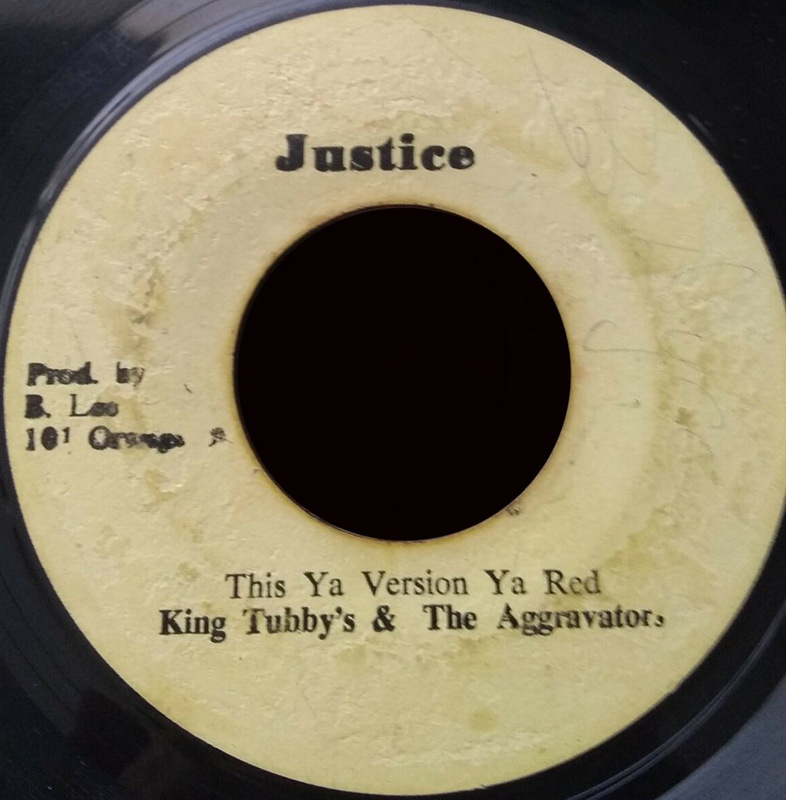 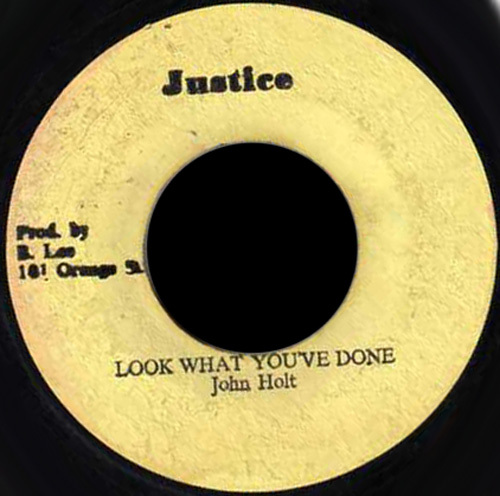 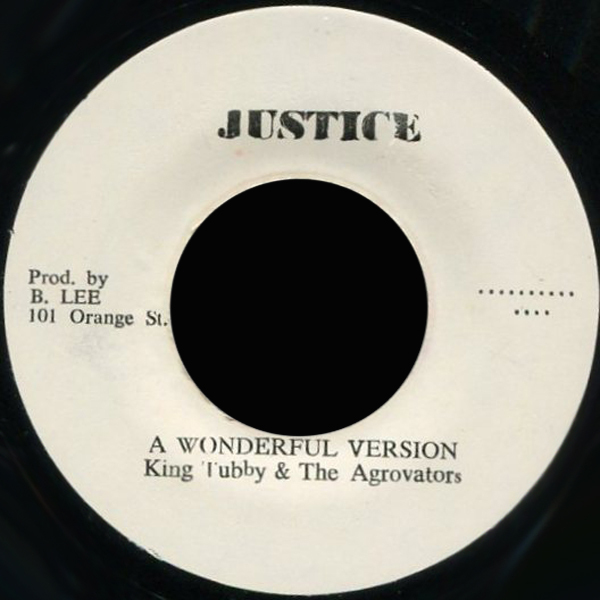 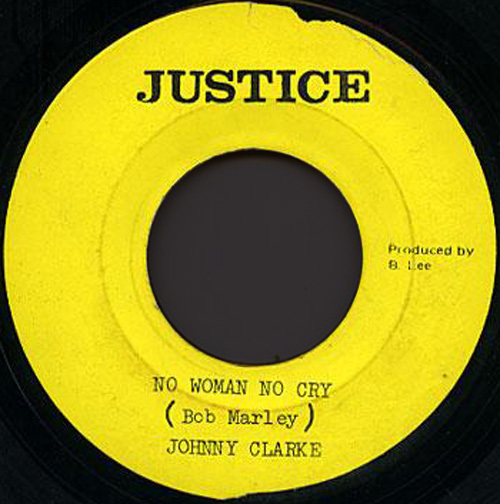 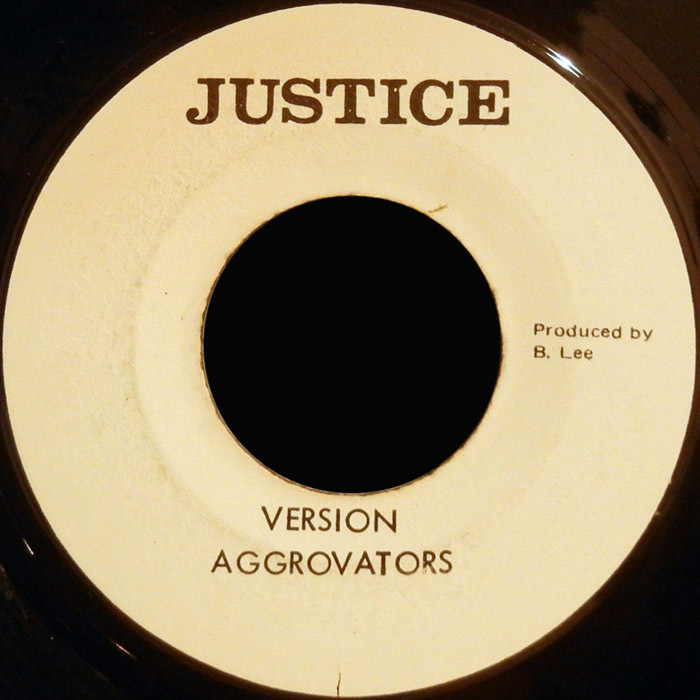 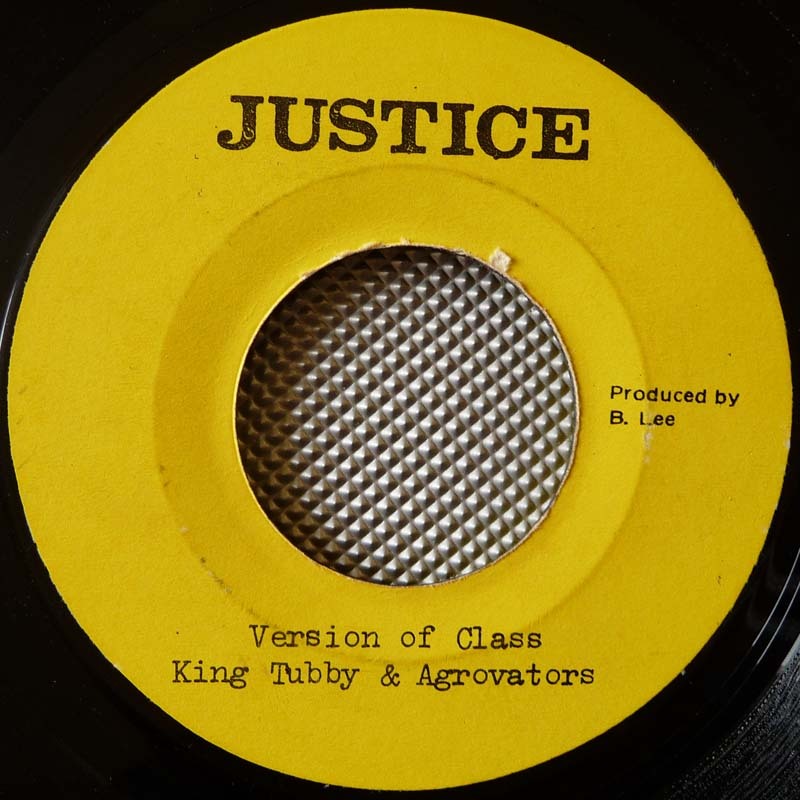 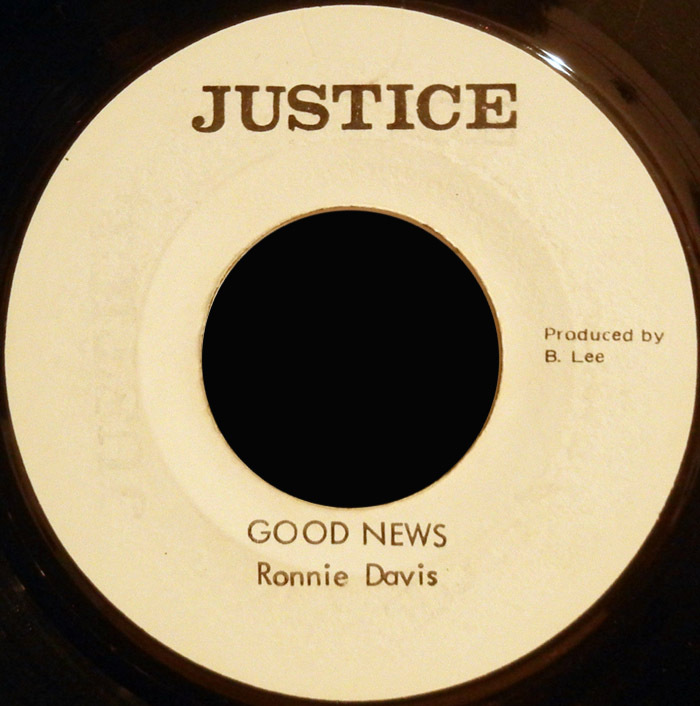 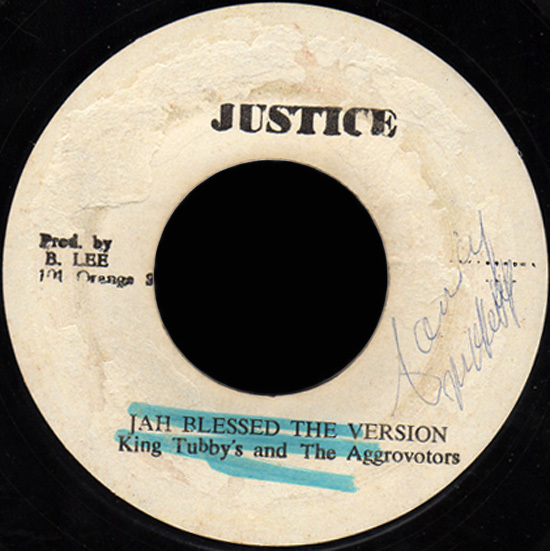 Justice JUS 013 Bunny Lee Pr.